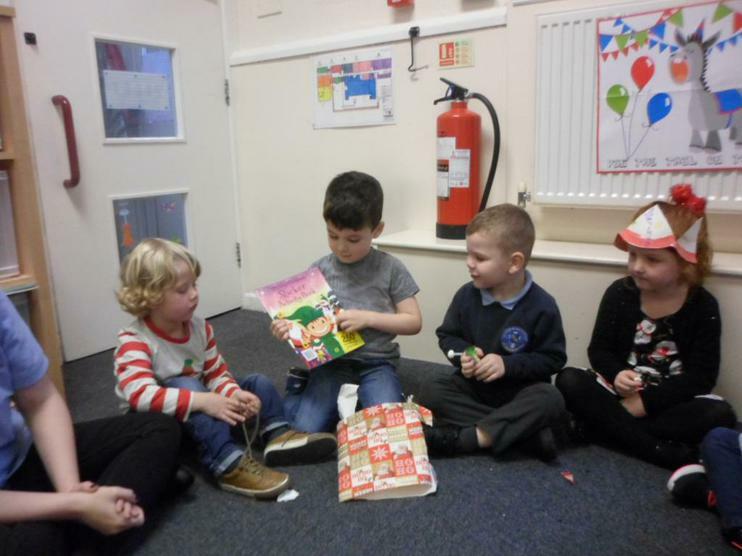 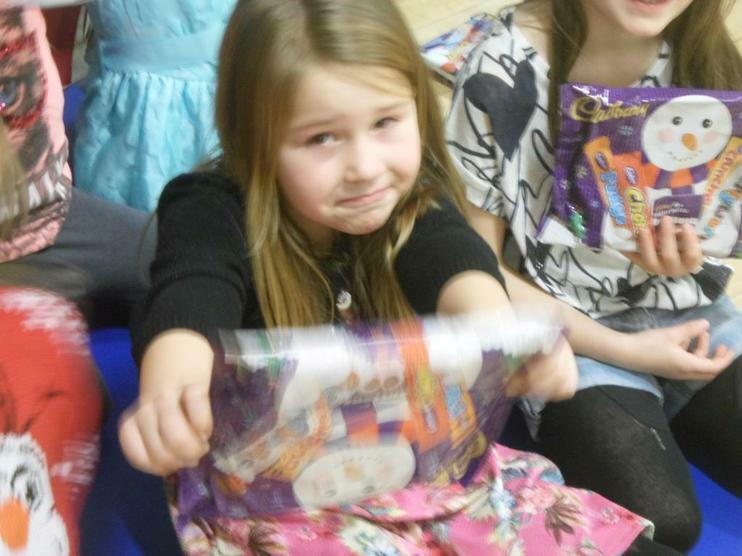 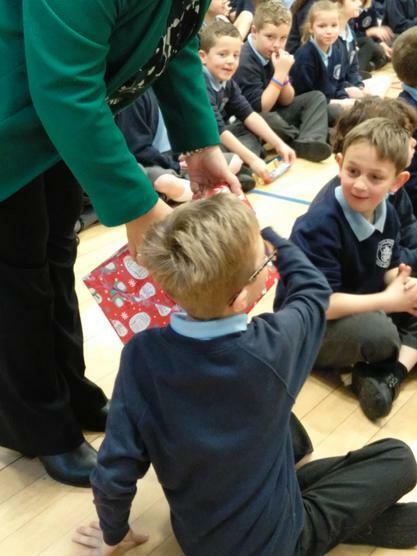 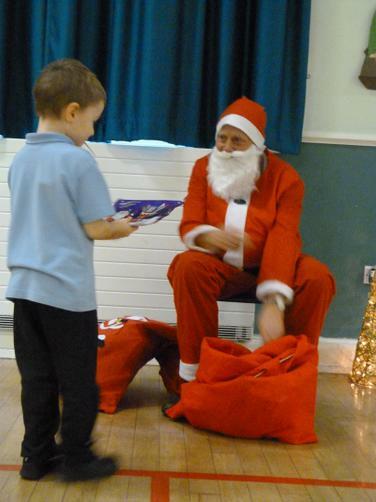 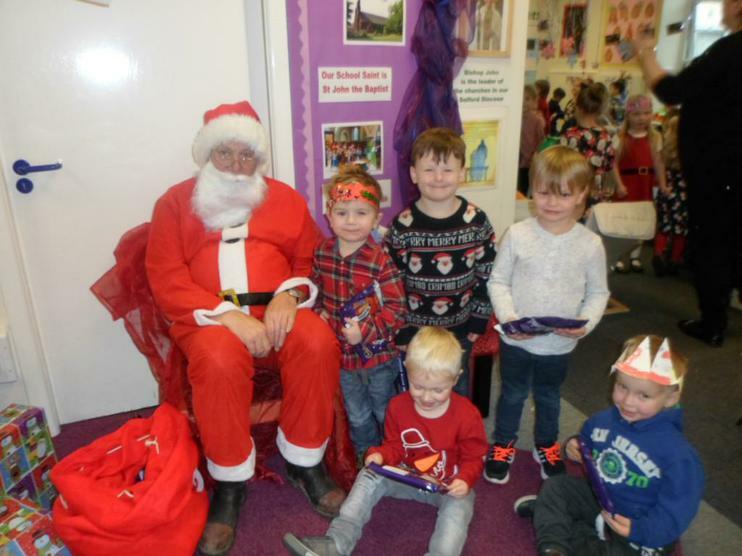 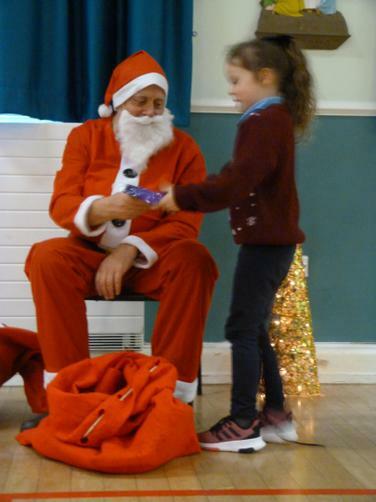 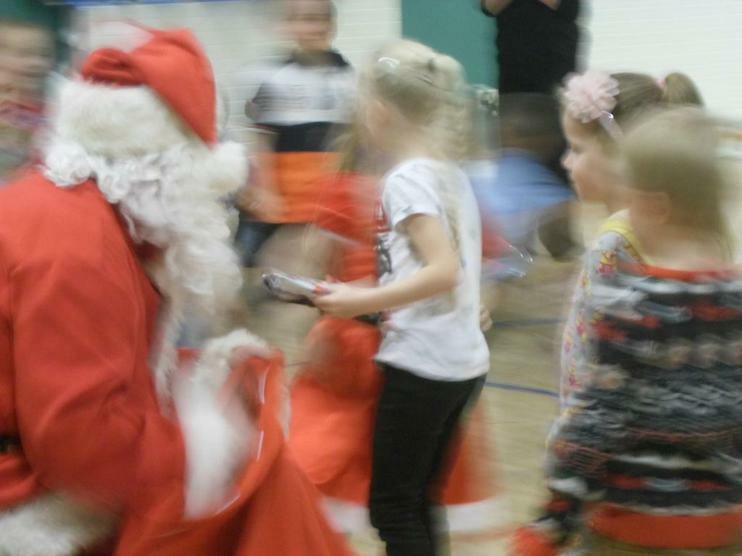 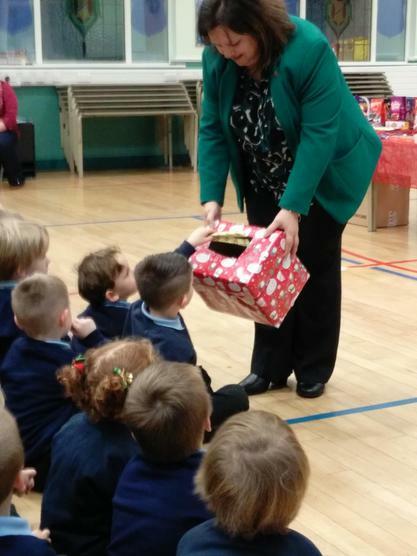 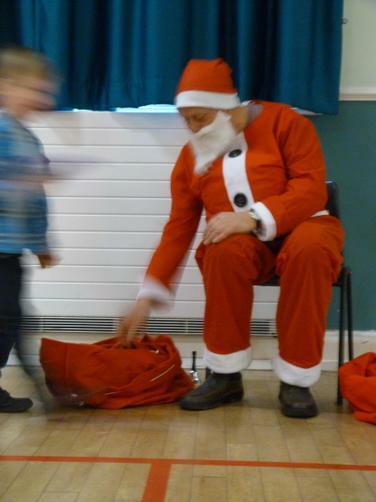 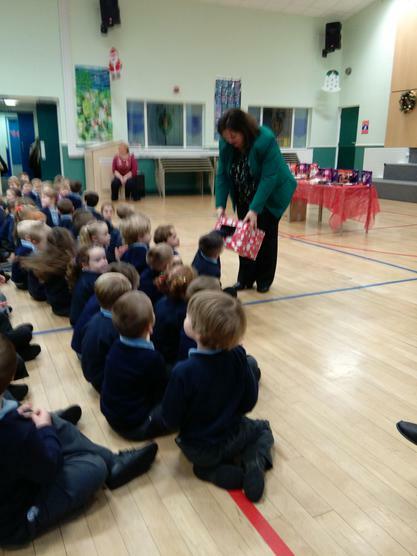 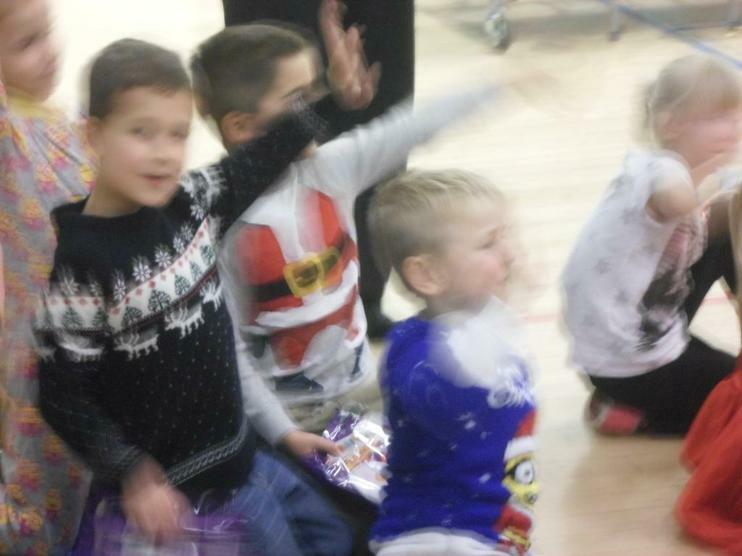 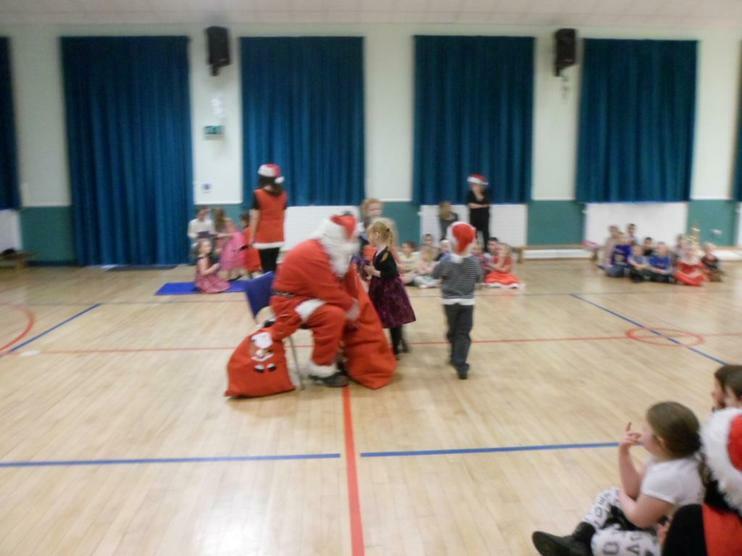 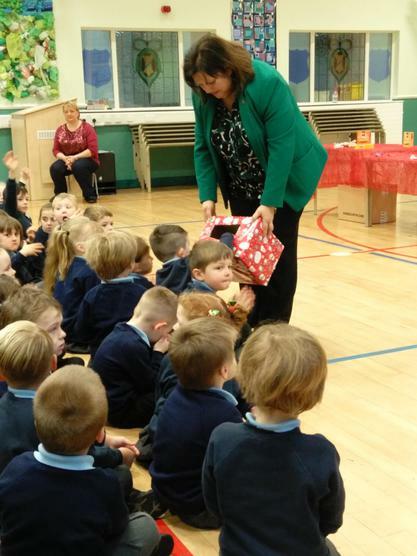 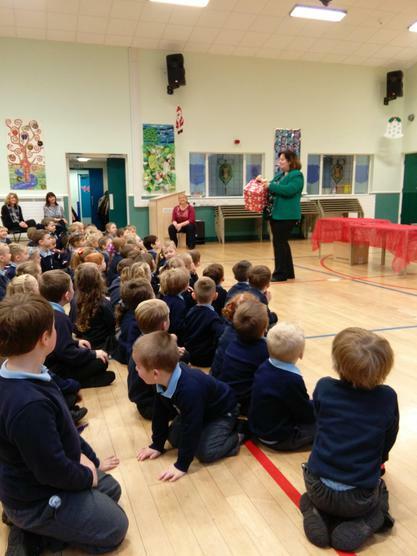 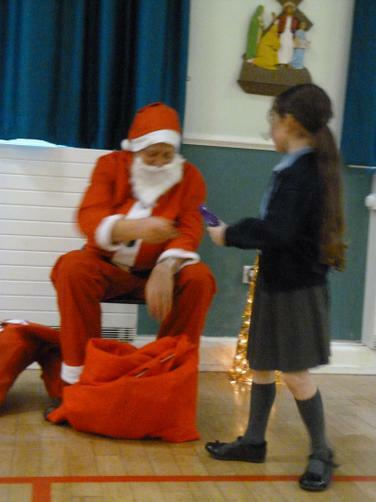 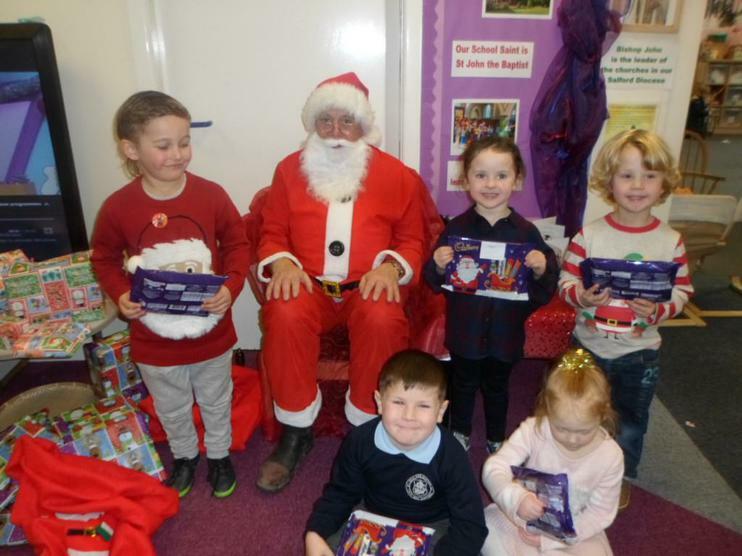 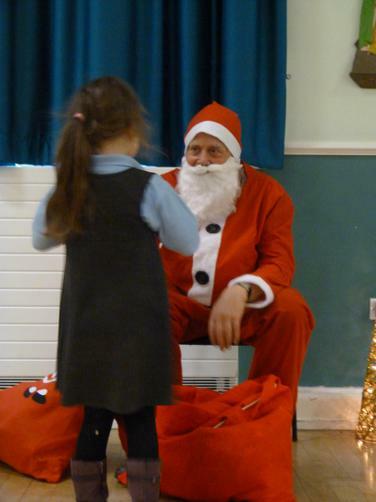 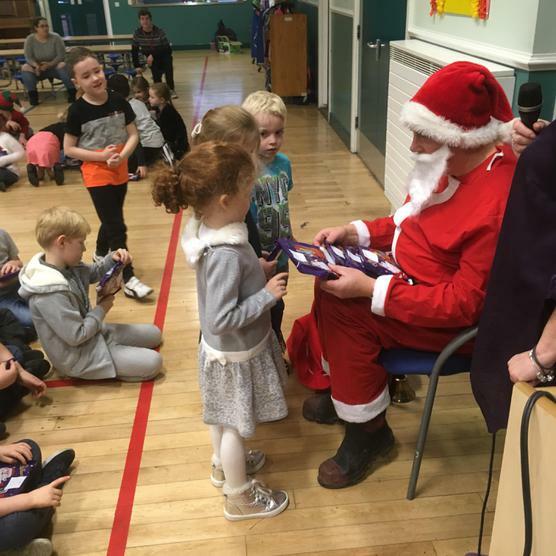 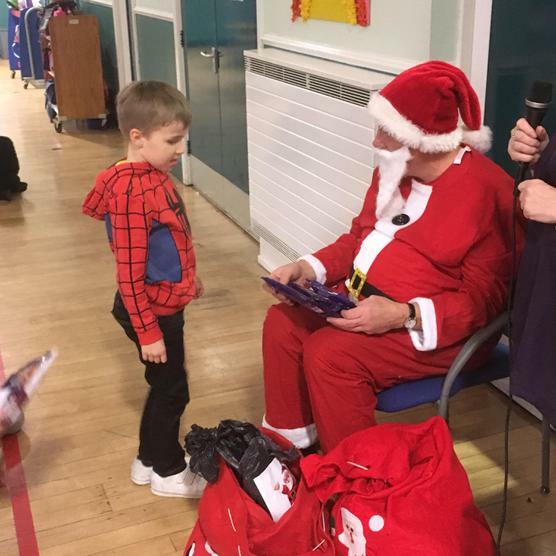 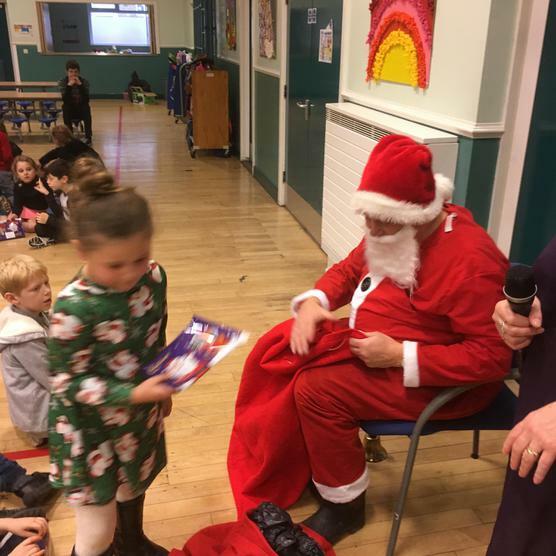 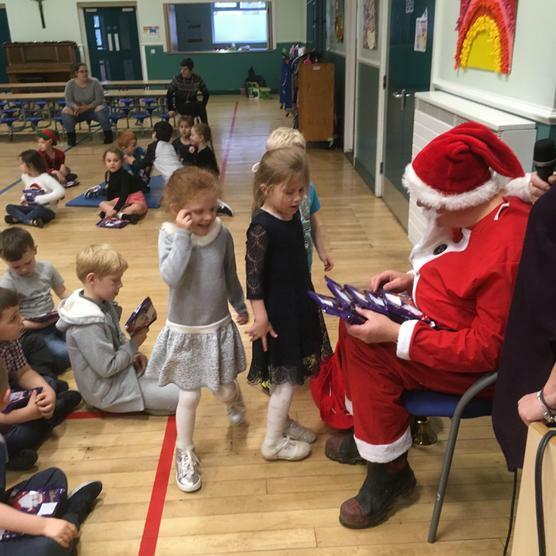 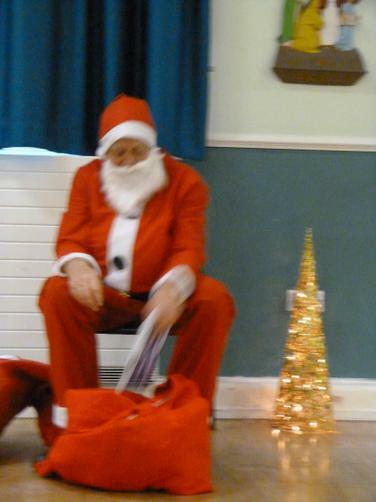 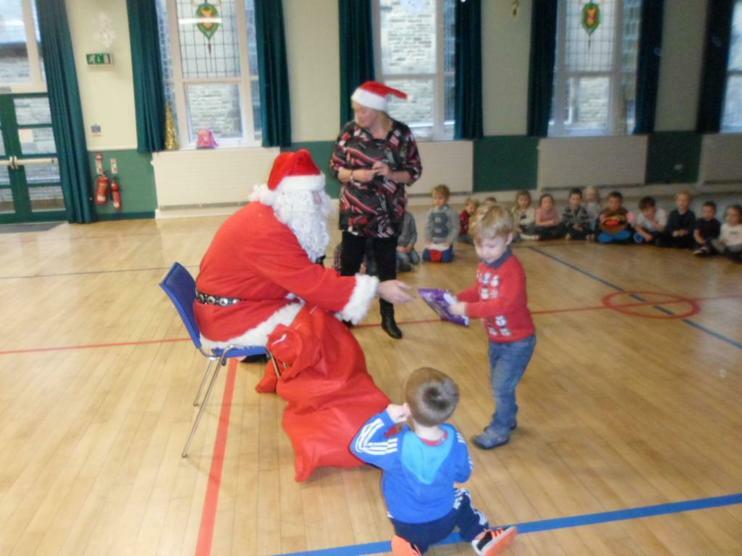 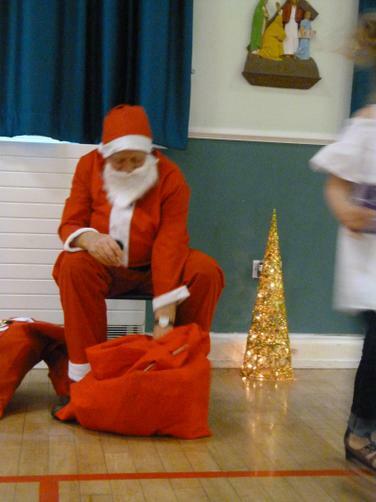 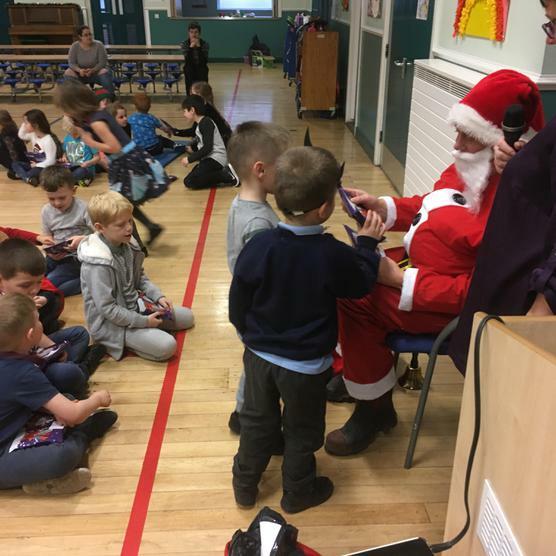 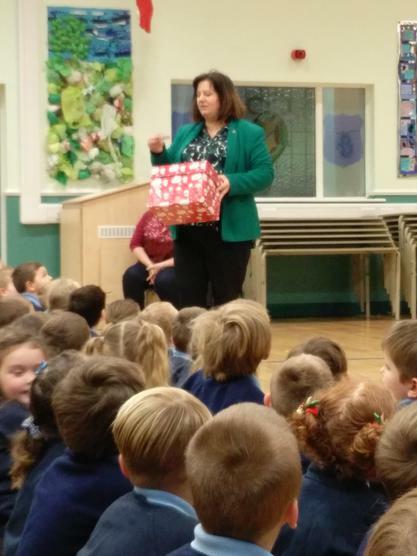 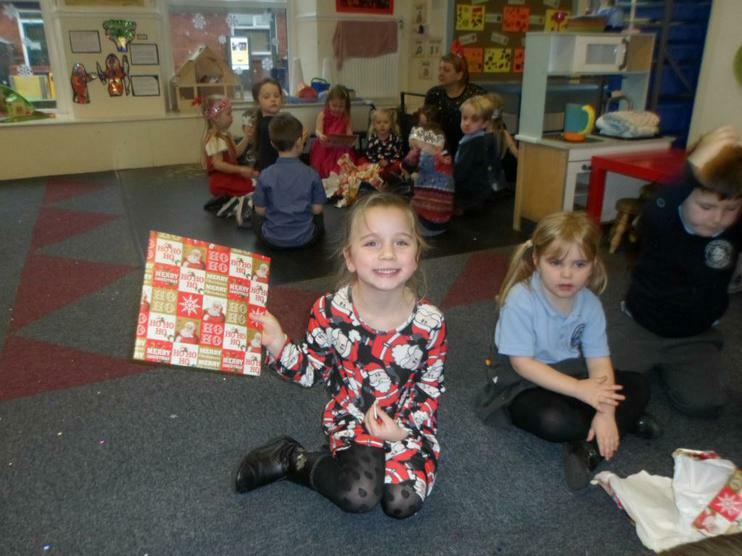 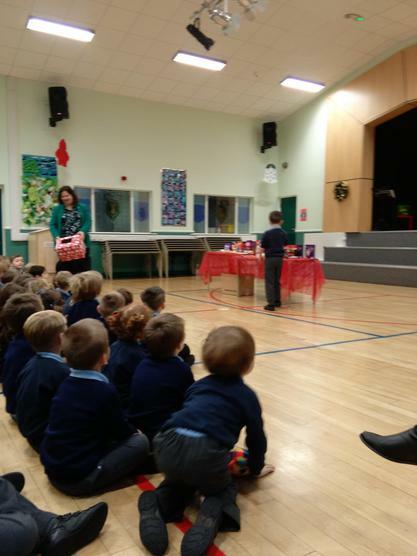 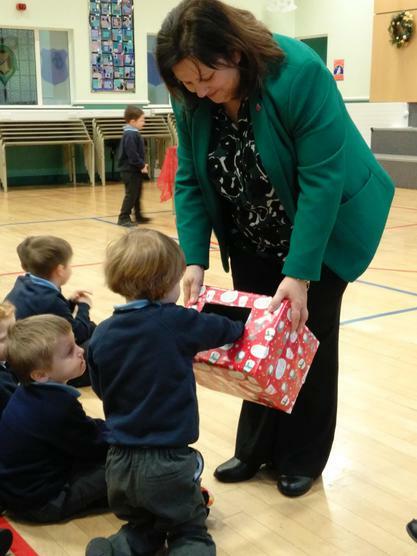 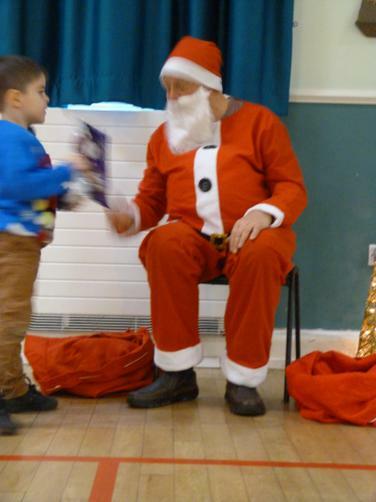 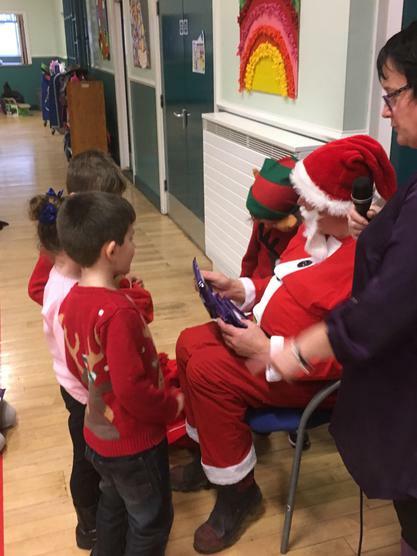 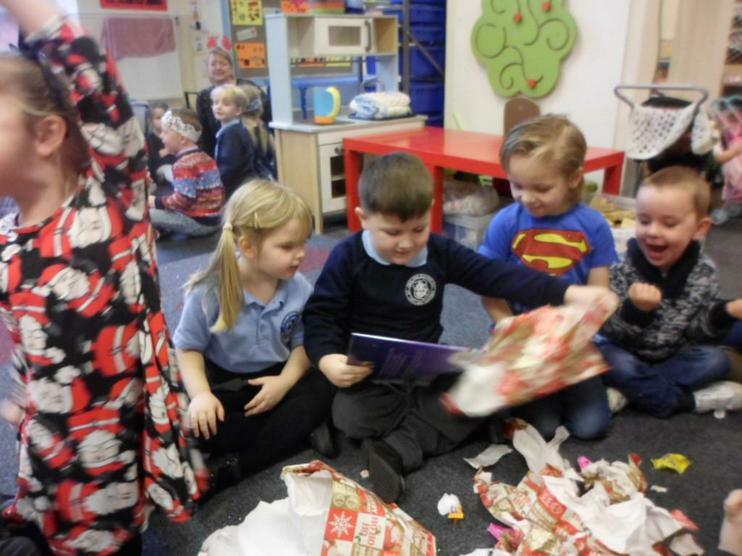 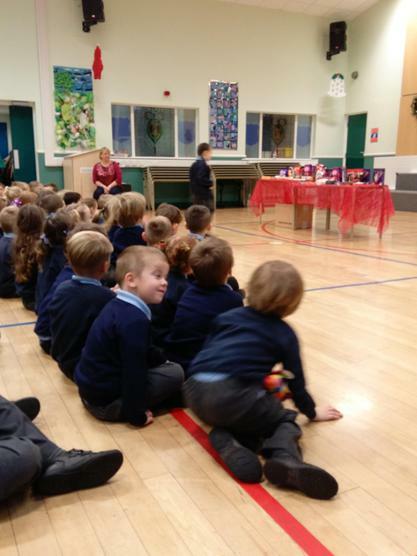 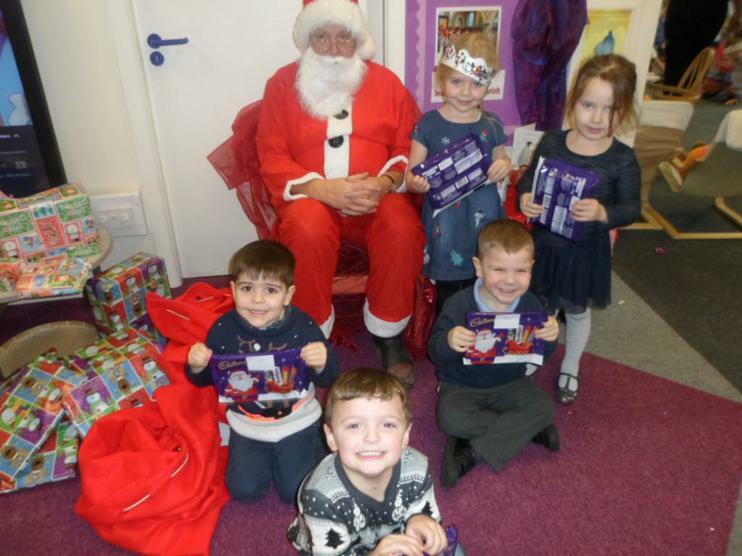 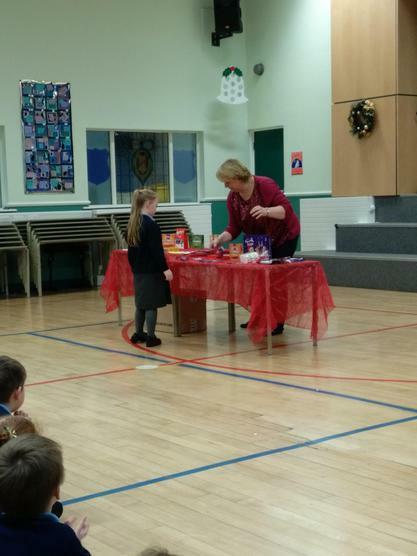 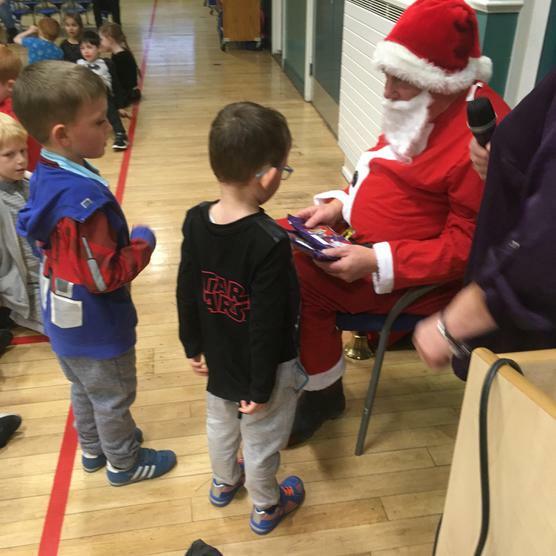 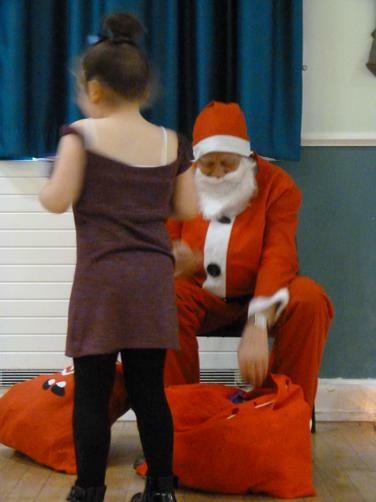 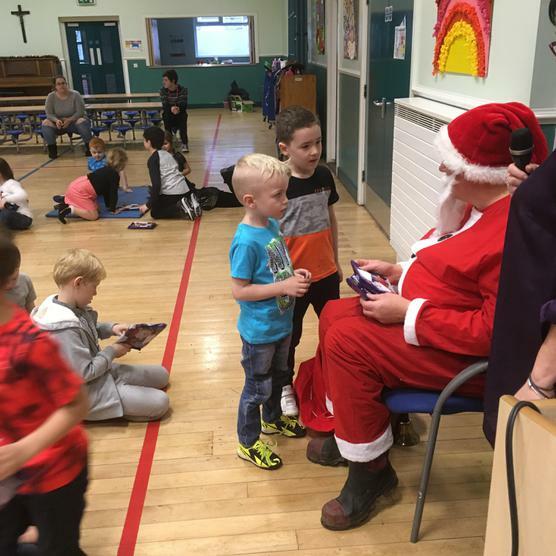 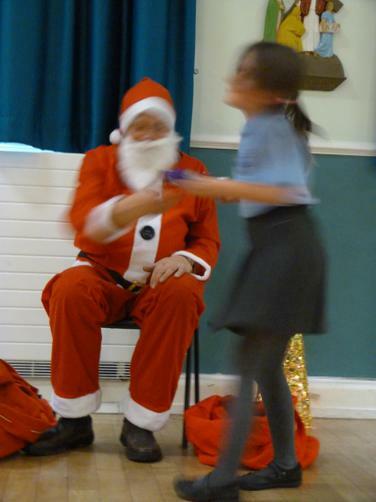 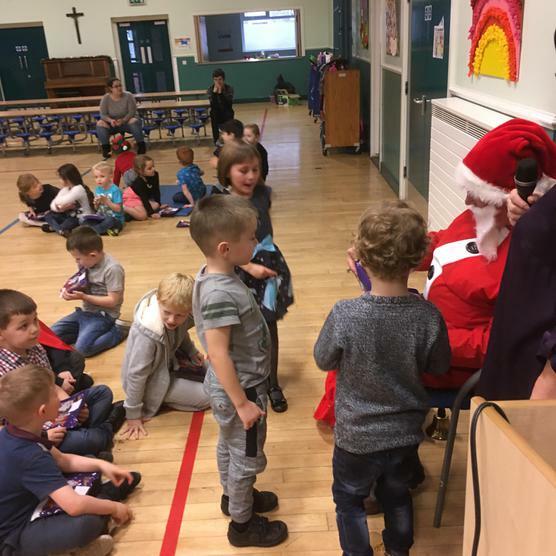 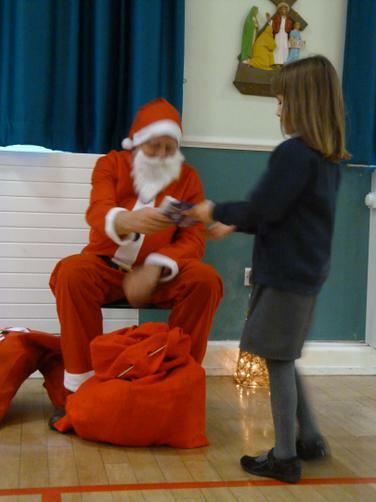 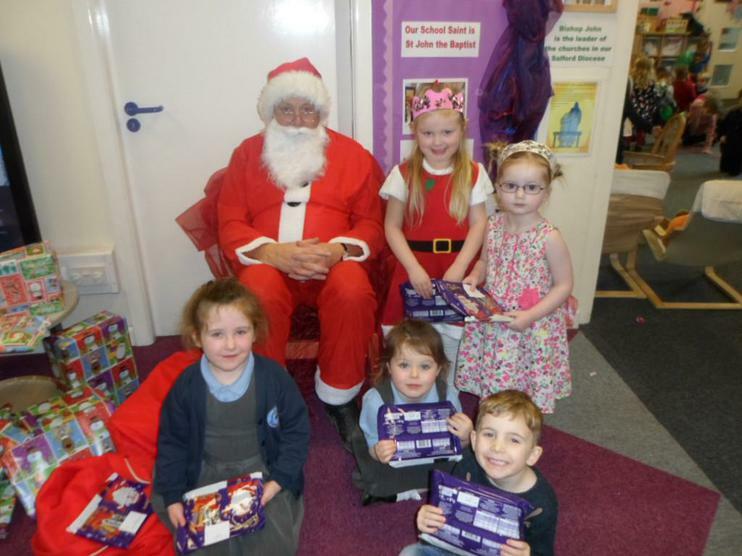 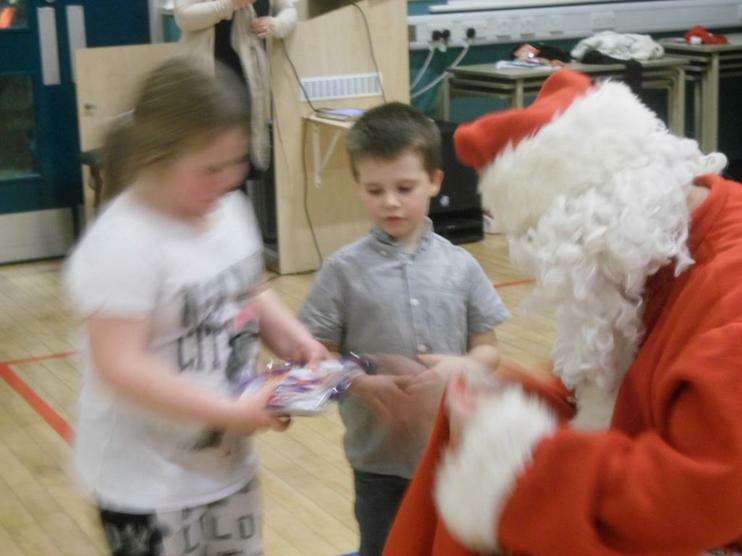 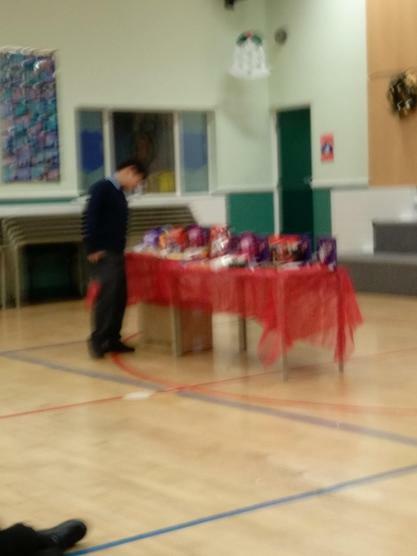 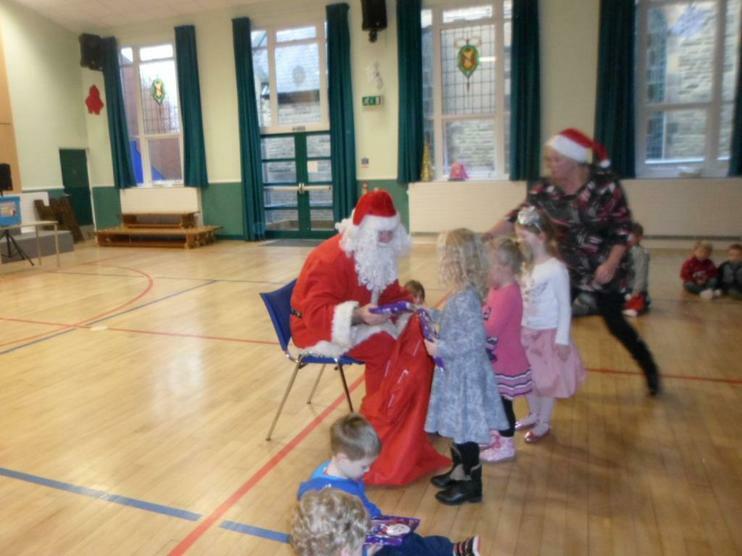 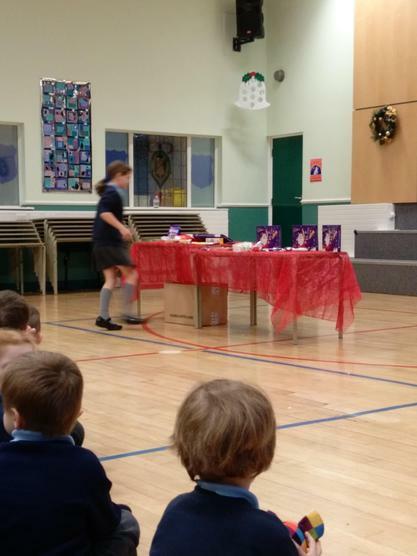 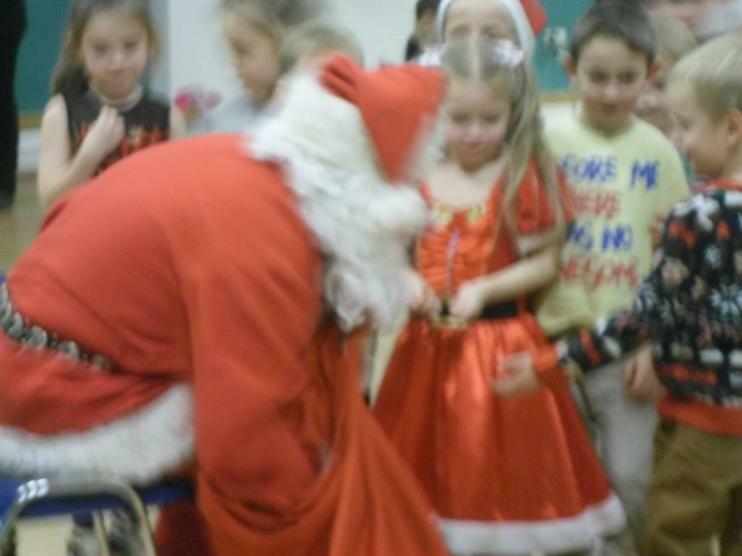 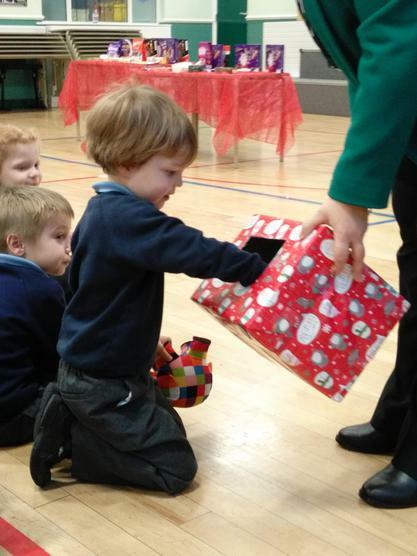 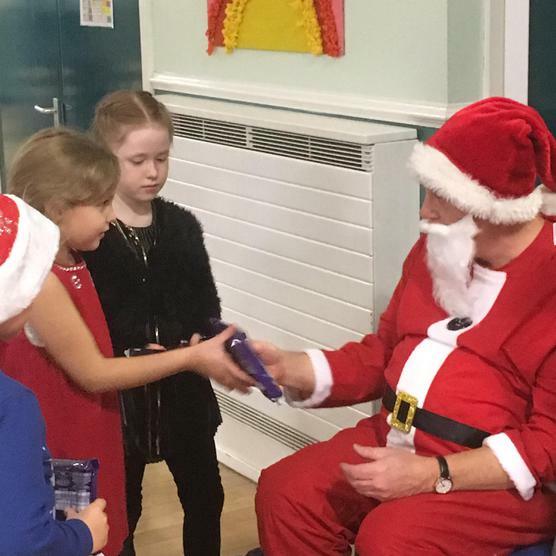 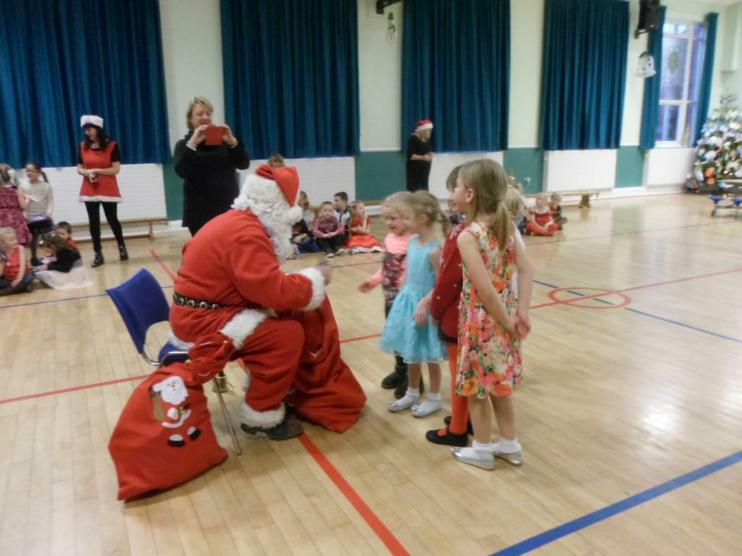 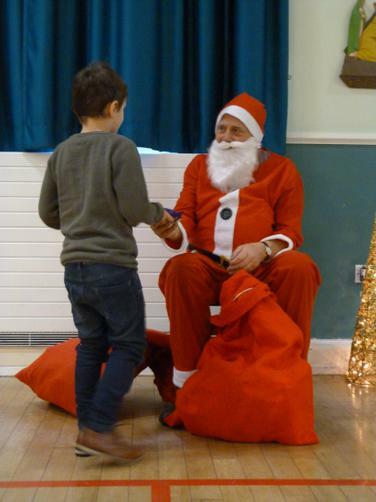 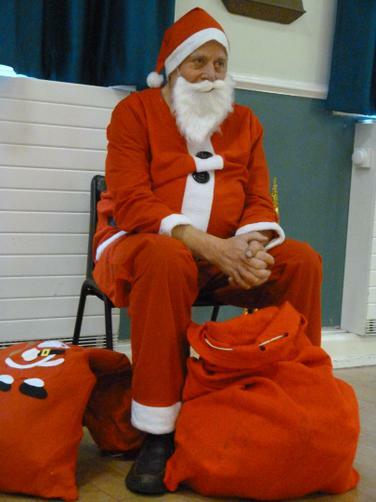 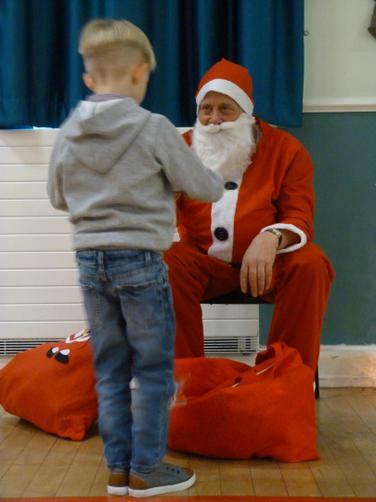 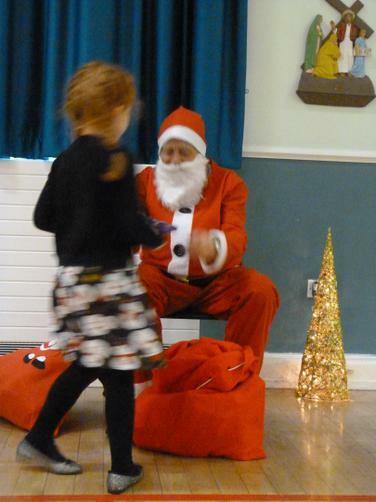 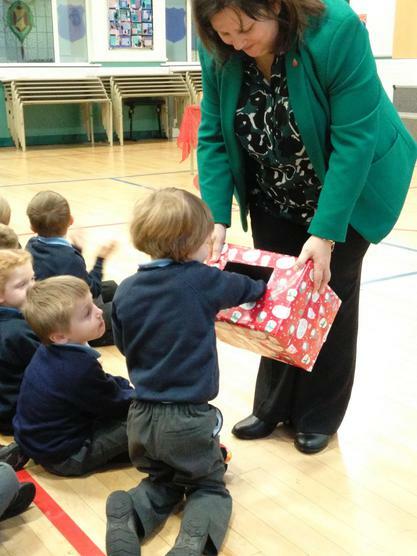 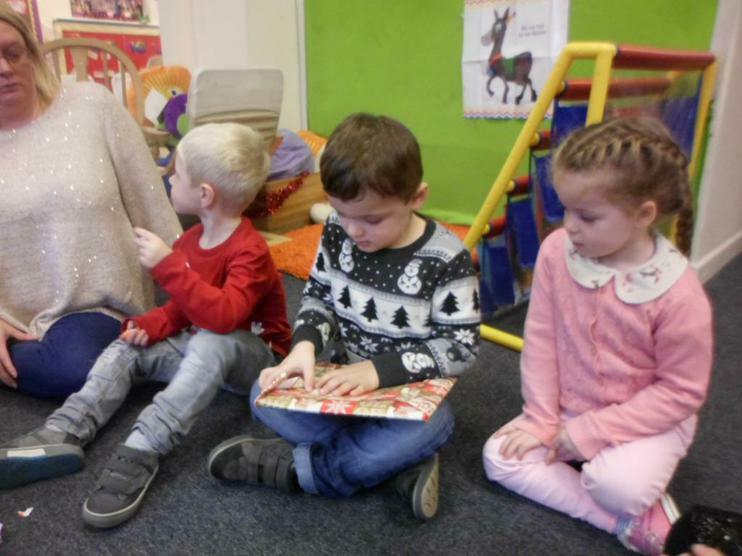 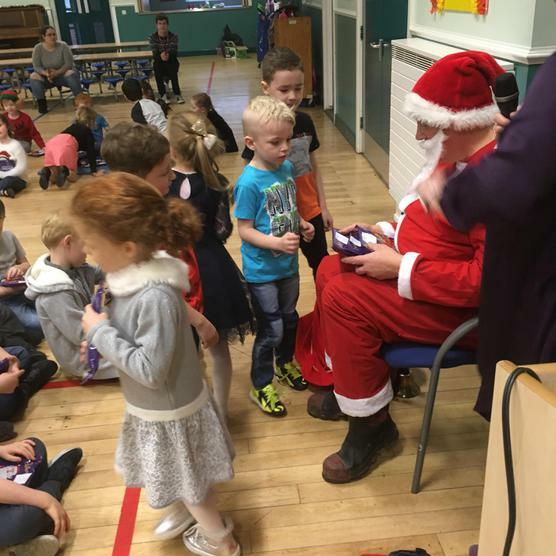 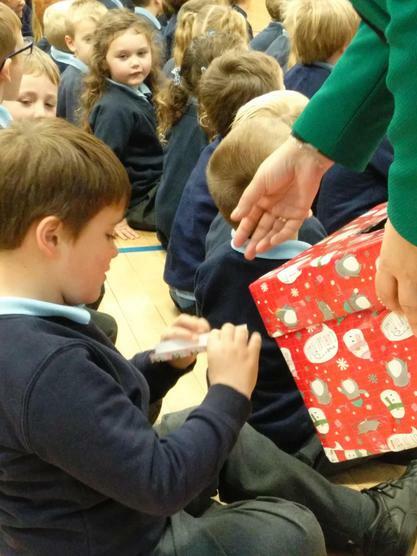 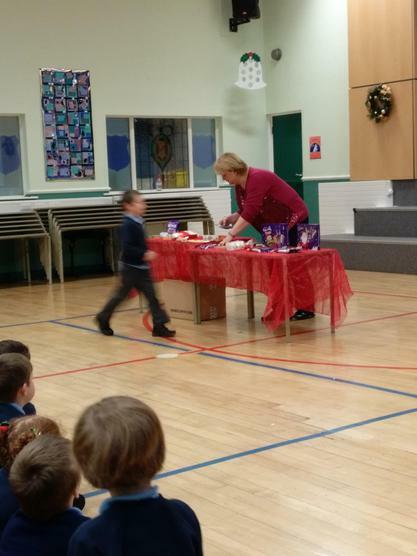 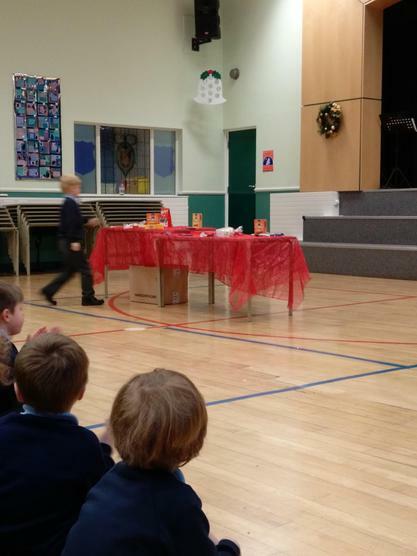 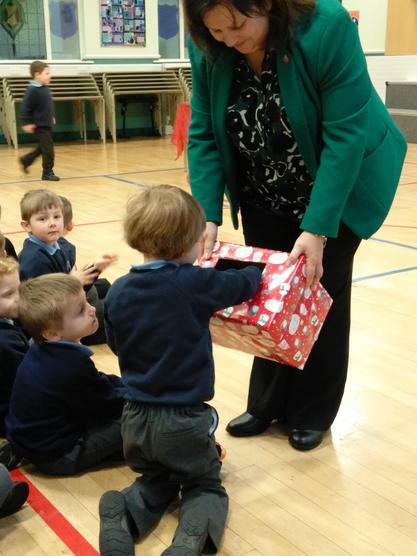 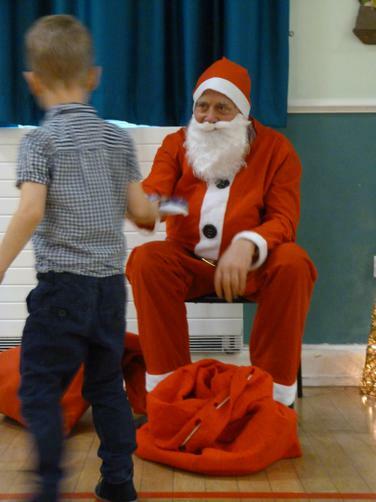 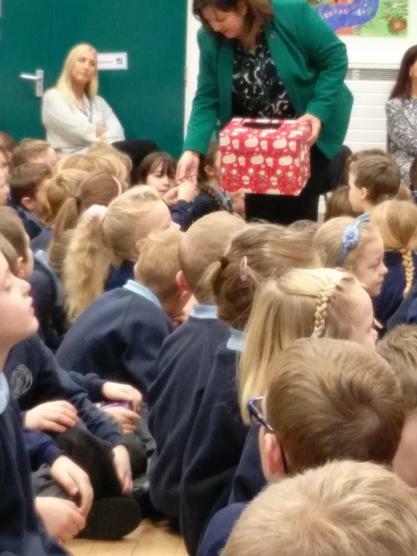 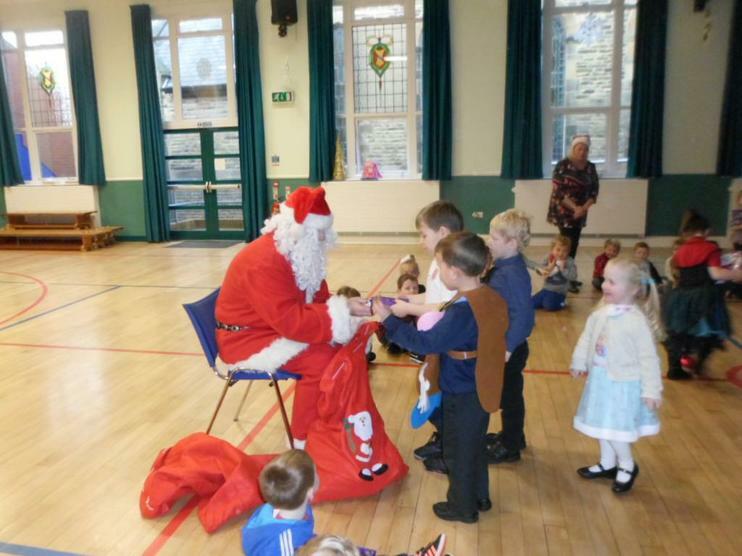 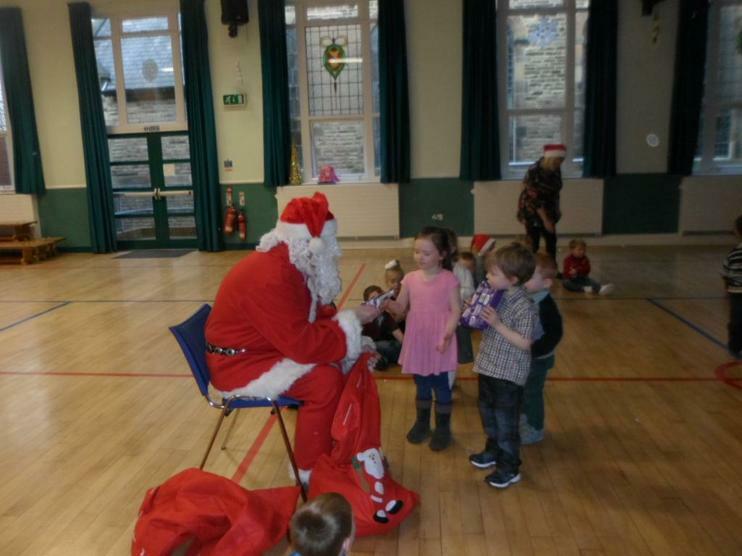 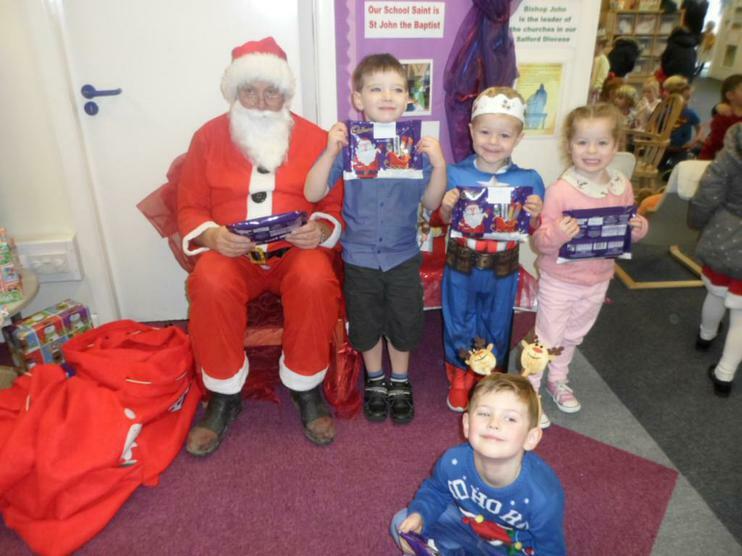 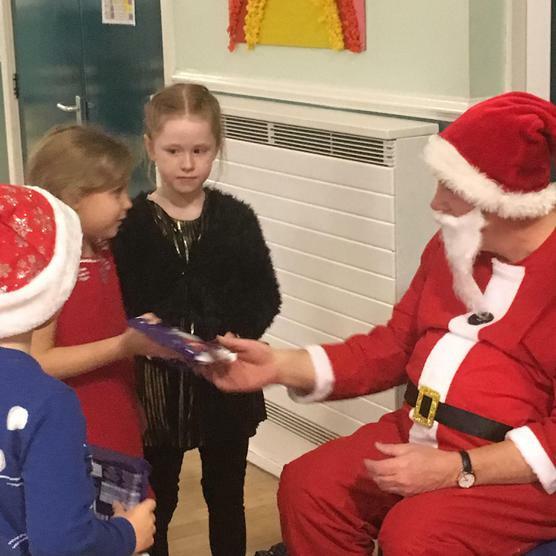 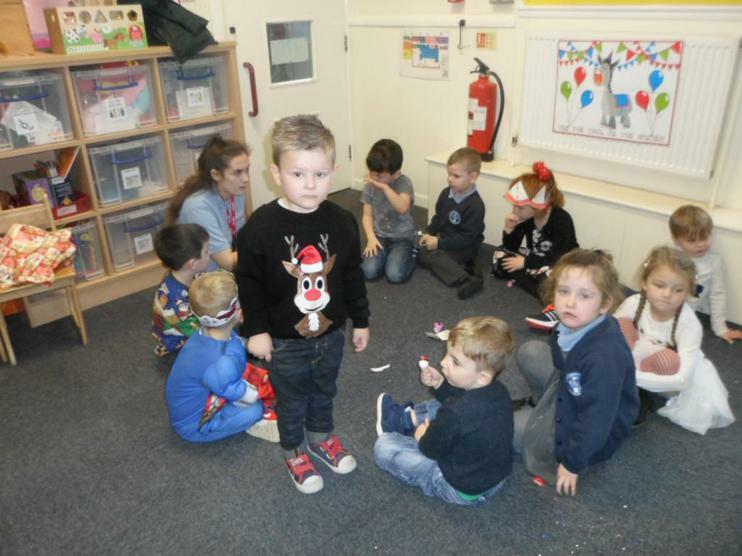 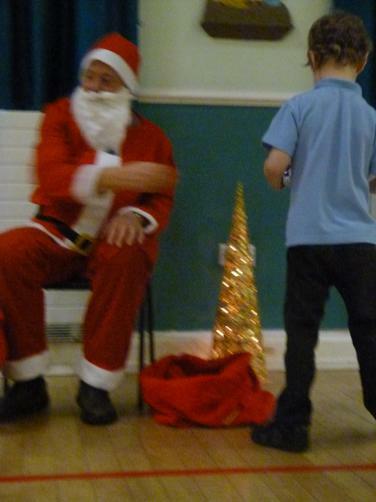 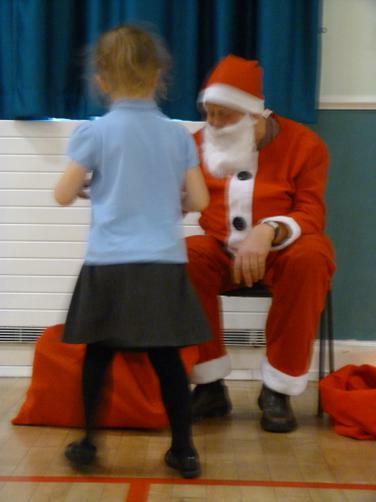 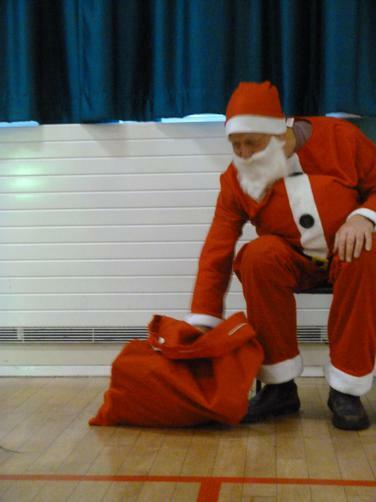 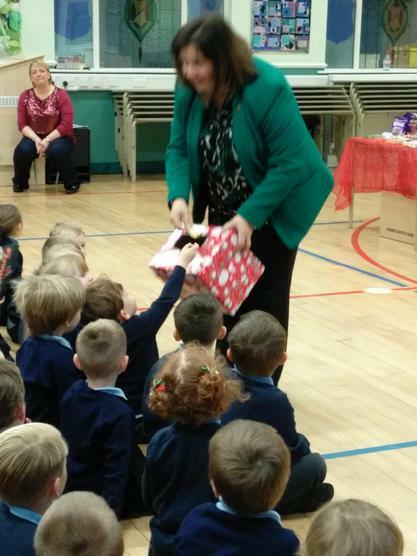 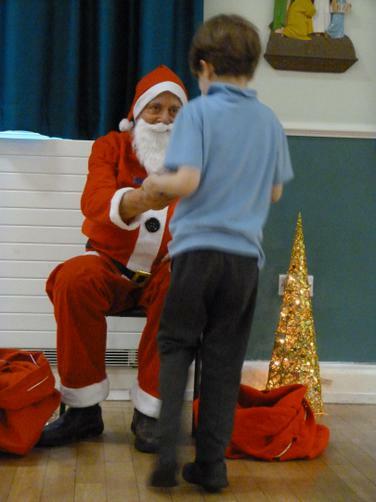 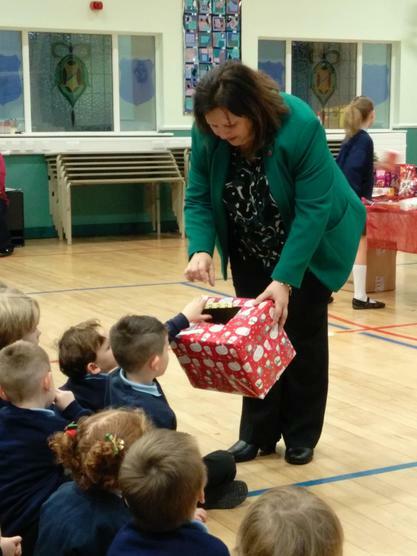 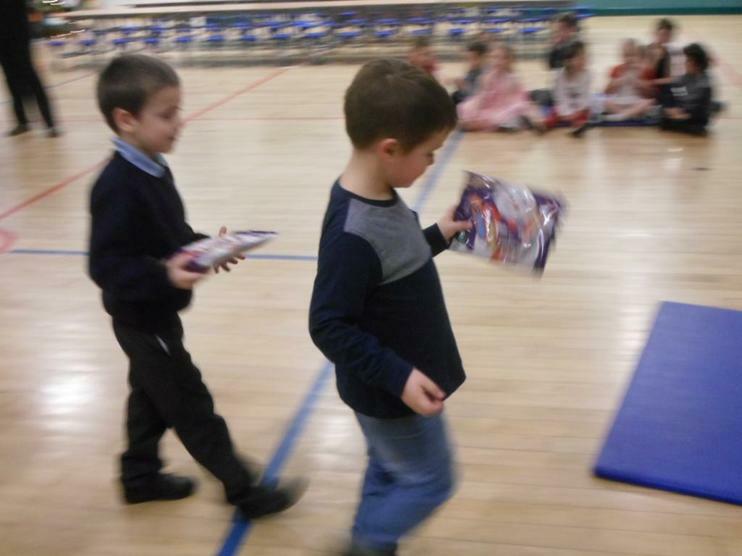 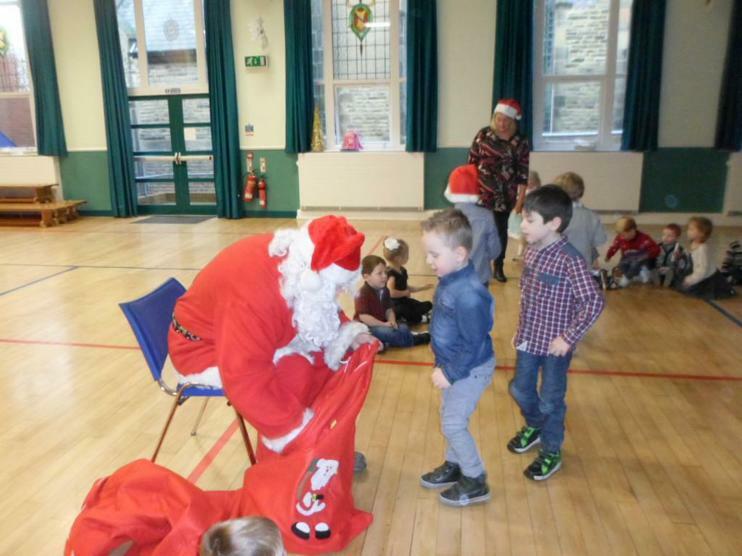 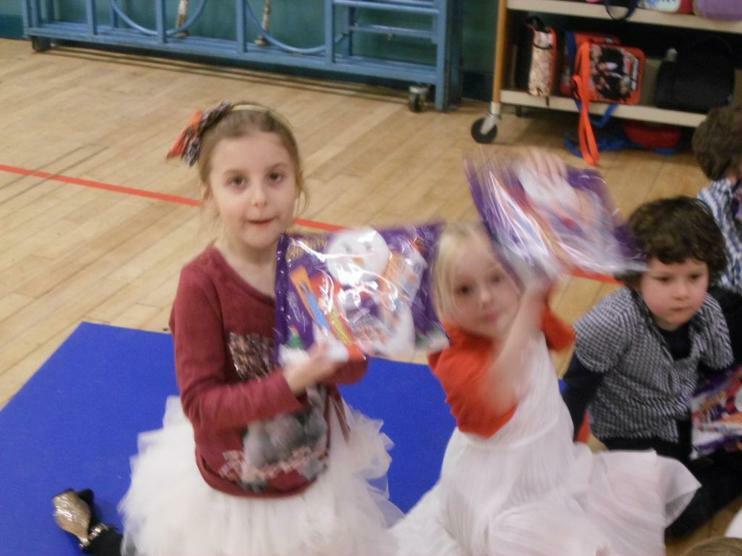 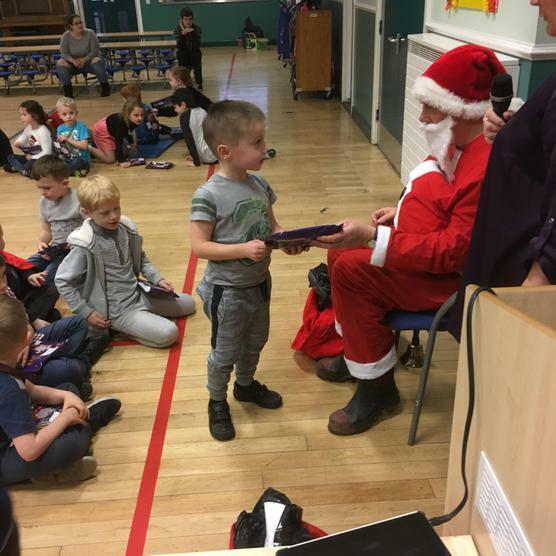 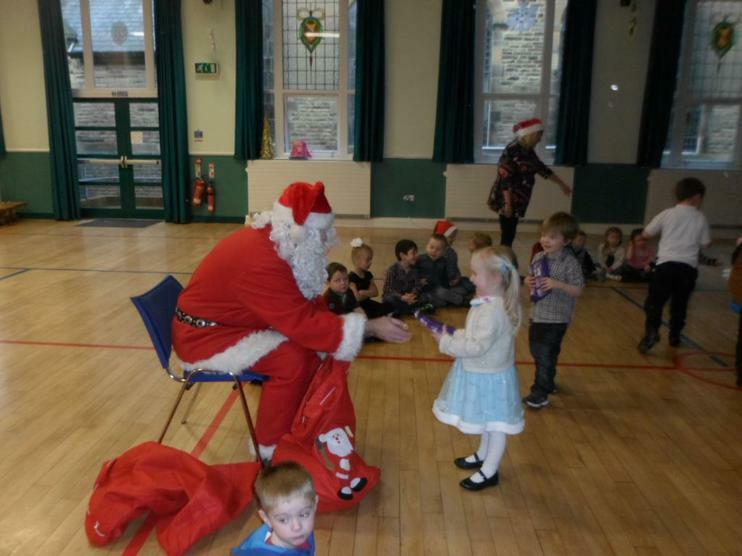 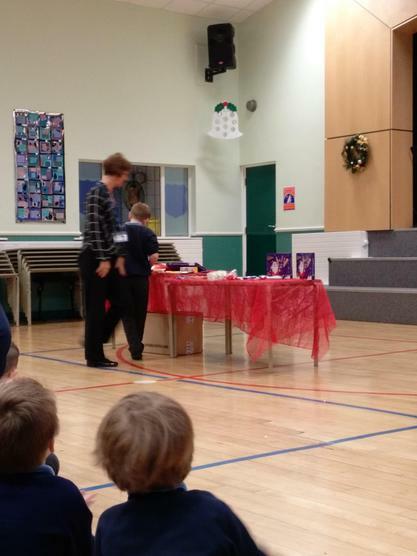 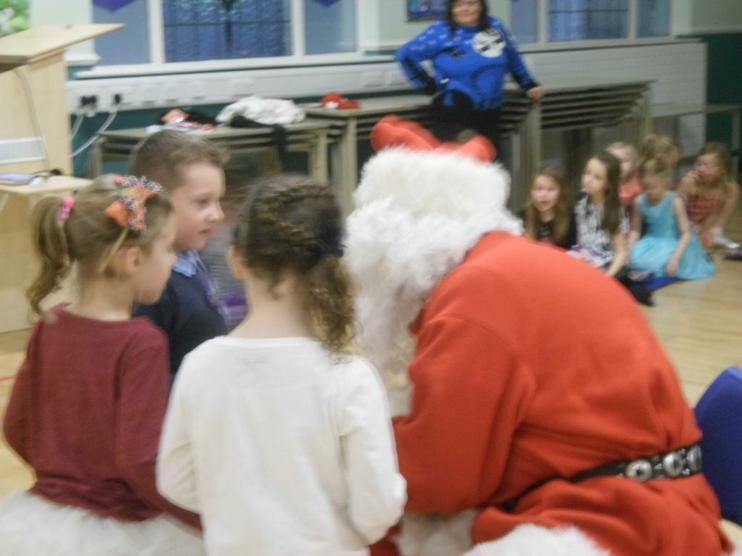 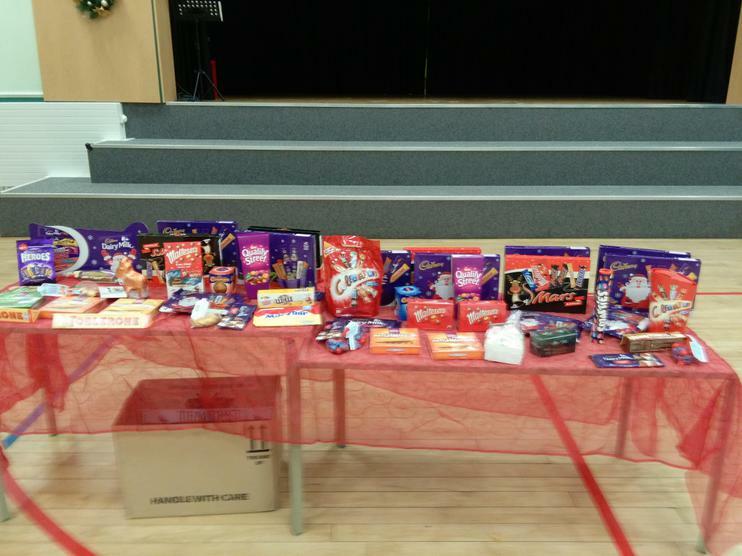 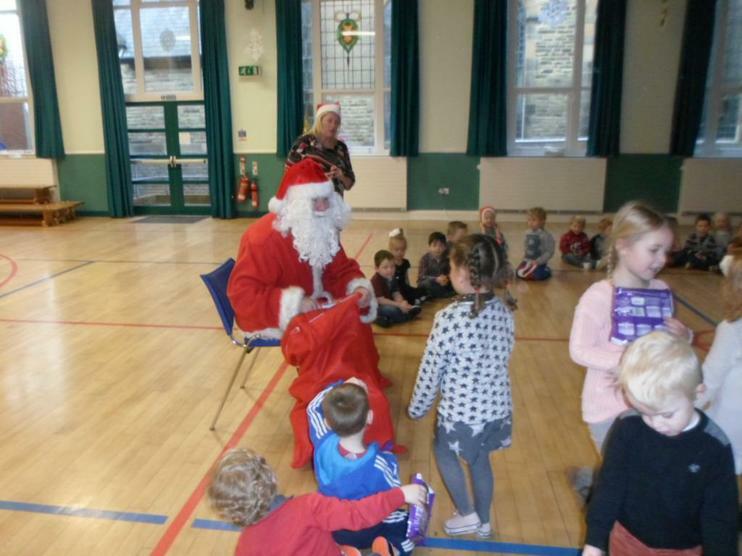 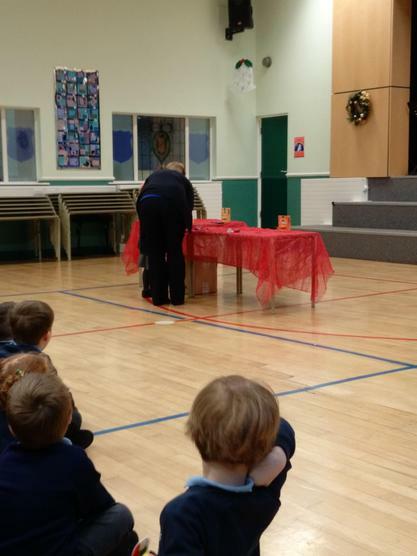 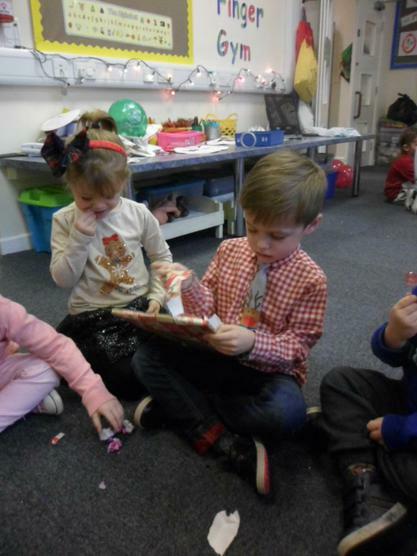 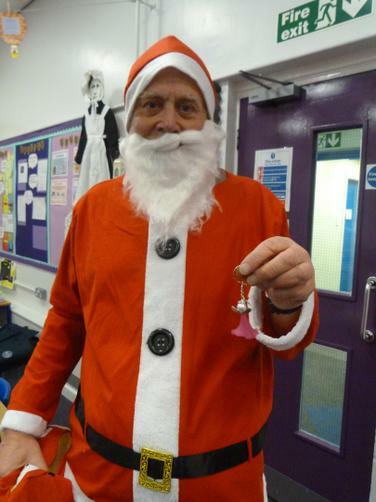 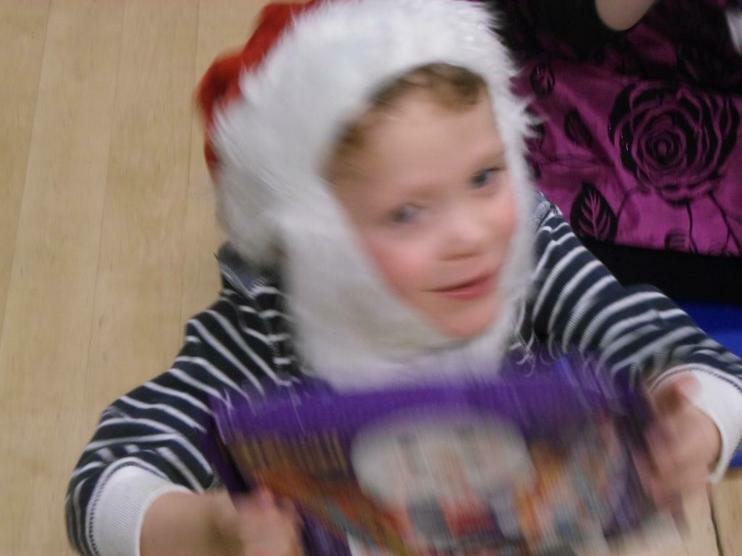 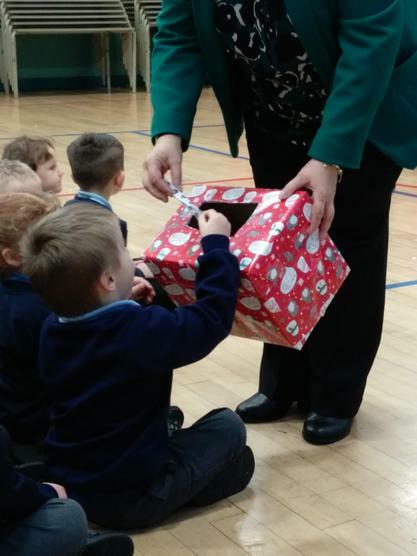 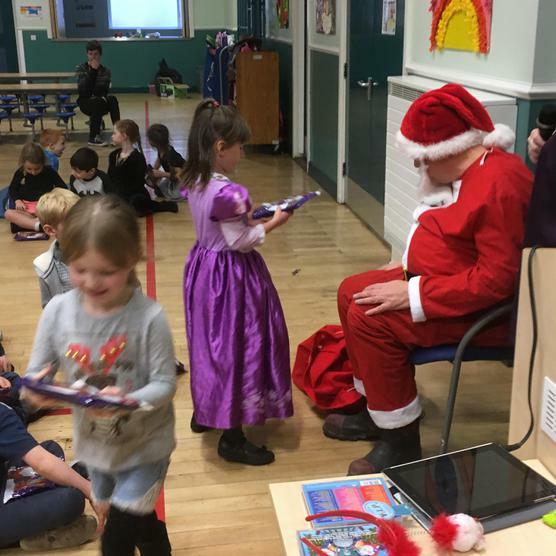 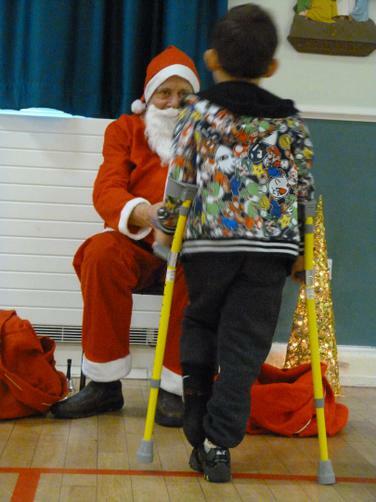 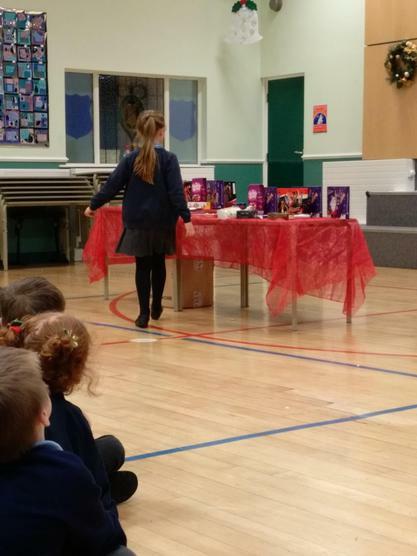 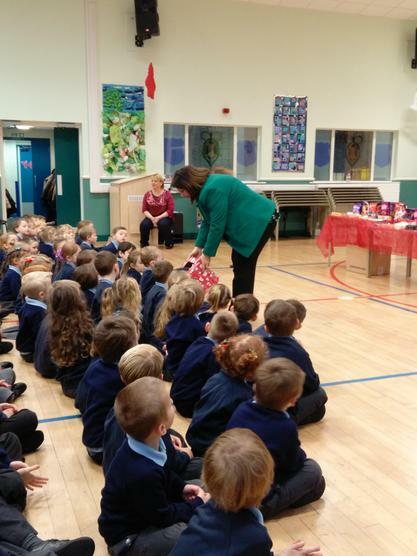 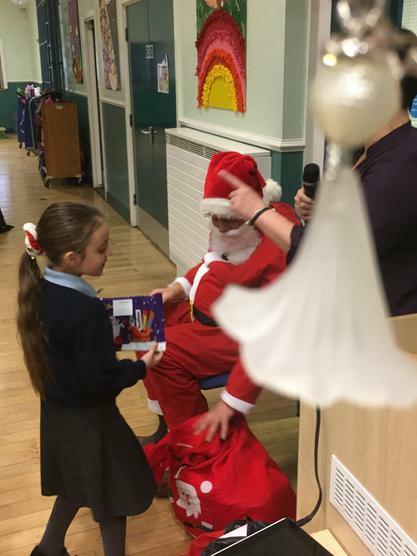 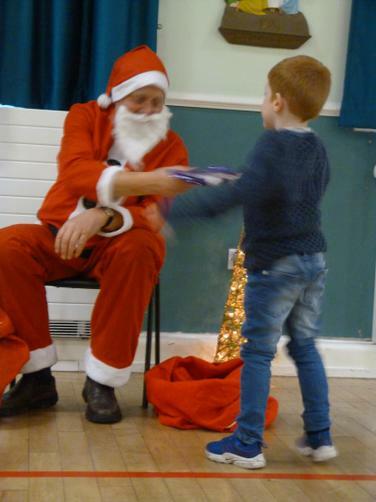 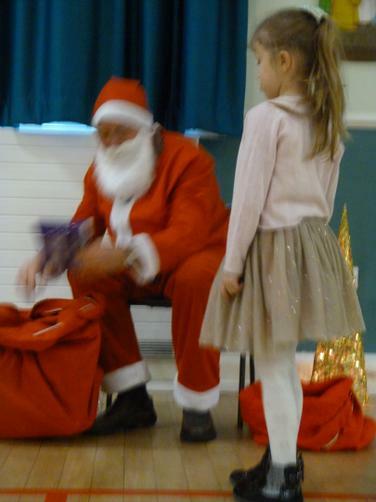 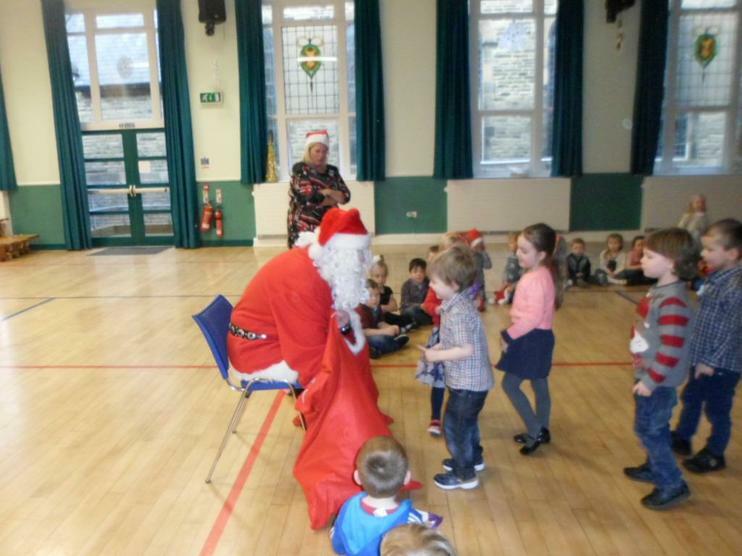 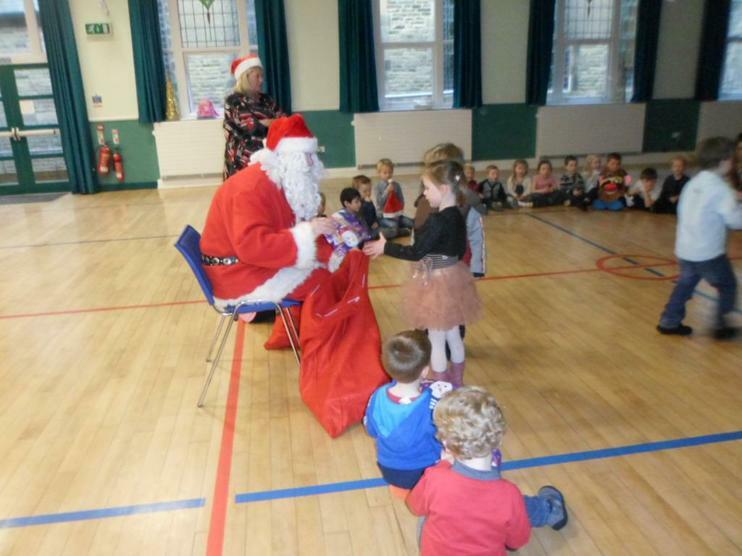 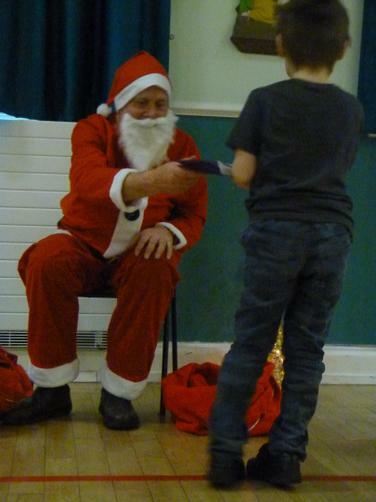 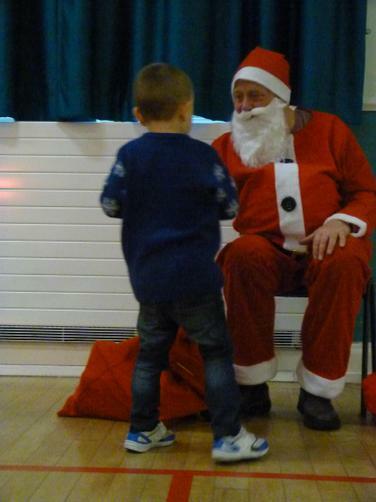 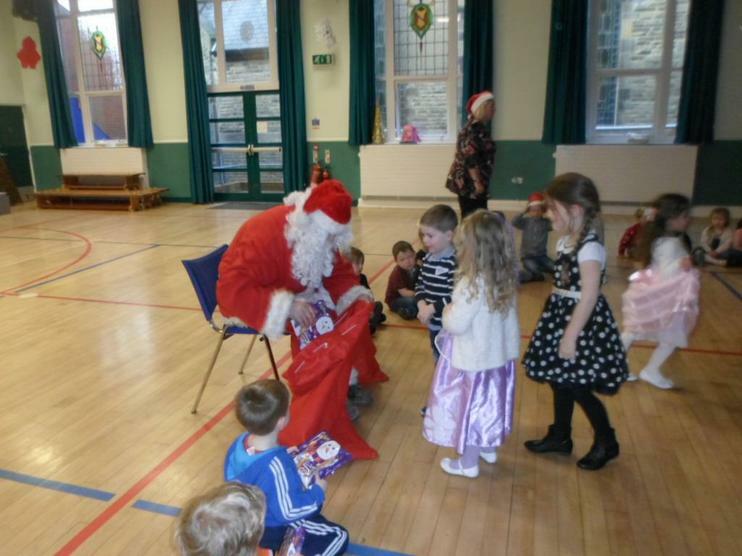 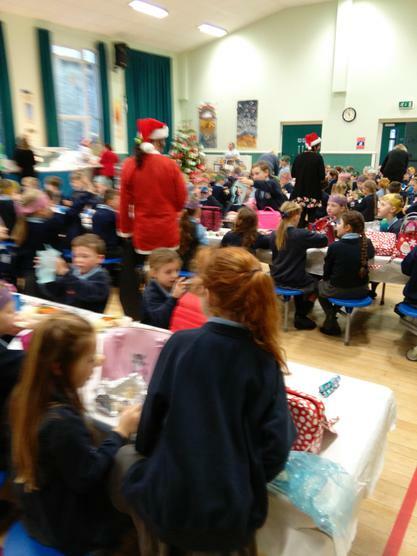 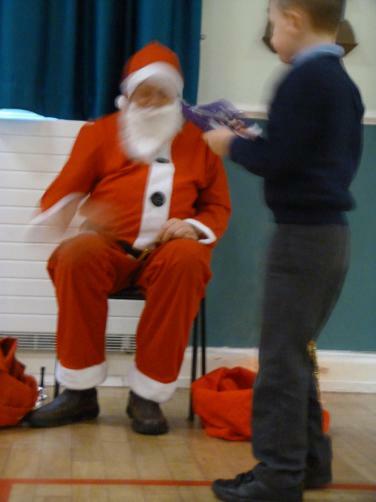 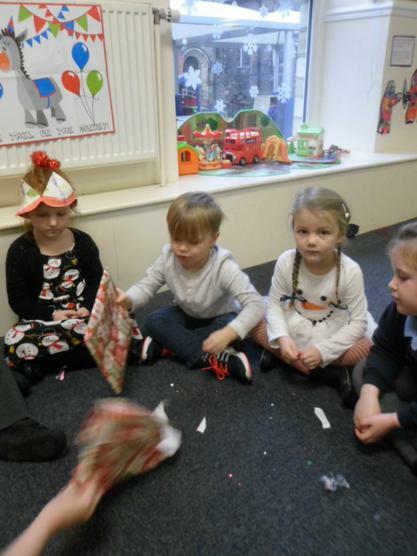 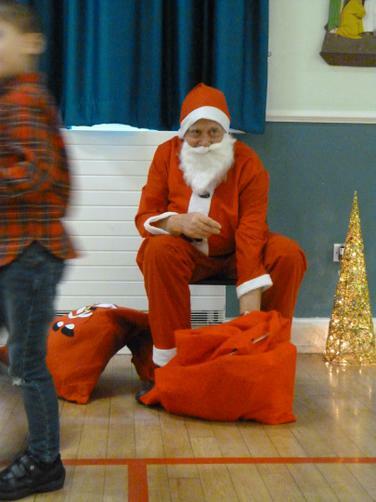 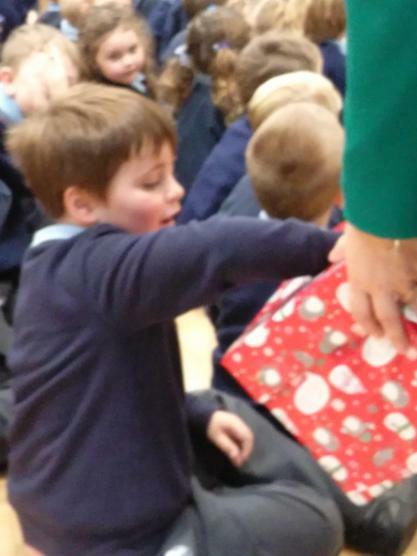 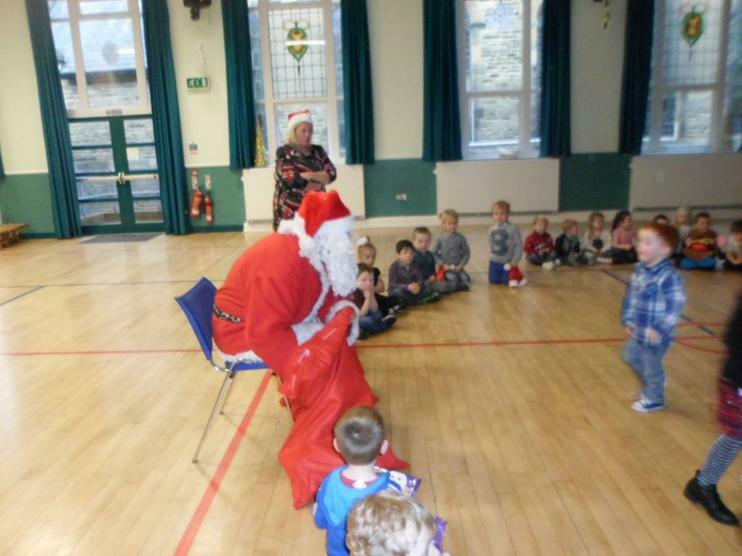 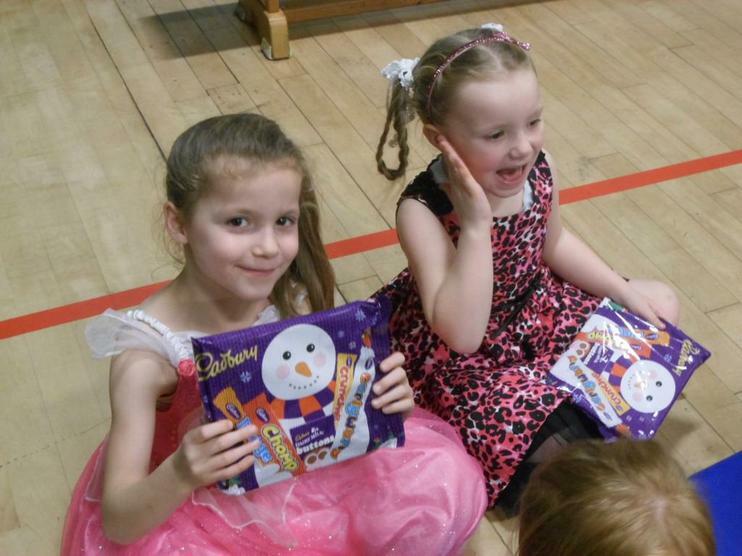 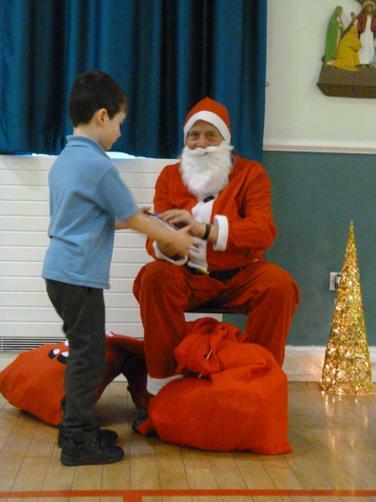 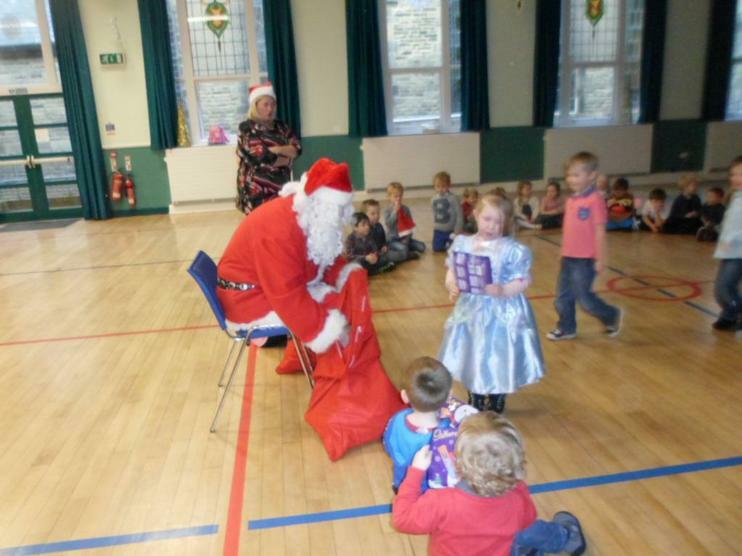 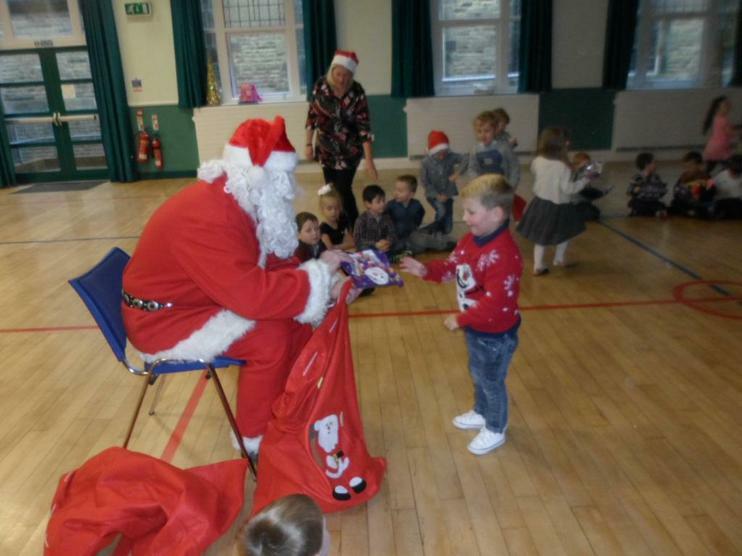 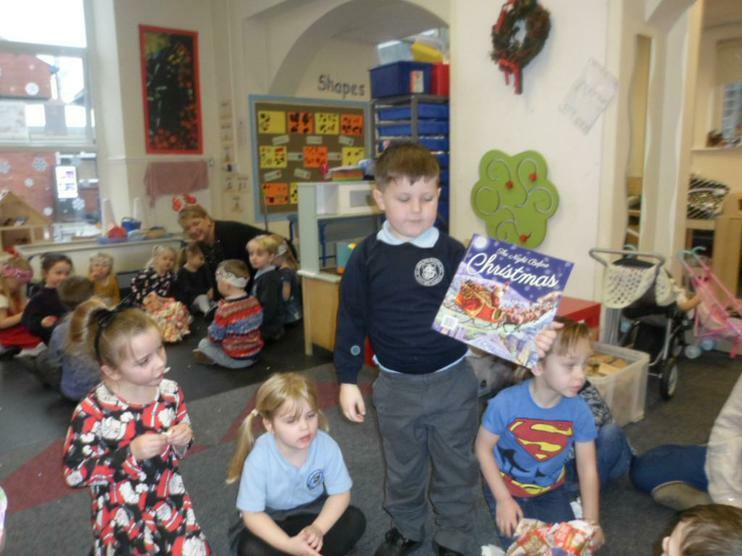 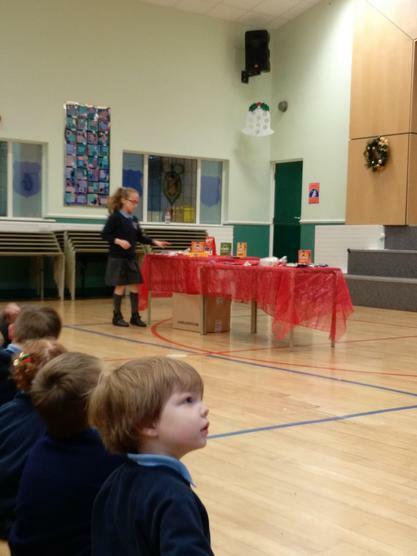 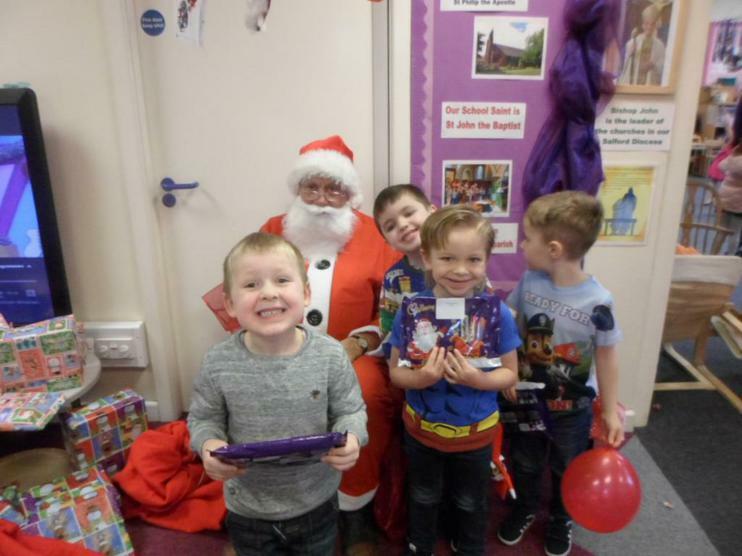 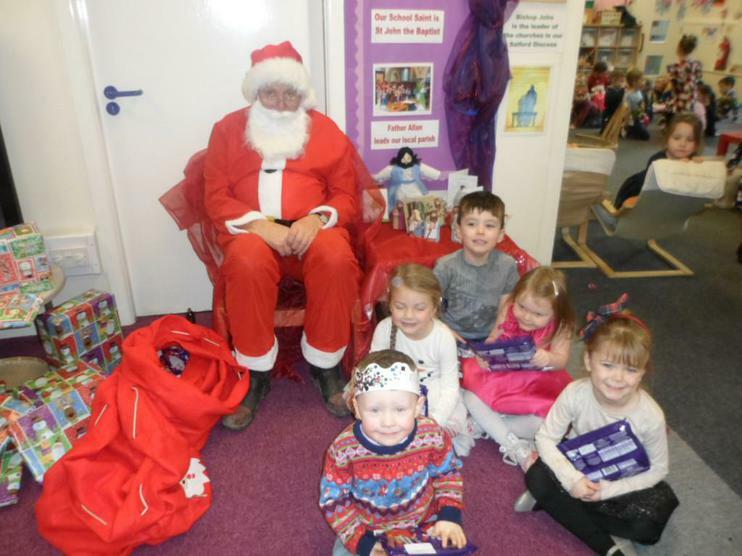 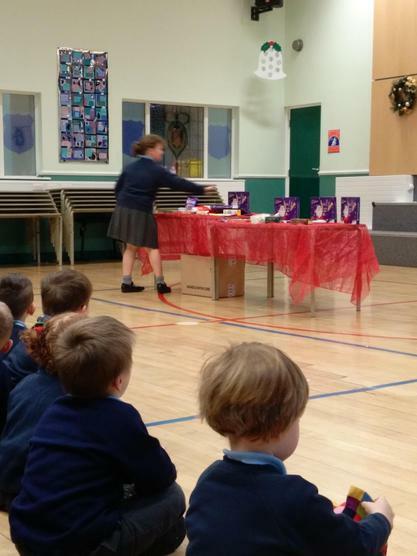 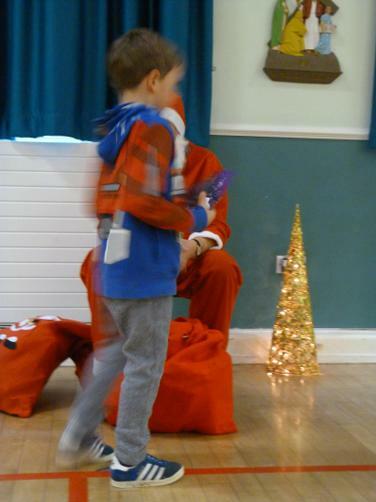 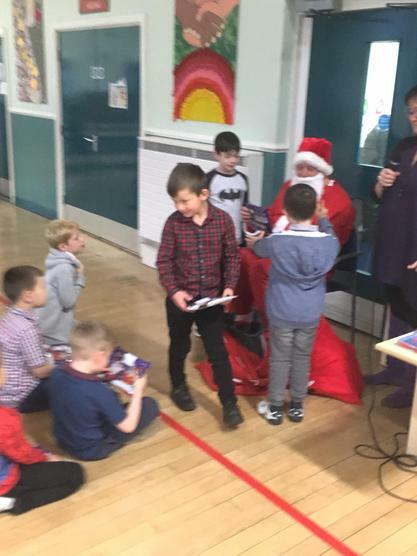 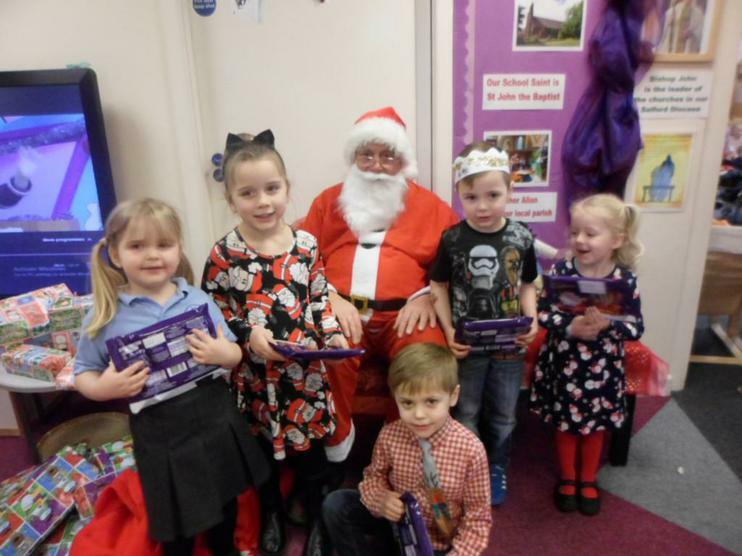 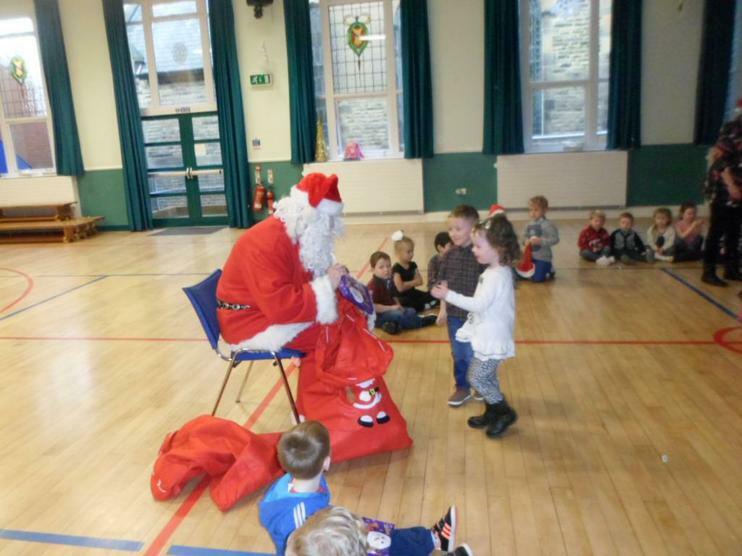 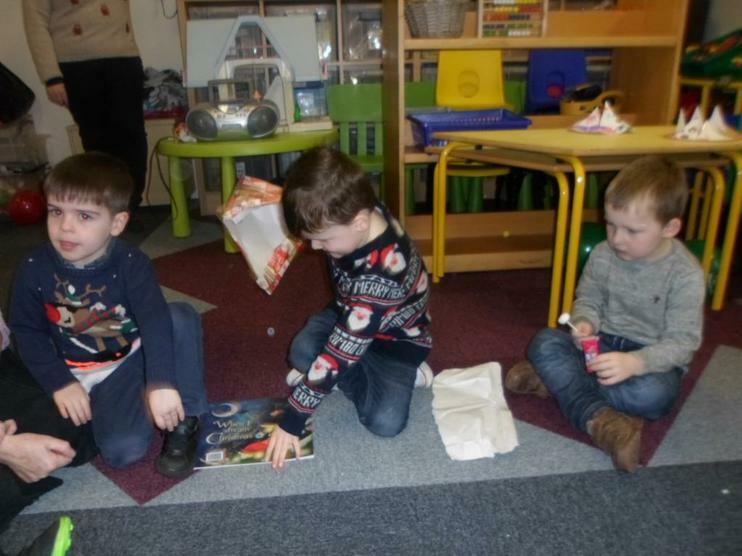 Year 1 and Year 2 Christmas Party - Santa came and gave all the children a selection box. 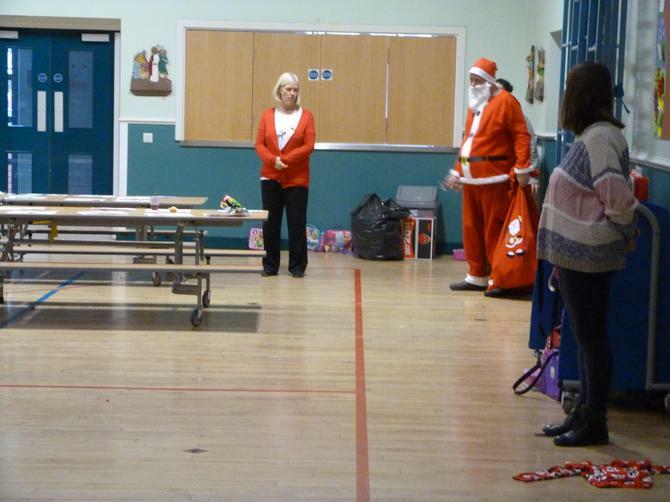 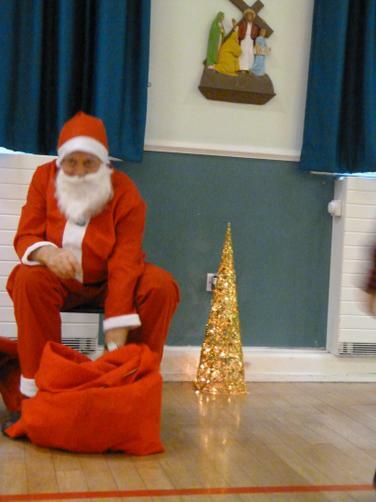 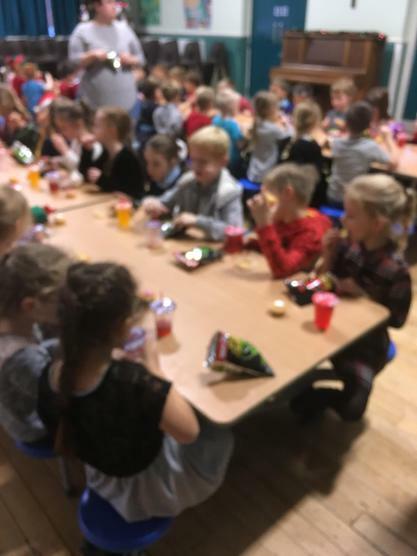 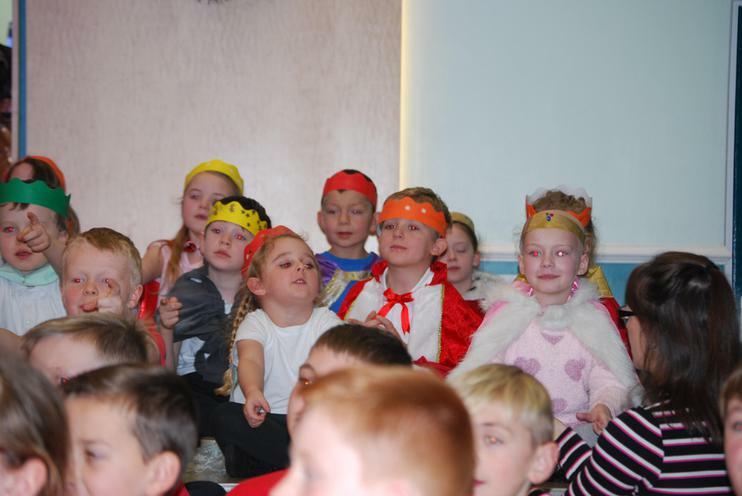 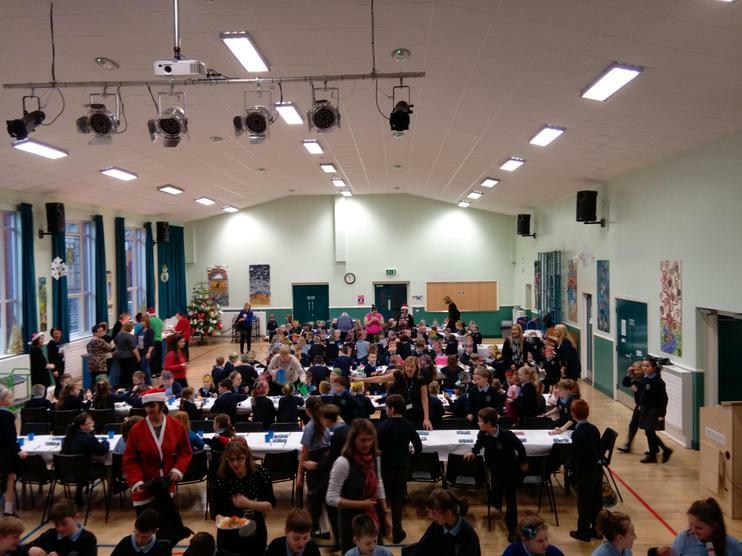 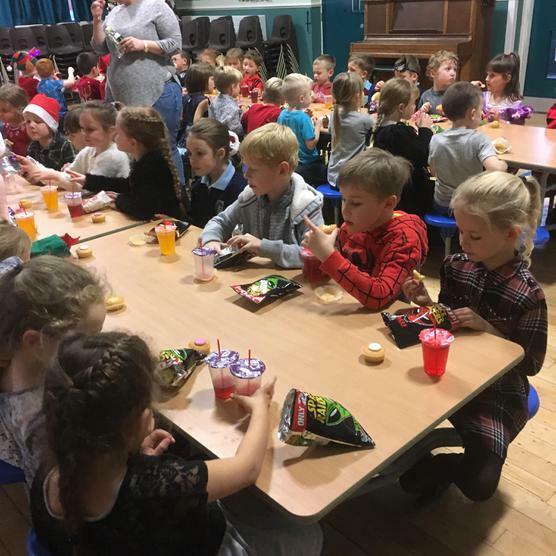 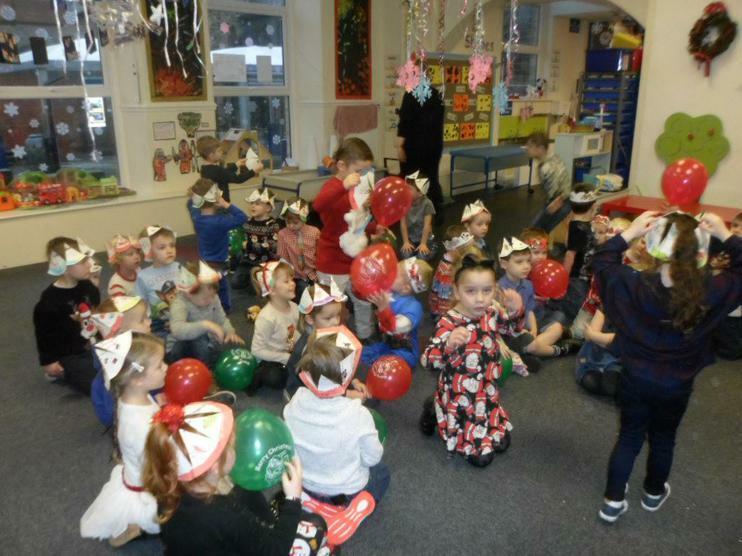 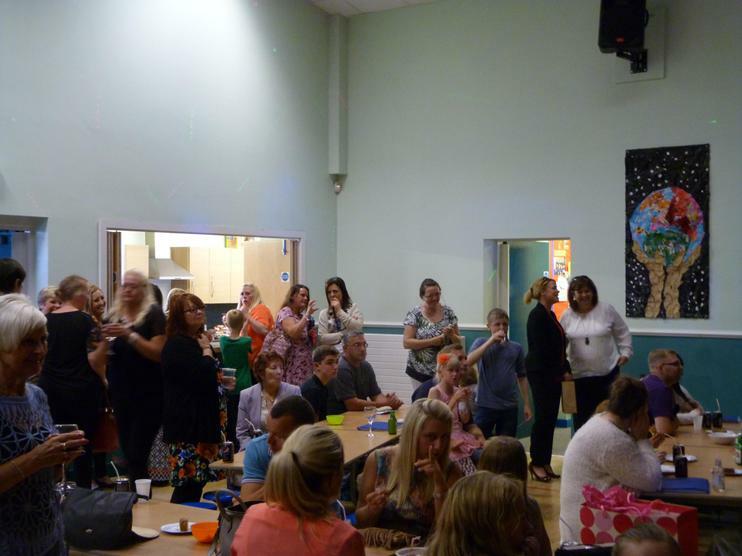 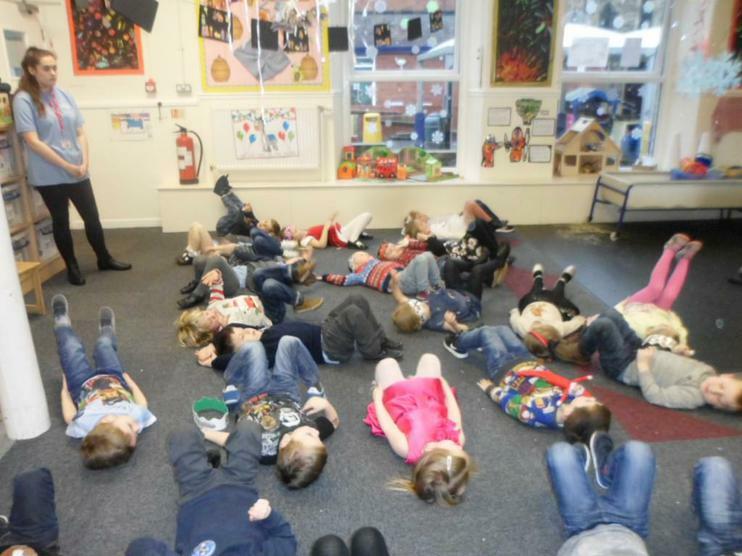 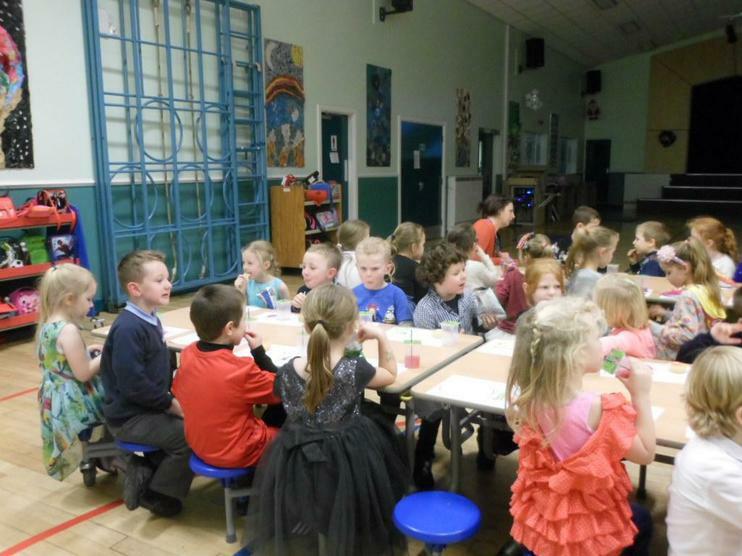 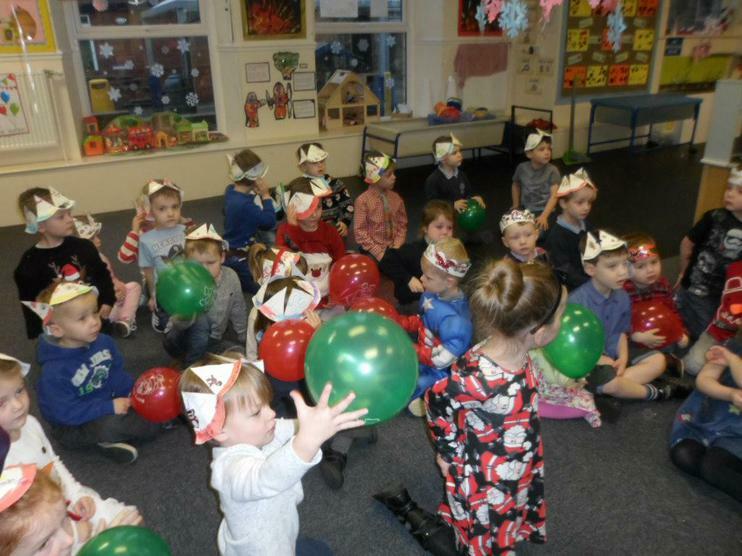 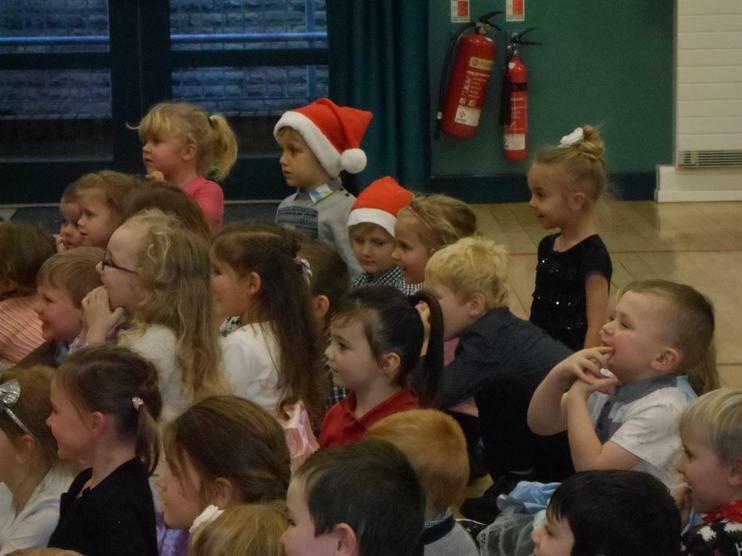 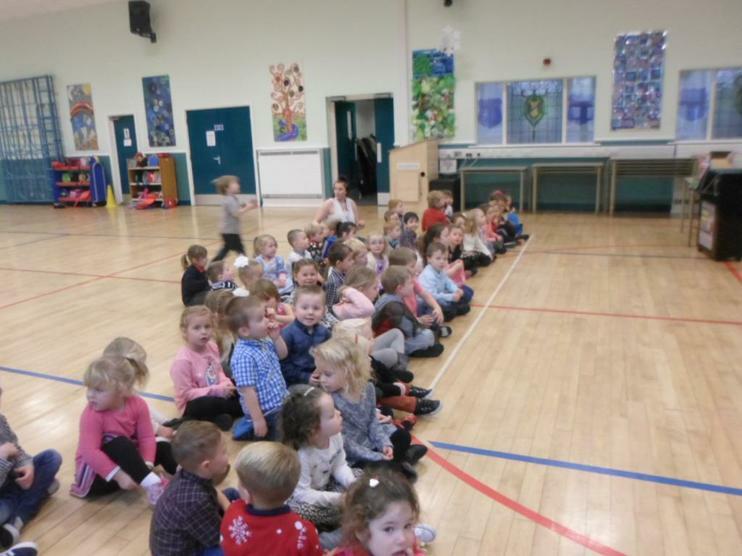 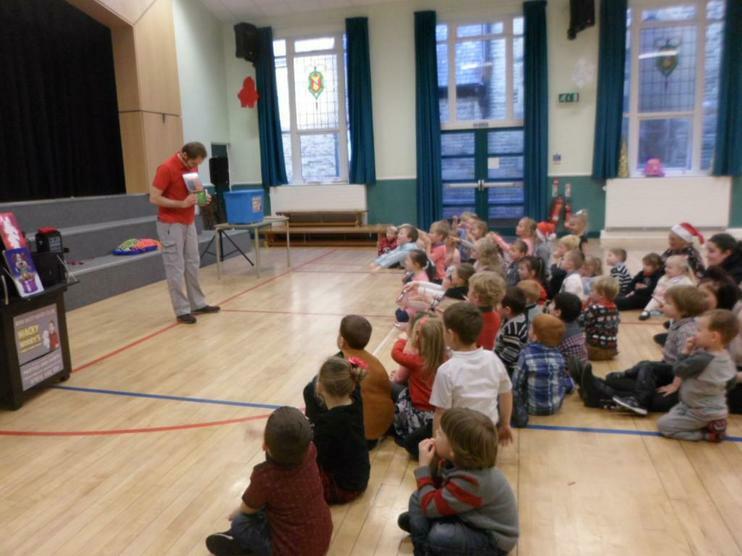 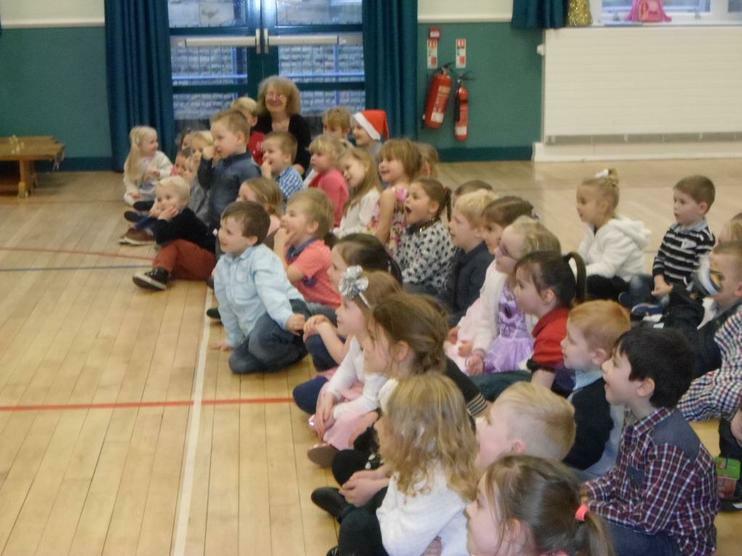 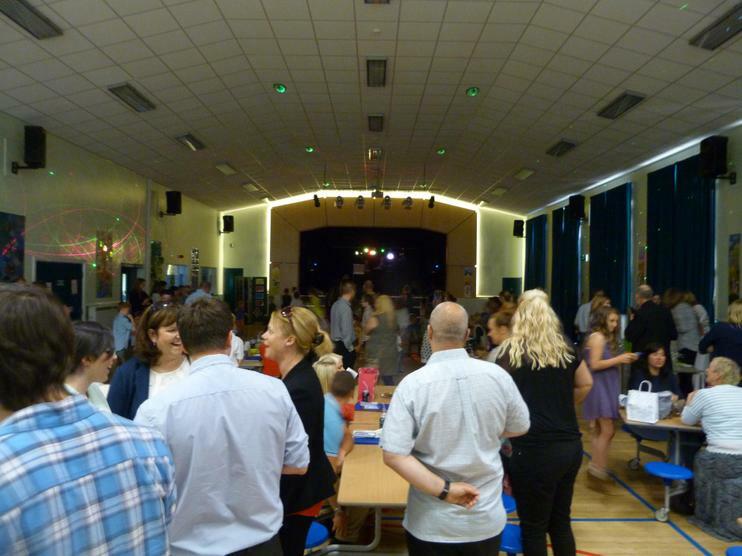 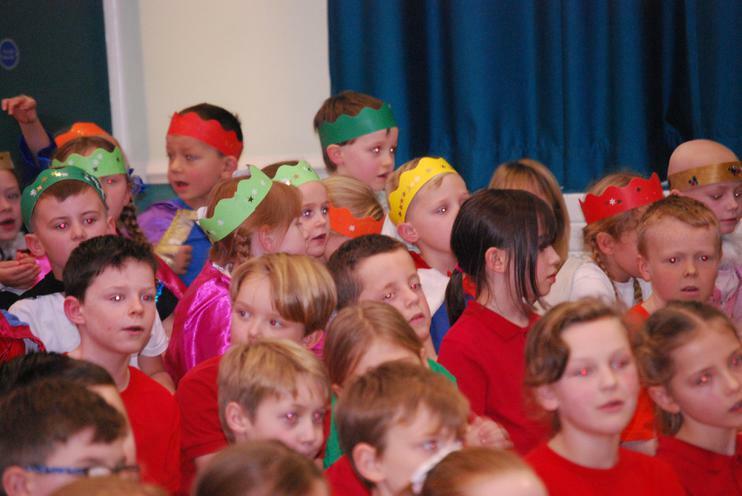 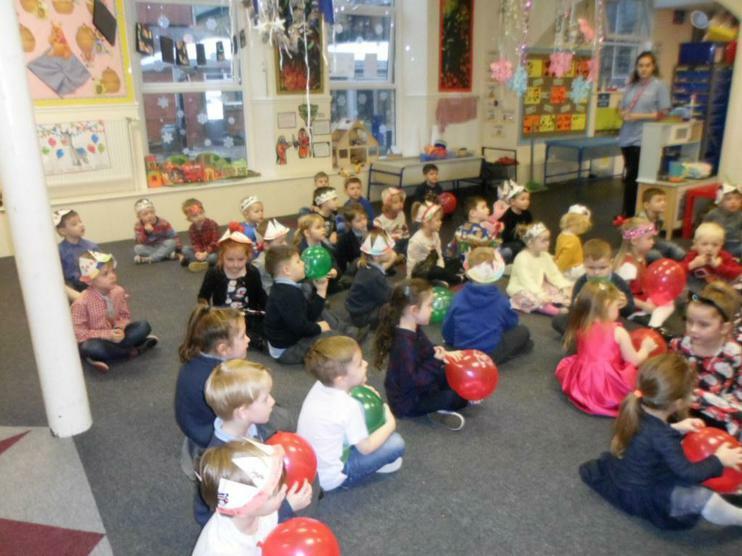 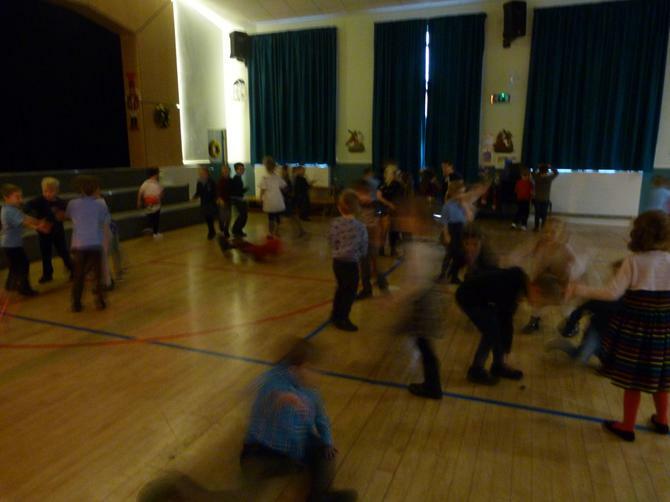 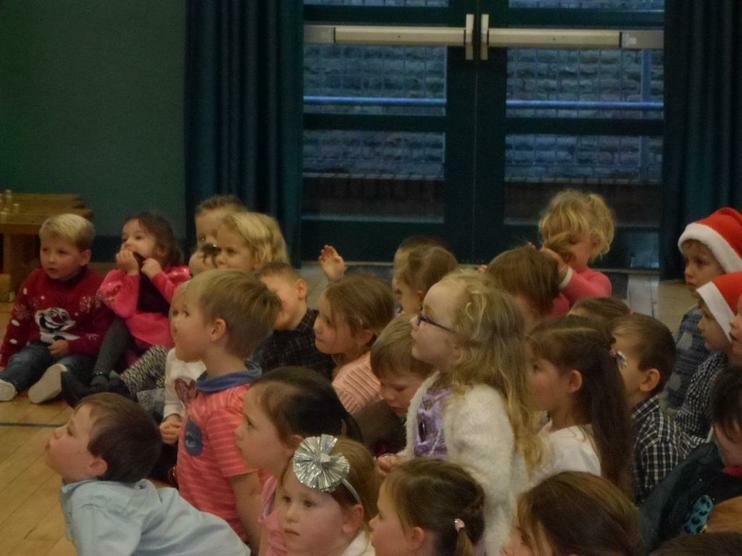 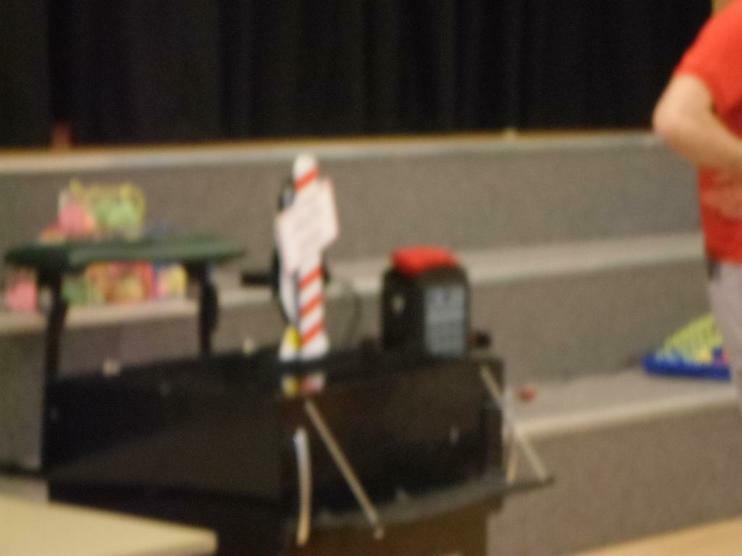 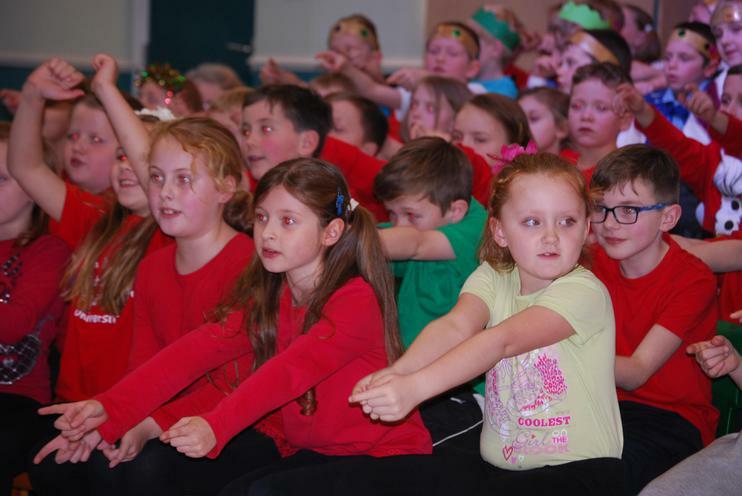 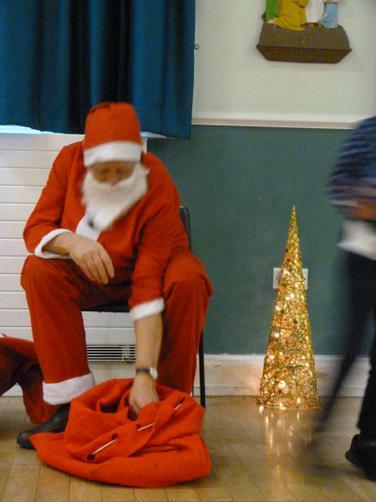 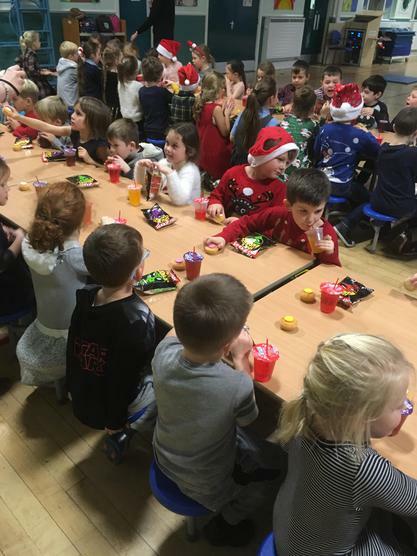 A Panoramic Photo of the KS1 Christmas Party. 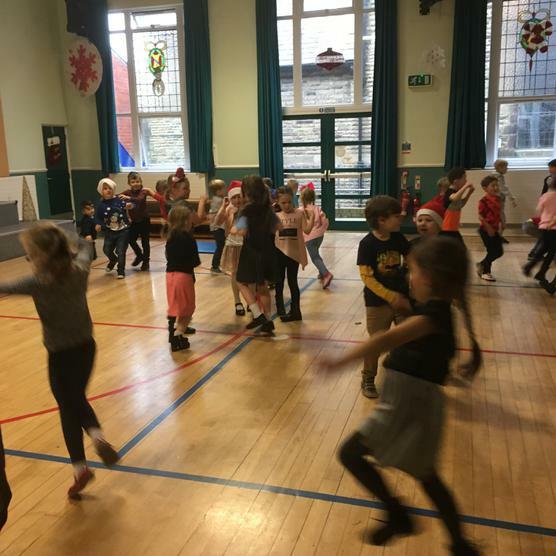 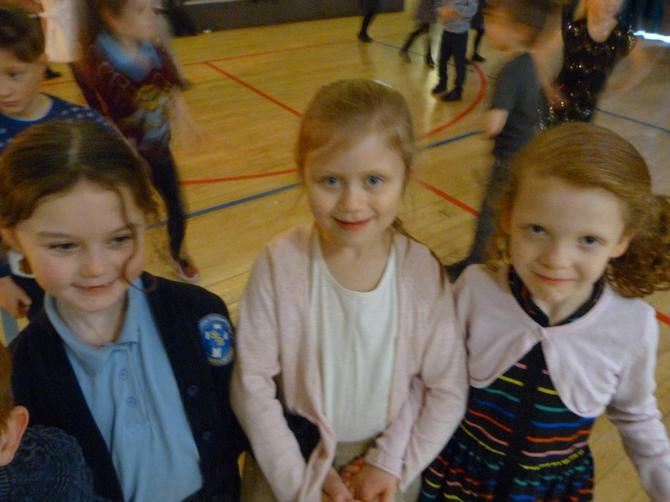 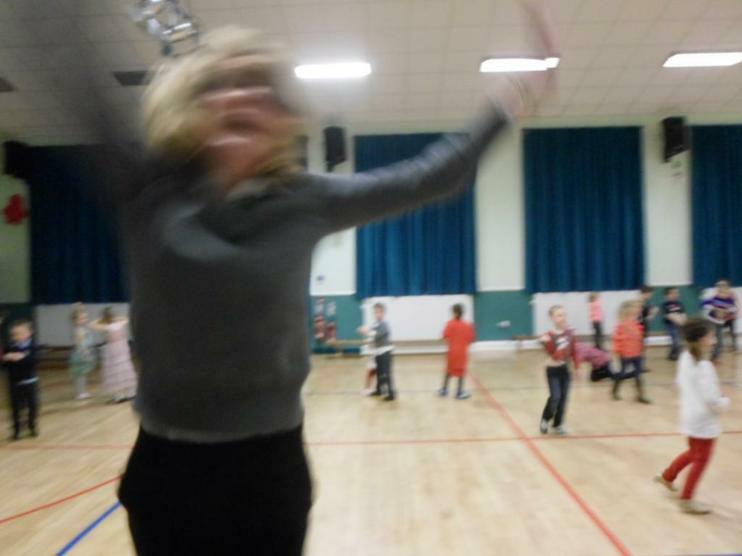 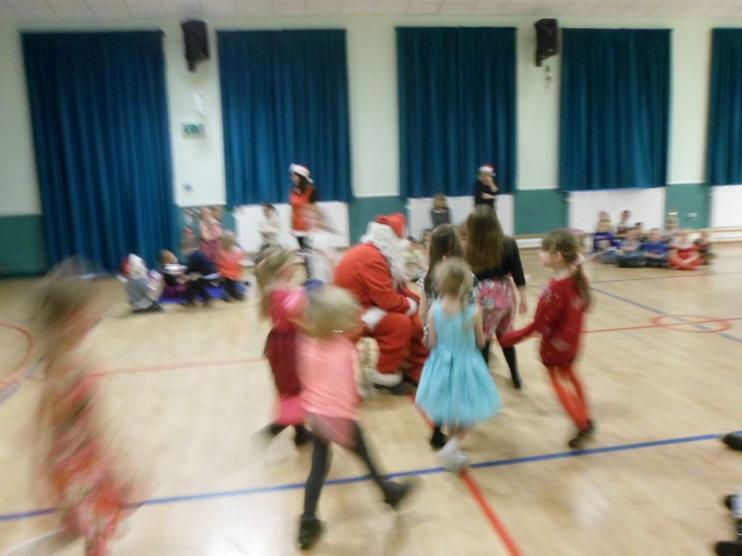 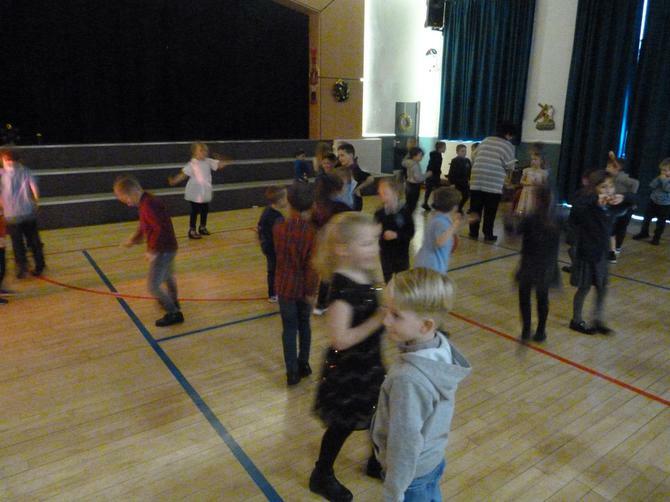 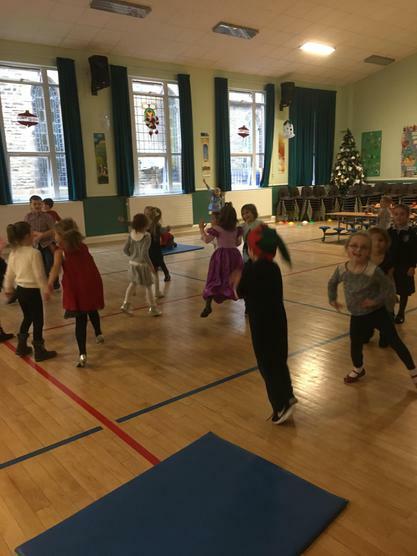 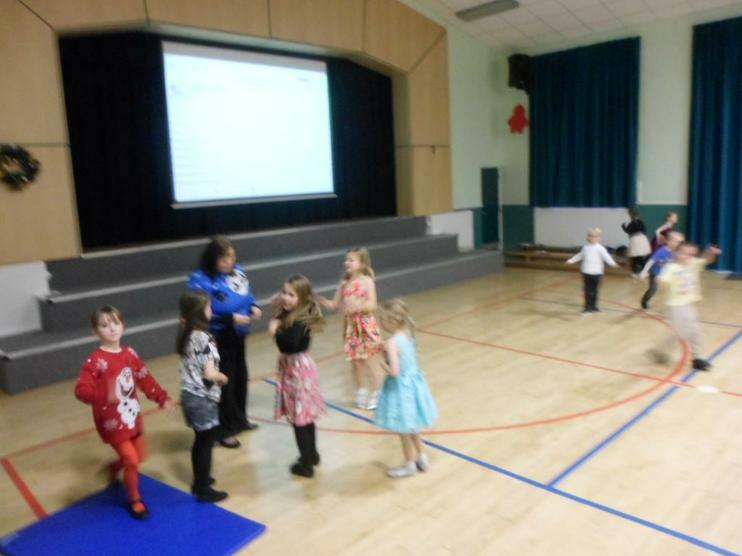 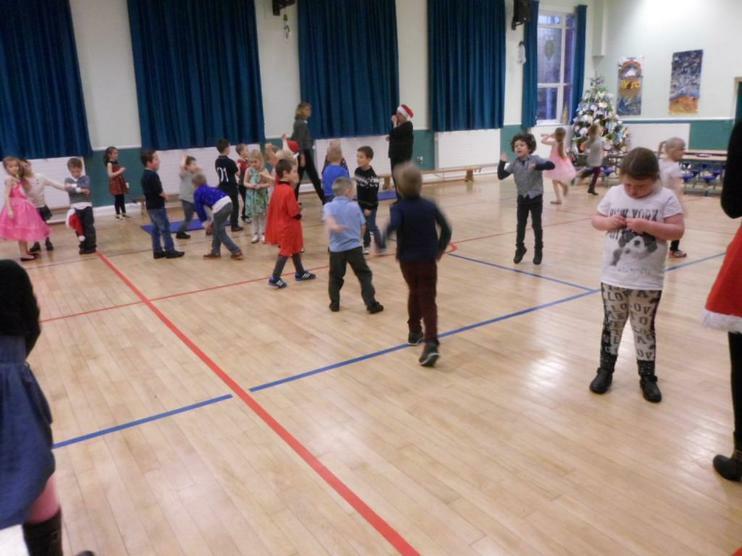 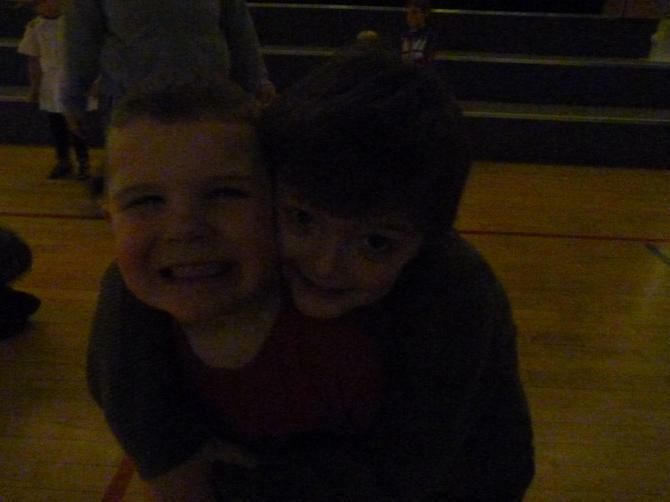 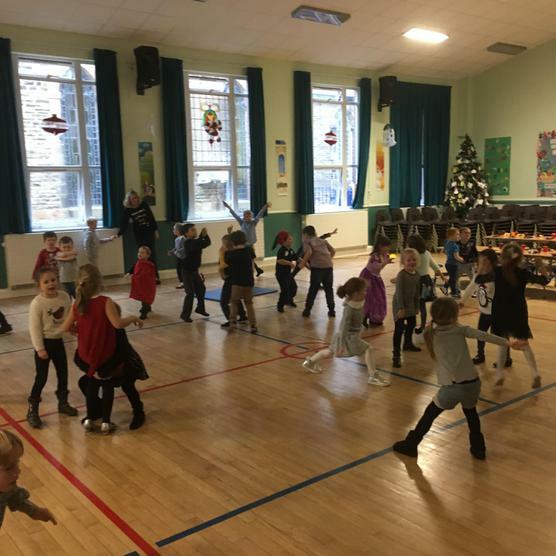 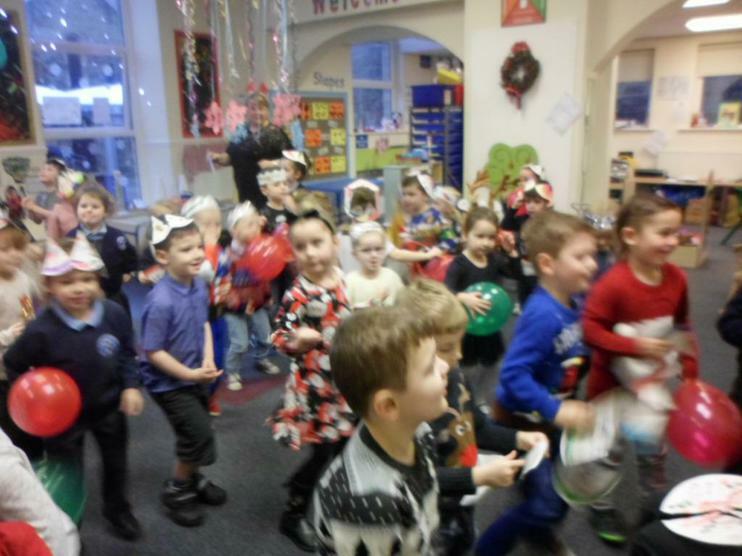 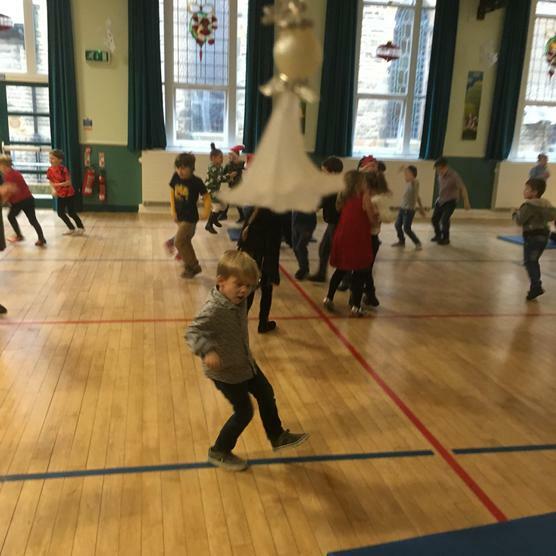 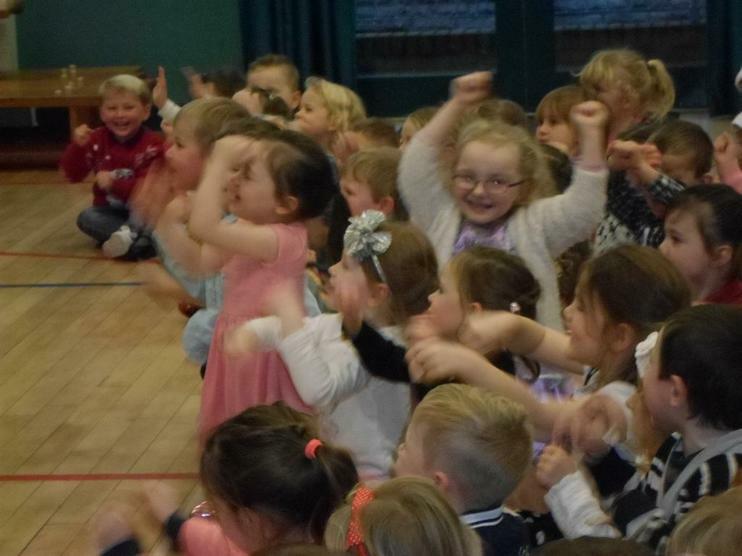 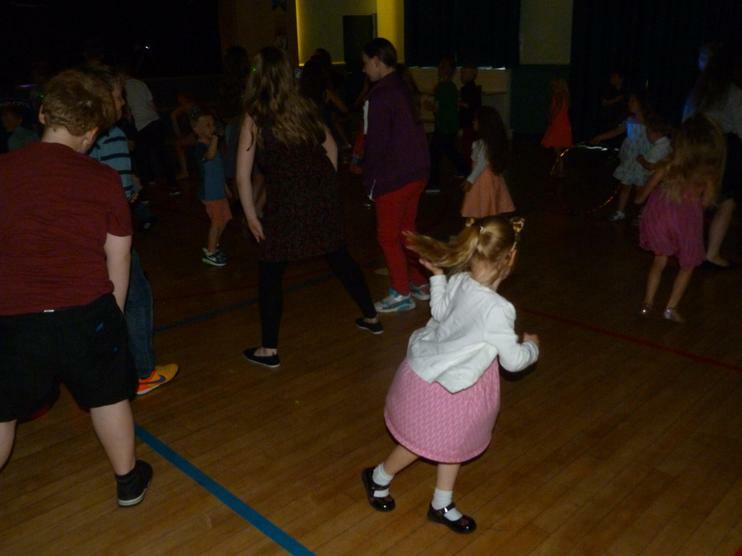 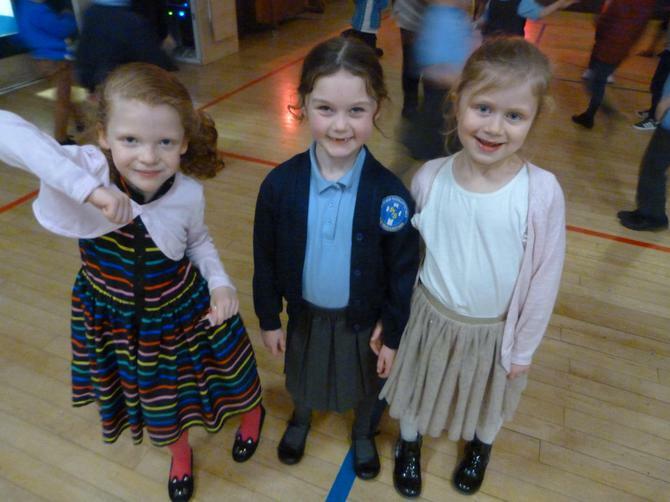 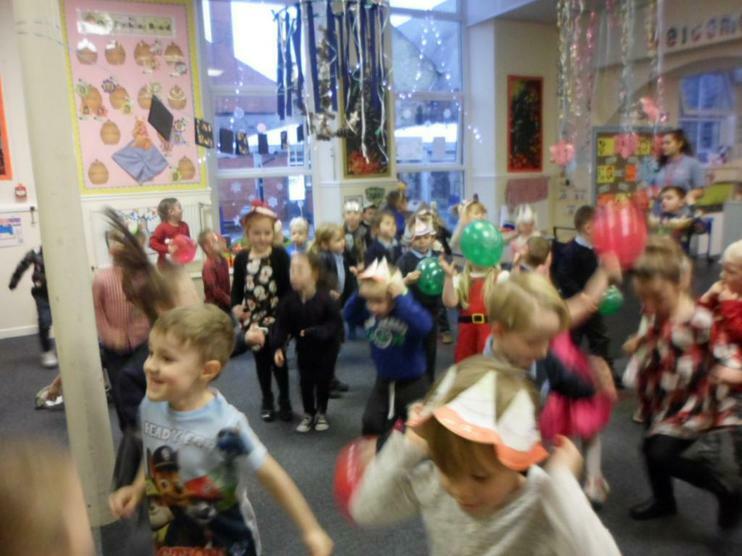 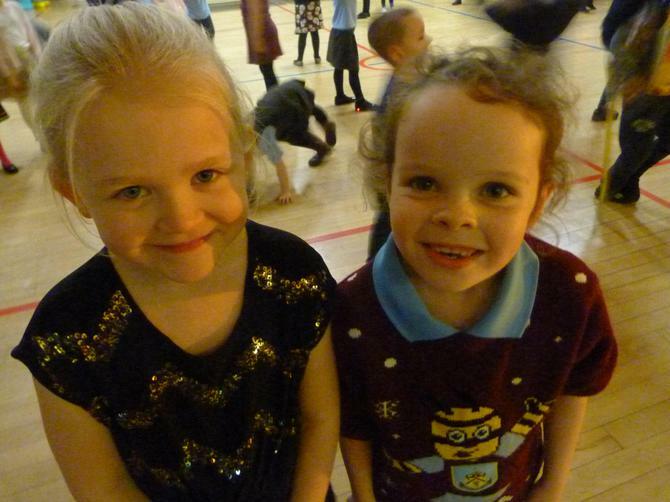 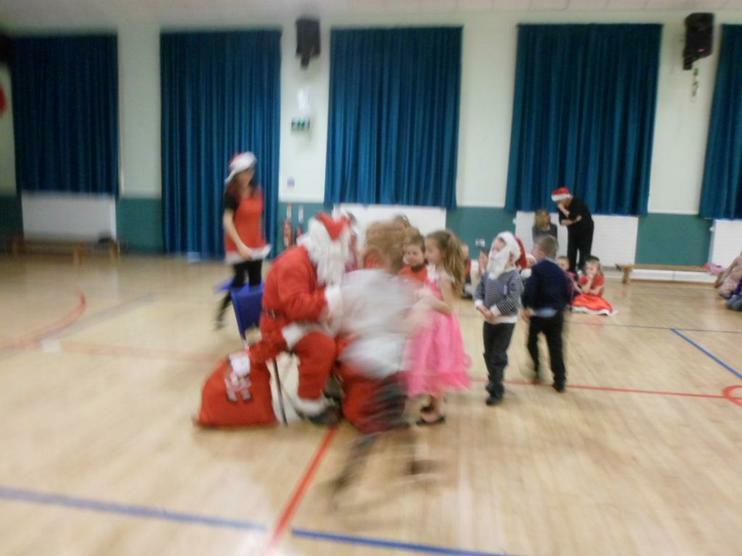 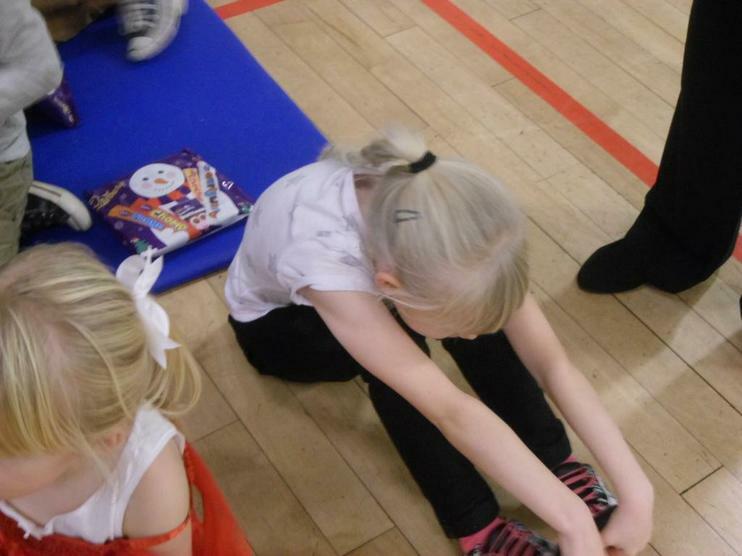 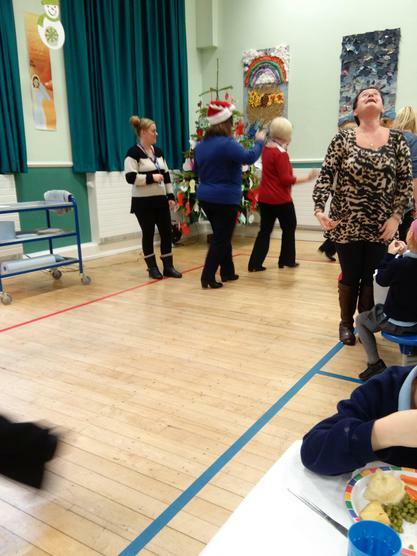 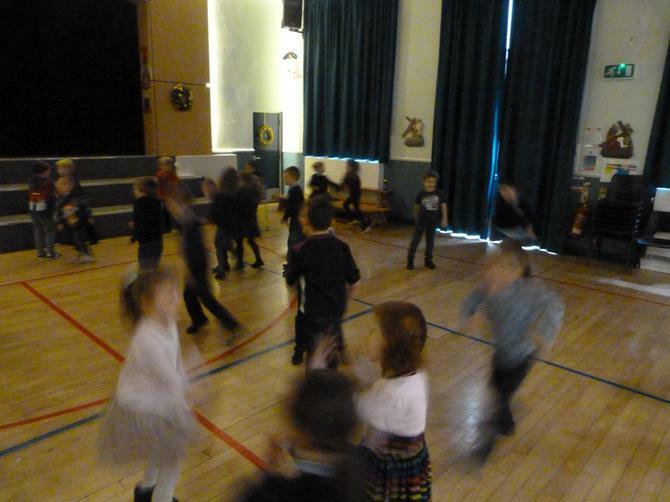 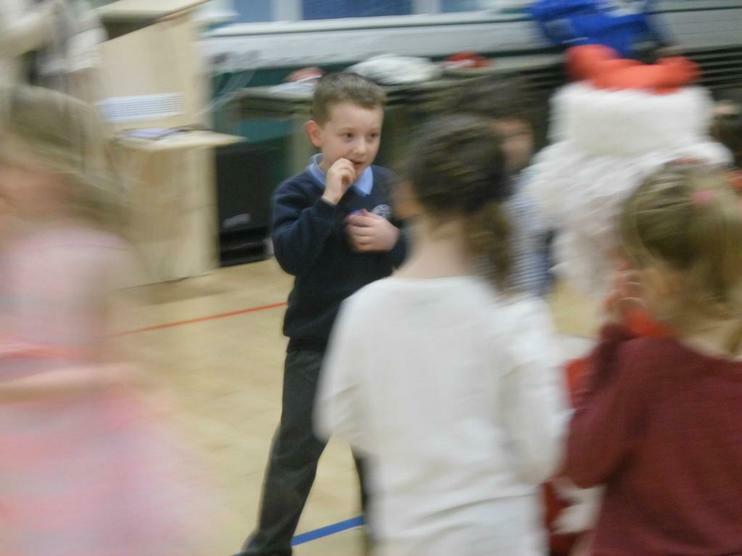 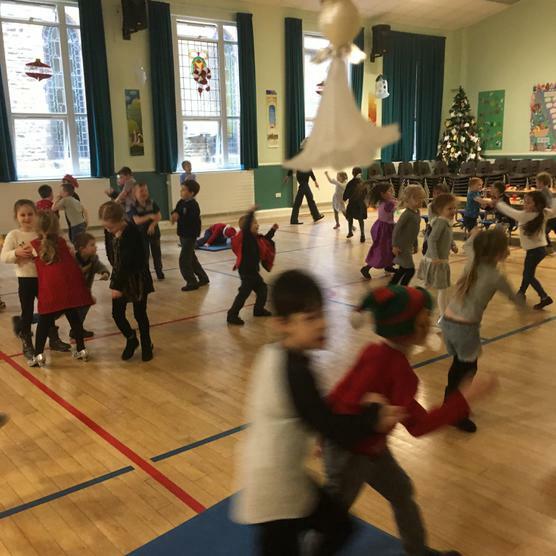 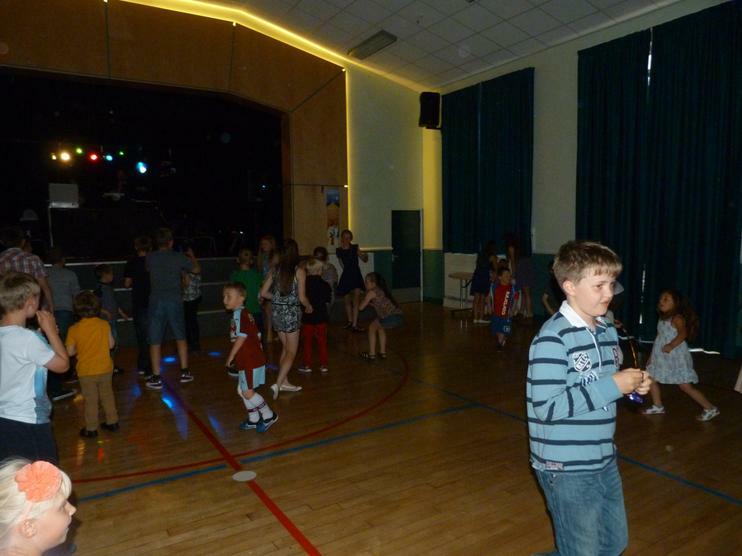 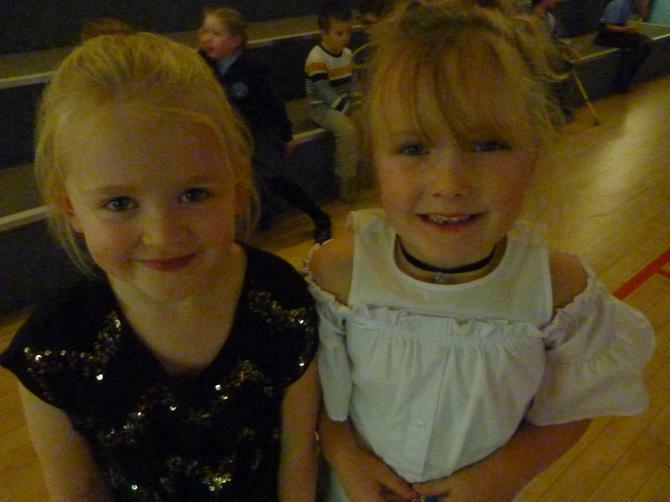 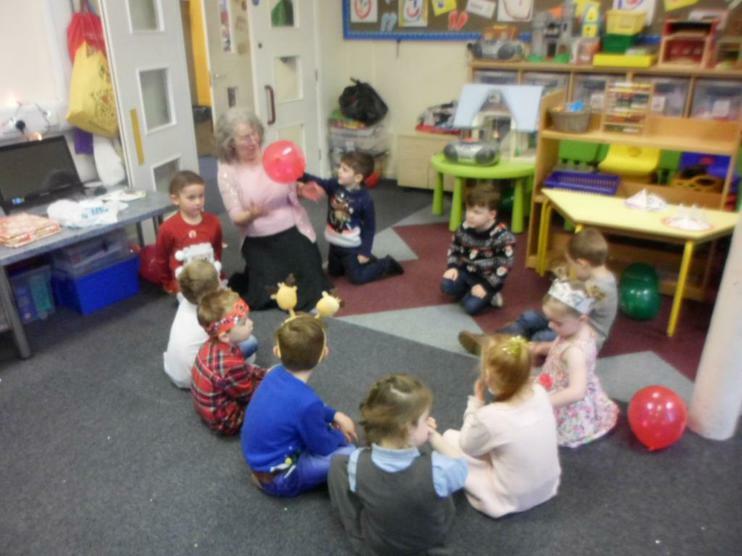 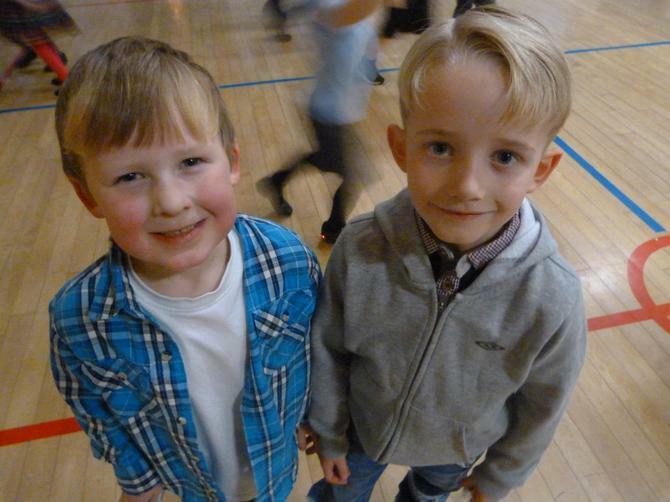 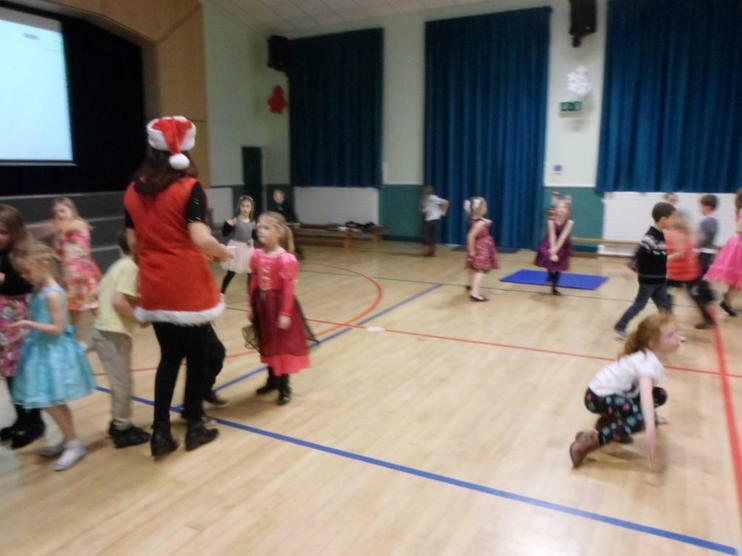 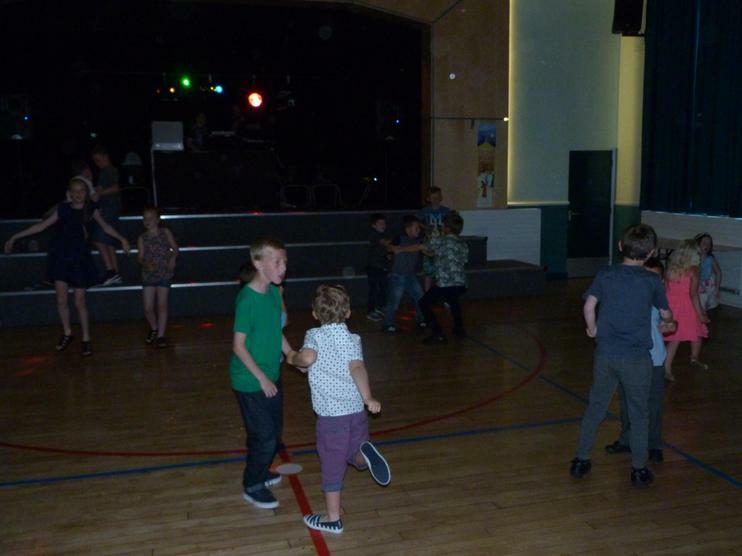 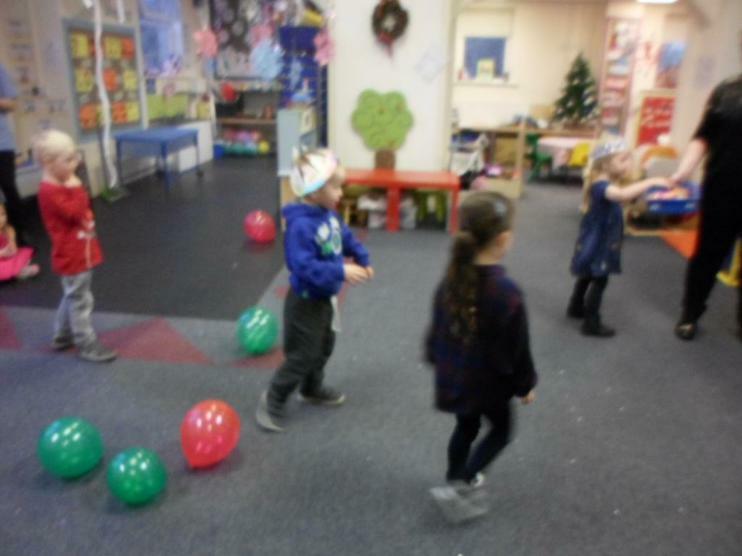 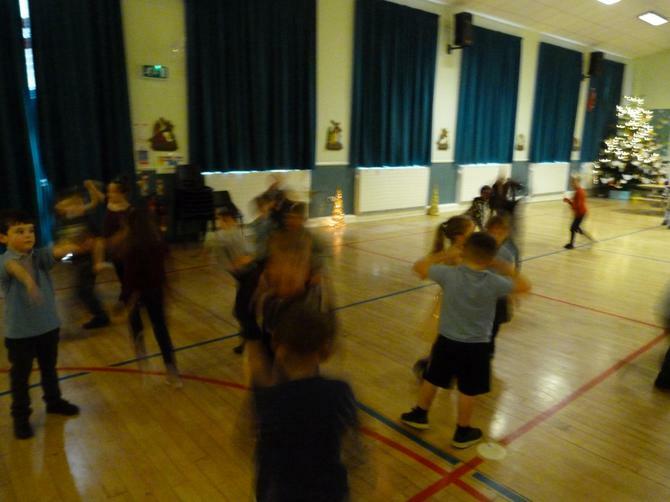 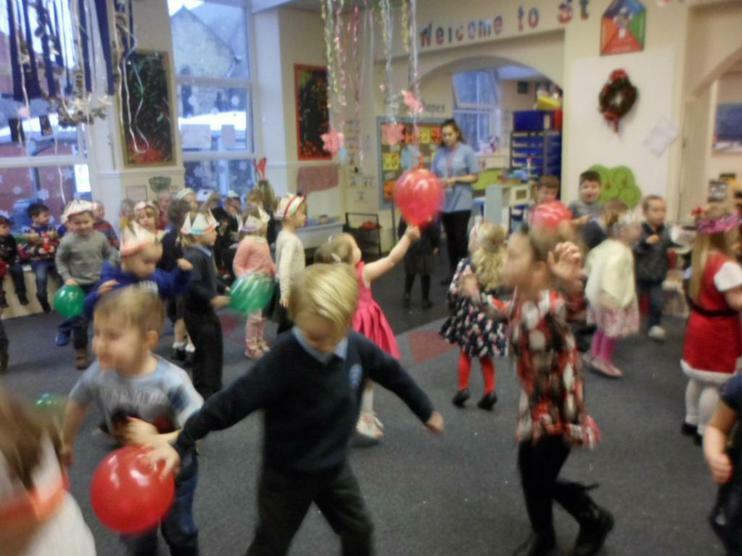 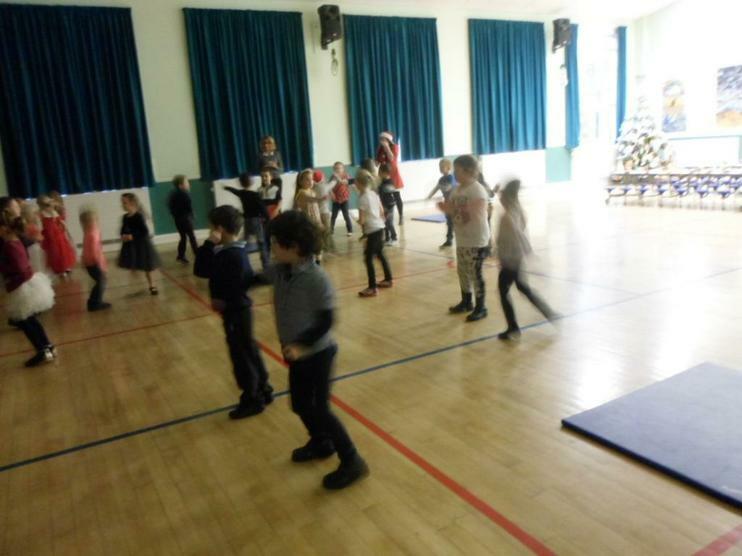 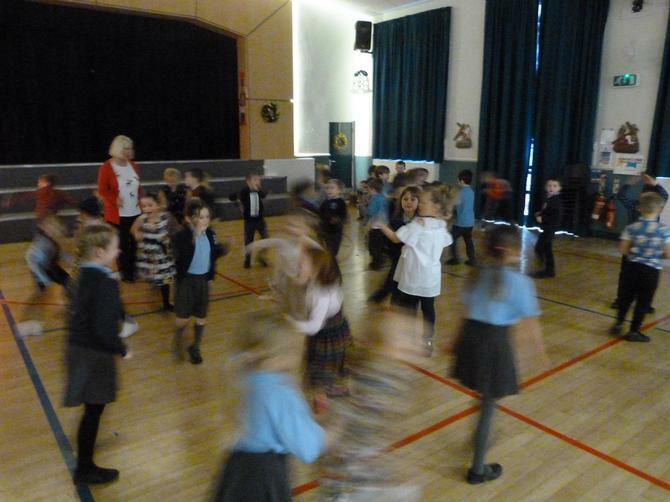 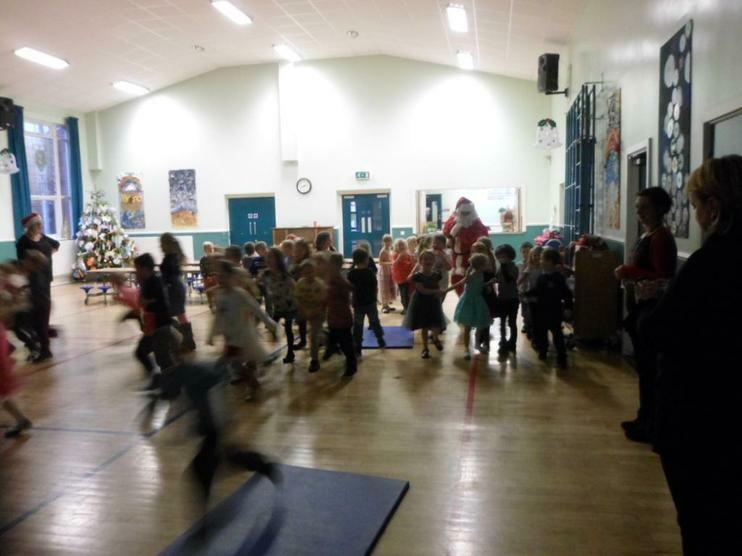 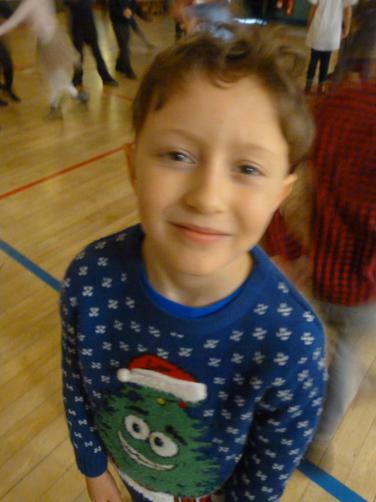 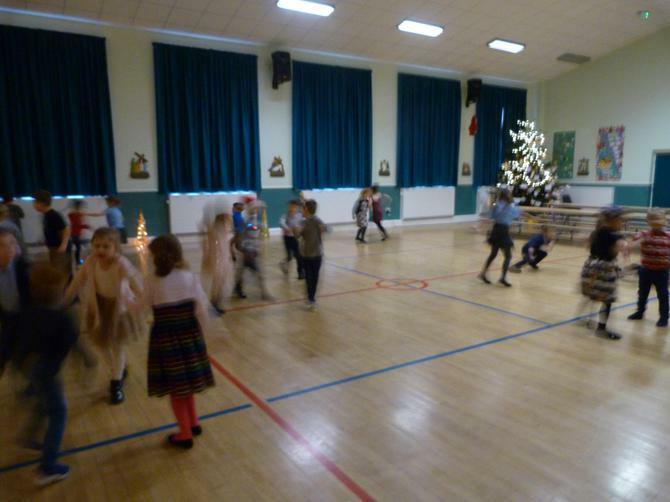 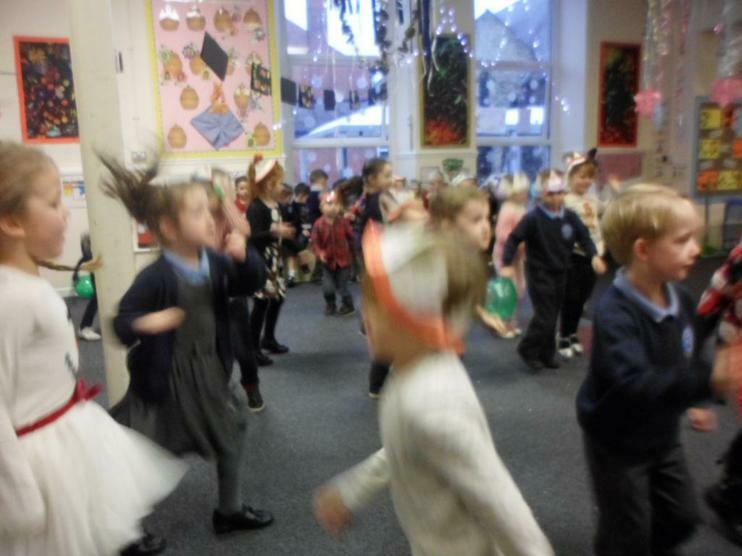 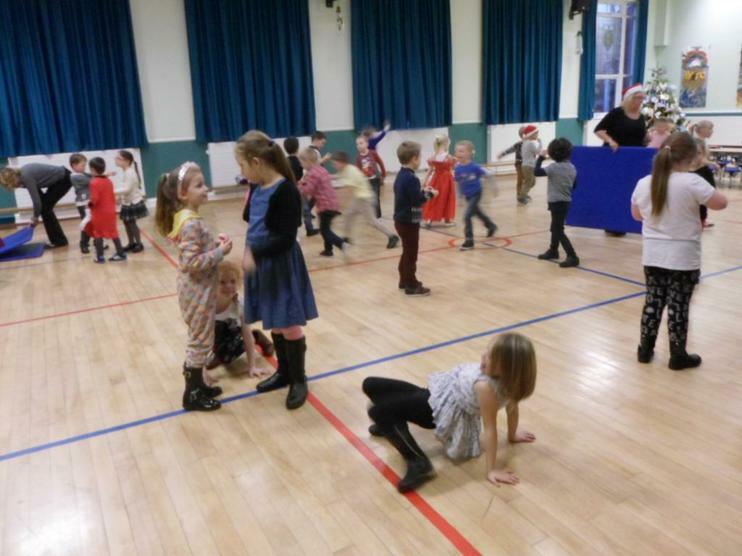 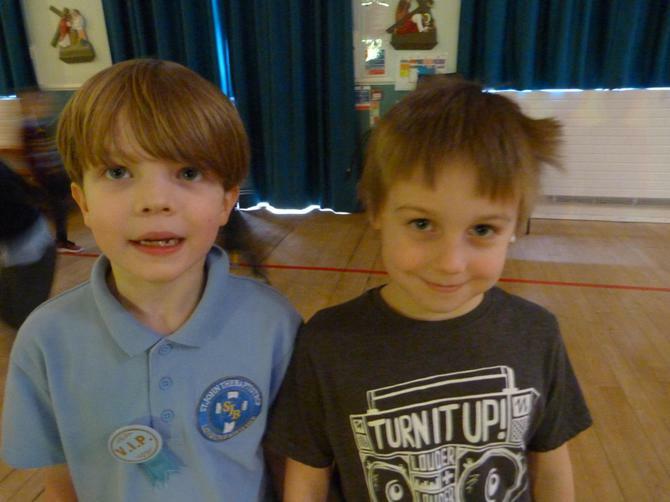 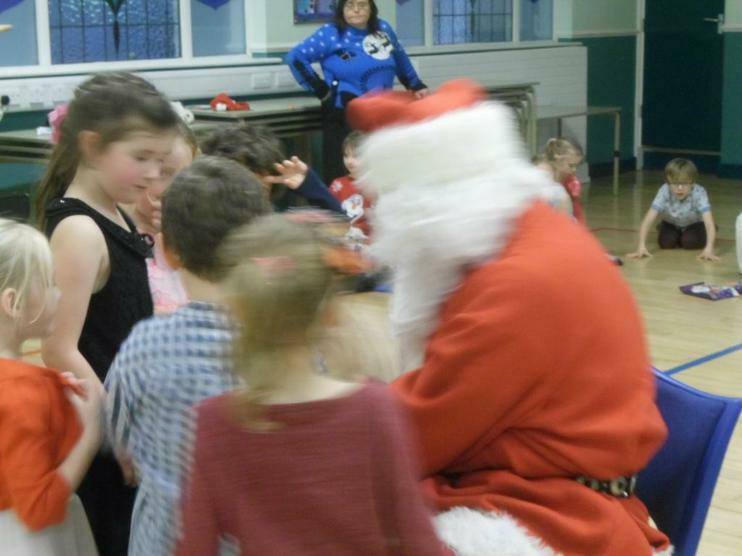 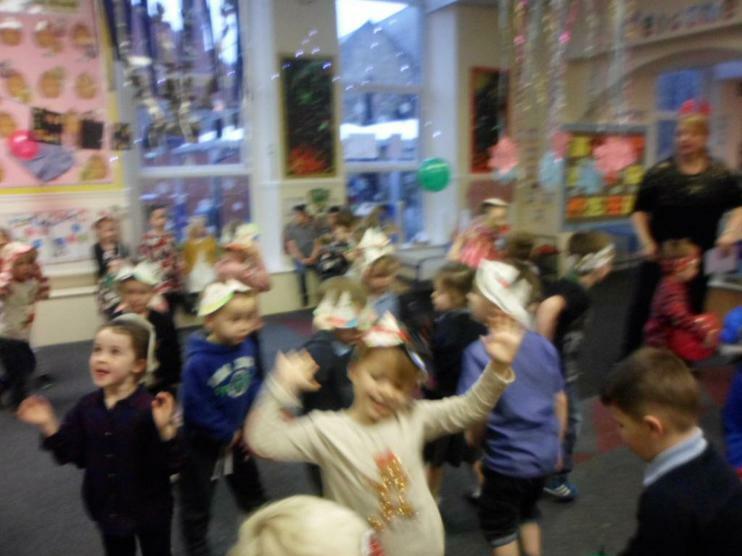 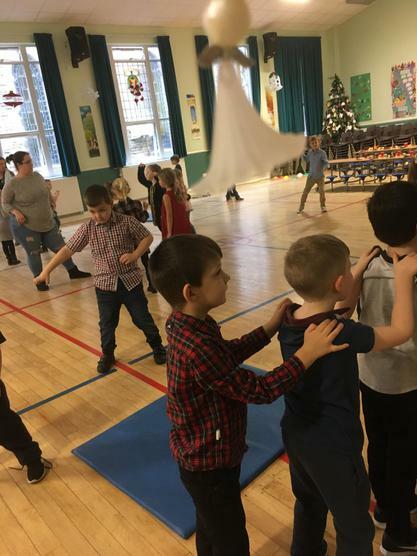 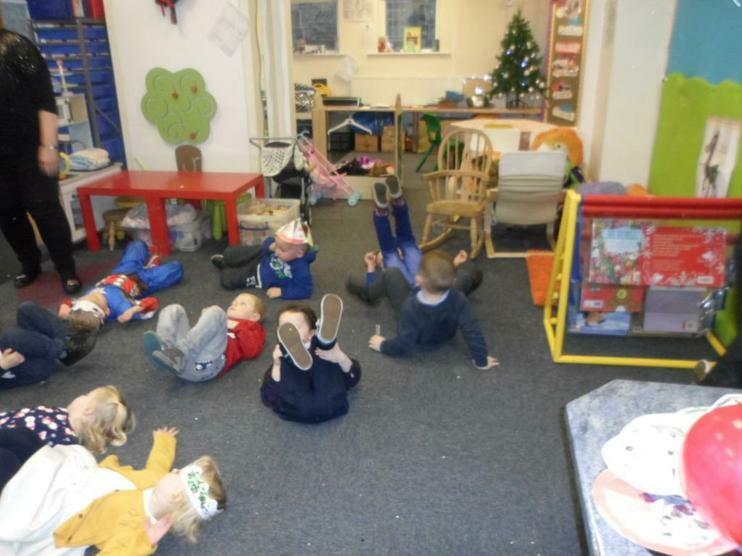 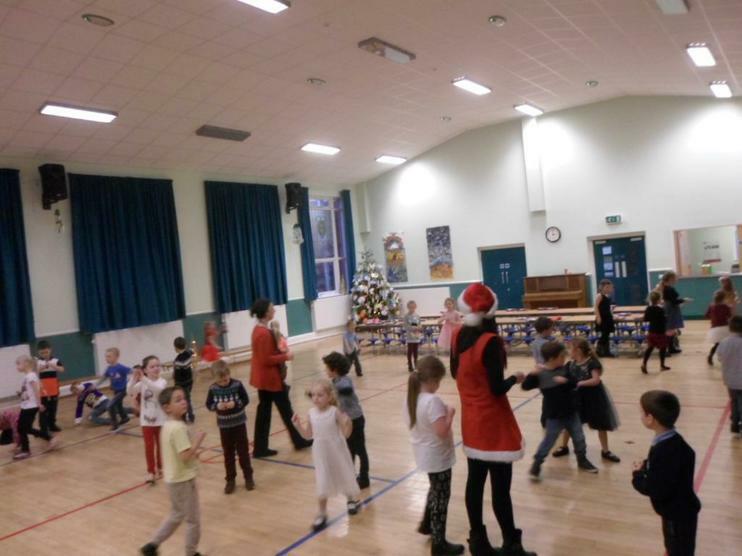 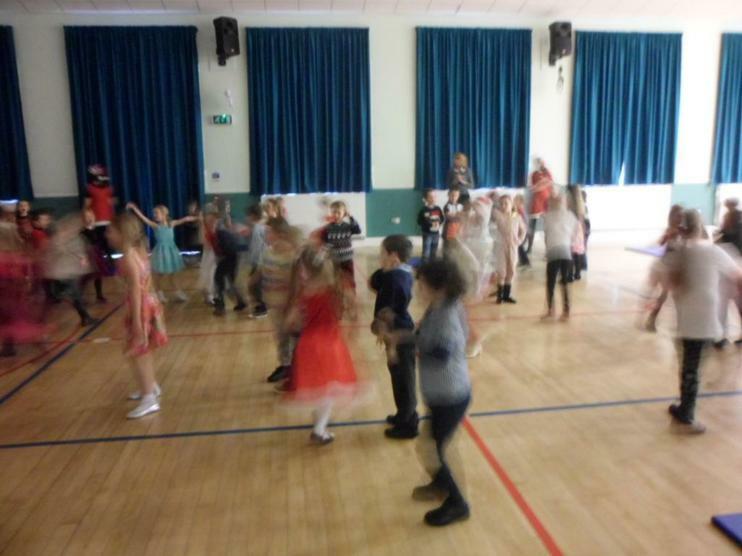 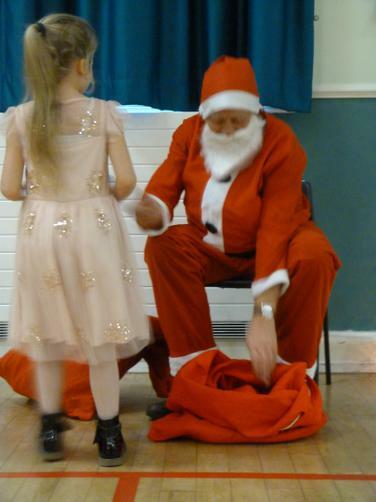 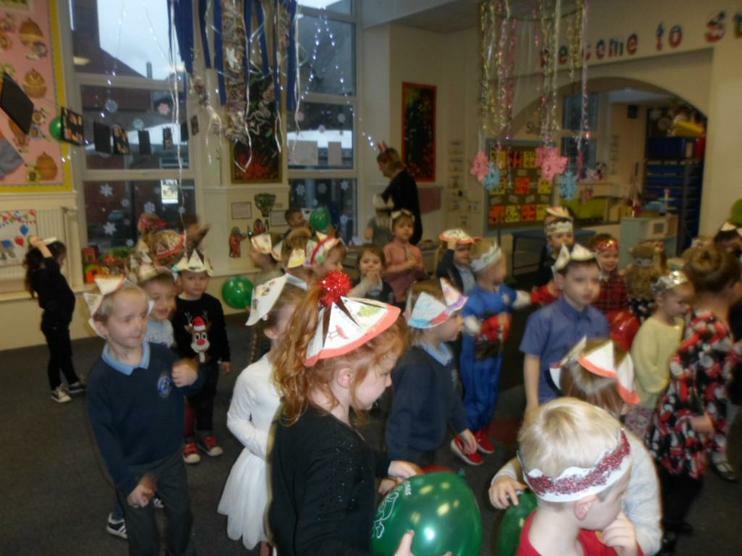 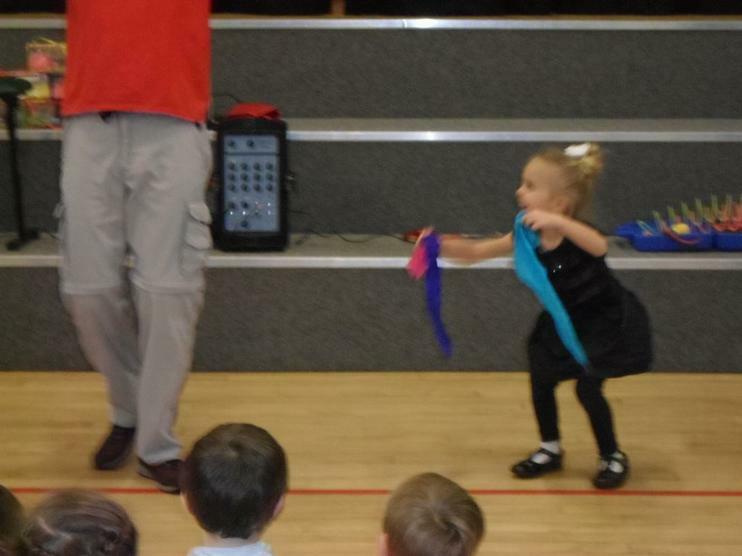 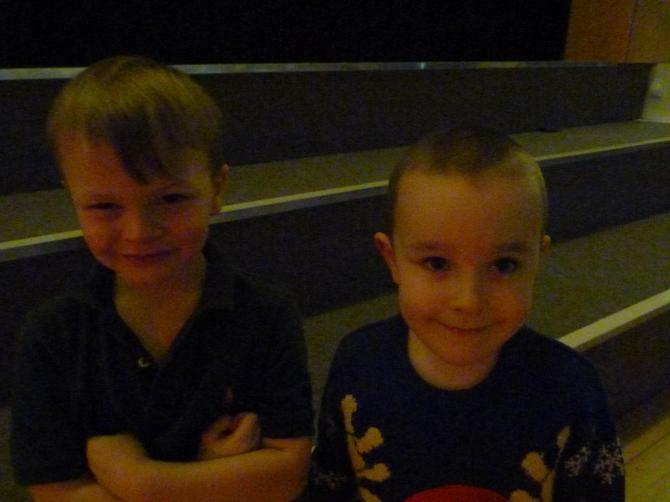 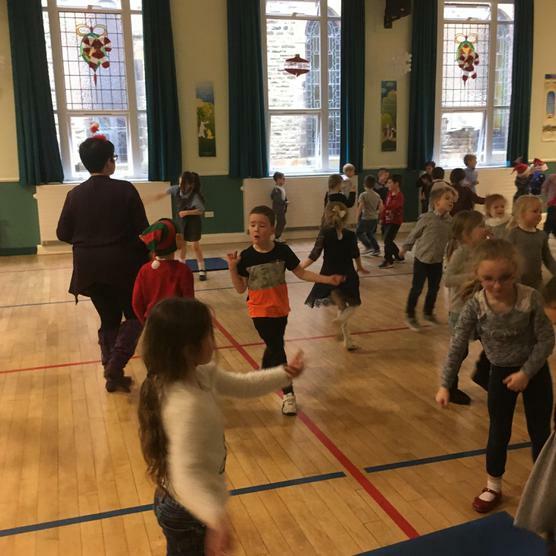 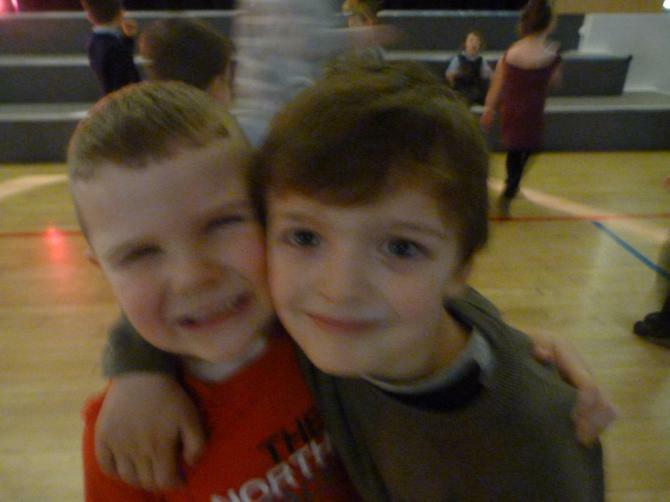 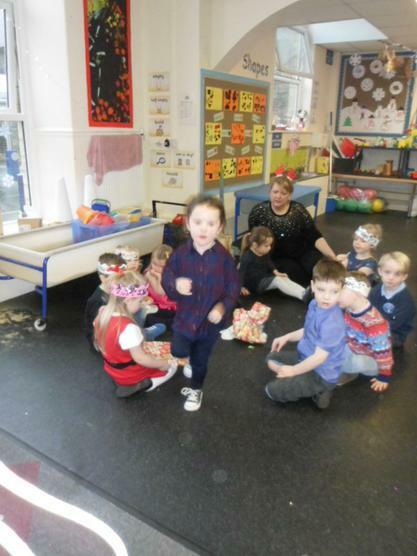 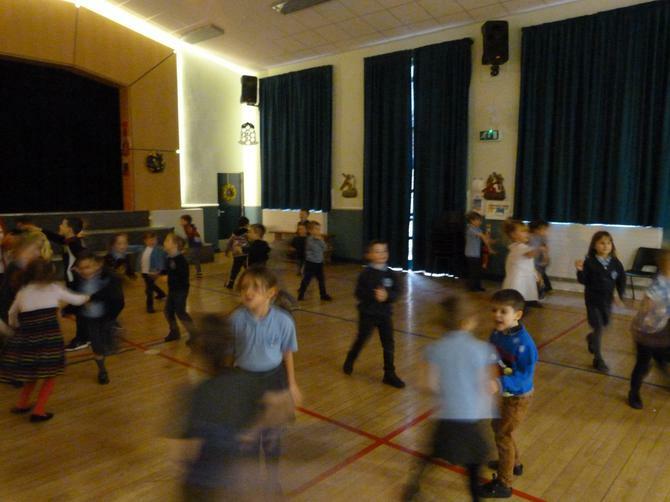 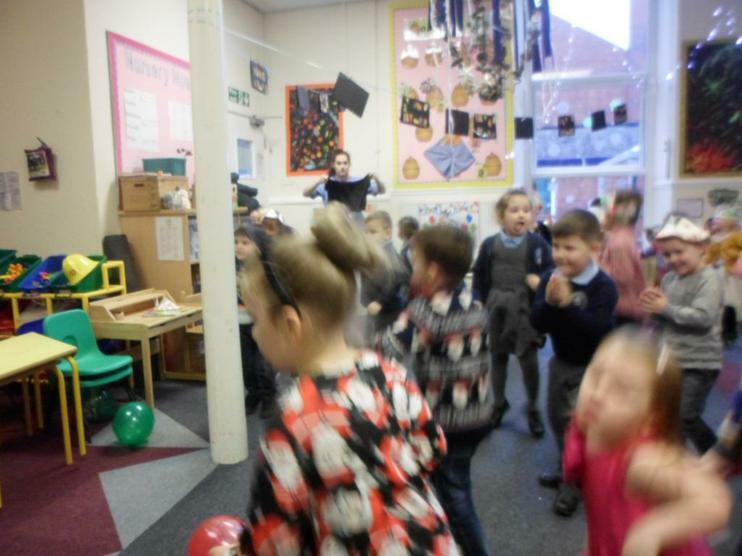 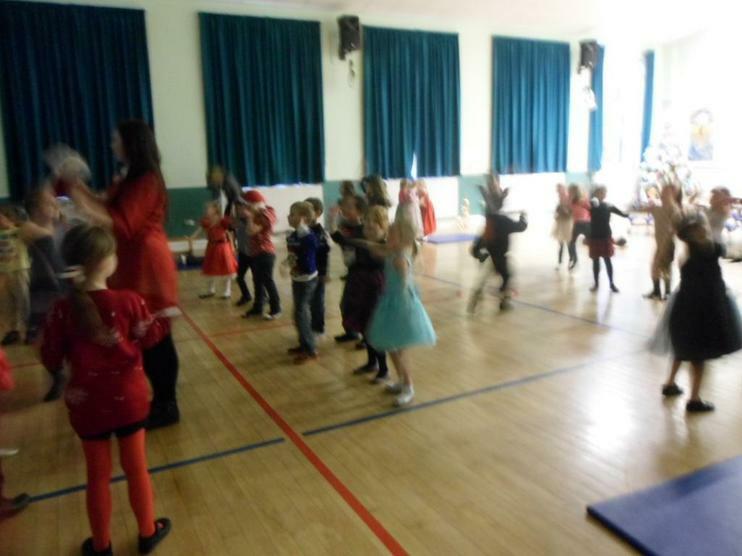 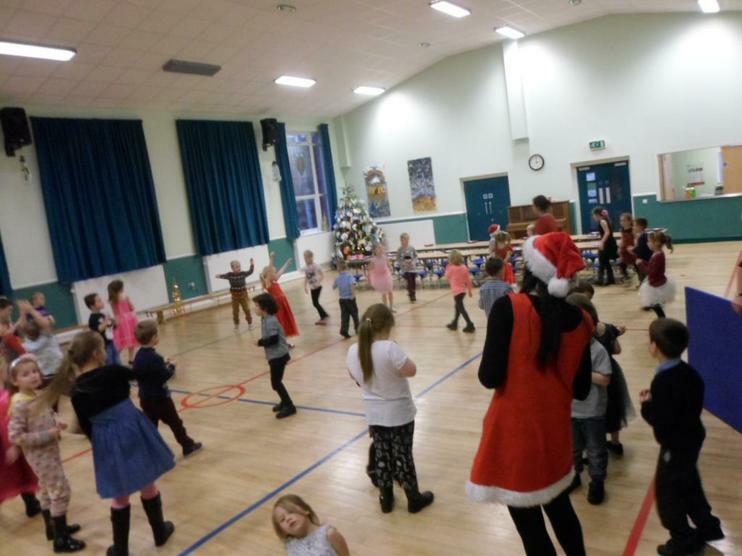 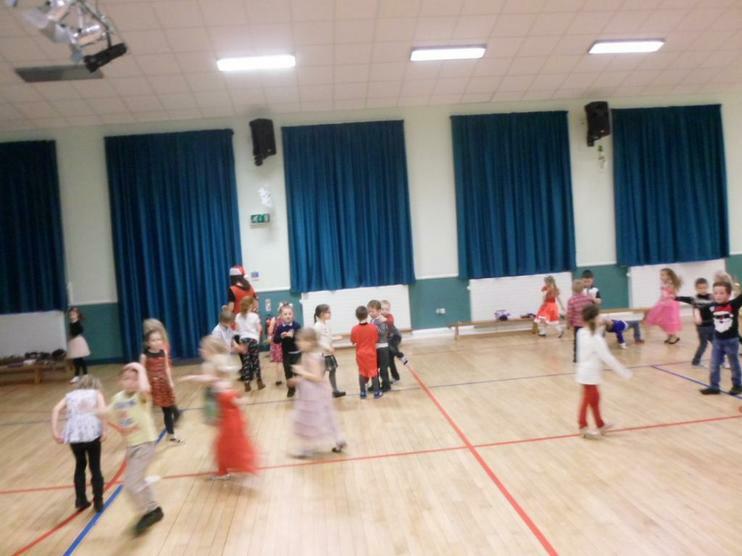 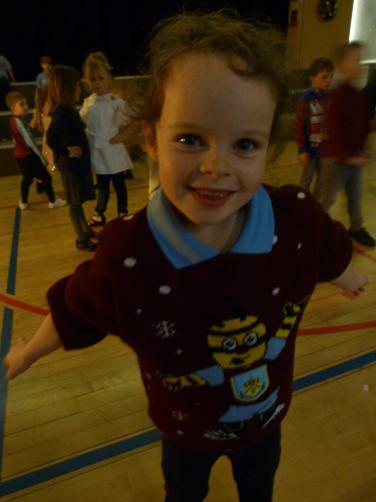 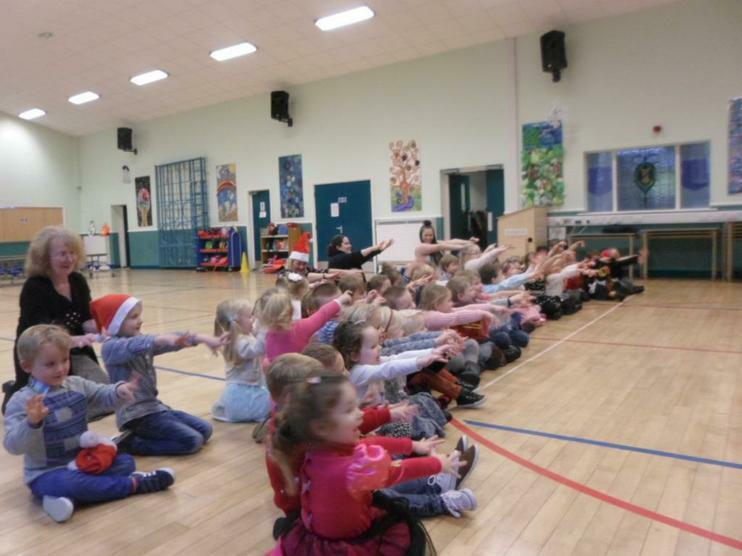 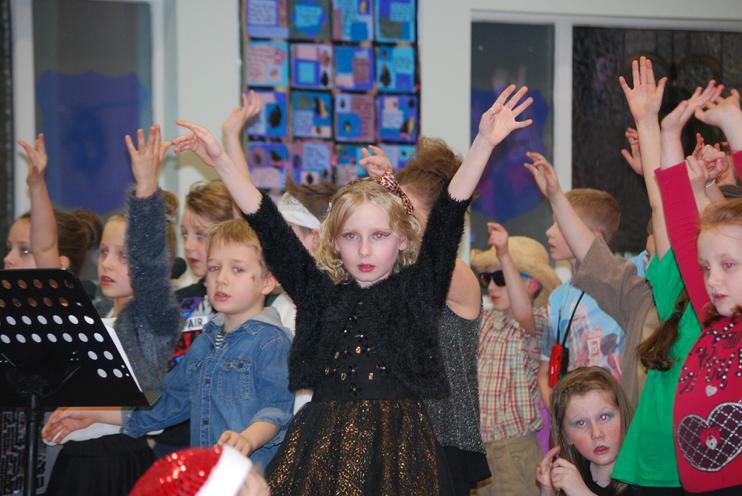 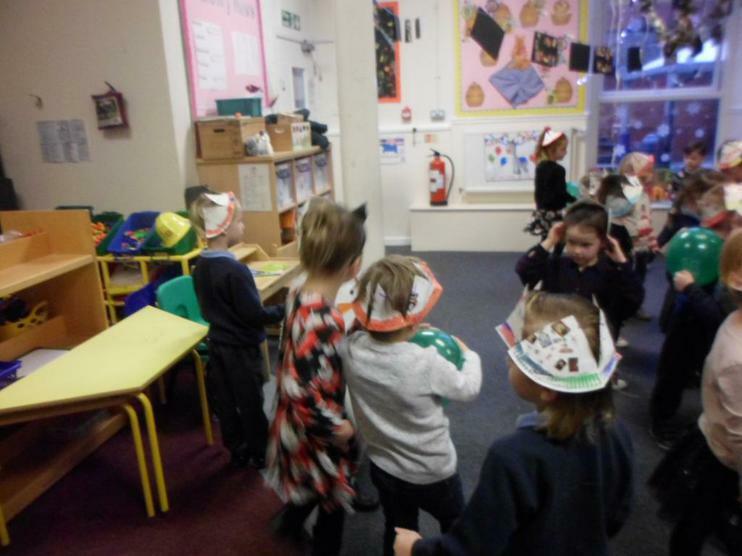 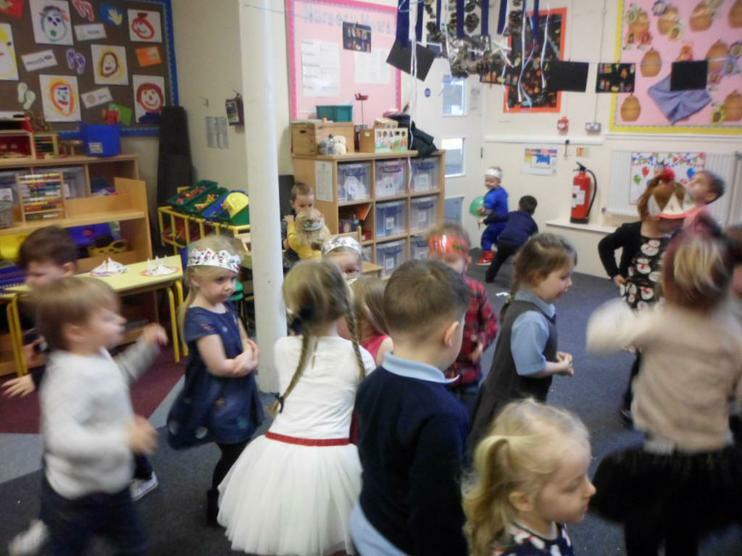 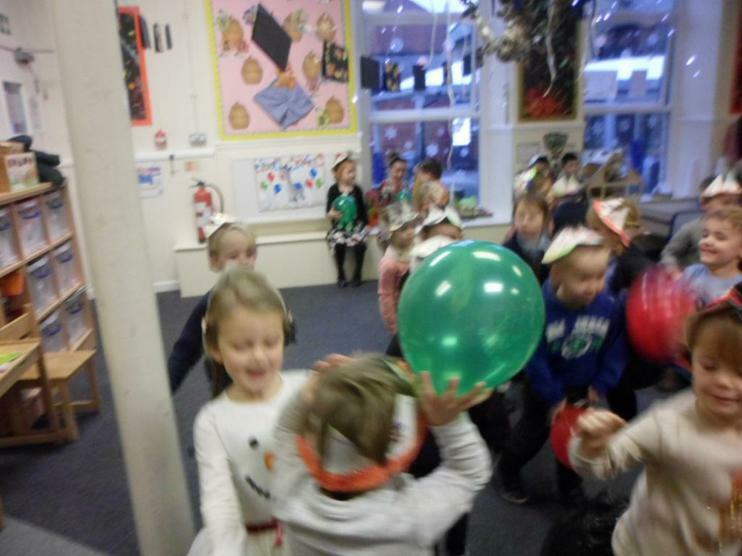 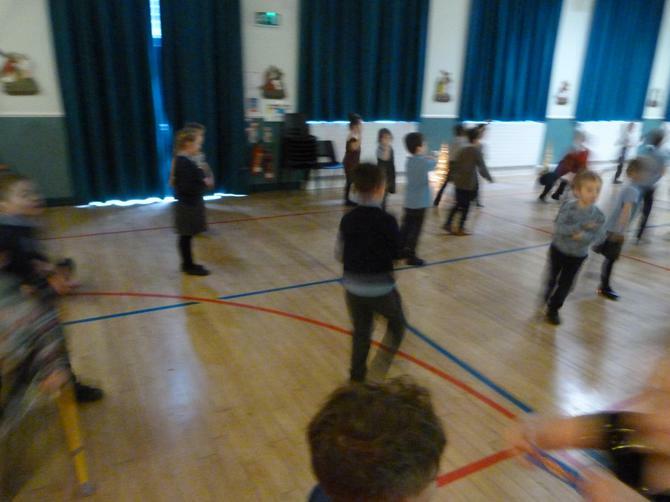 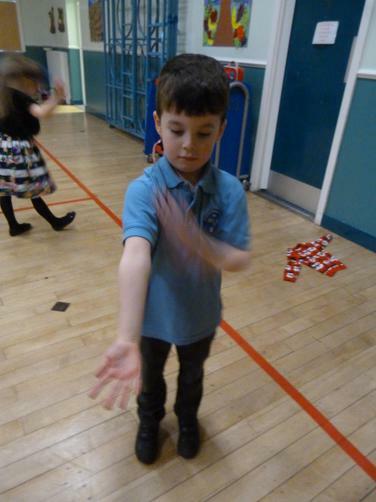 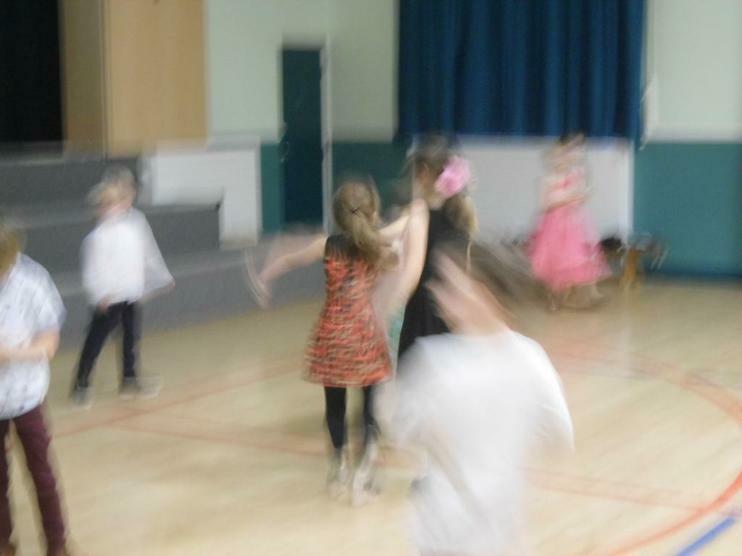 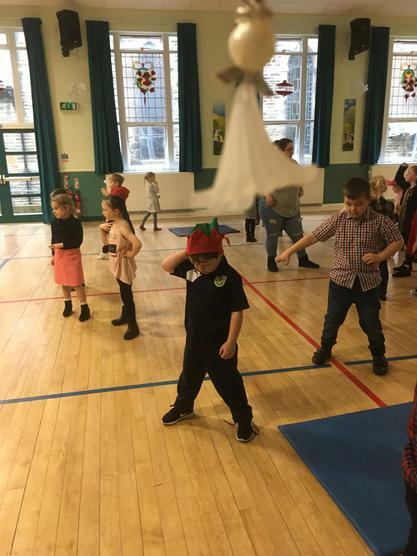 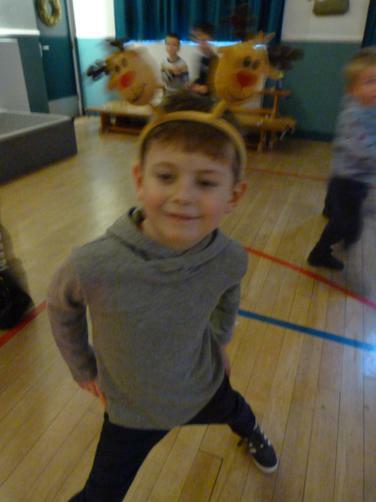 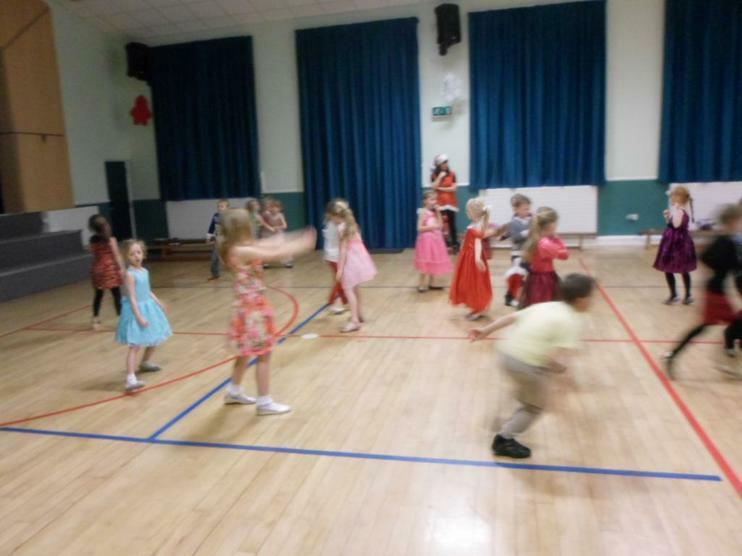 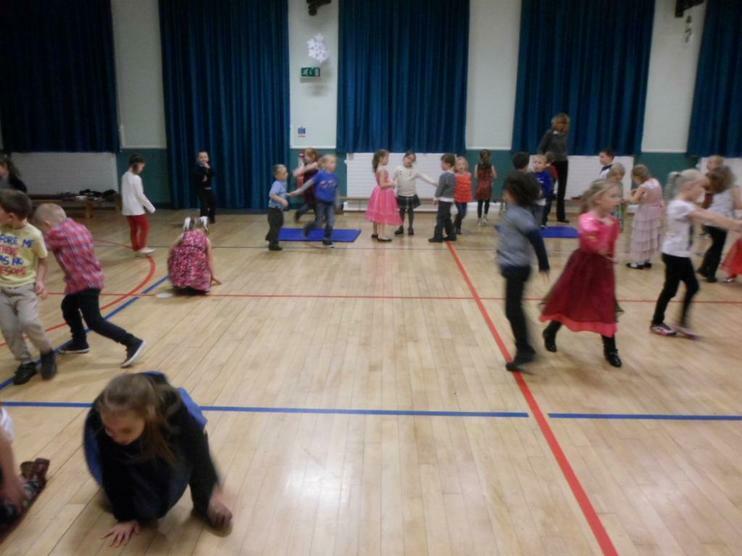 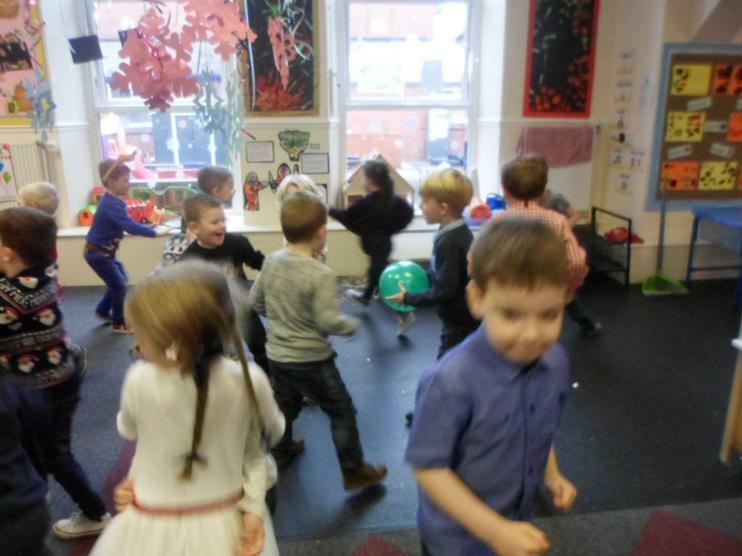 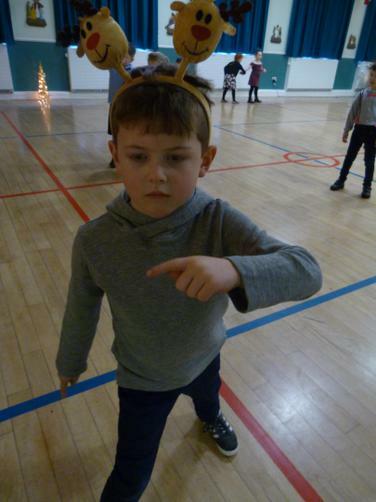 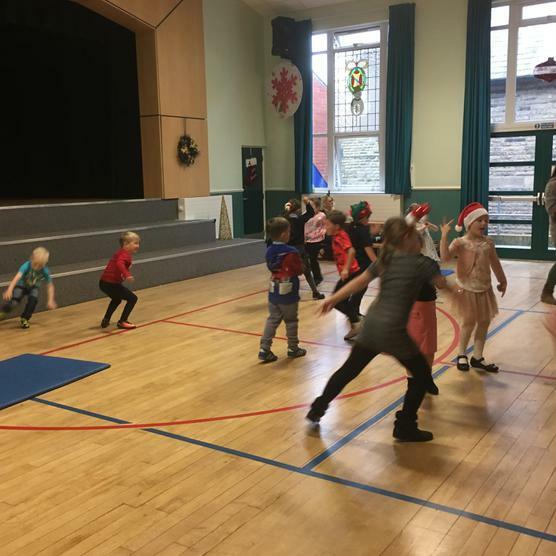 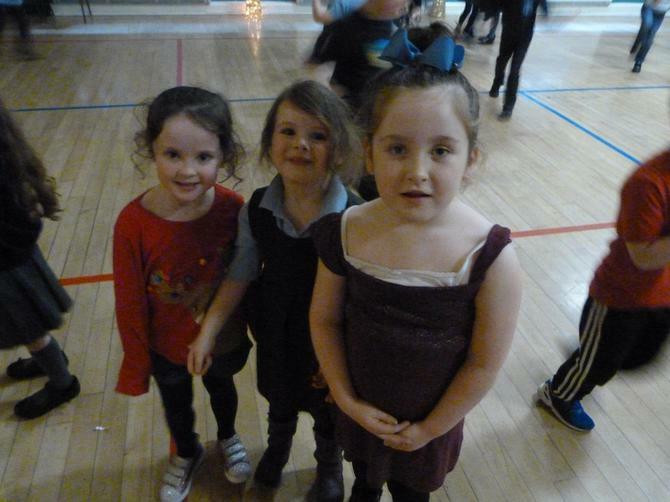 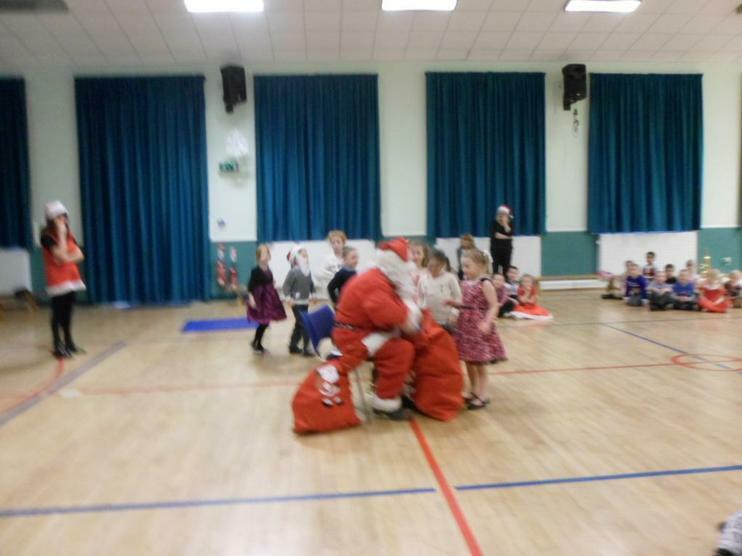 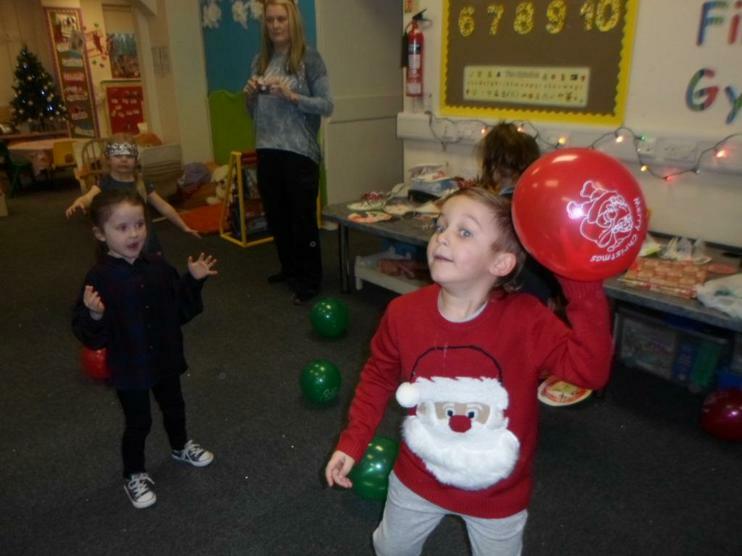 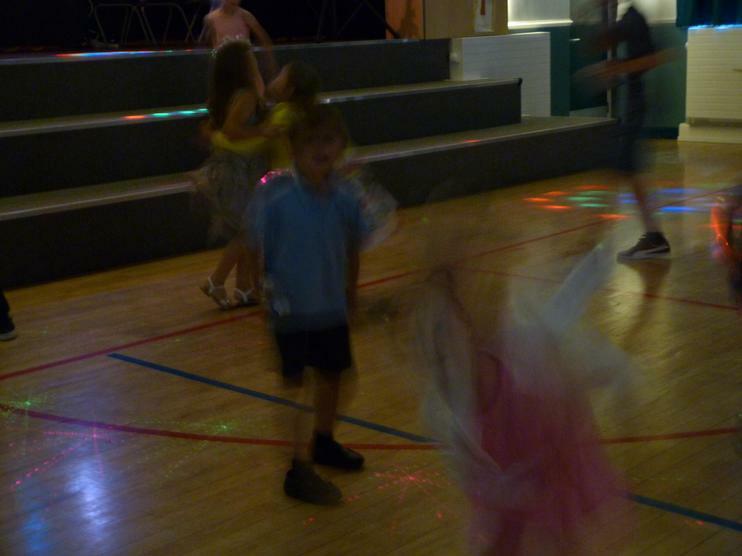 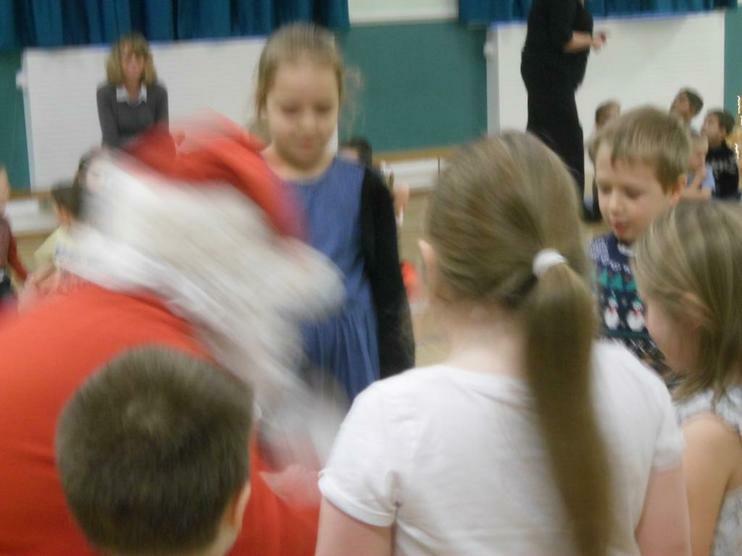 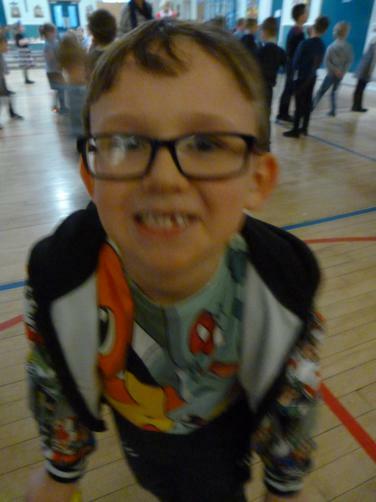 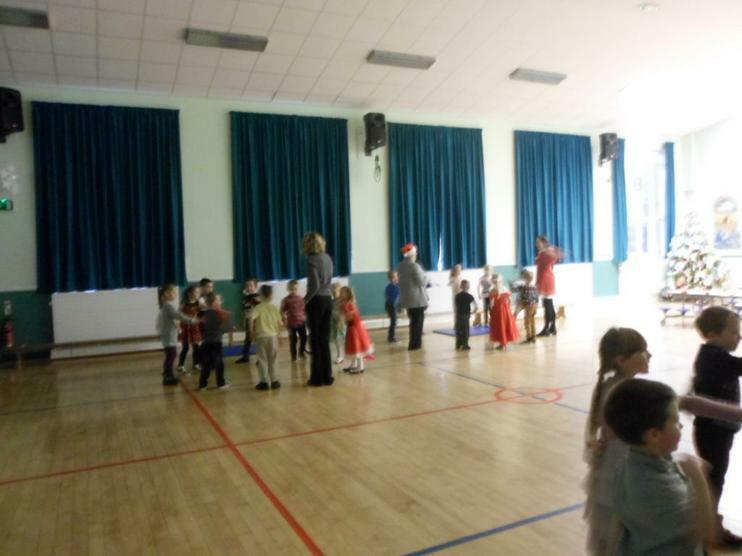 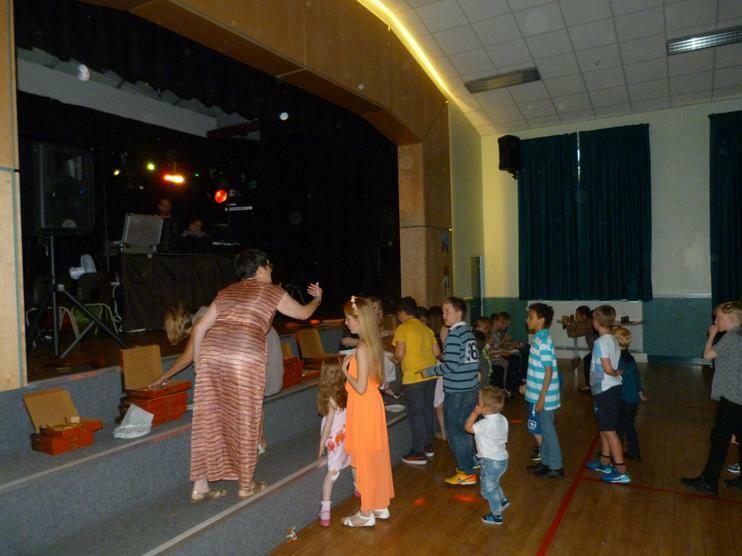 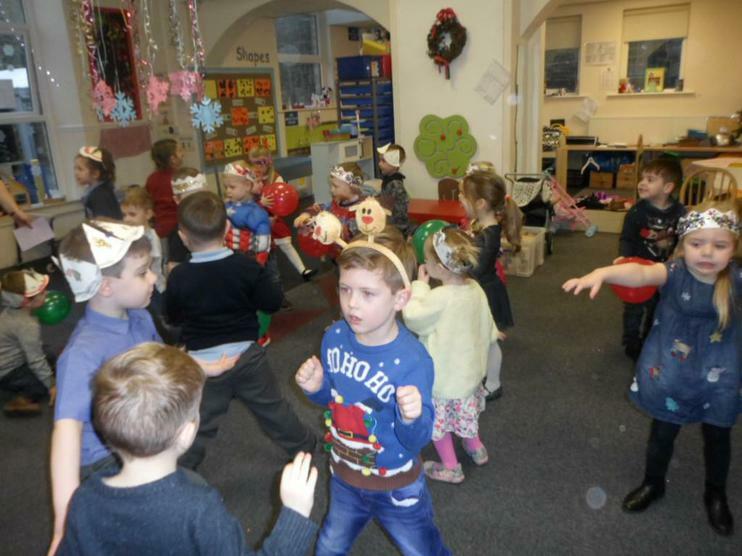 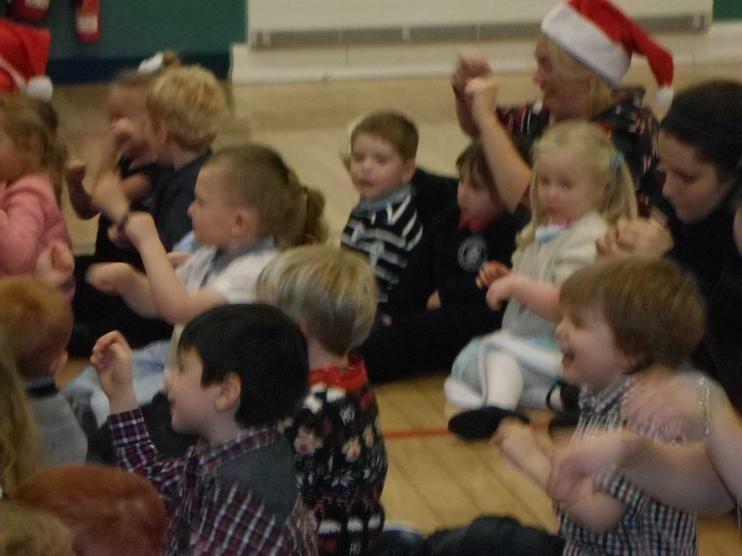 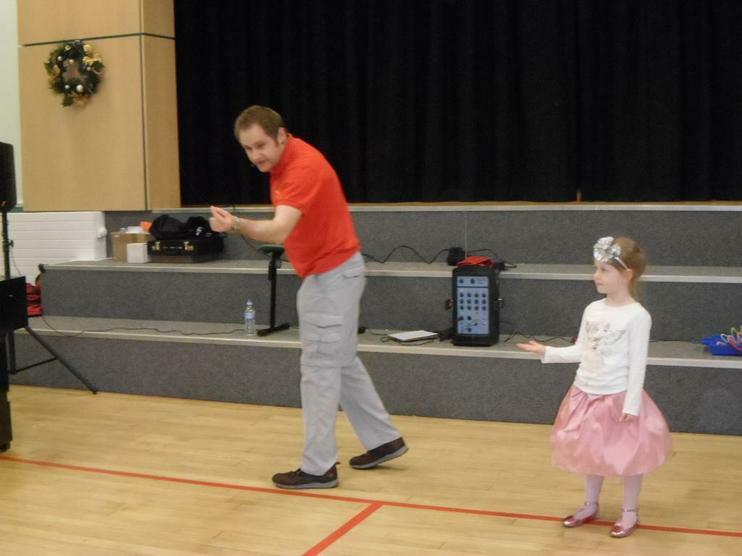 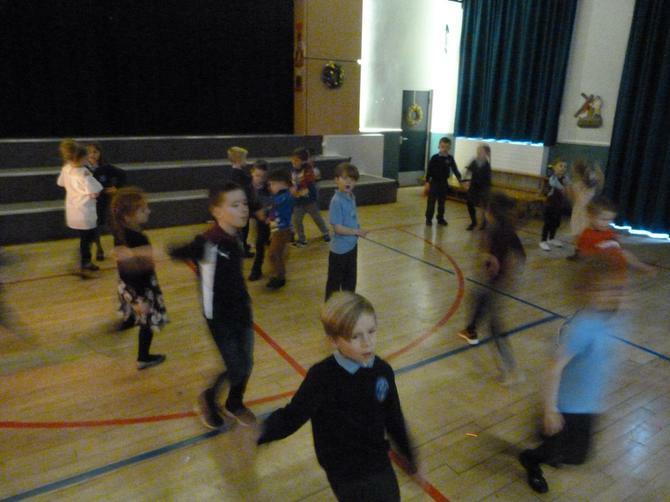 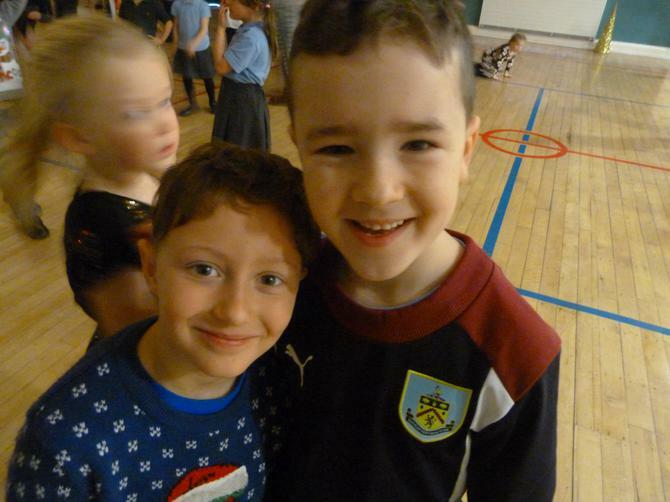 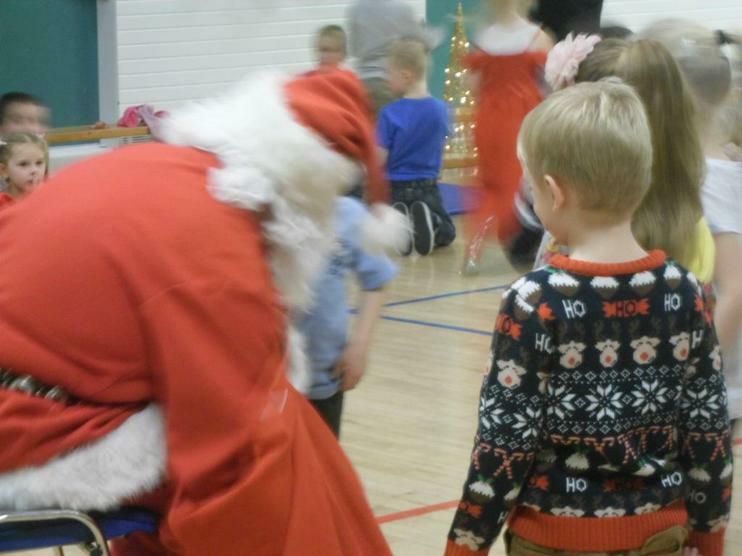 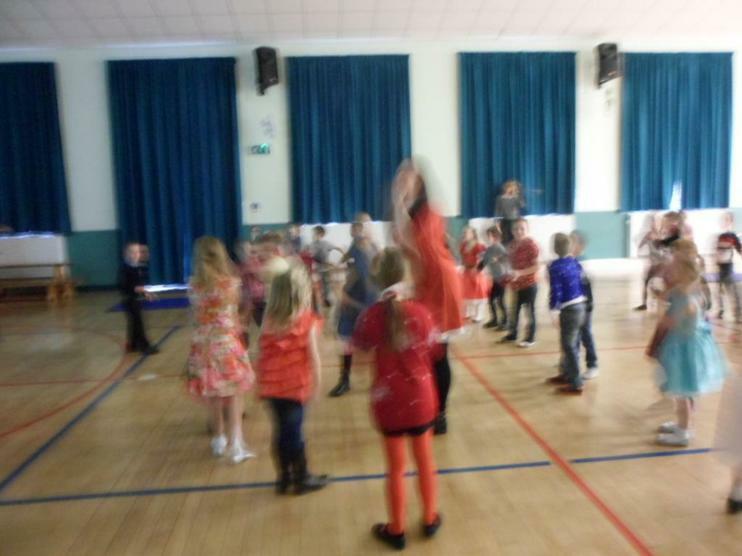 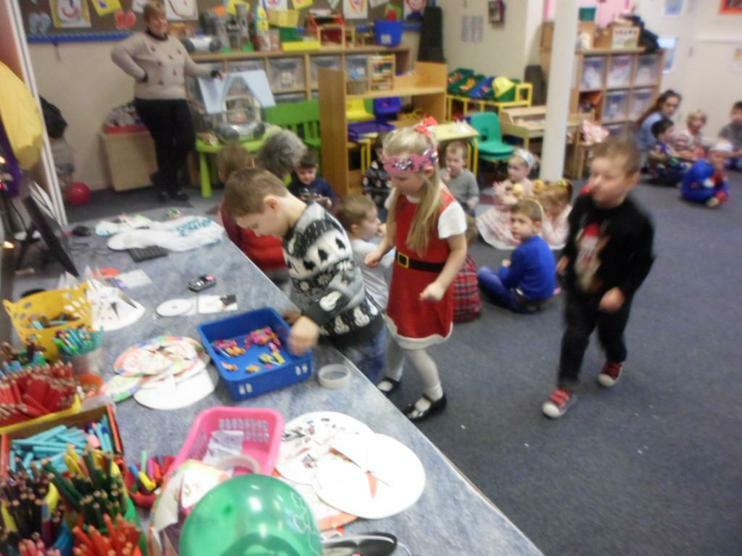 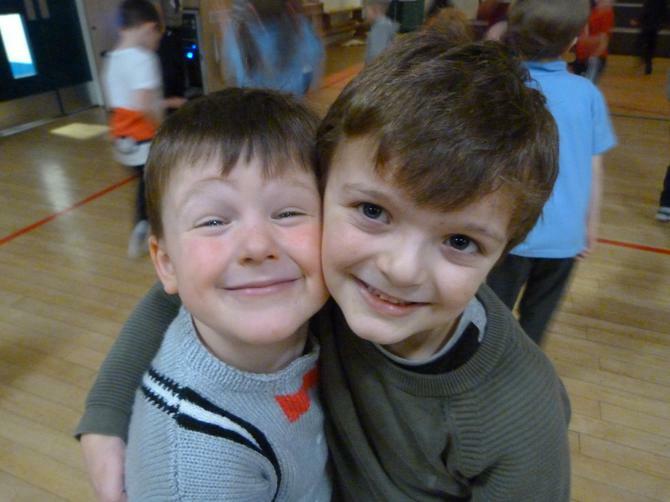 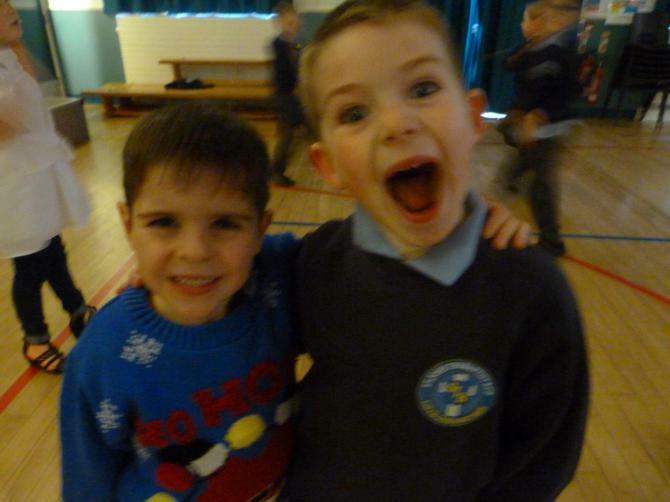 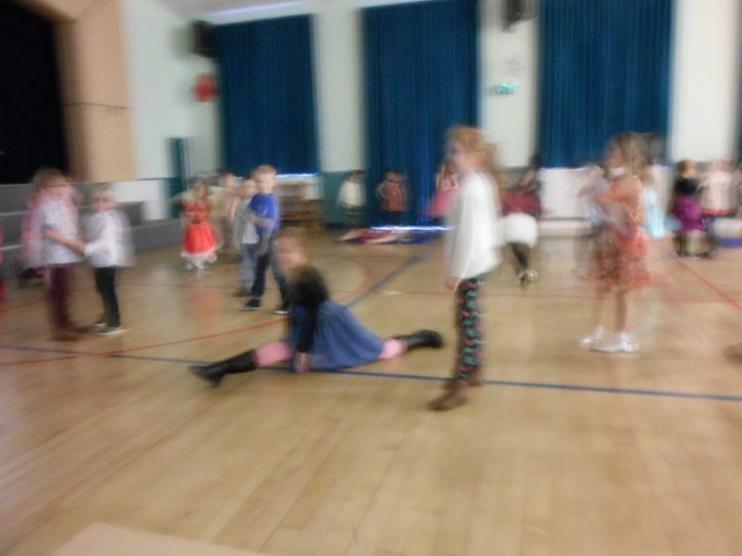 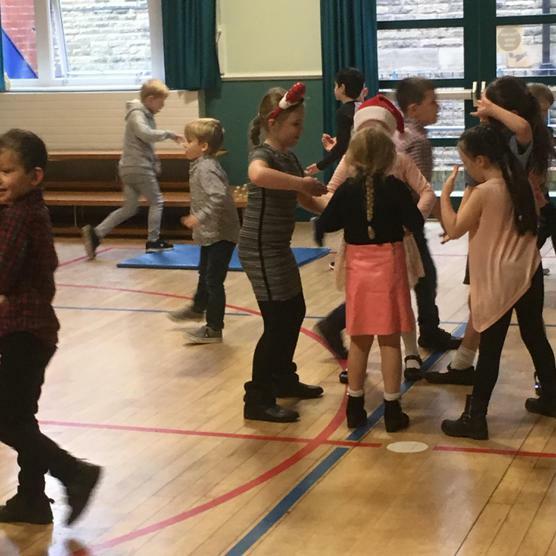 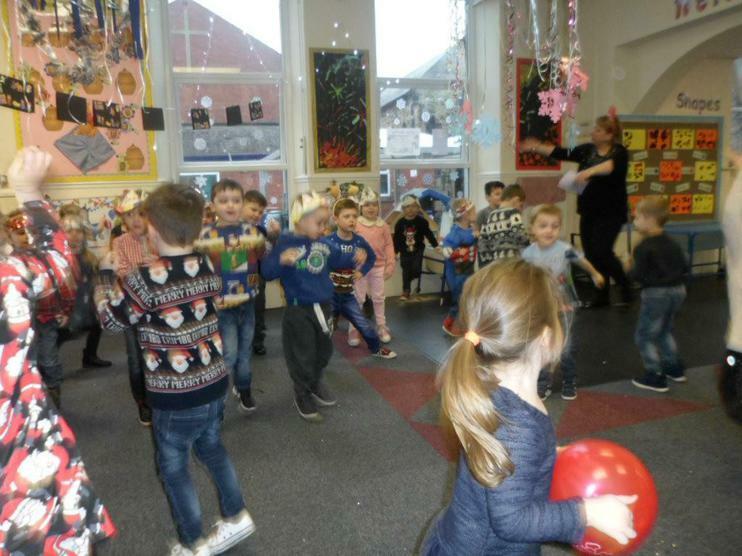 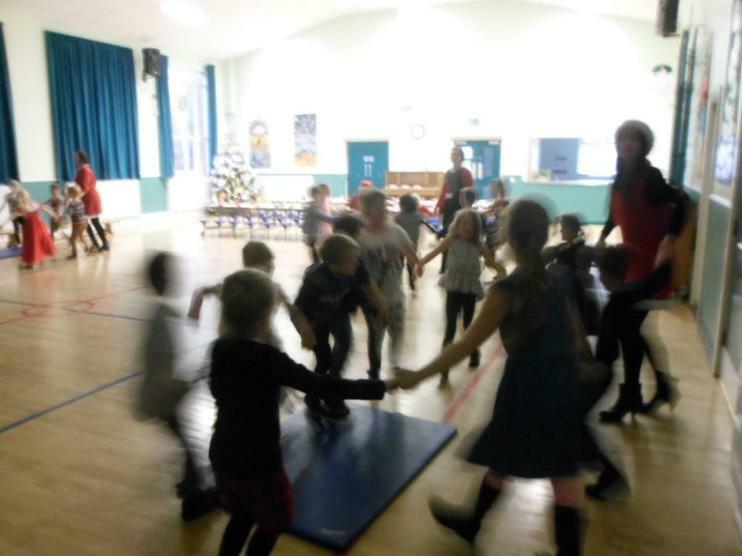 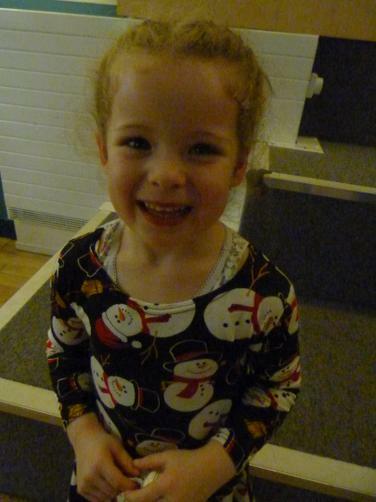 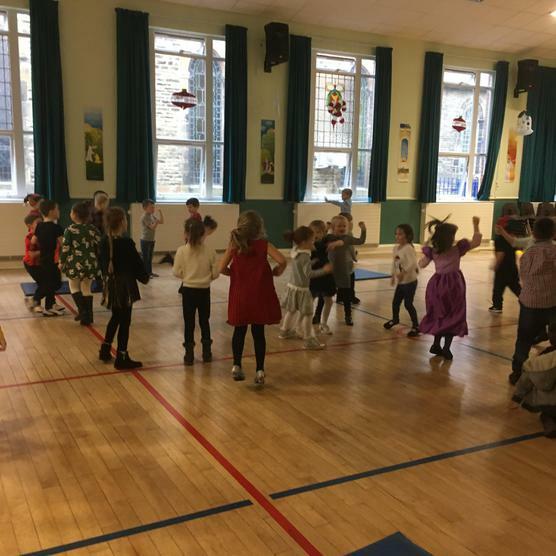 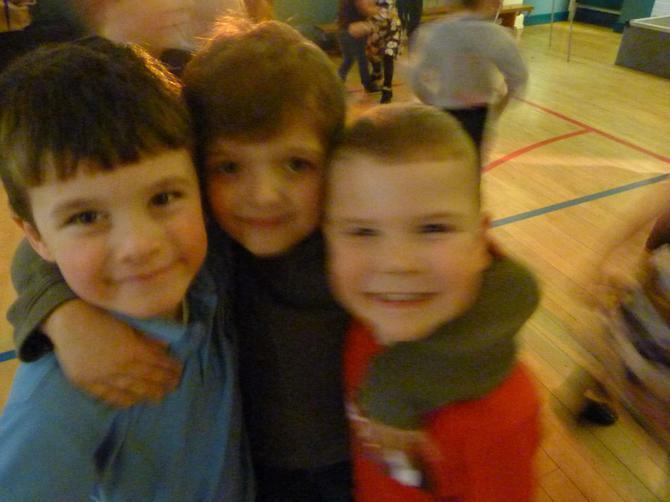 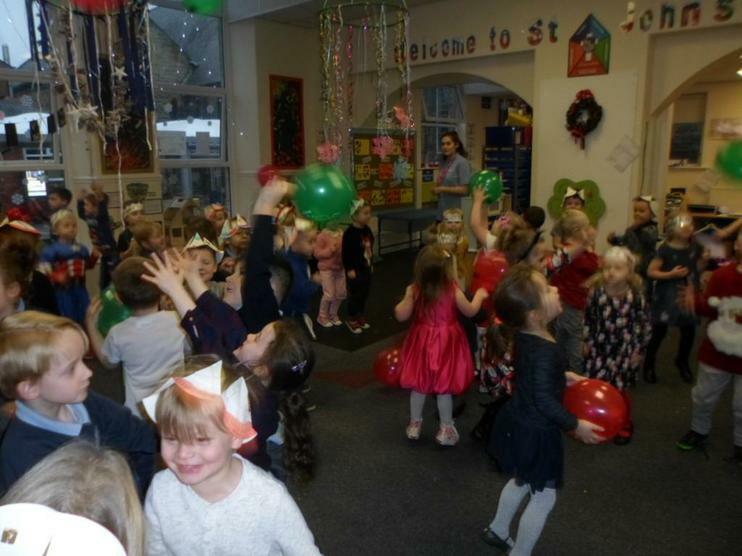 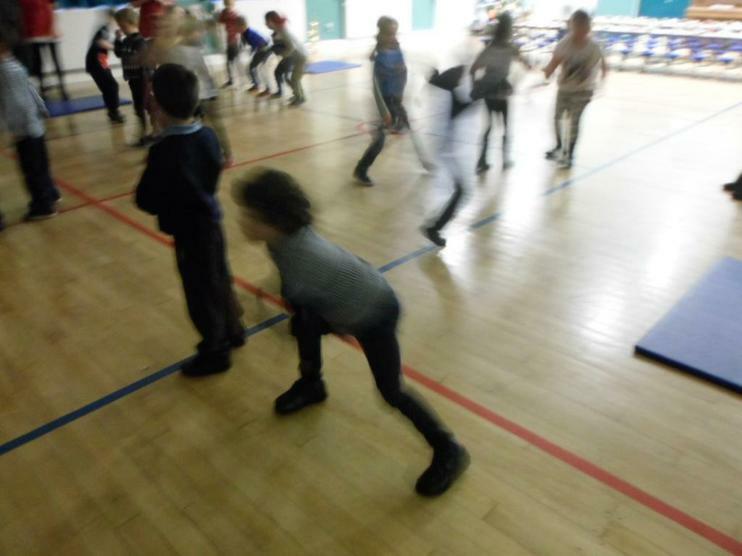 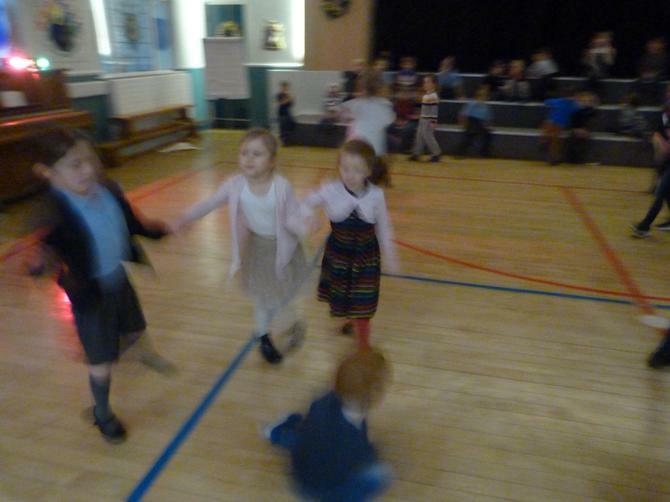 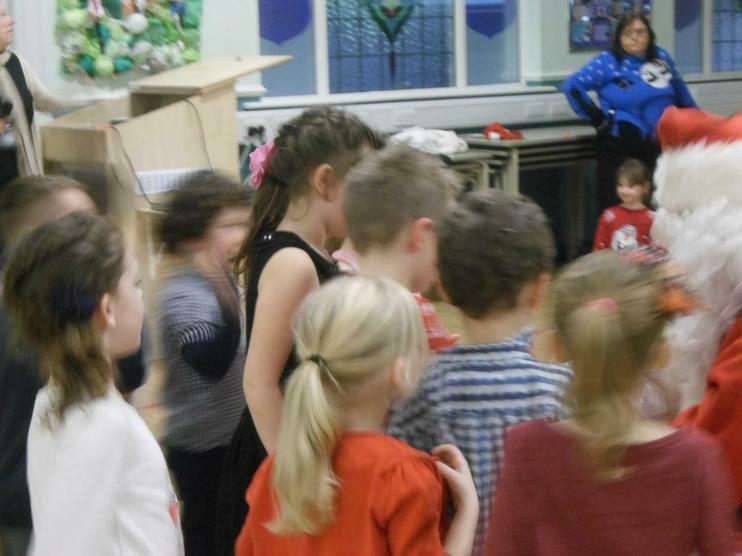 KS 1 Christmas Party involved lots of Dancing! 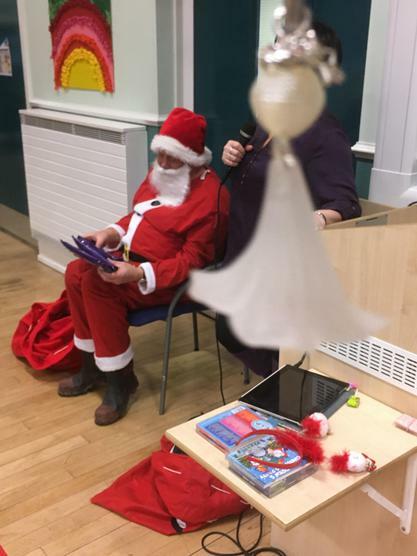 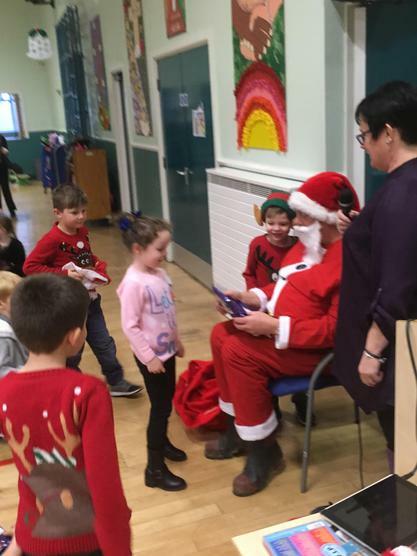 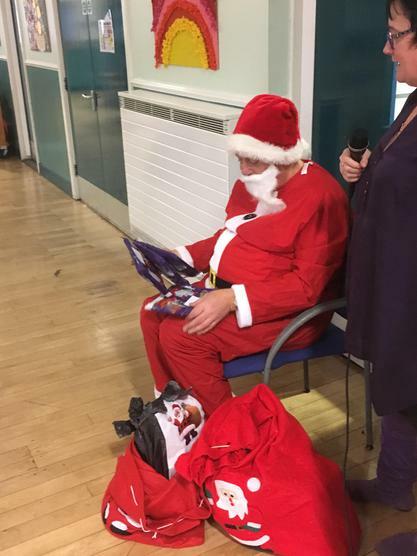 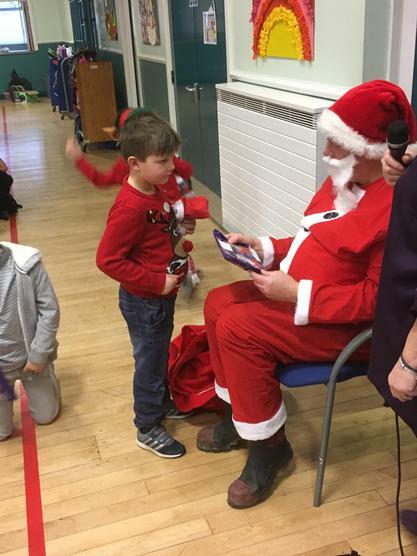 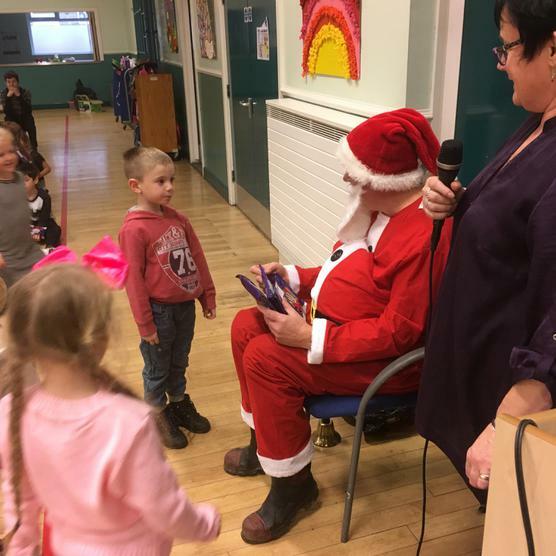 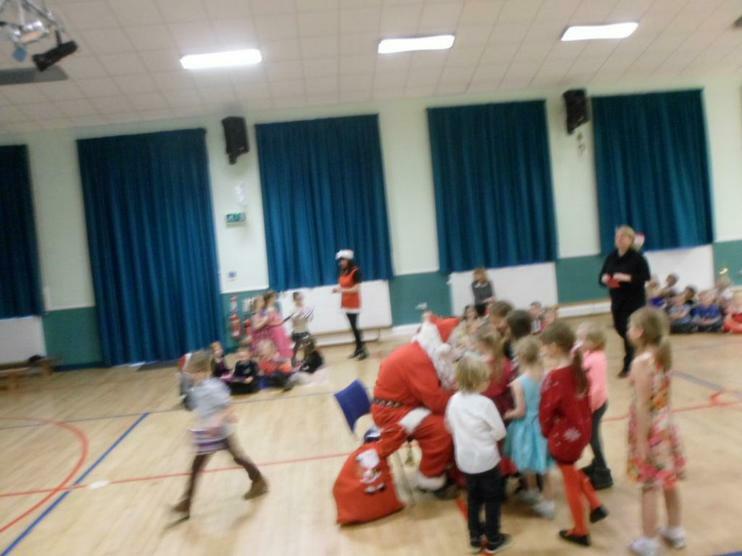 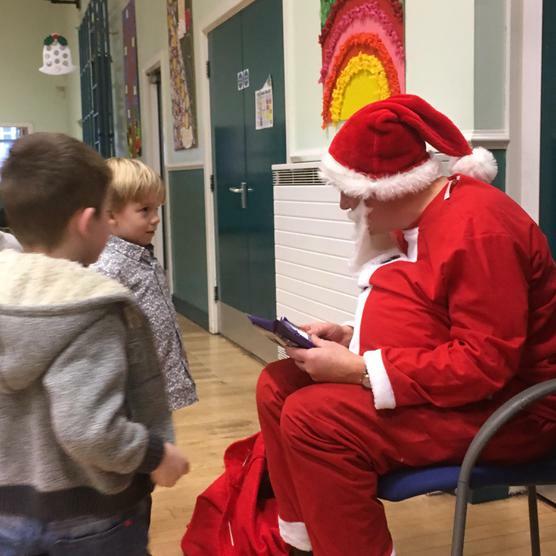 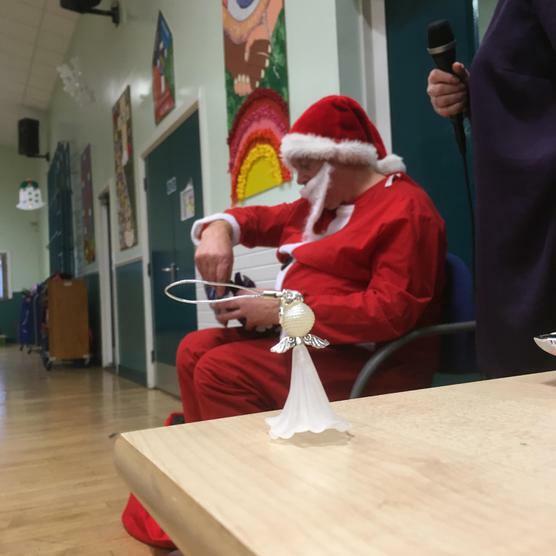 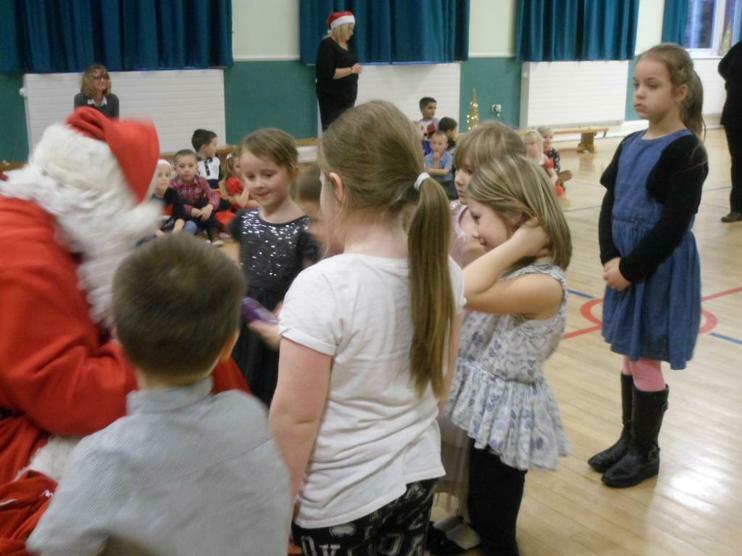 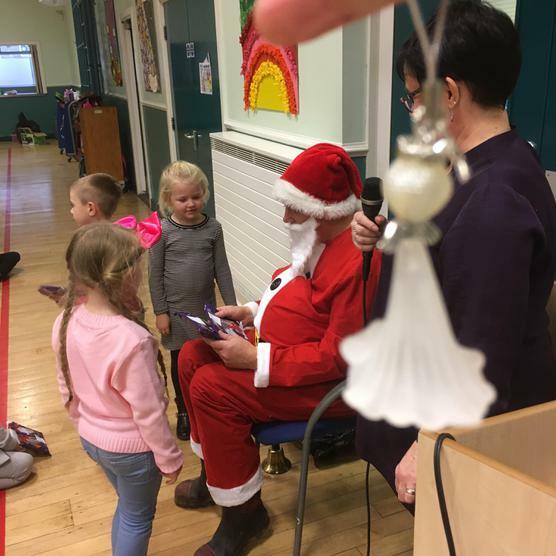 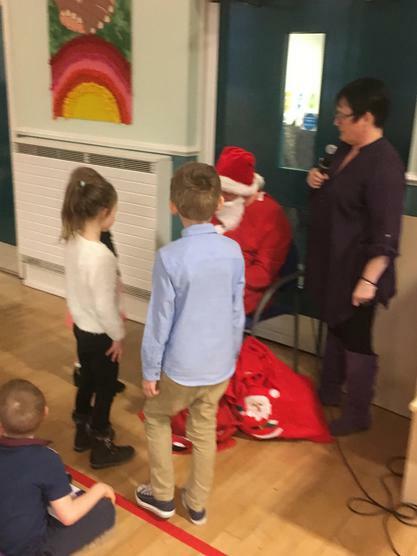 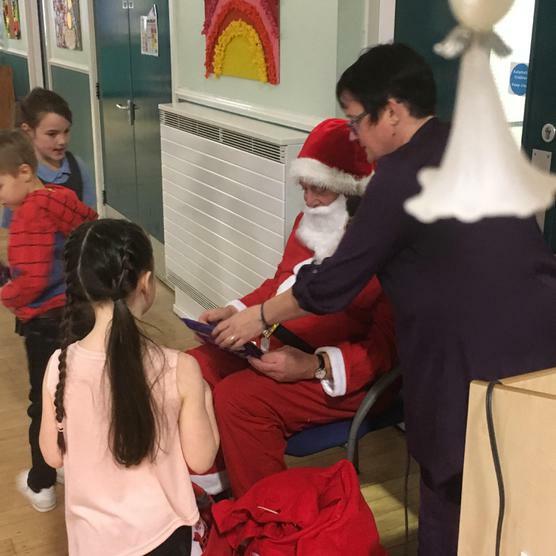 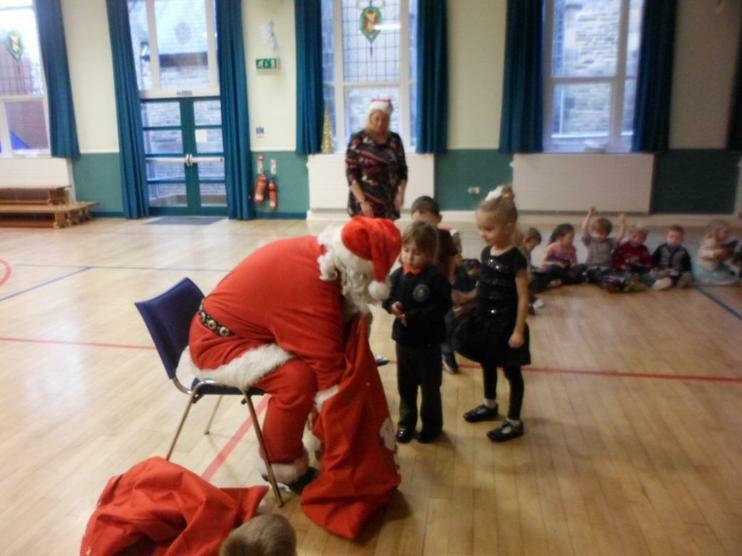 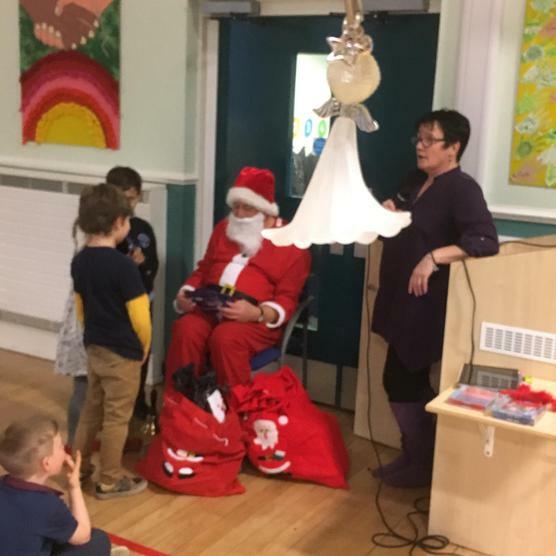 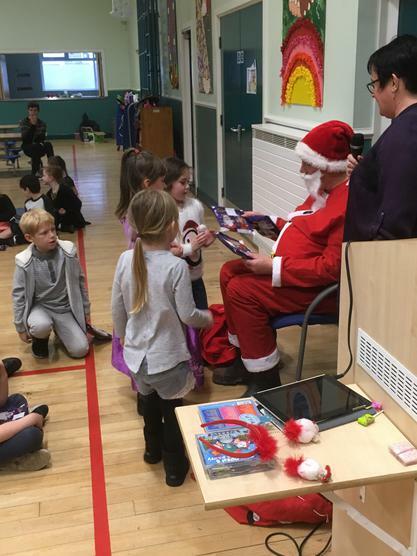 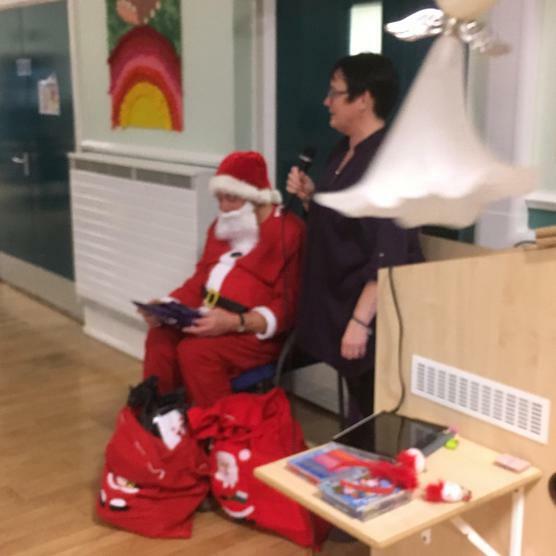 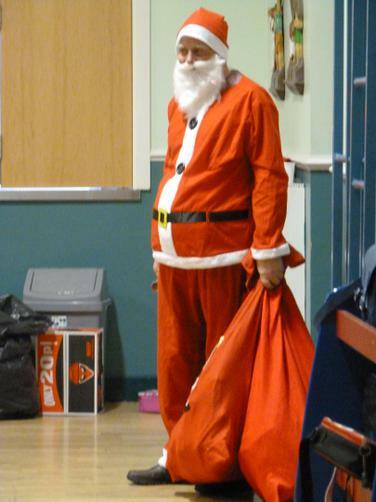 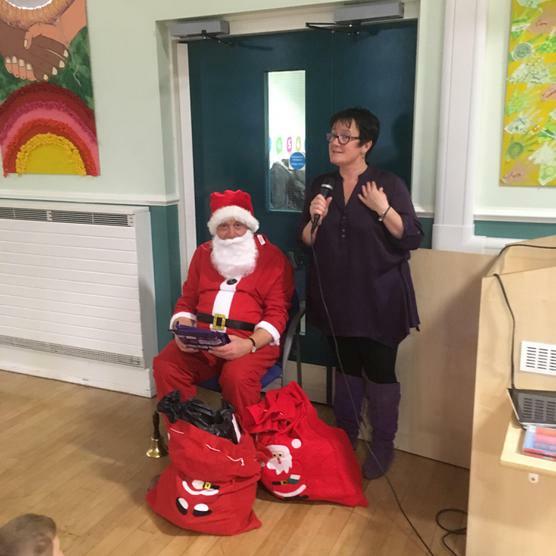 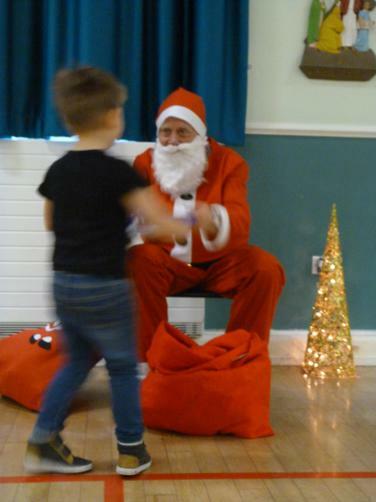 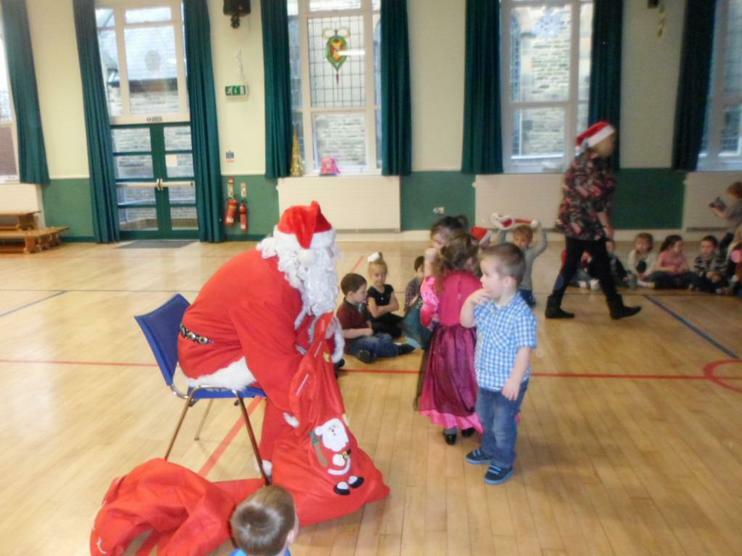 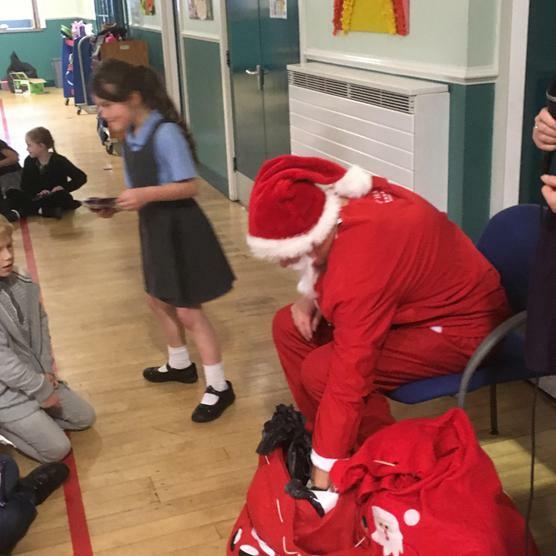 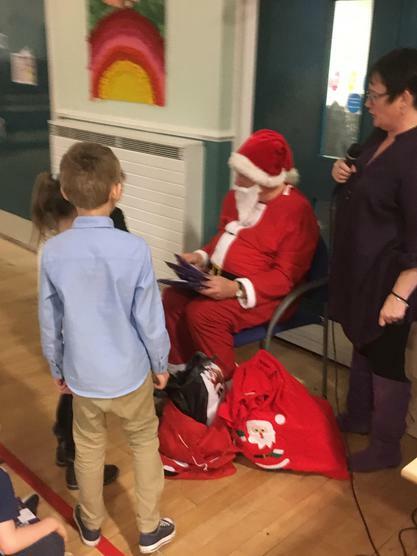 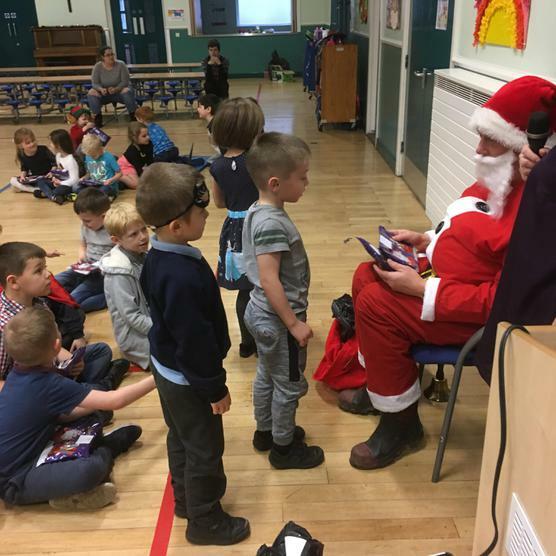 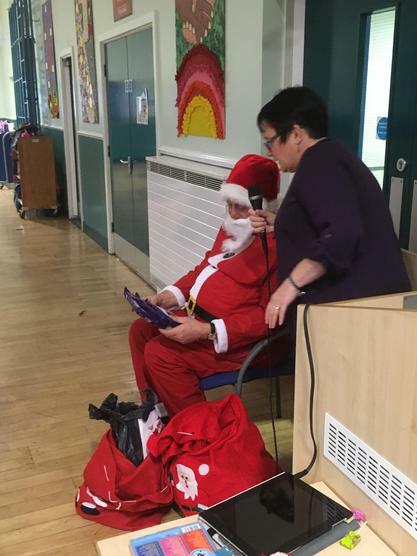 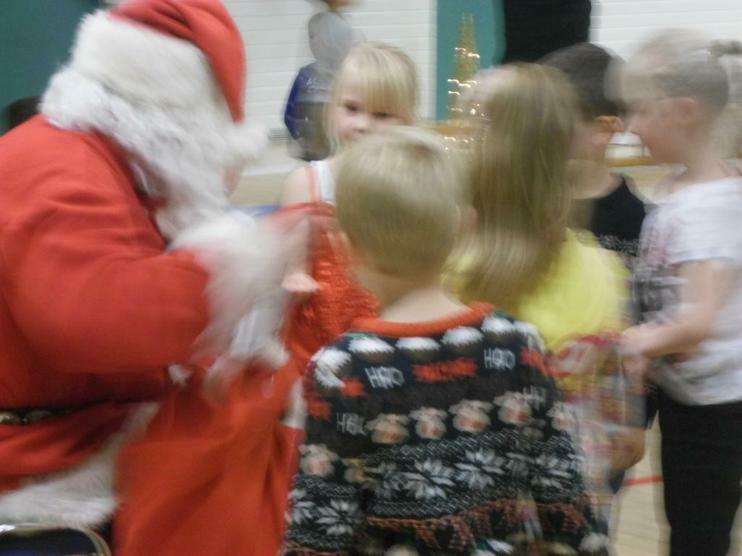 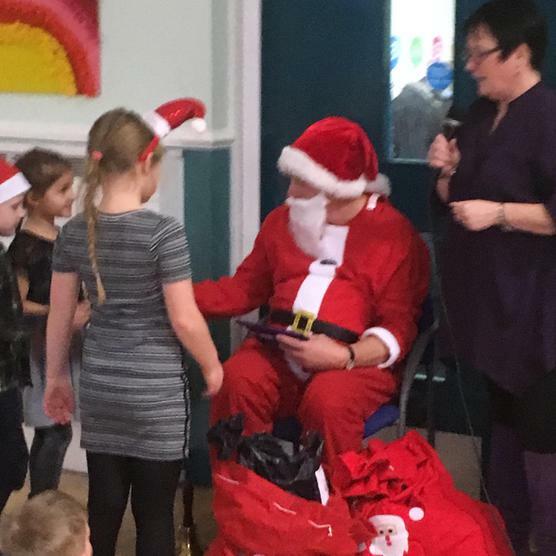 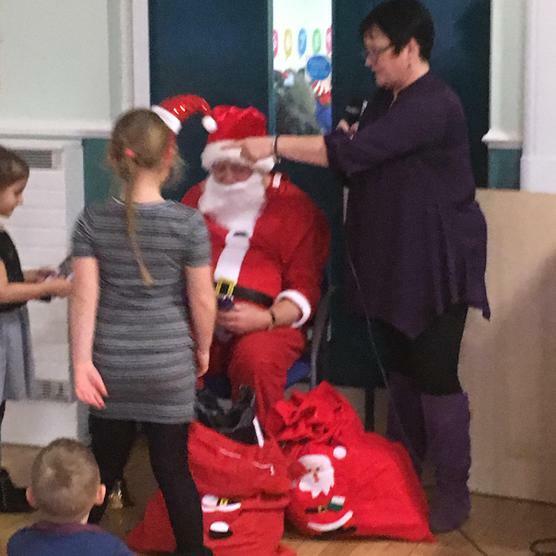 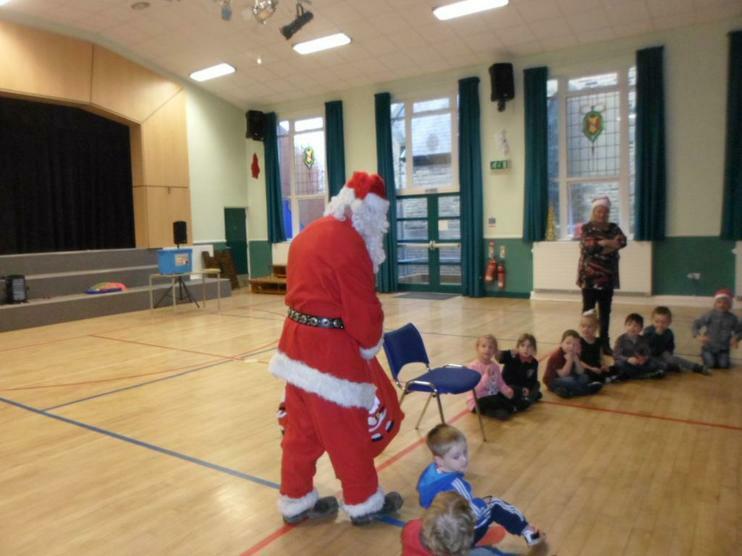 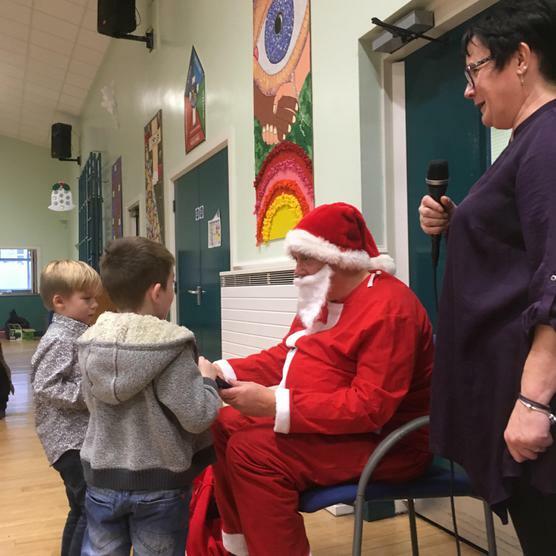 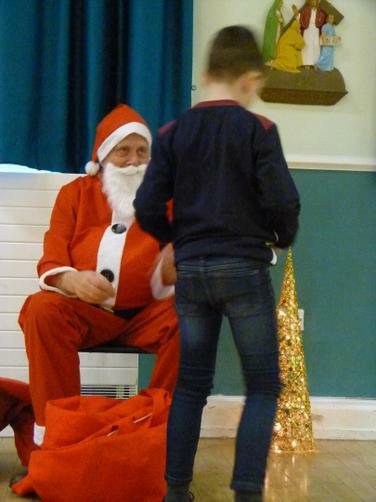 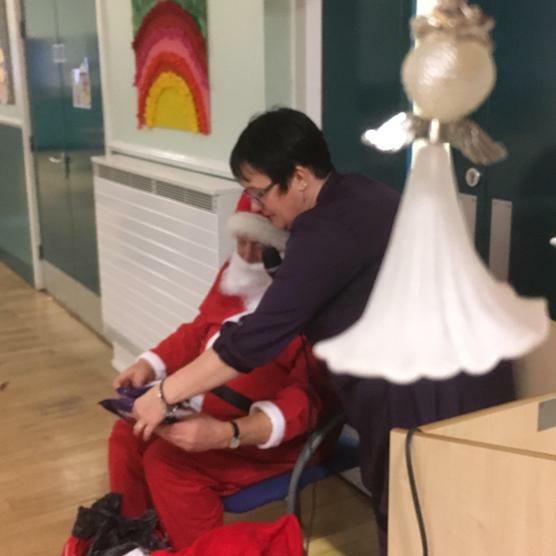 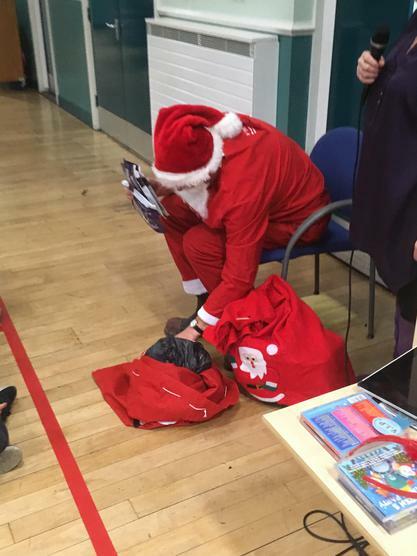 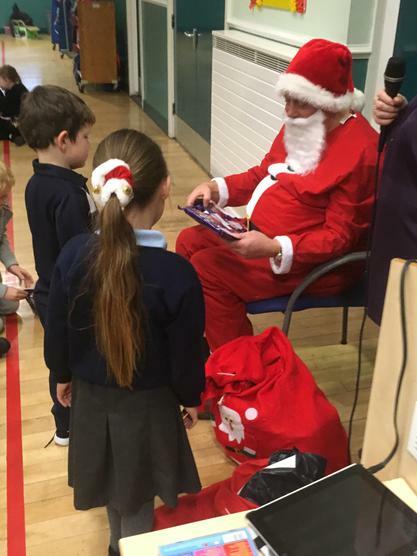 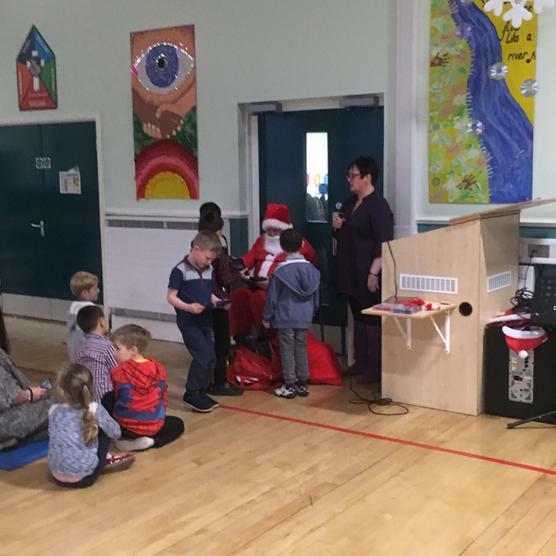 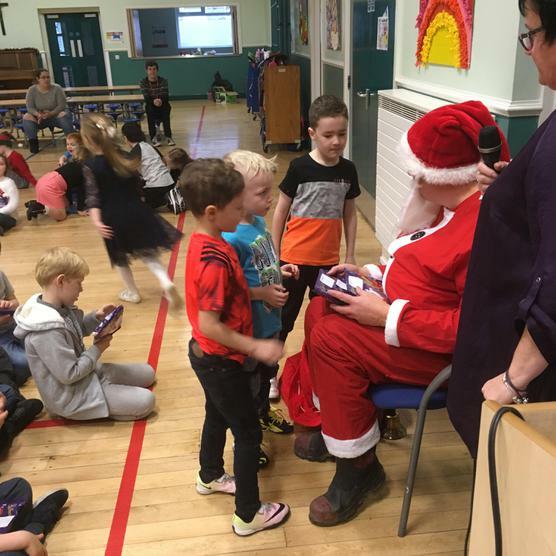 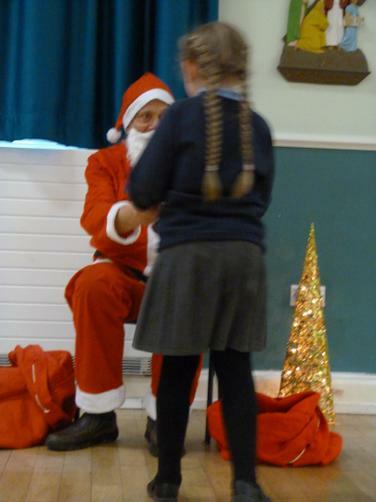 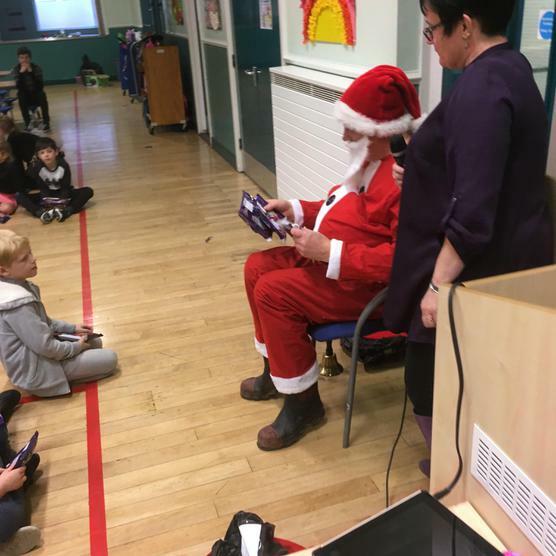 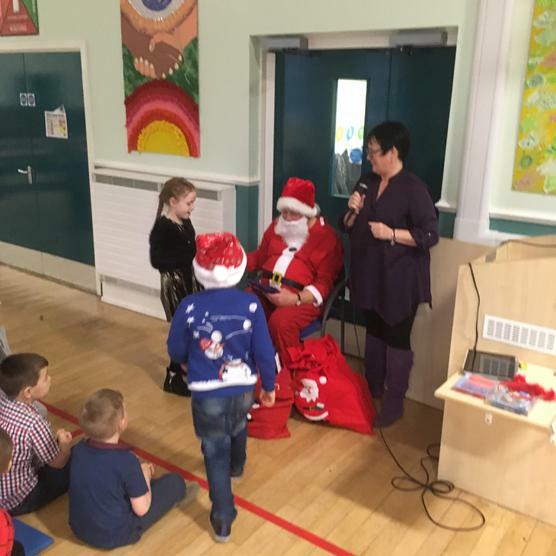 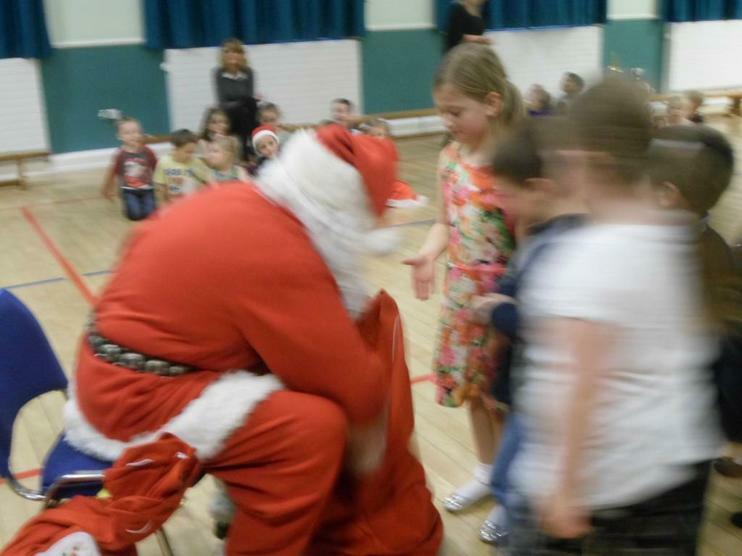 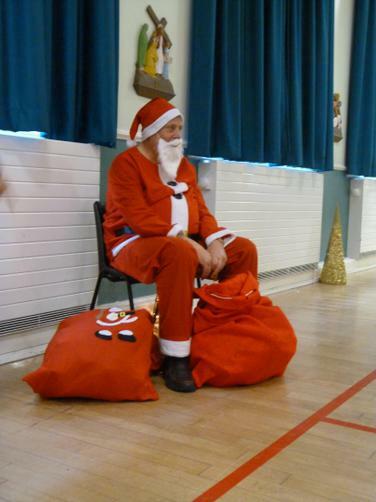 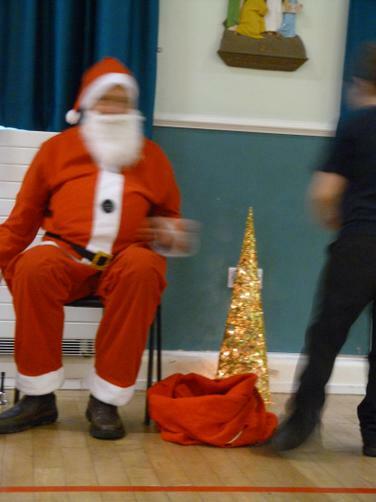 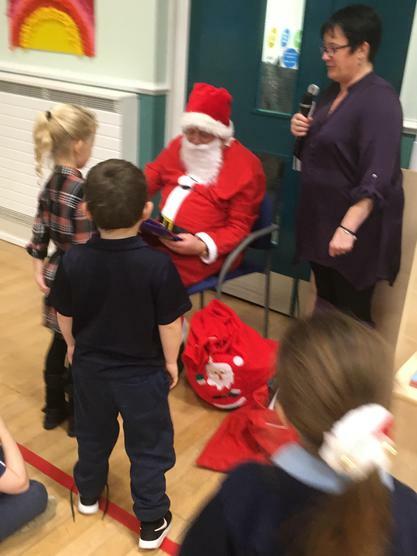 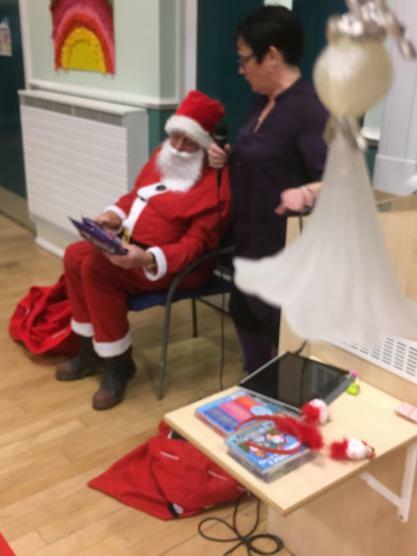 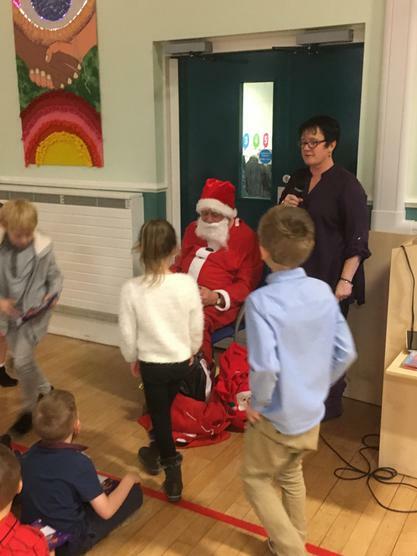 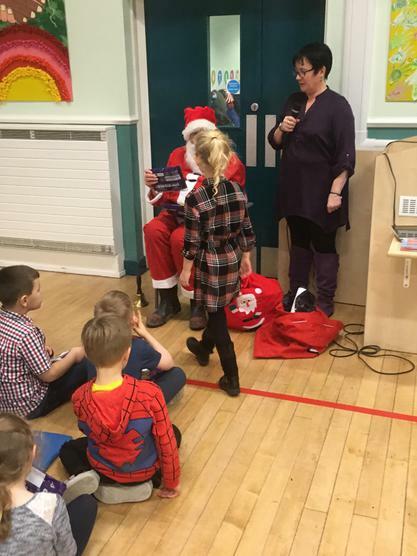 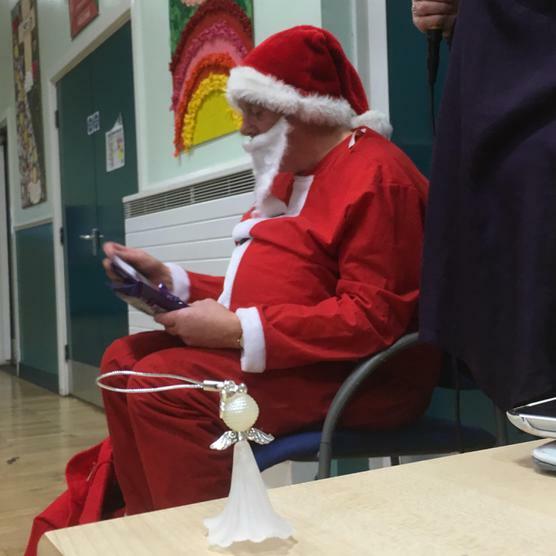 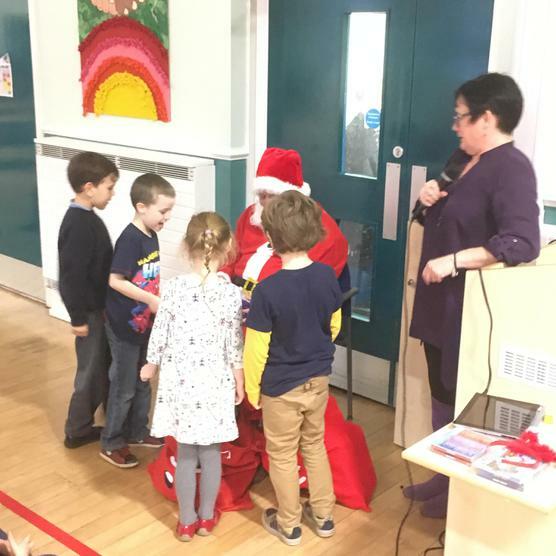 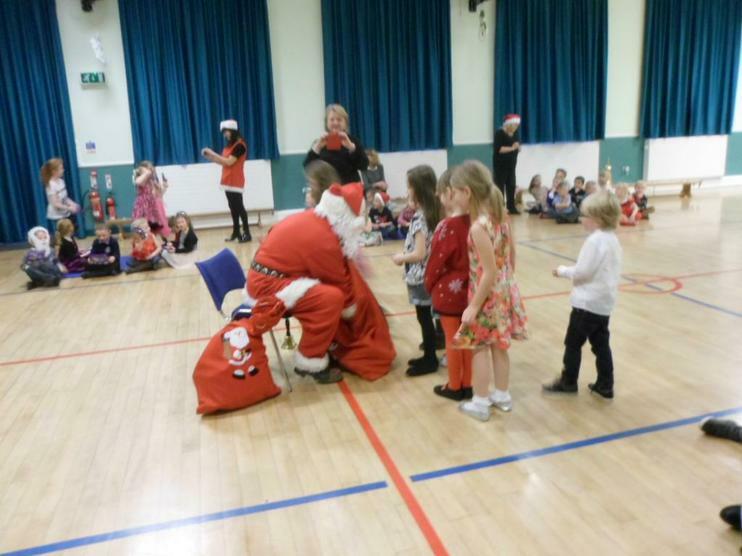 Then Santa came to visit the children. 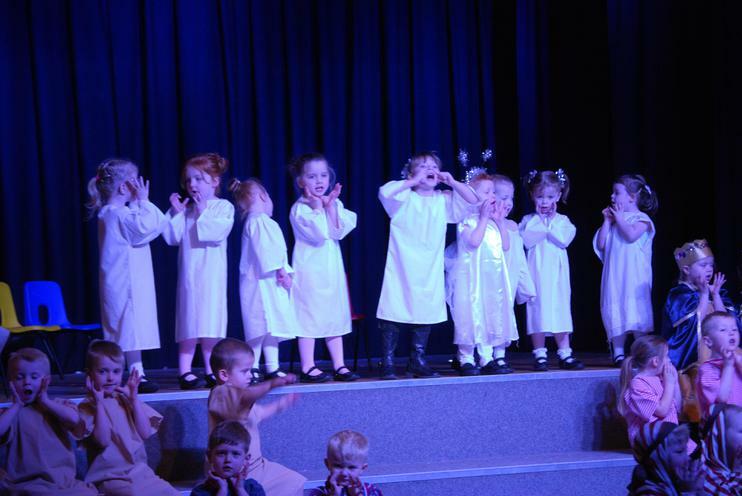 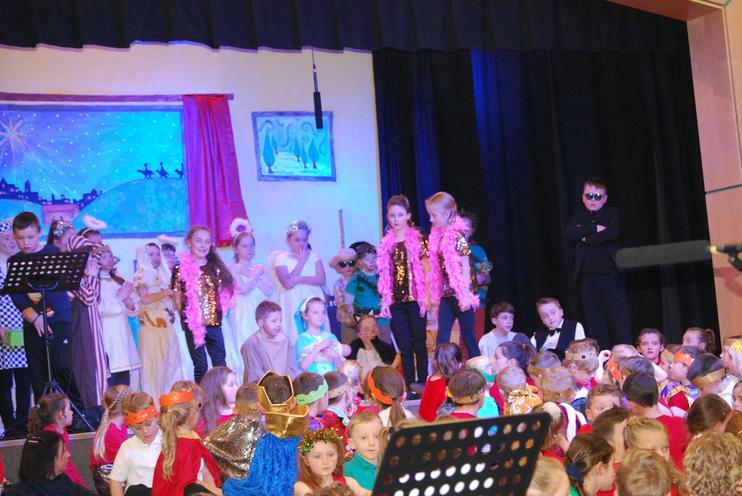 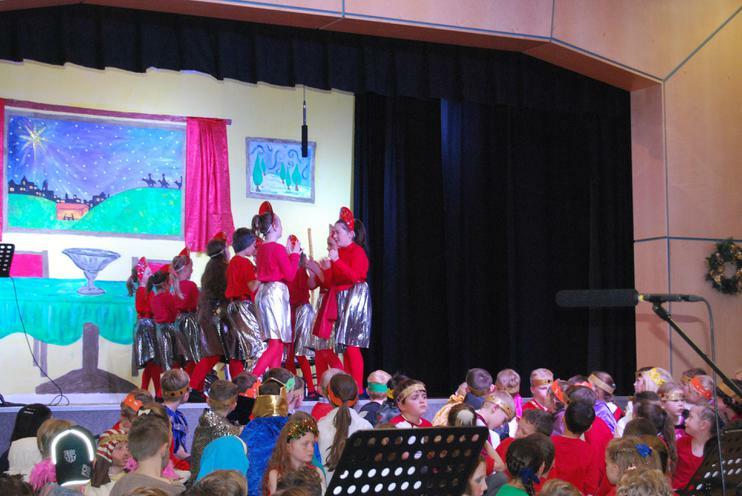 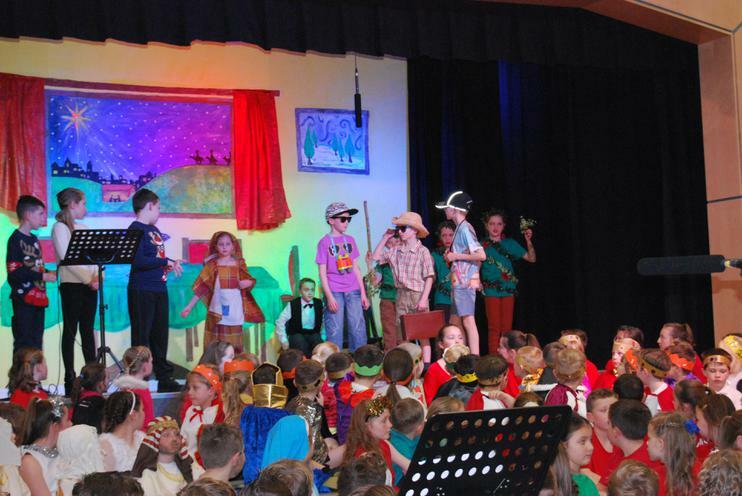 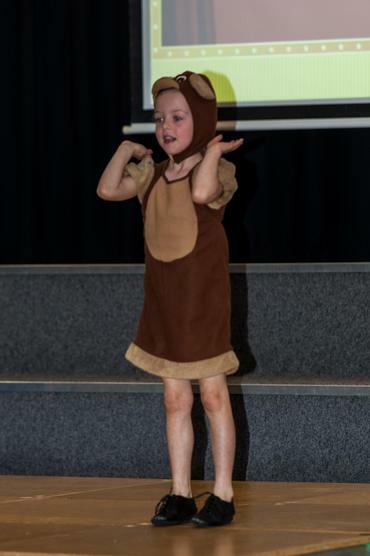 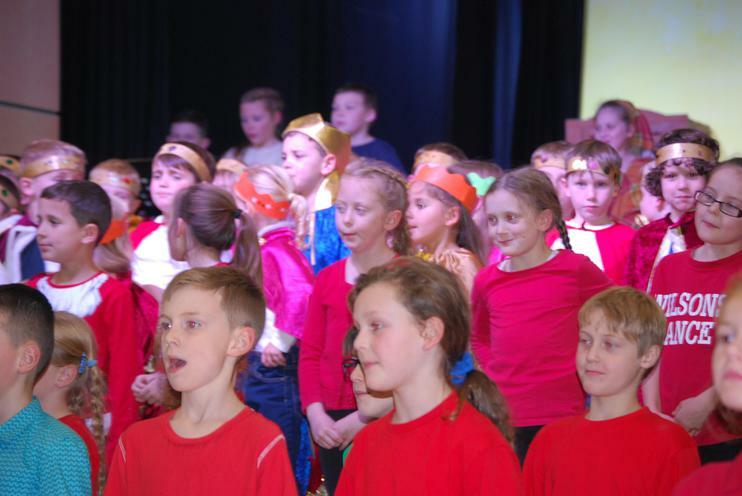 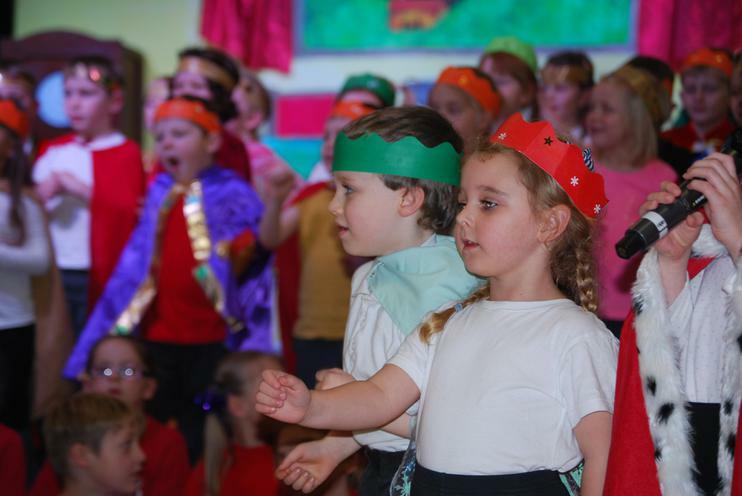 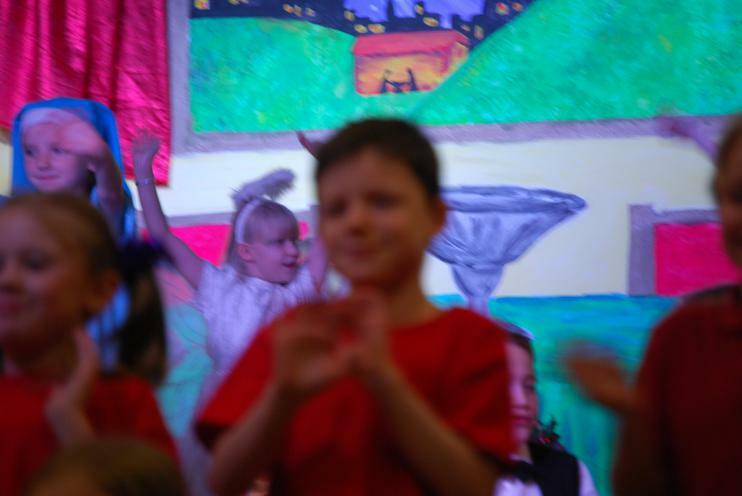 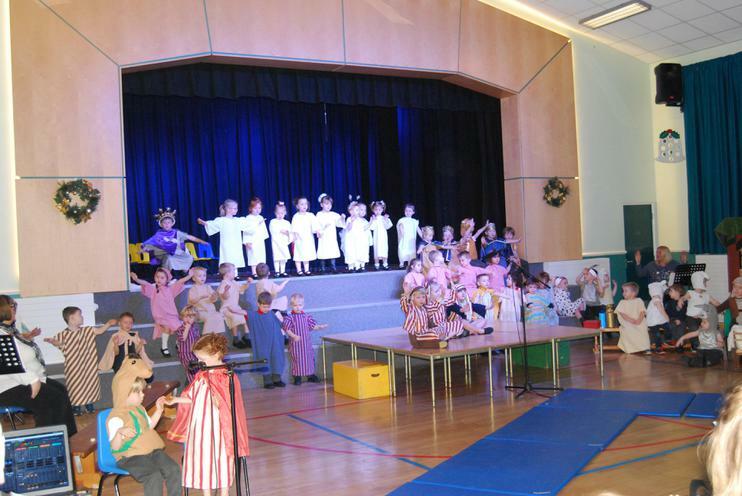 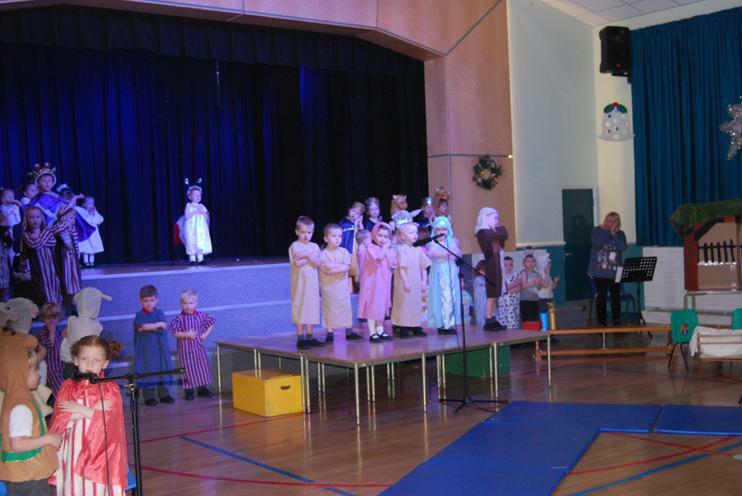 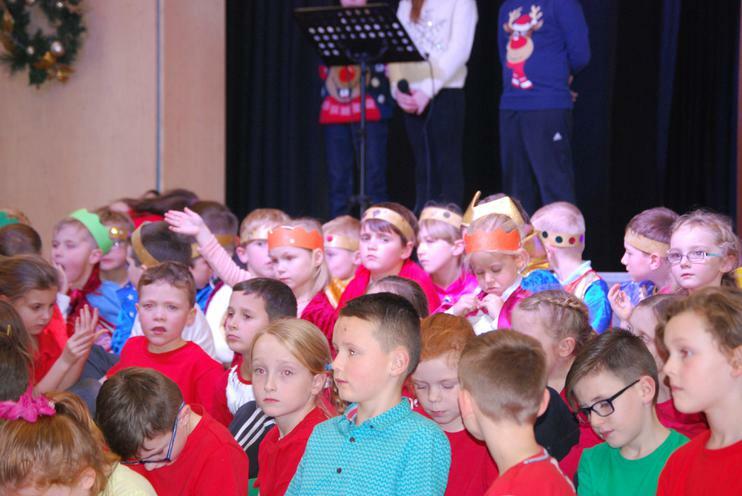 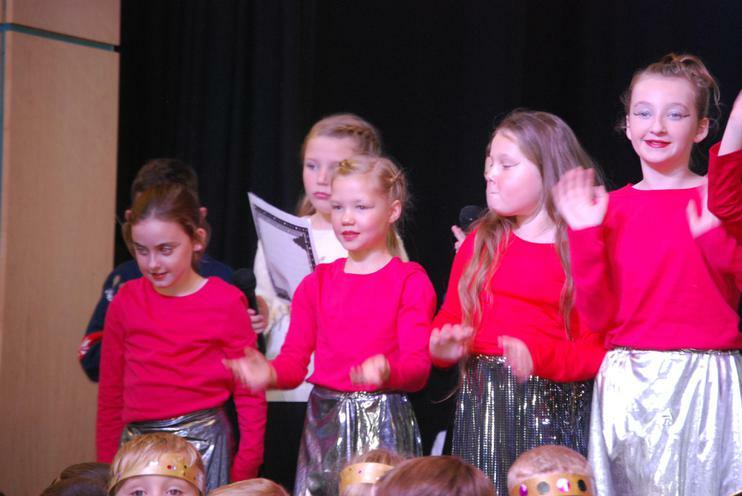 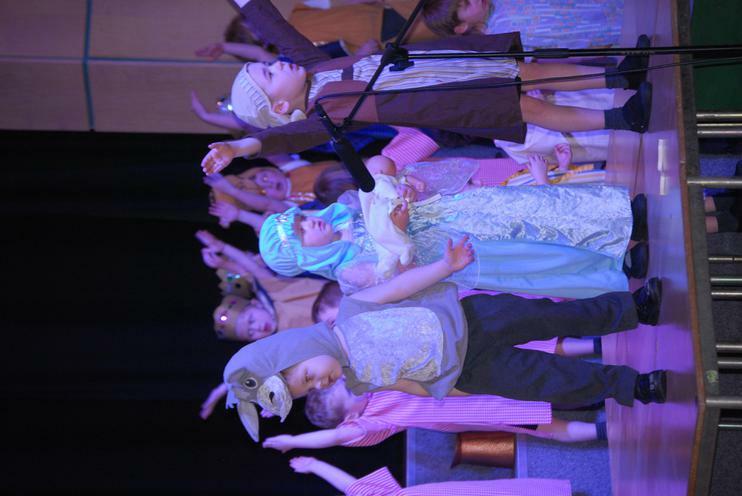 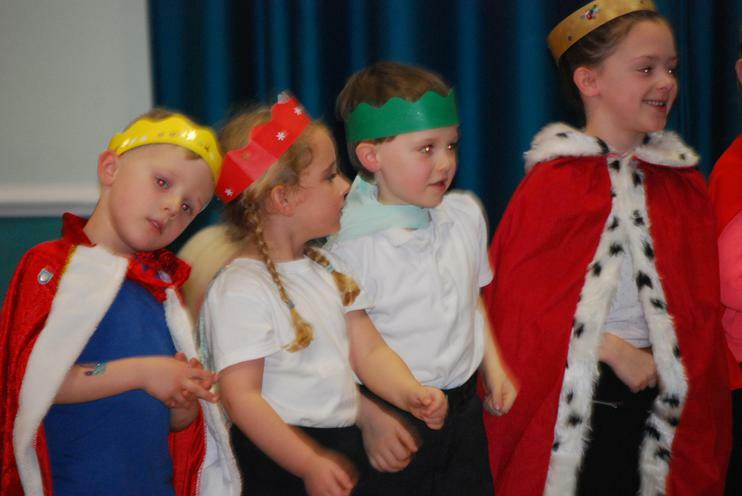 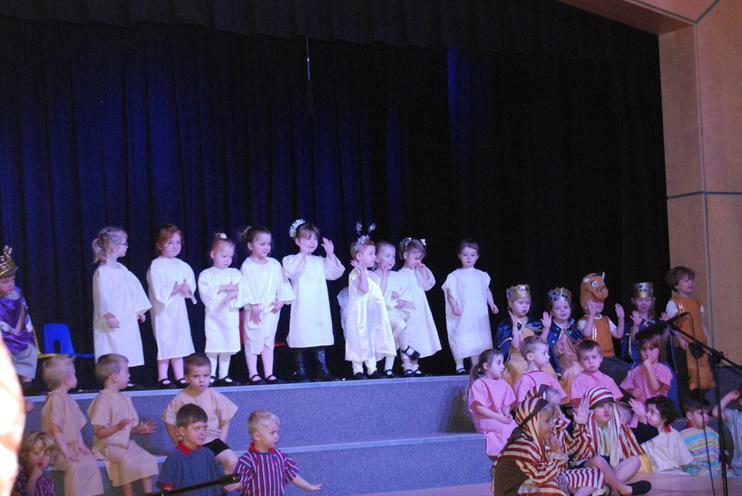 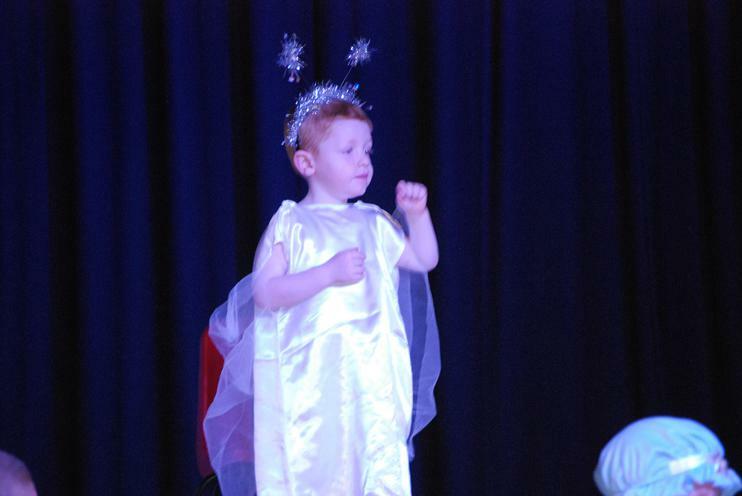 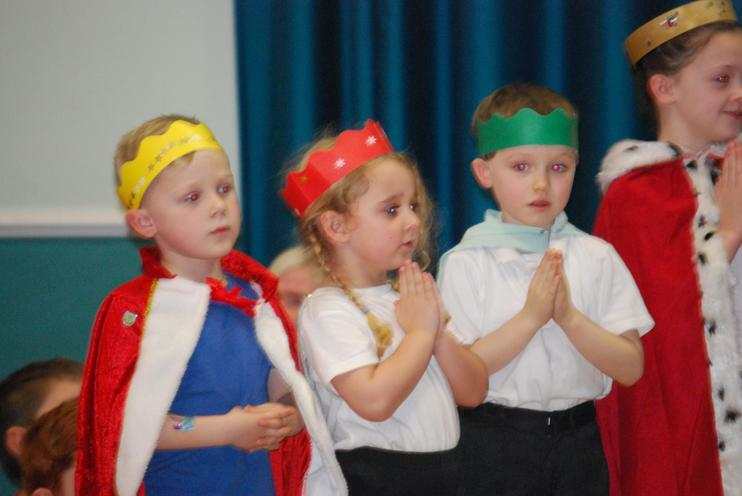 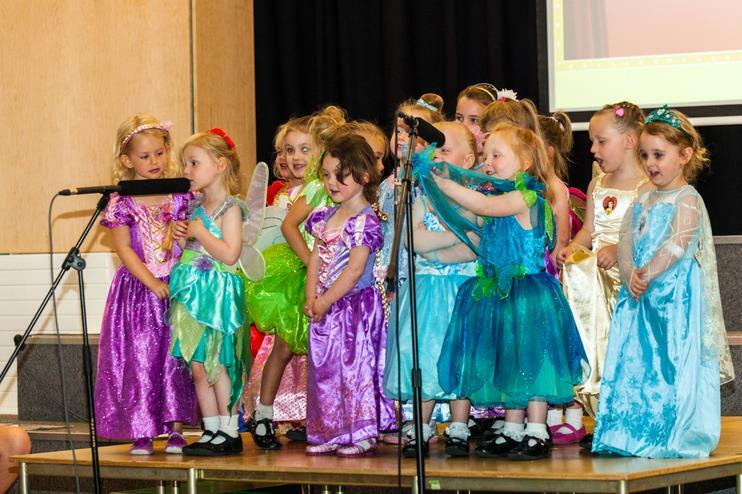 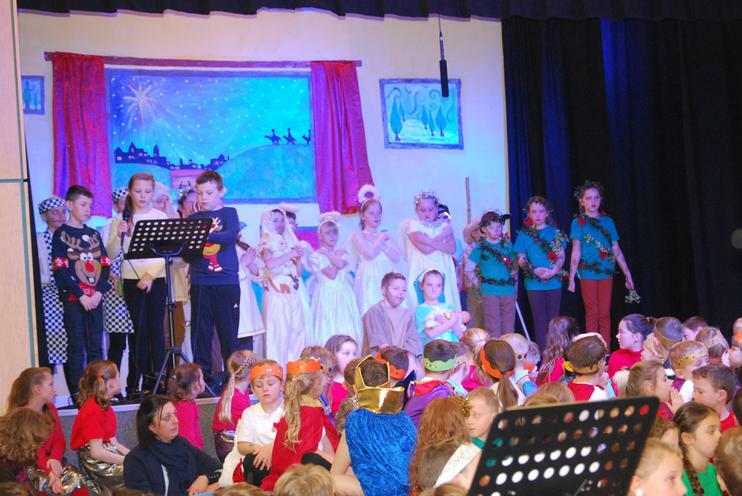 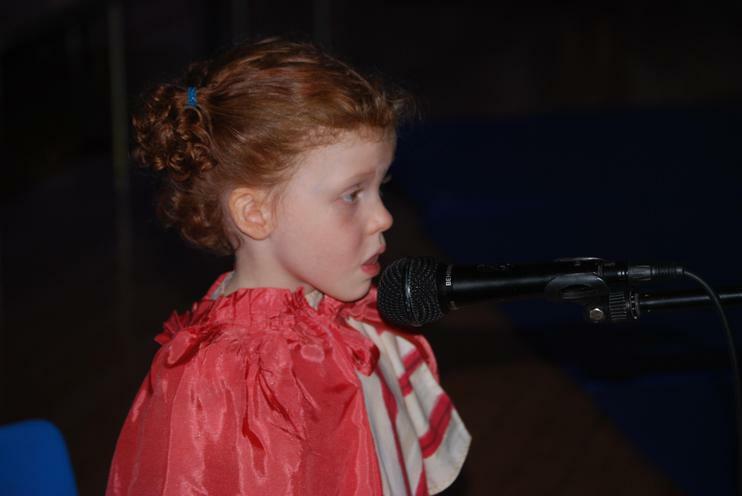 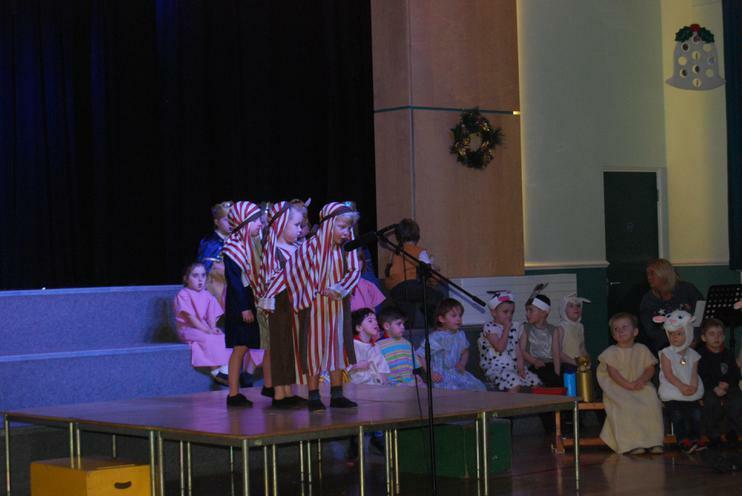 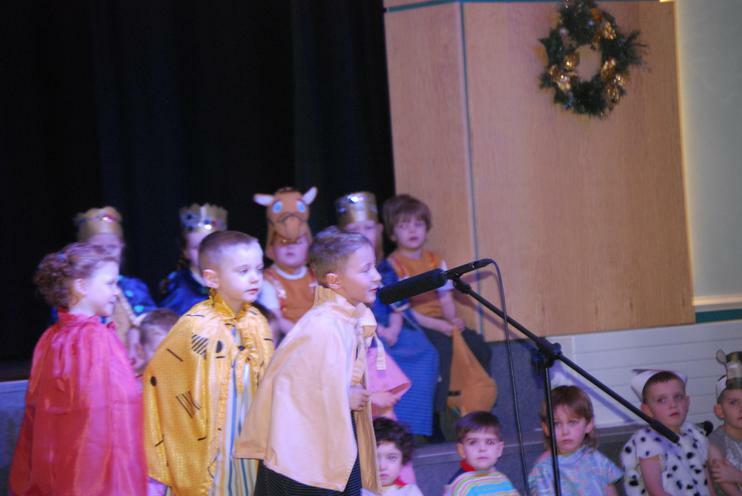 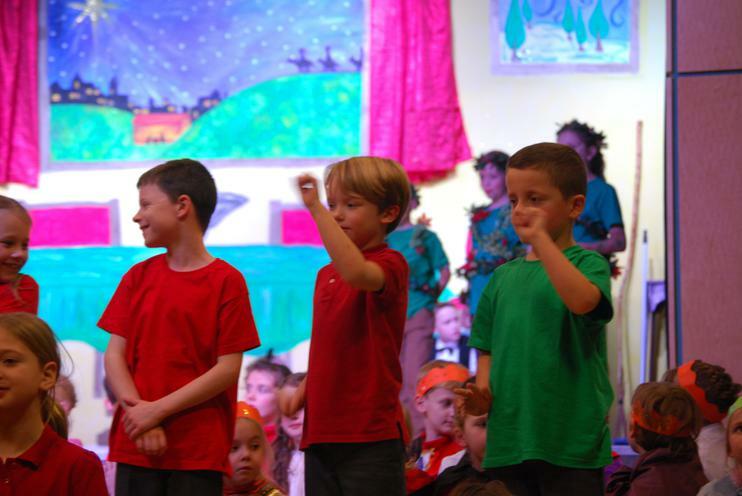 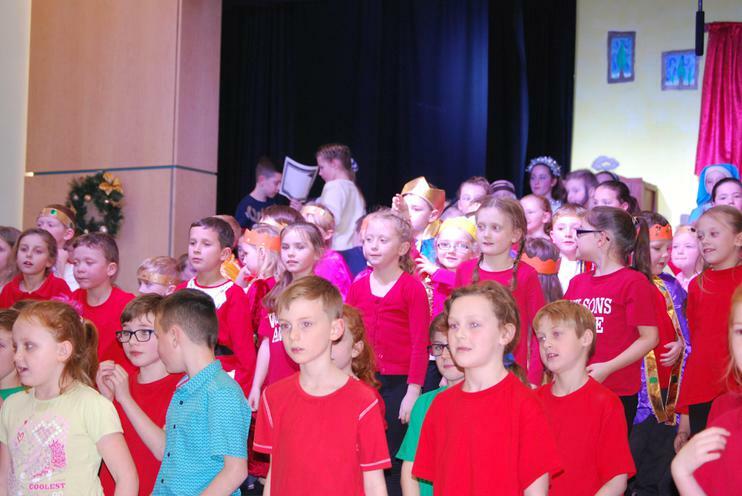 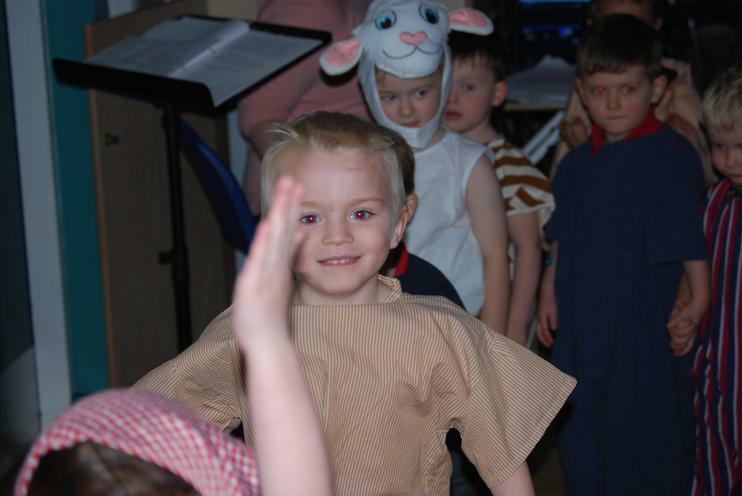 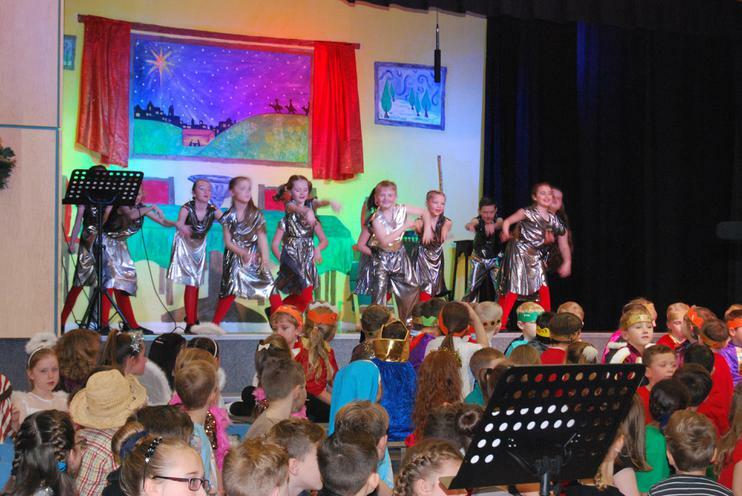 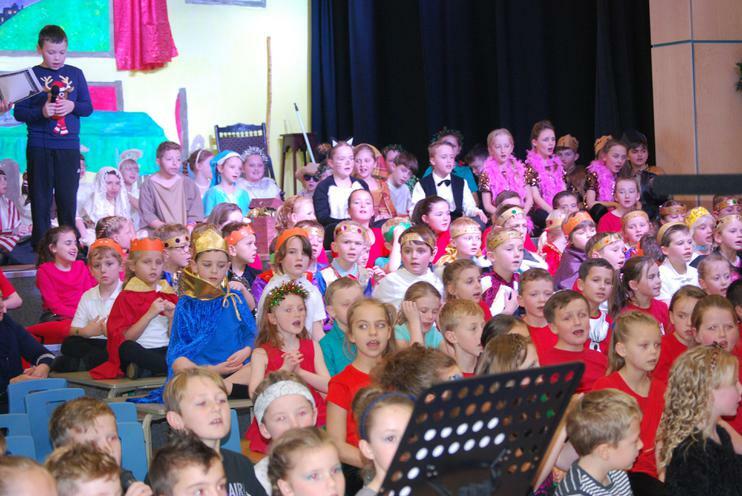 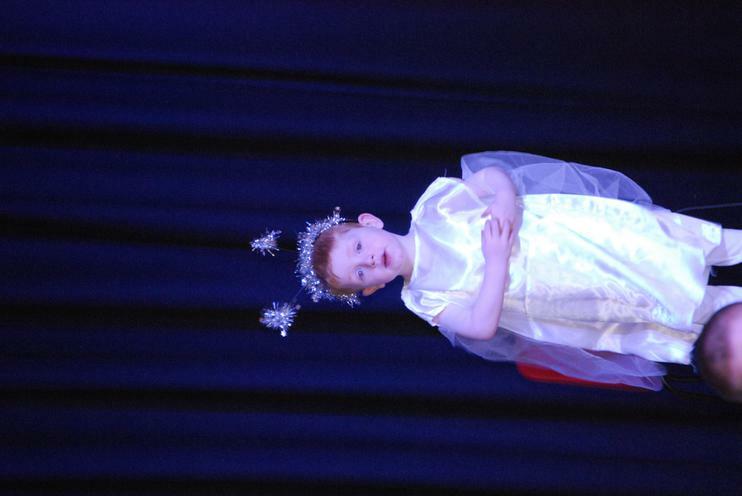 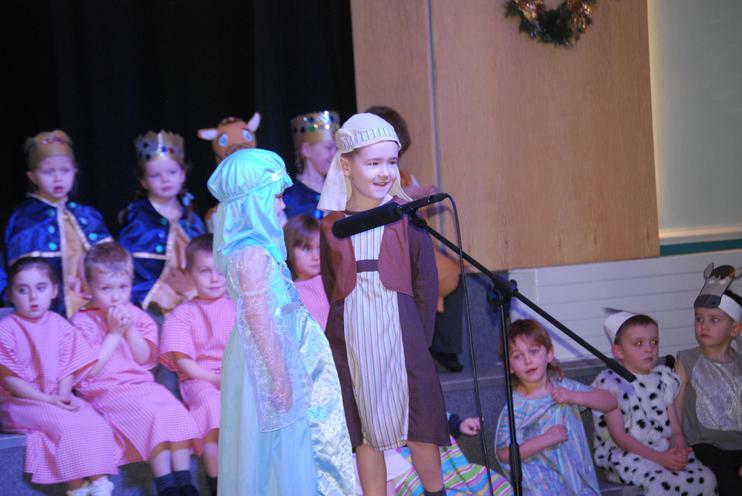 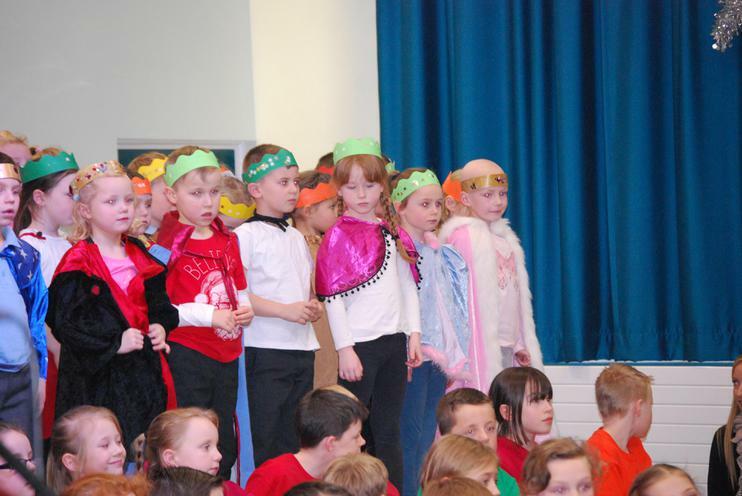 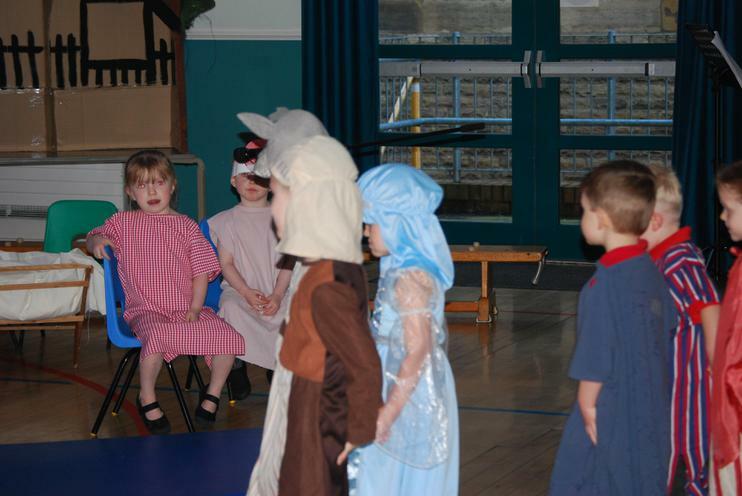 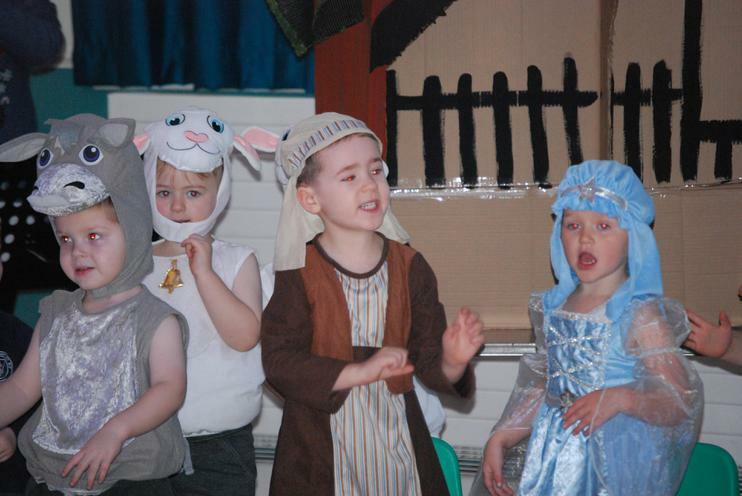 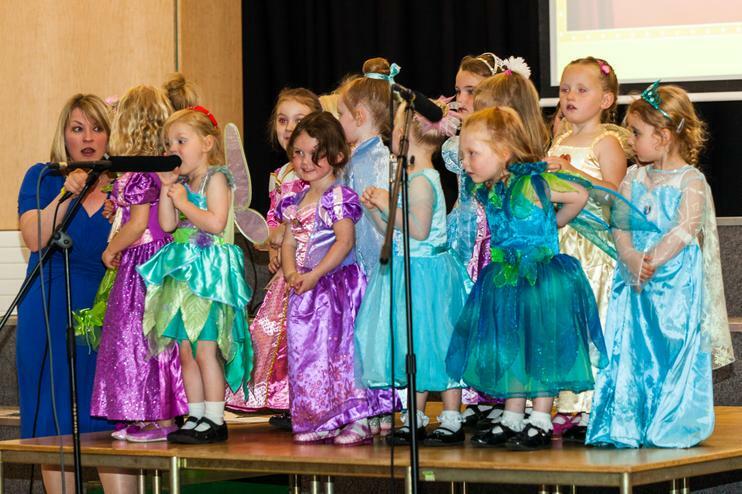 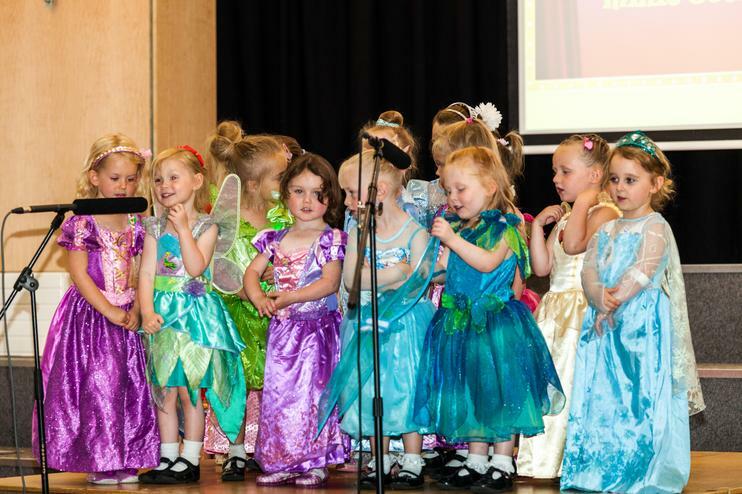 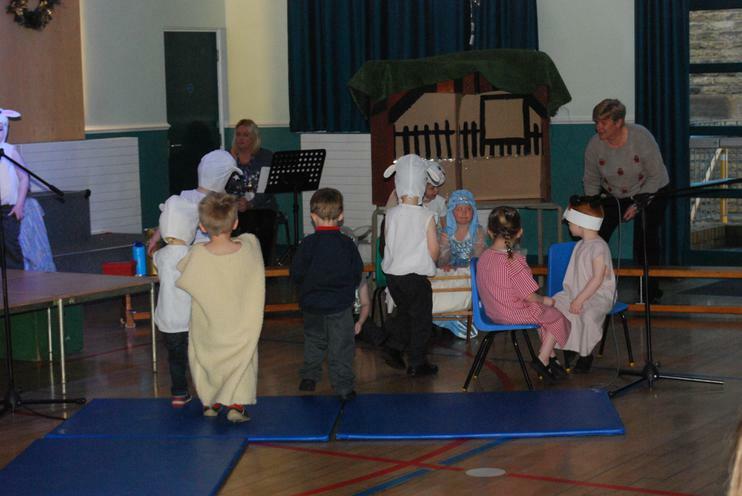 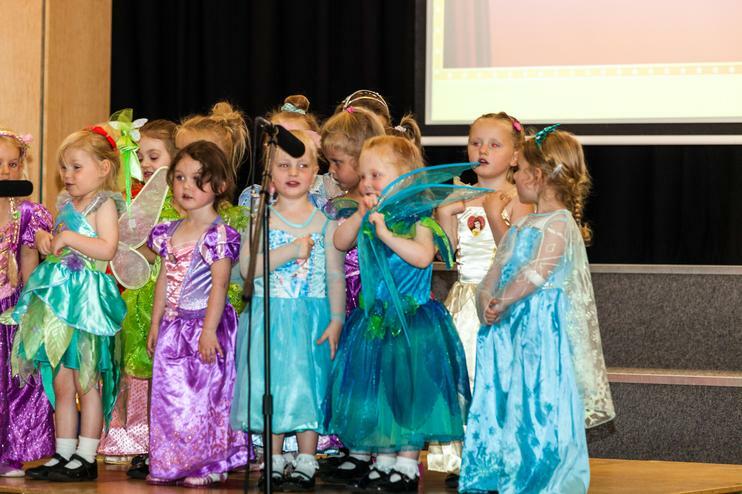 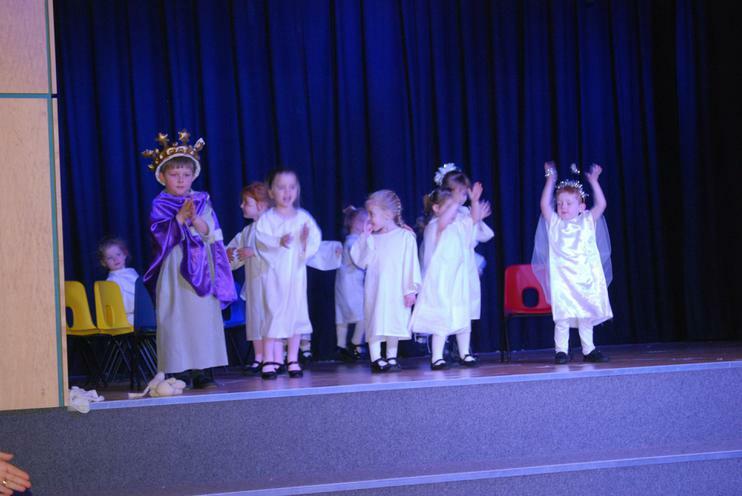 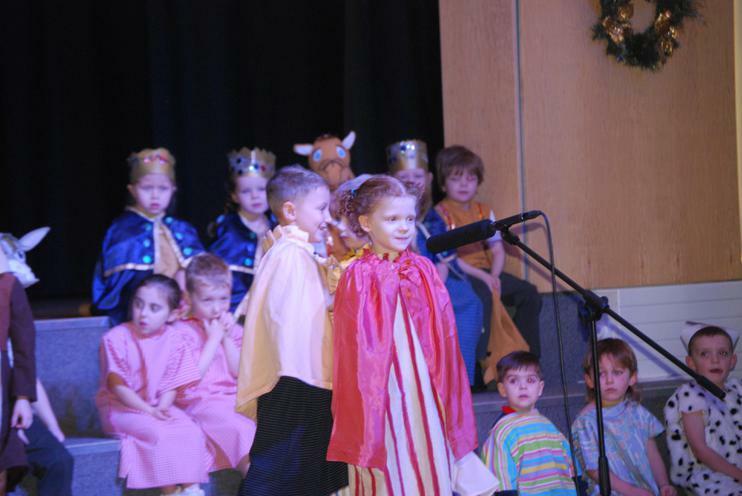 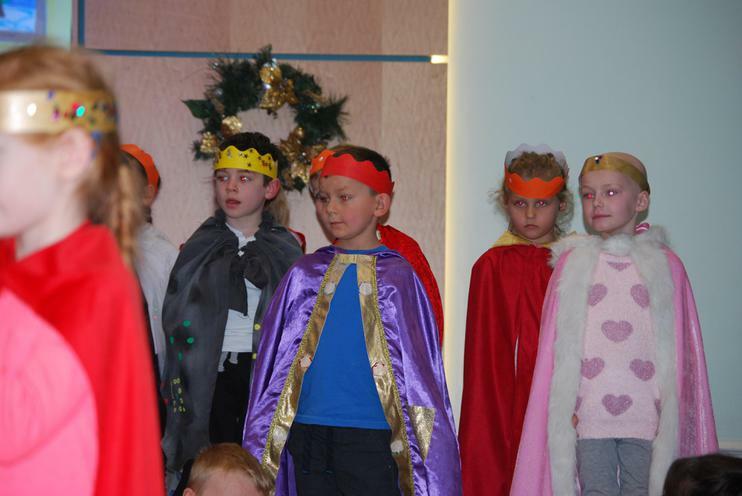 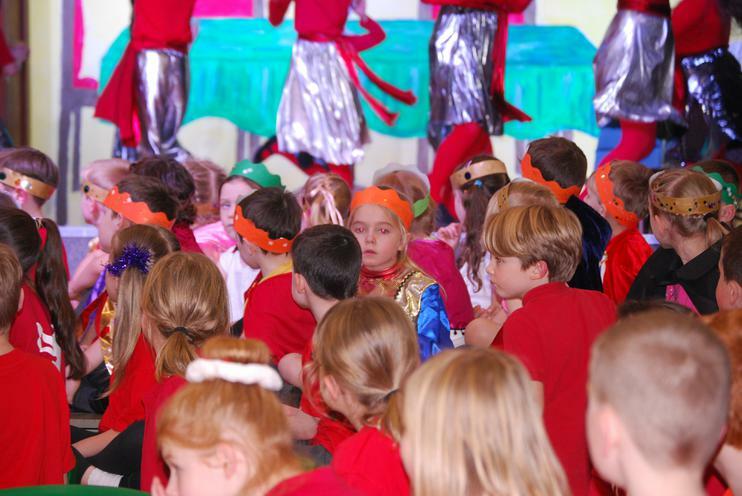 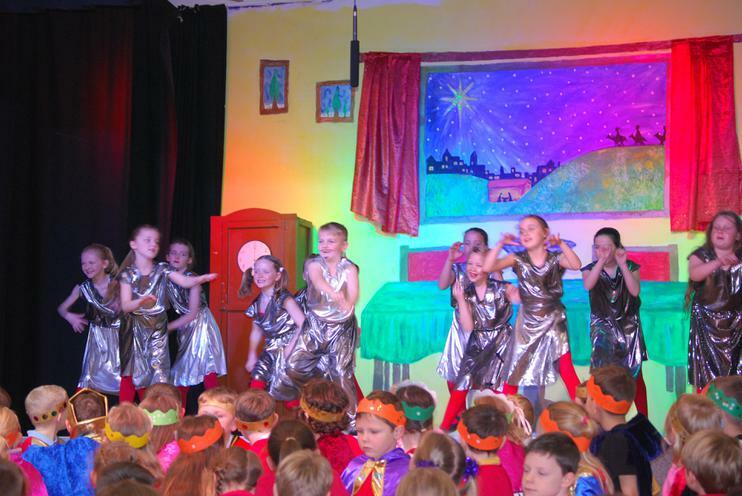 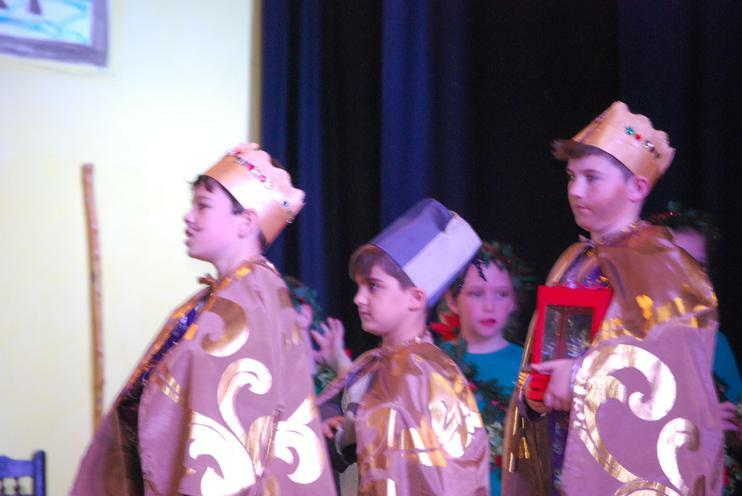 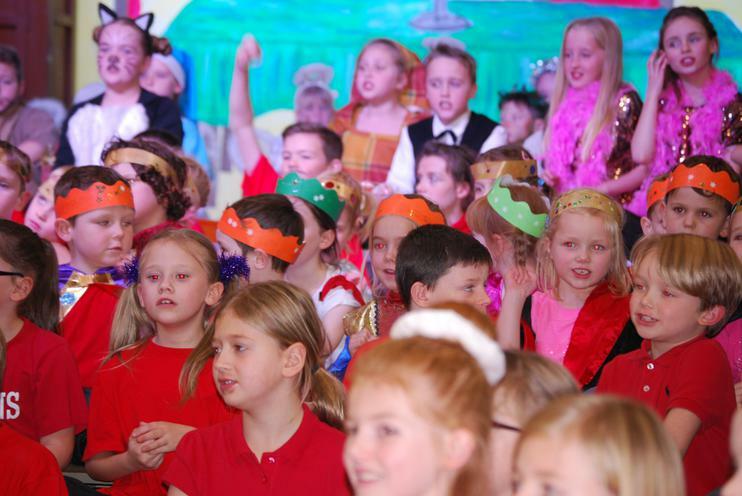 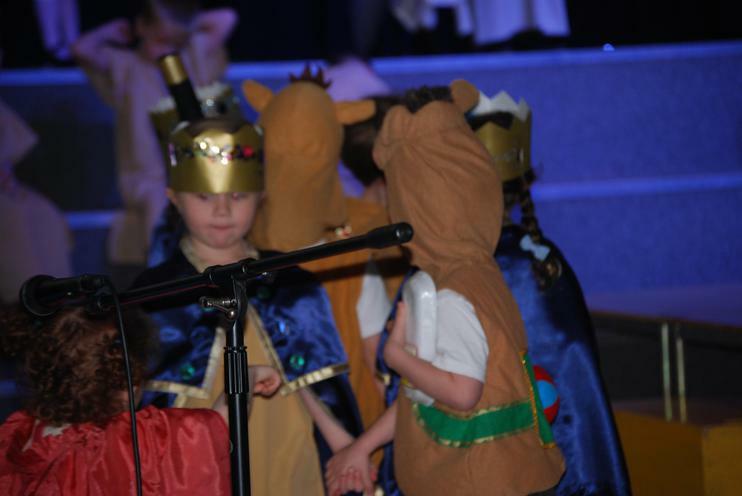 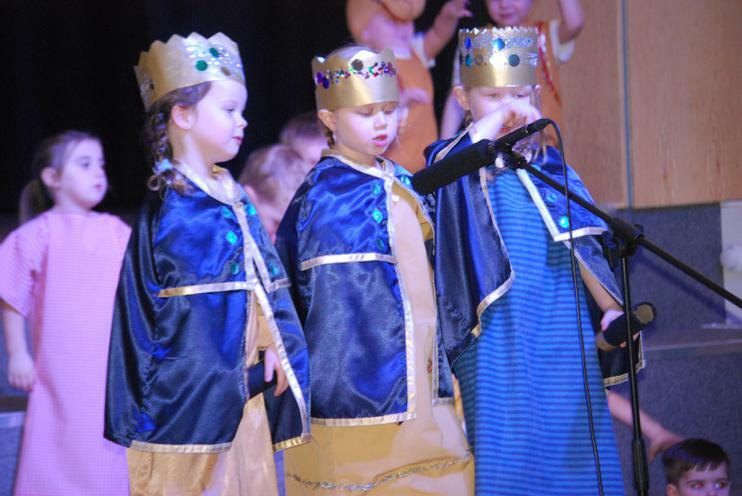 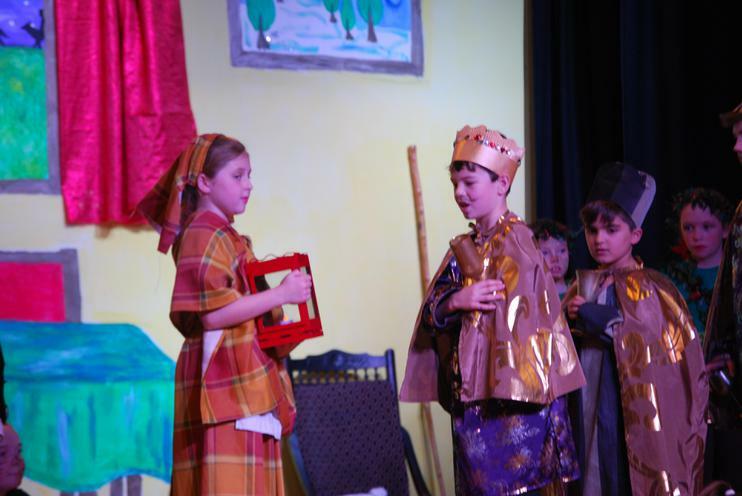 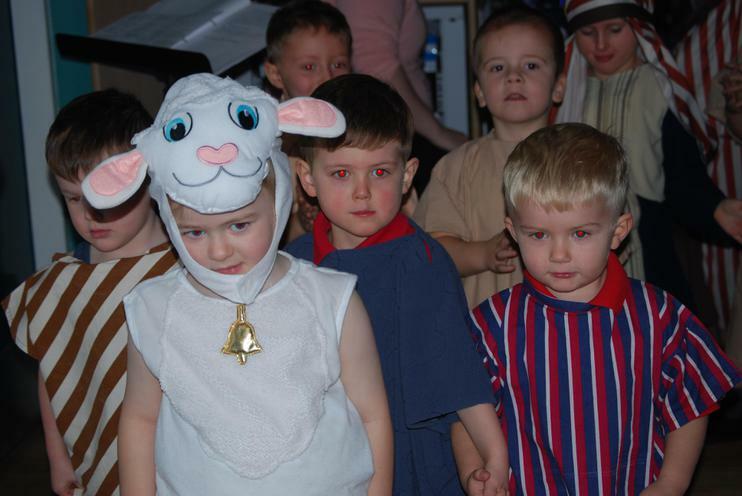 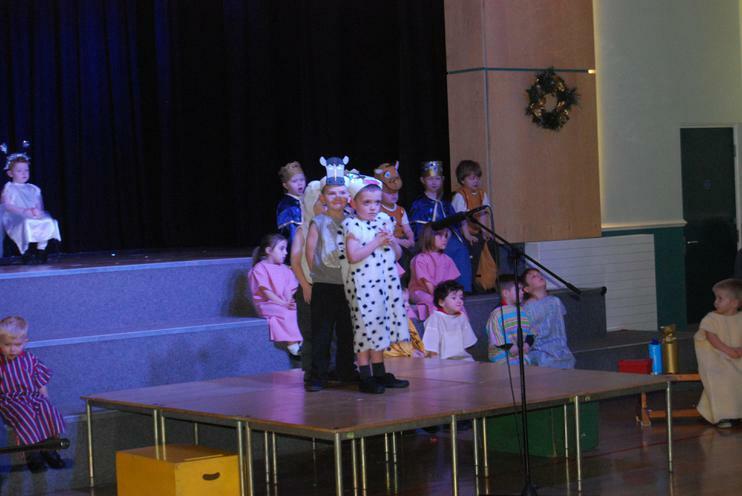 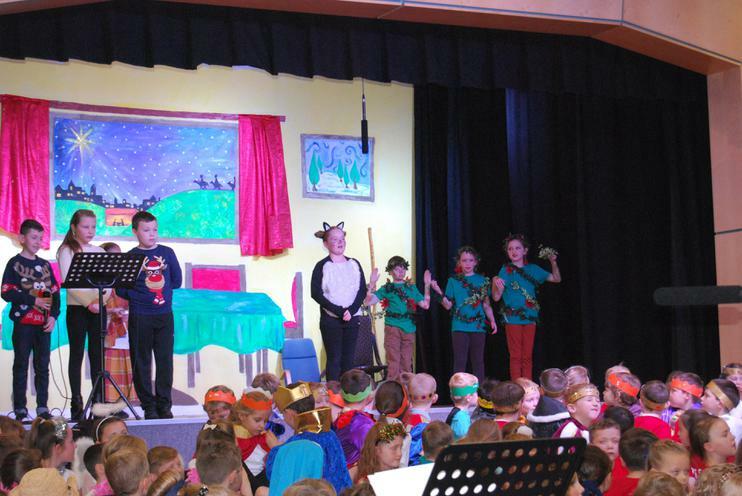 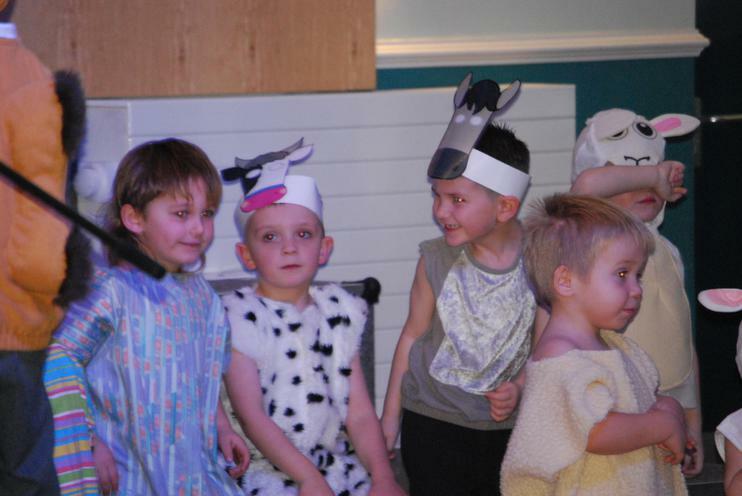 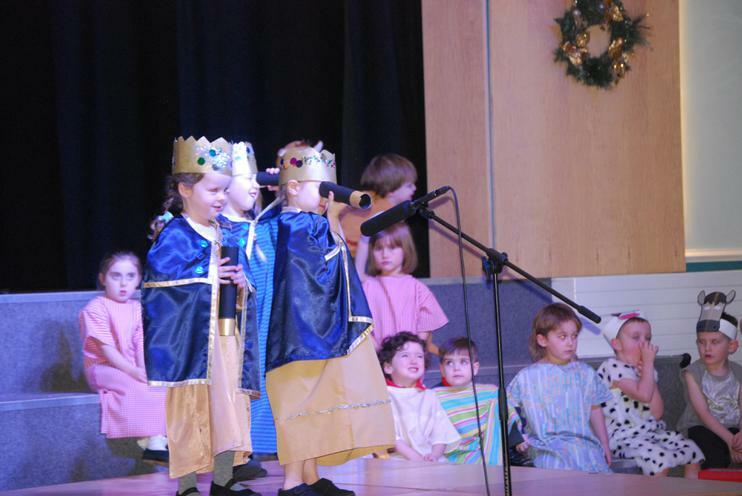 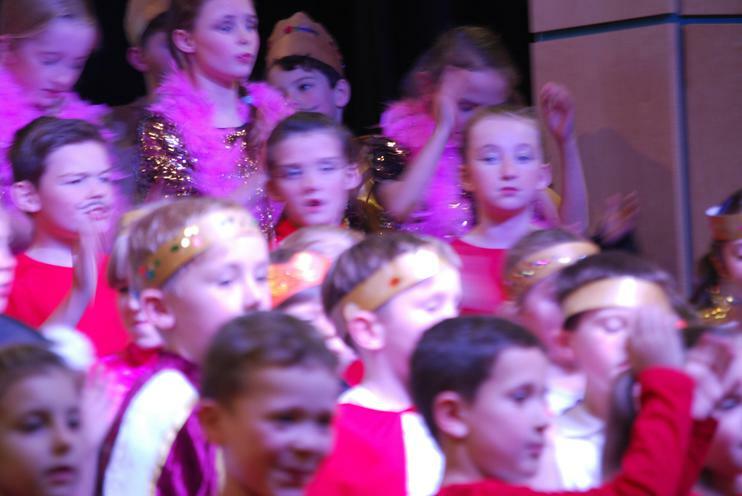 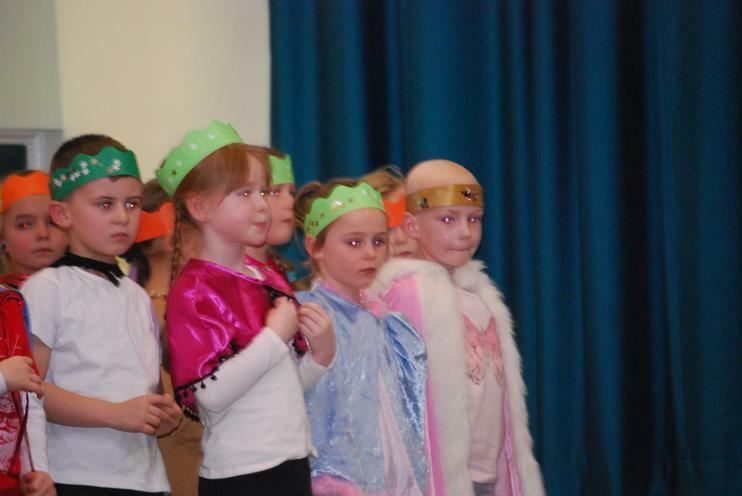 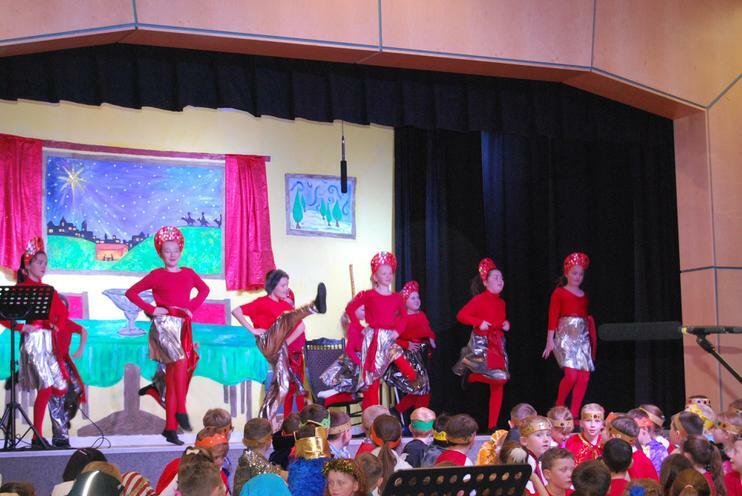 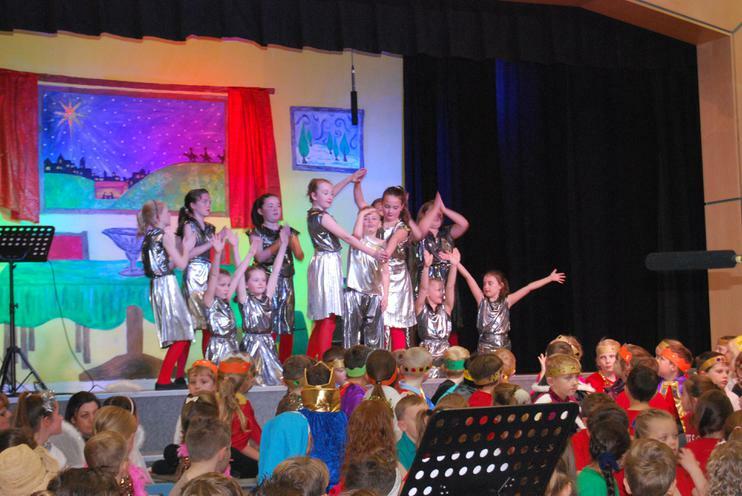 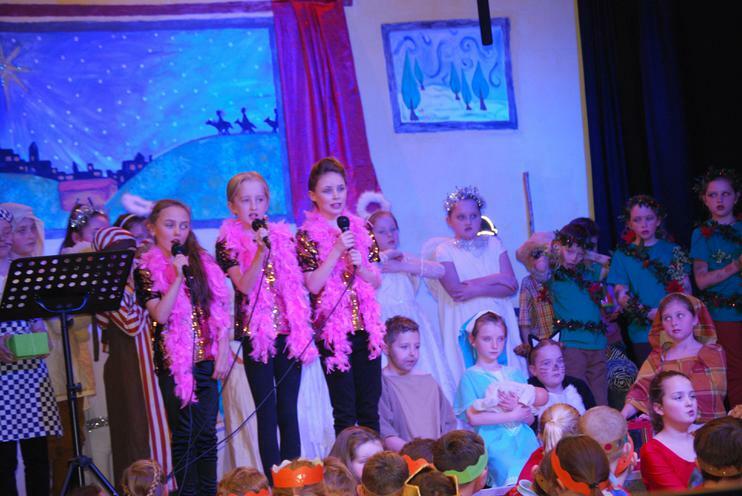 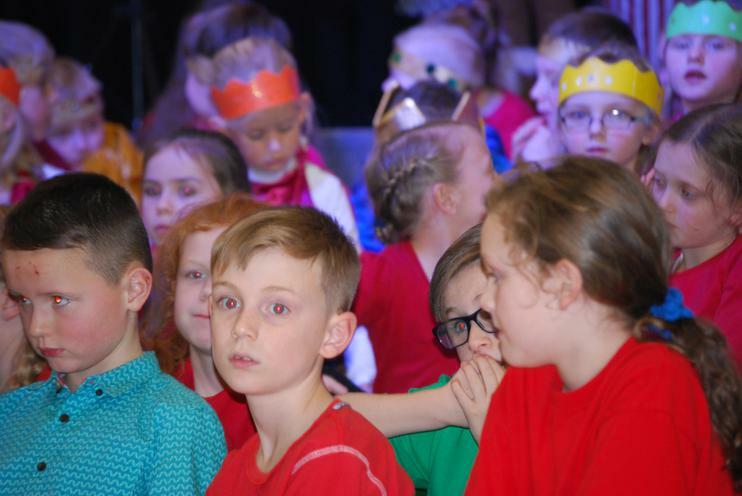 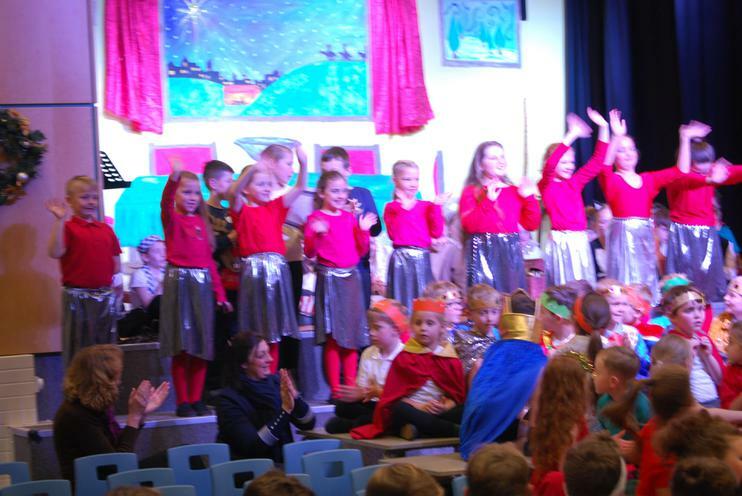 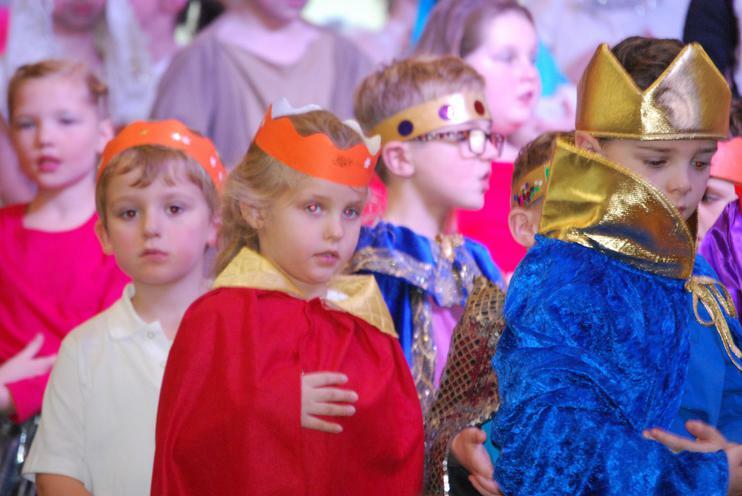 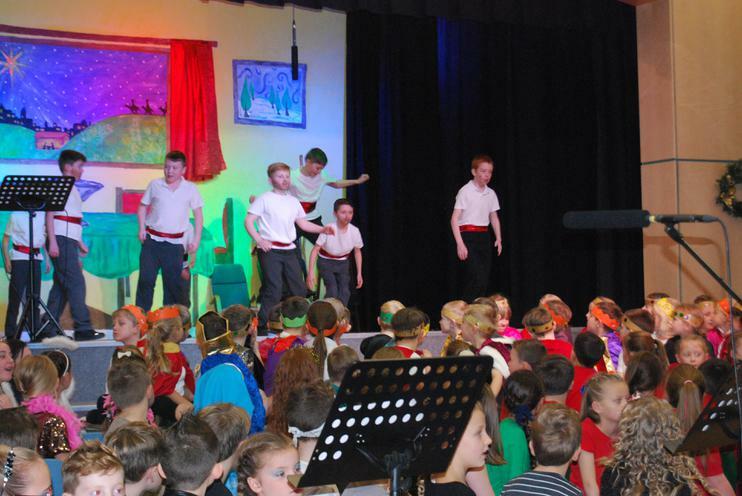 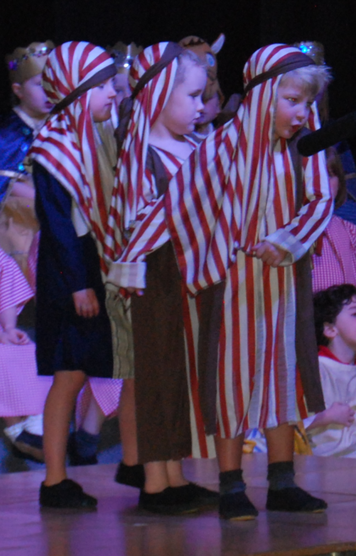 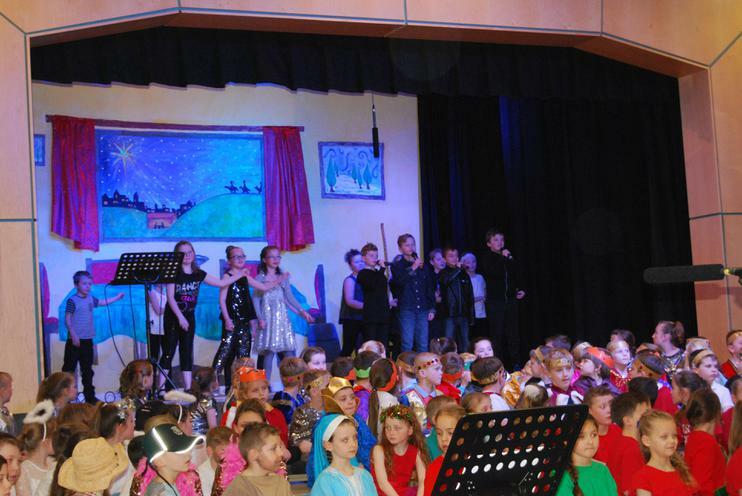 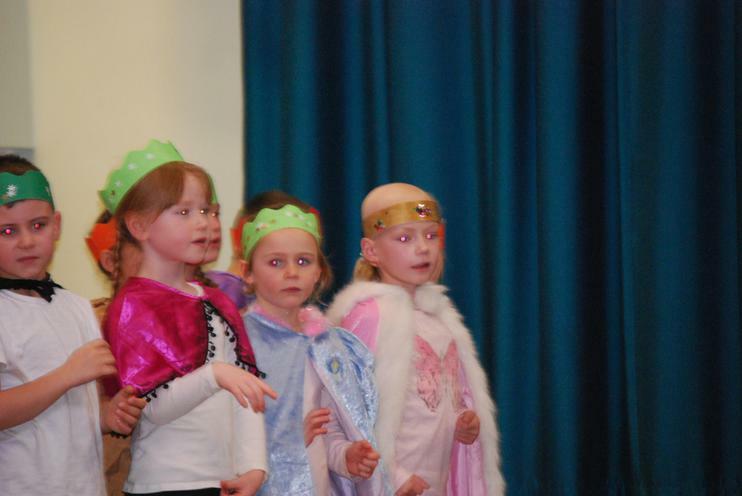 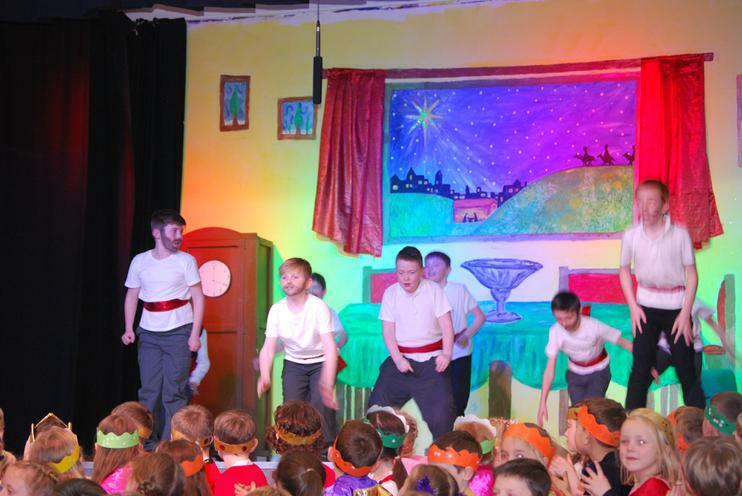 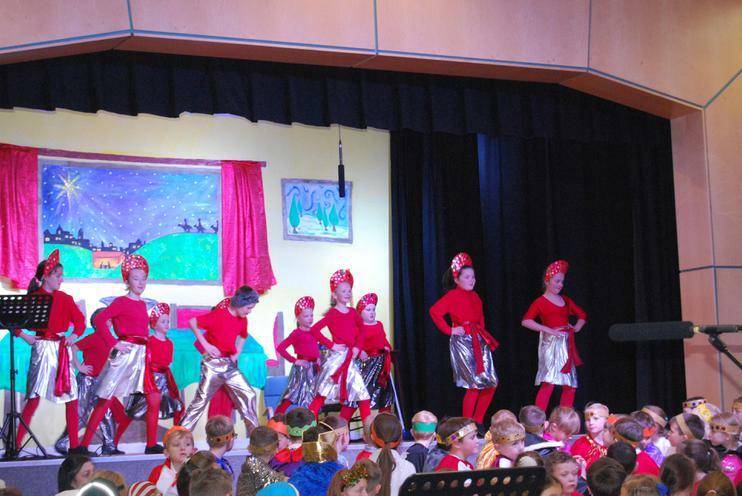 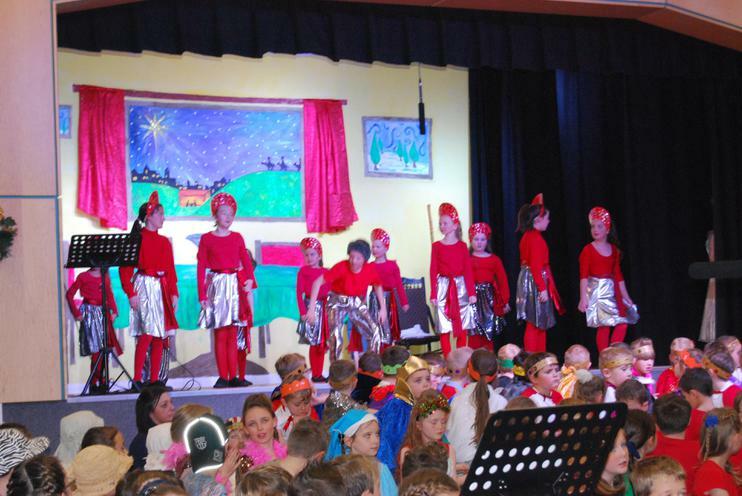 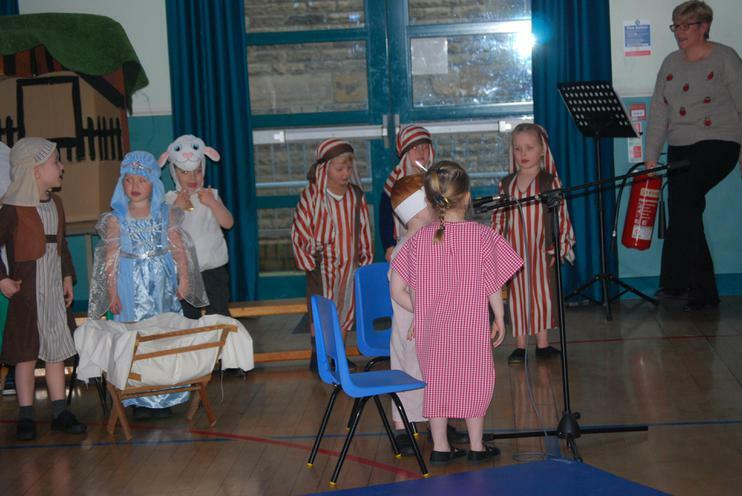 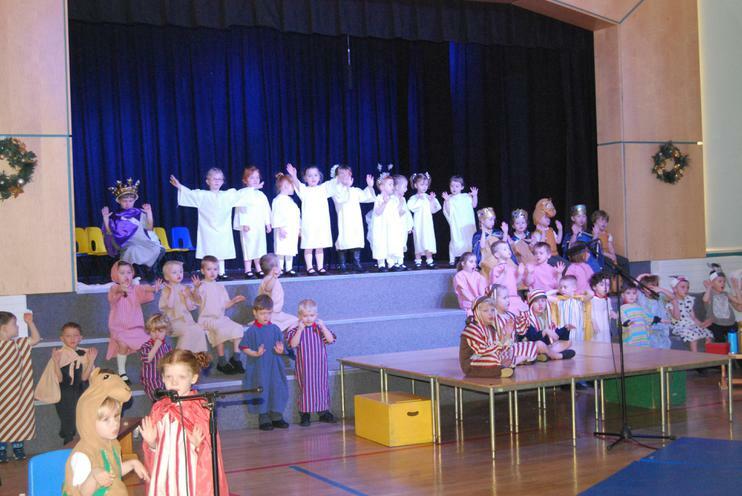 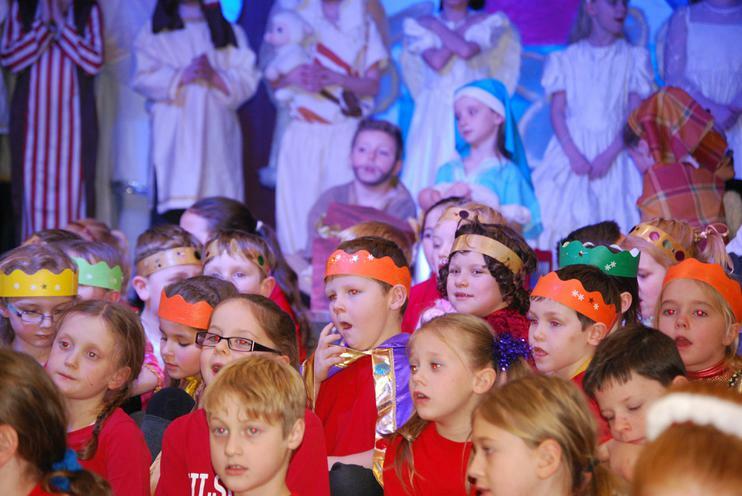 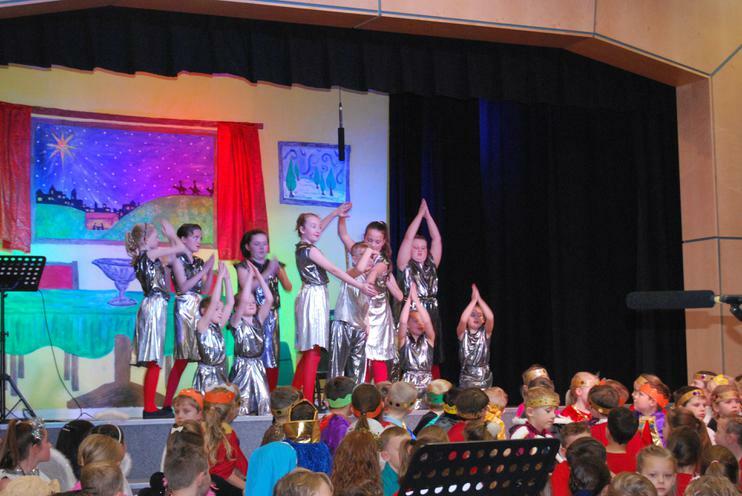 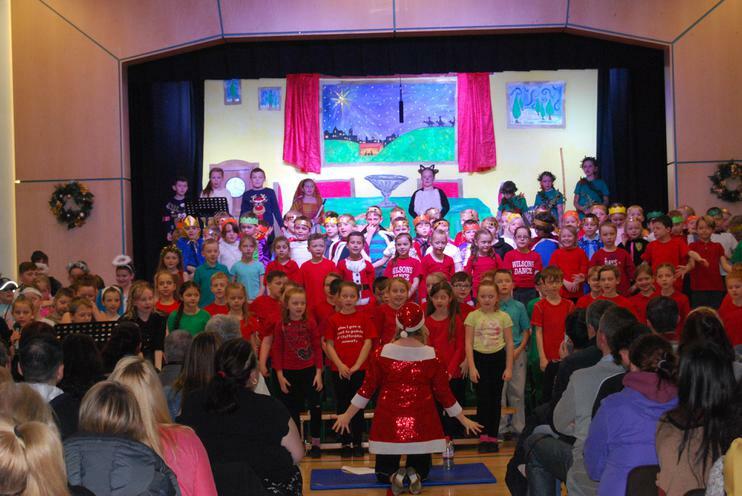 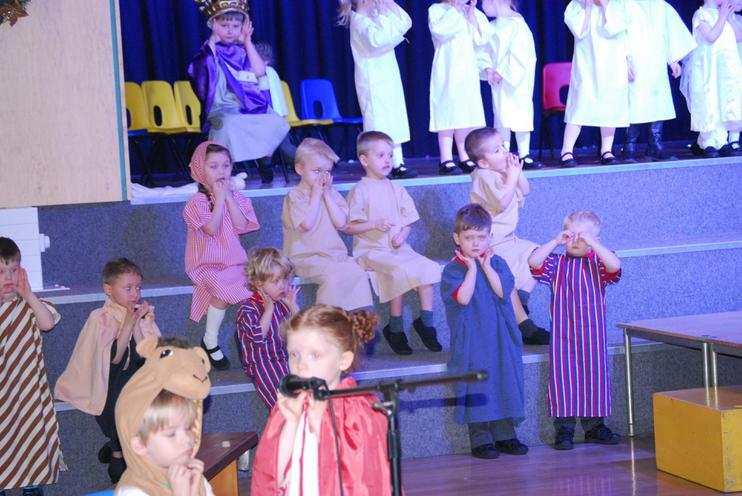 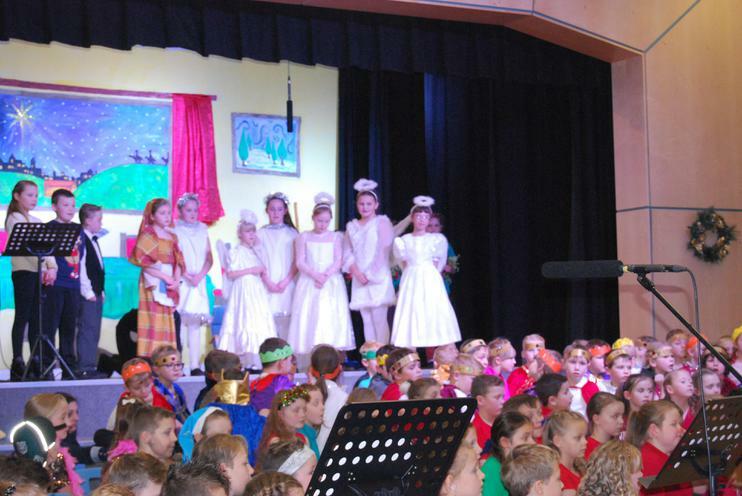 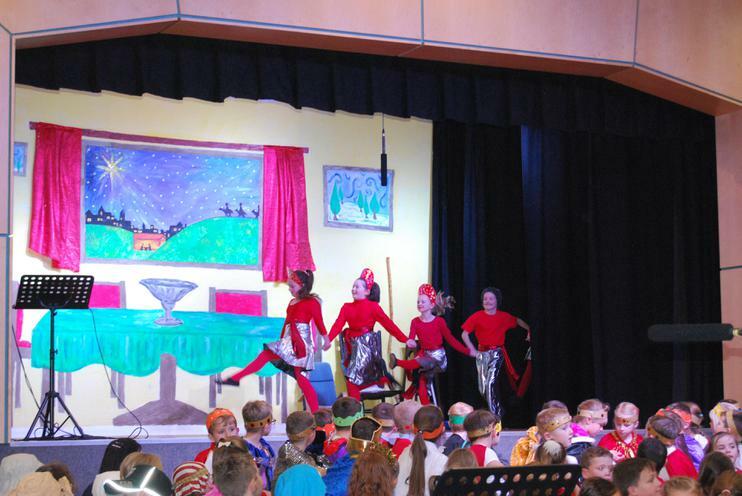 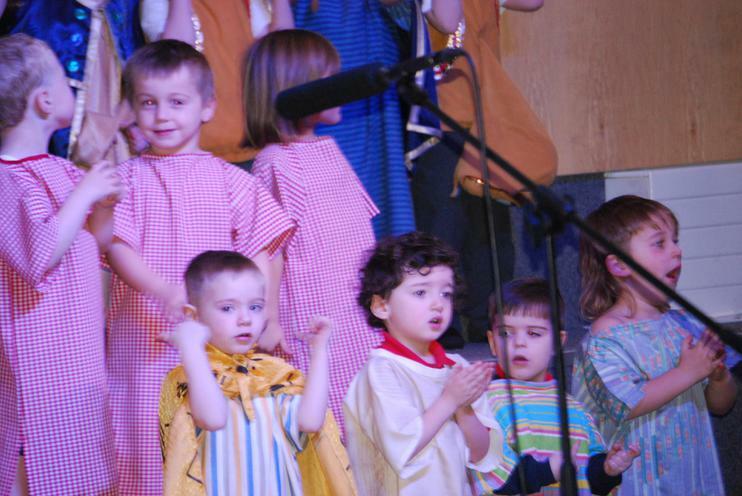 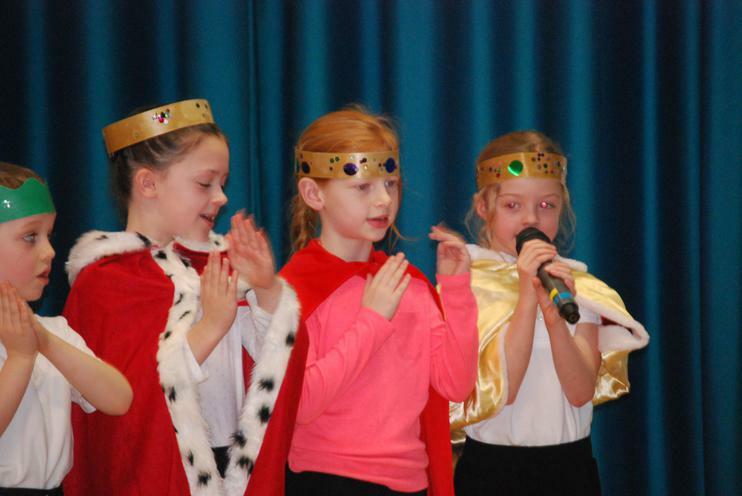 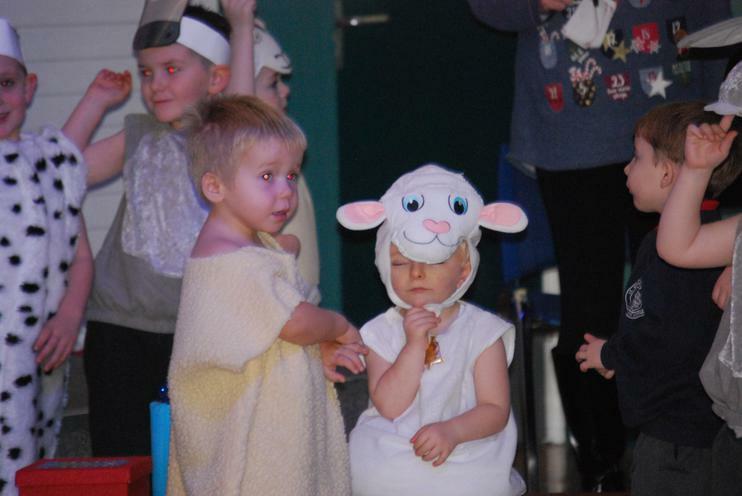 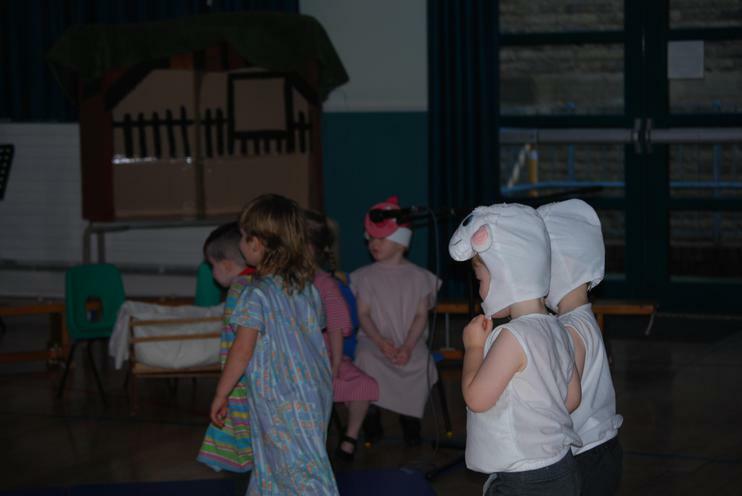 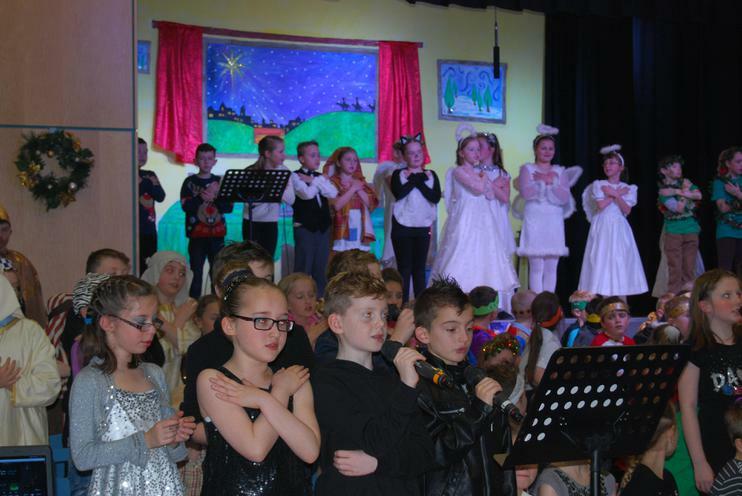 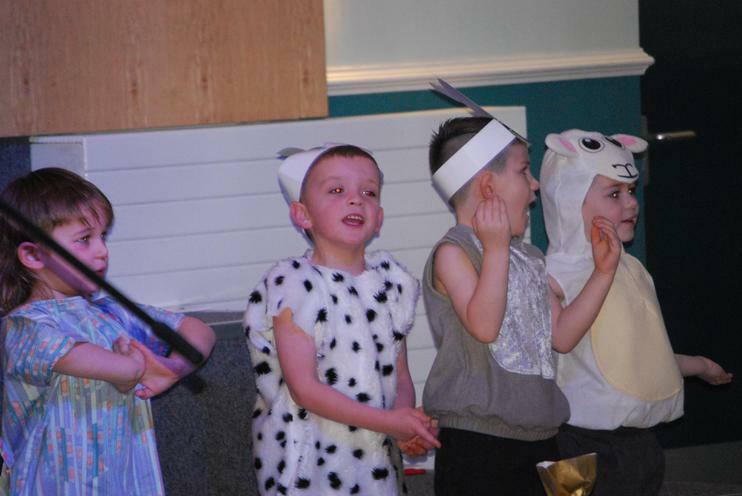 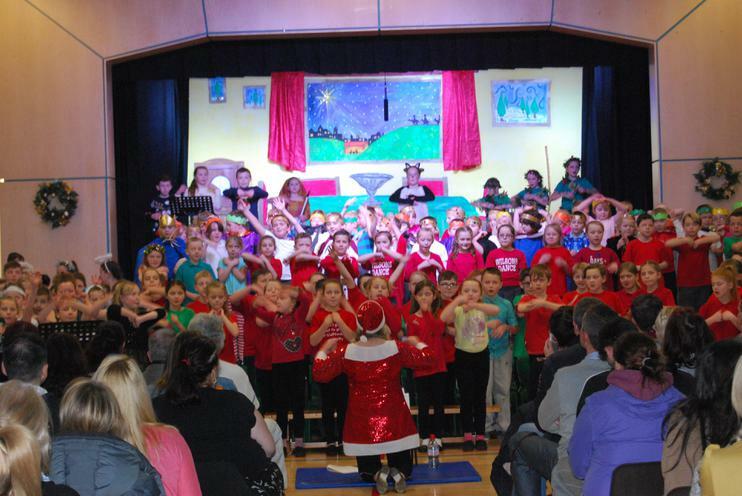 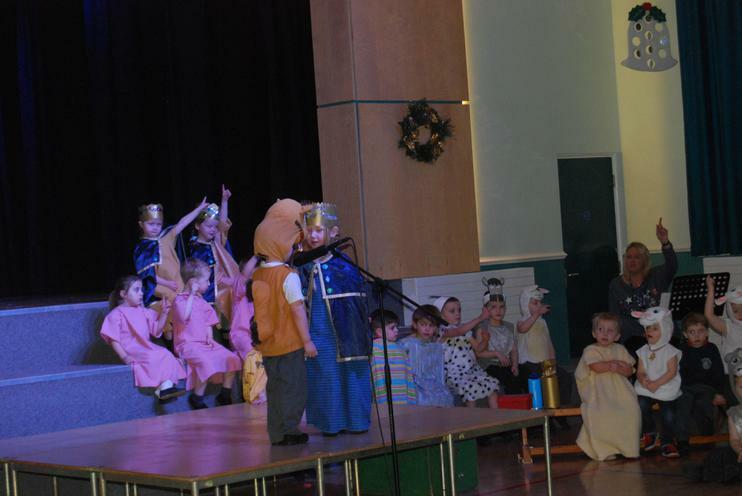 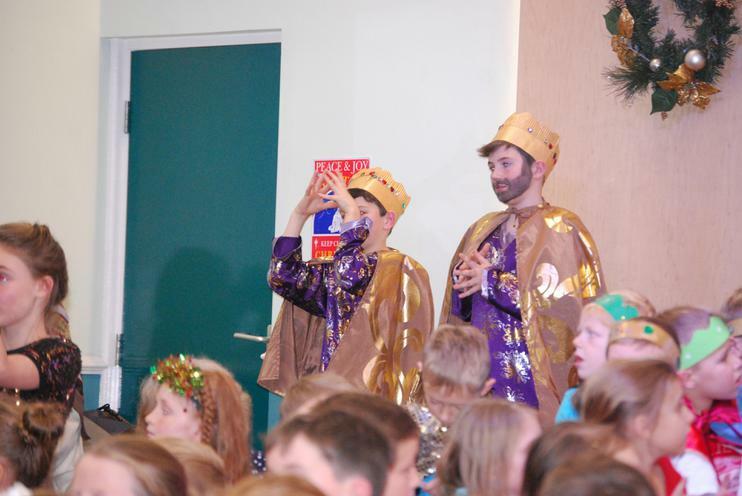 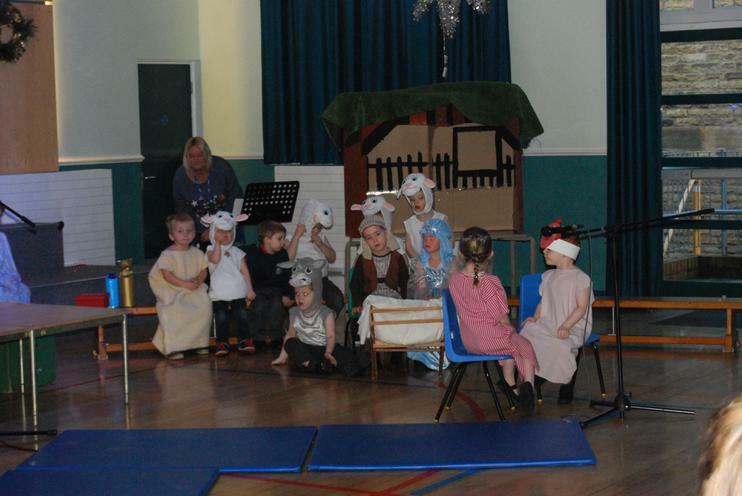 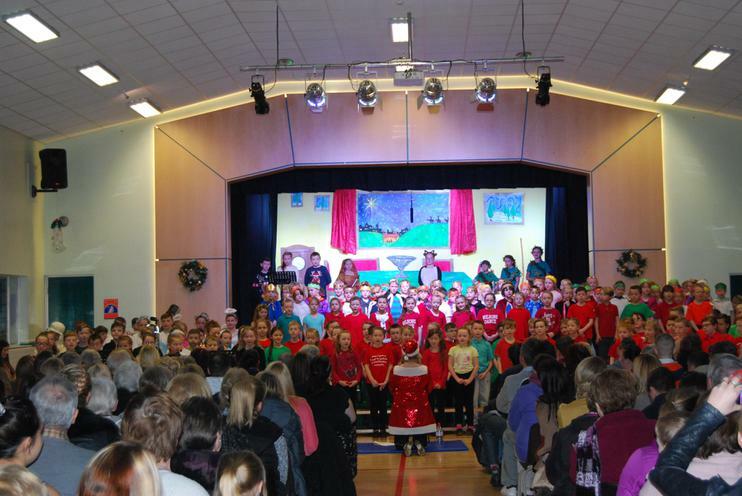 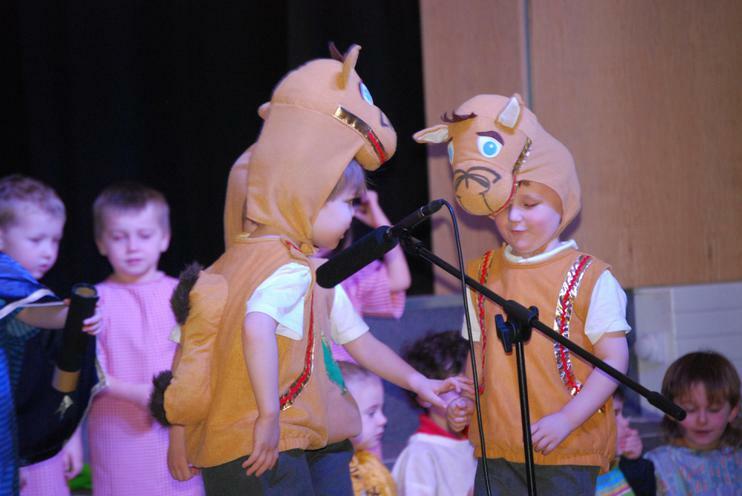 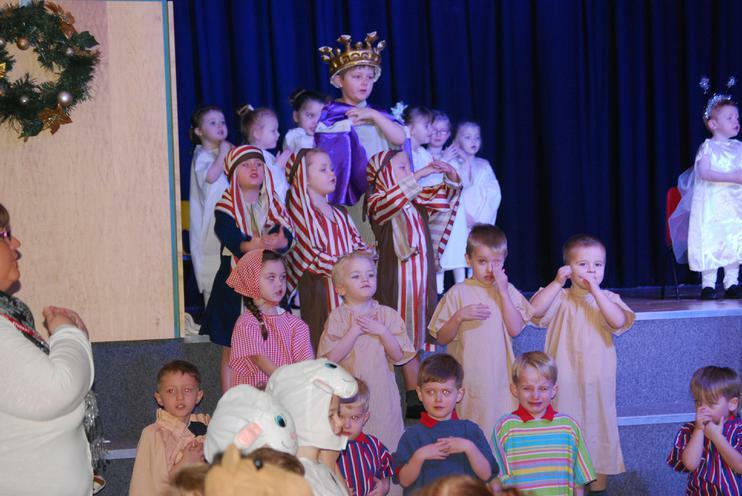 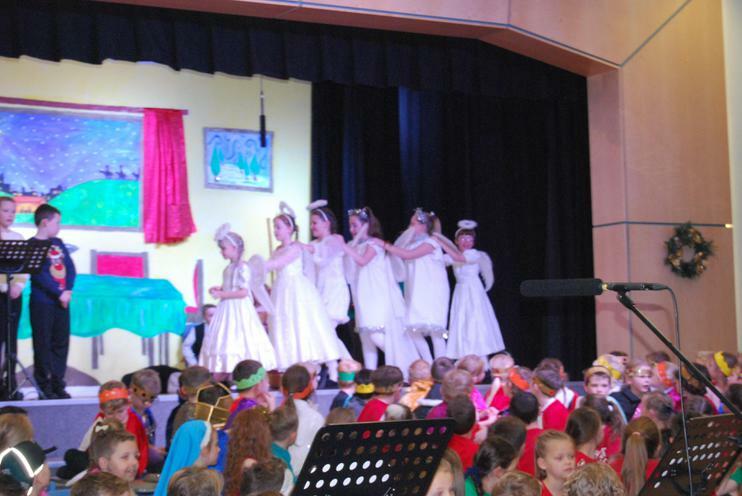 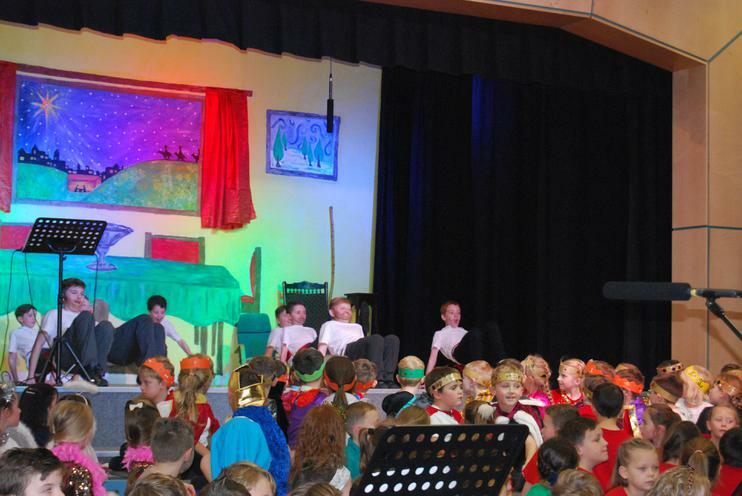 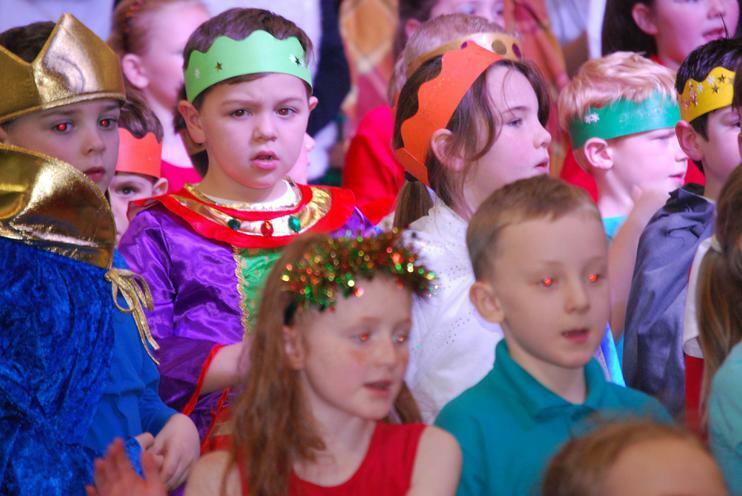 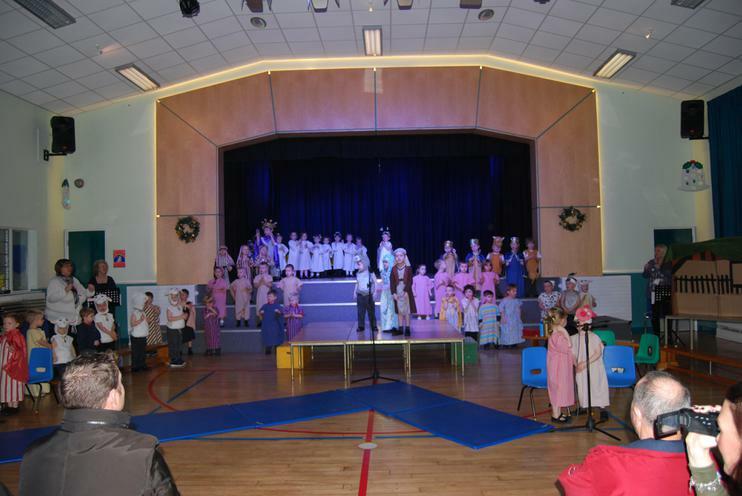 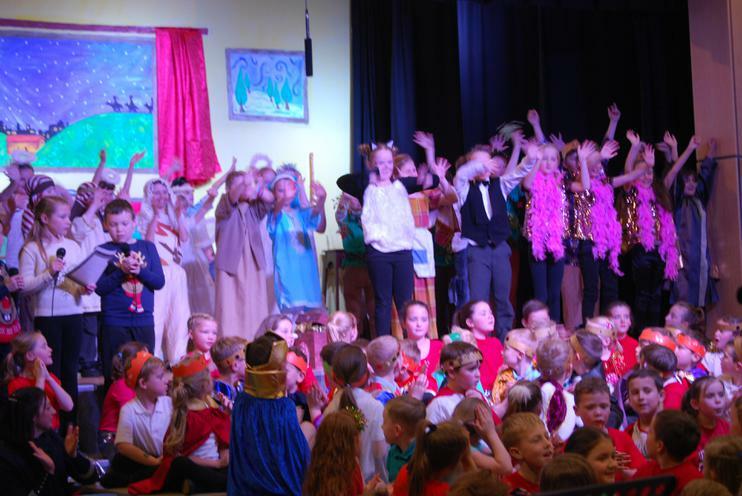 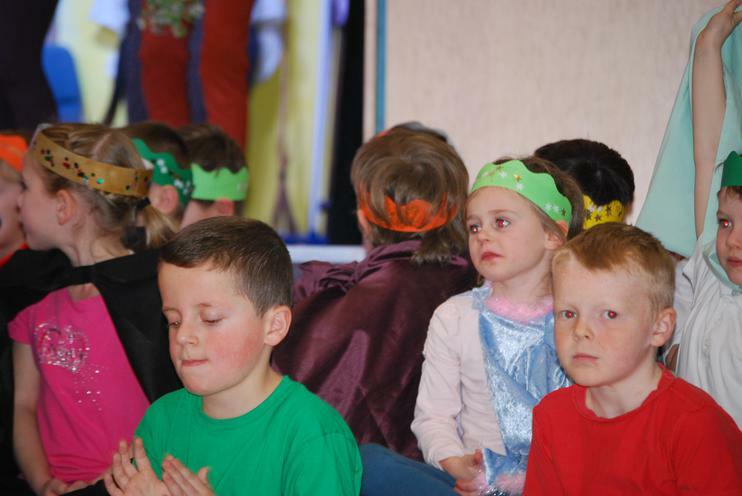 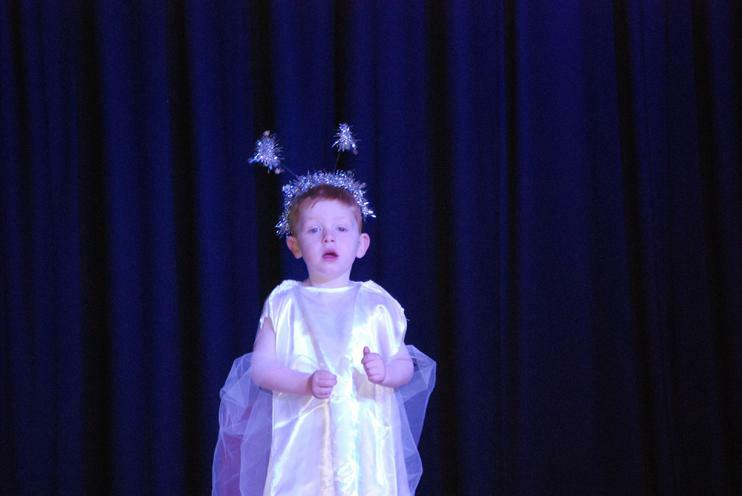 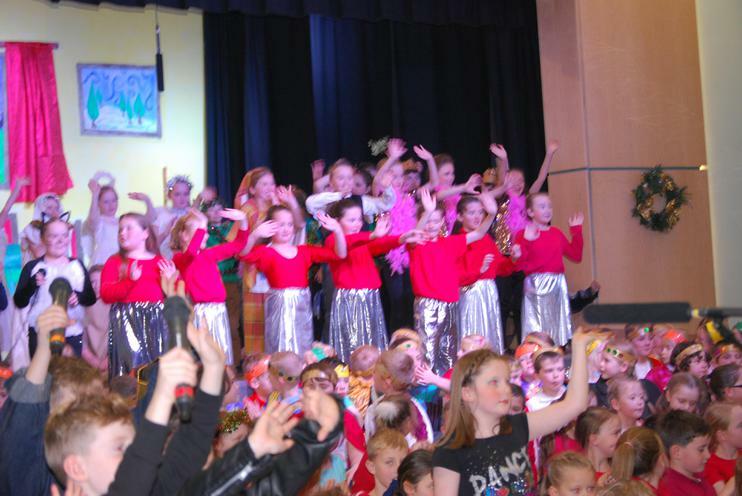 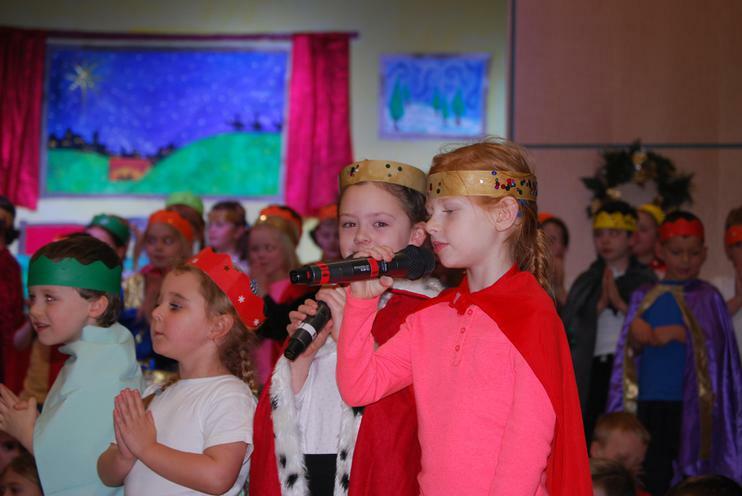 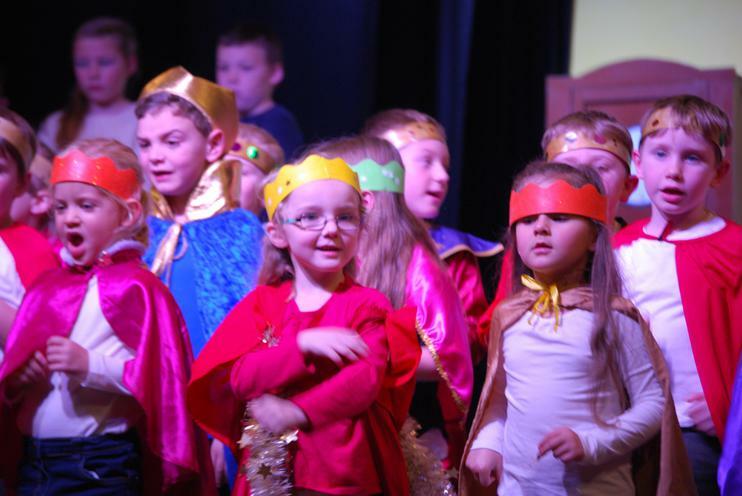 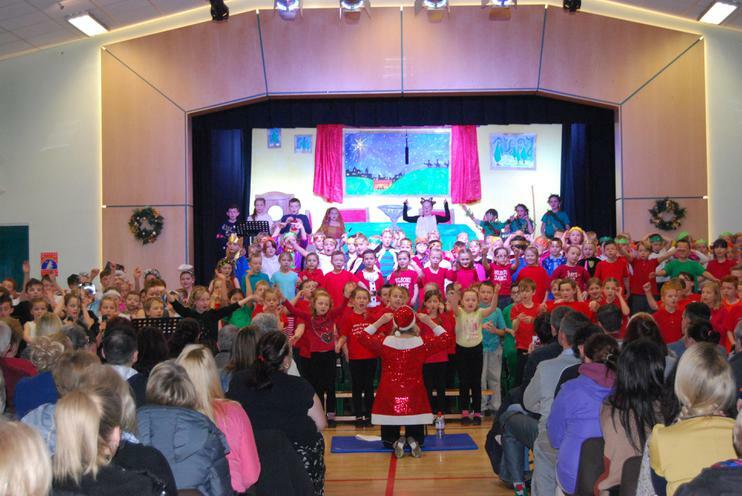 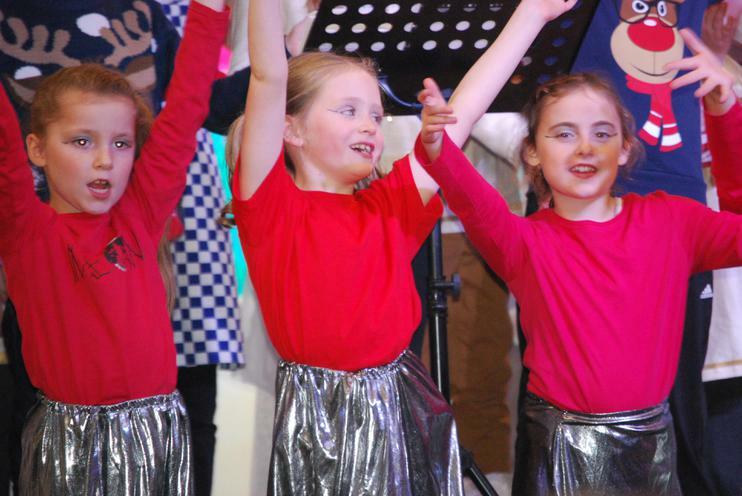 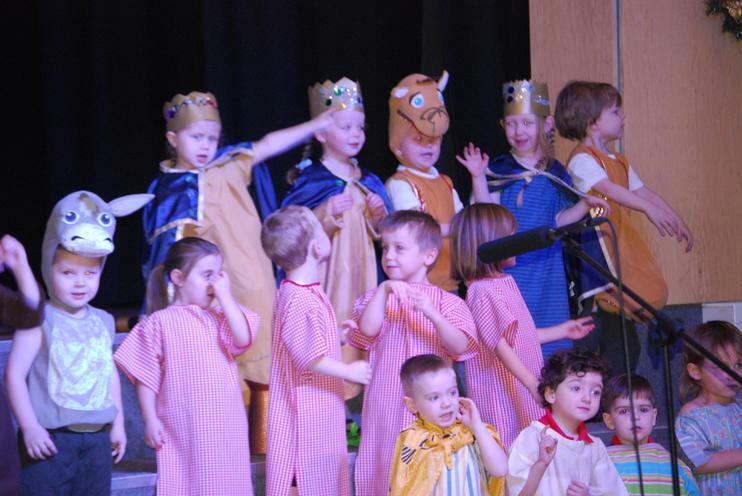 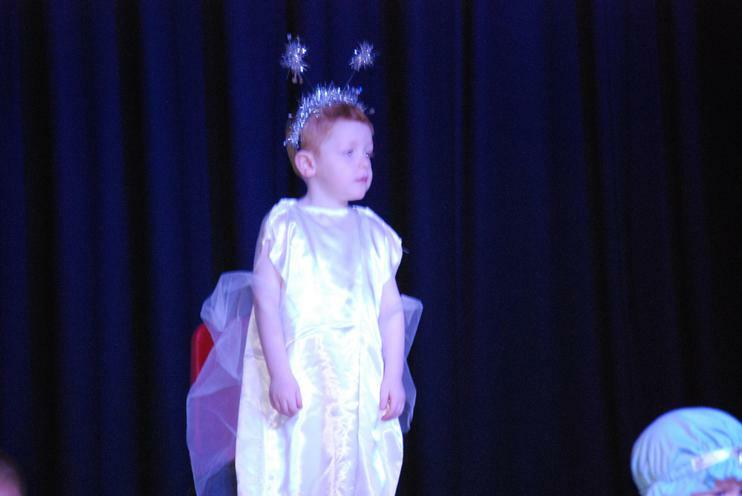 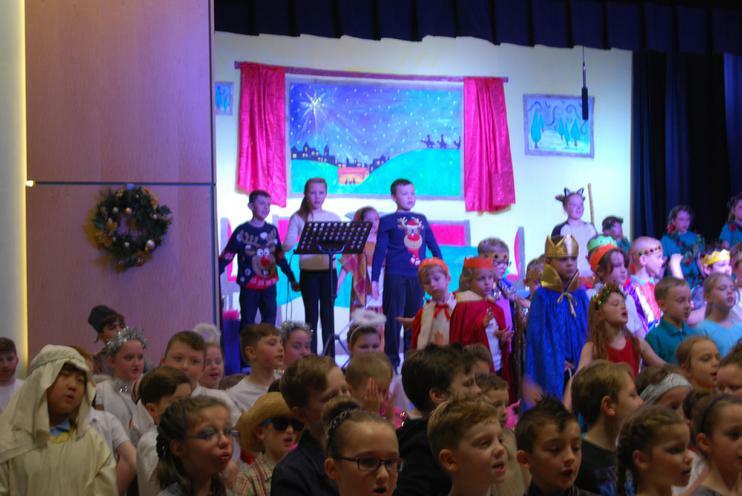 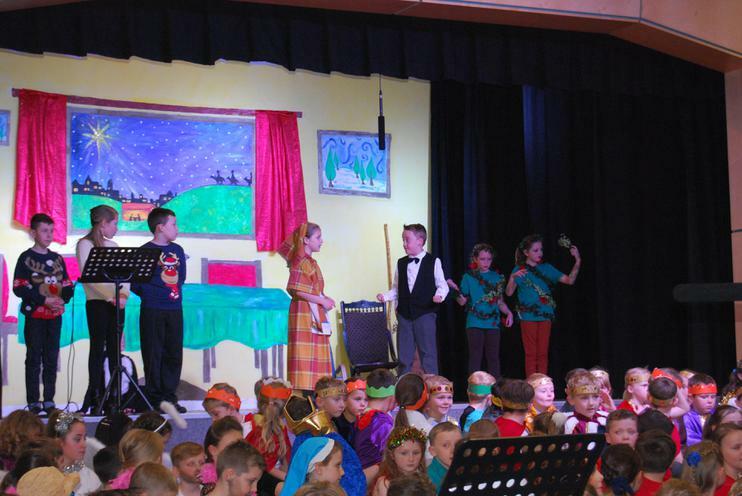 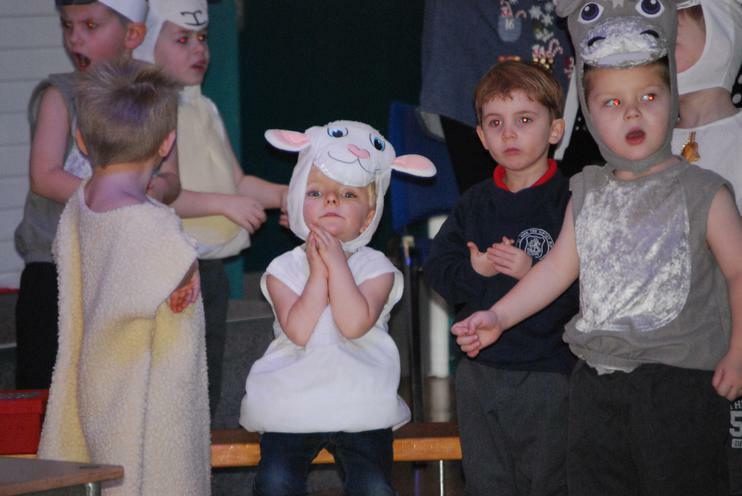 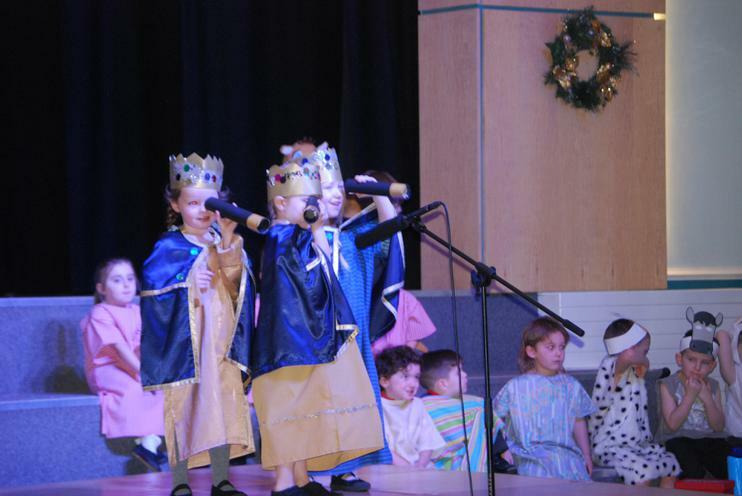 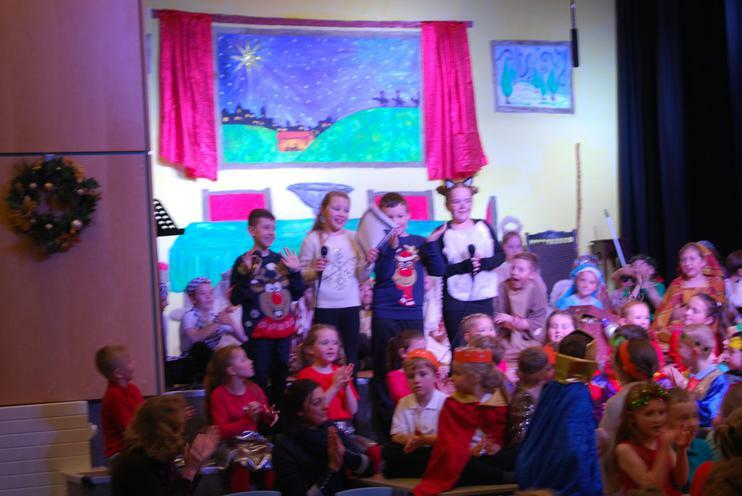 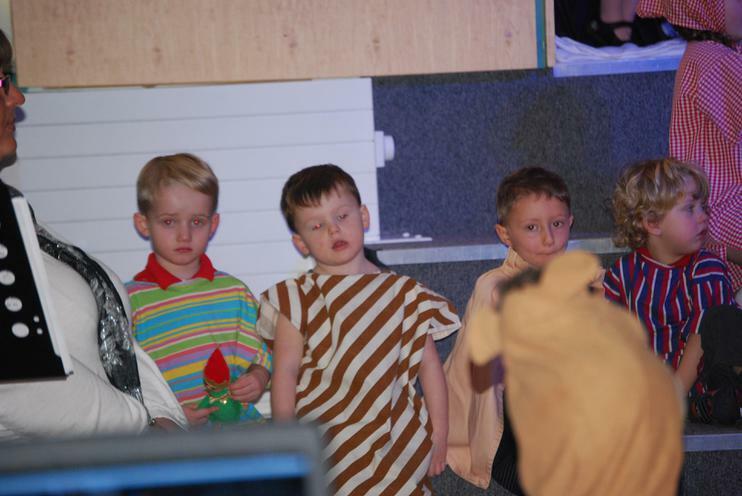 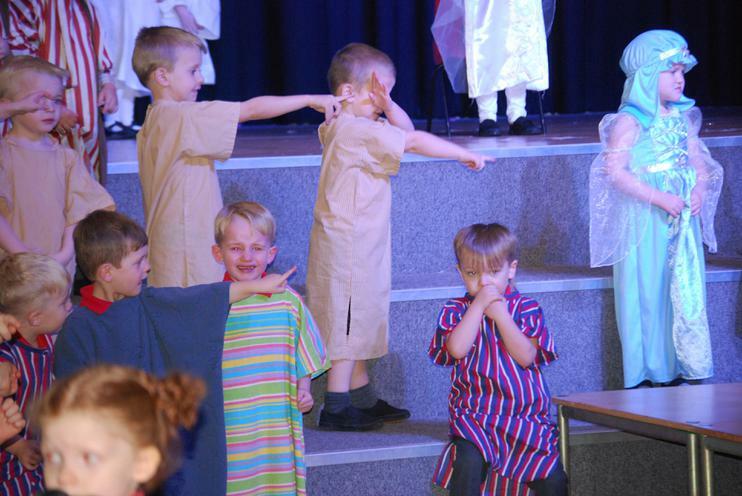 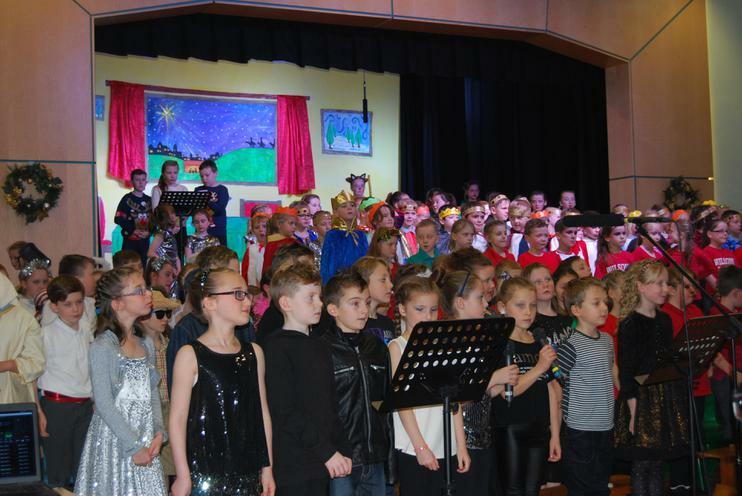 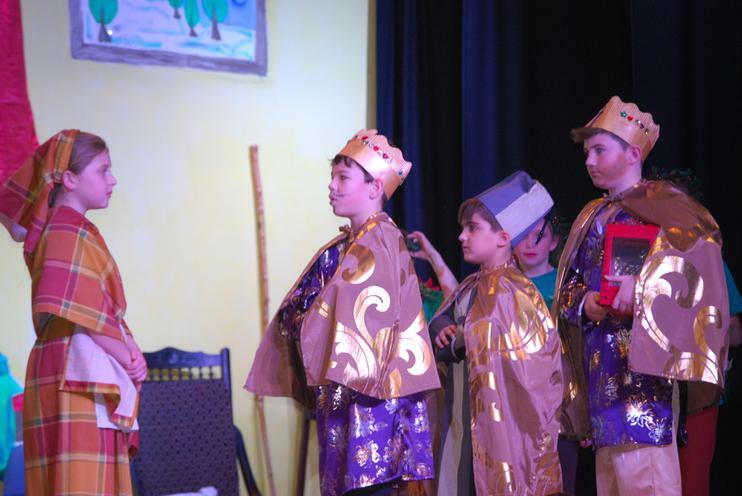 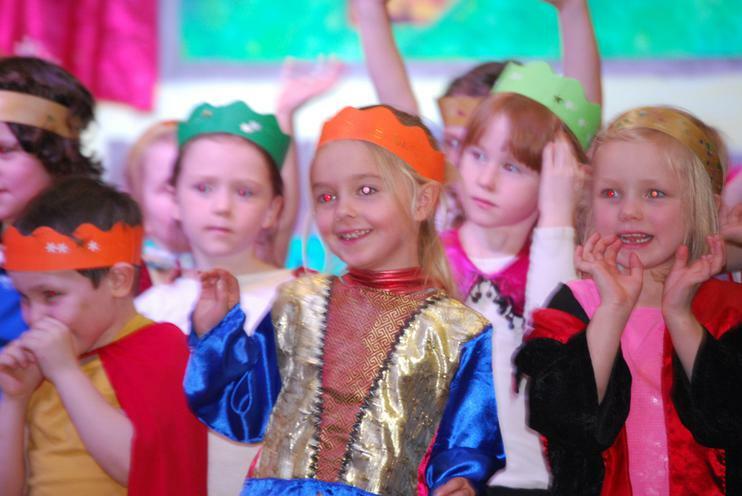 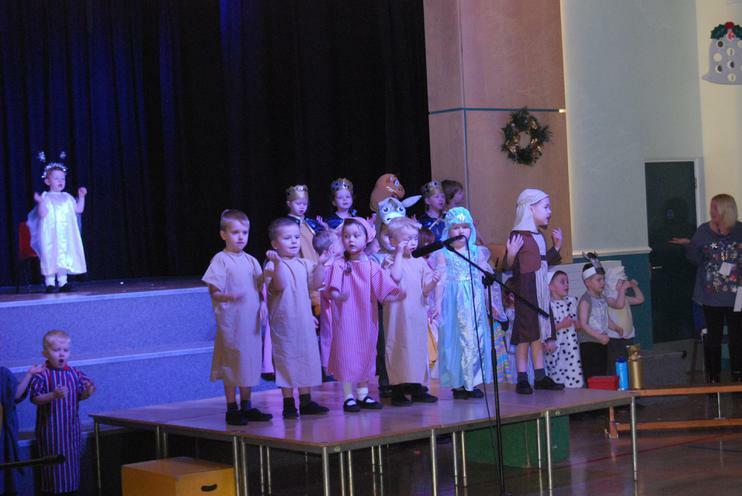 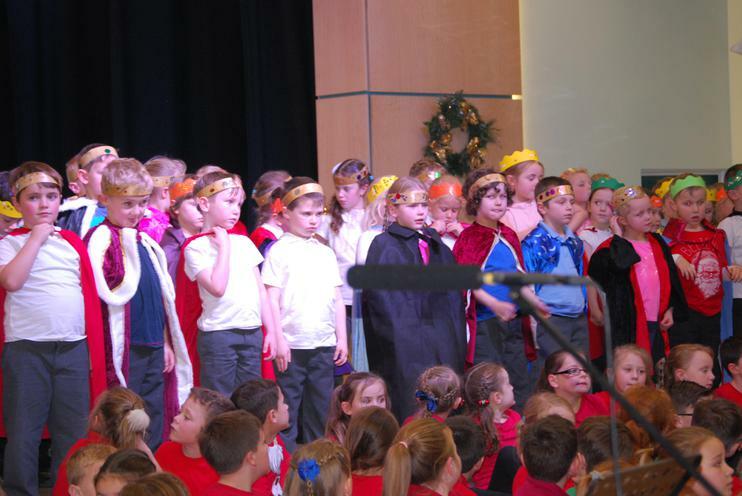 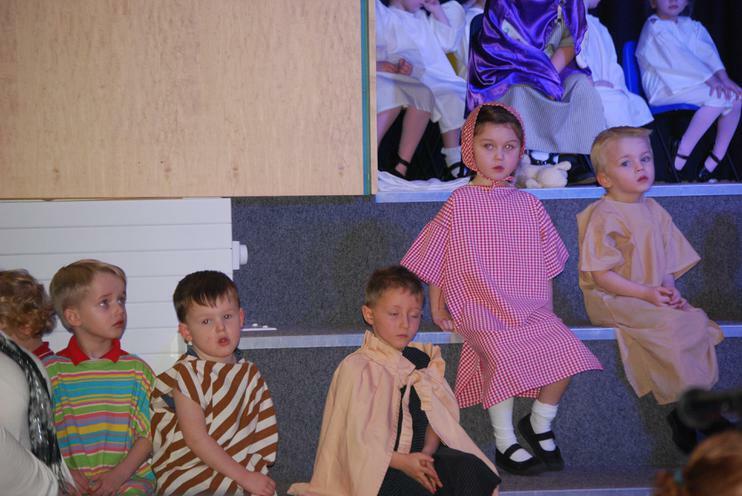 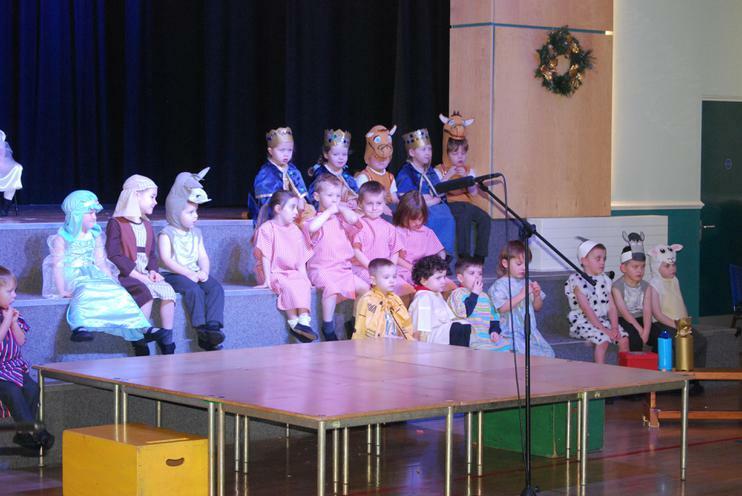 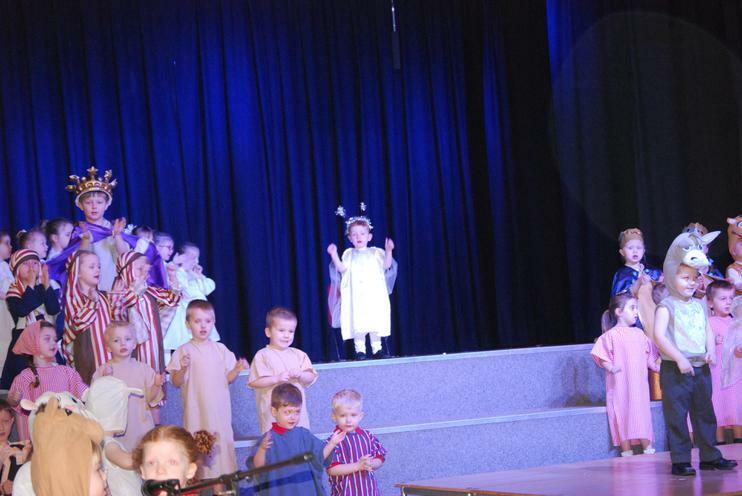 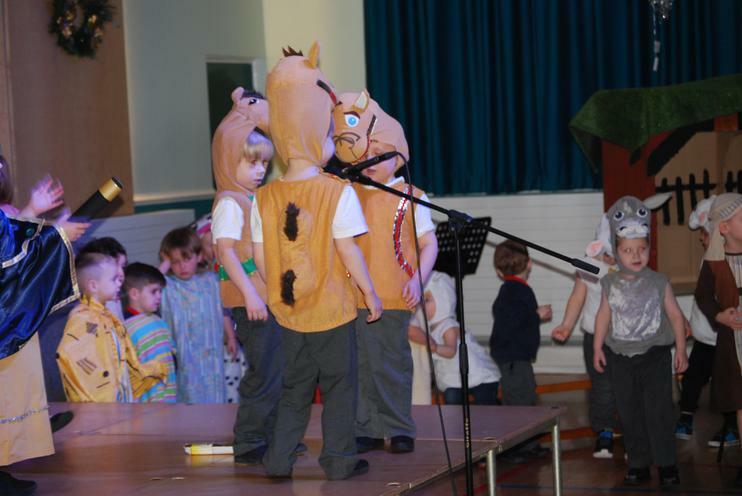 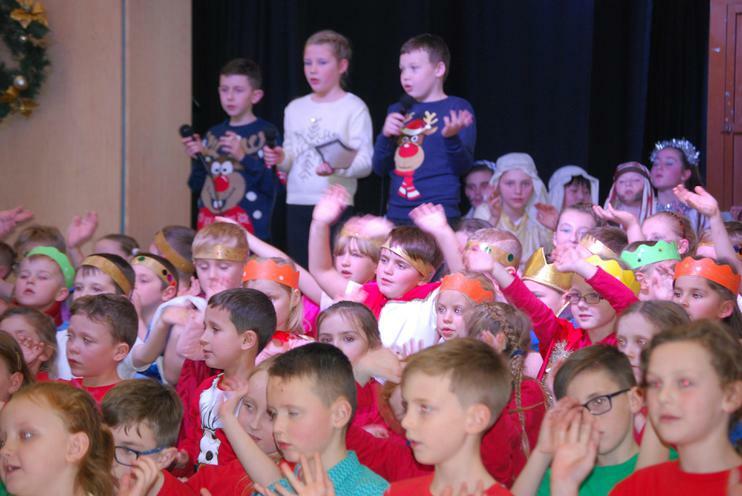 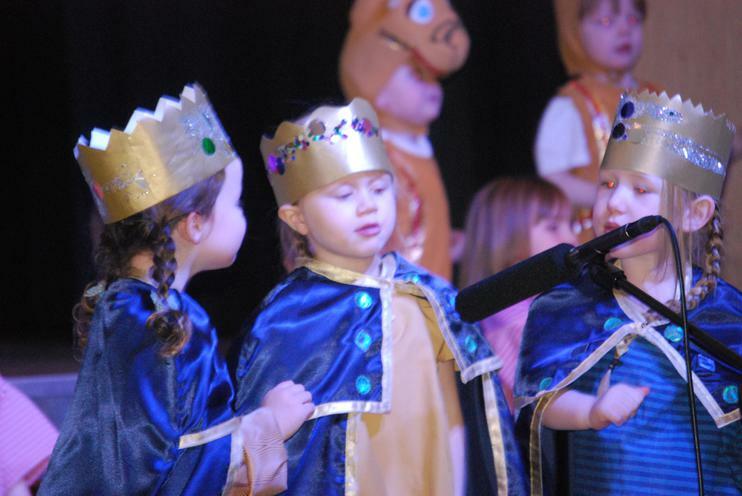 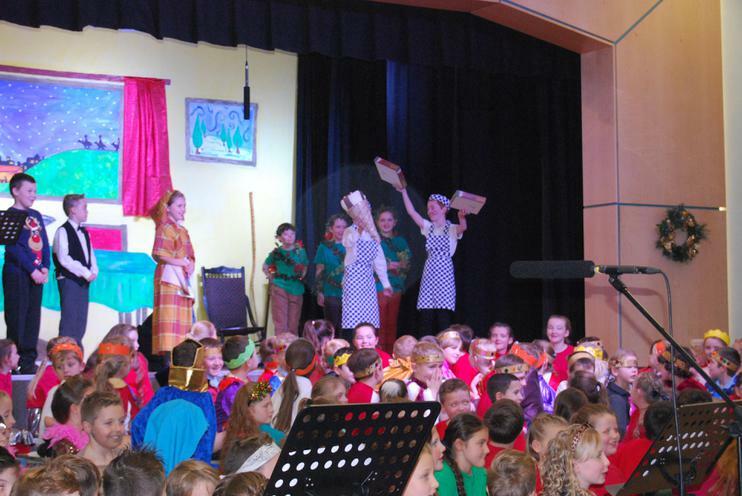 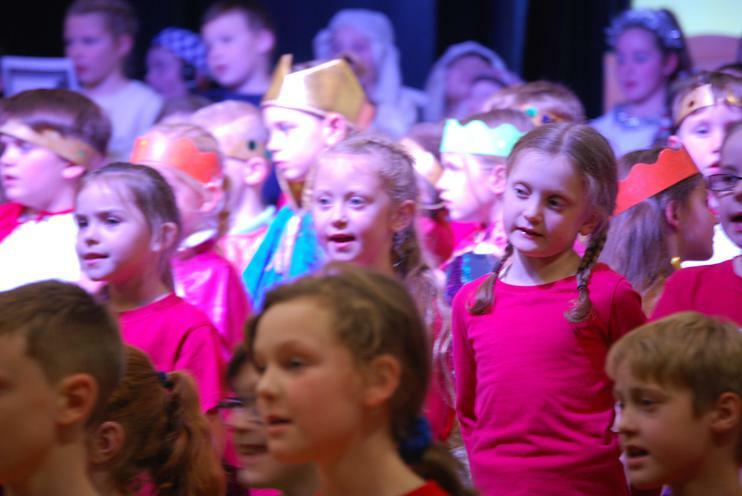 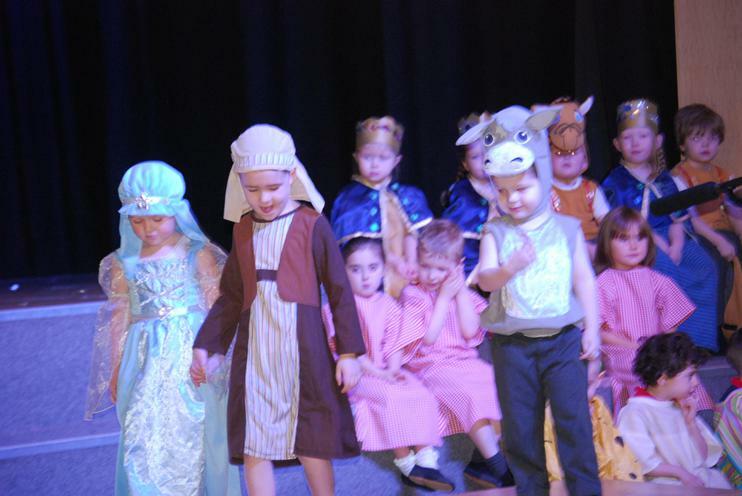 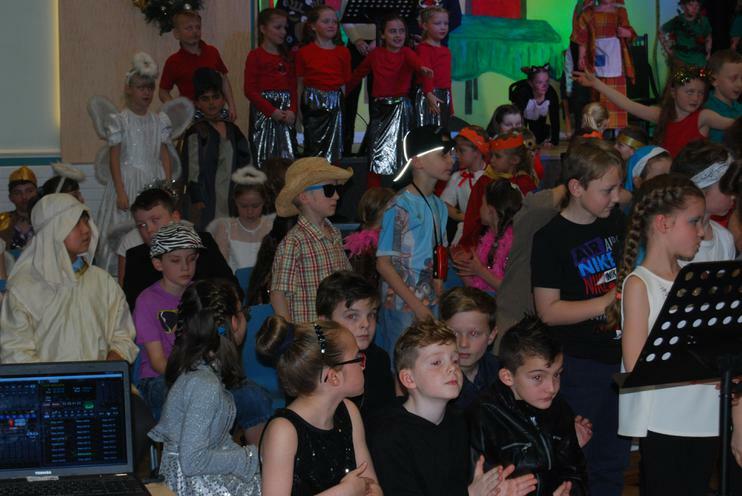 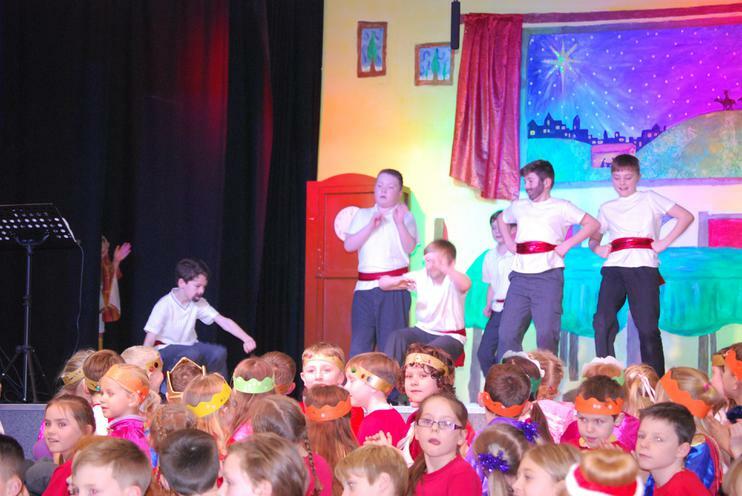 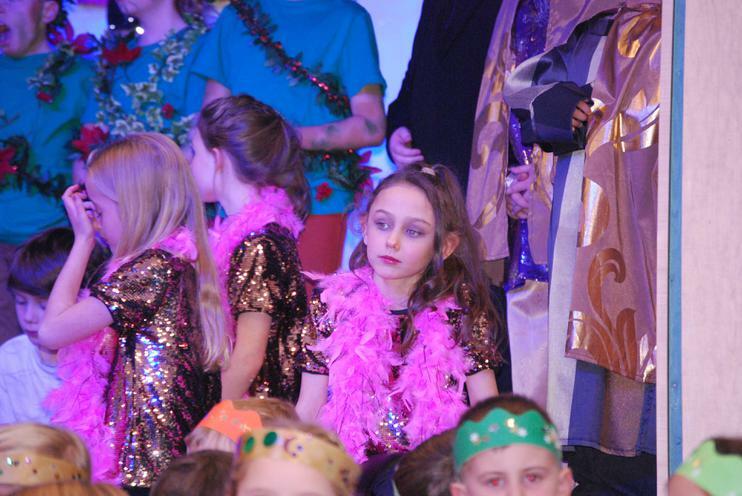 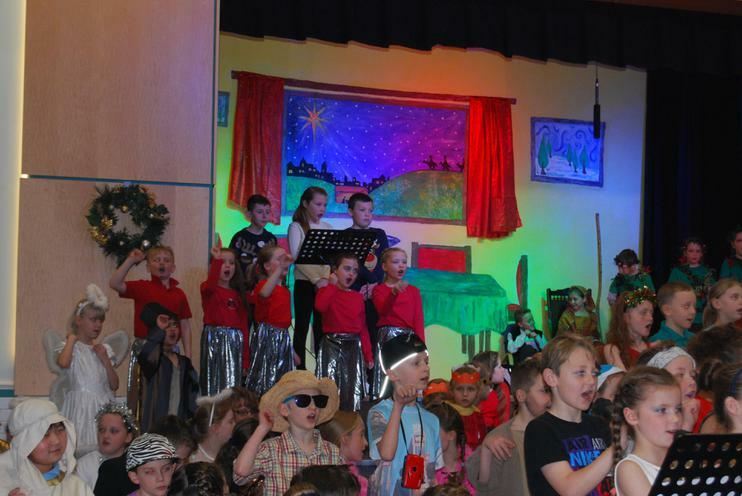 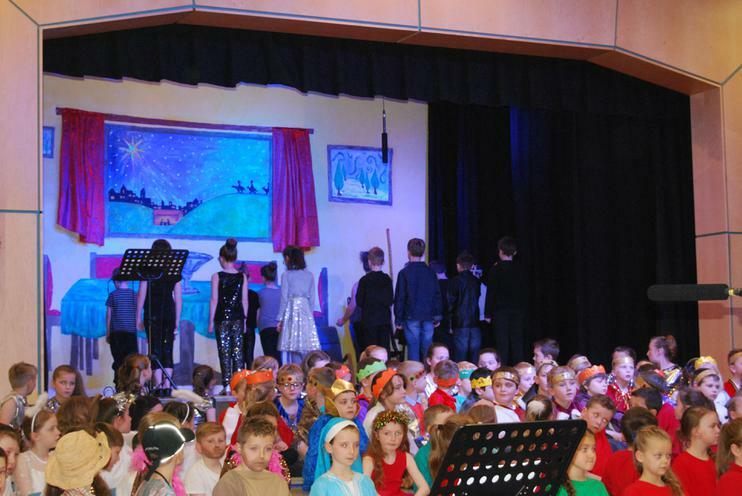 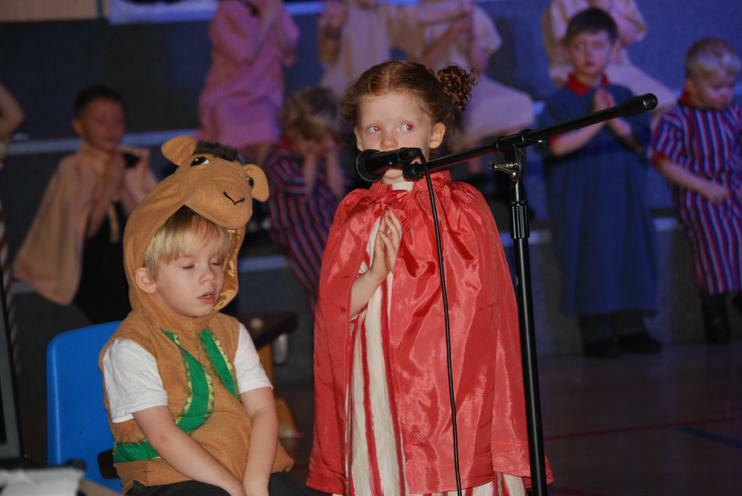 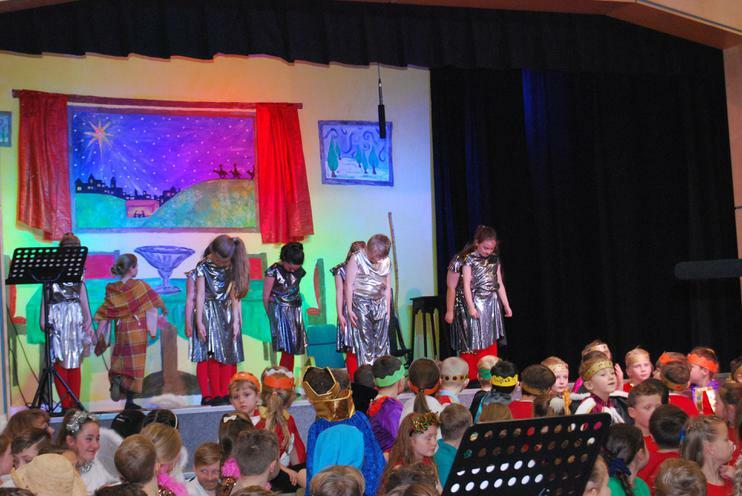 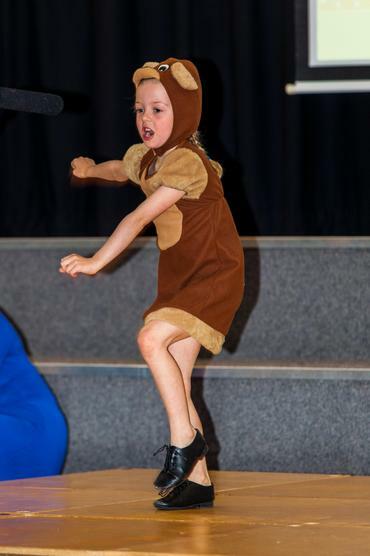 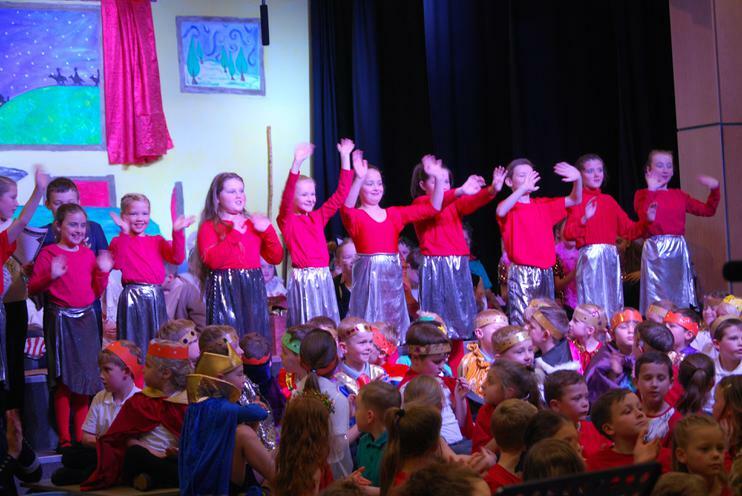 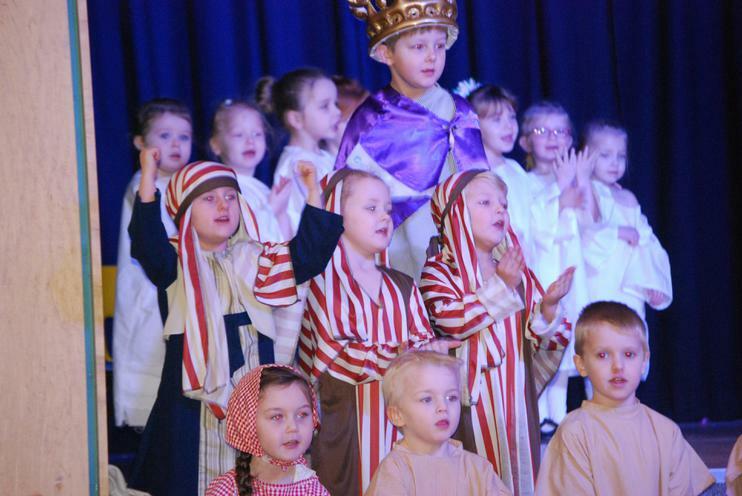 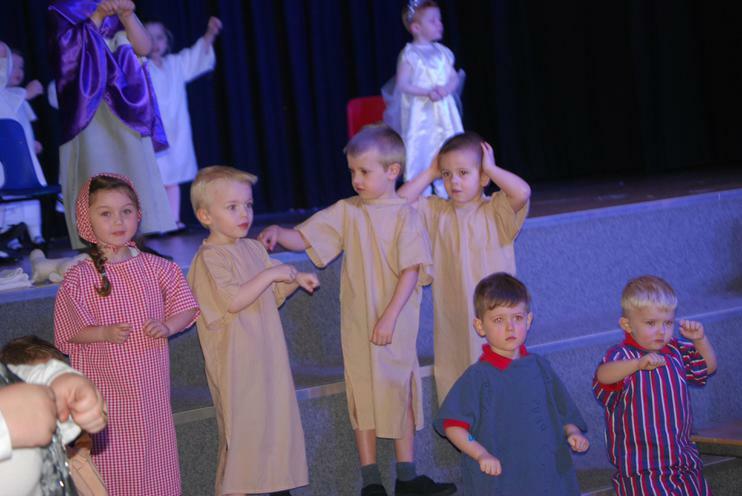 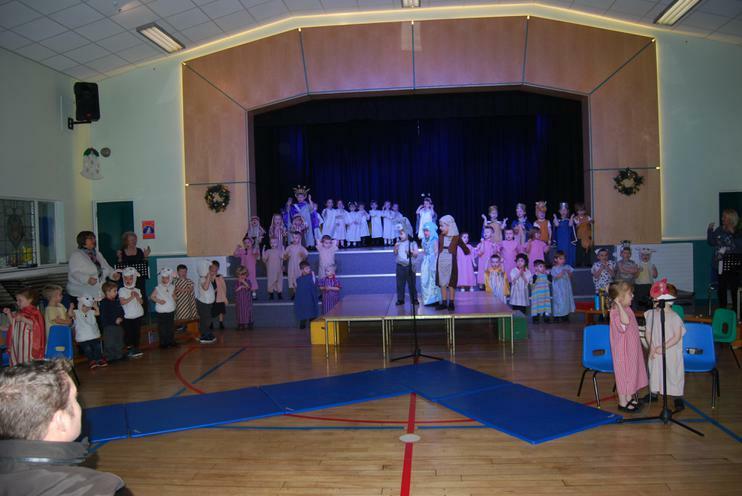 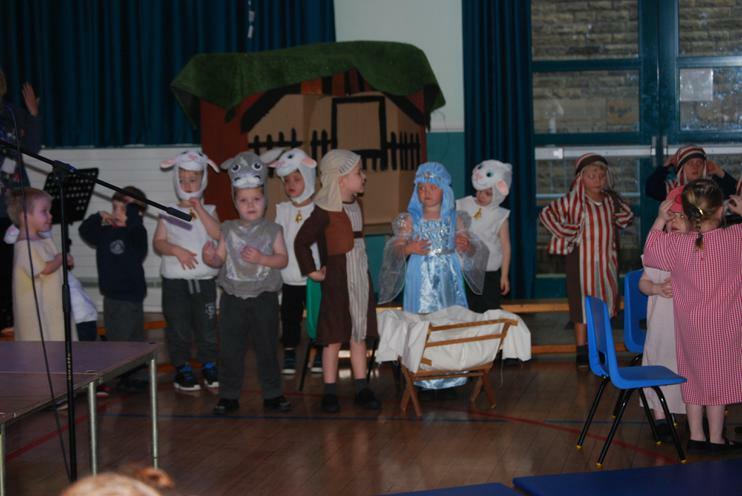 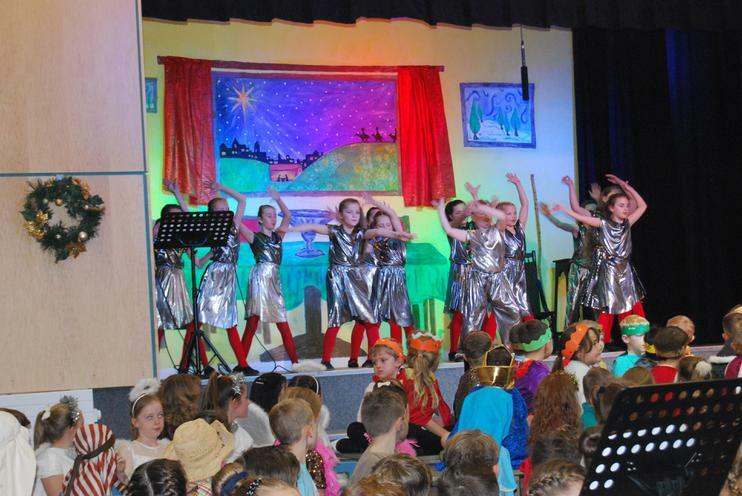 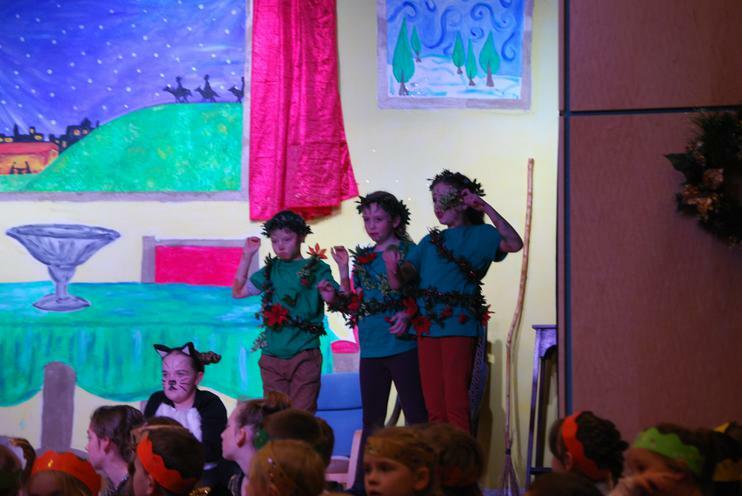 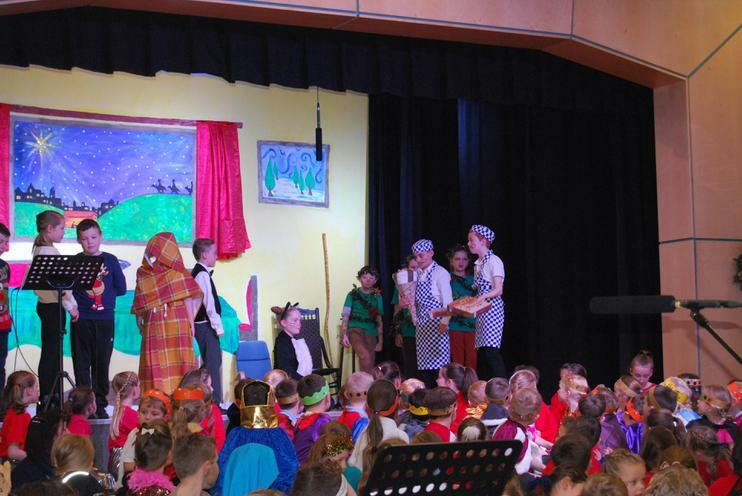 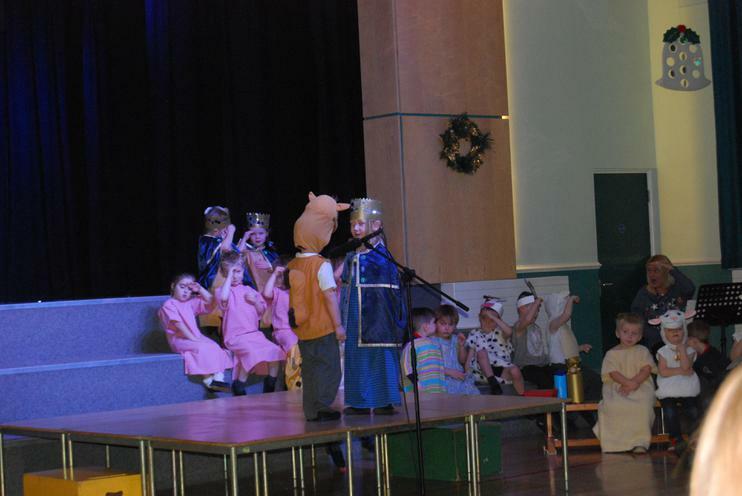 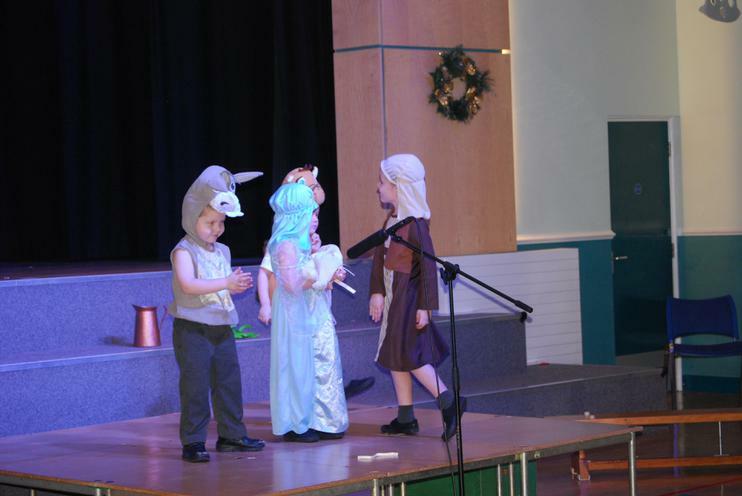 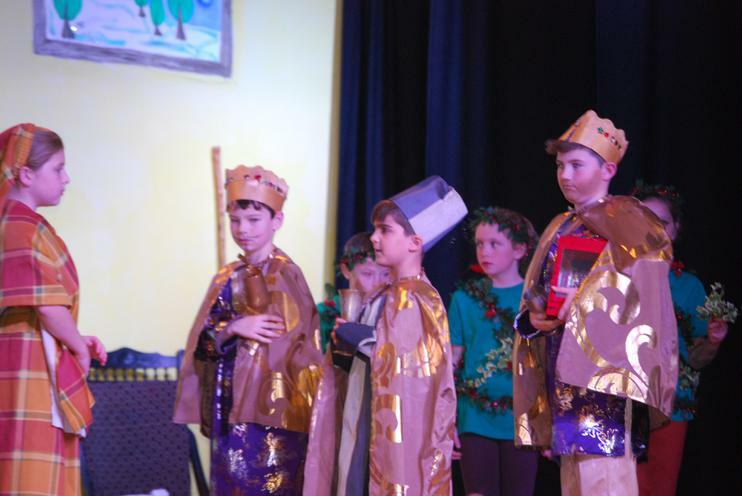 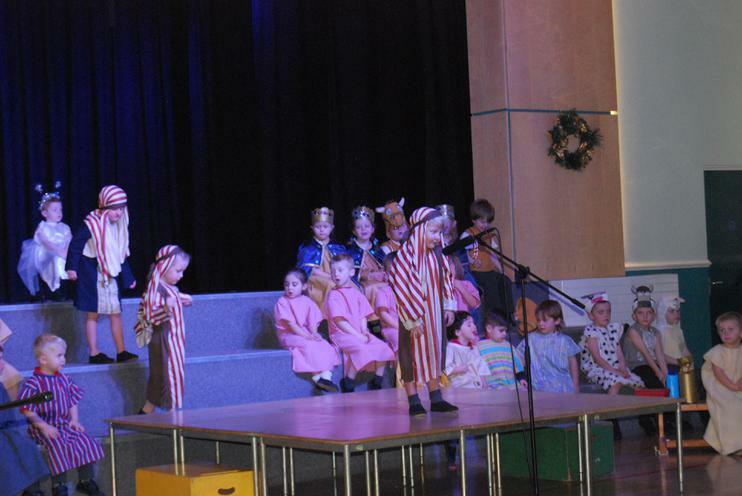 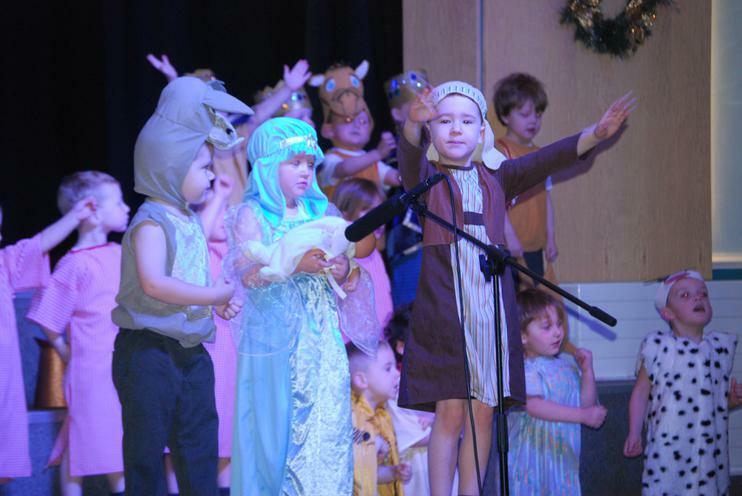 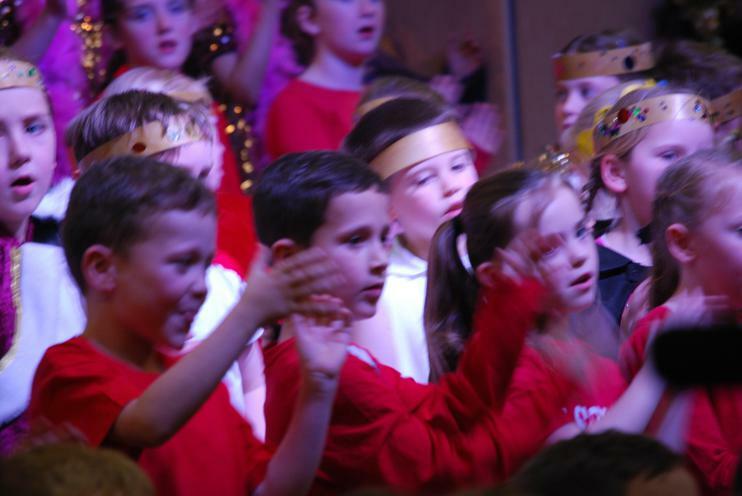 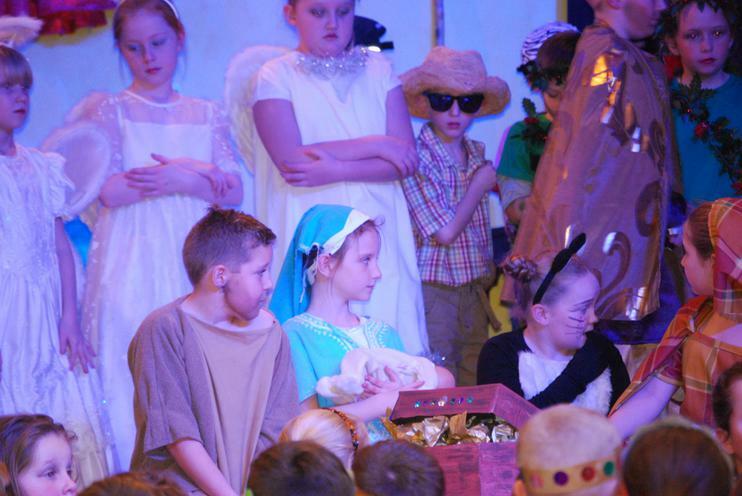 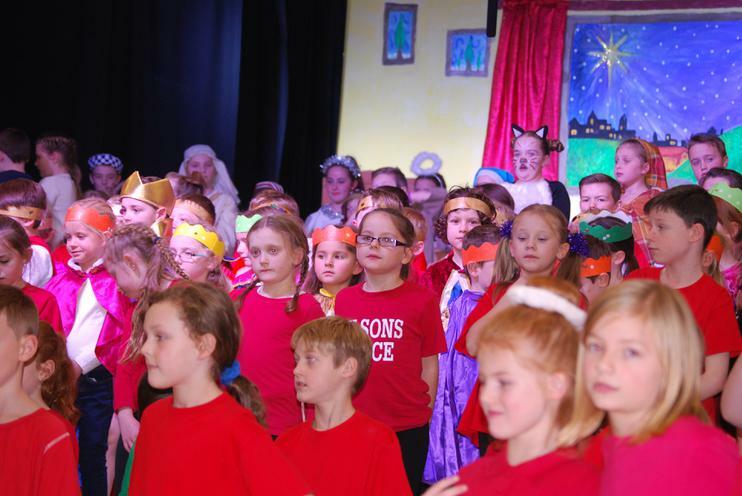 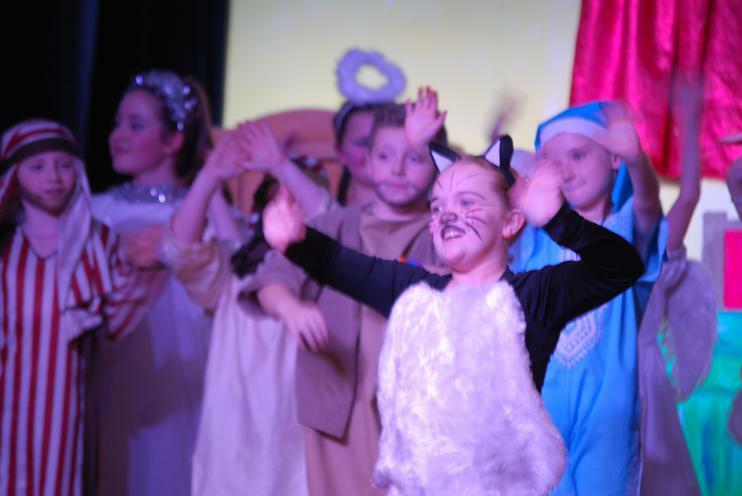 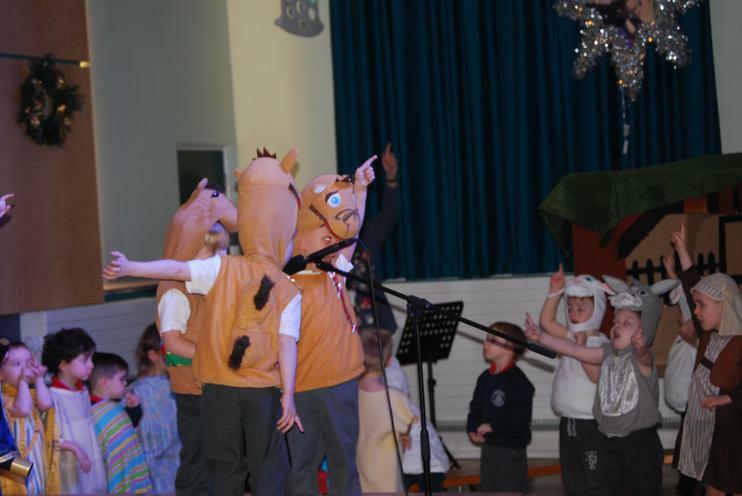 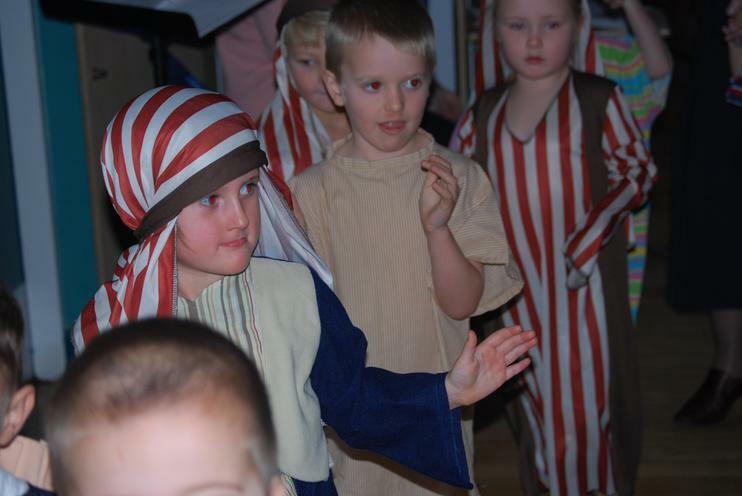 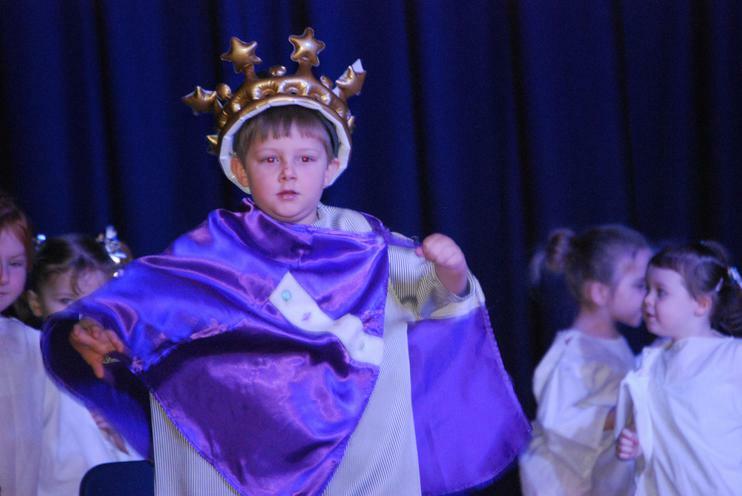 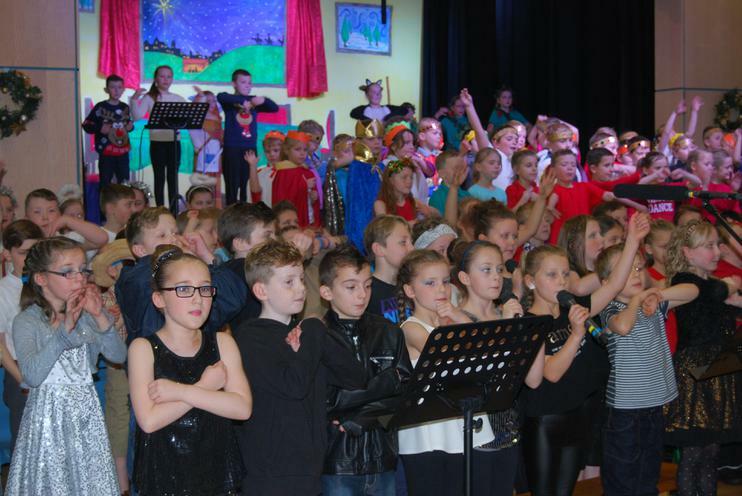 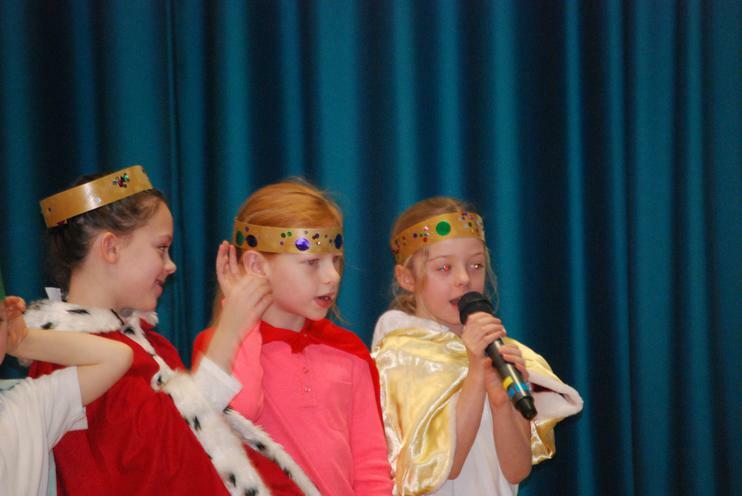 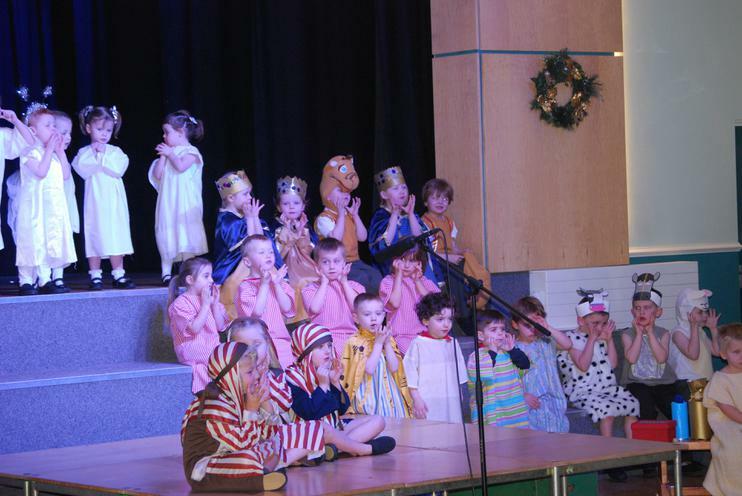 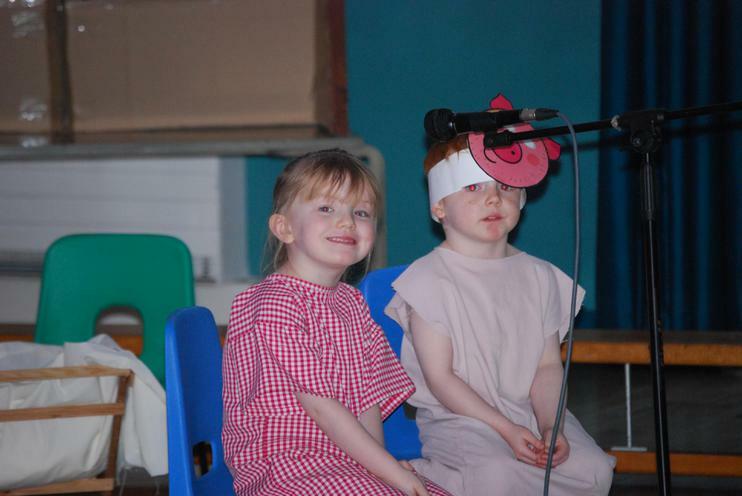 The EYFS children performed beautifully in their Christmas Production of 'Whoops-a-Daisy Angel' and the children in KS 1 and 2 were amazing in their production of 'The Nativity'. 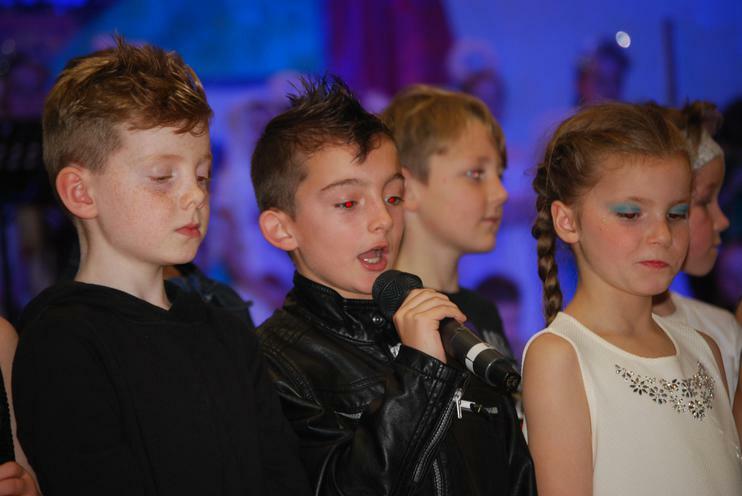 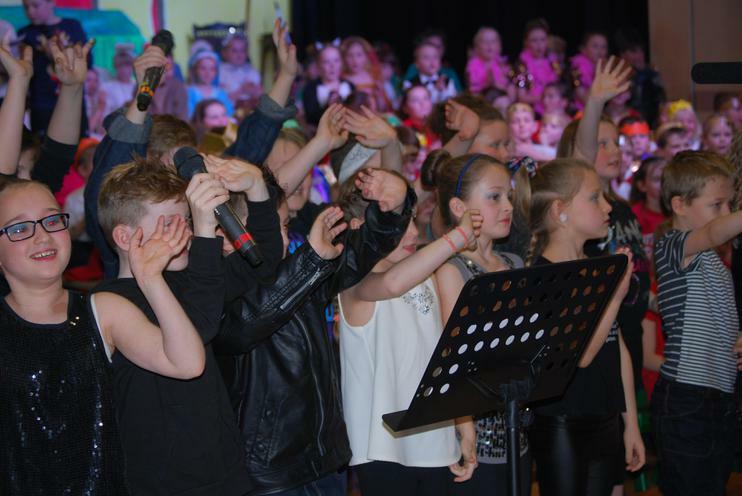 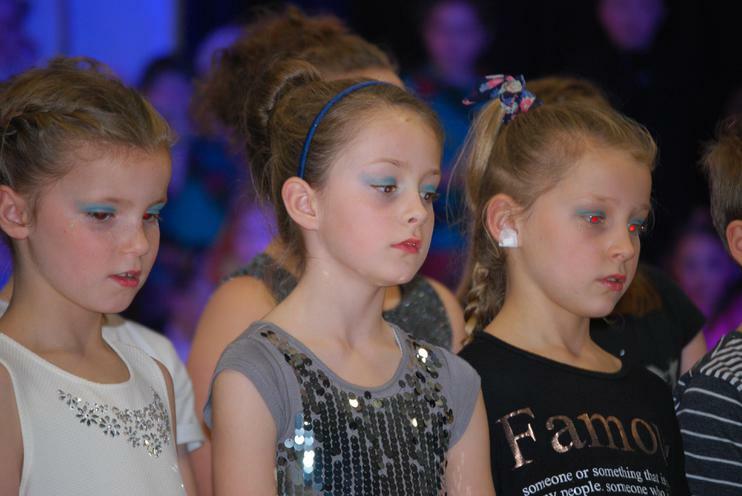 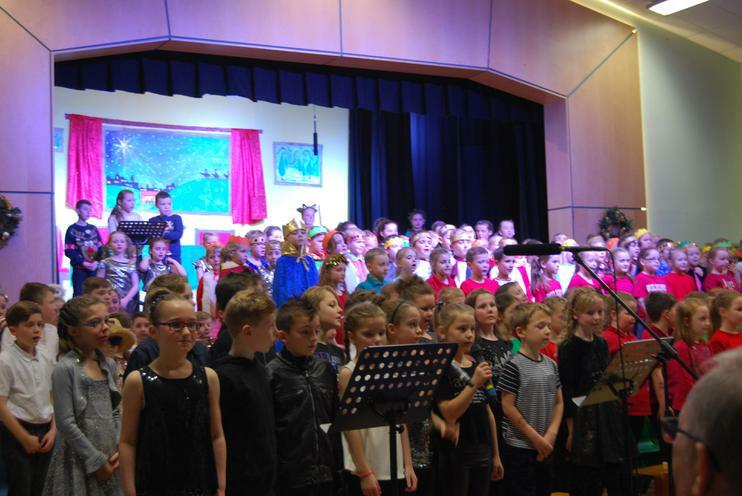 Click on the link below to see some photos and videos from their performances and their dress rehearsals. 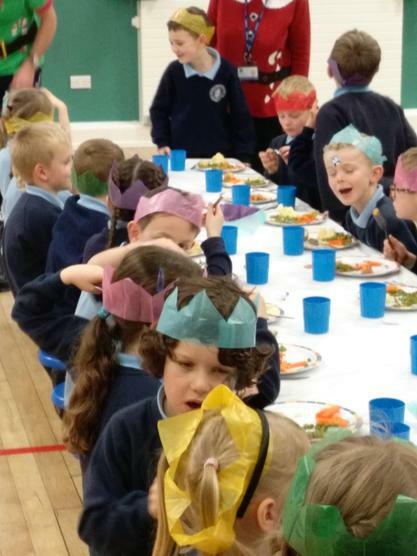 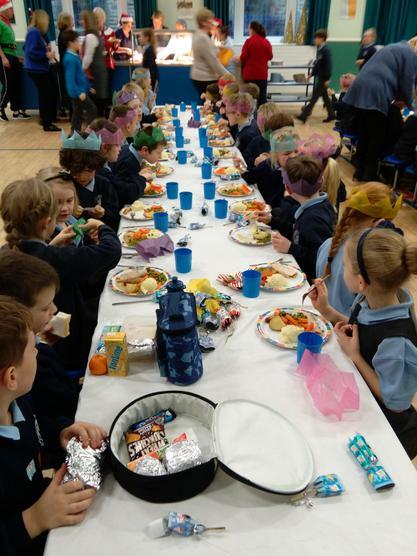 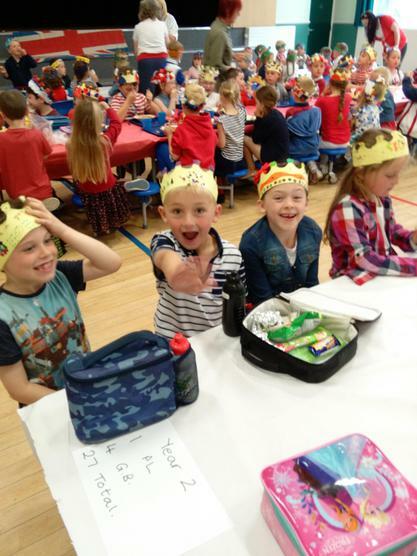 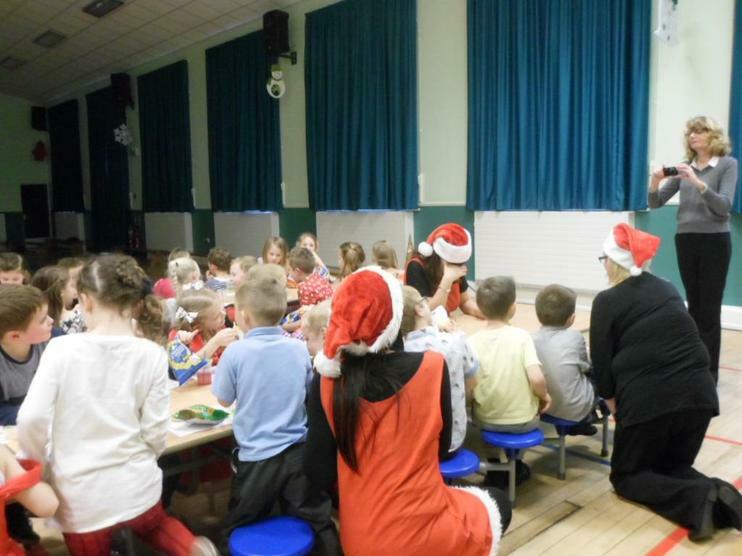 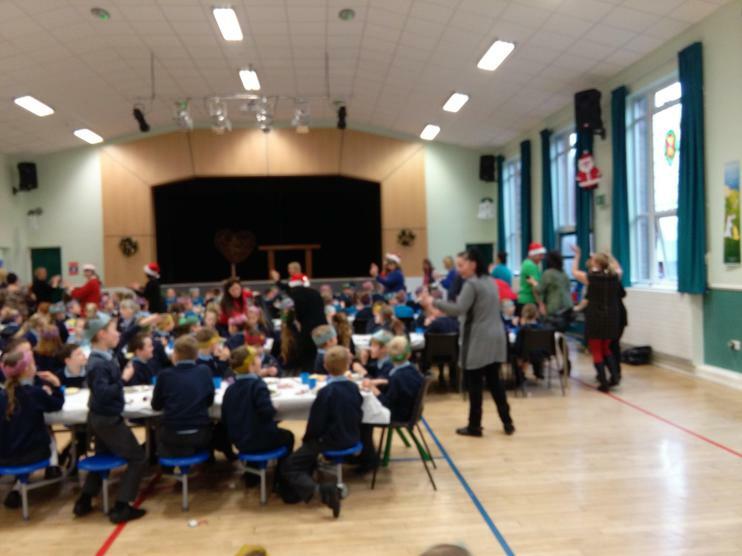 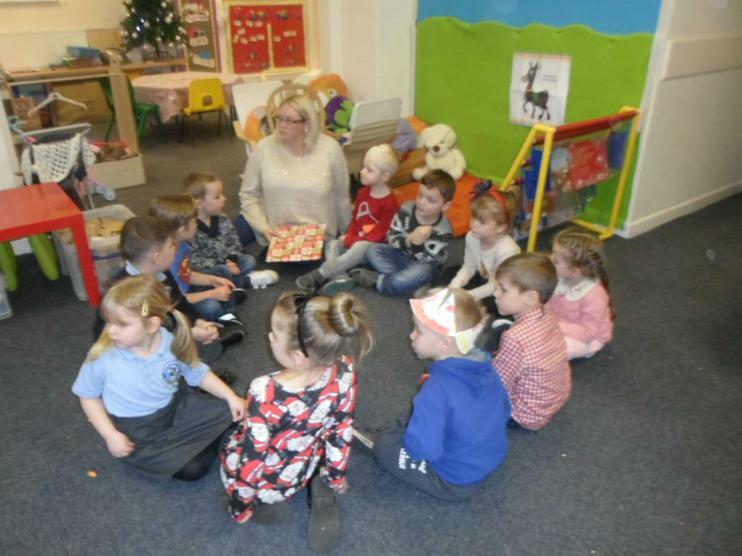 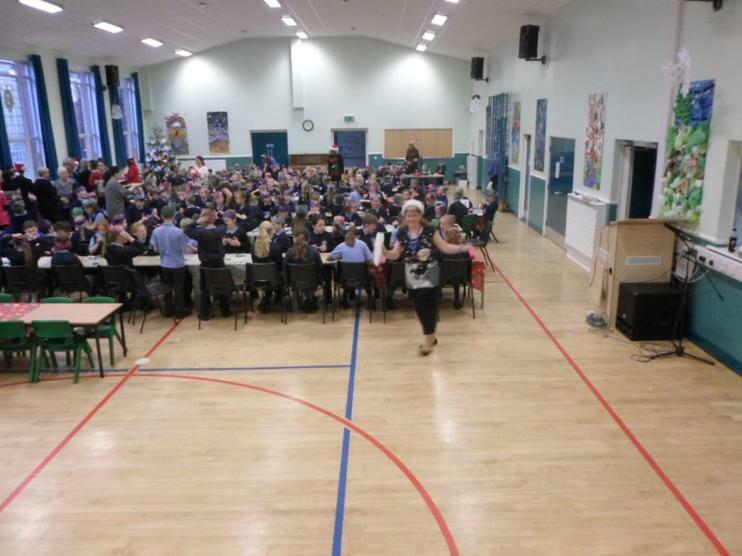 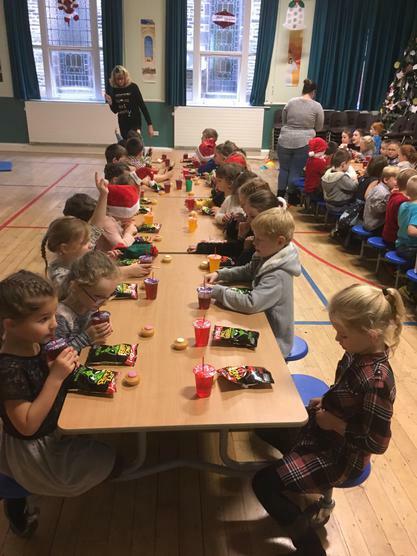 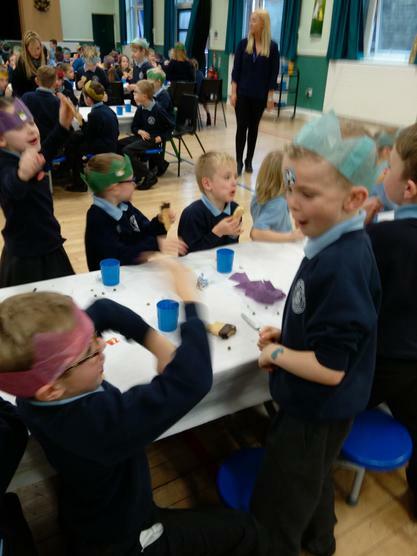 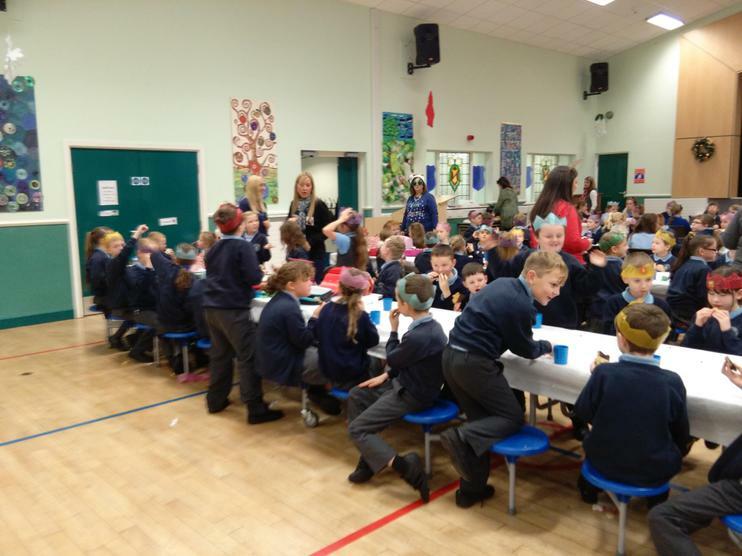 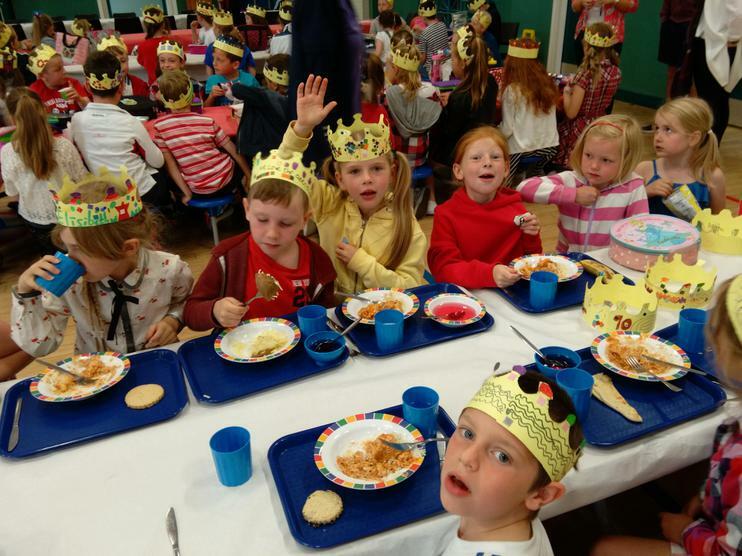 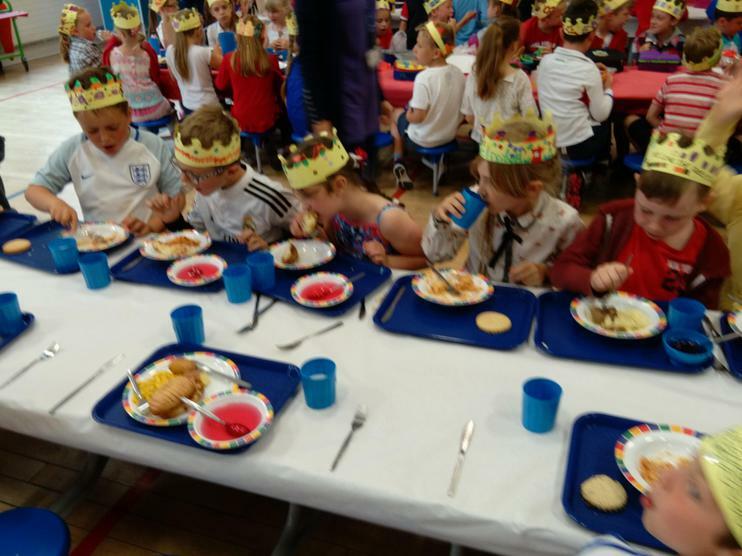 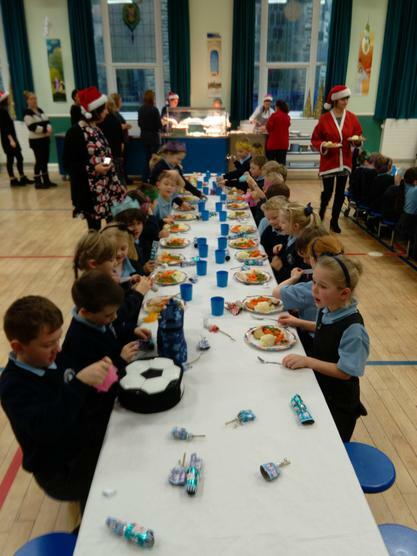 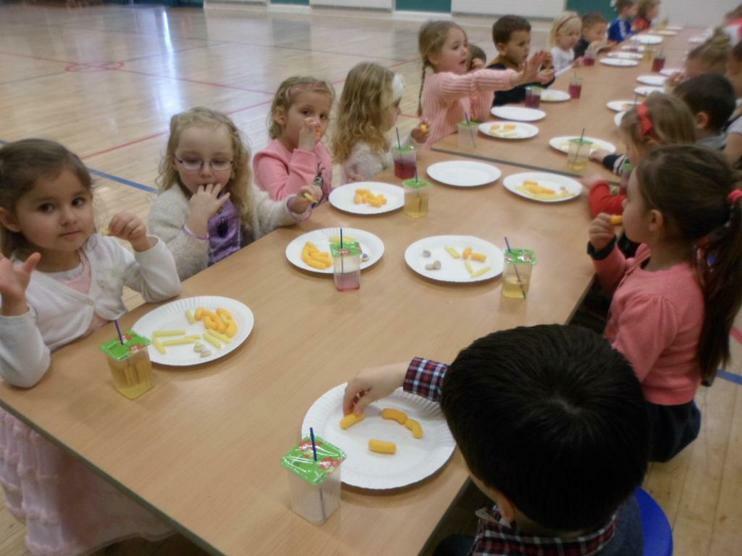 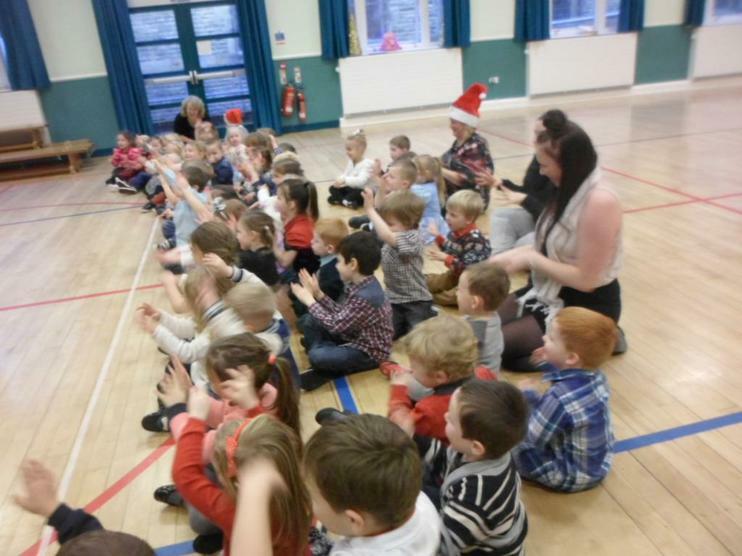 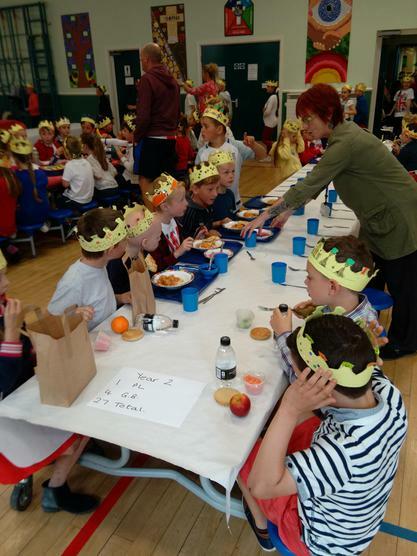 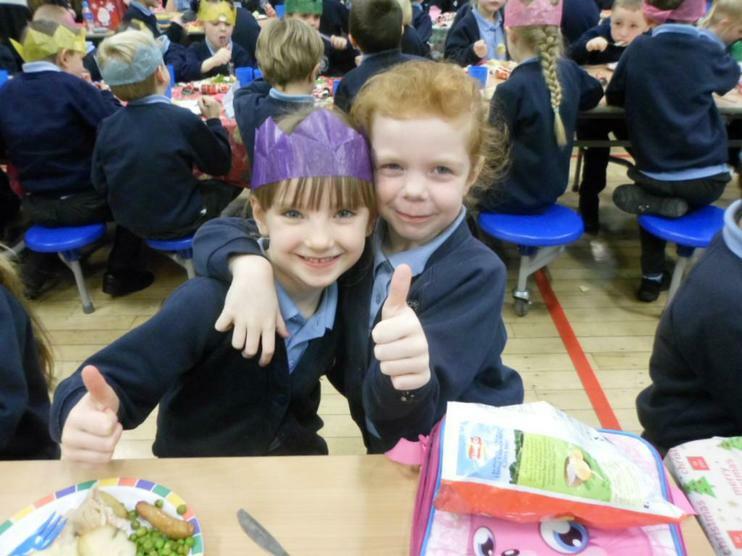 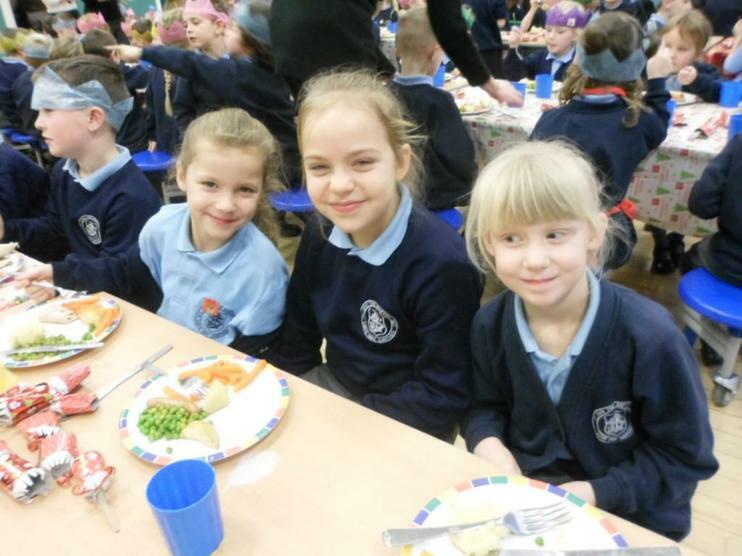 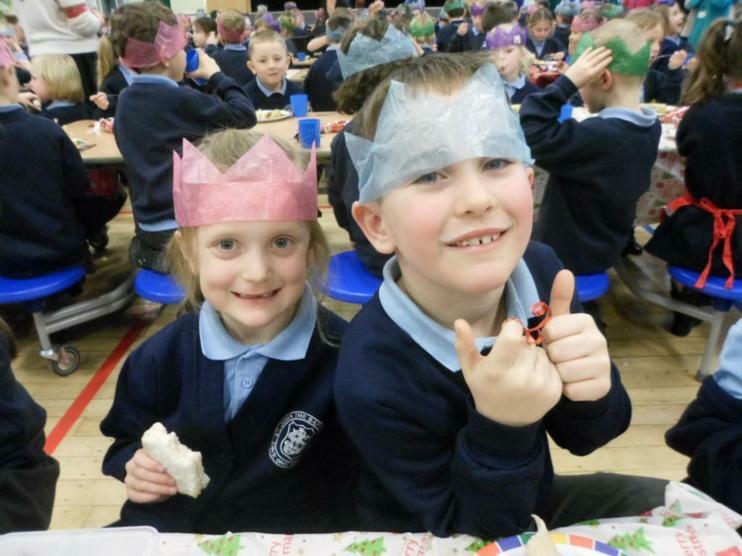 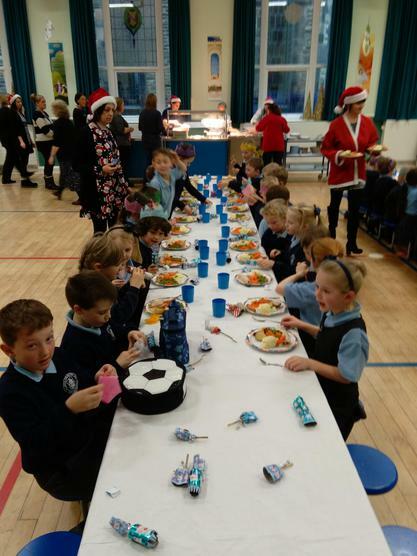 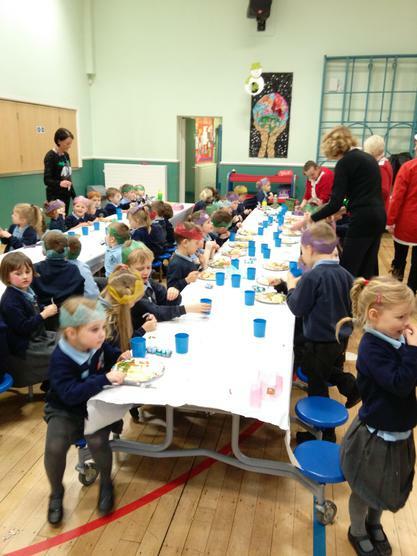 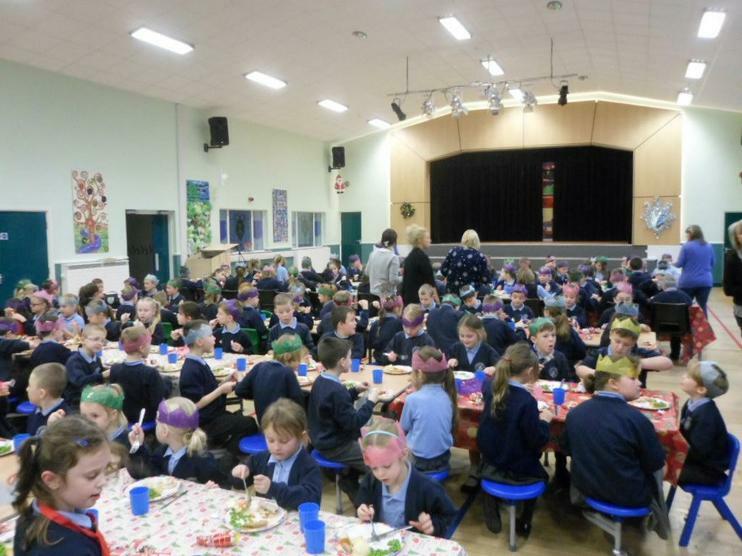 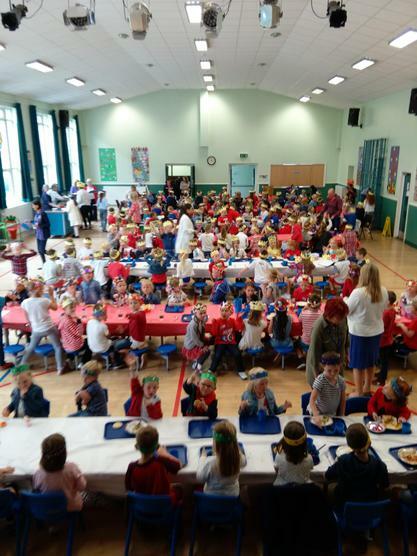 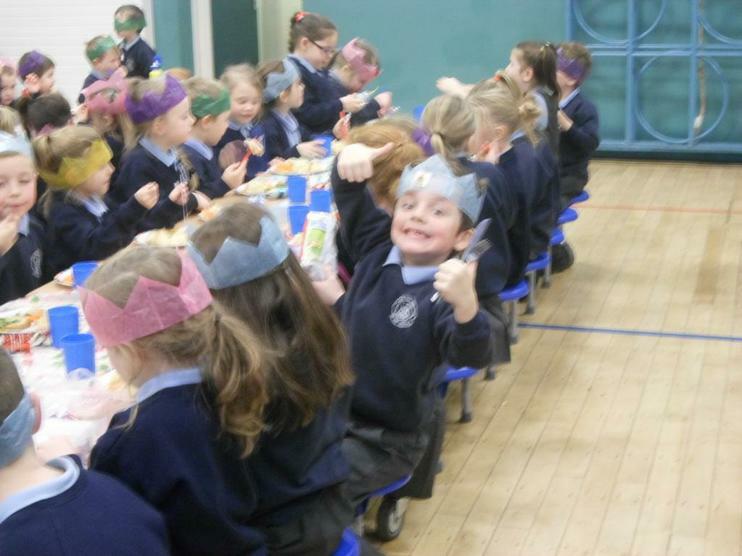 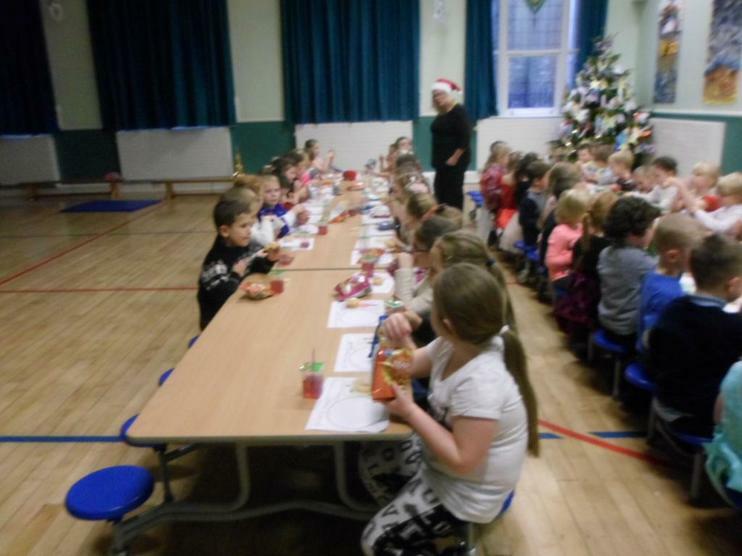 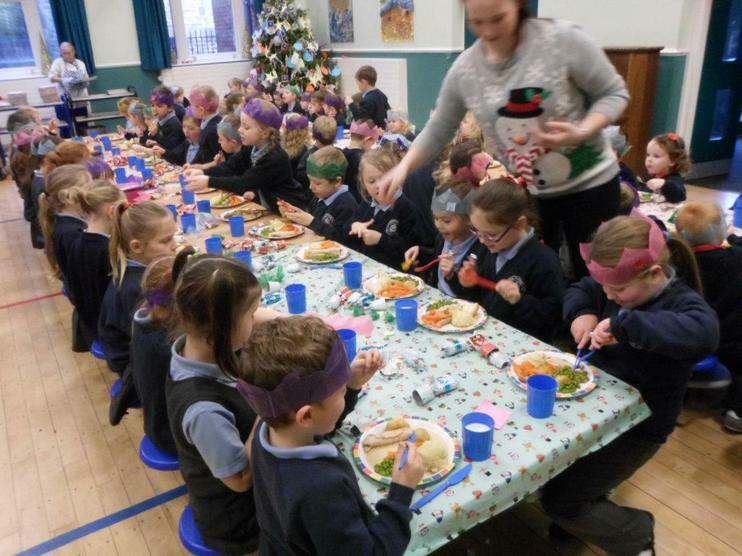 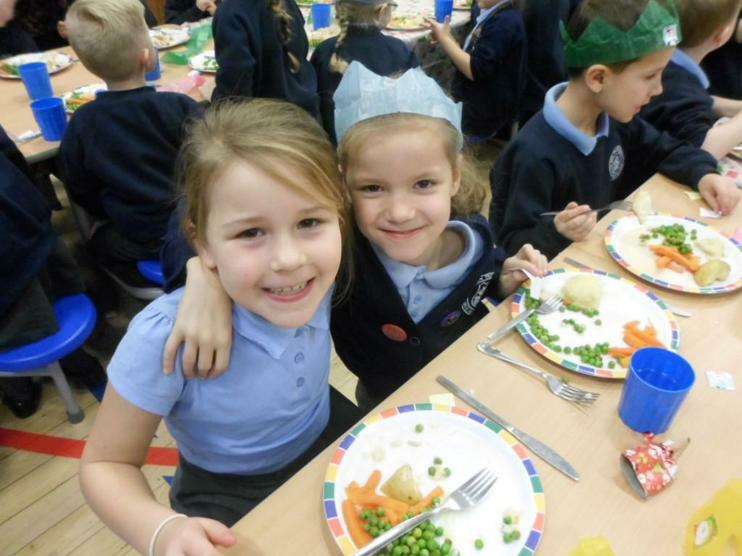 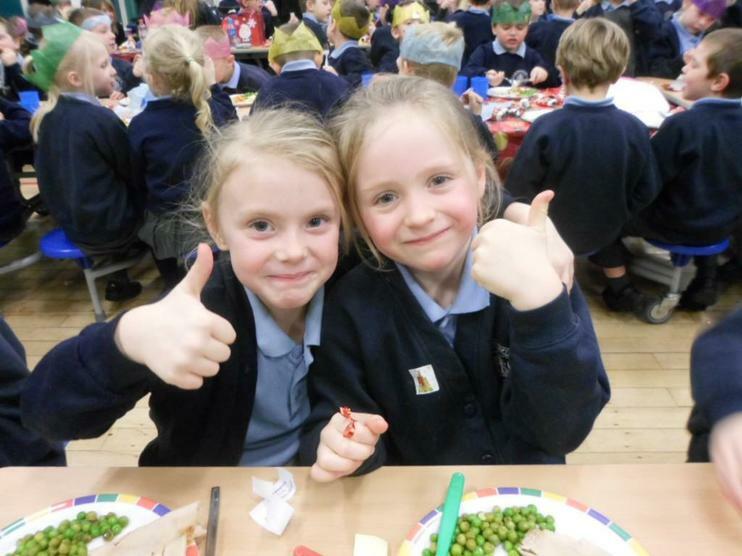 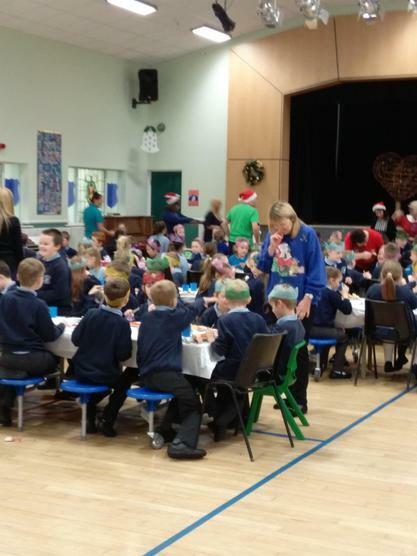 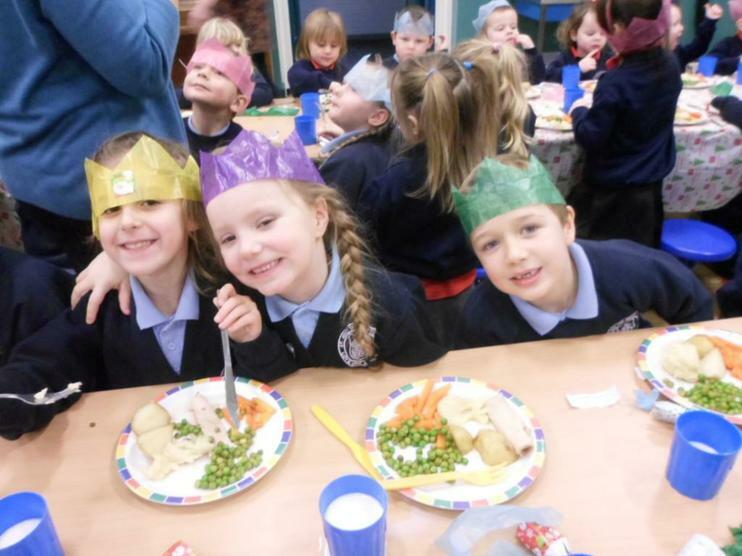 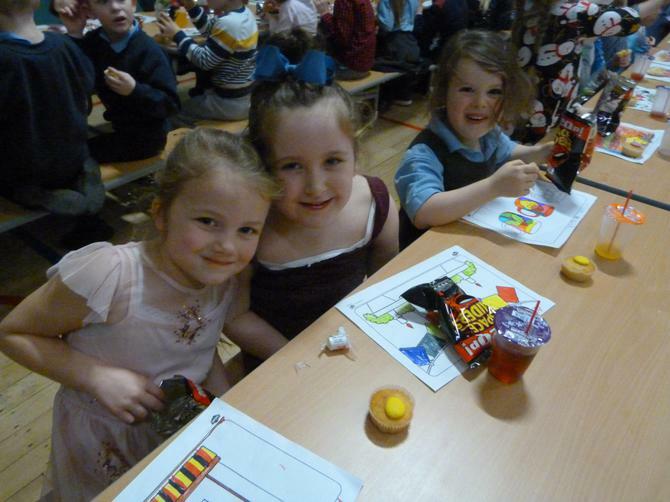 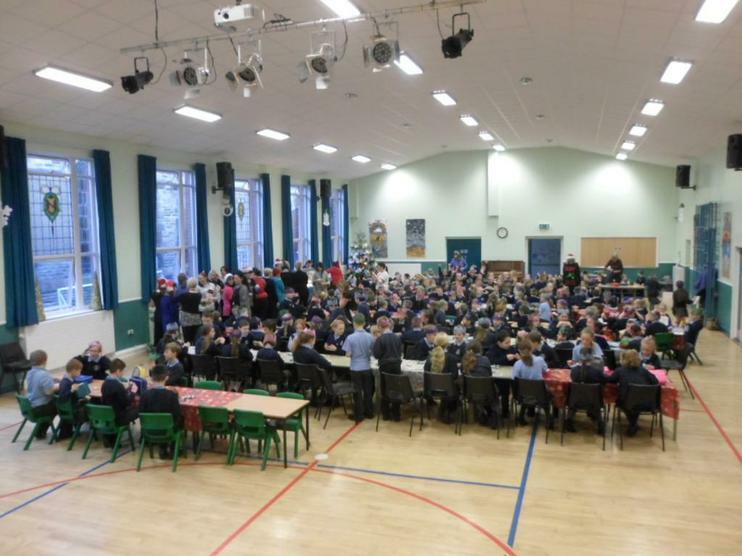 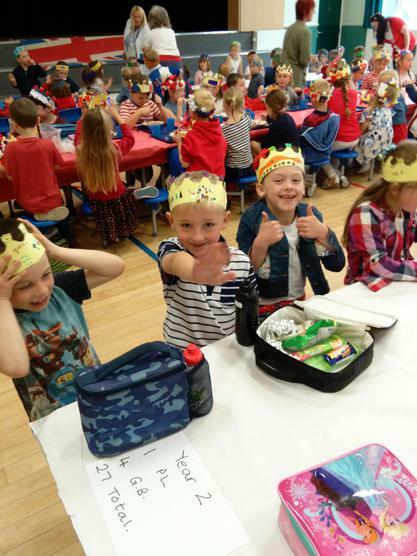 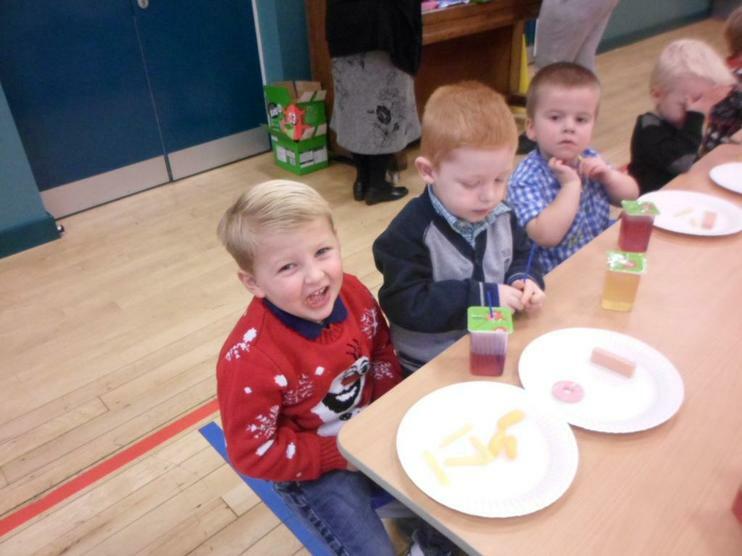 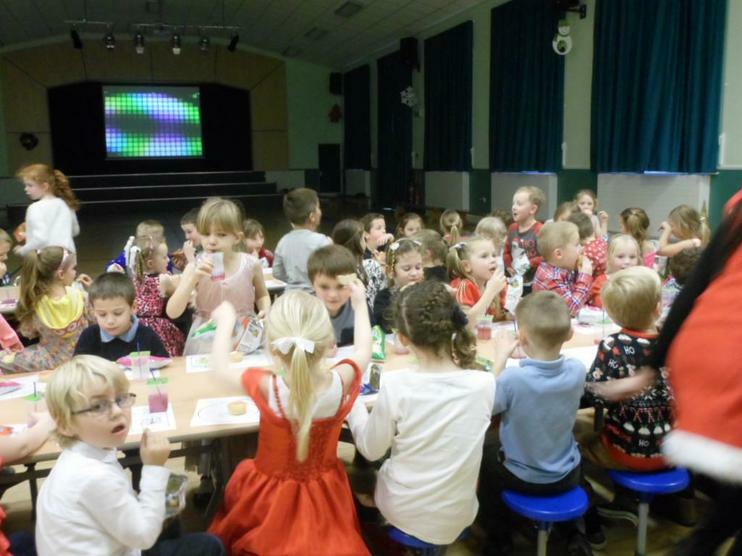 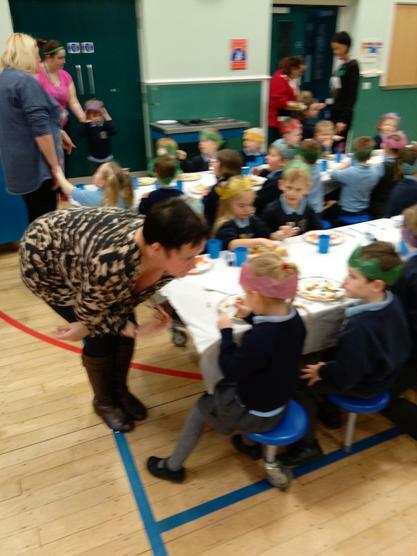 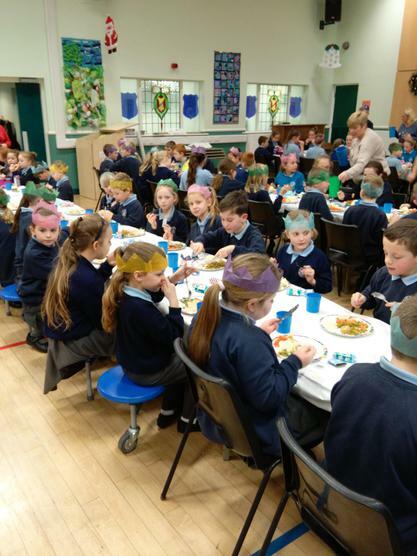 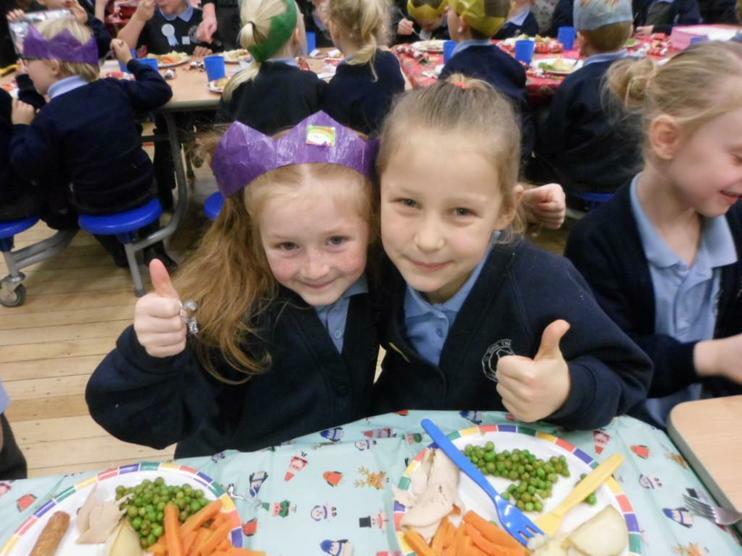 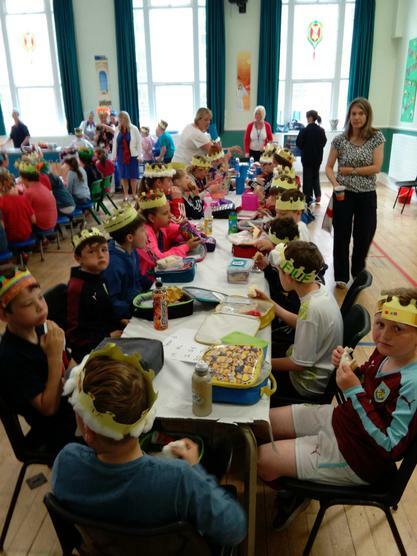 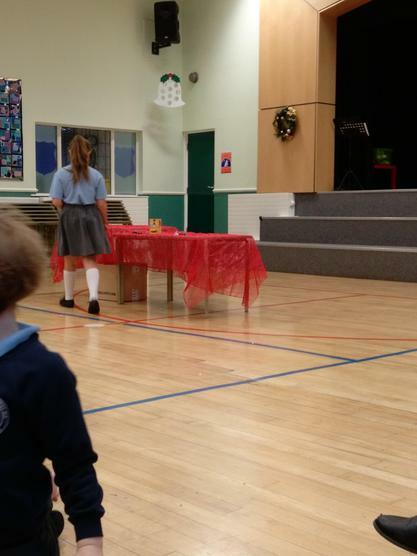 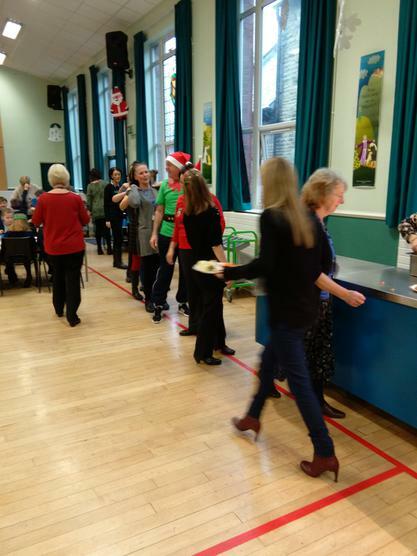 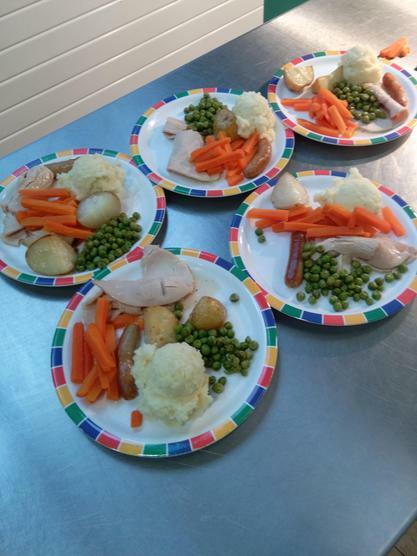 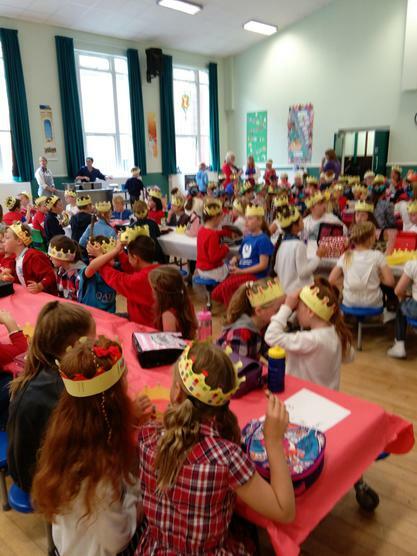 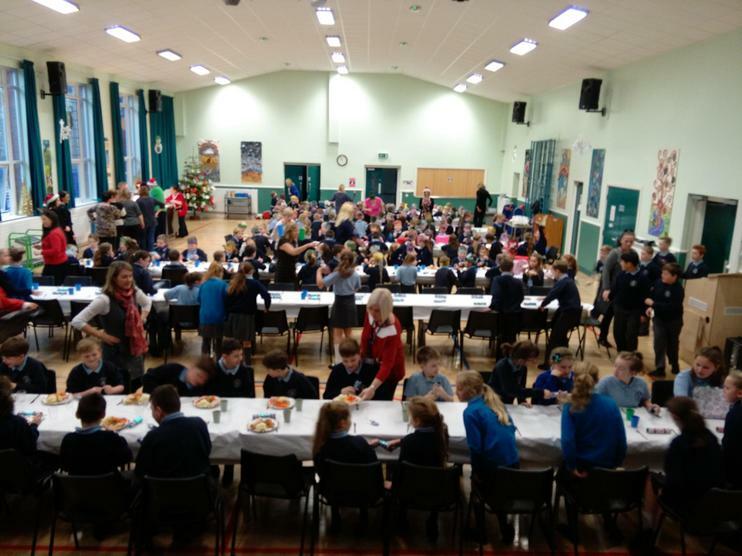 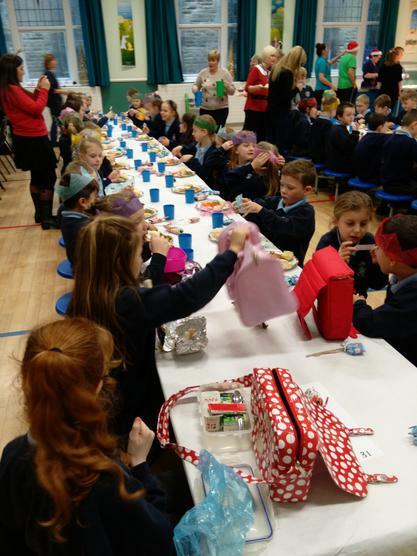 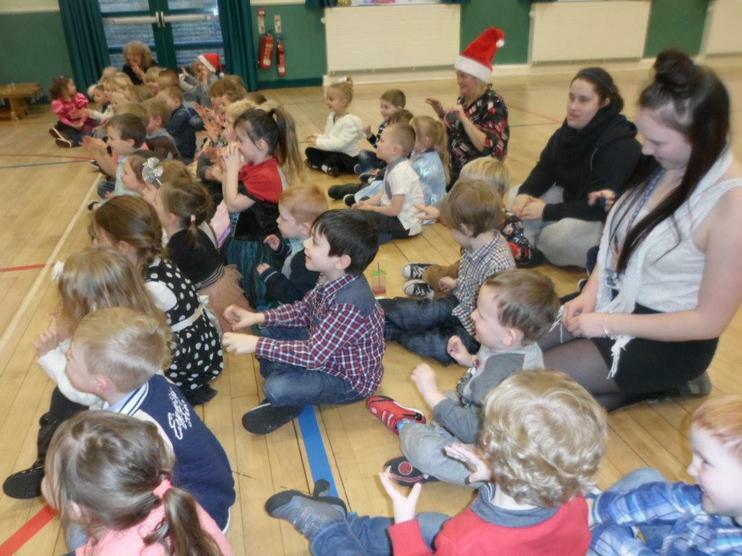 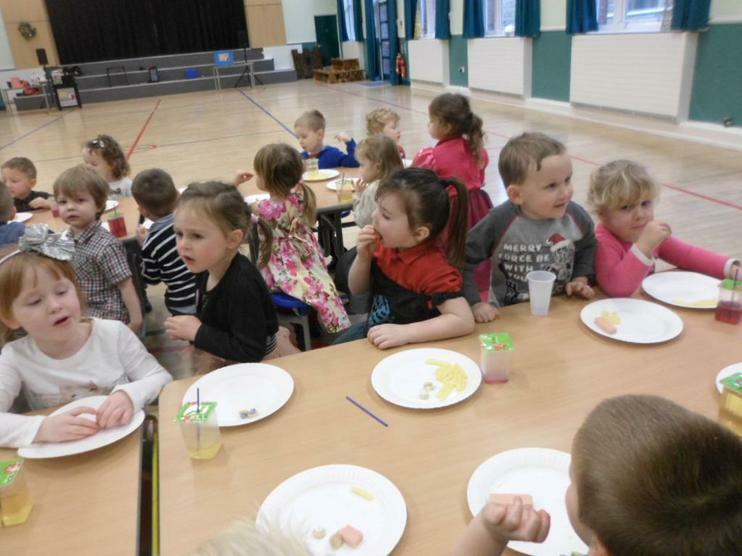 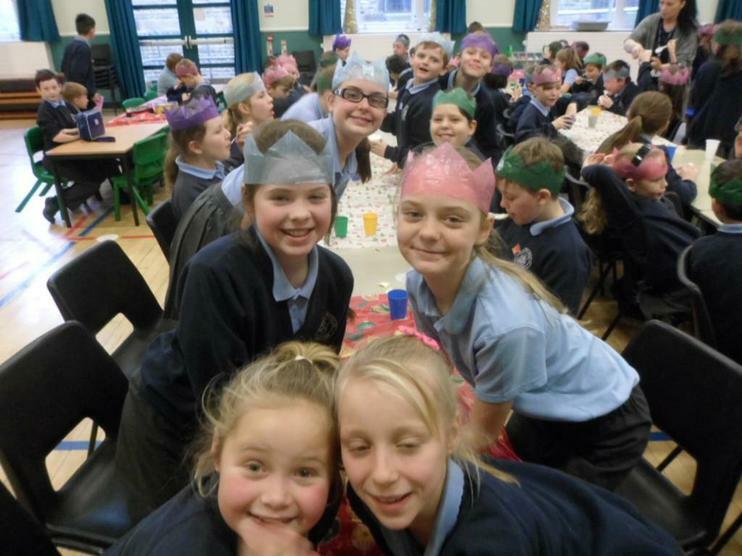 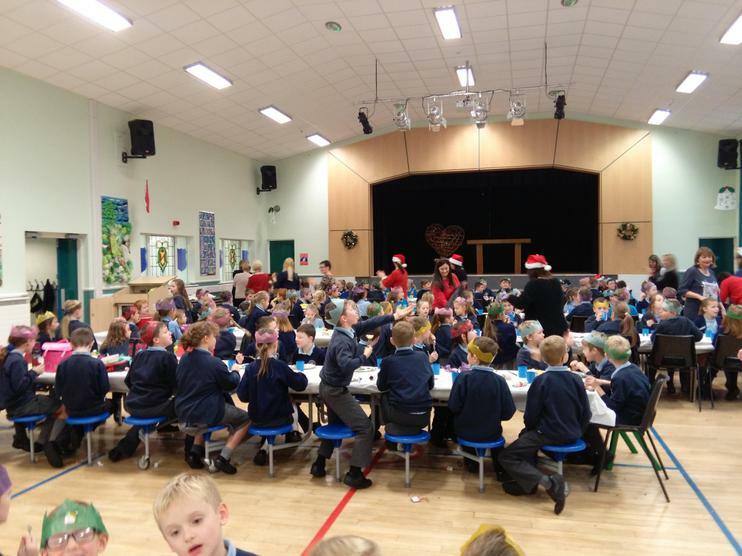 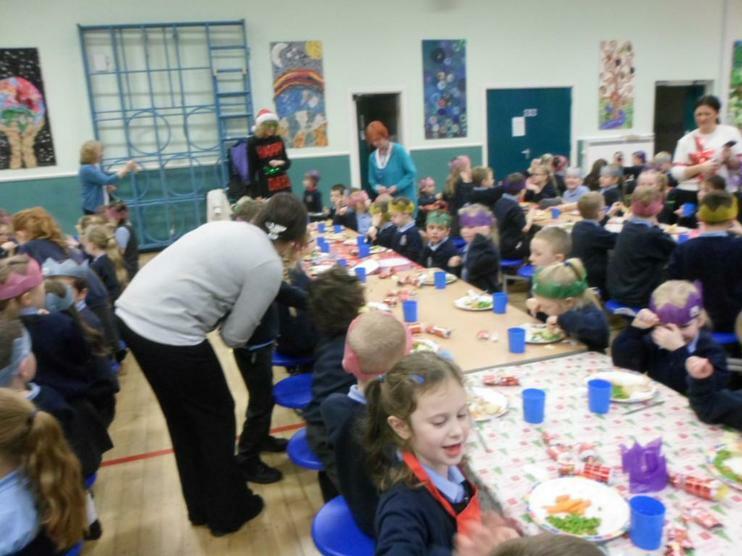 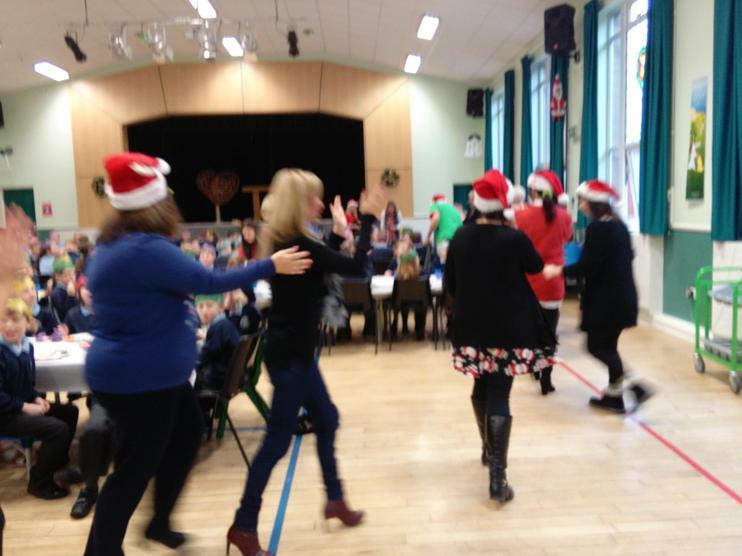 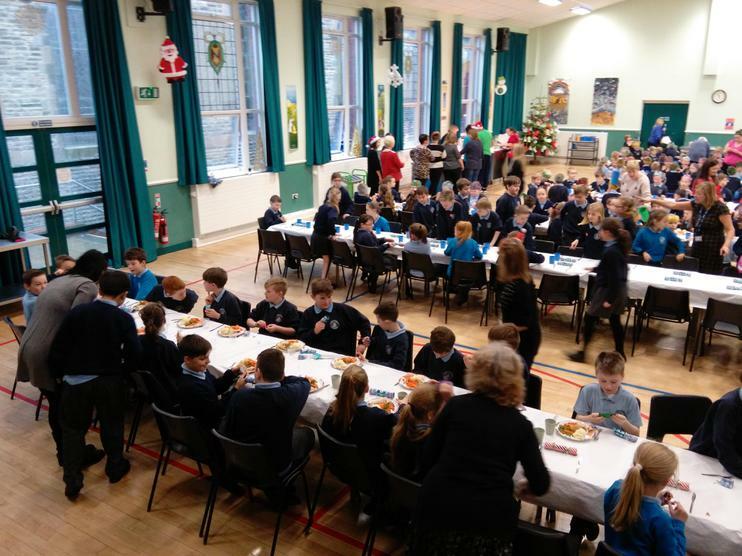 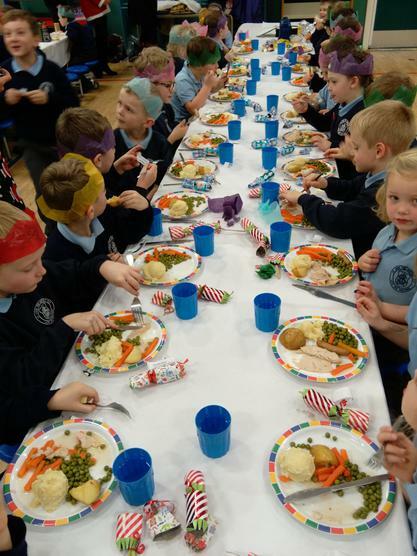 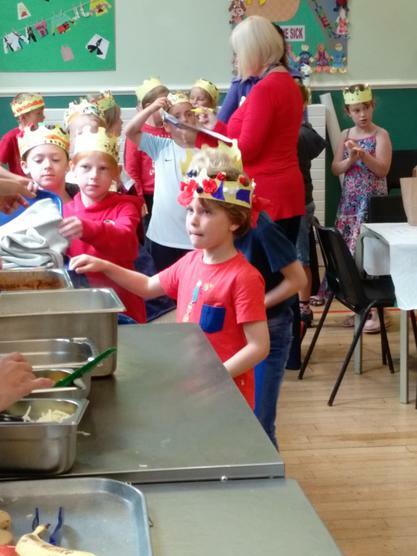 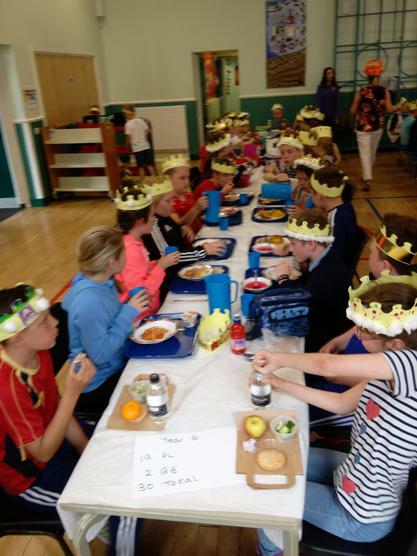 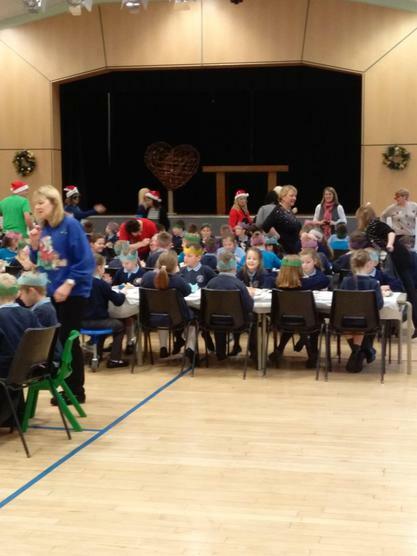 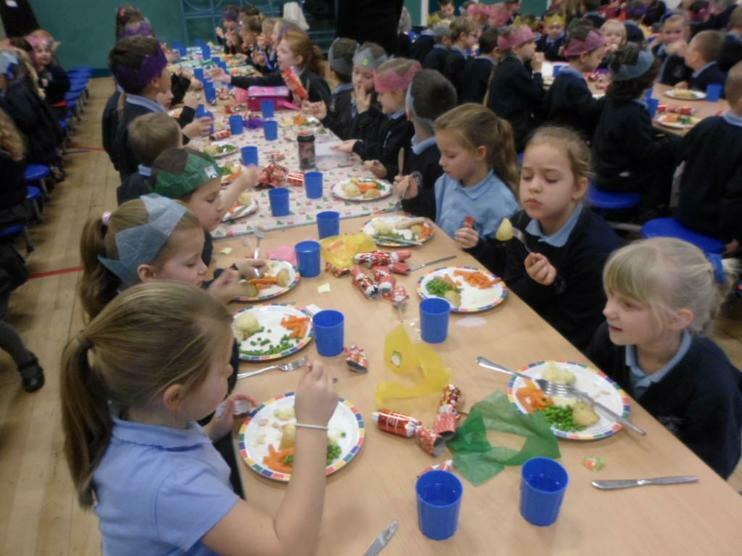 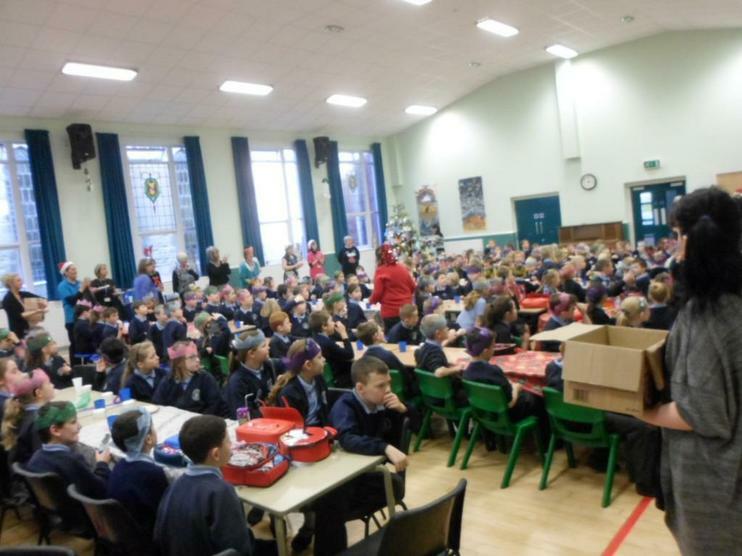 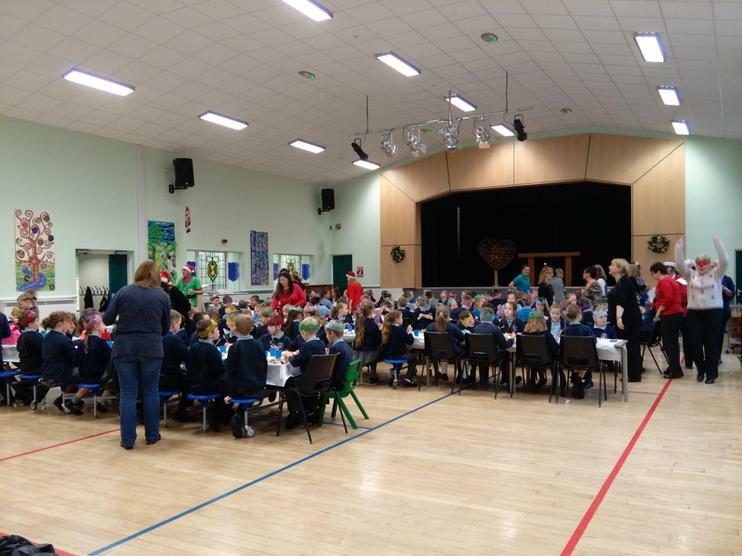 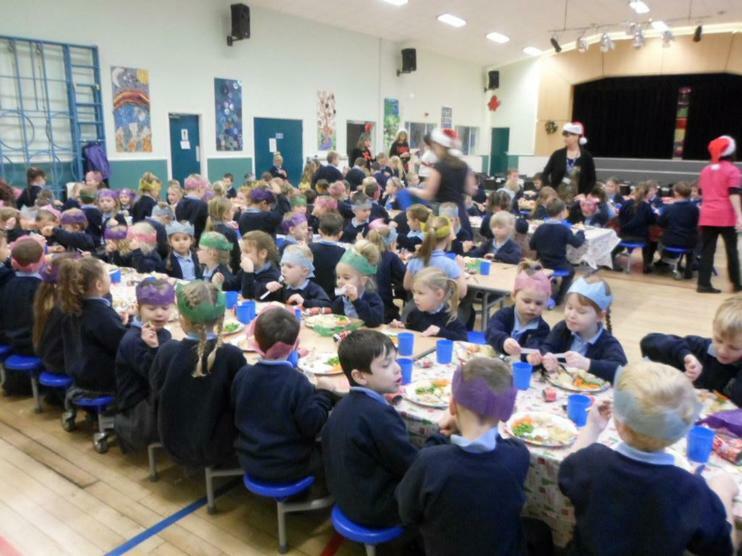 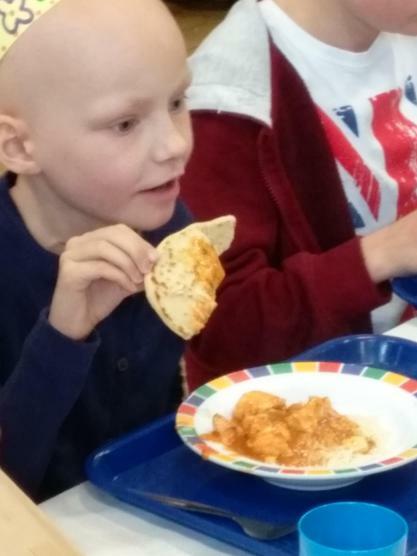 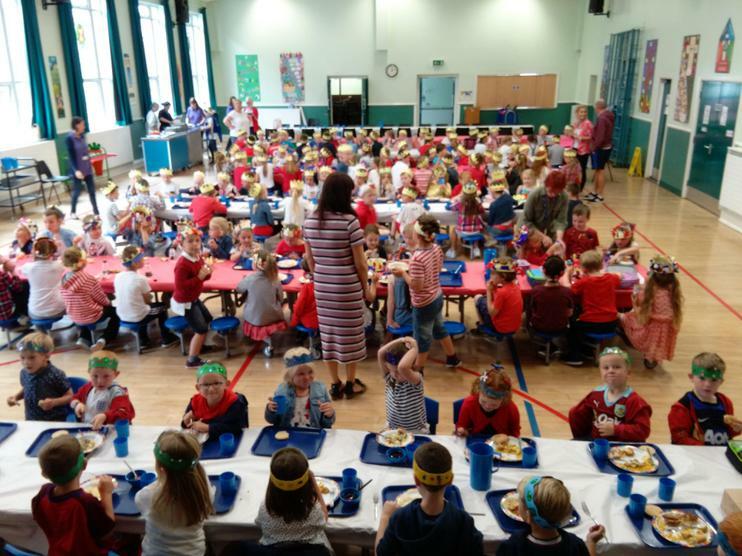 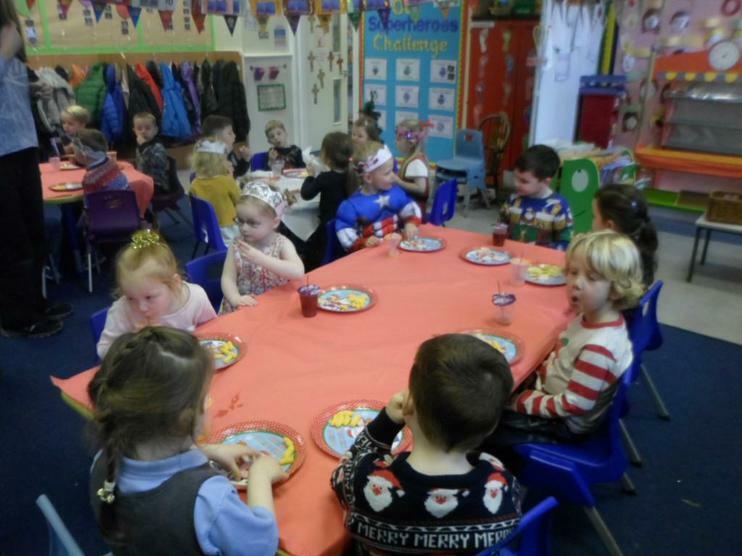 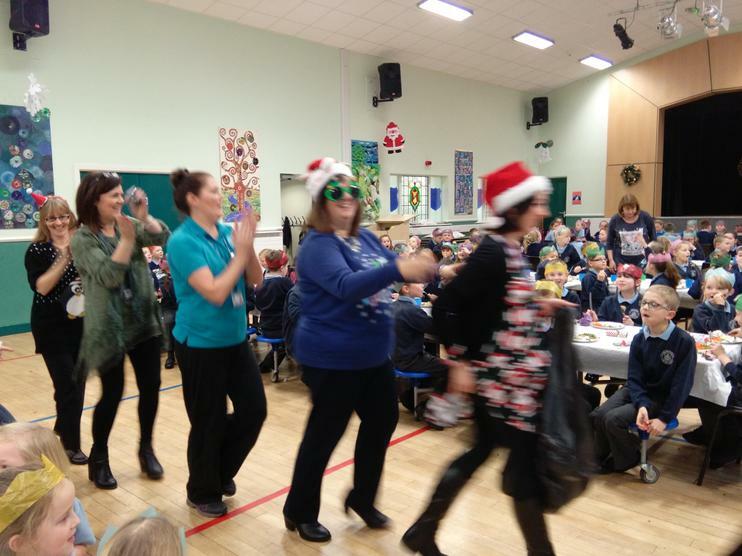 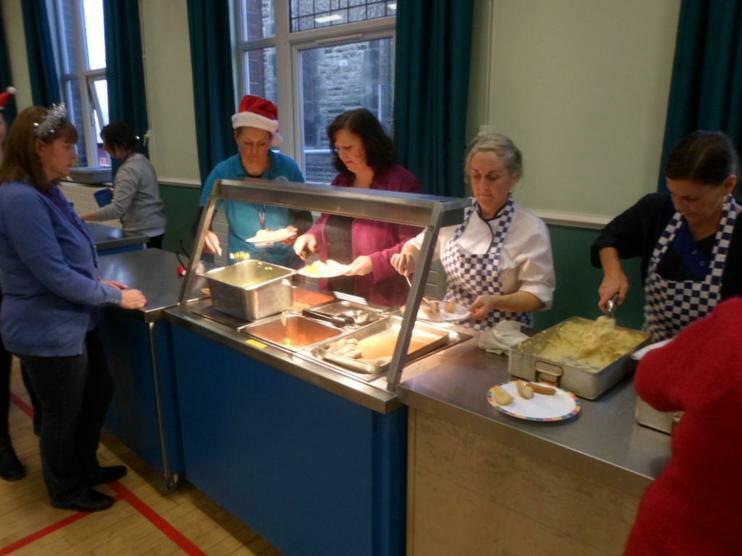 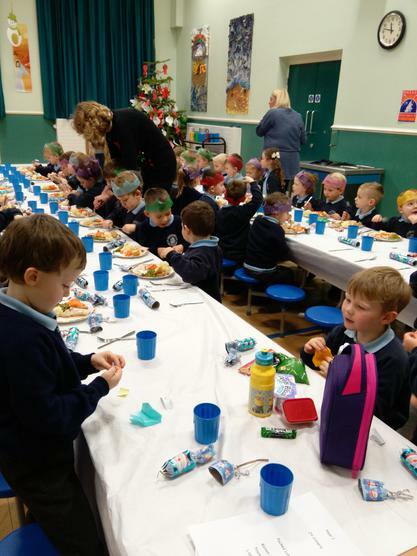 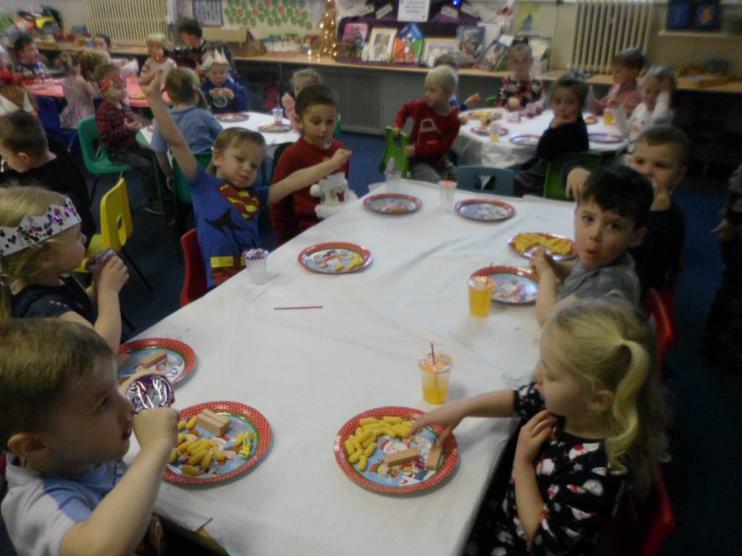 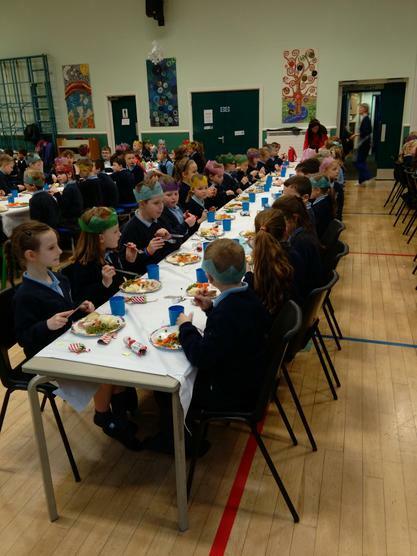 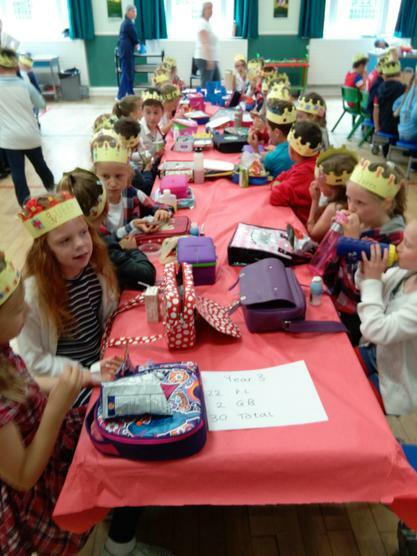 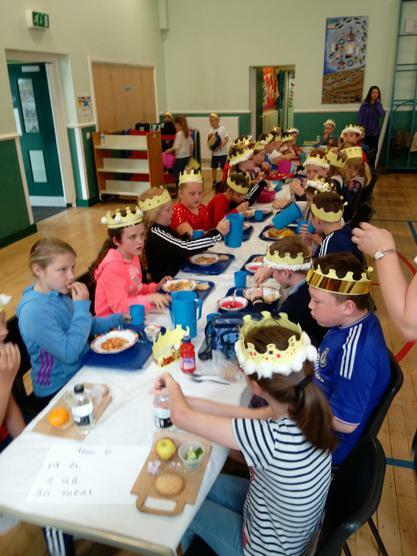 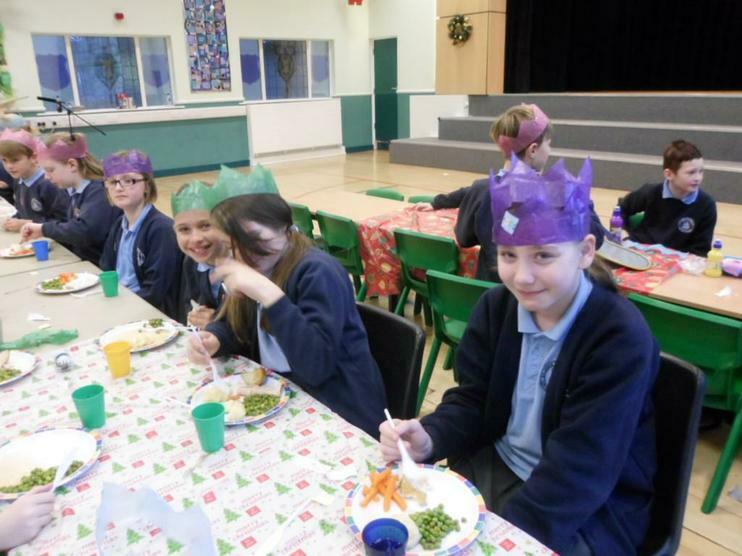 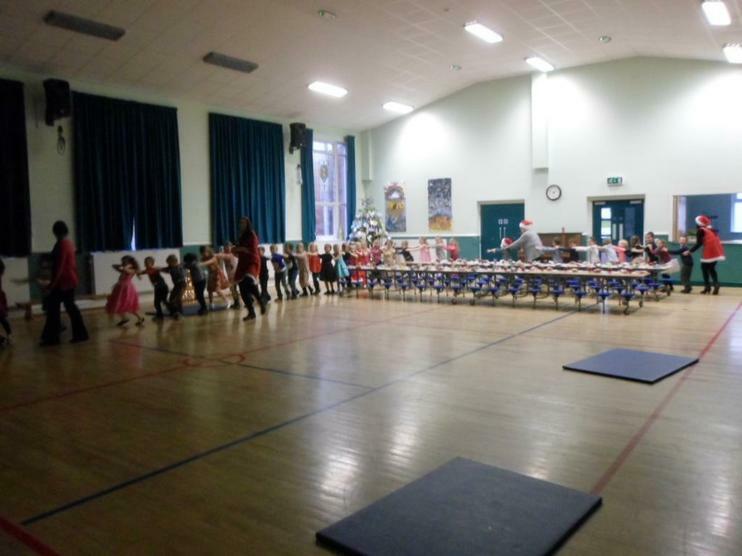 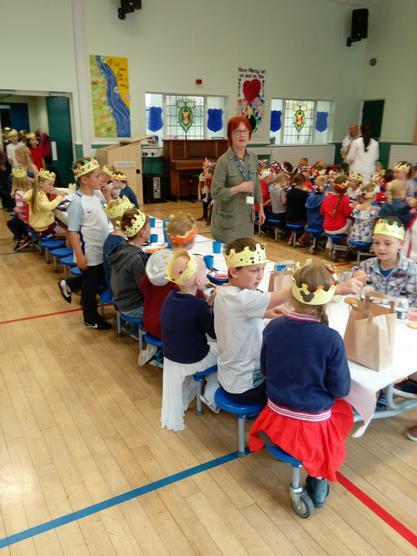 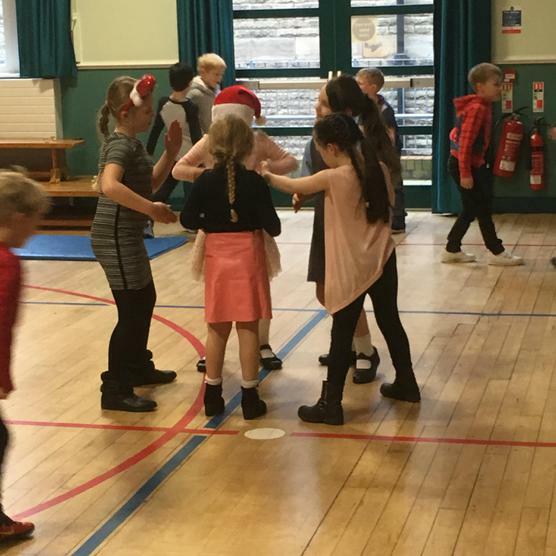 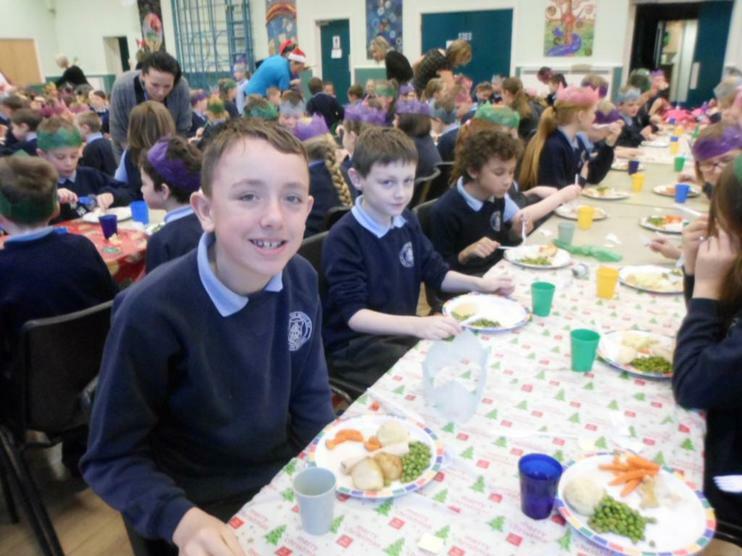 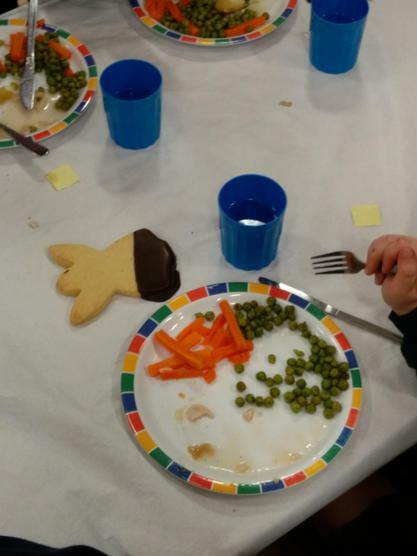 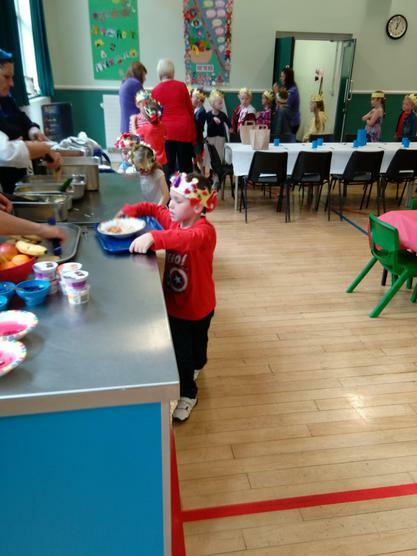 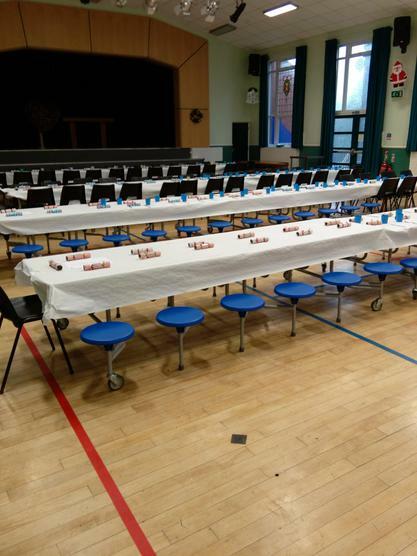 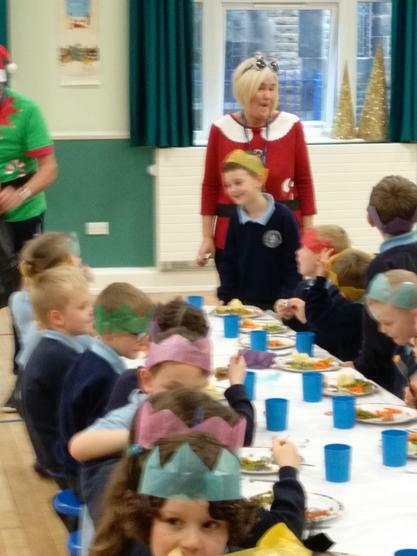 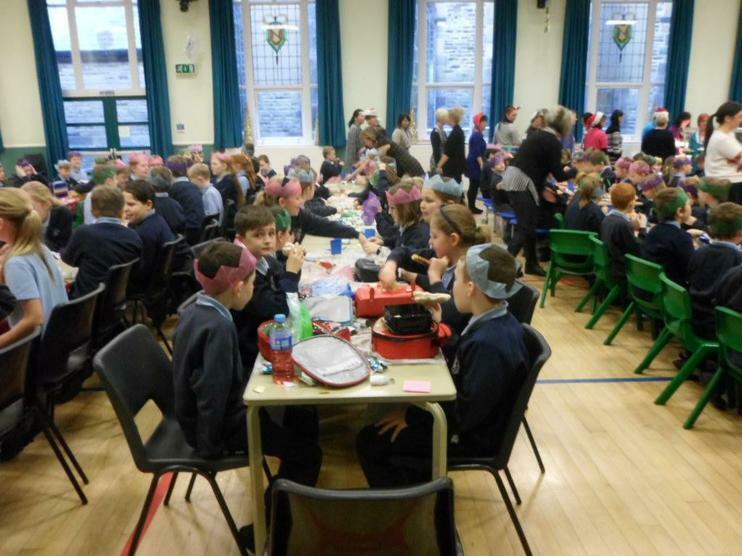 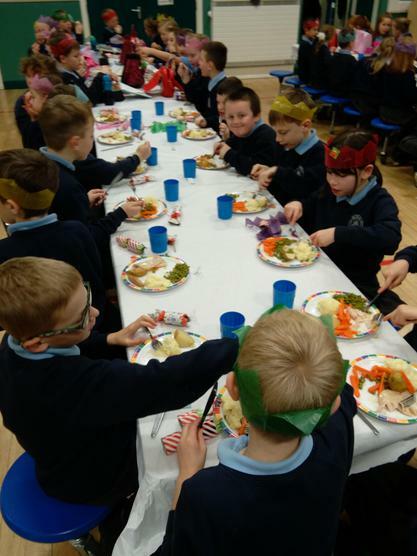 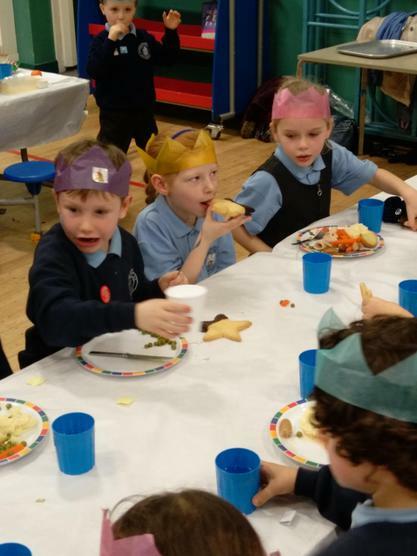 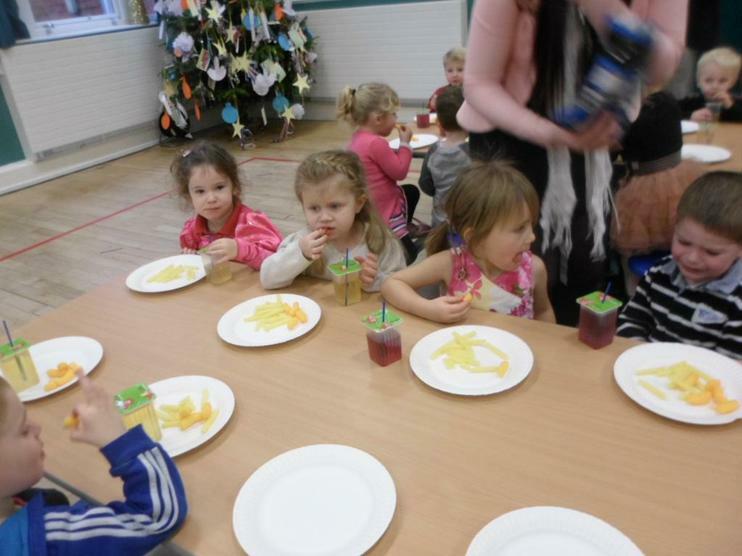 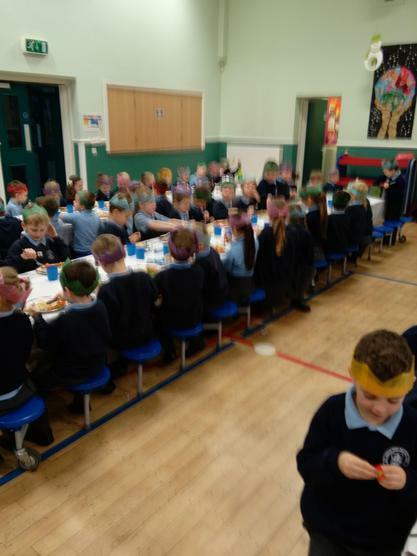 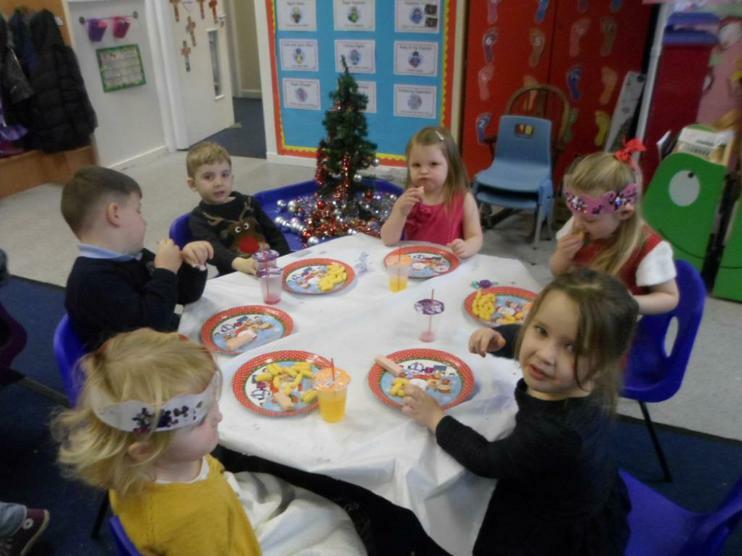 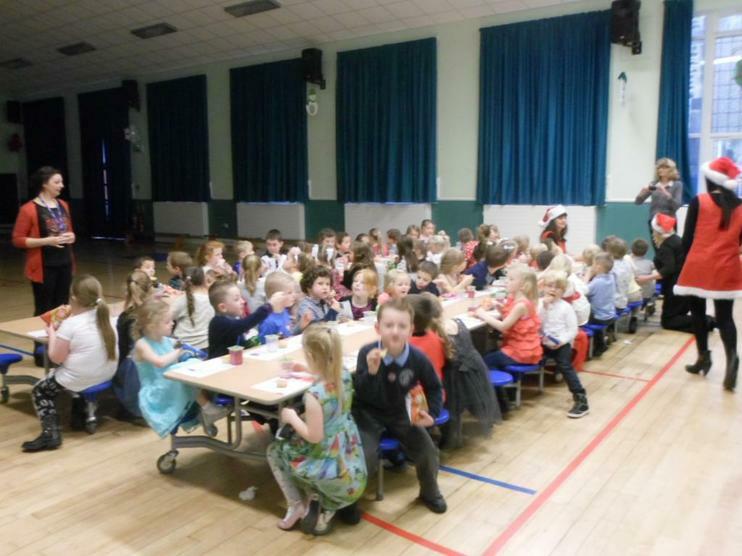 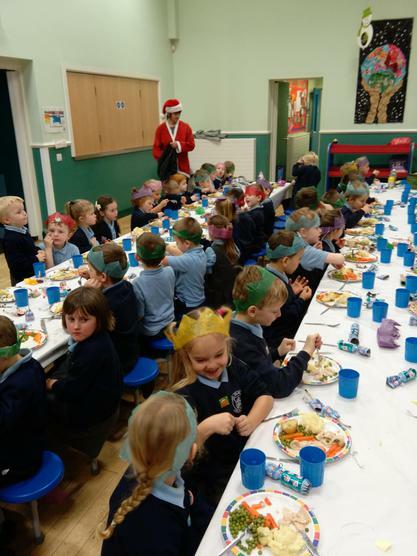 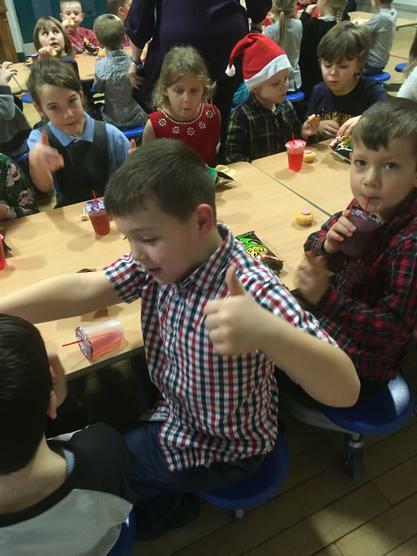 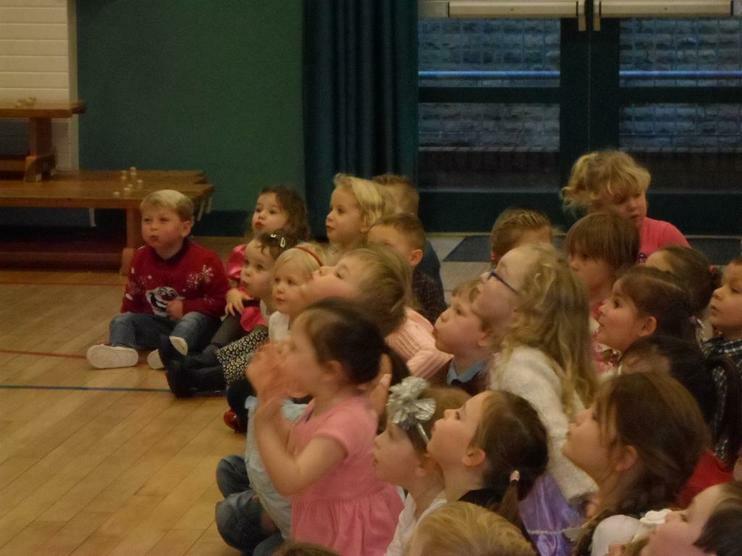 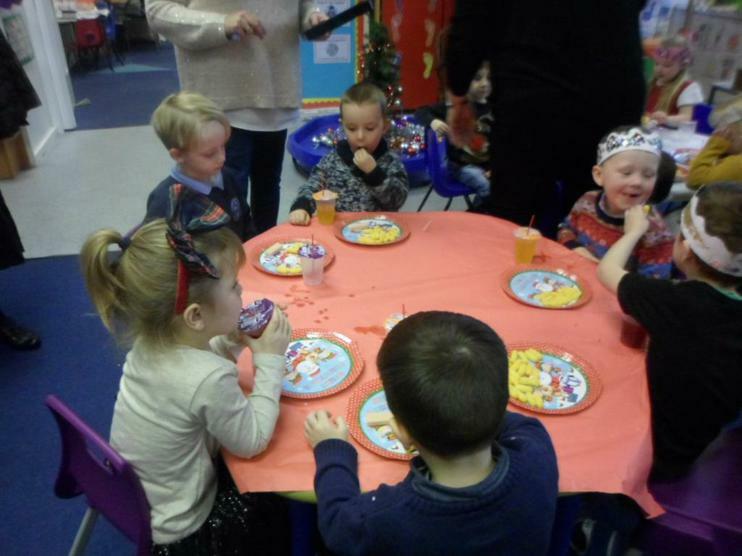 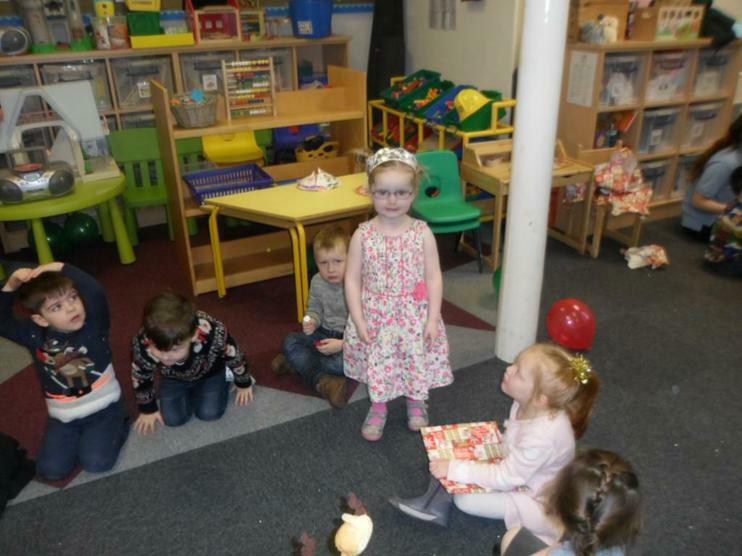 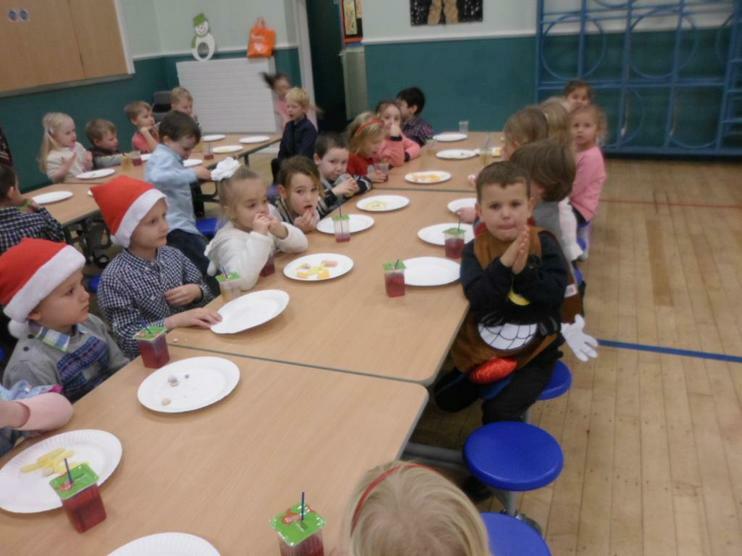 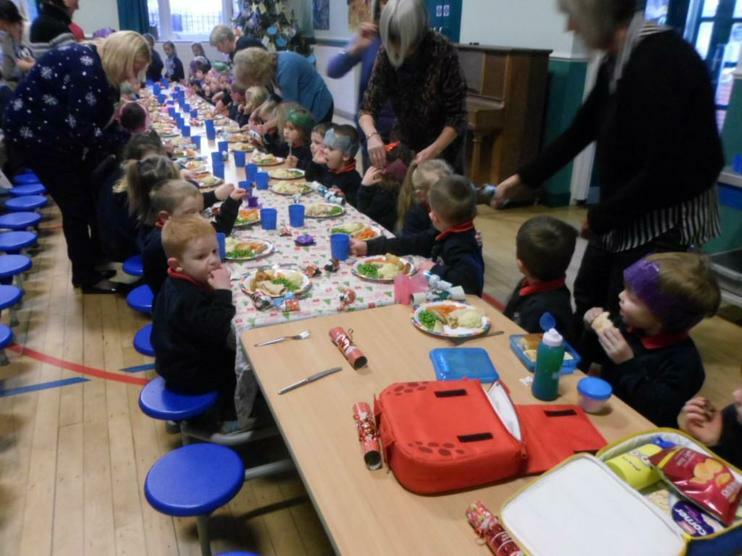 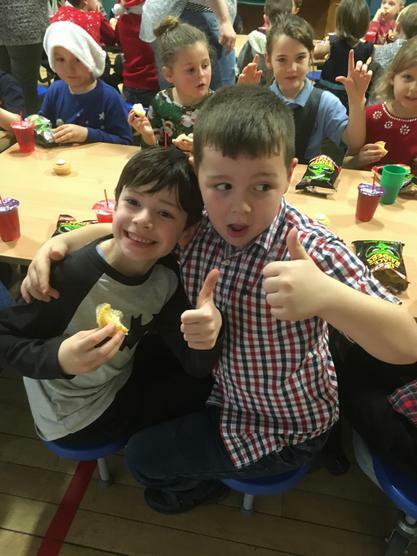 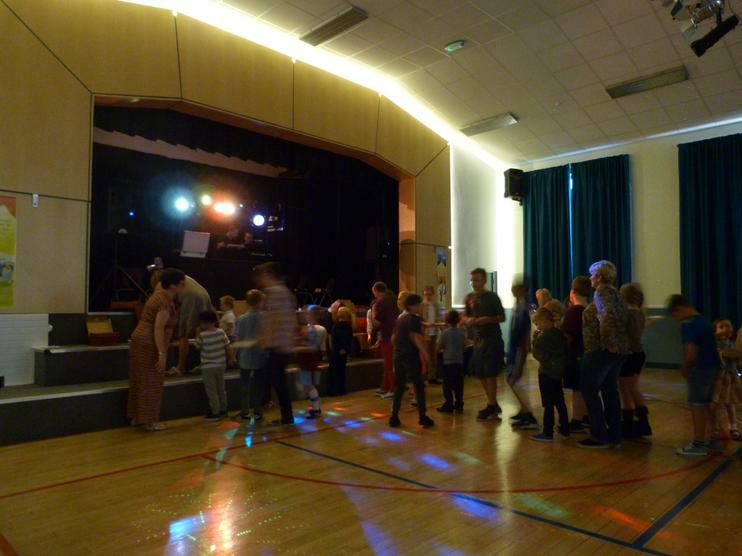 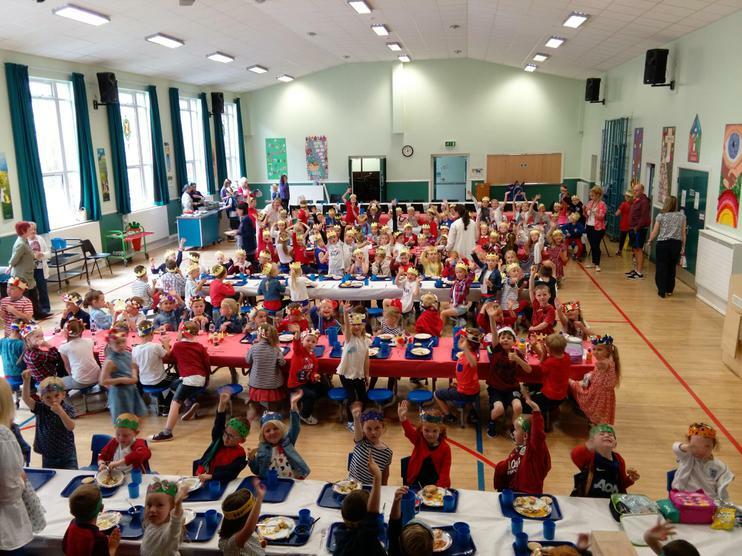 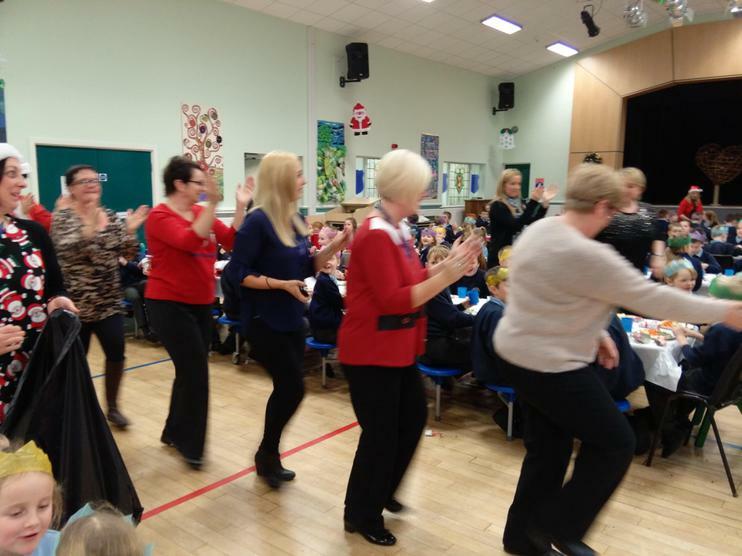 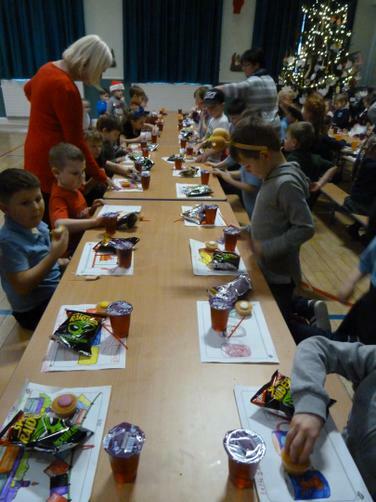 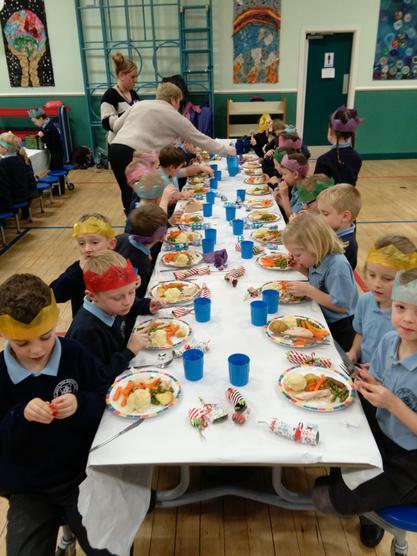 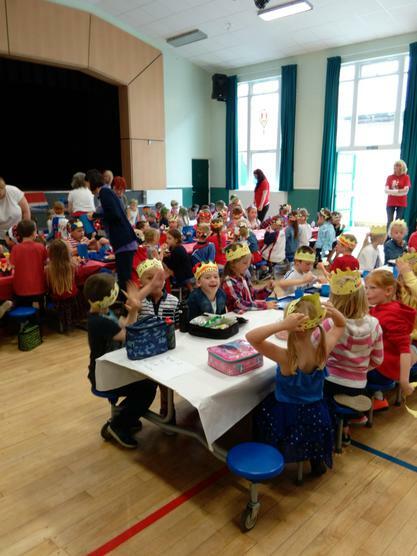 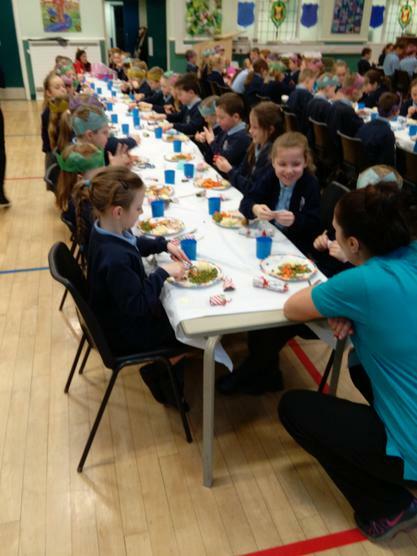 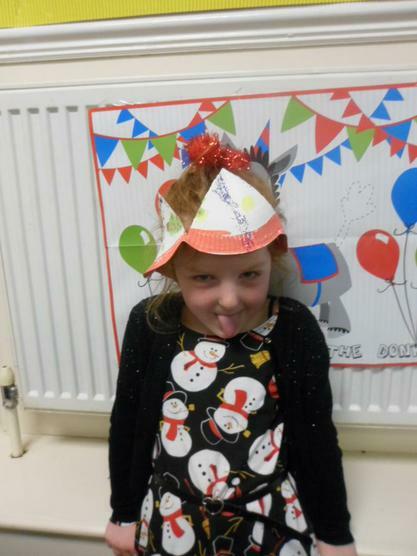 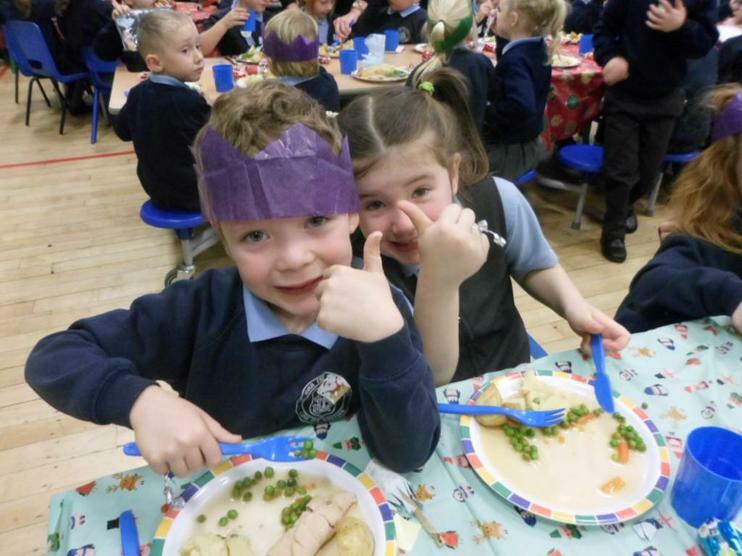 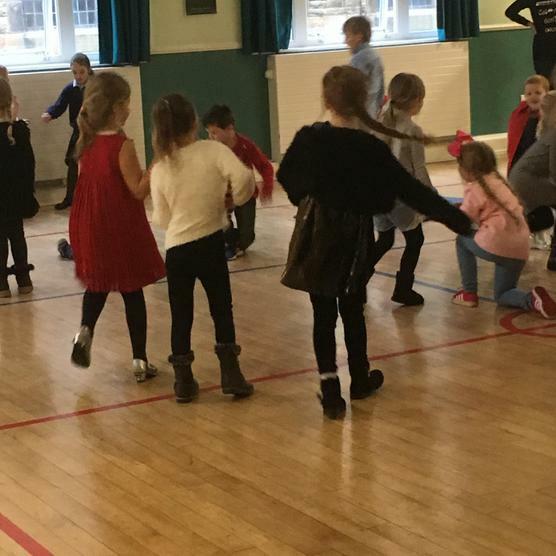 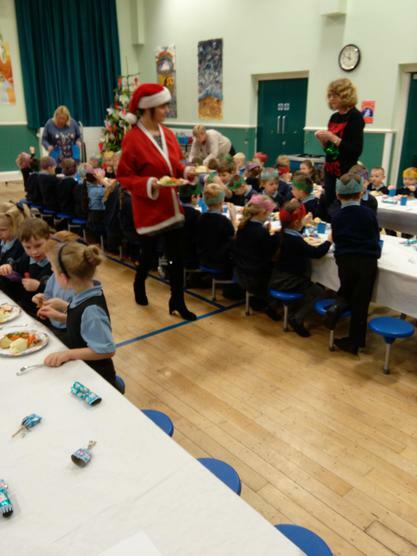 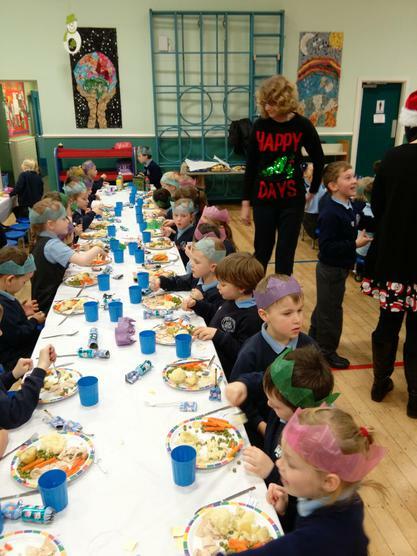 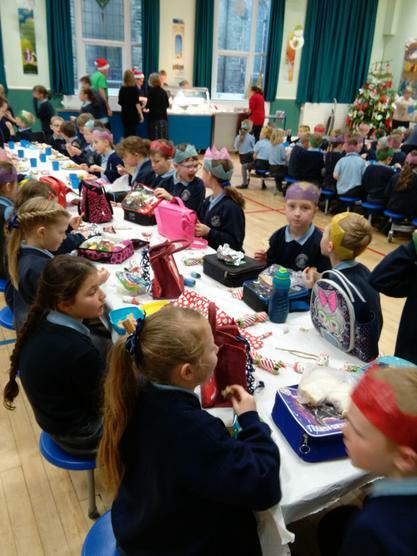 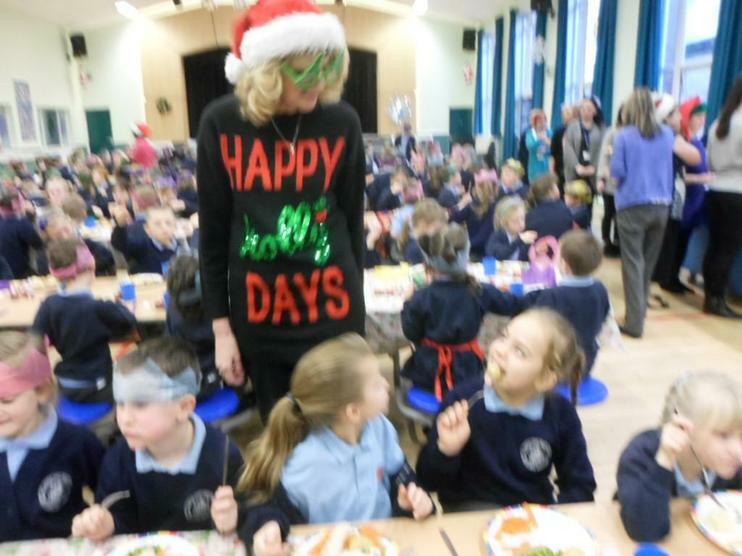 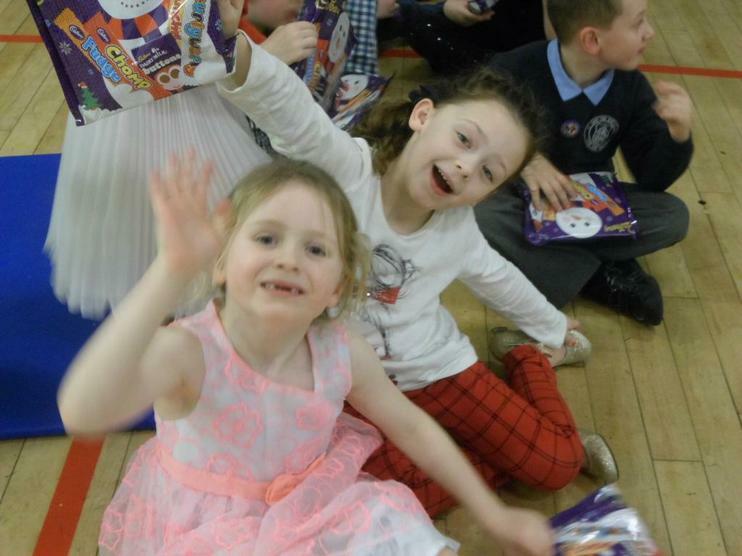 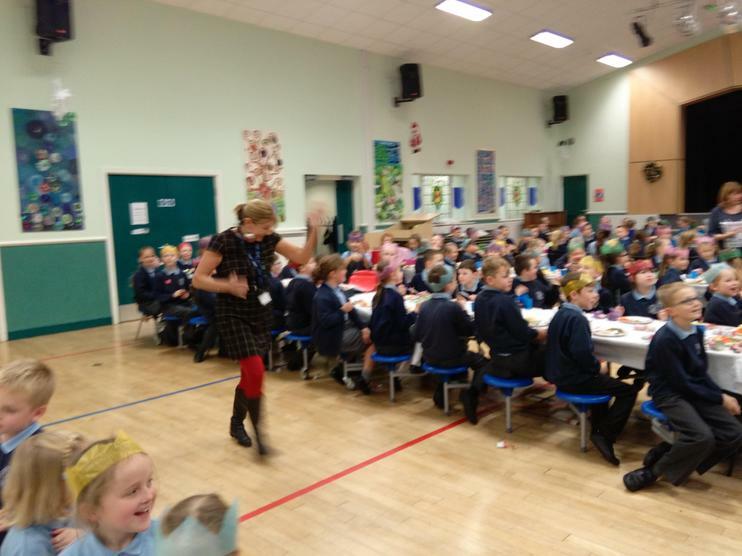 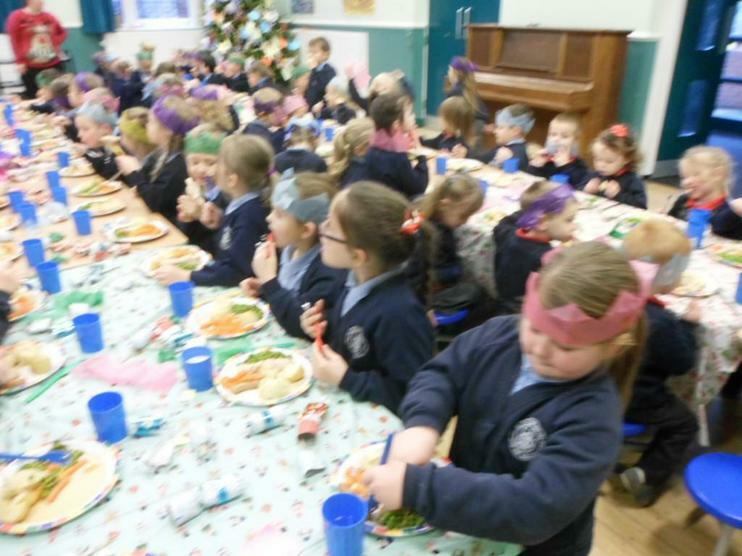 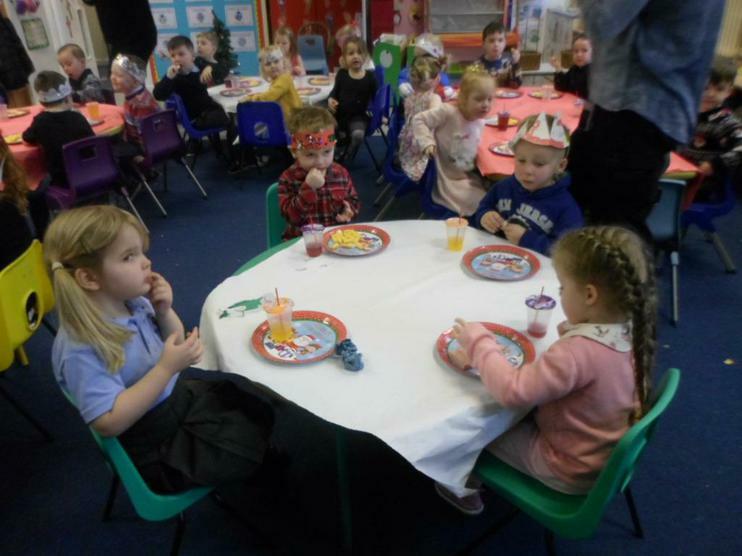 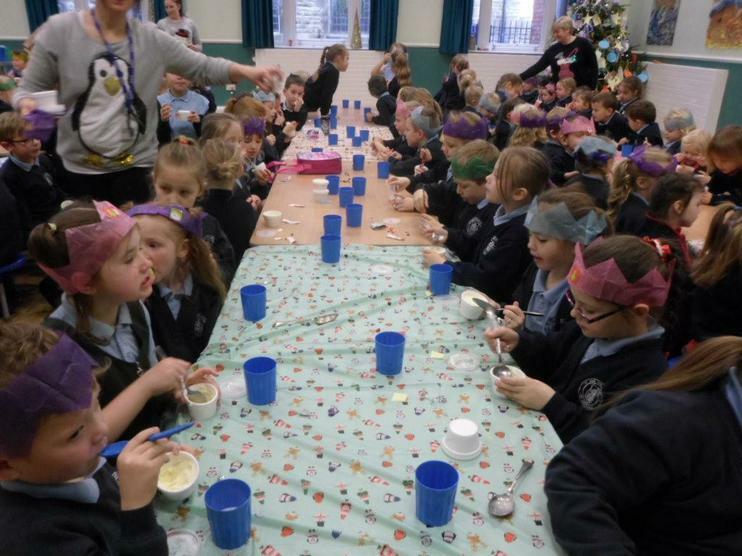 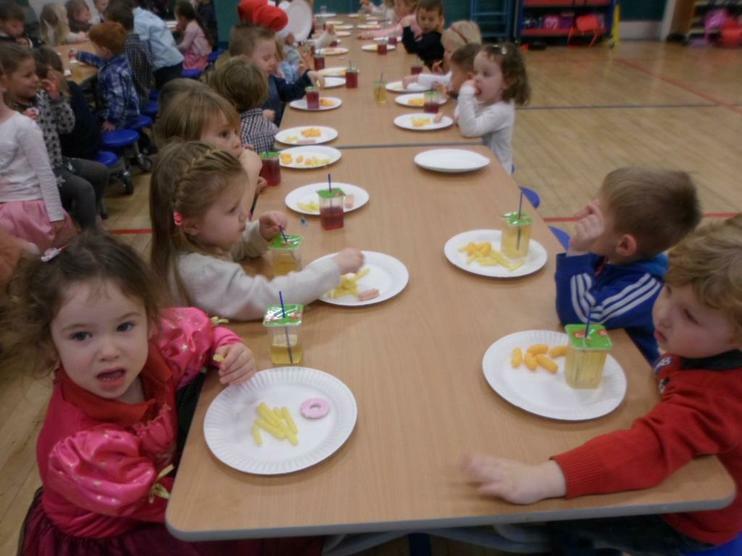 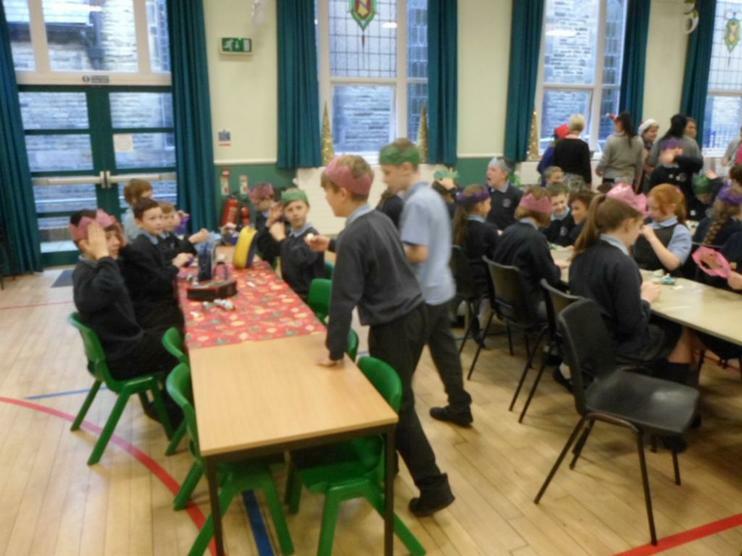 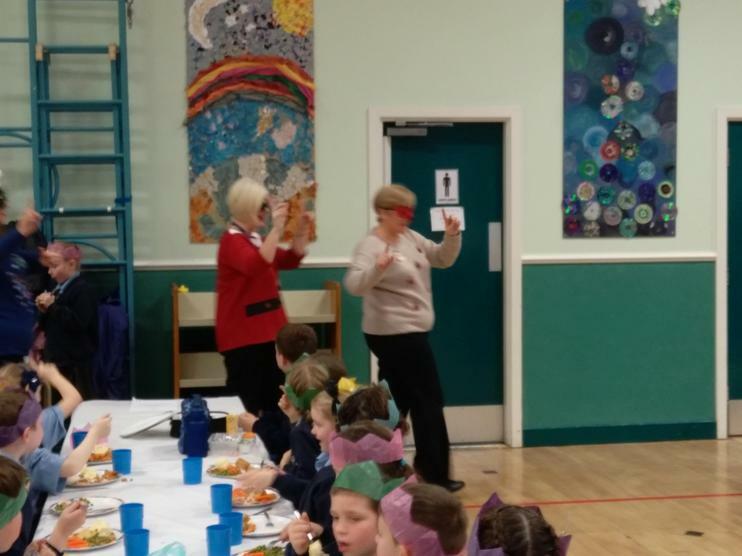 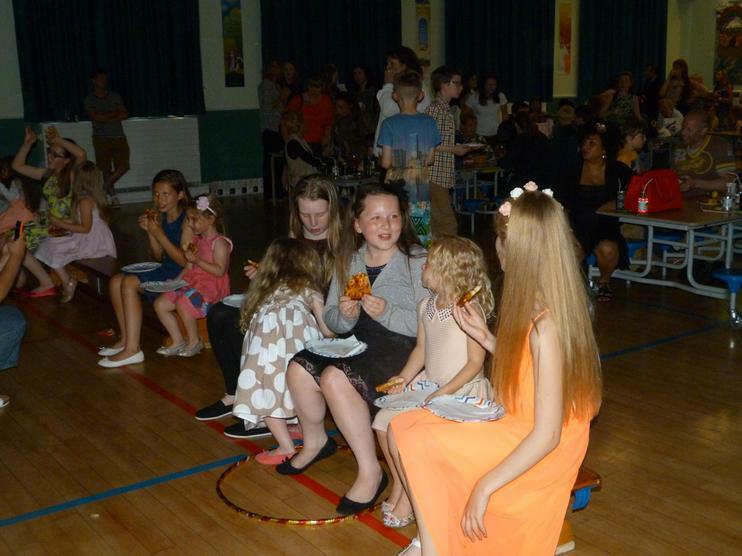 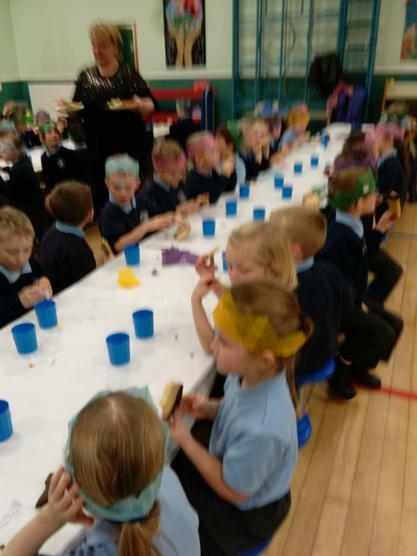 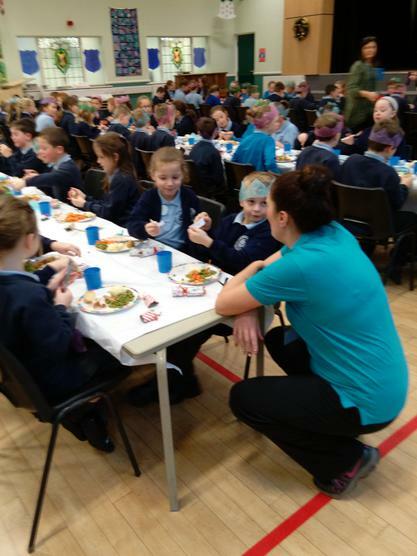 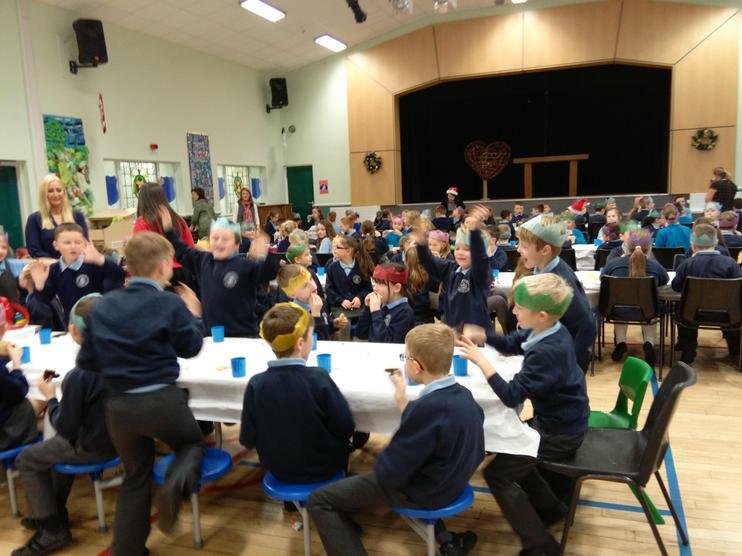 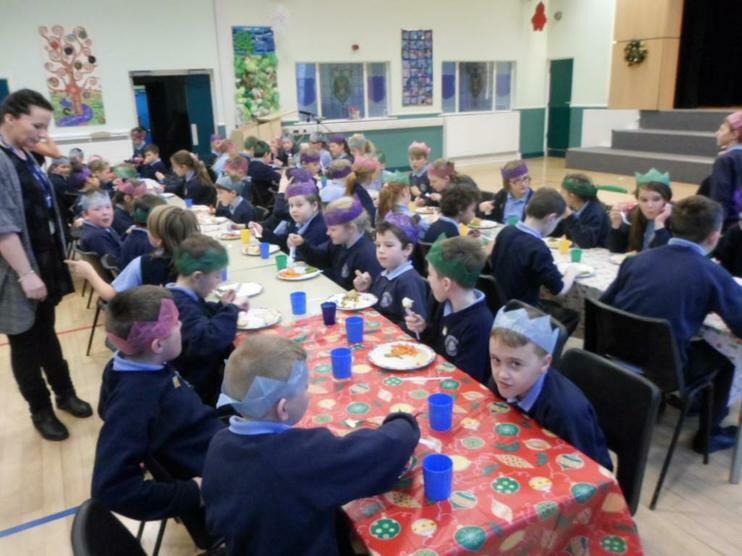 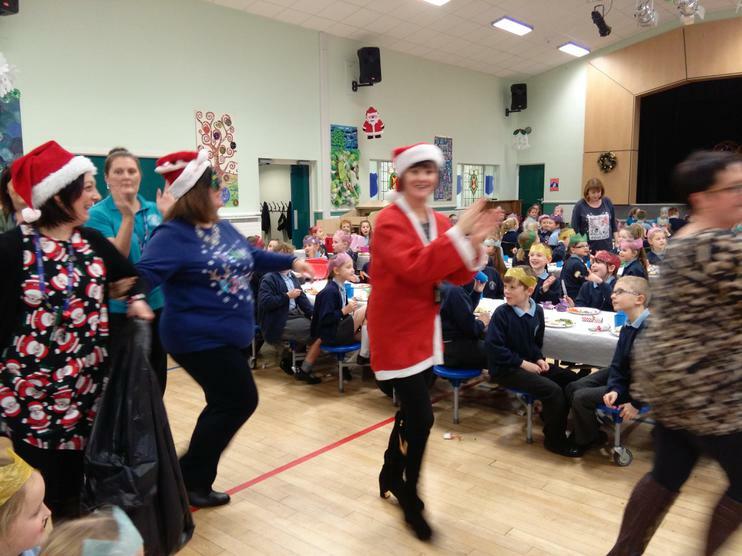 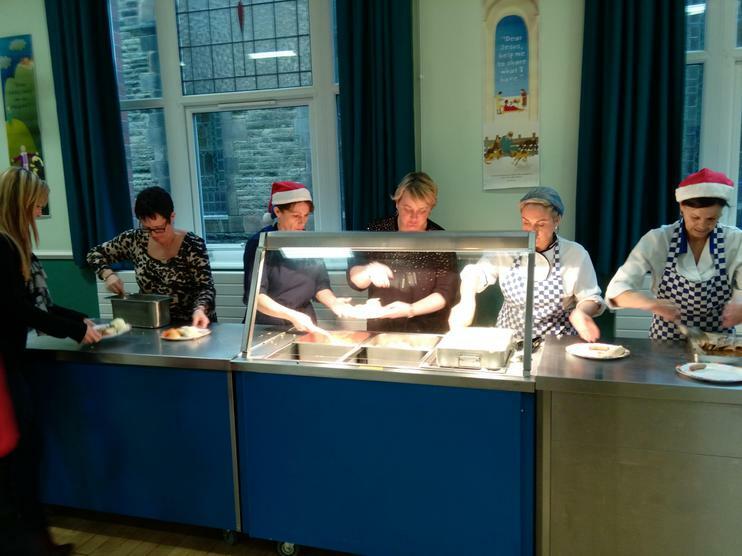 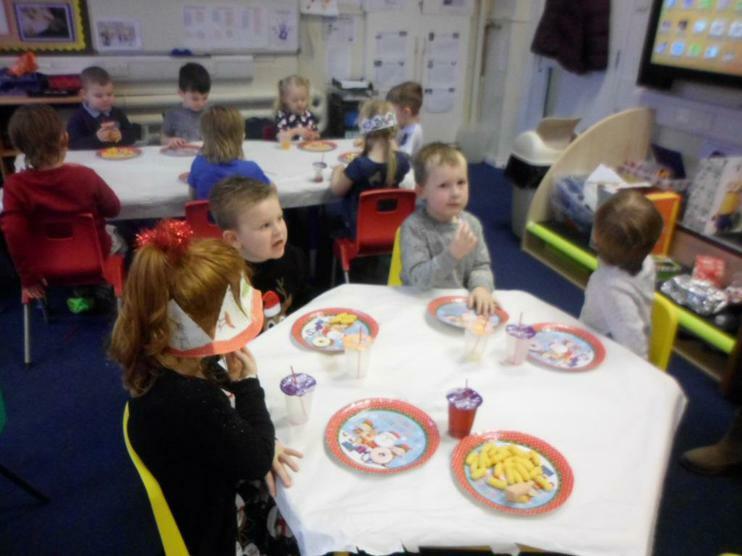 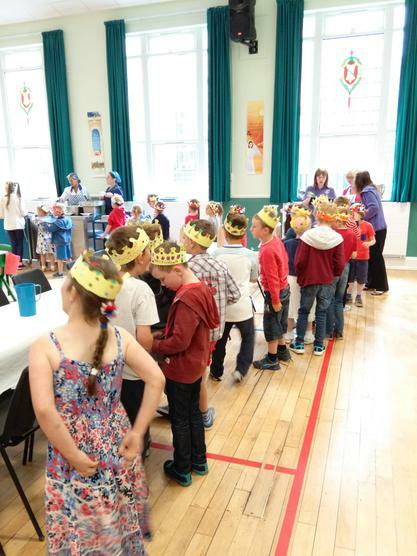 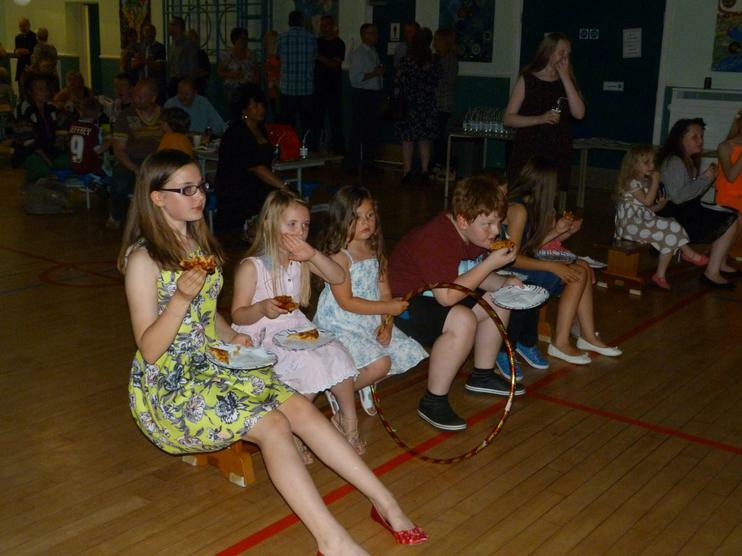 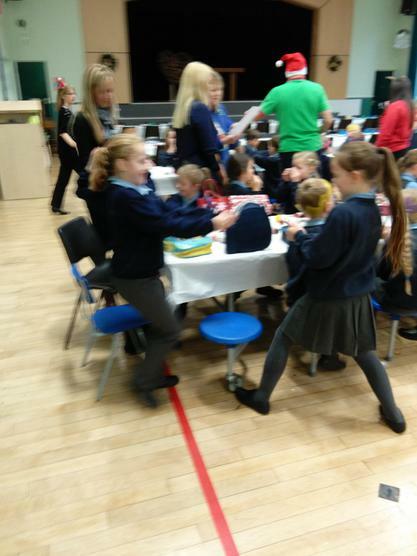 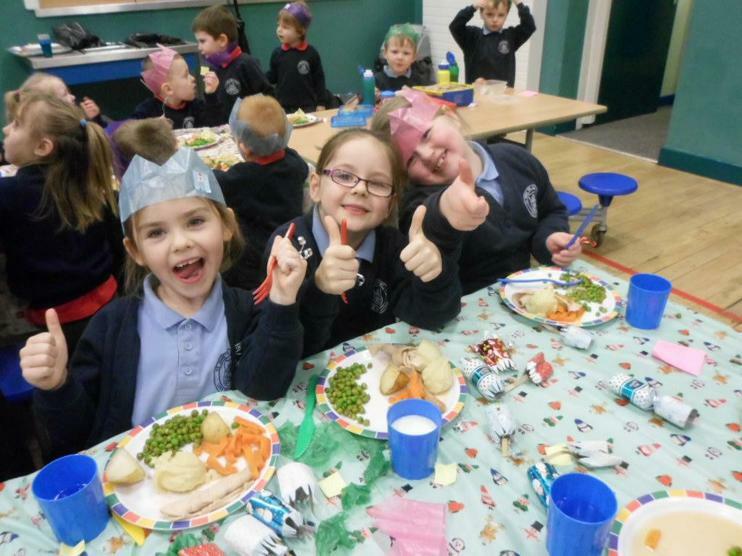 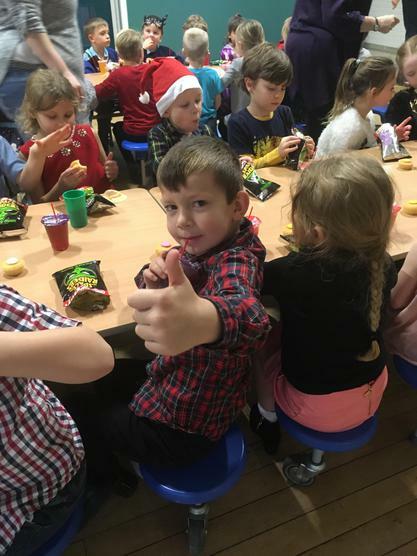 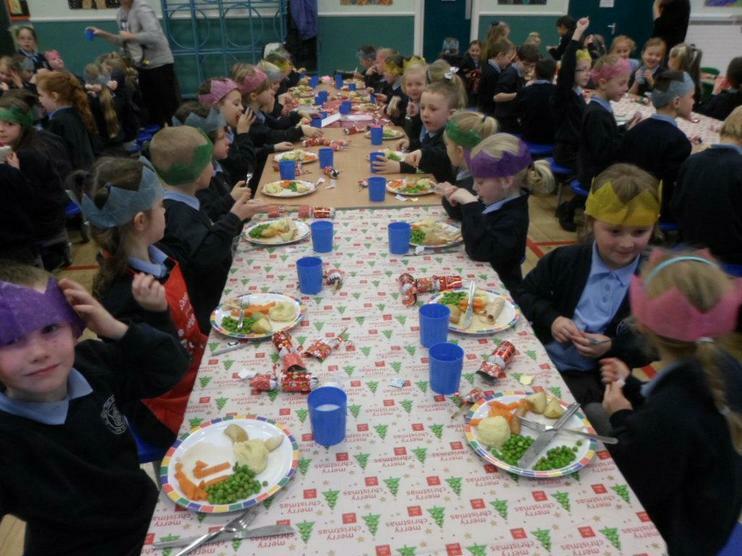 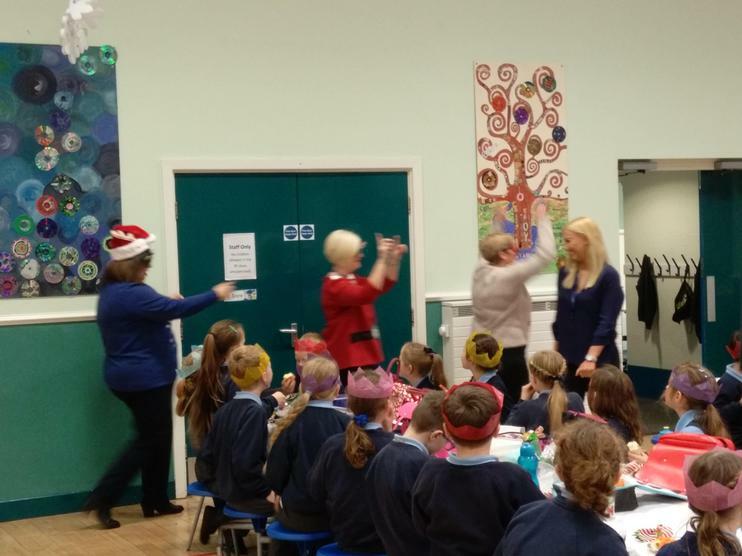 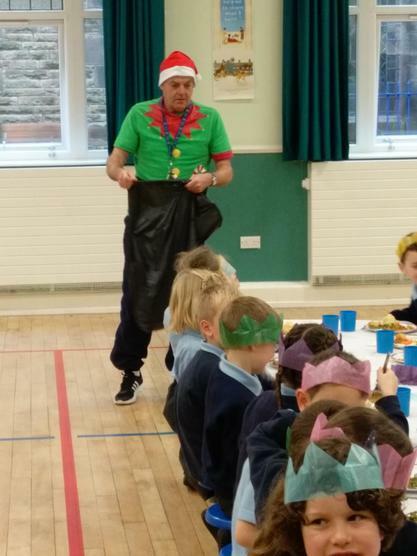 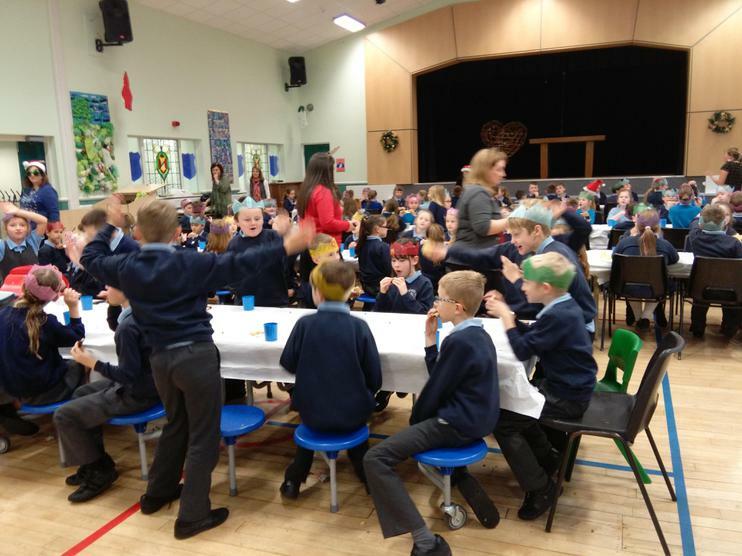 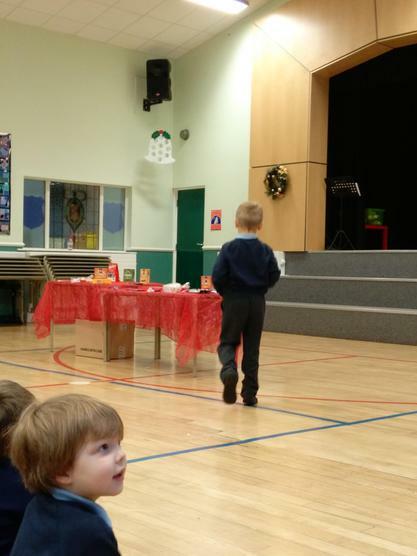 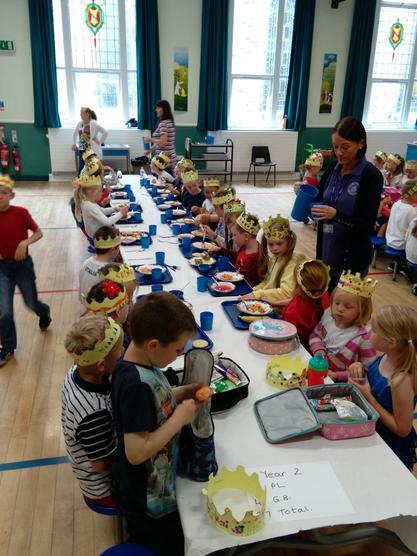 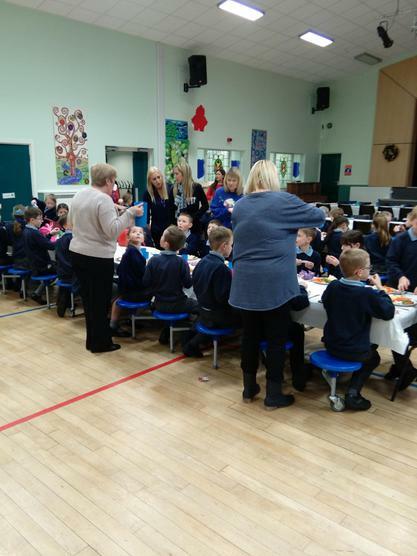 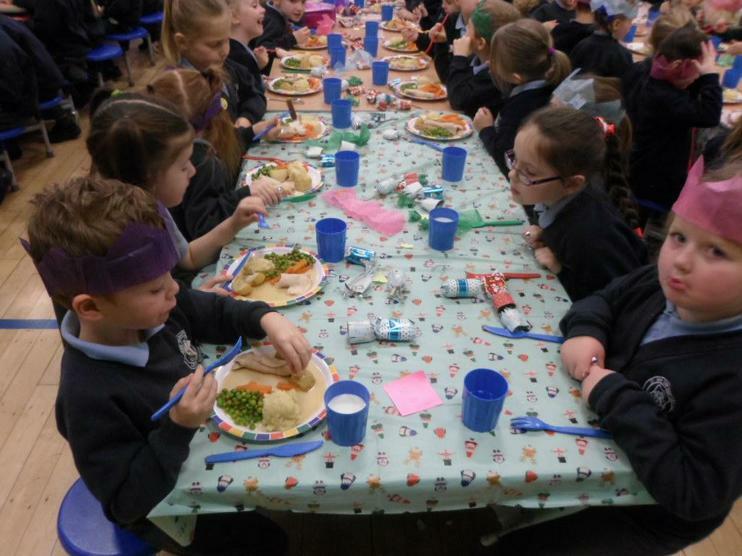 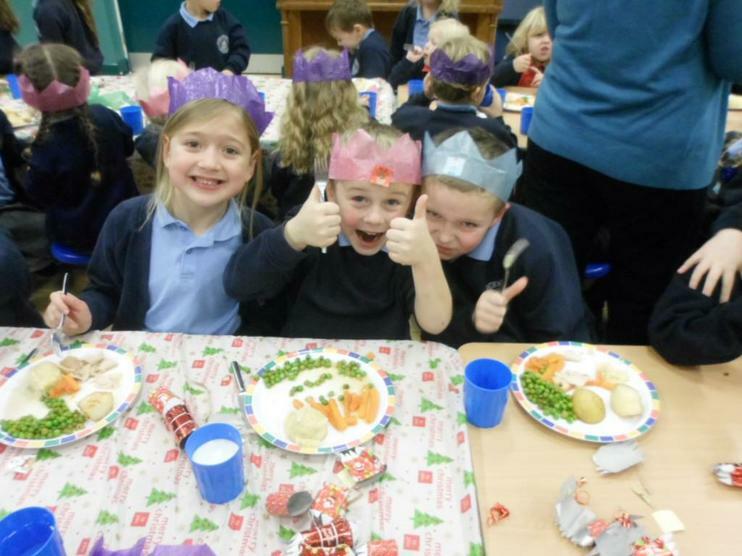 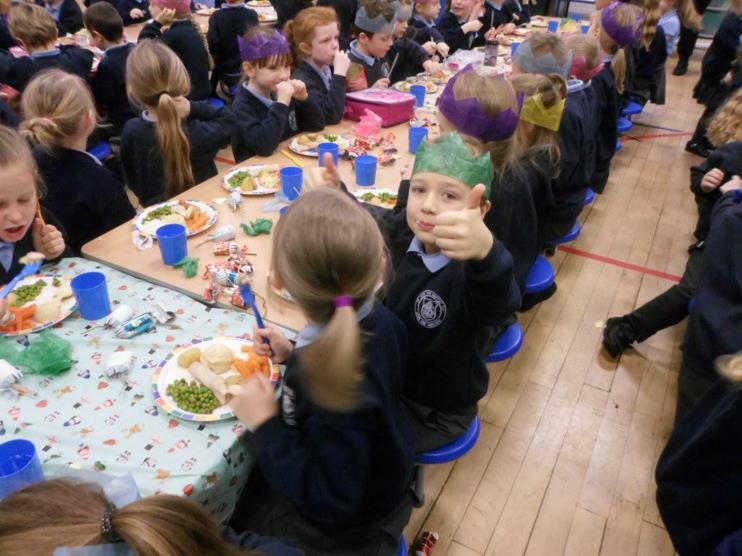 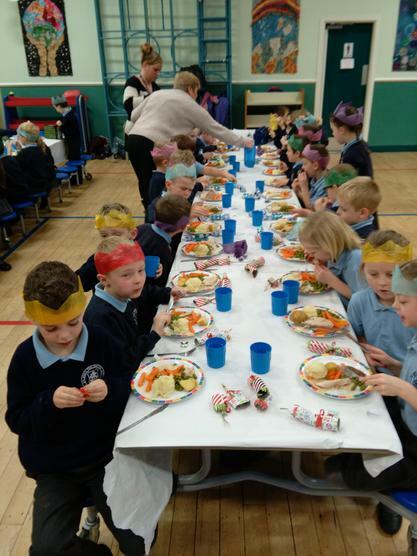 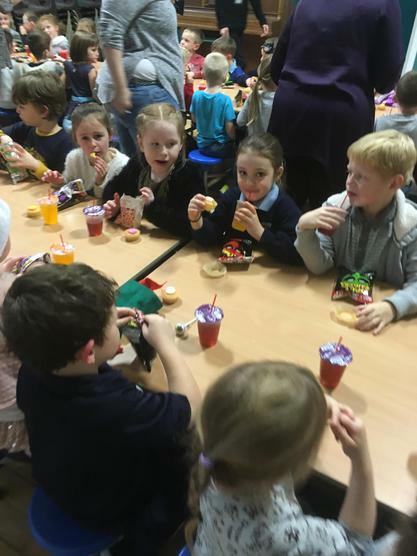 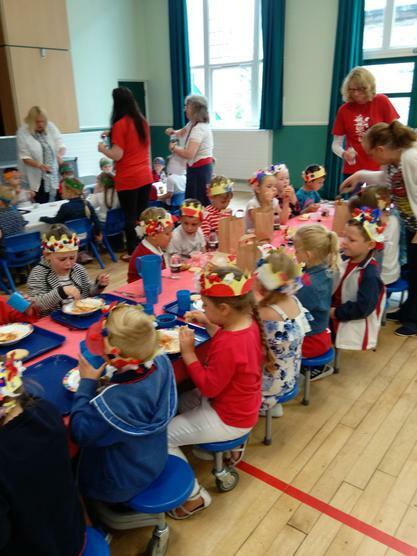 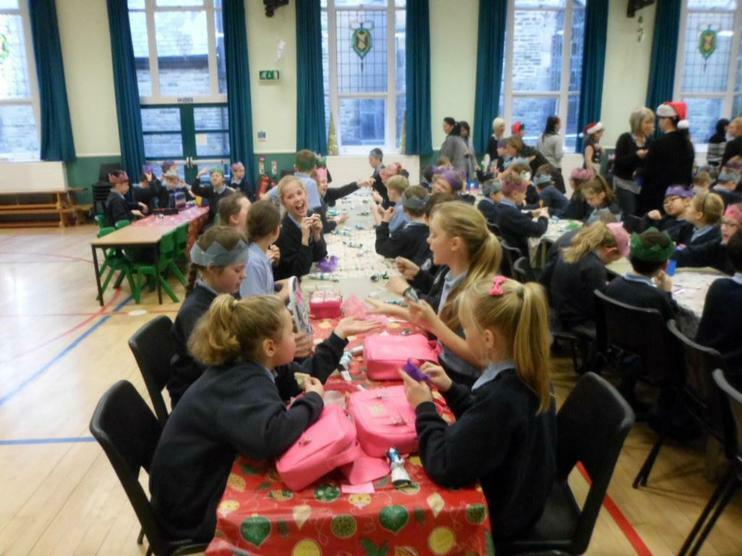 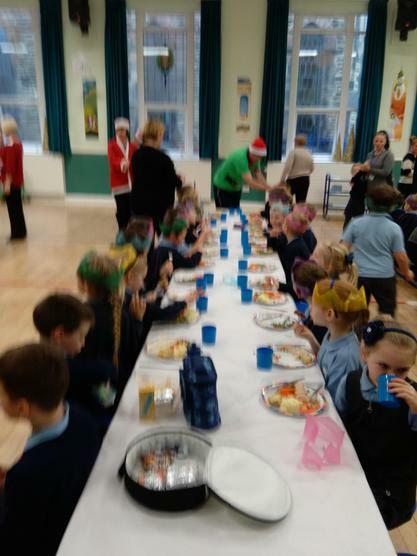 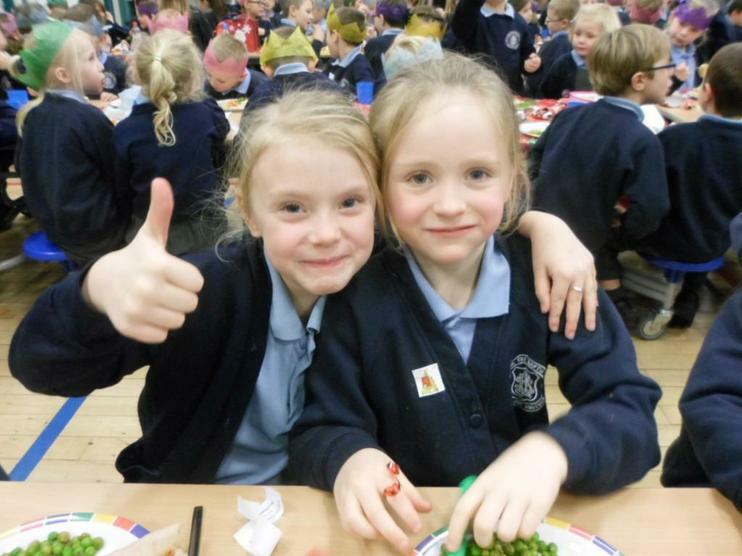 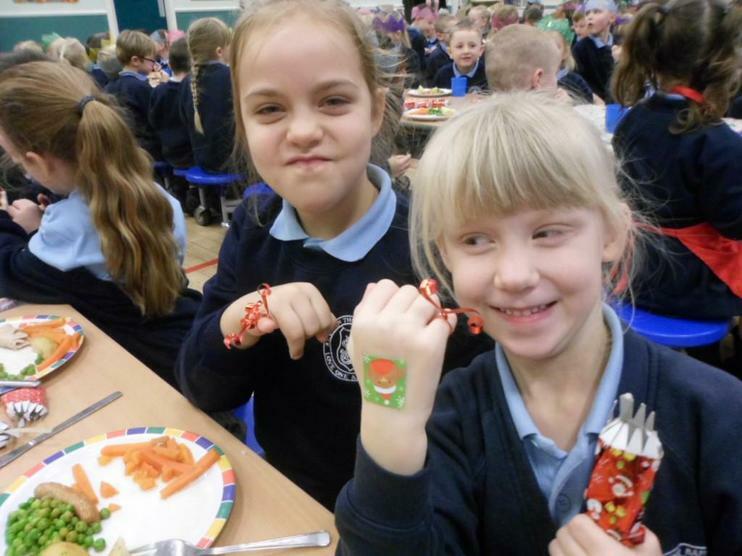 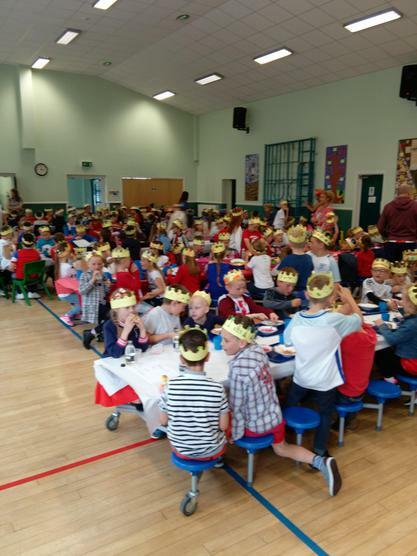 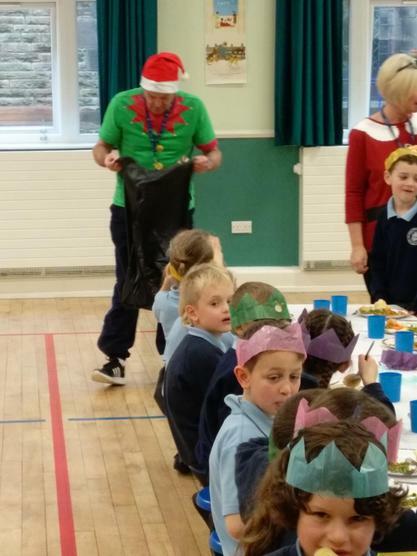 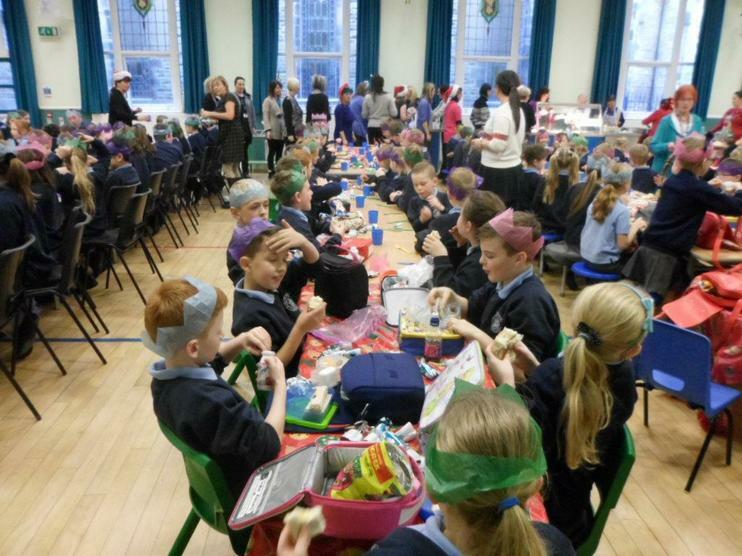 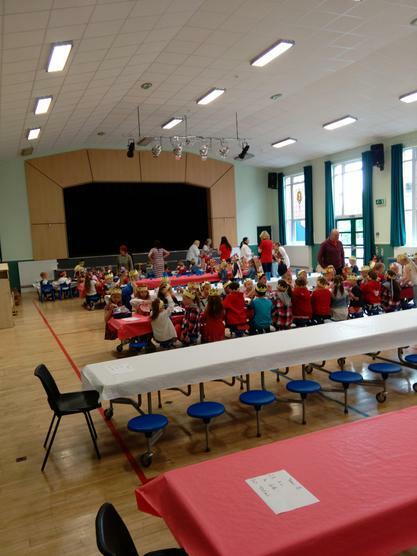 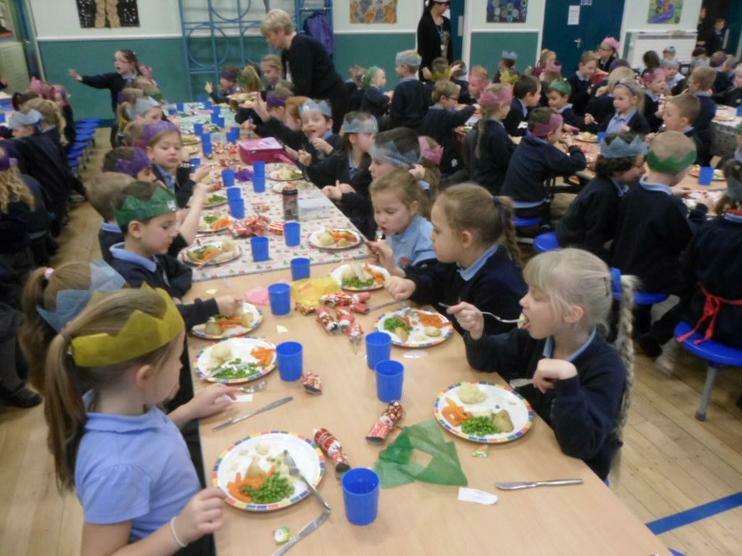 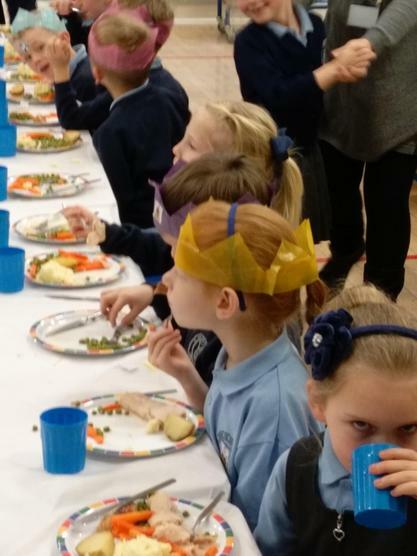 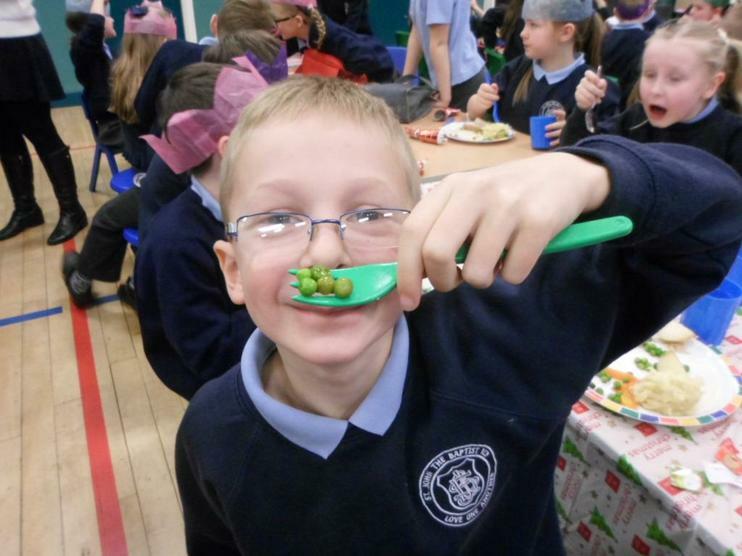 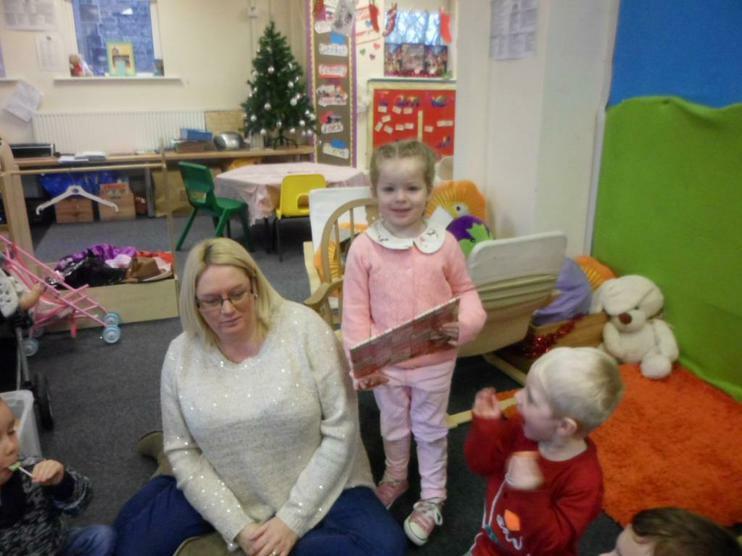 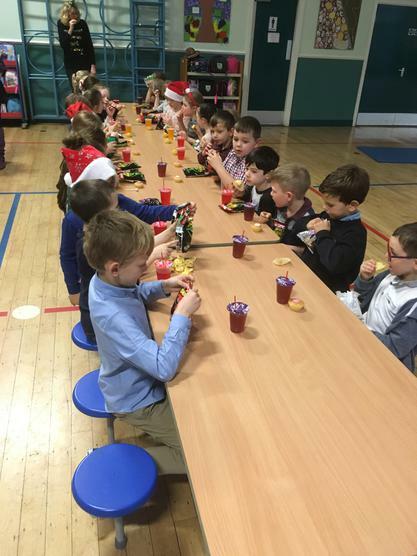 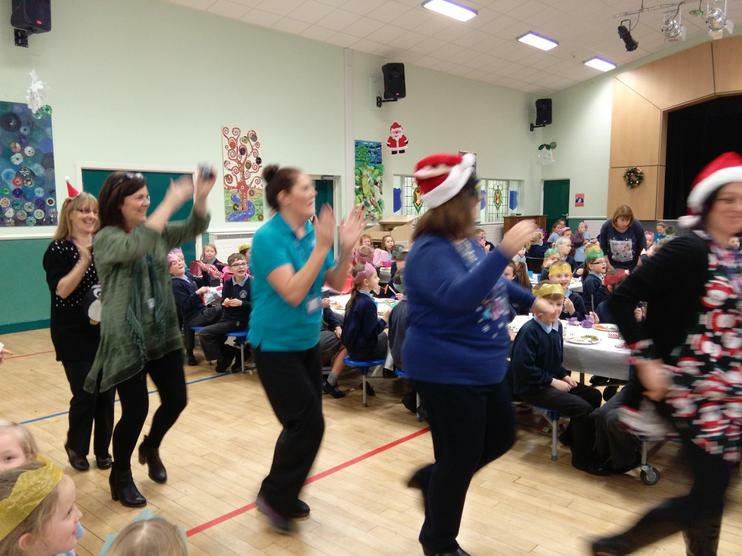 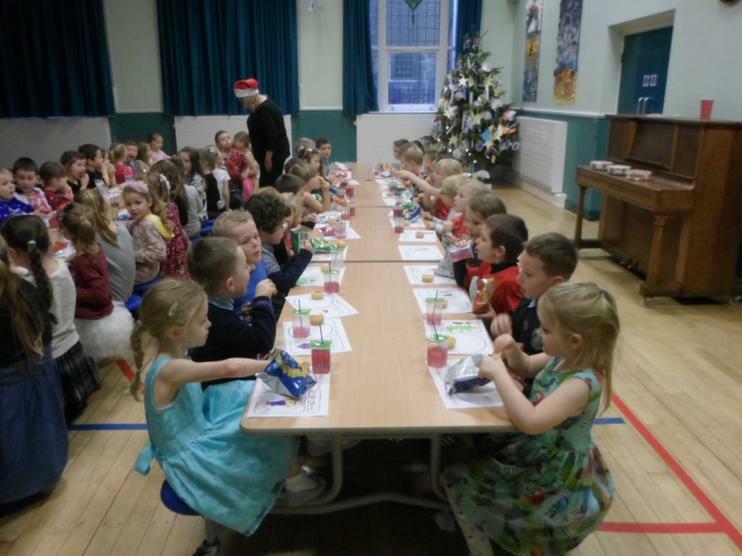 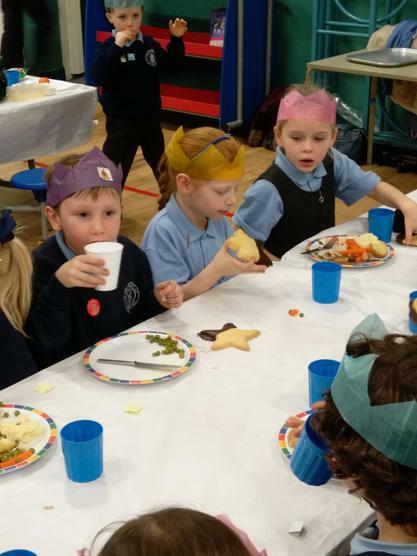 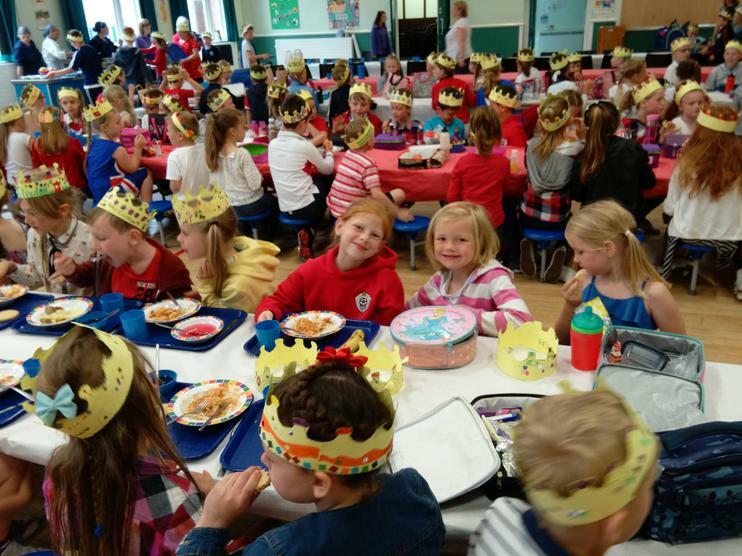 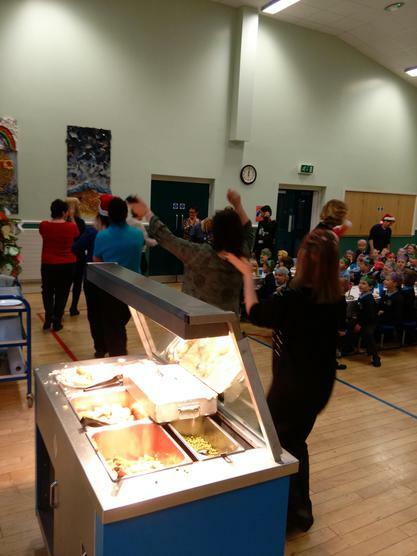 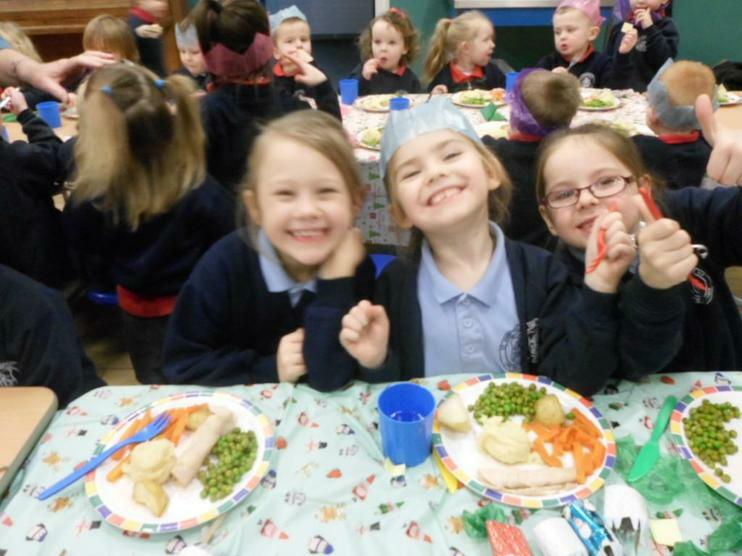 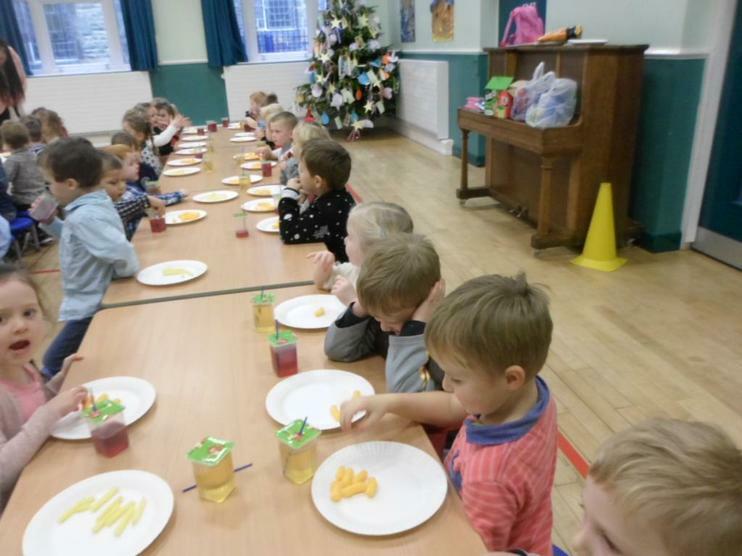 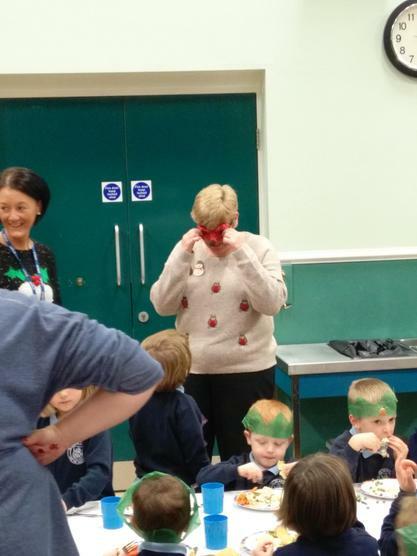 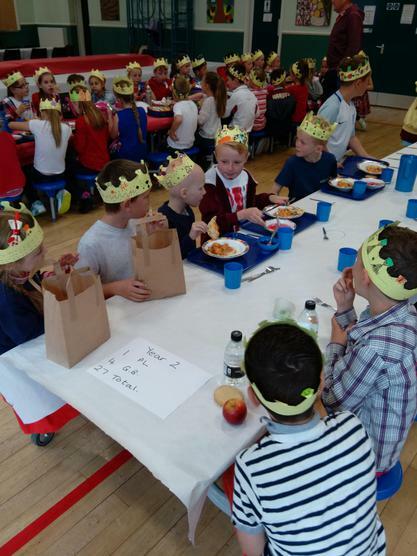 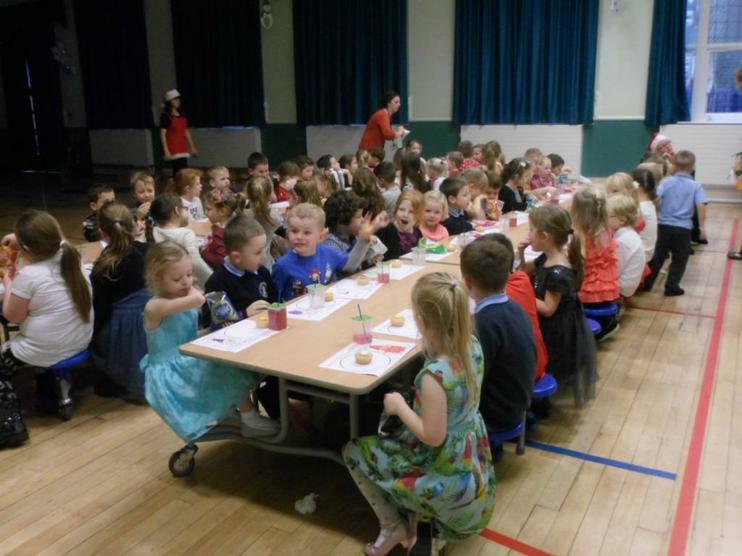 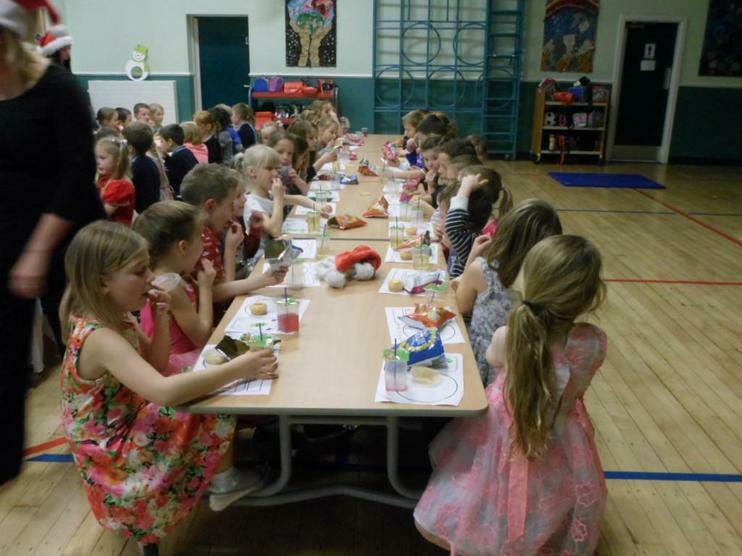 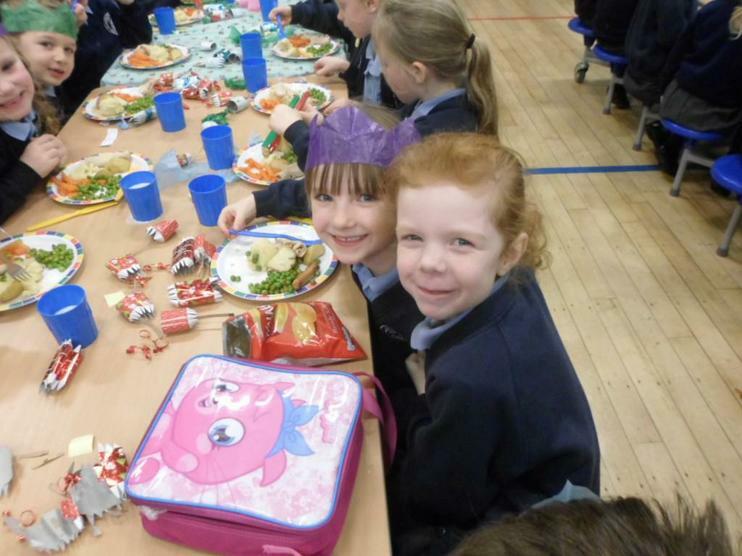 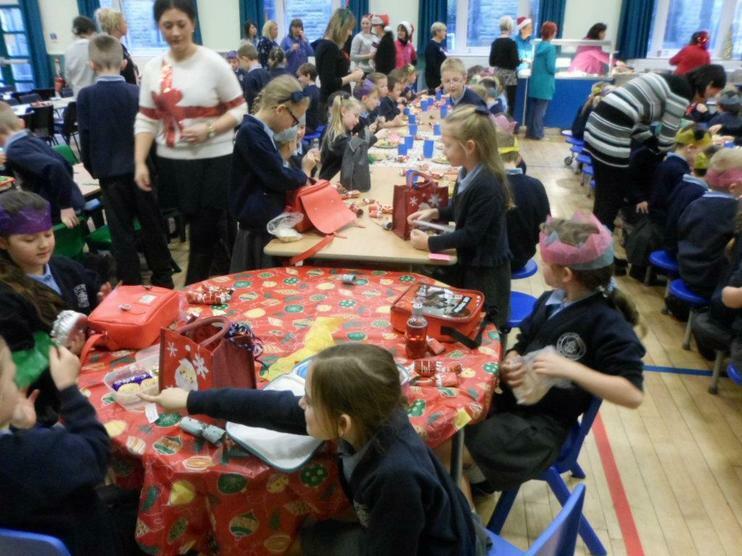 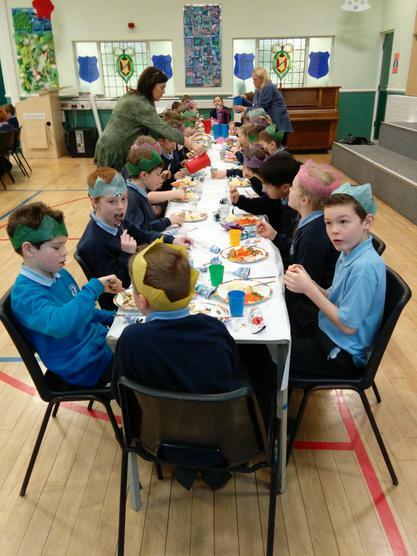 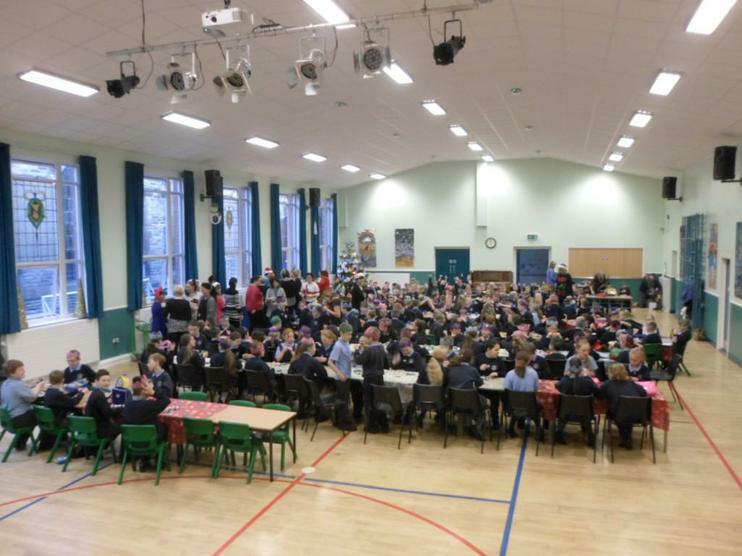 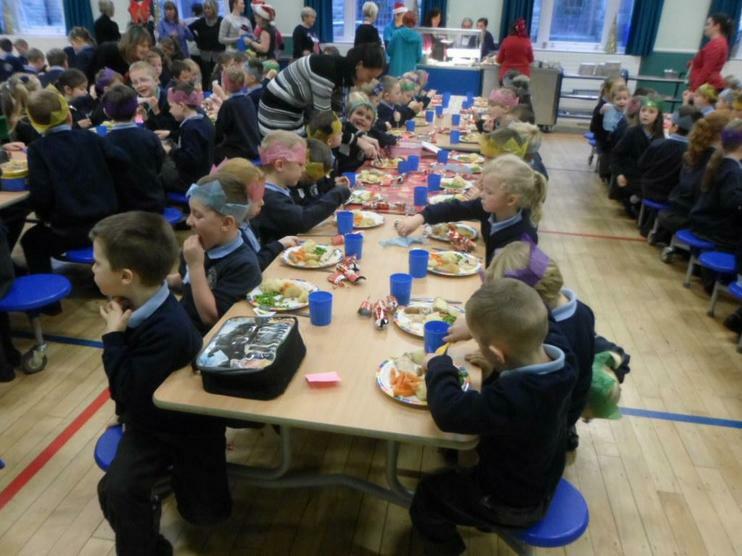 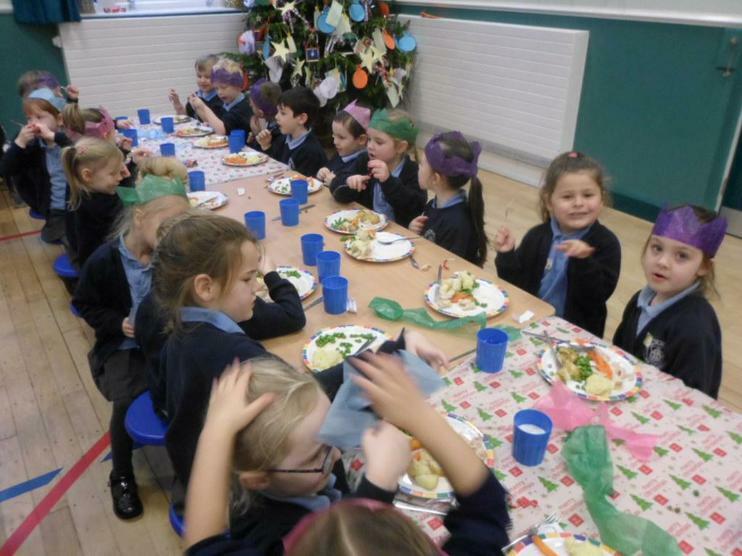 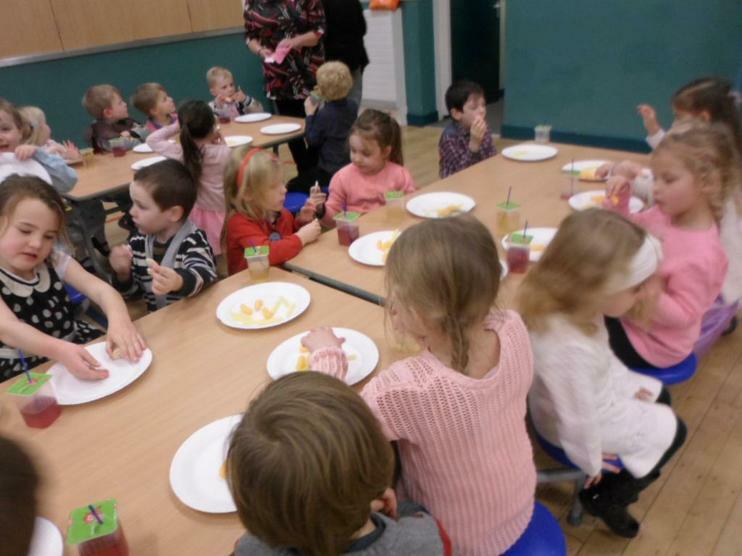 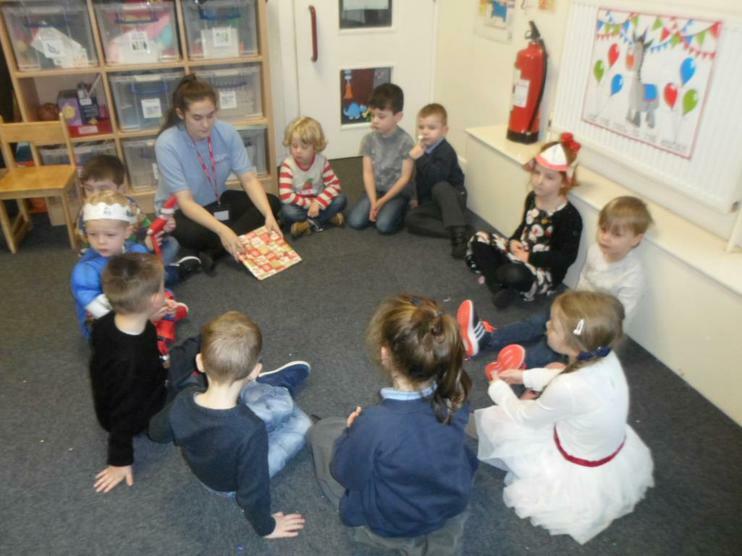 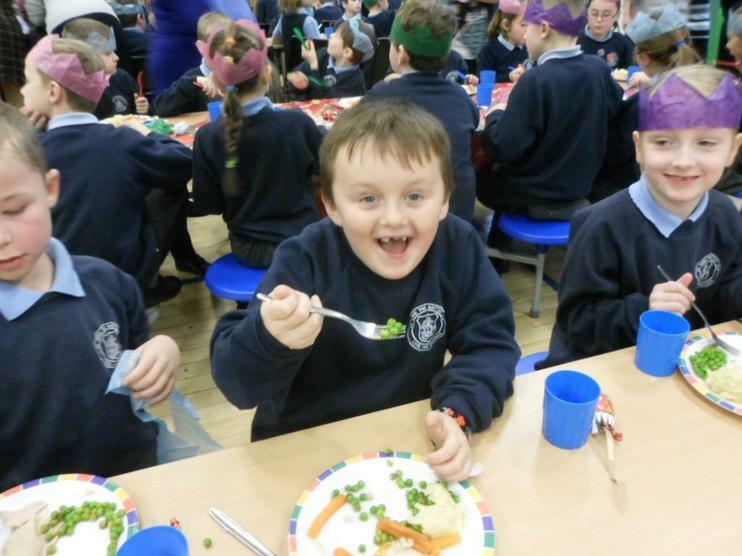 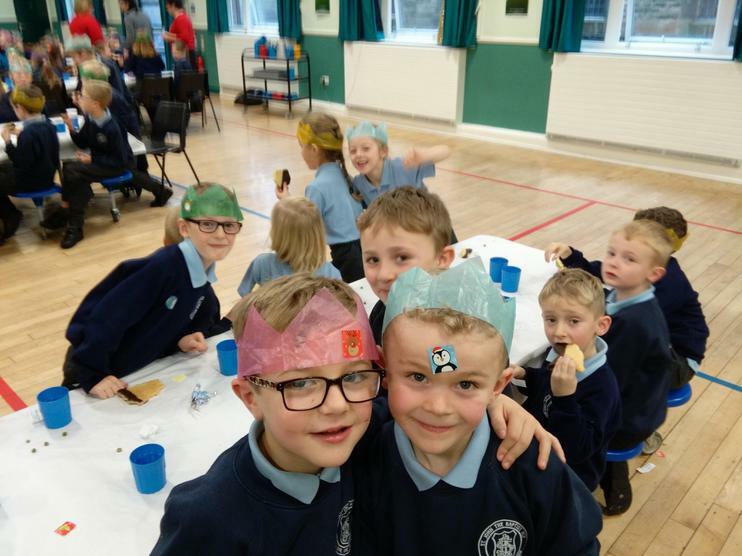 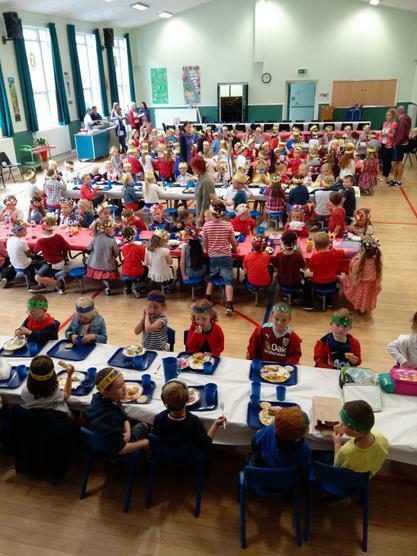 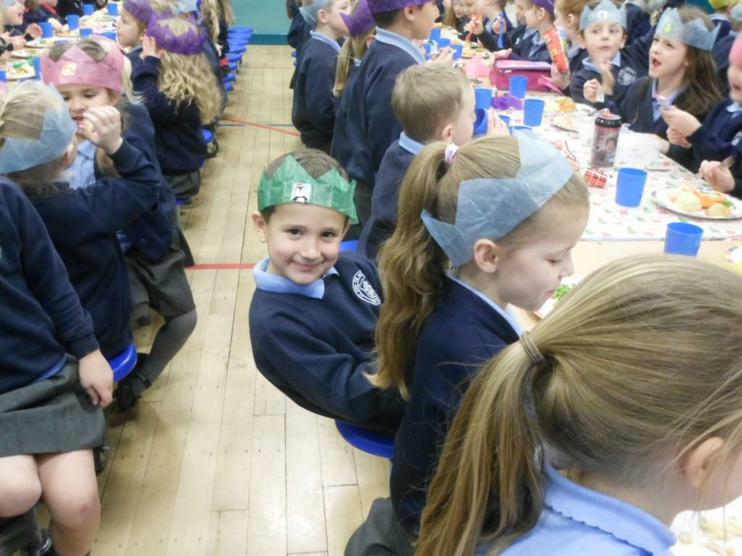 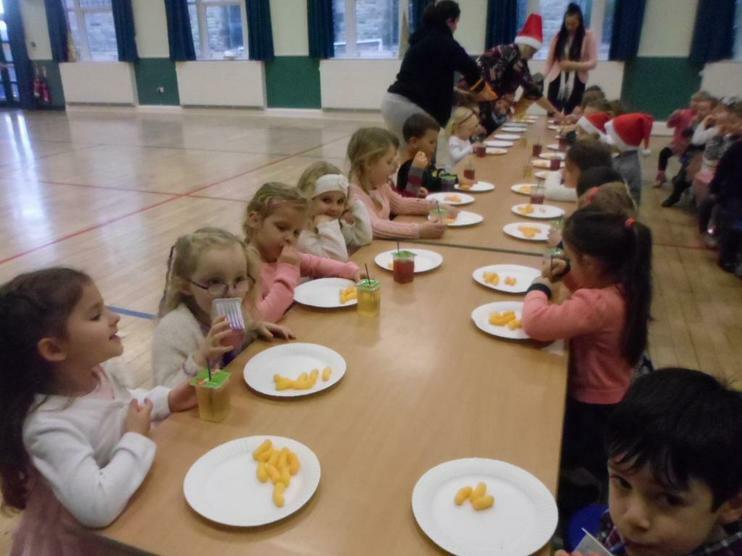 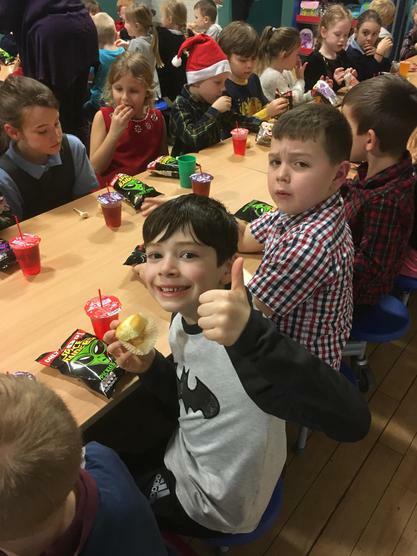 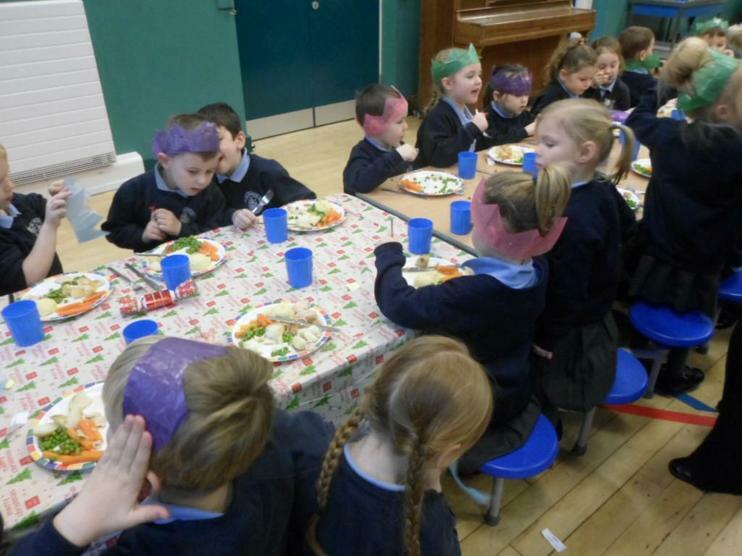 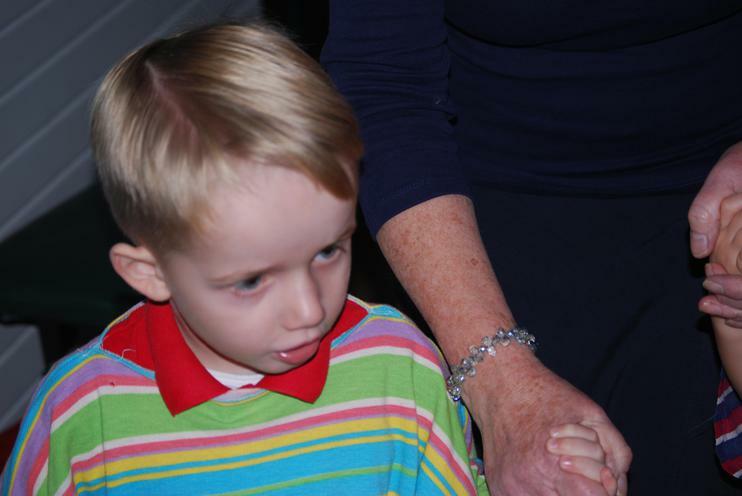 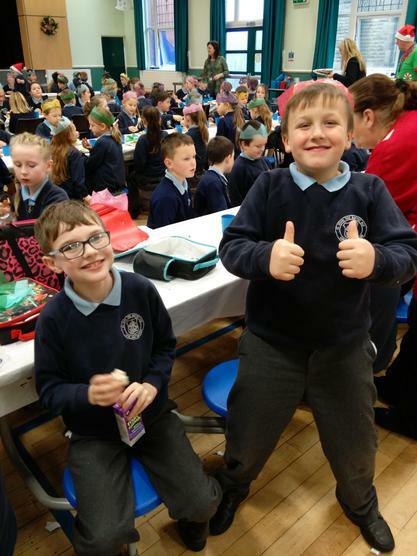 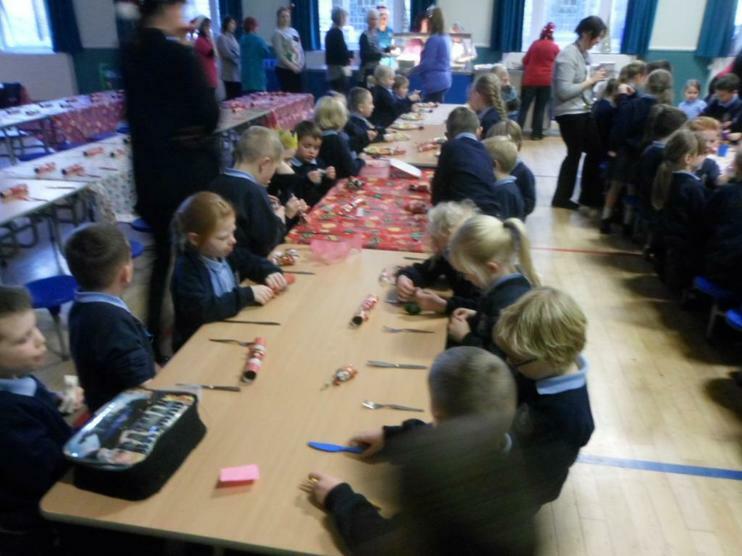 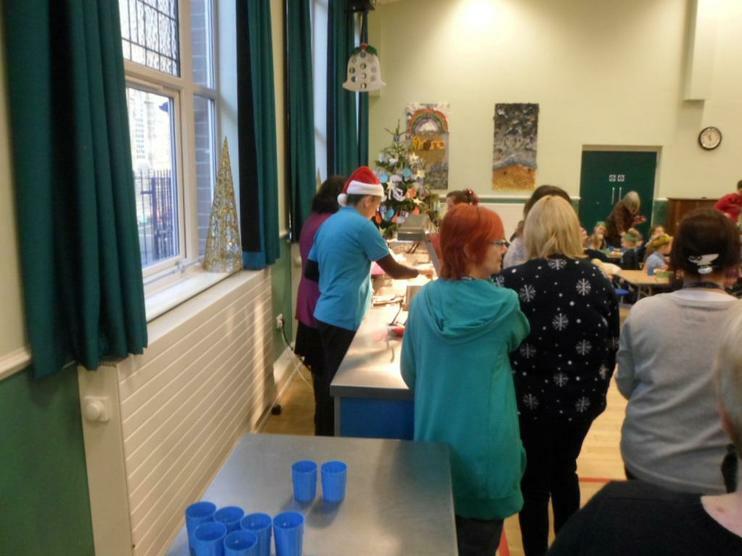 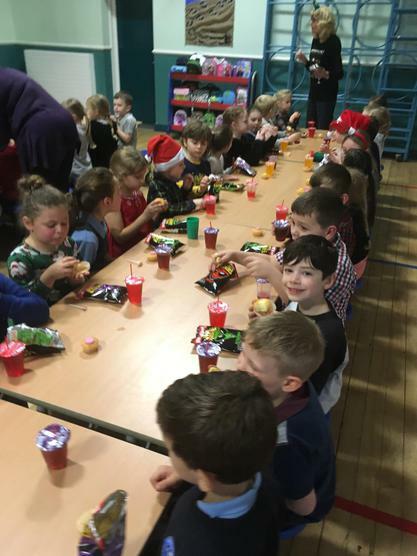 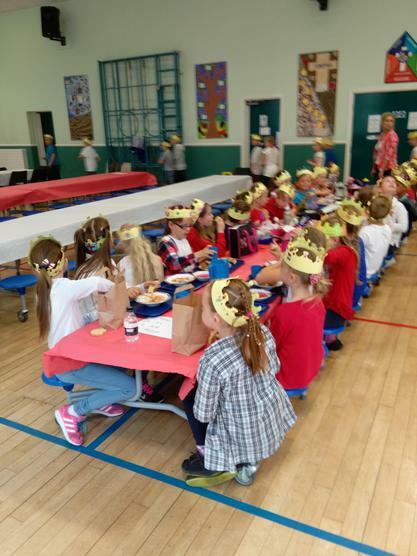 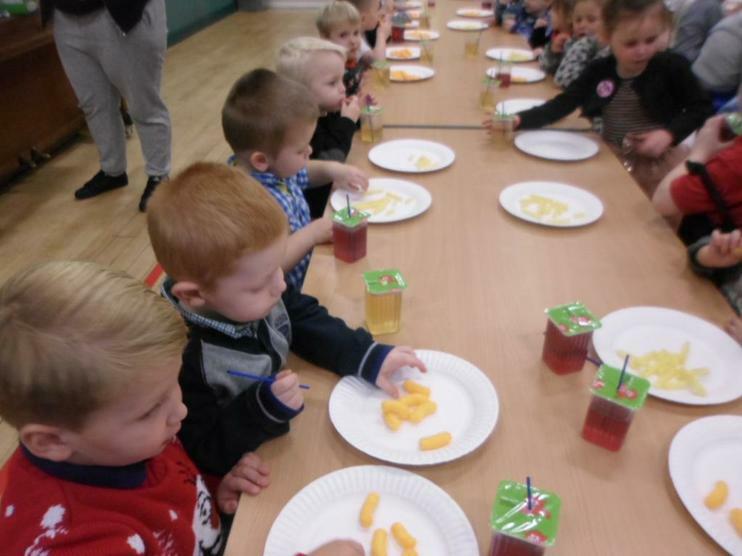 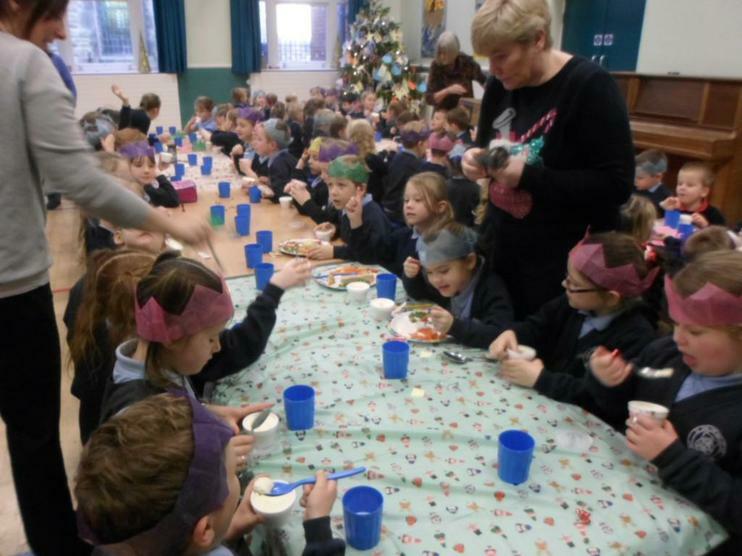 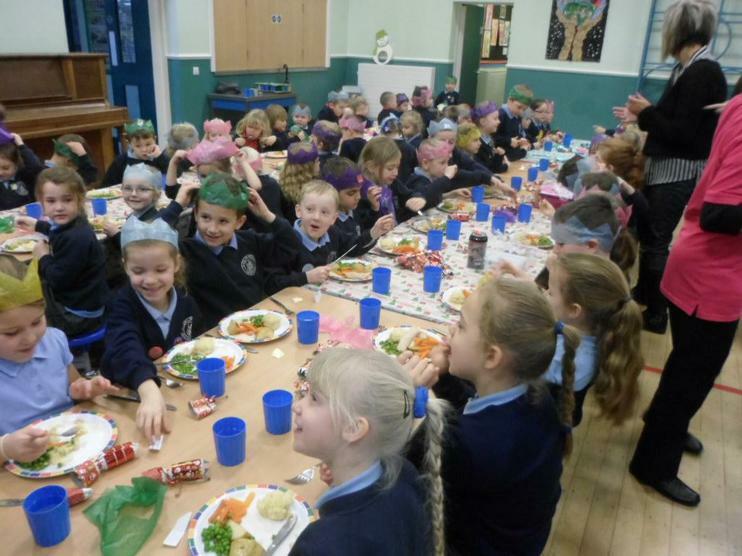 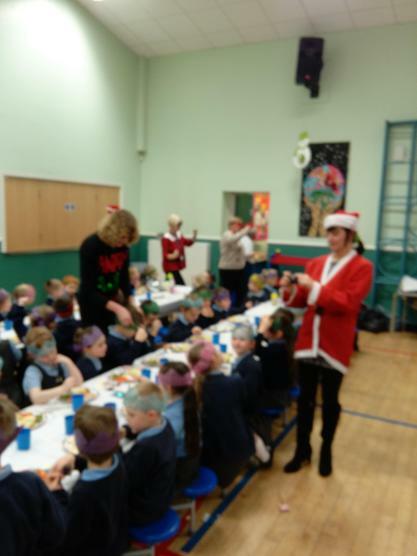 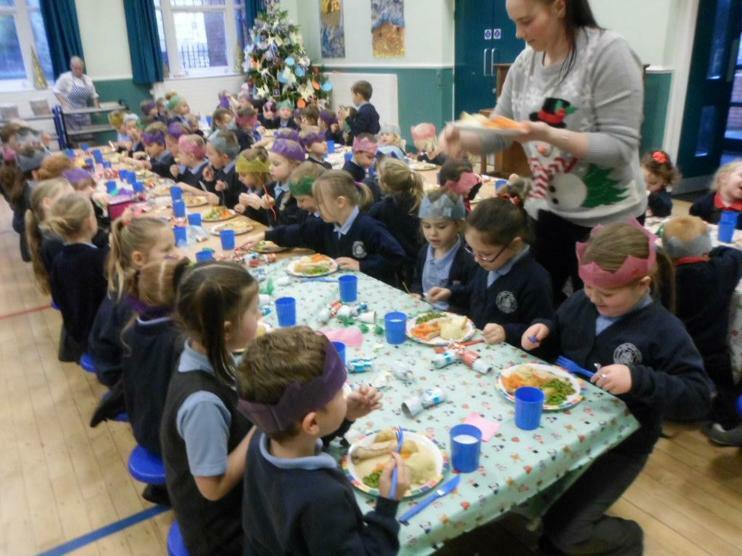 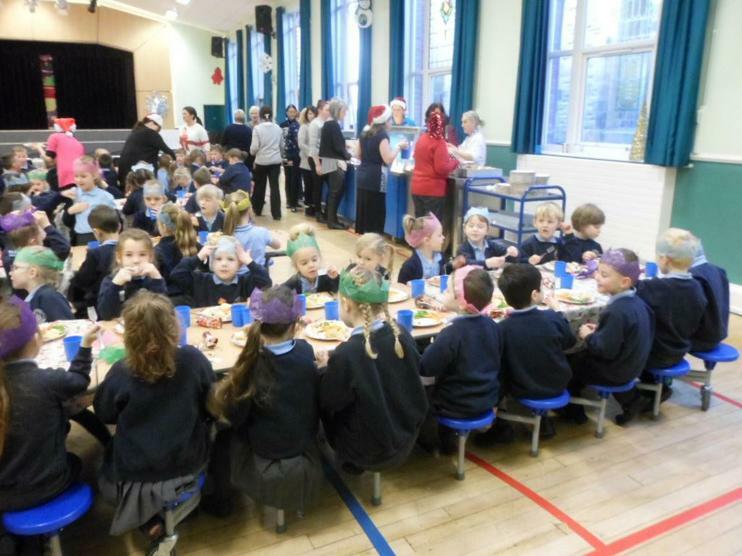 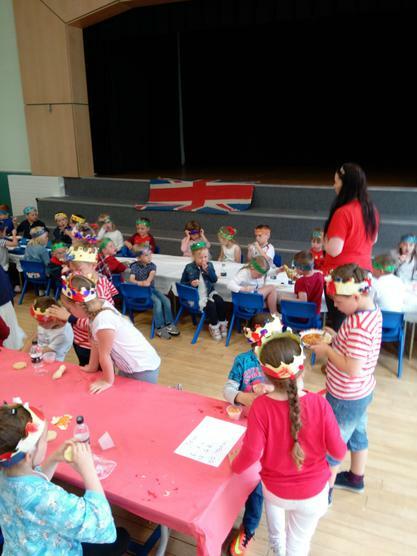 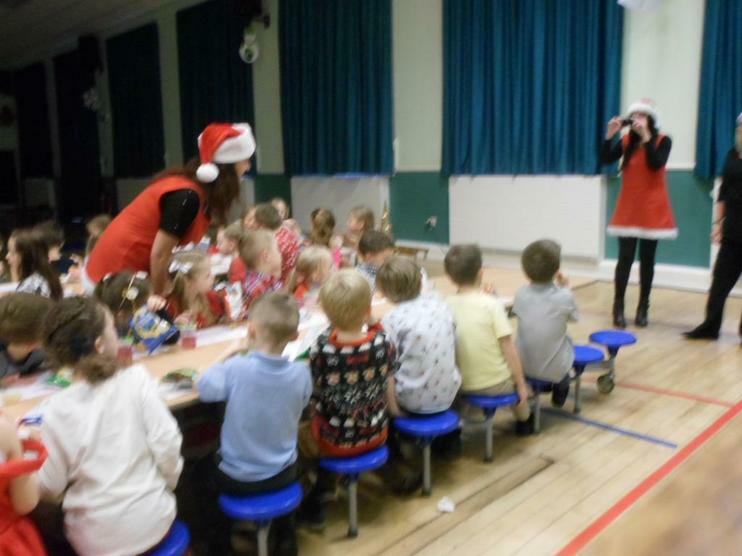 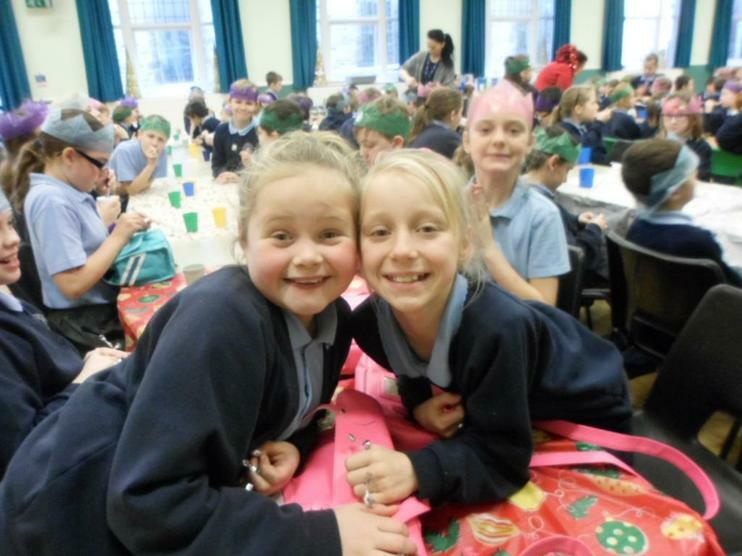 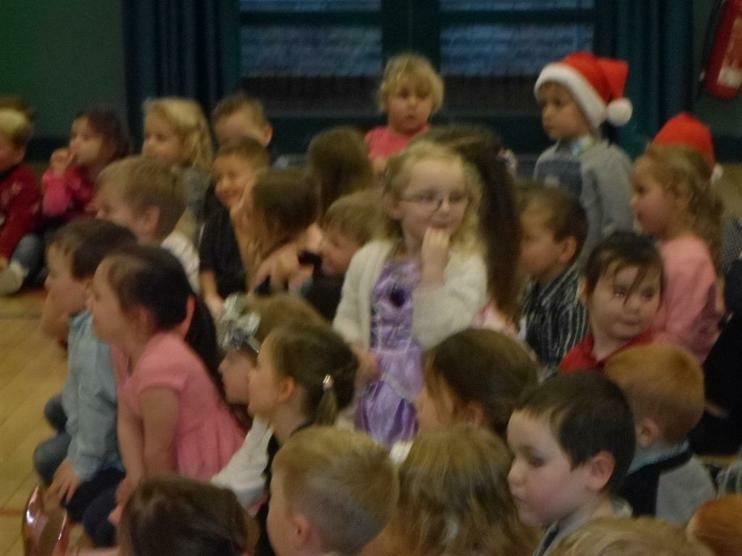 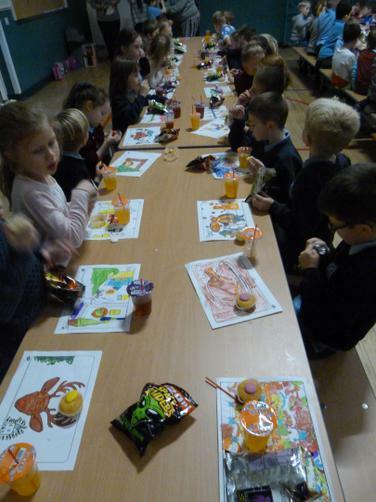 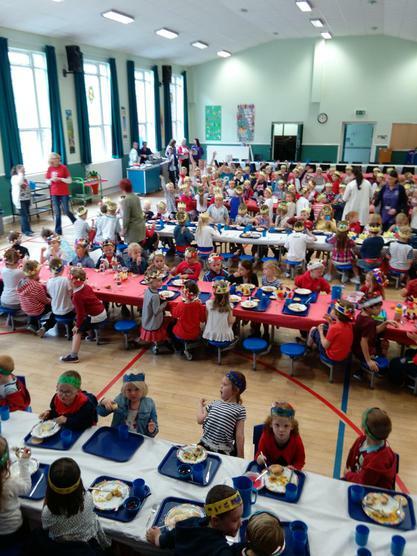 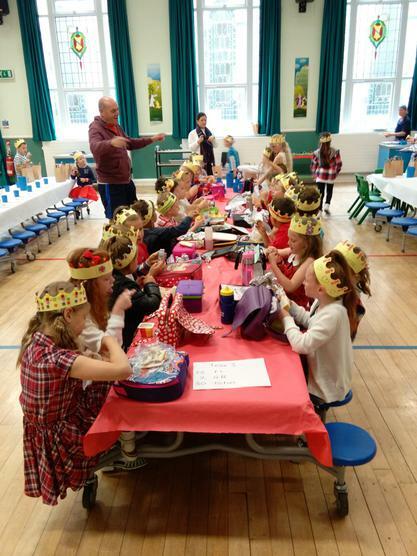 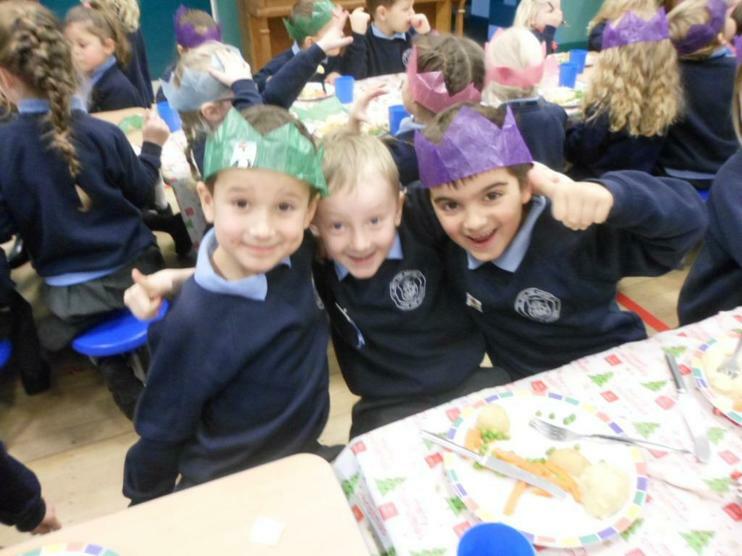 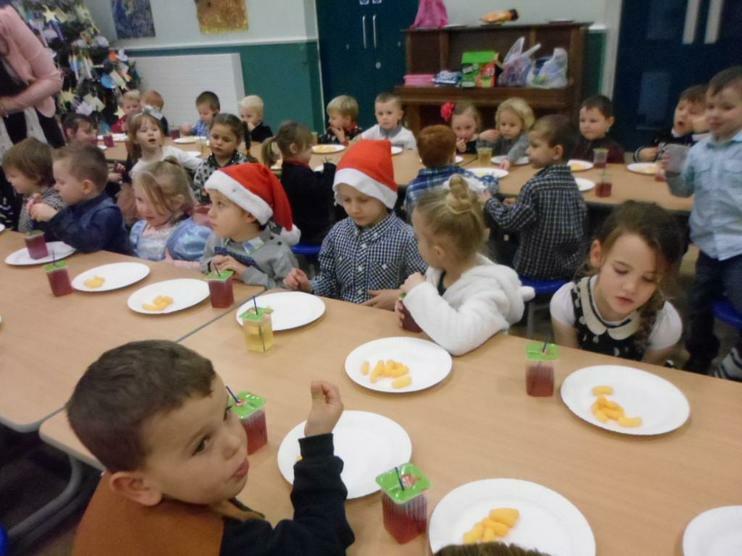 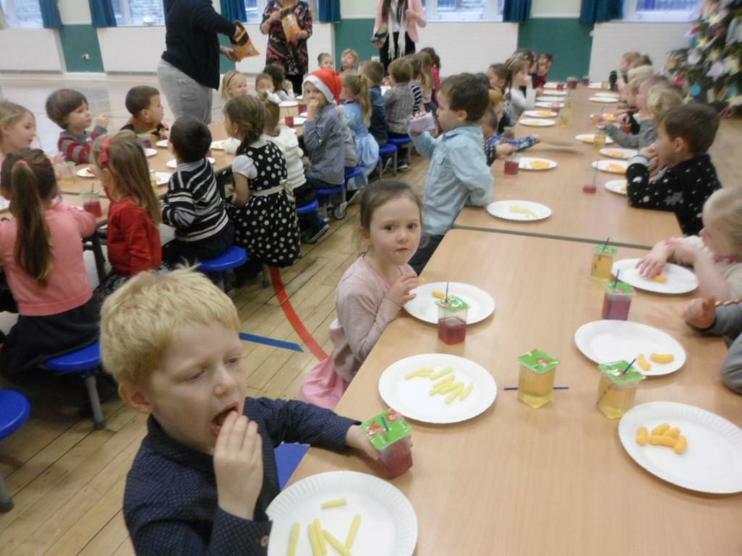 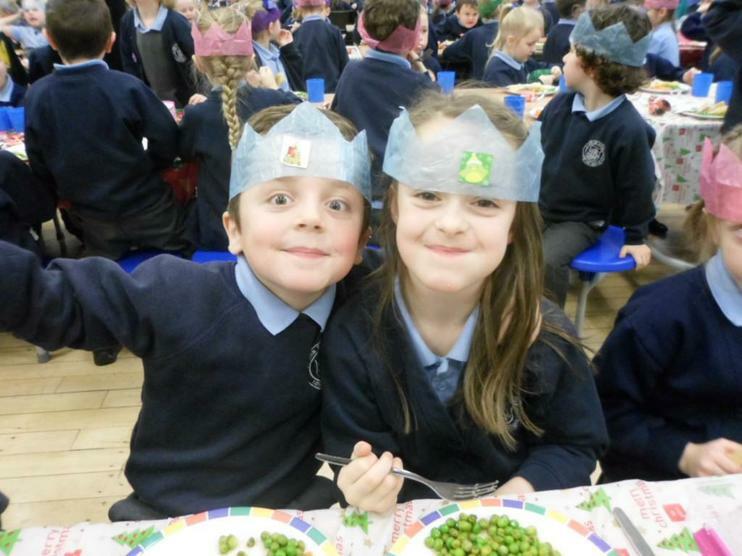 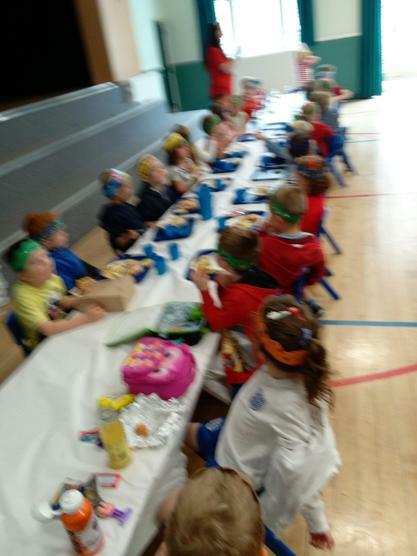 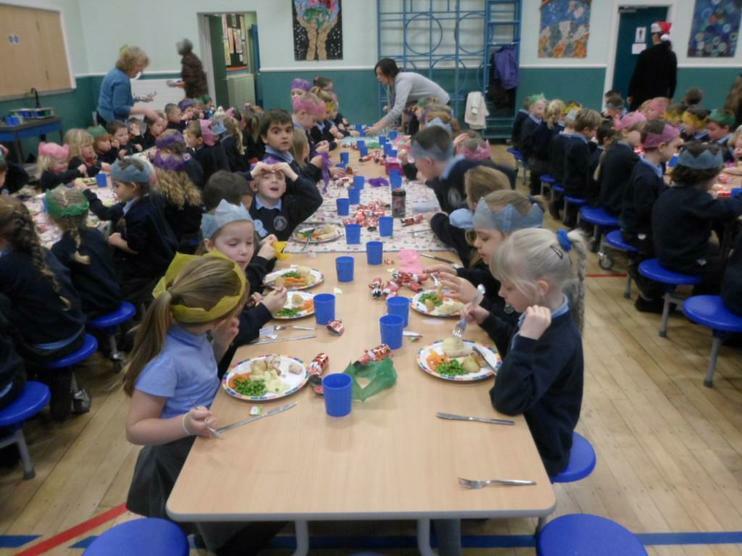 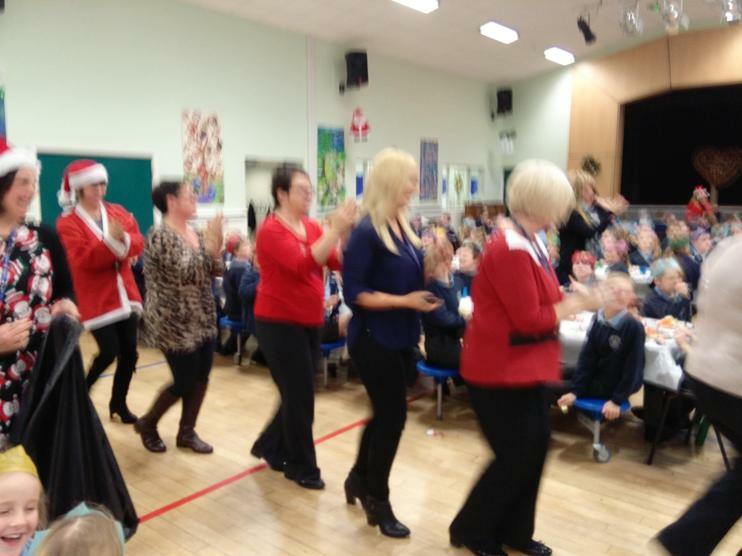 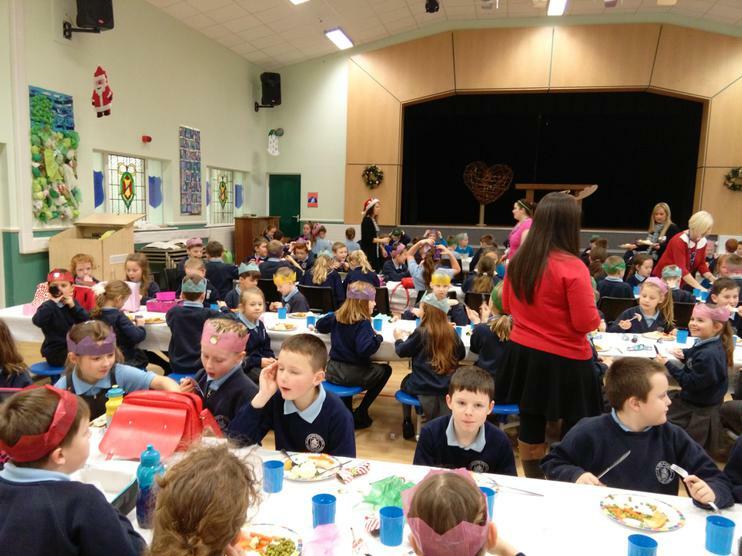 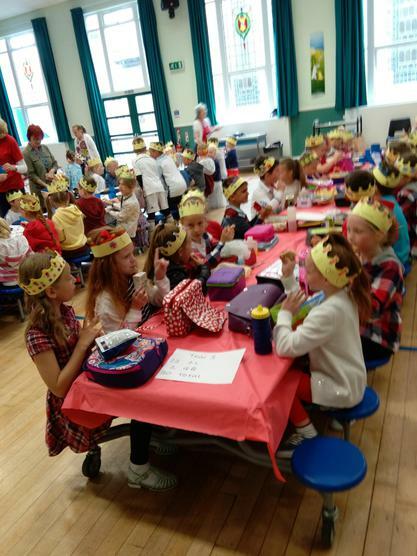 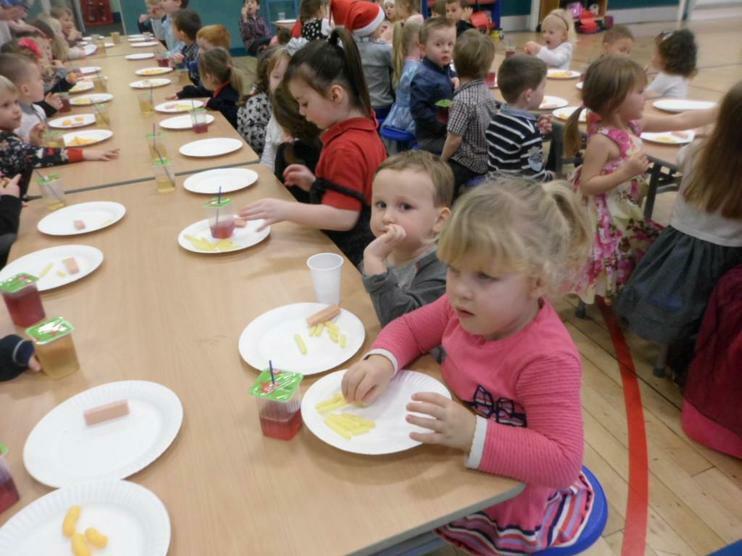 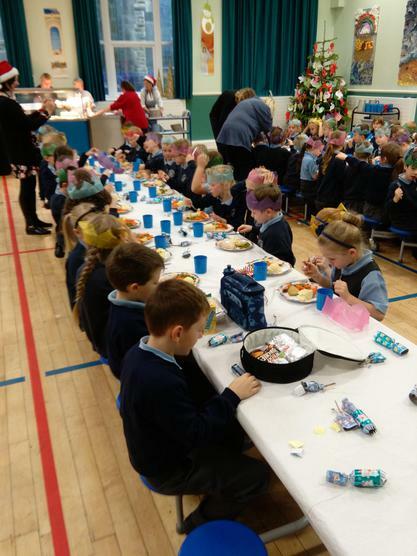 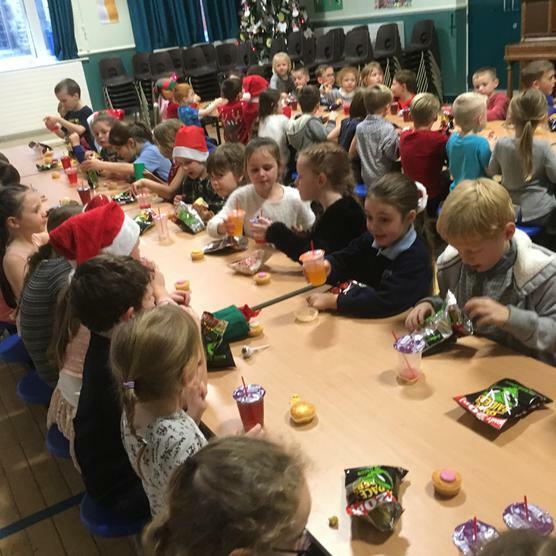 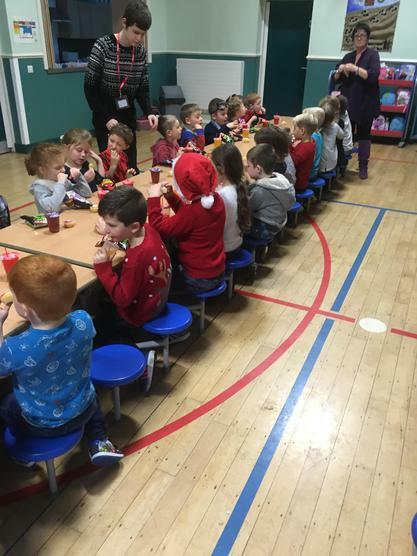 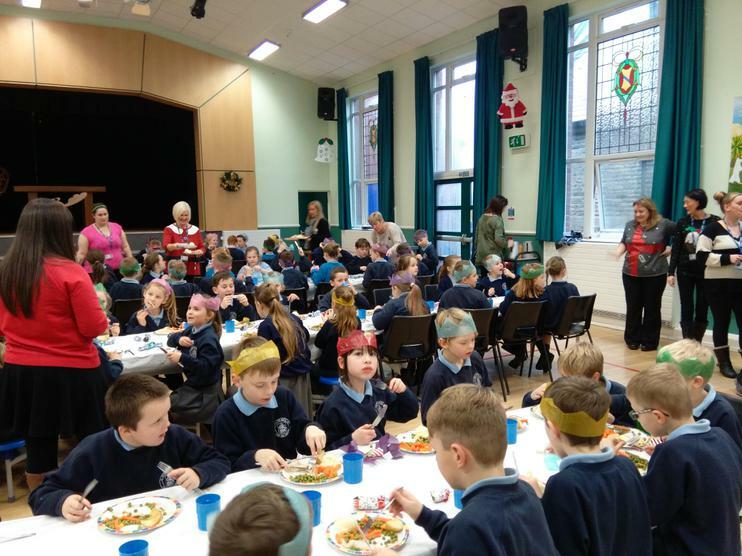 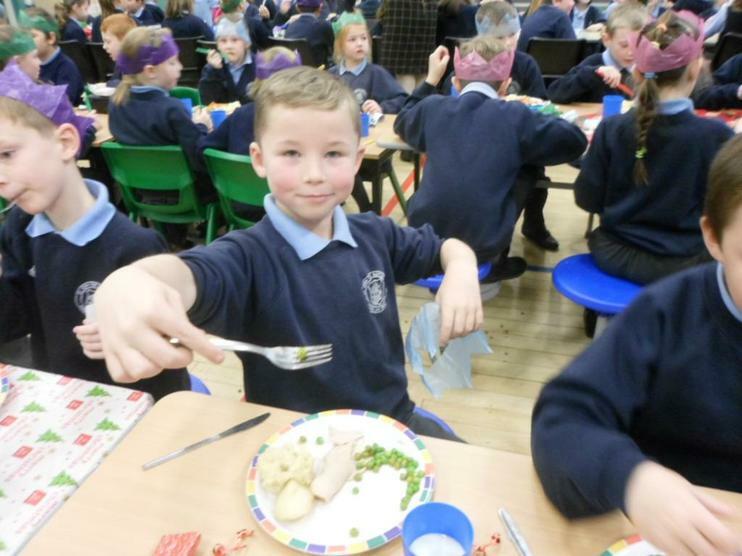 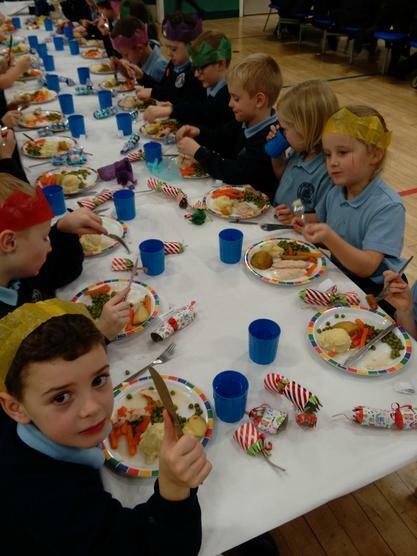 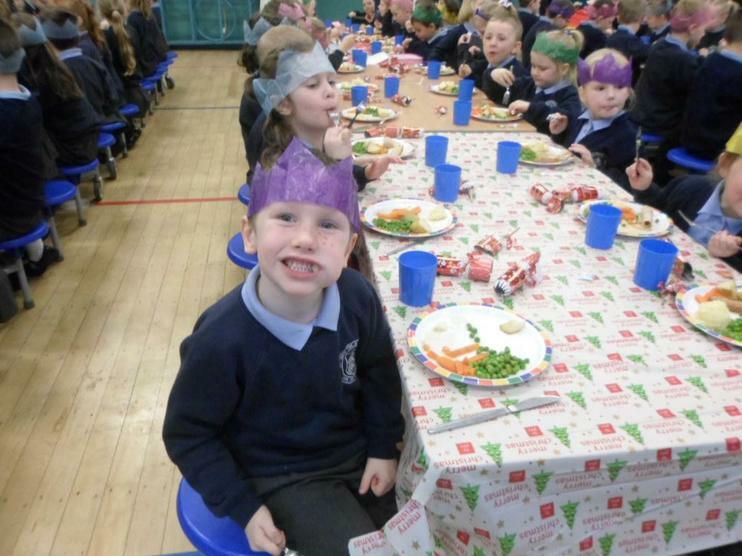 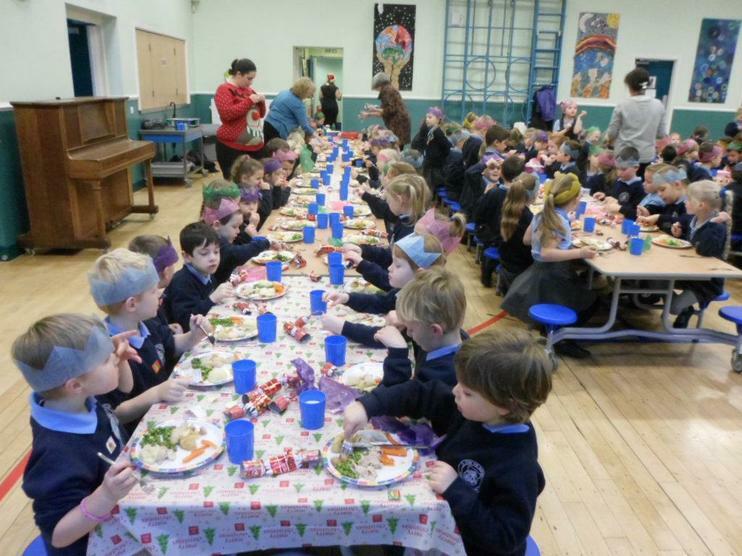 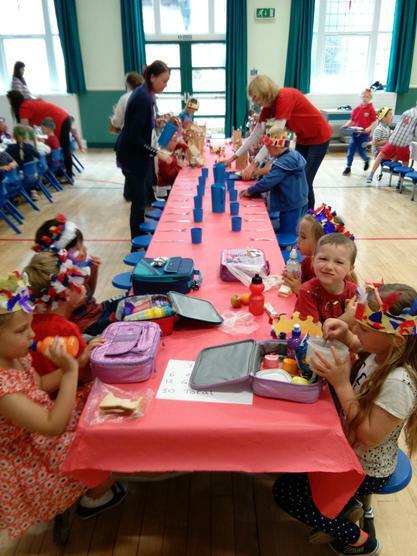 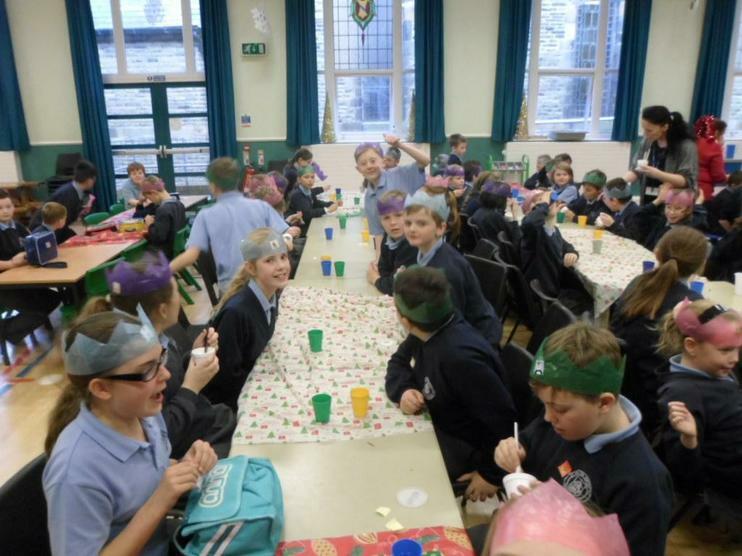 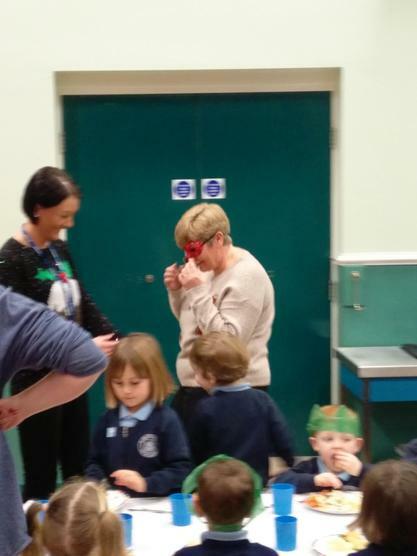 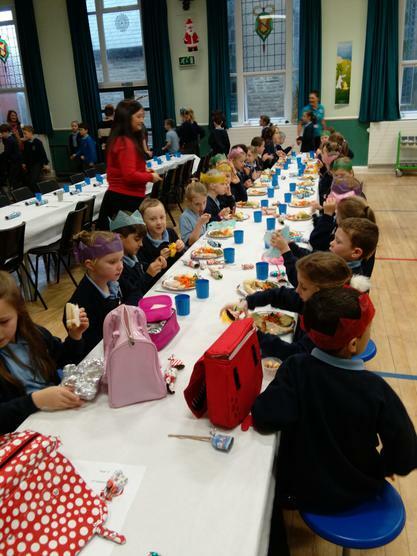 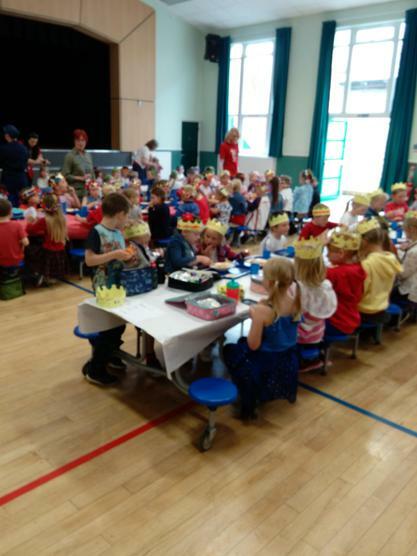 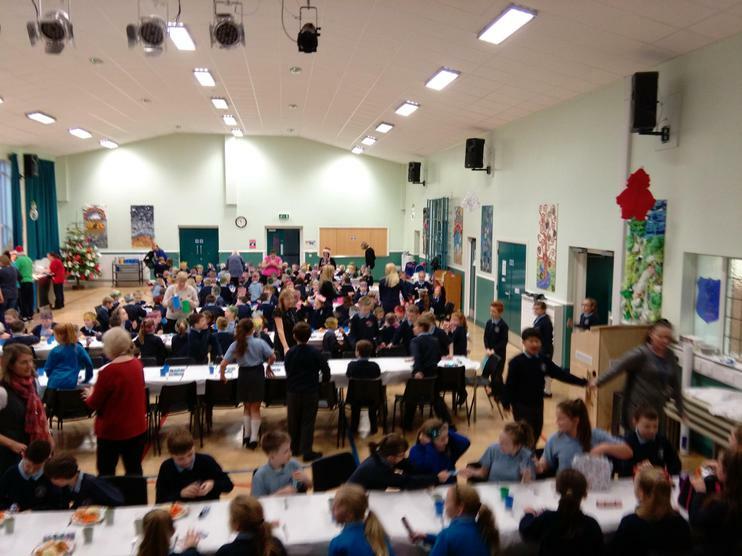 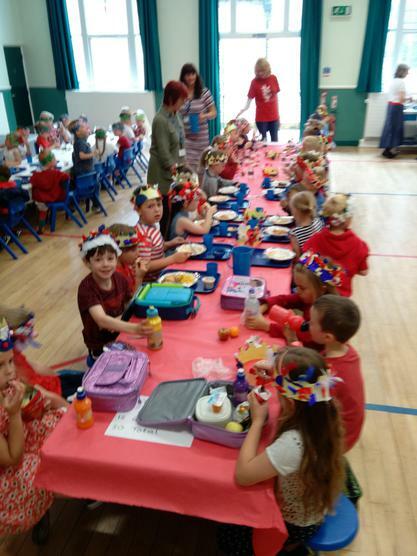 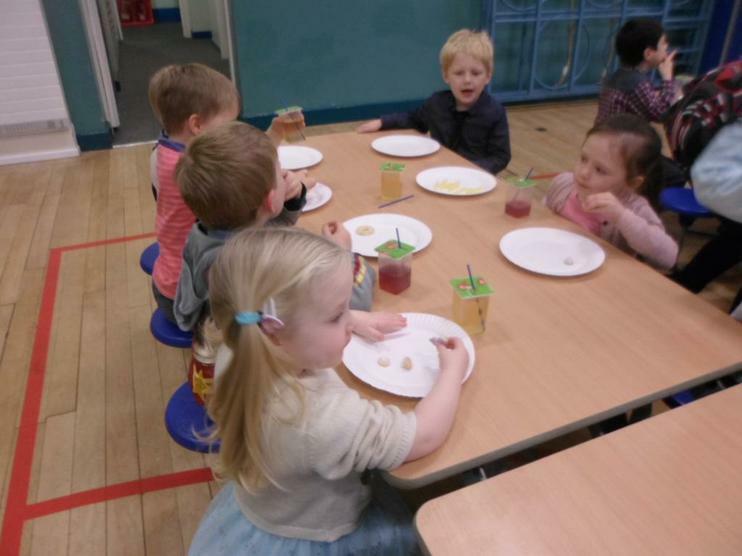 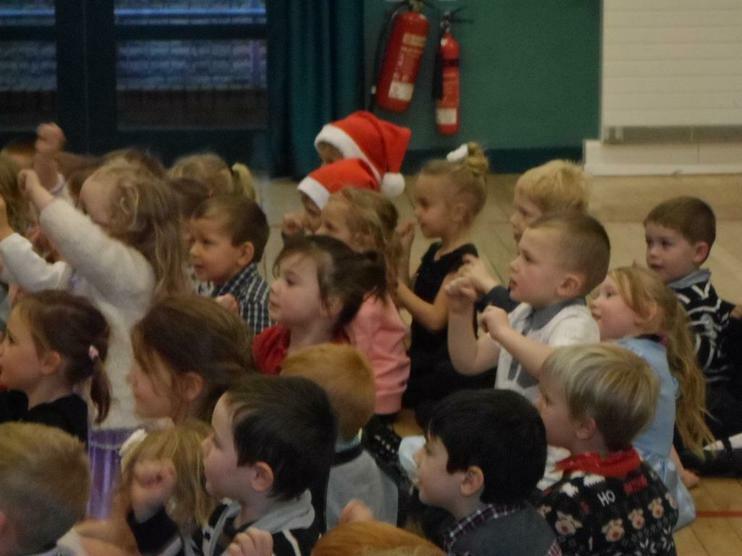 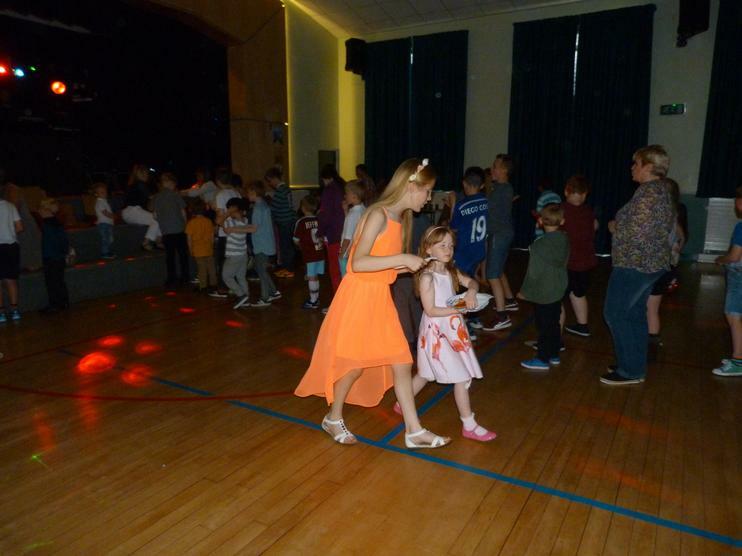 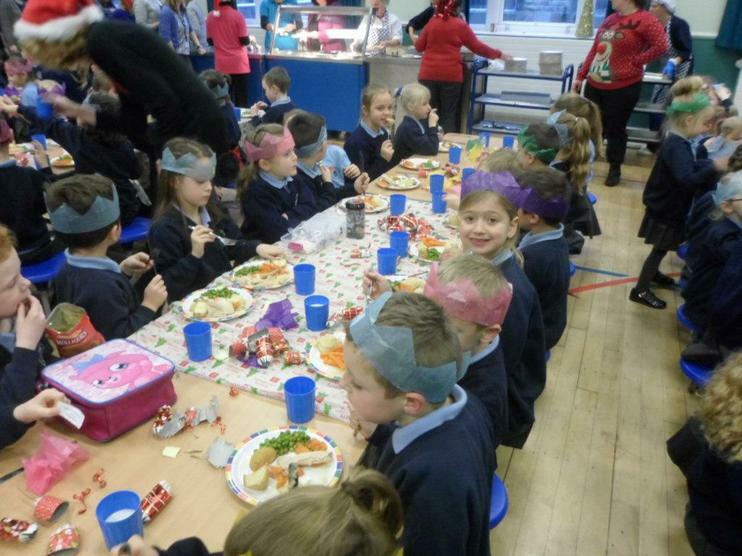 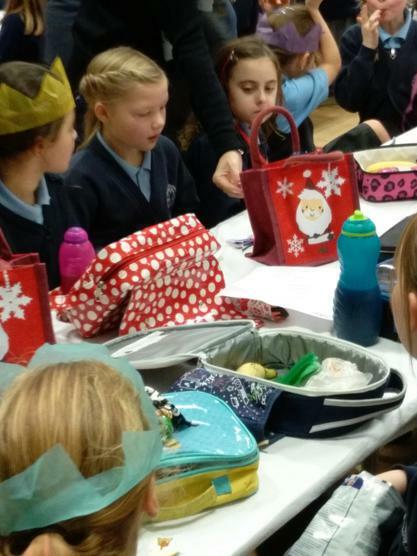 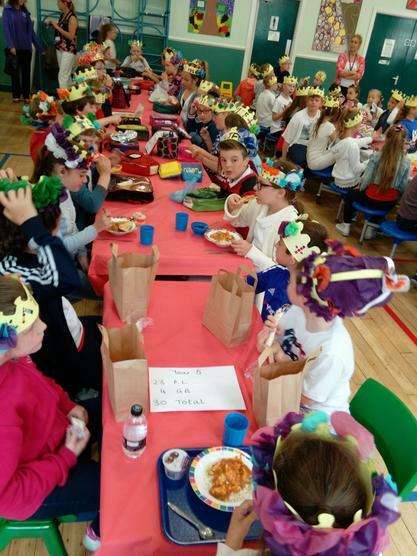 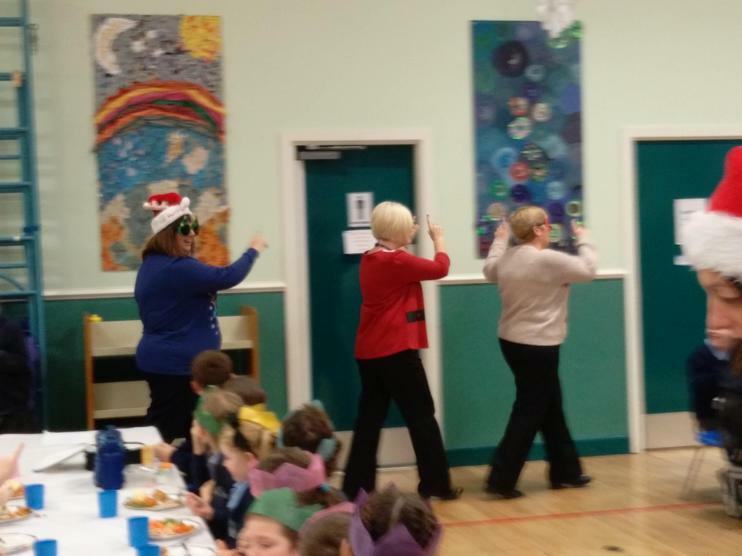 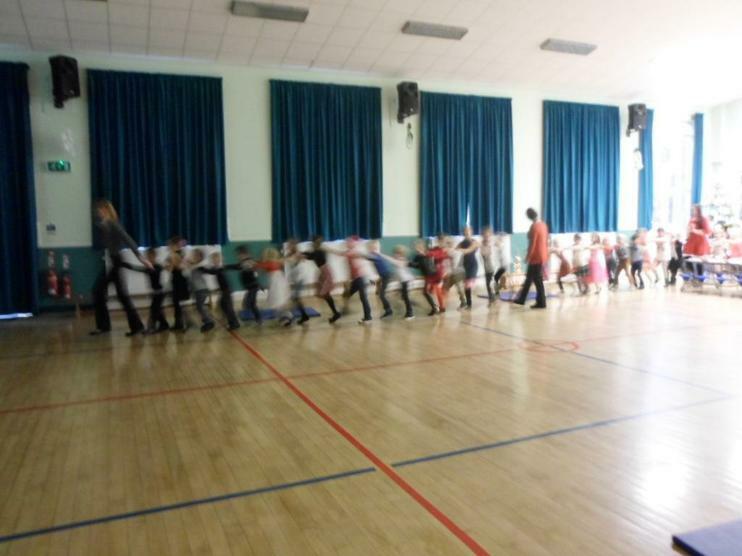 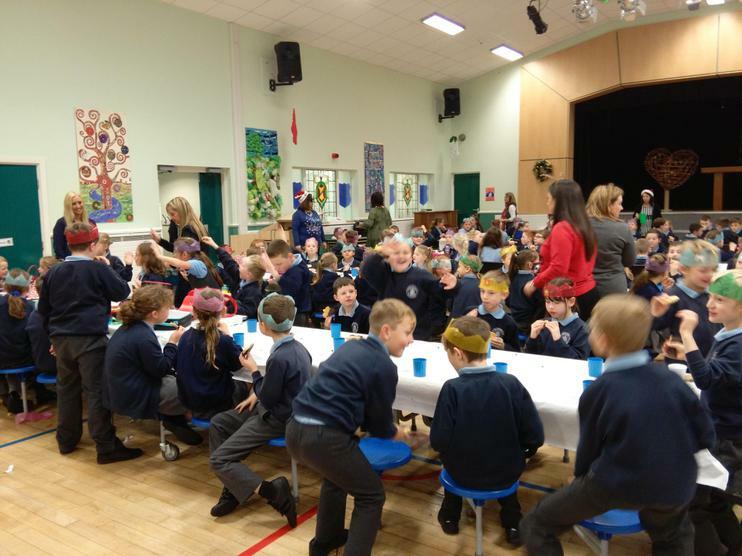 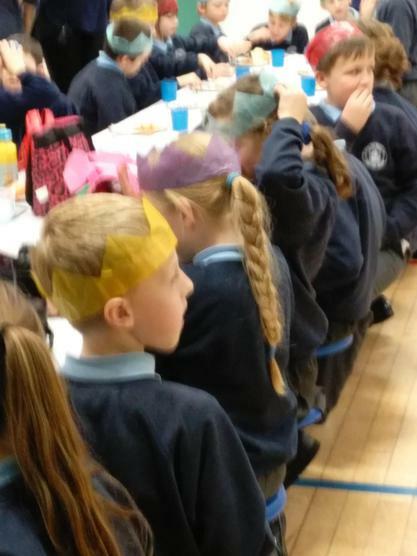 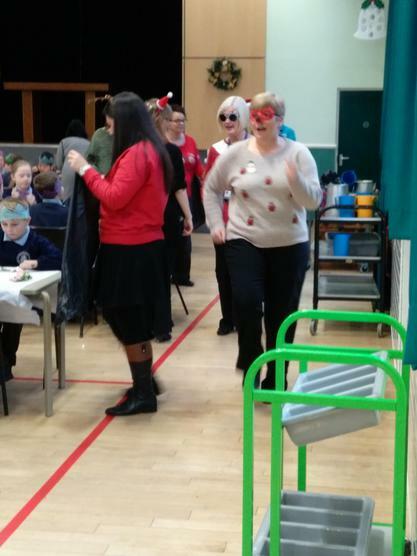 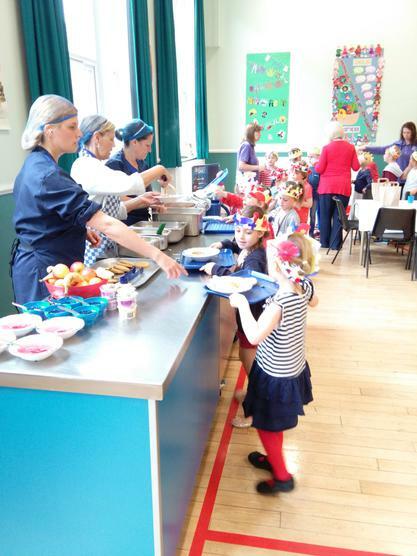 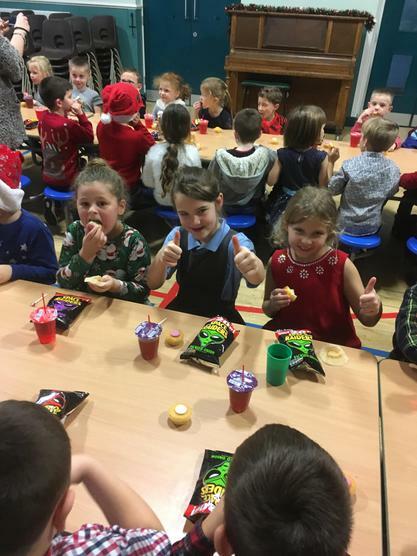 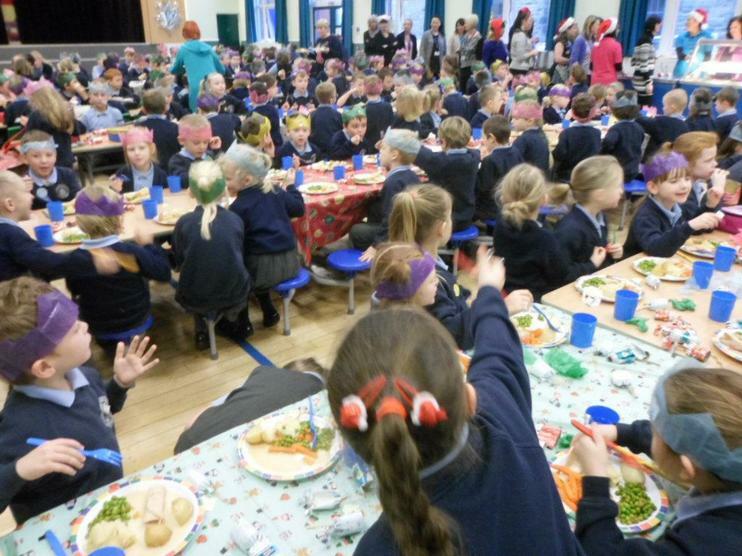 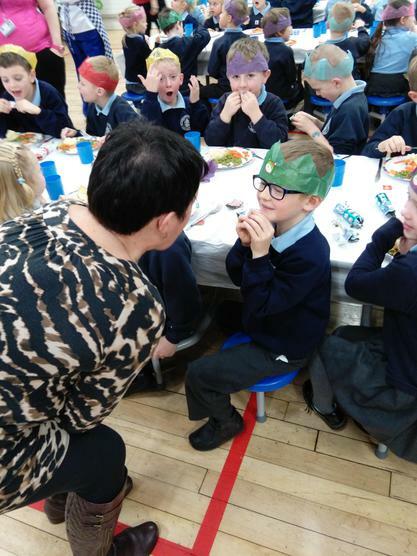 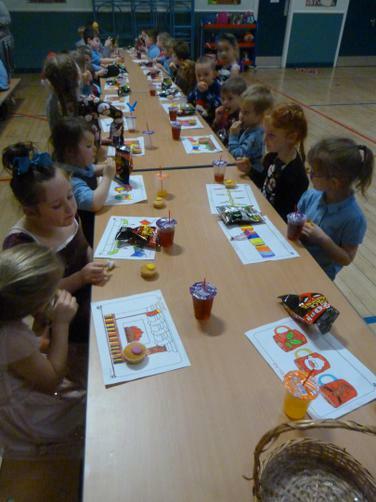 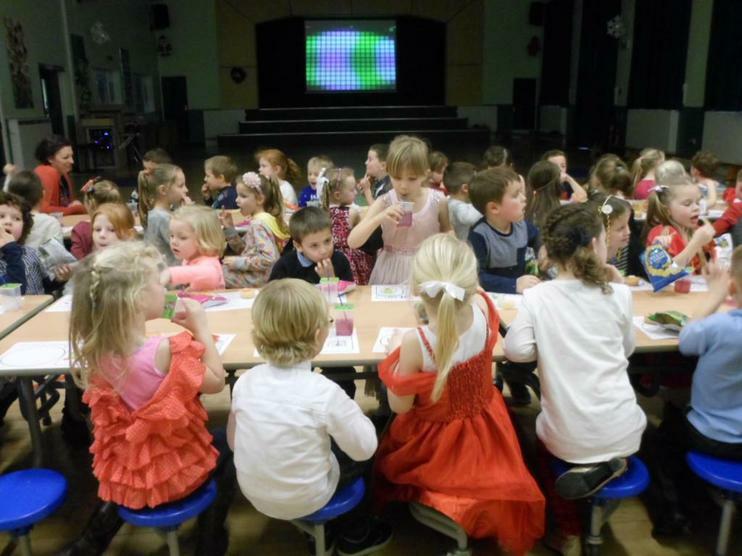 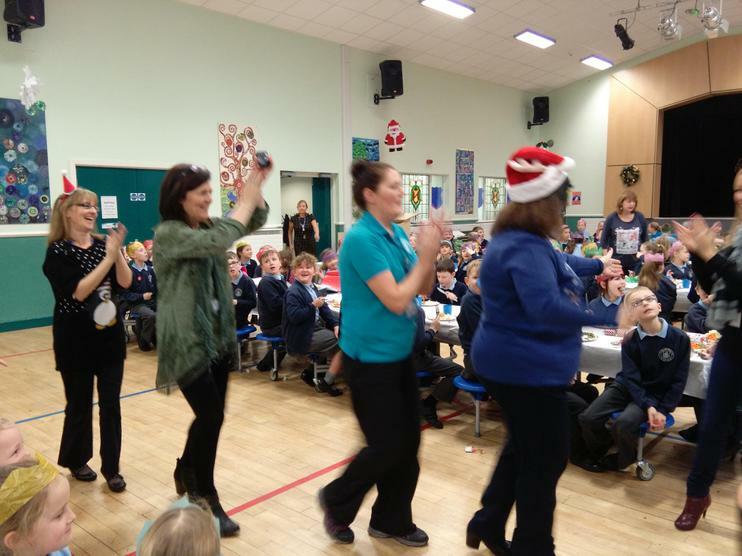 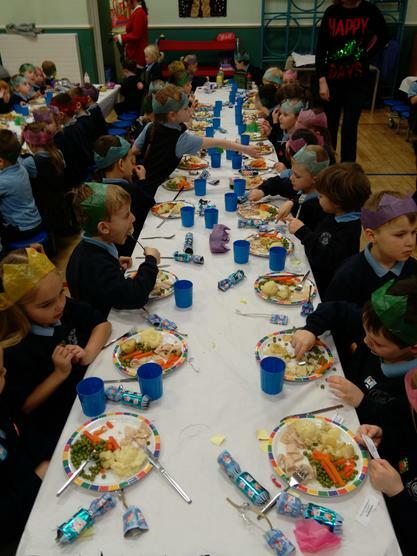 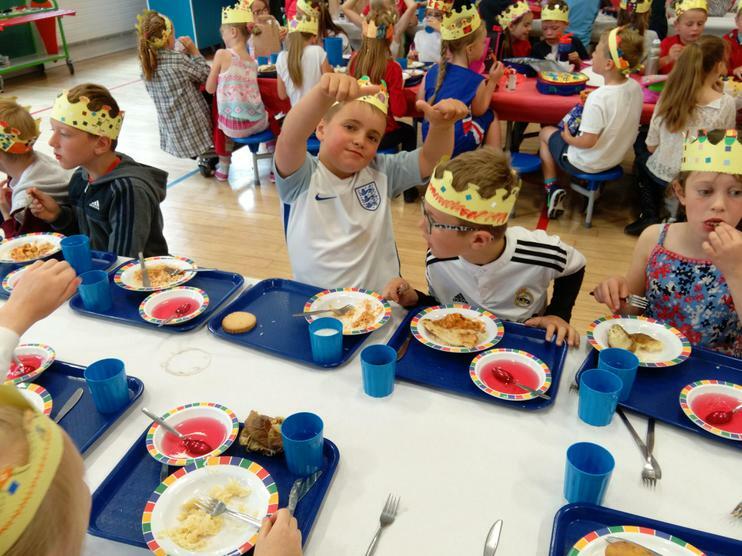 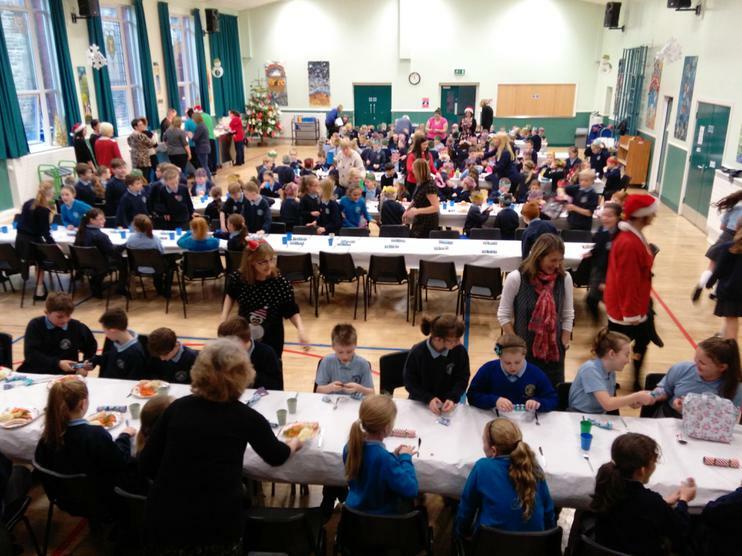 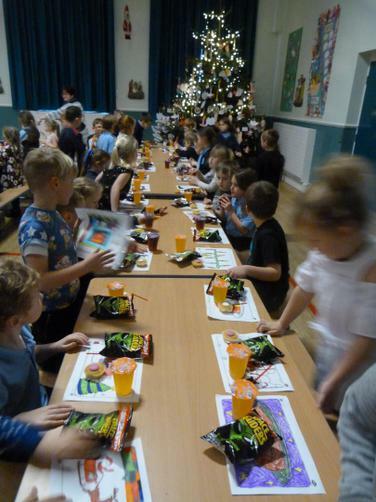 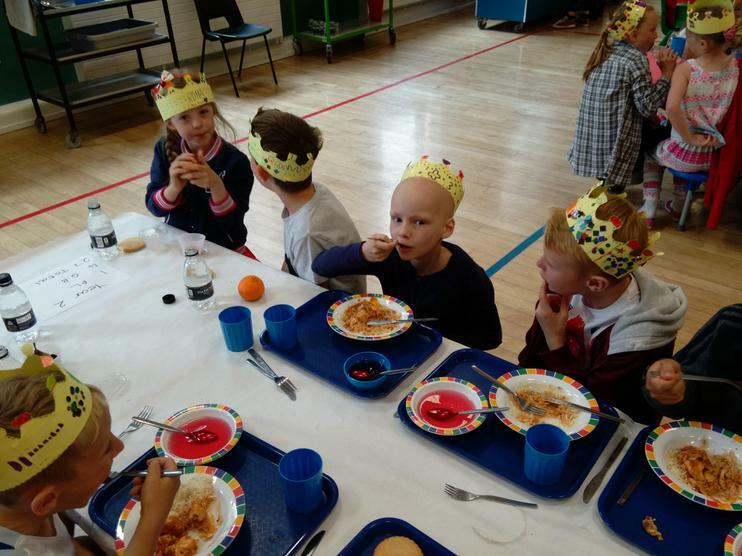 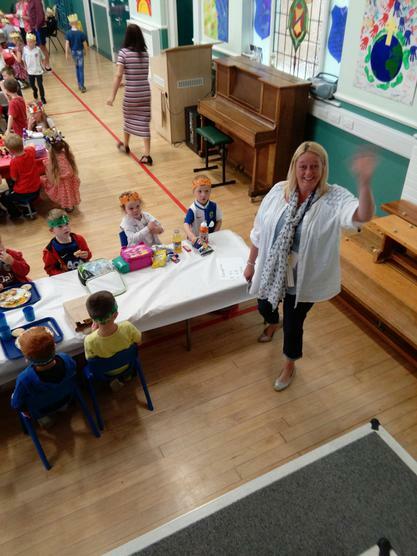 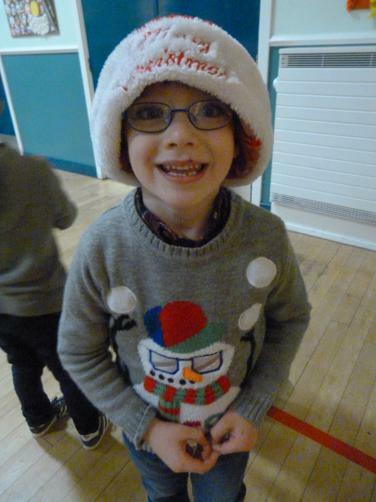 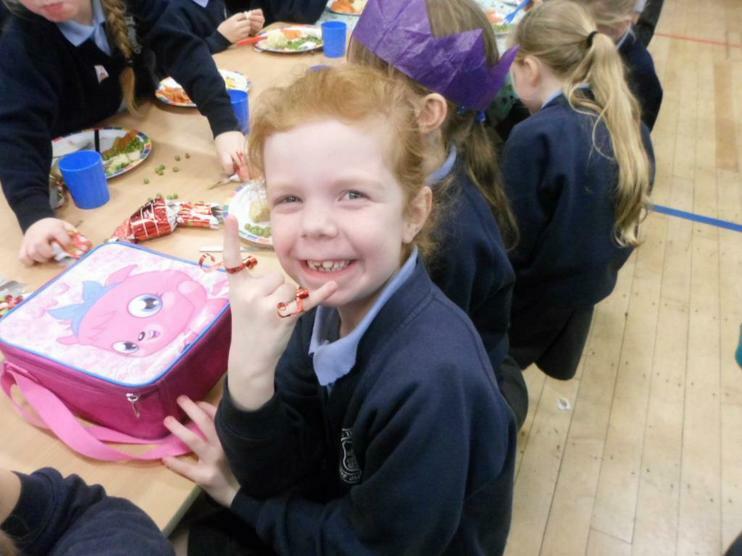 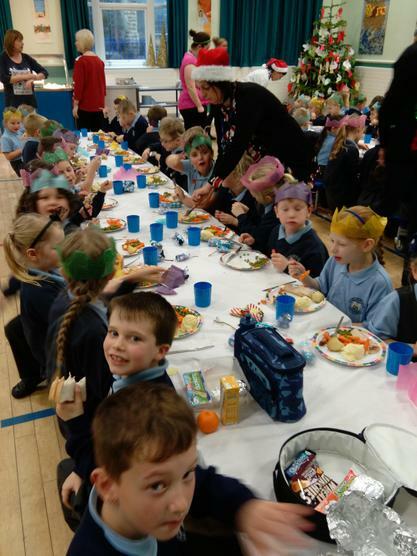 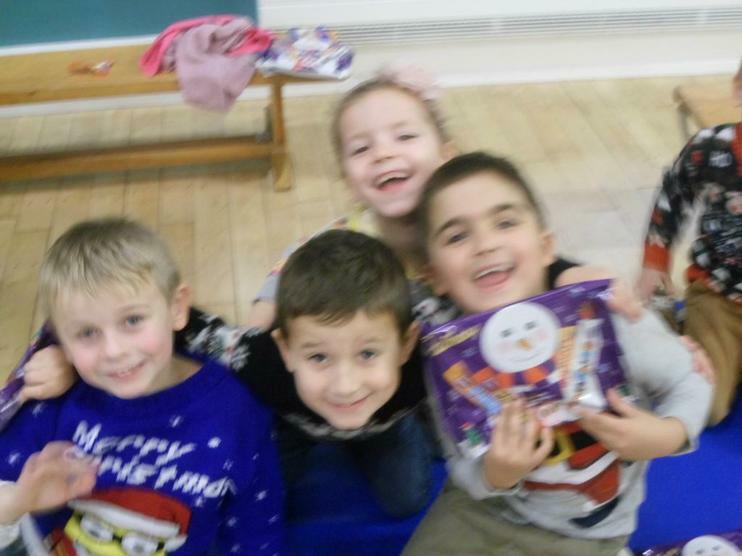 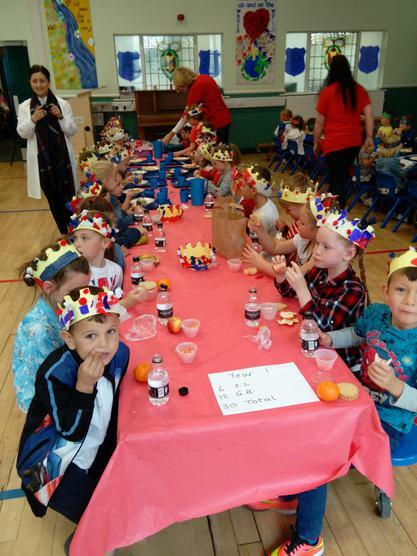 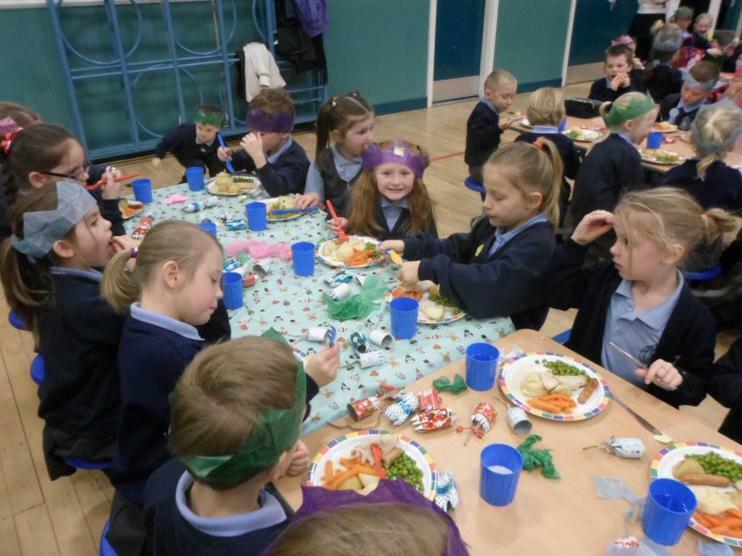 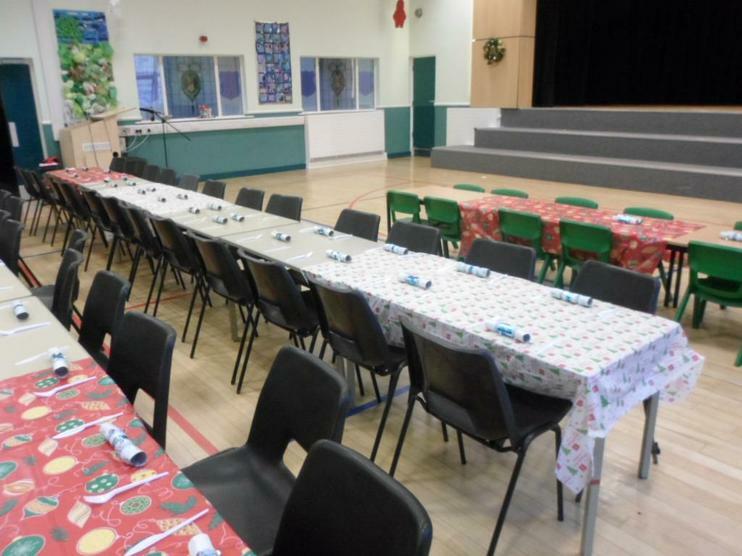 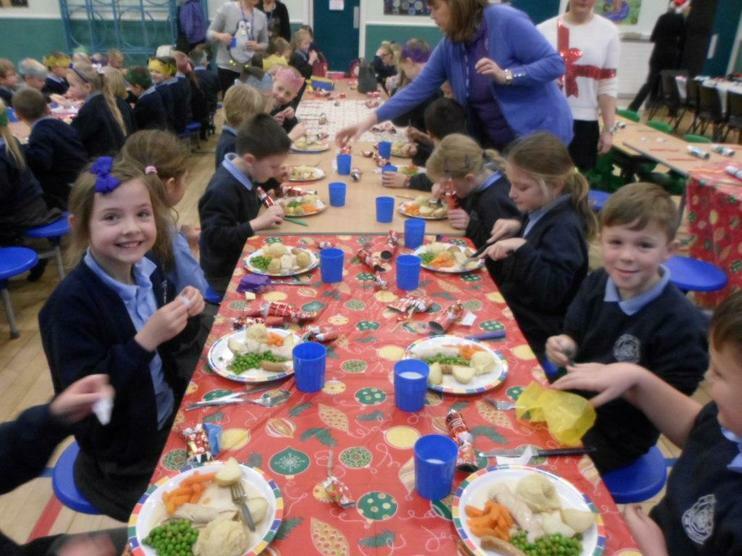 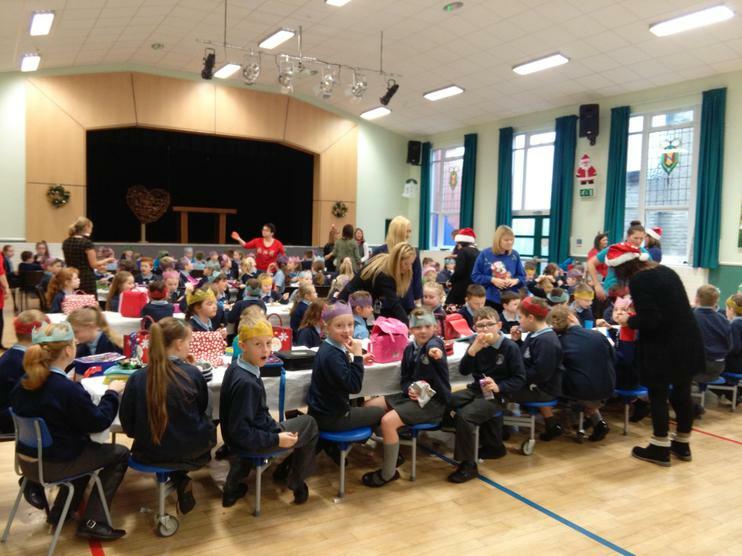 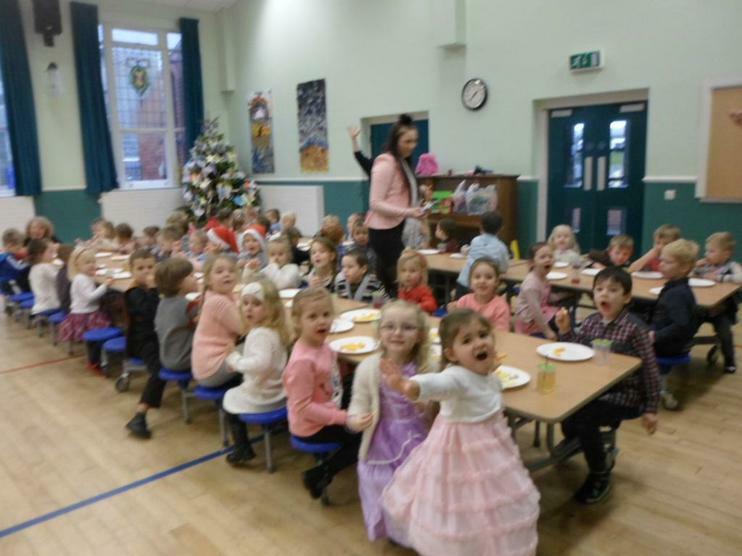 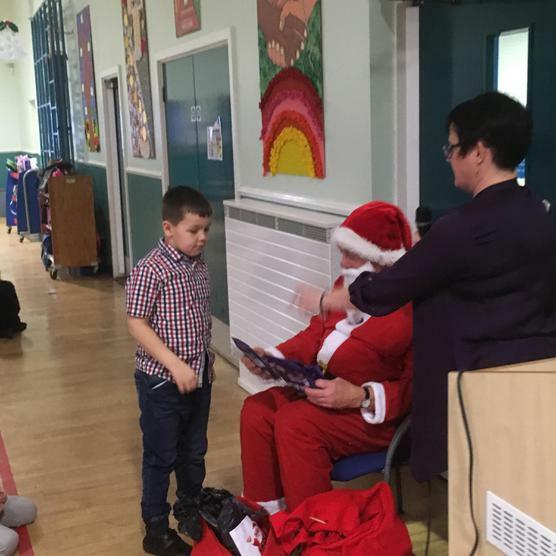 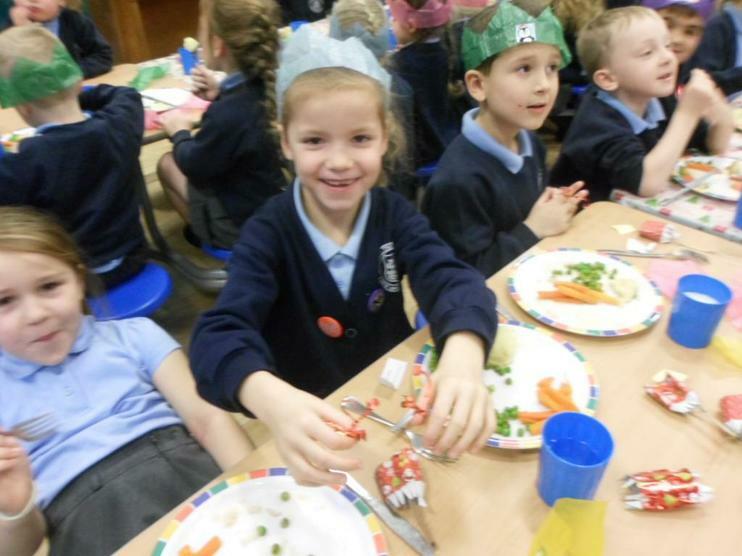 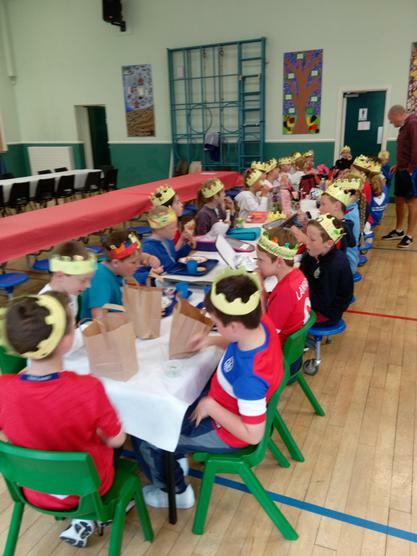 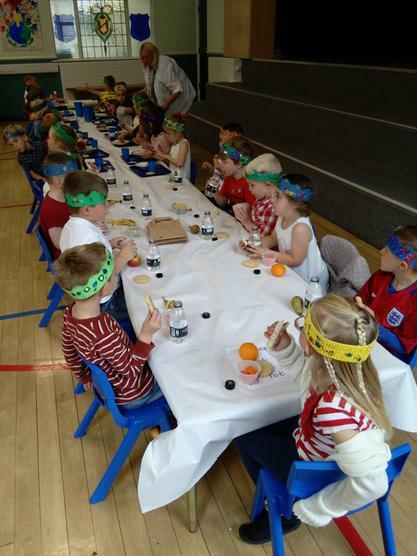 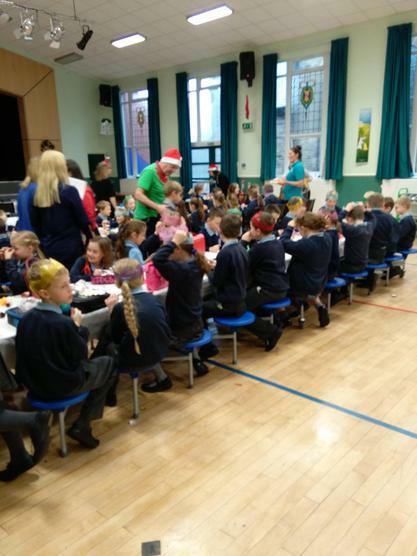 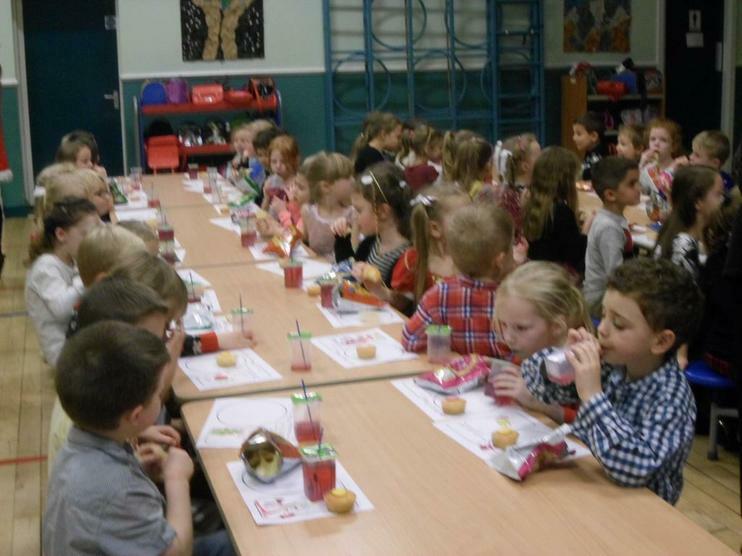 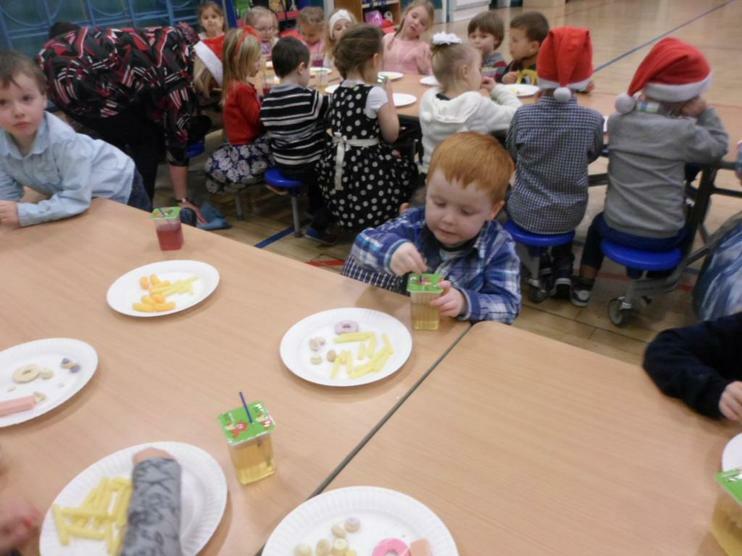 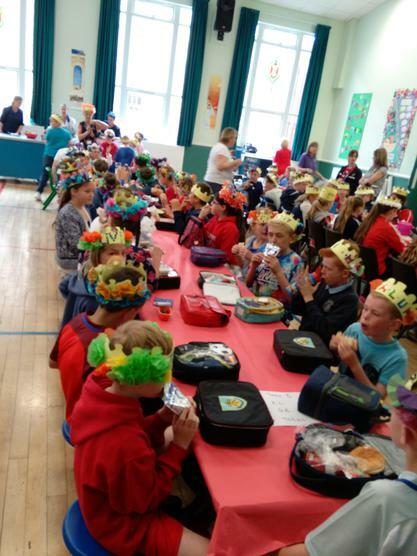 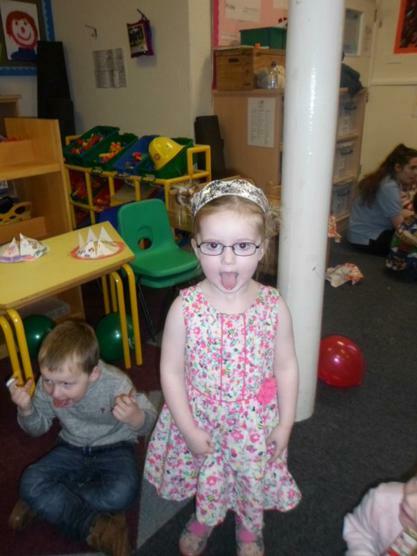 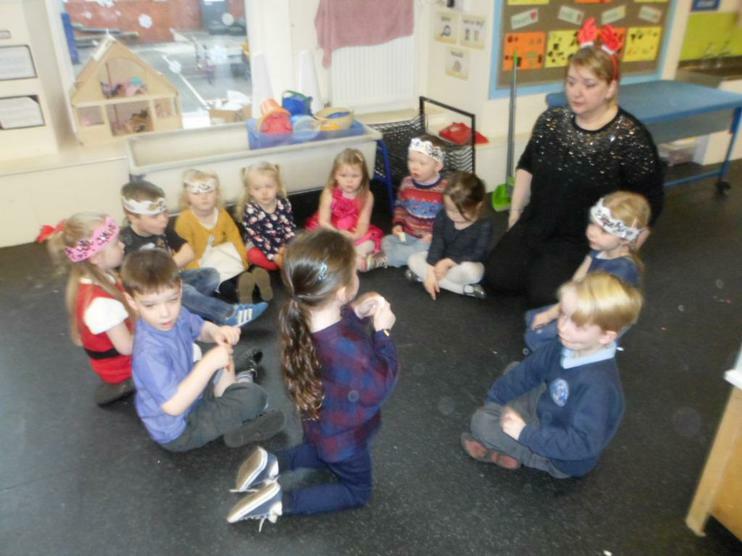 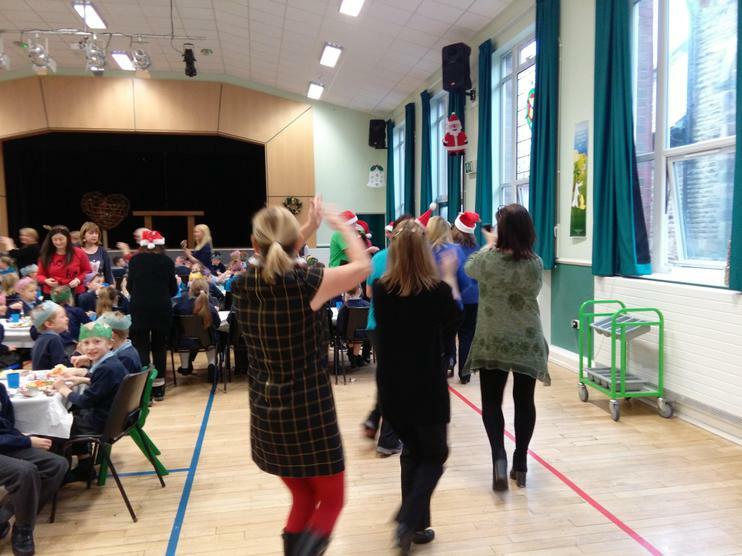 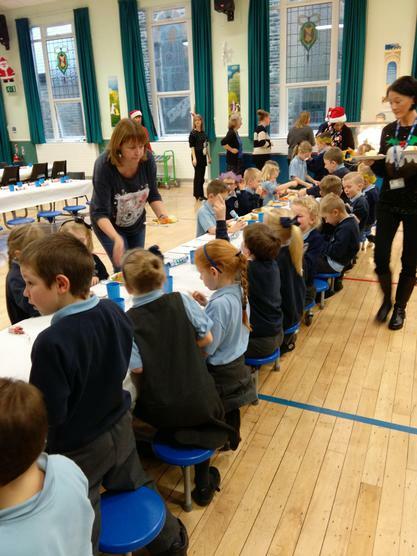 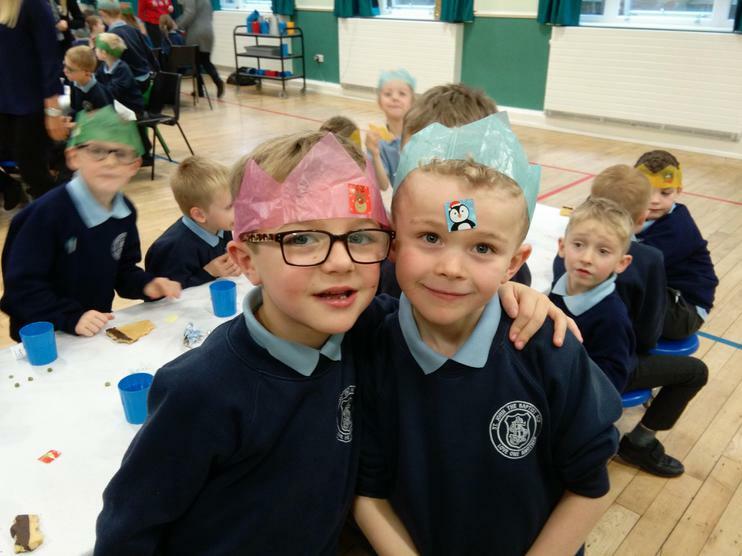 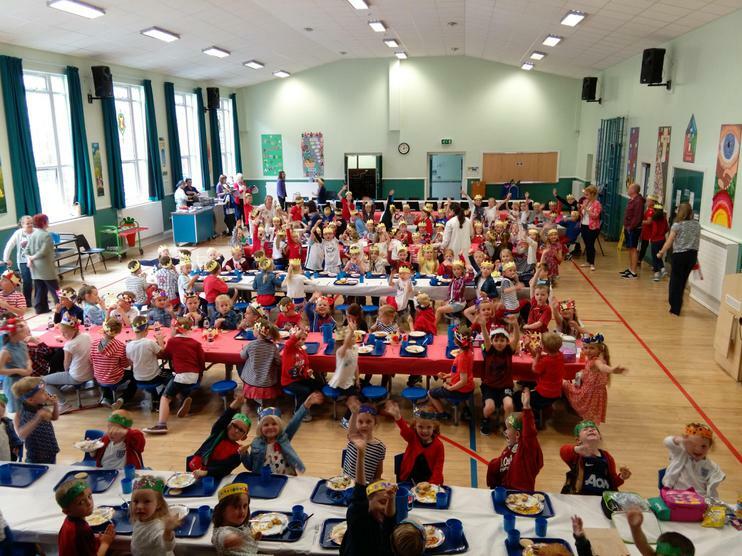 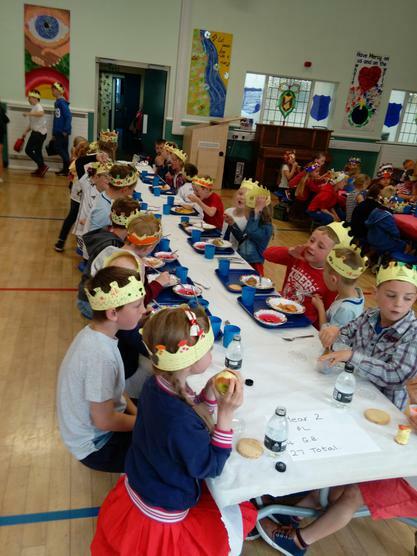 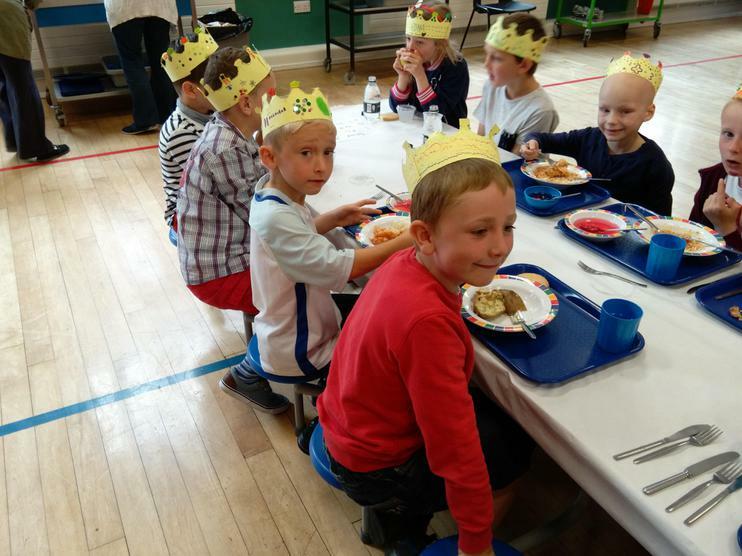 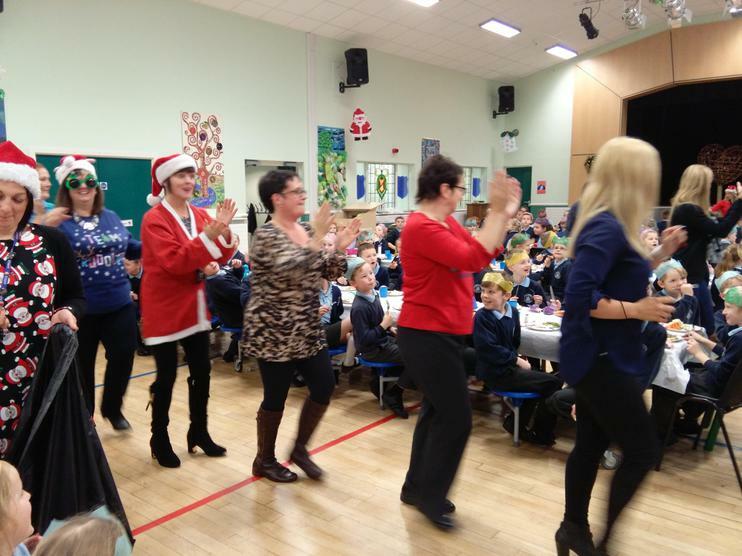 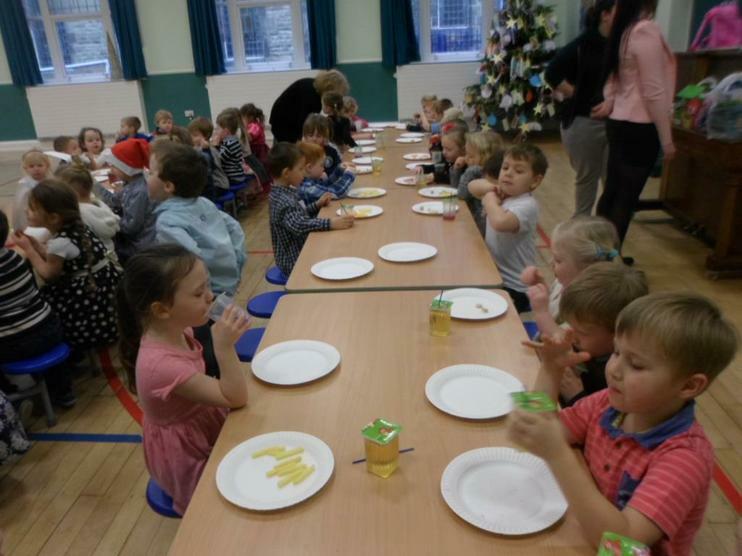 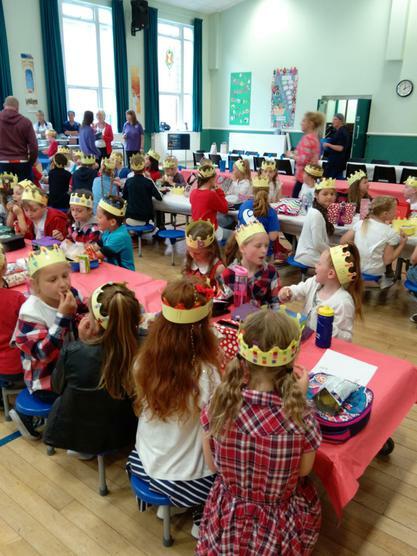 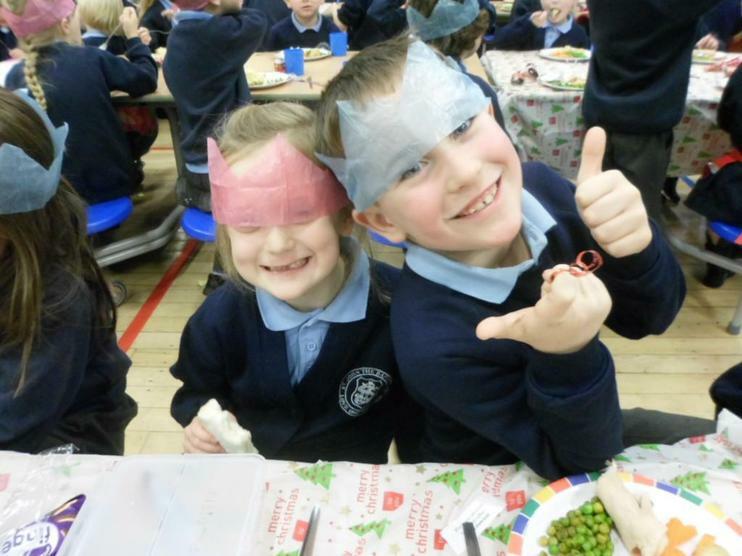 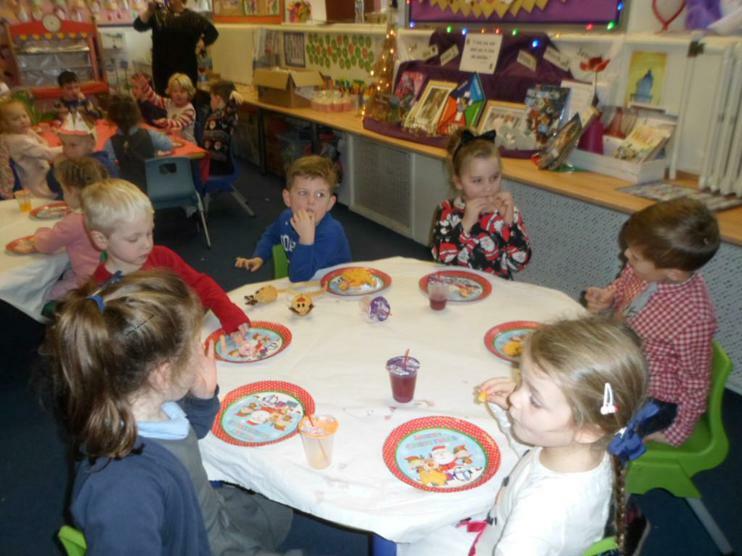 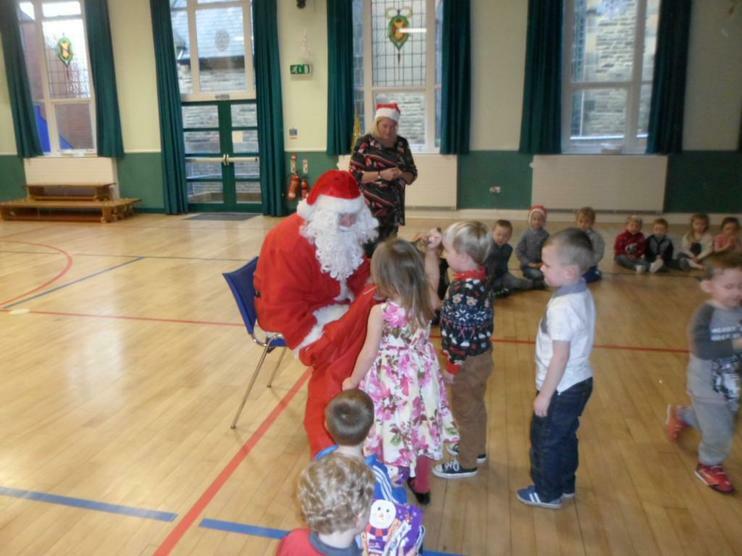 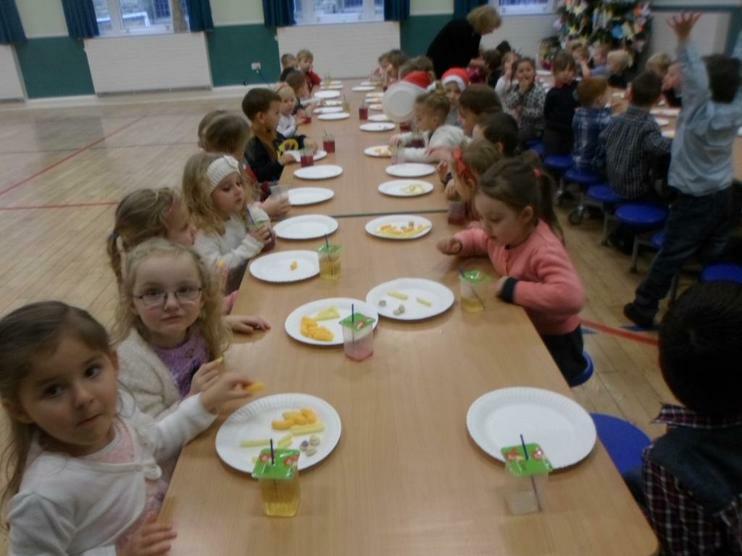 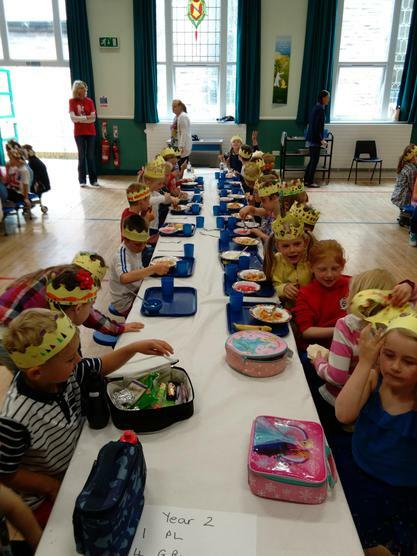 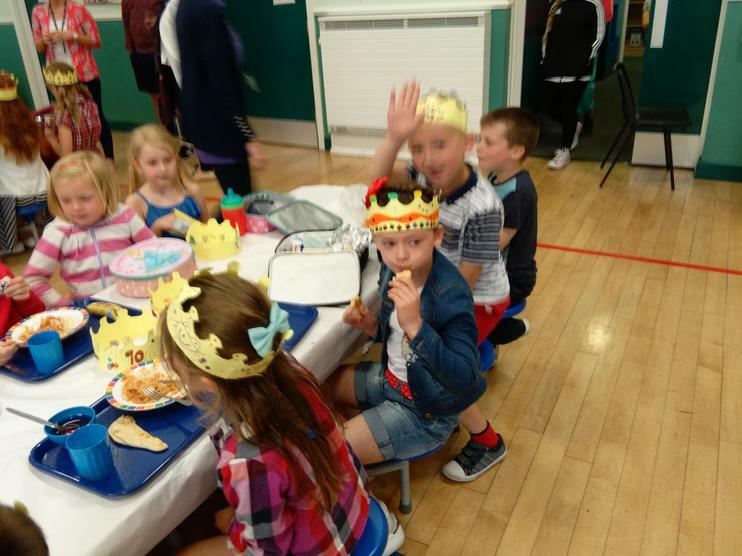 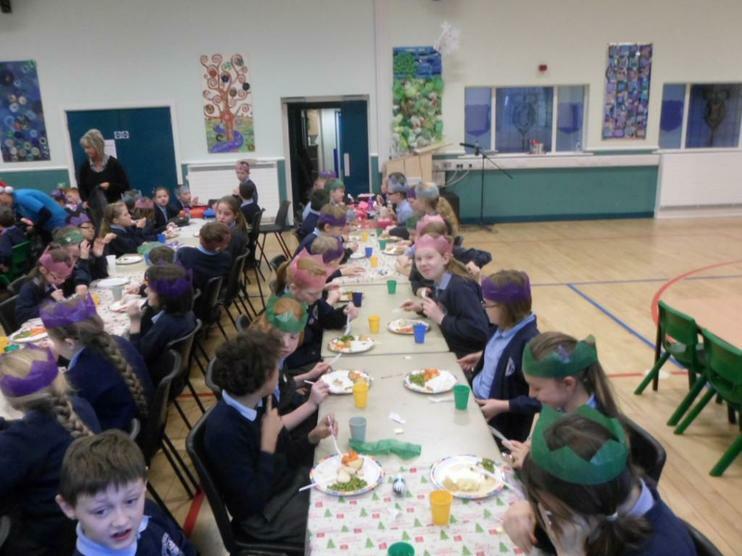 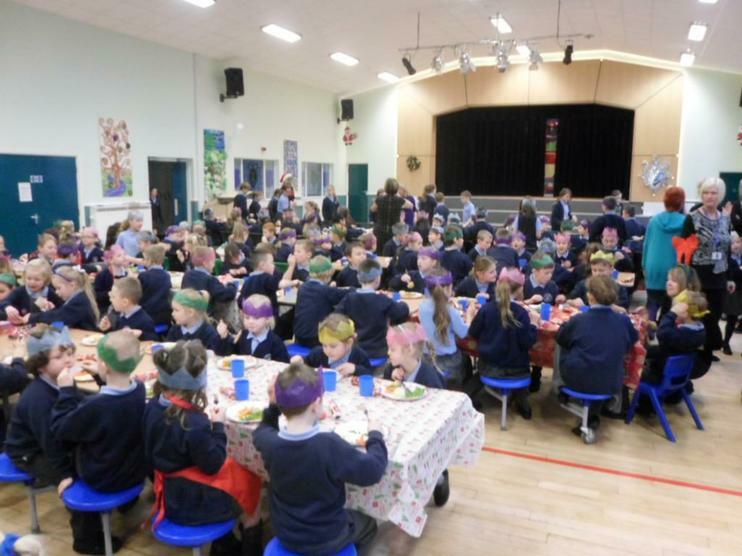 Christmas Lunch 2015 - The children all enjoyed eating some lovely food, pulling crackers and watching the staff do the conga around the hall! 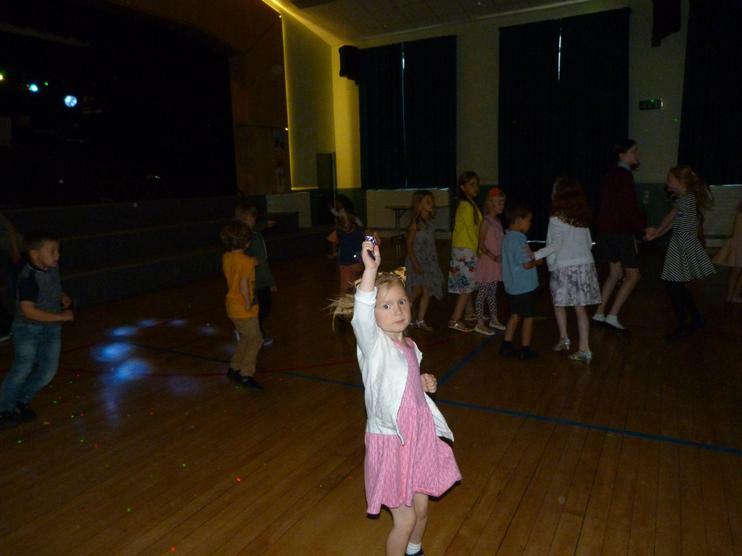 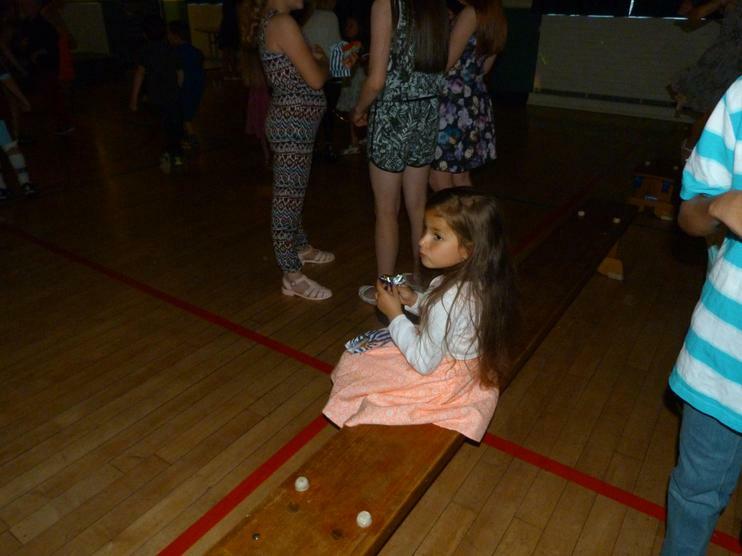 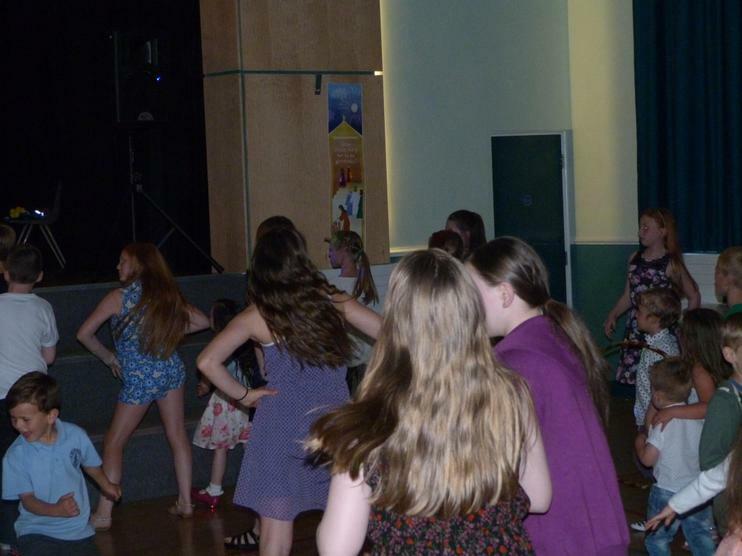 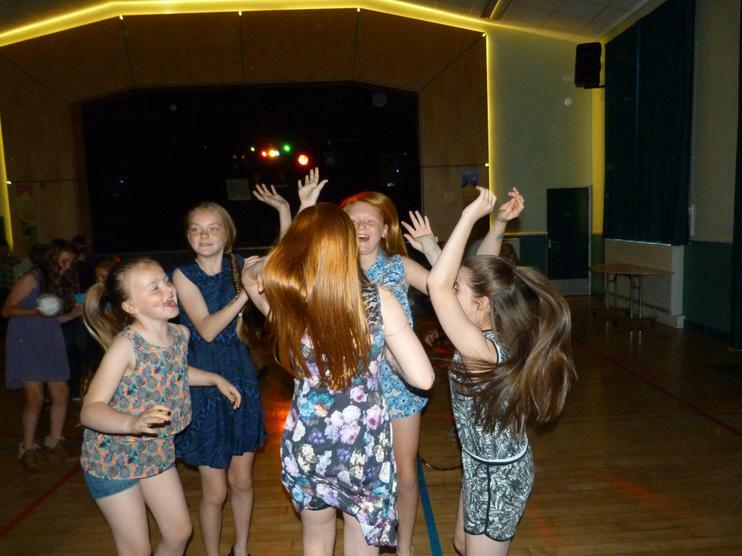 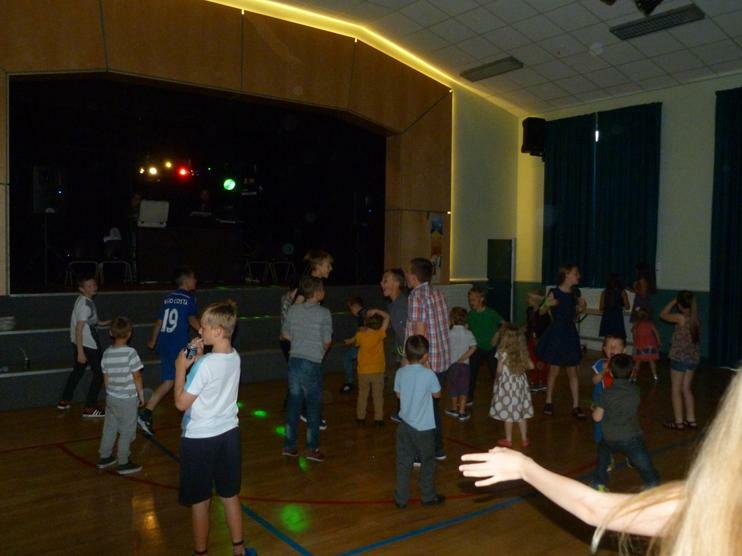 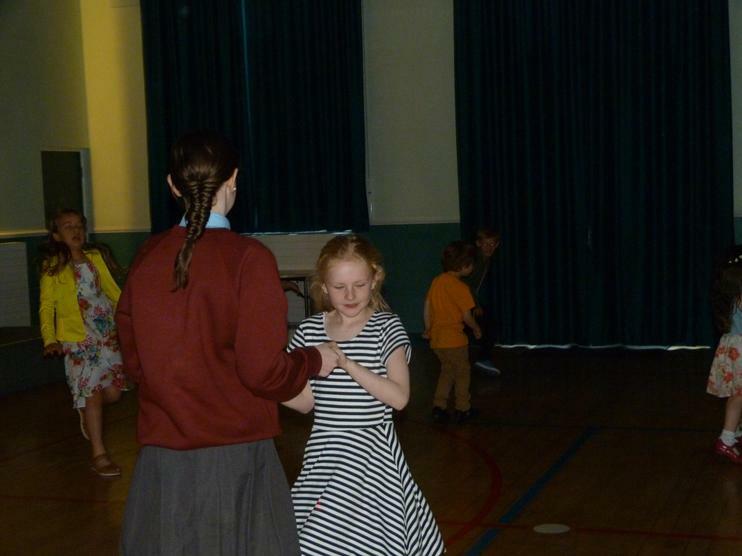 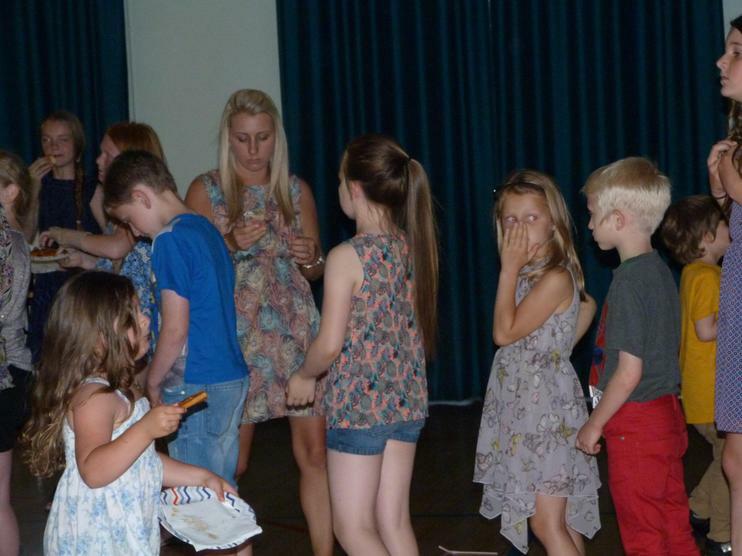 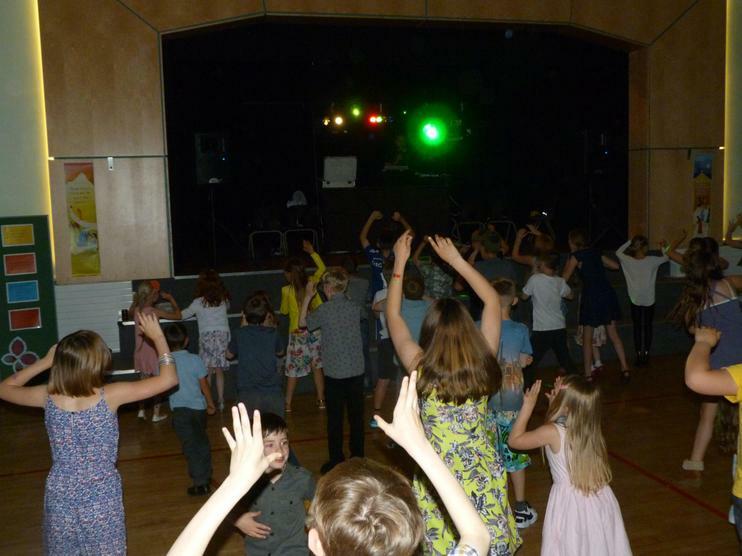 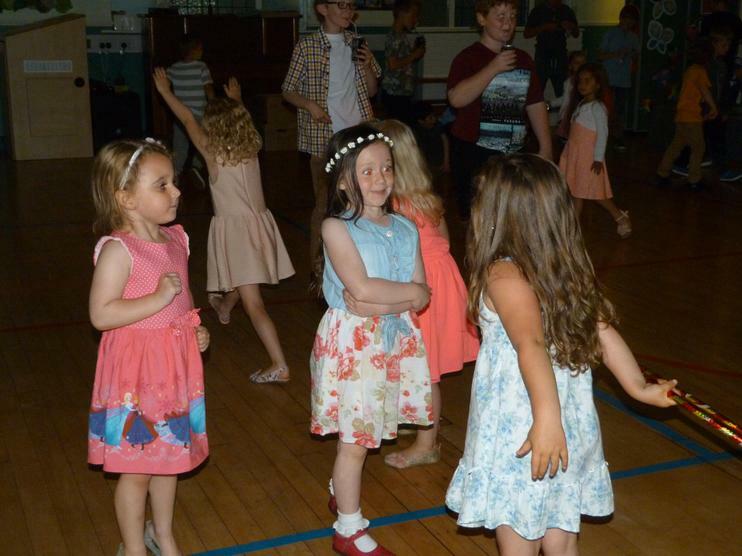 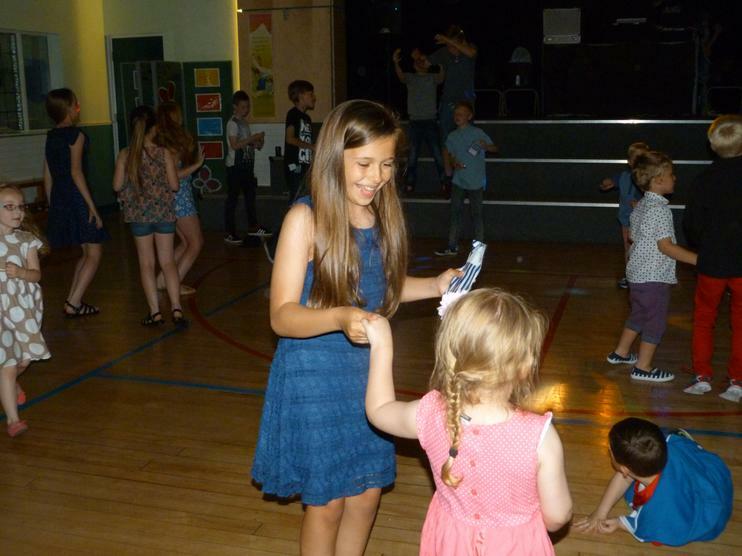 What a fantastic Leaver's Mass and Disco. 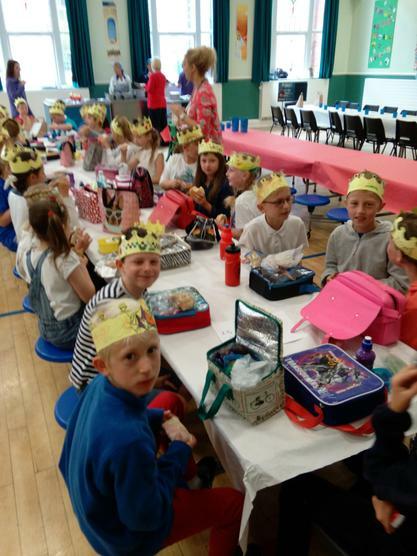 Although we are very sad to see our Year 6 children leave us, we also celebrate their journey with us at St. John's School. 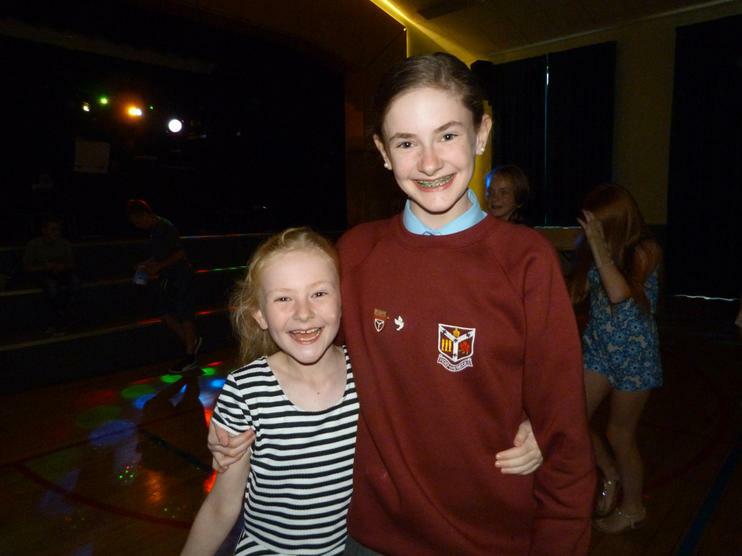 We are very proud to have been part of their lives and wish them all the best for the journey at High School. 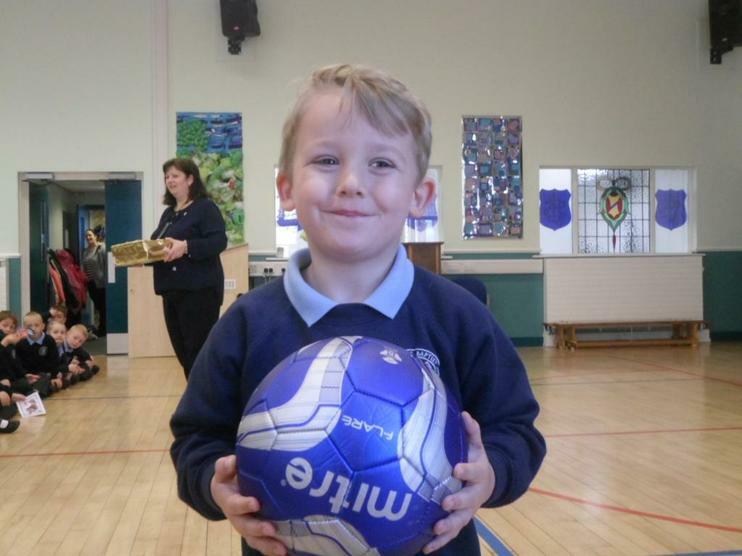 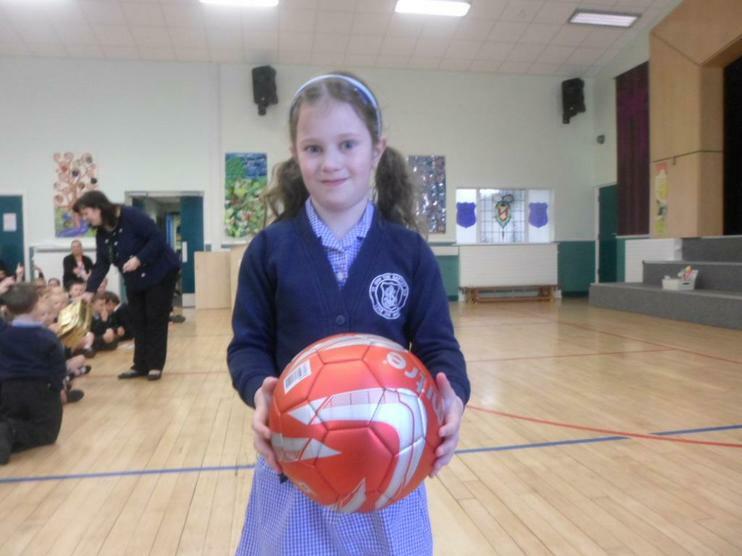 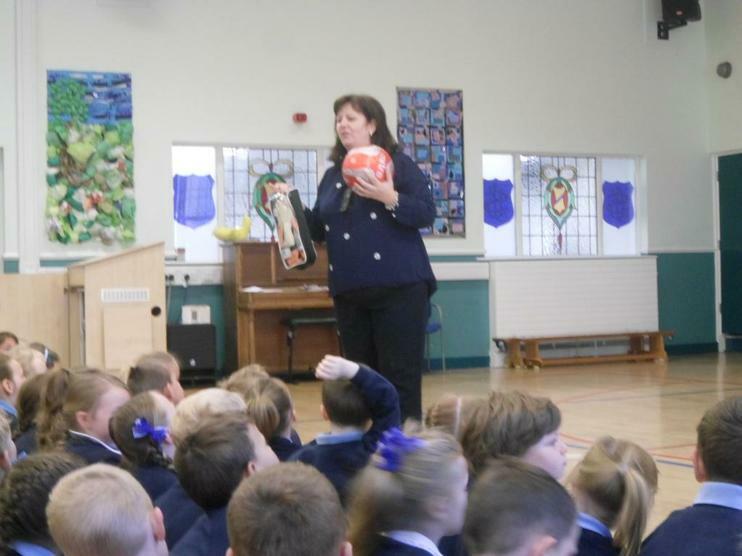 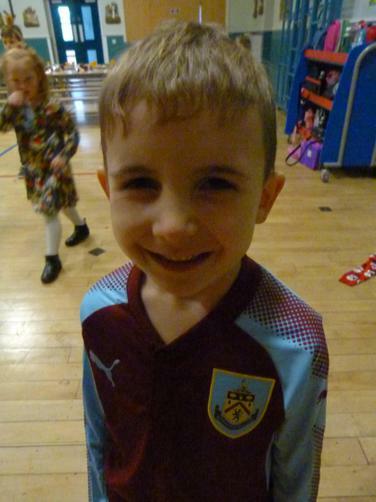 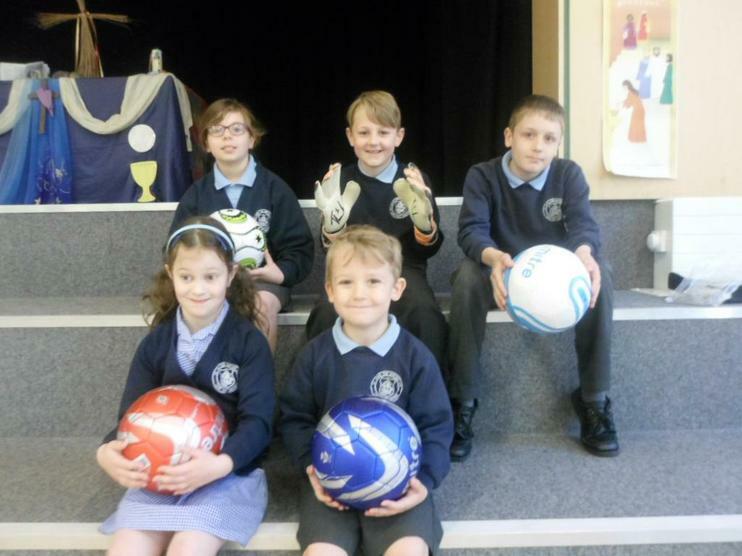 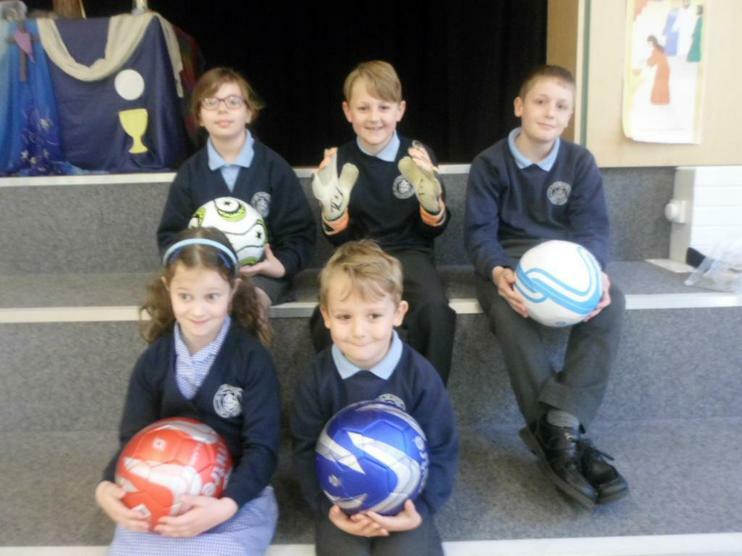 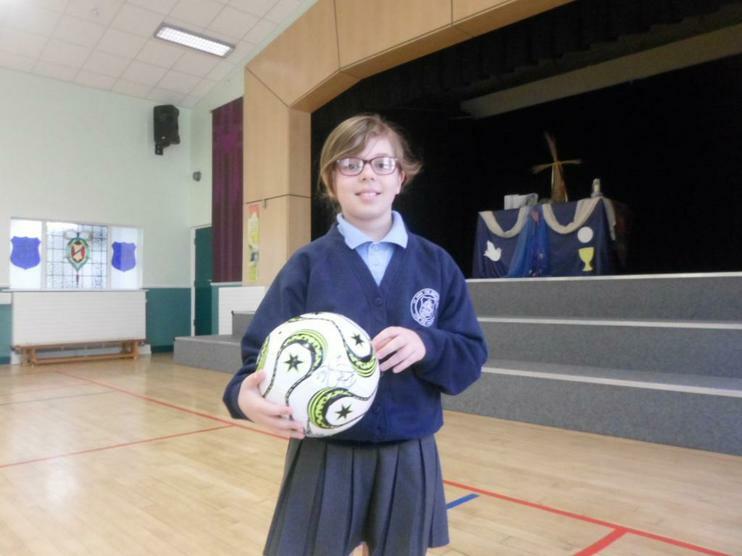 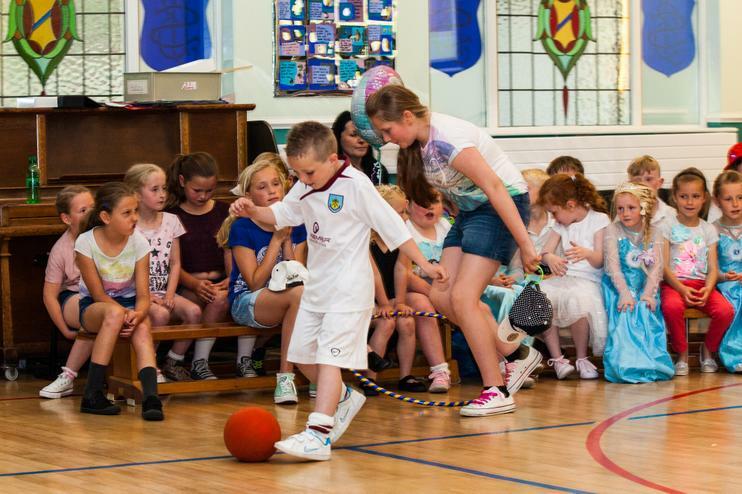 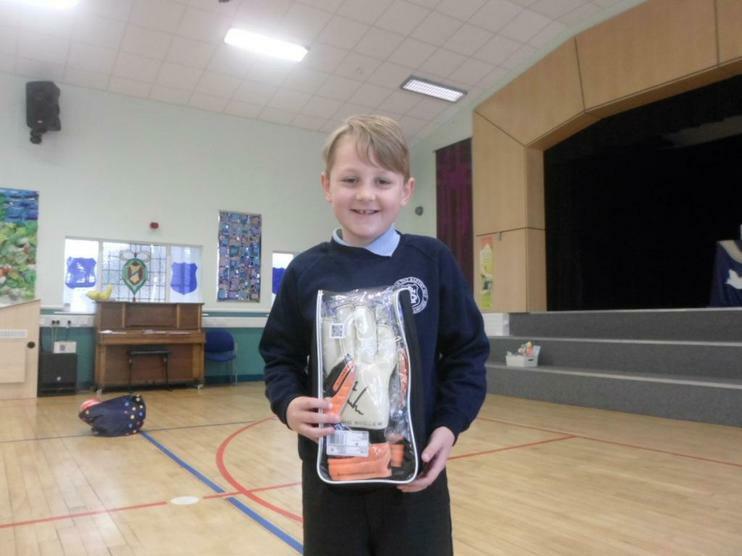 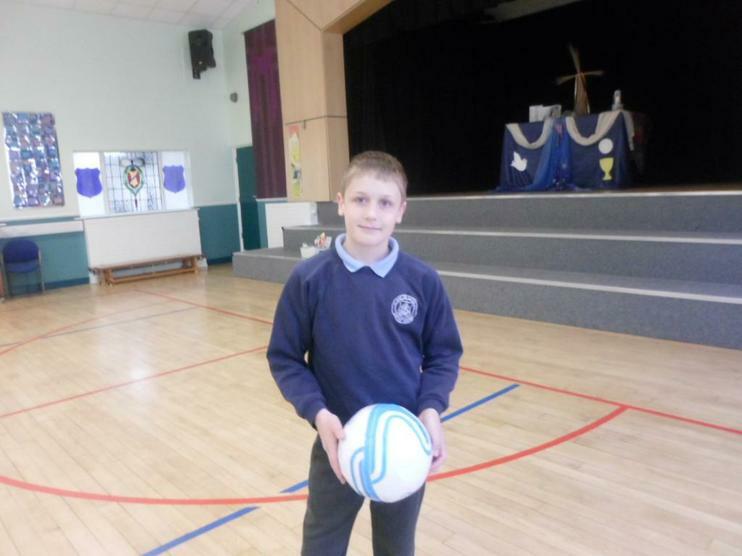 Congratulations to the children who won our special BFC signed football and gloves raffle. 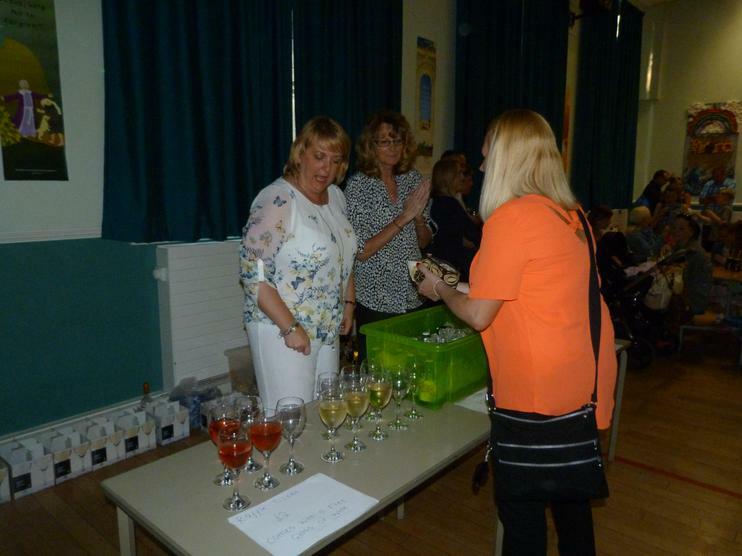 Thank you to everyone who bought tickets. 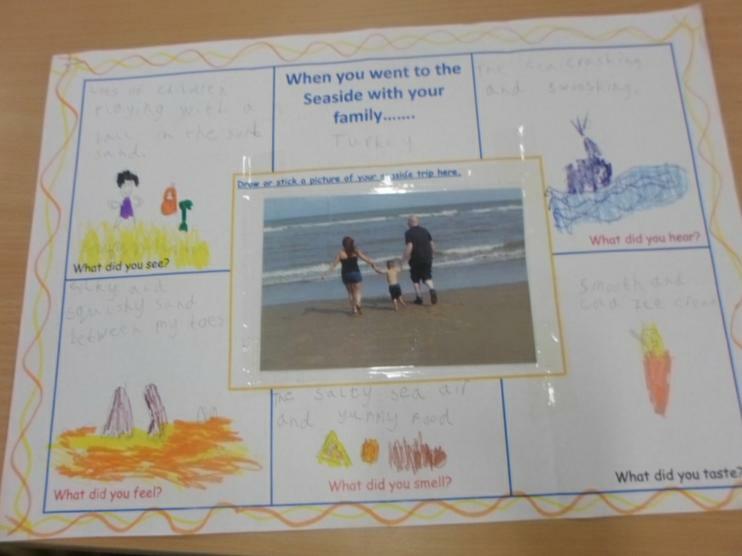 Mrs Barker sent home some additional homework to the children in Year 1 and Year 2 to be entered into a seaside writing competition. 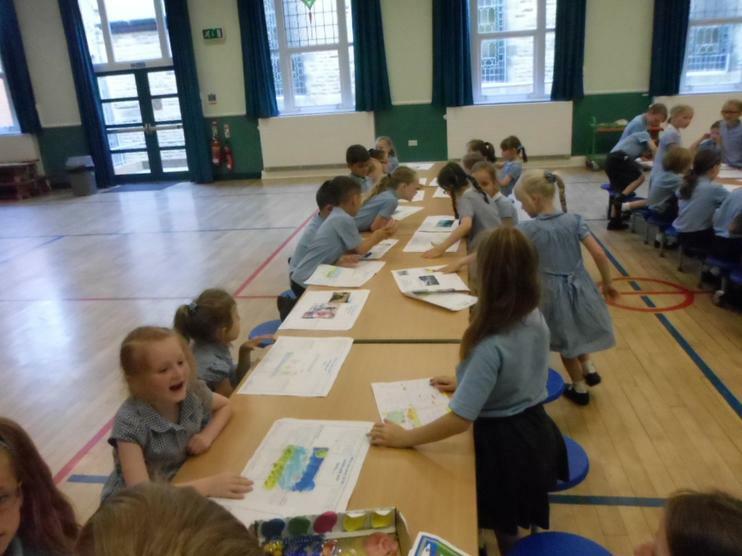 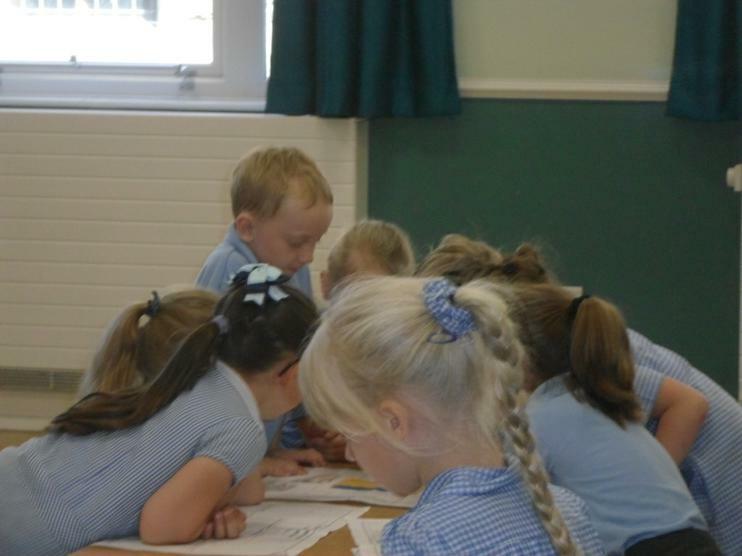 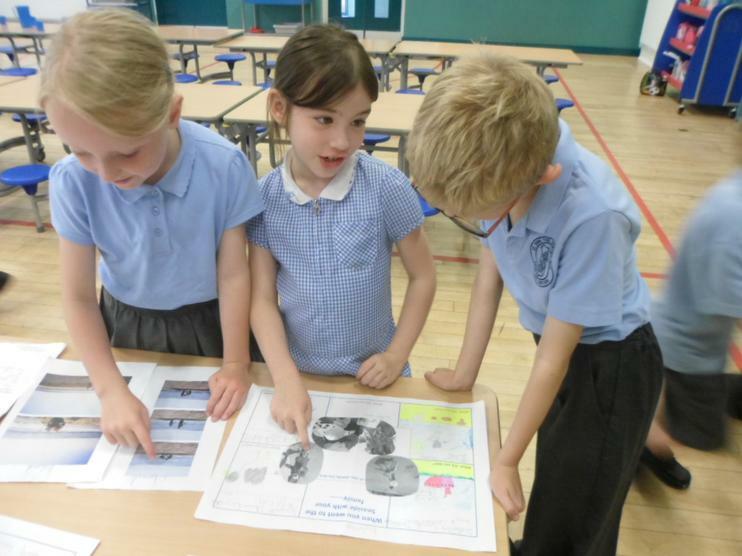 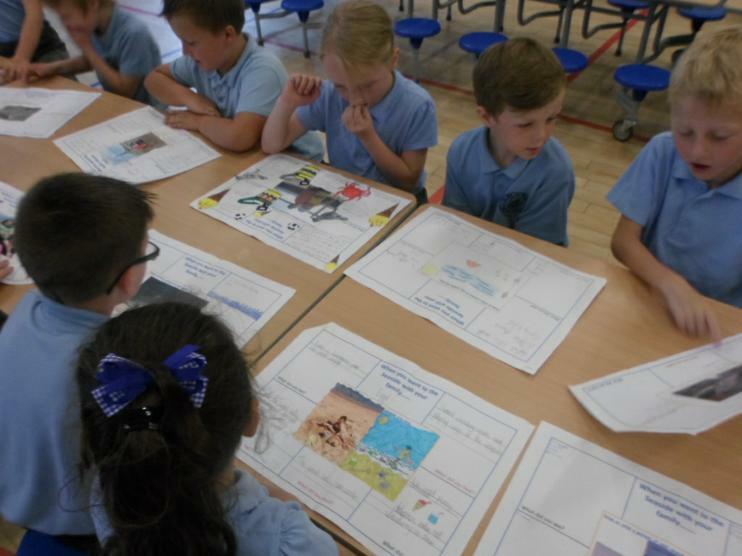 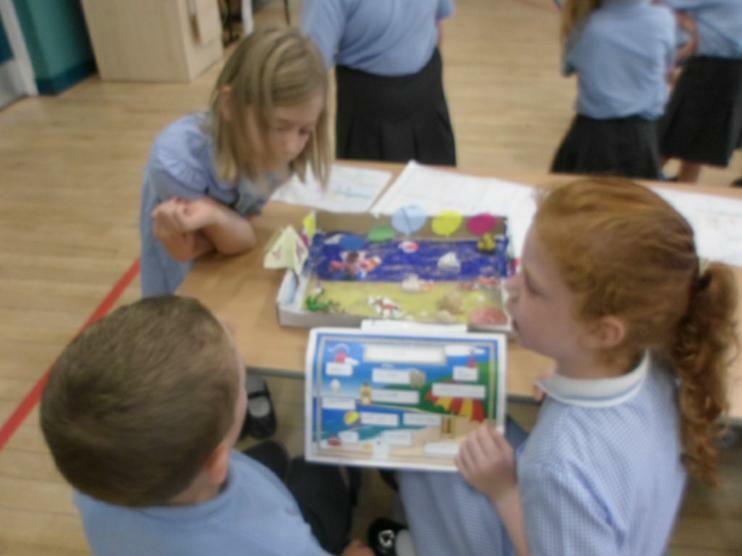 This morning, all the children got together to exhibit their work to each other. 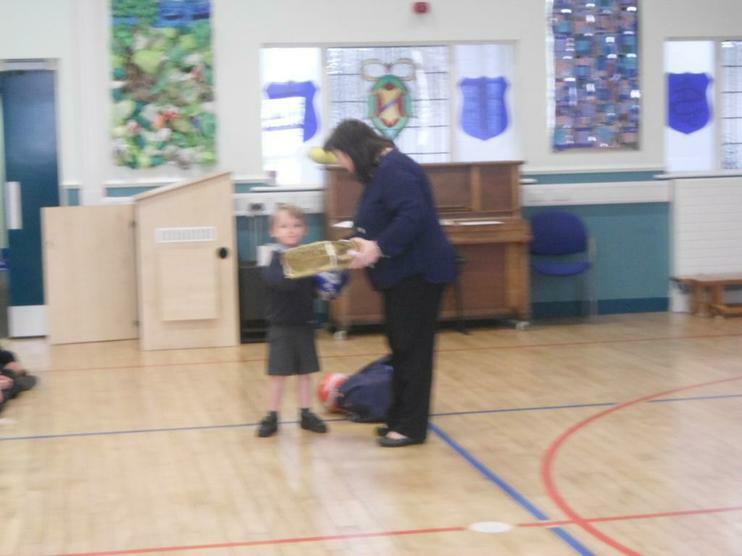 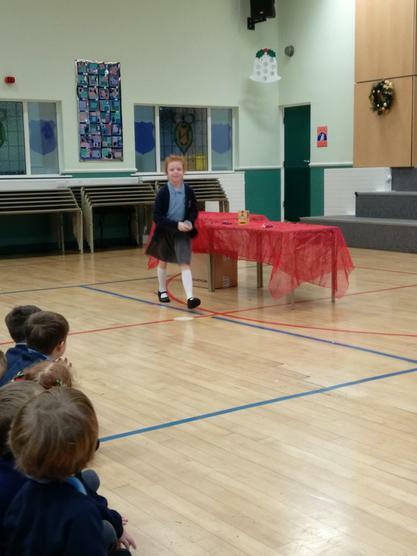 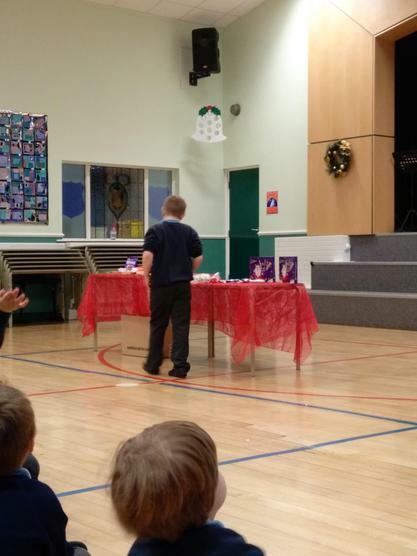 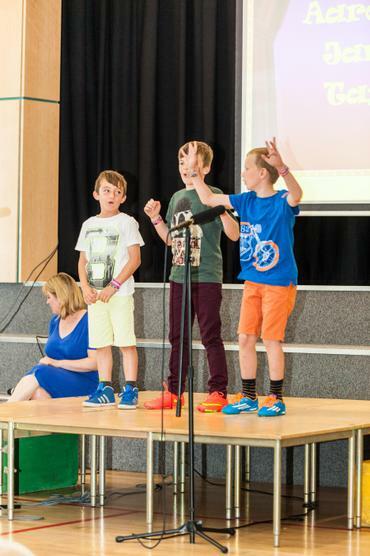 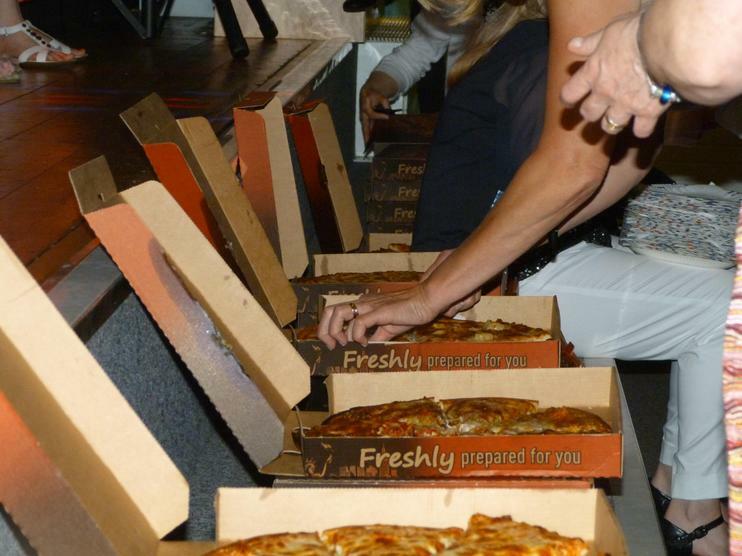 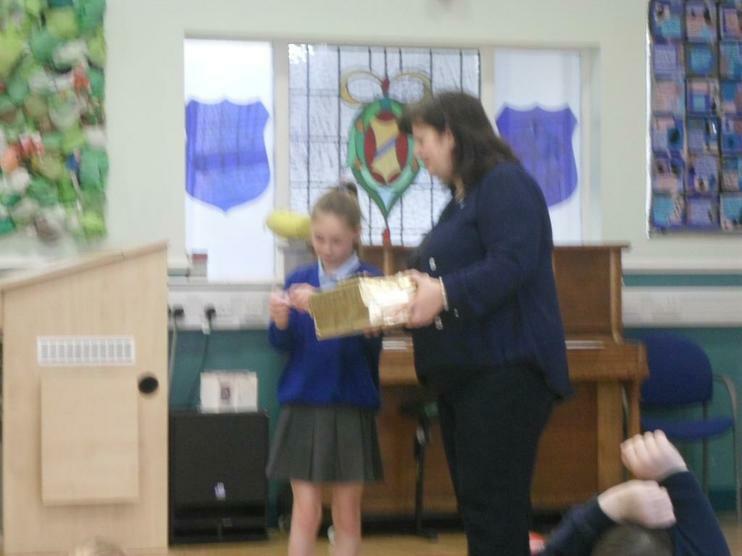 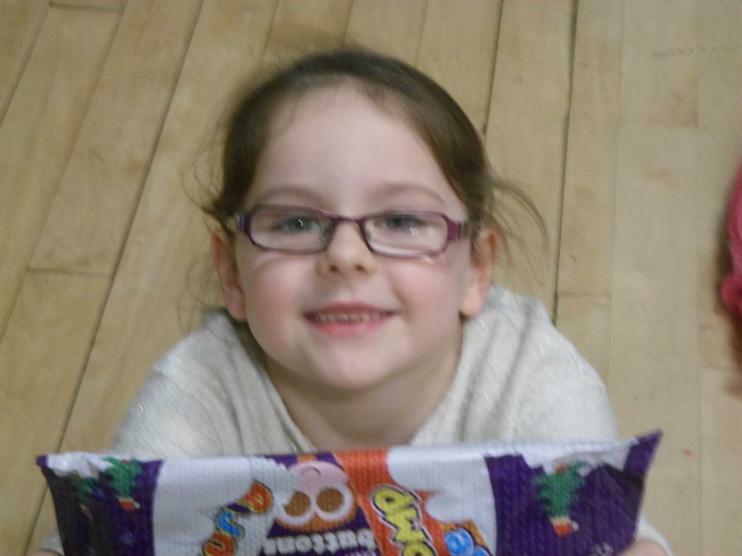 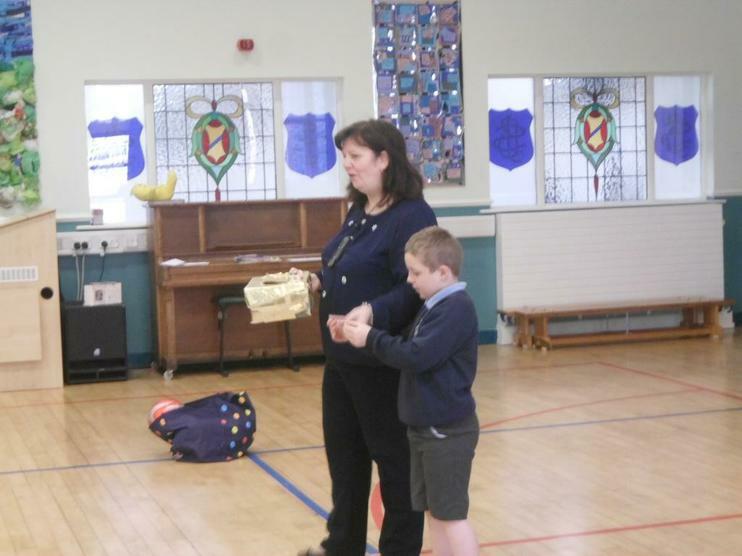 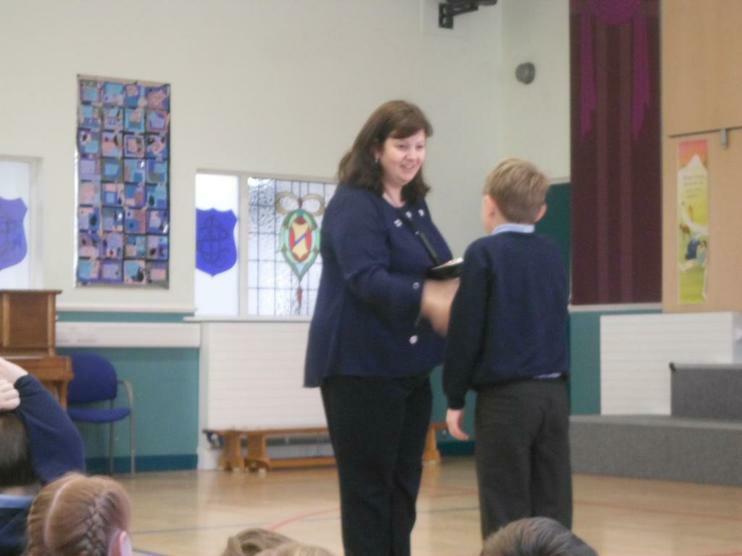 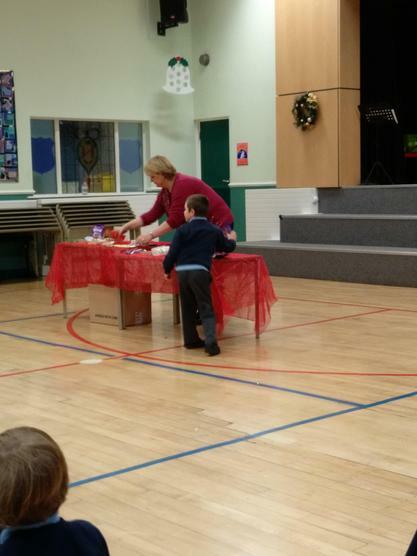 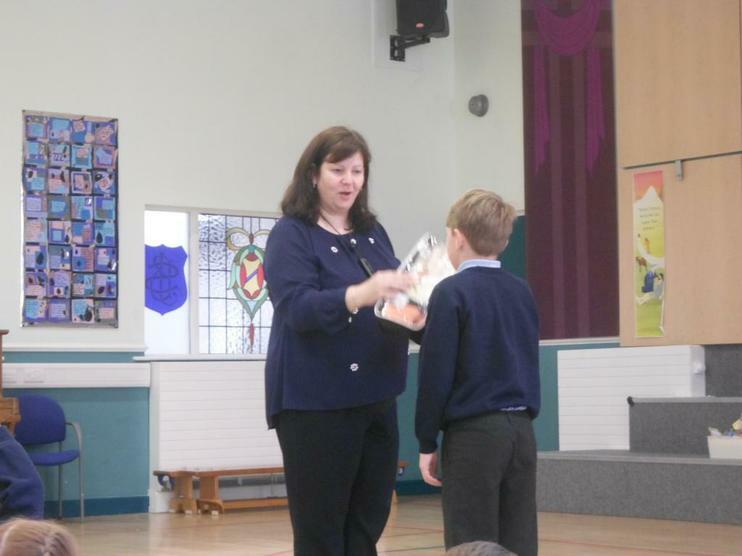 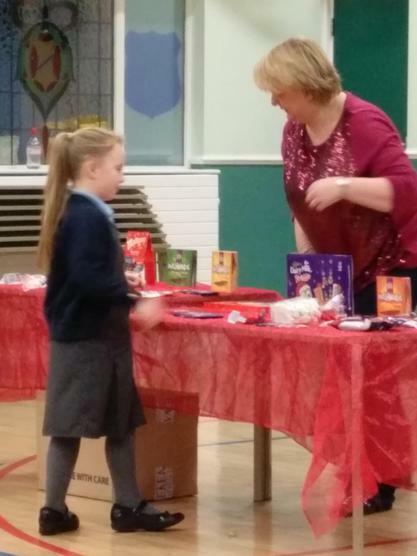 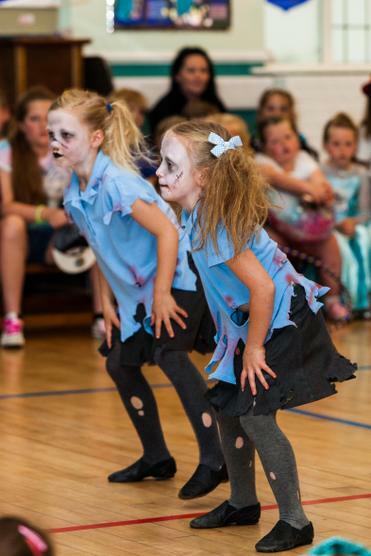 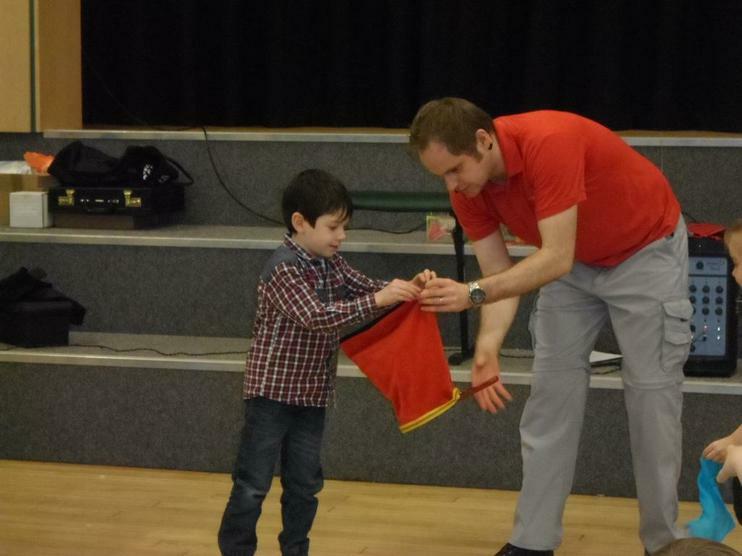 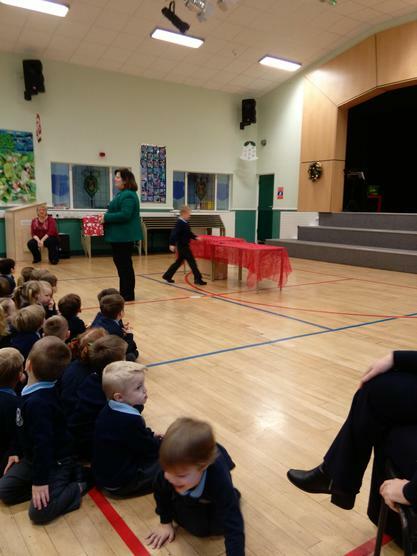 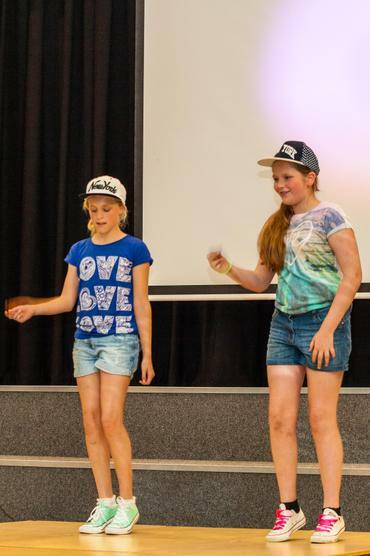 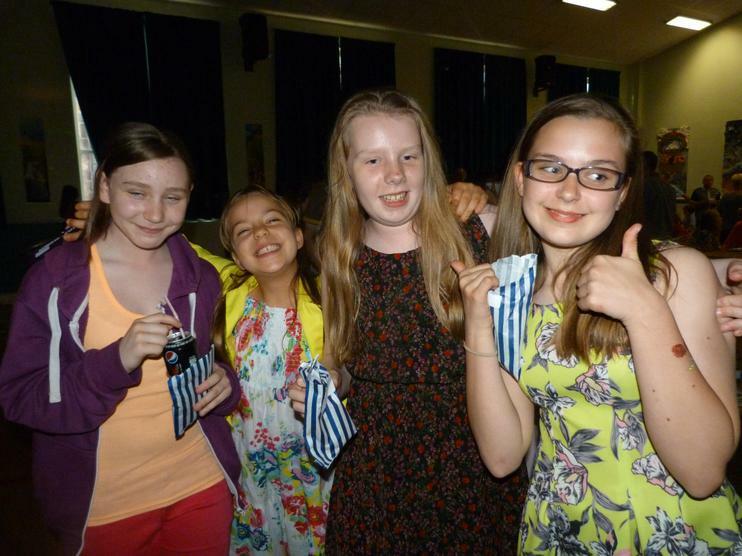 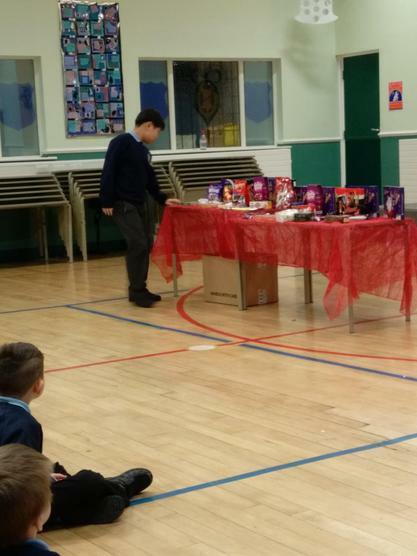 Everyone who entered received a prize and 3 overall winners were chosen from each class. 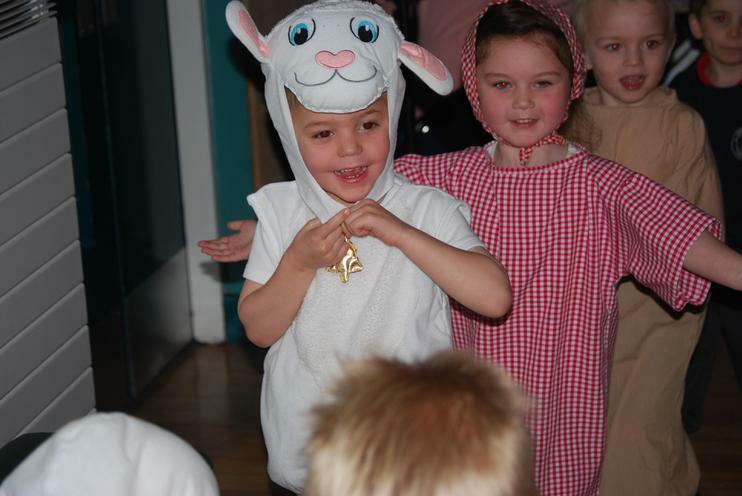 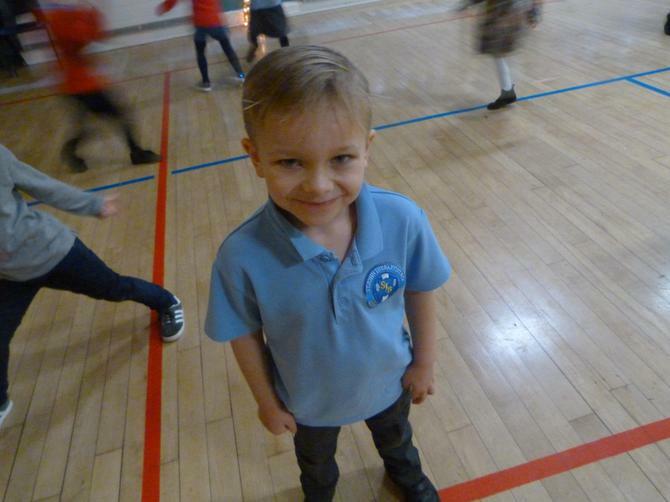 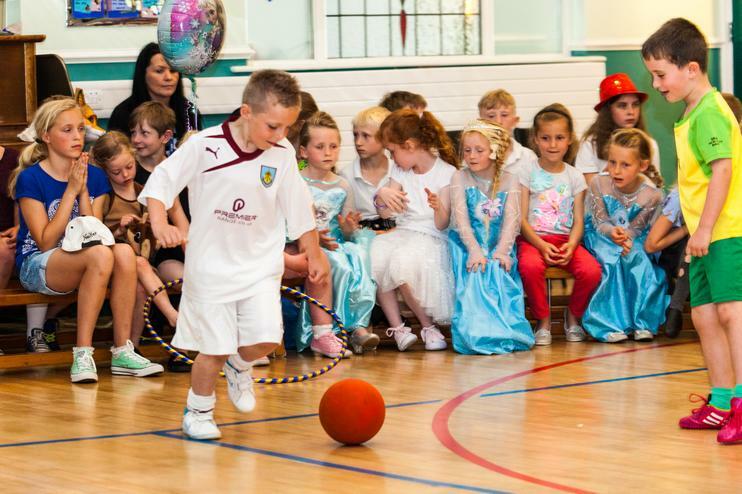 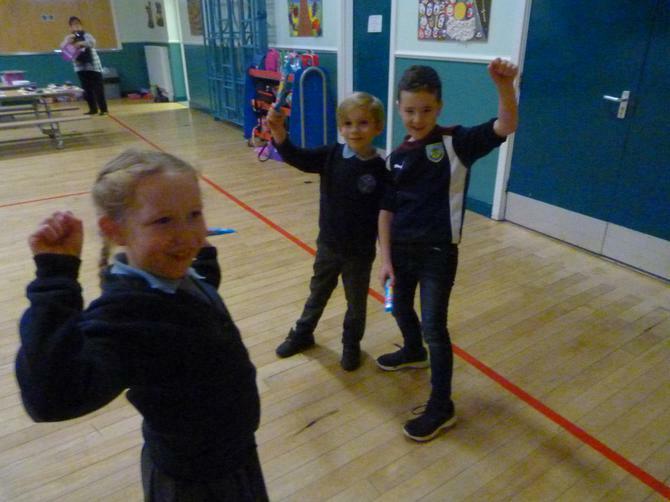 The winners in Year 1 were - Frankie Sharples, Harvey Bennet and Rachel Large. 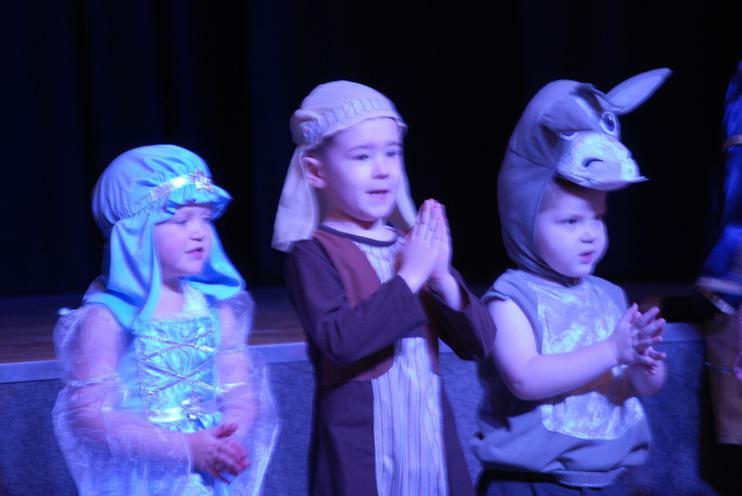 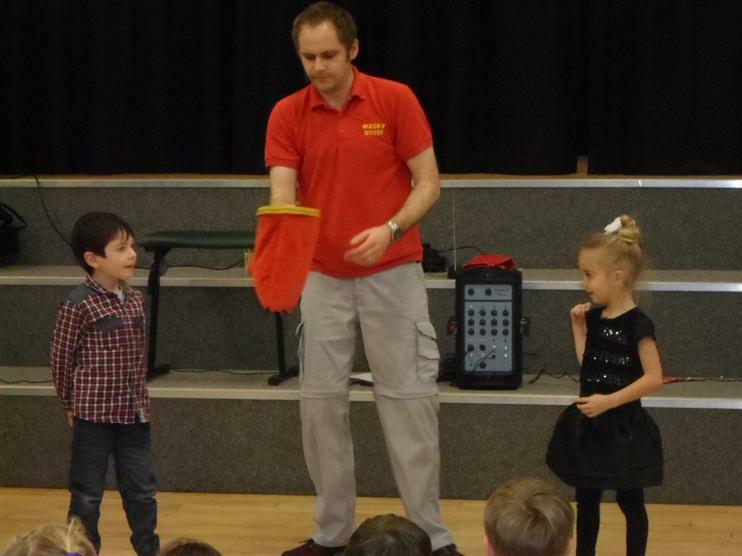 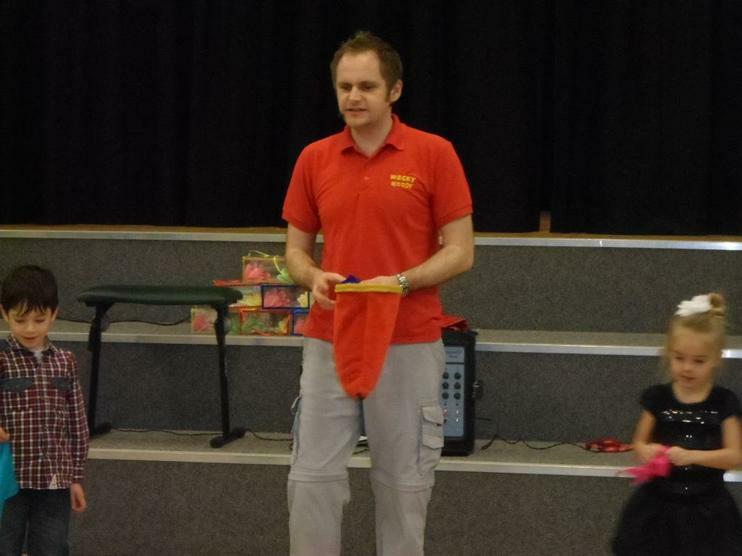 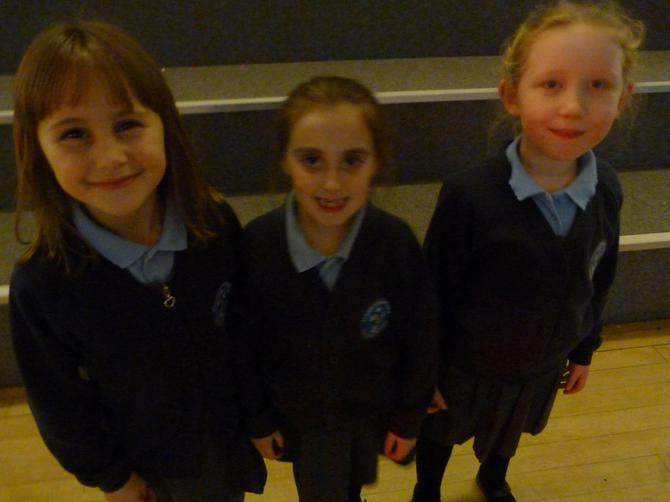 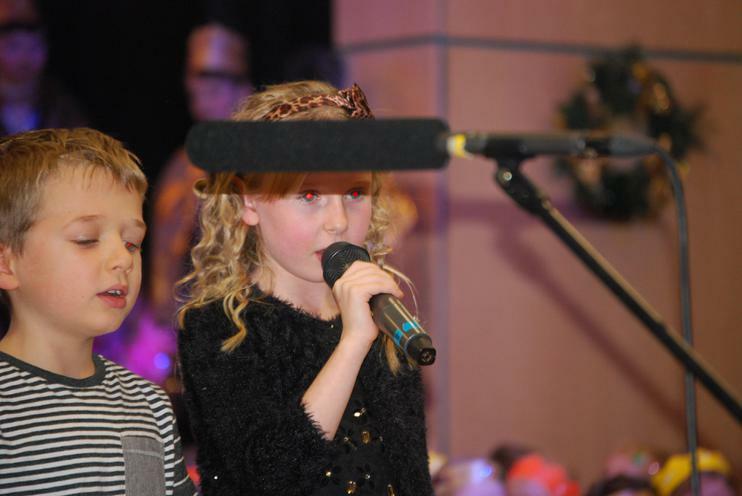 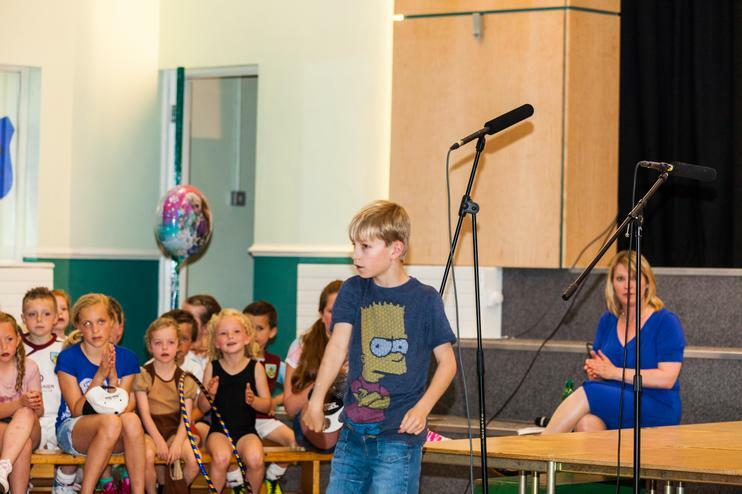 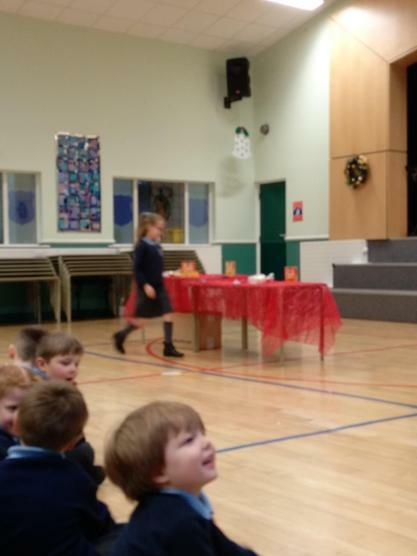 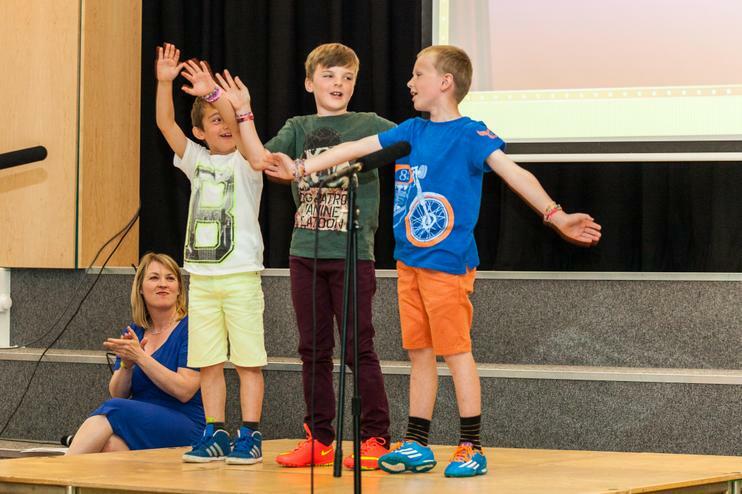 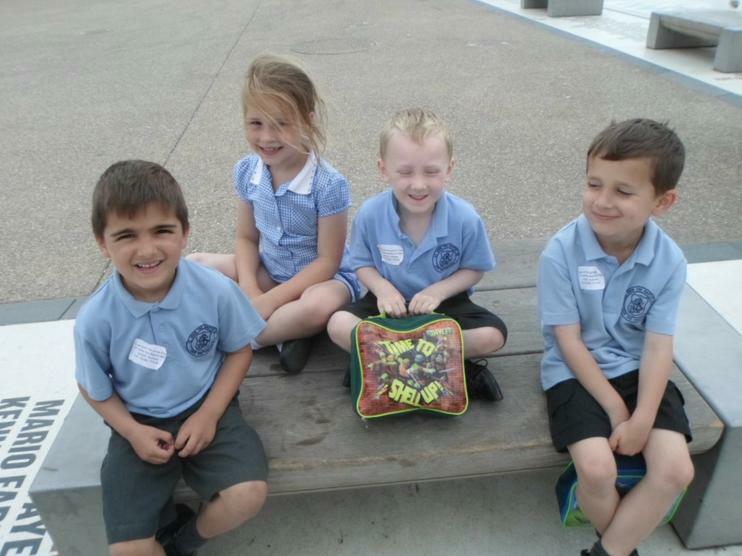 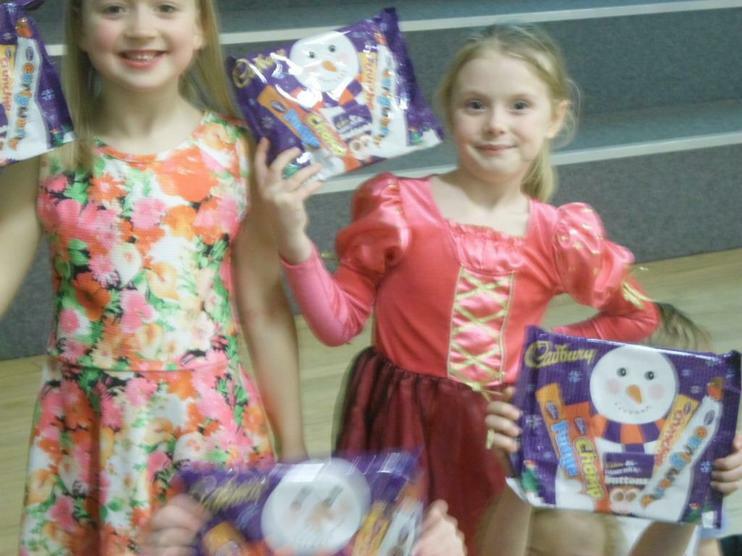 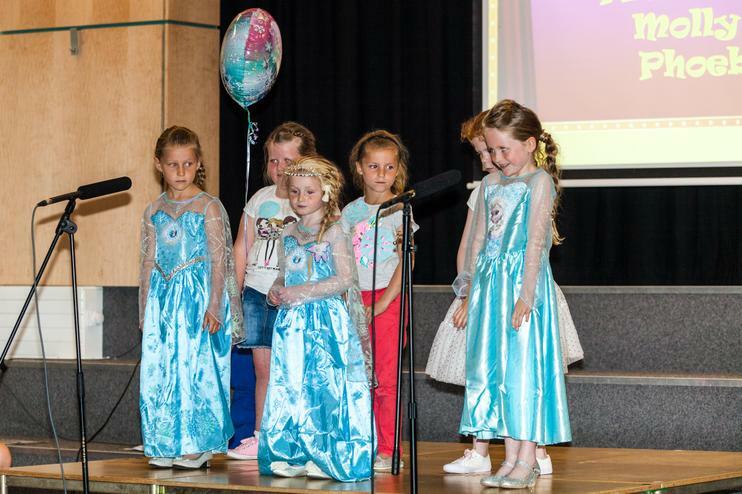 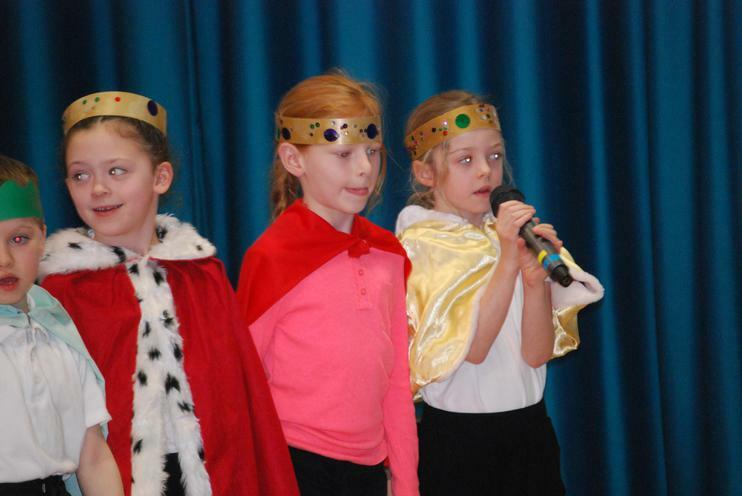 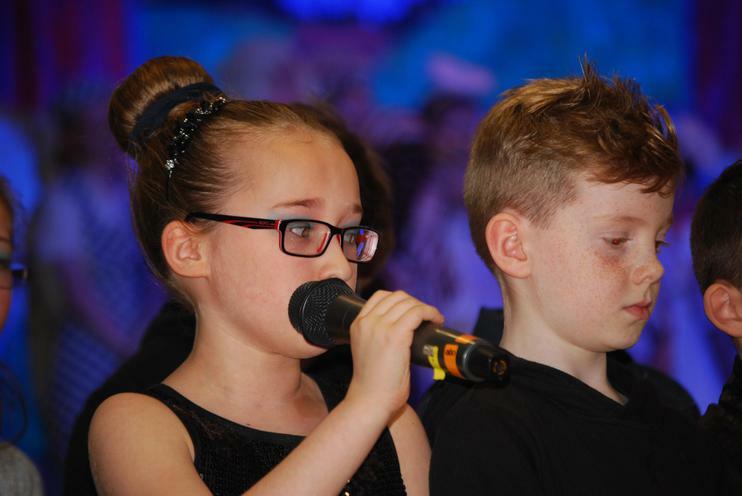 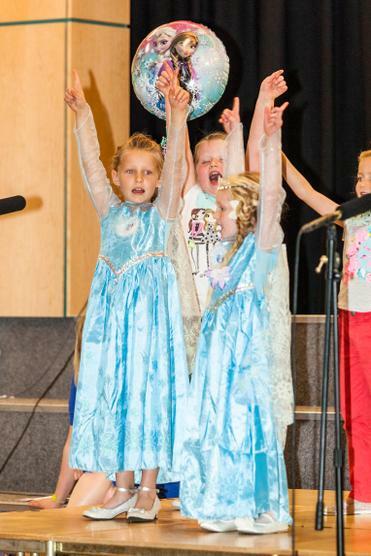 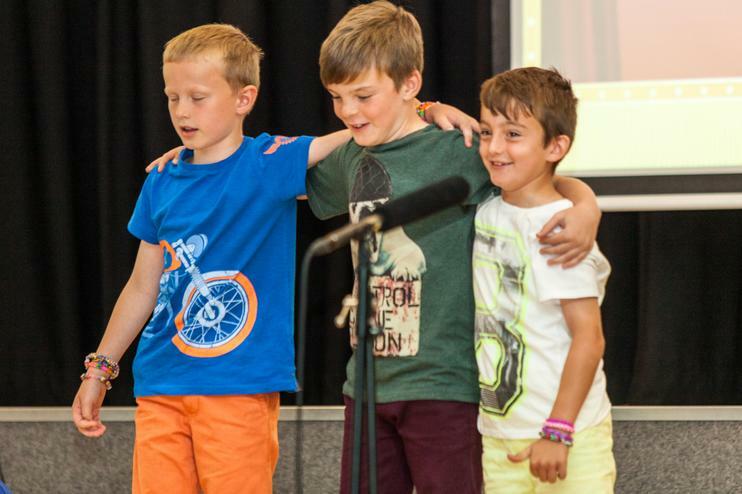 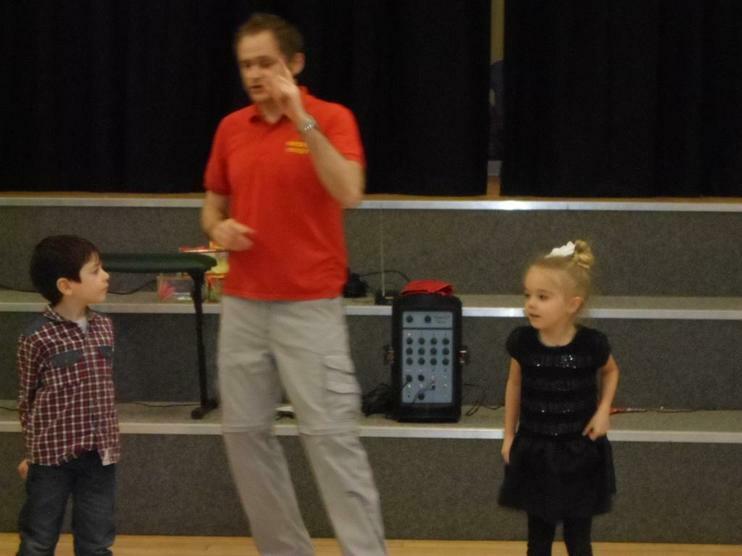 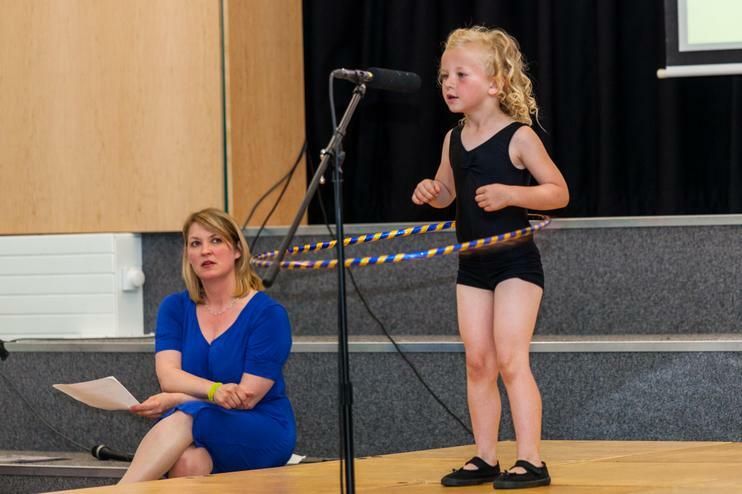 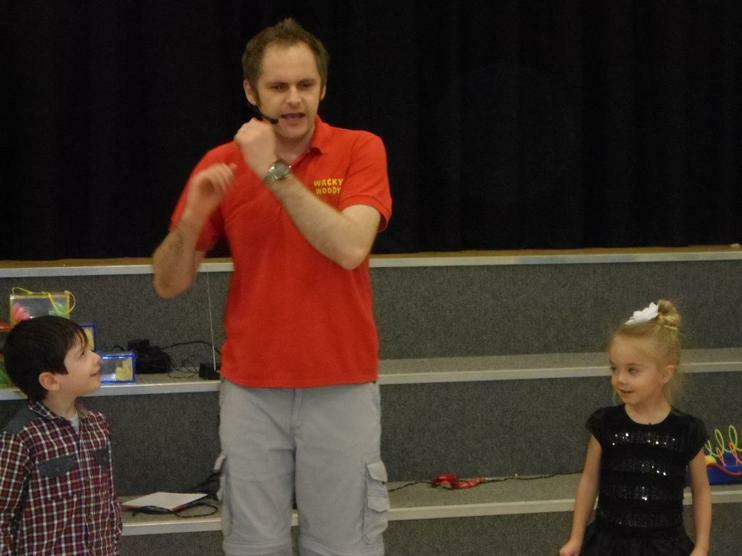 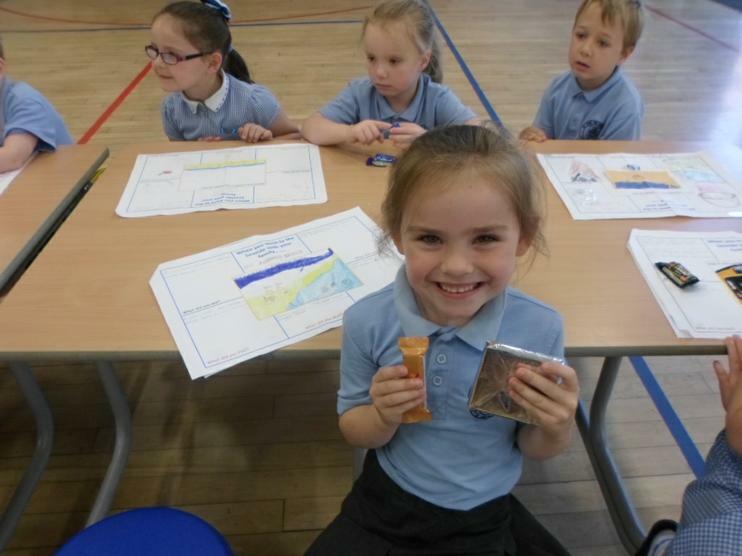 The winners in Year 2 were - Mckenzie Whyment, James Coan and Ruby Duckworth. 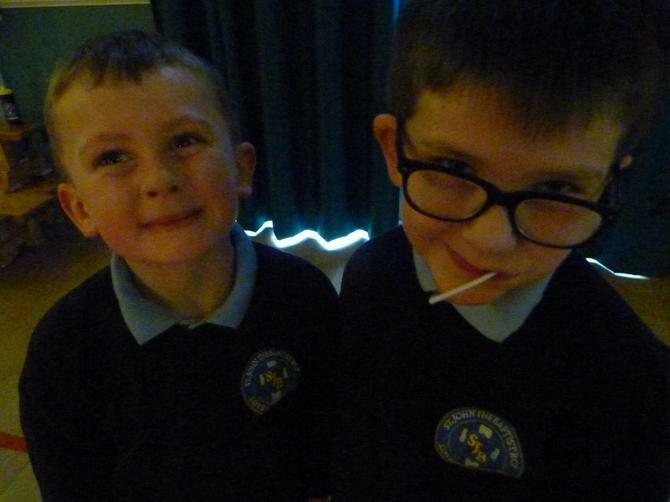 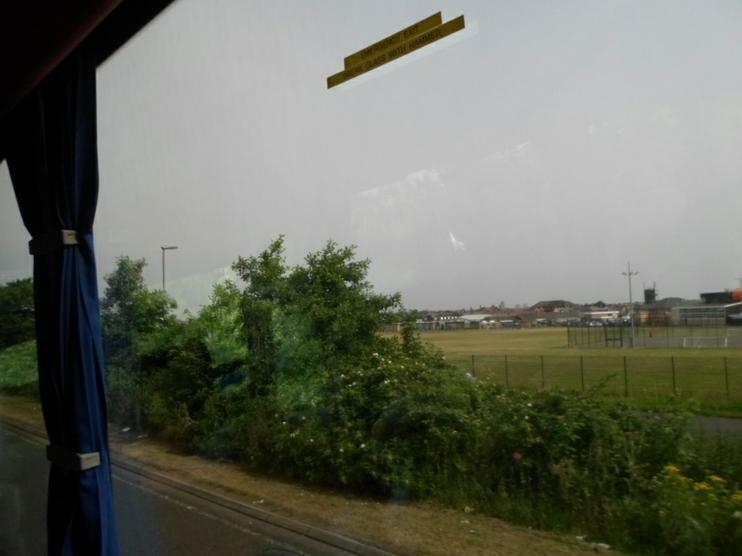 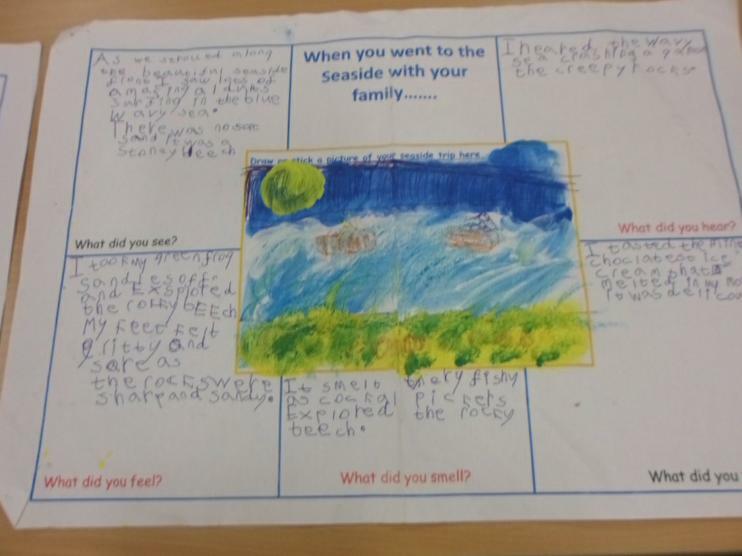 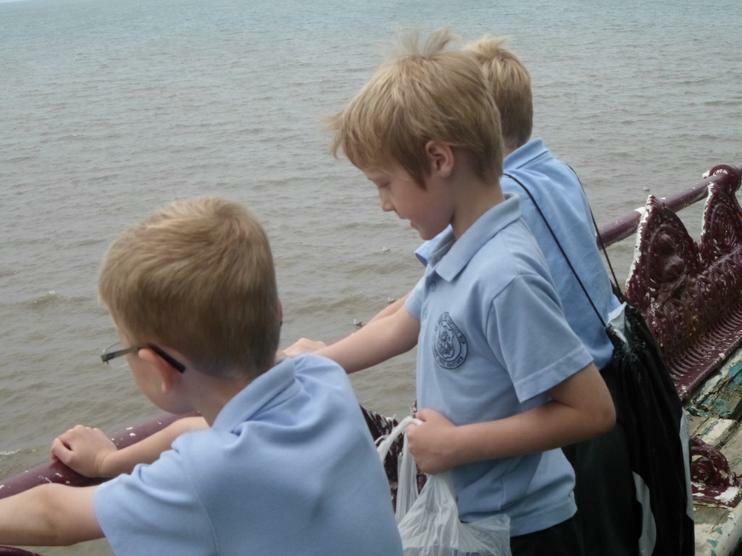 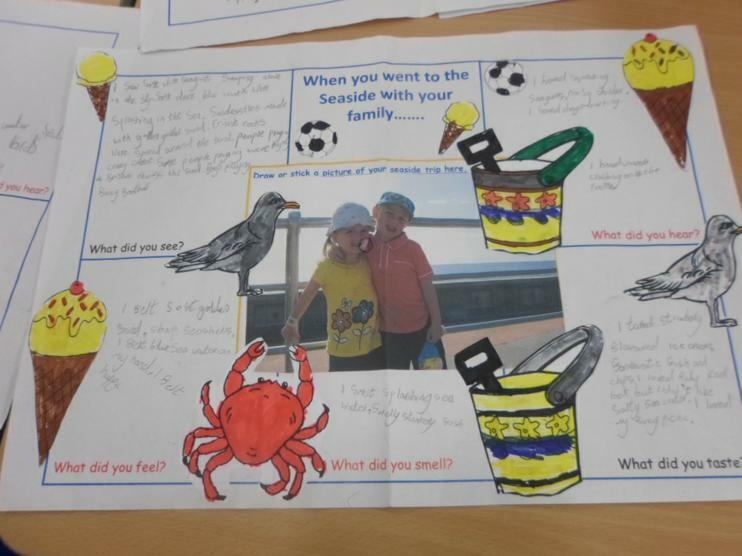 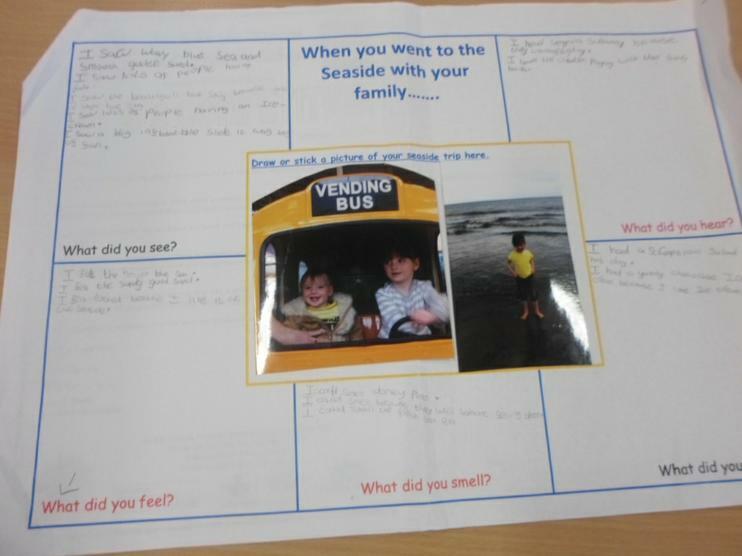 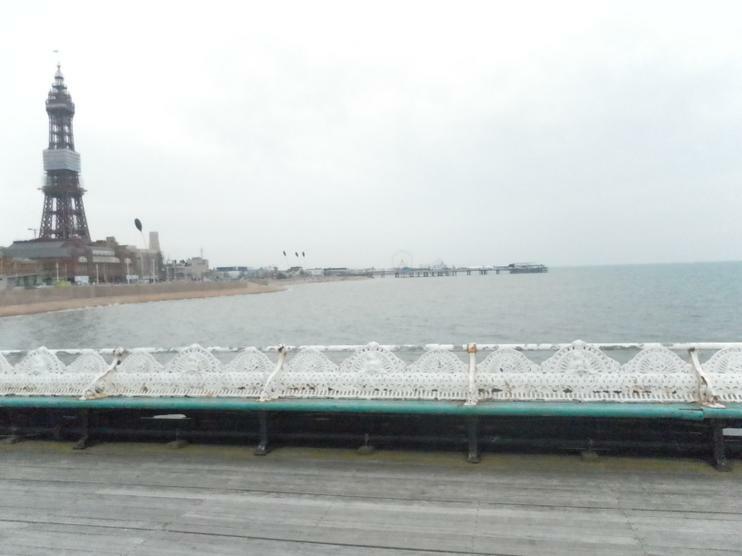 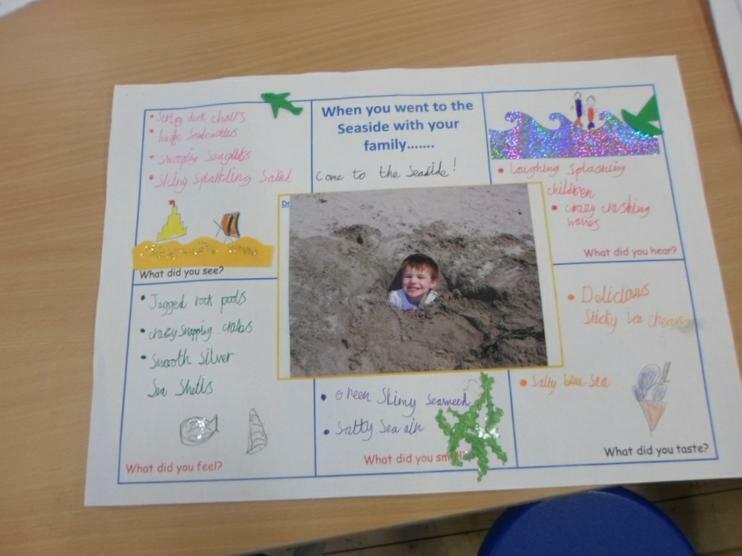 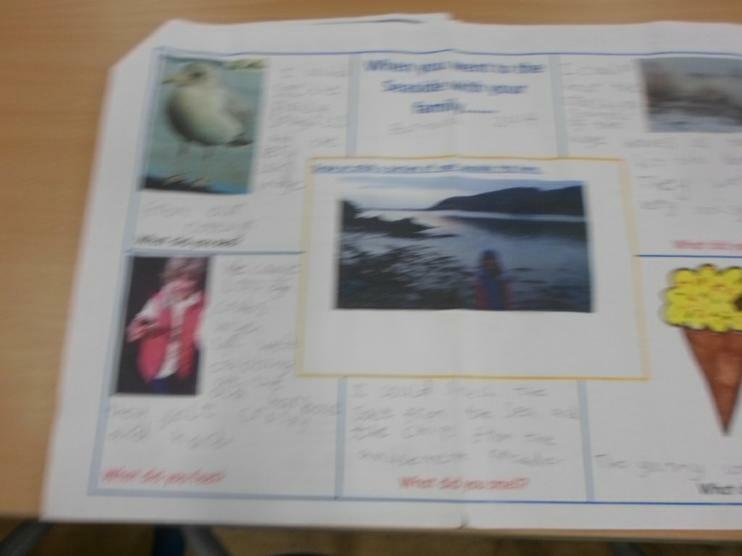 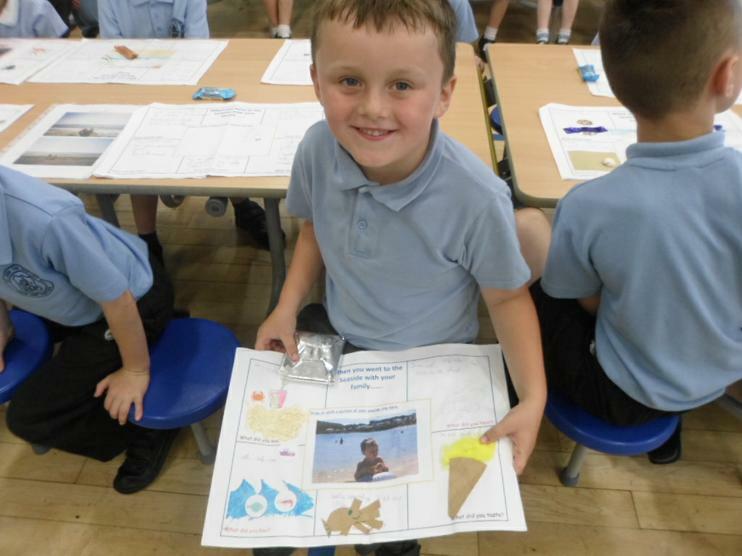 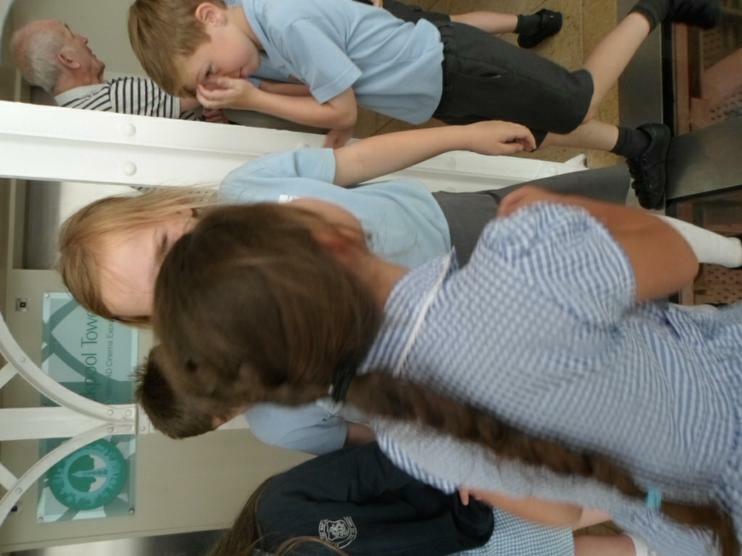 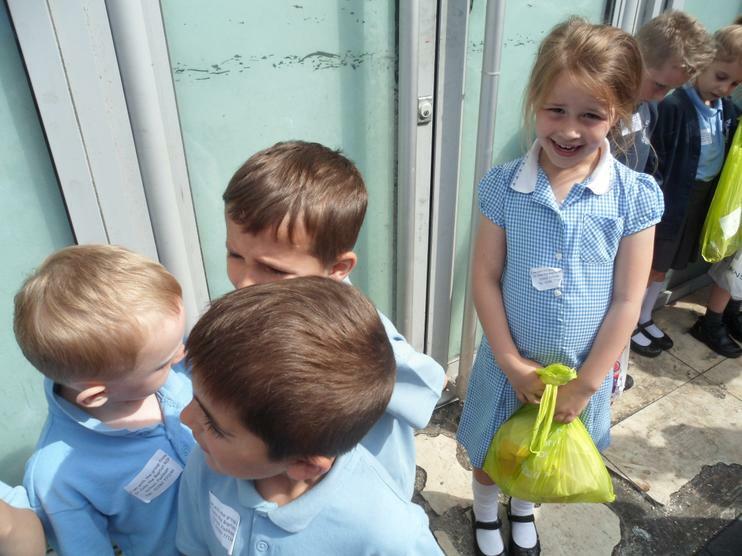 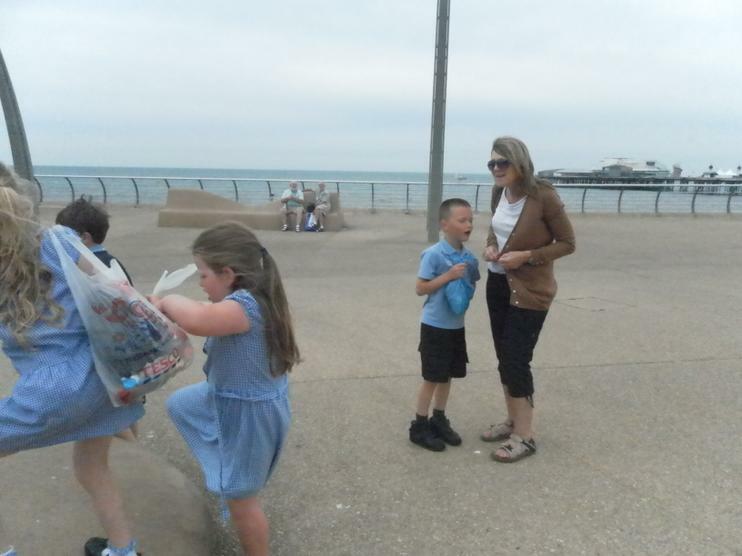 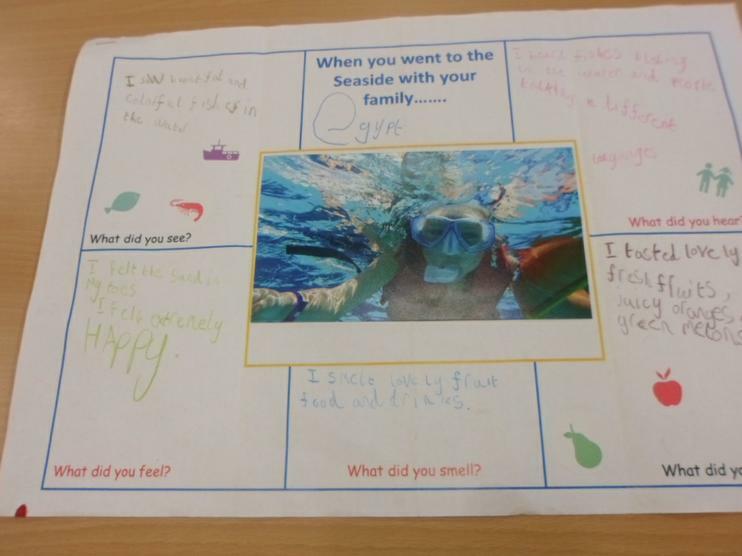 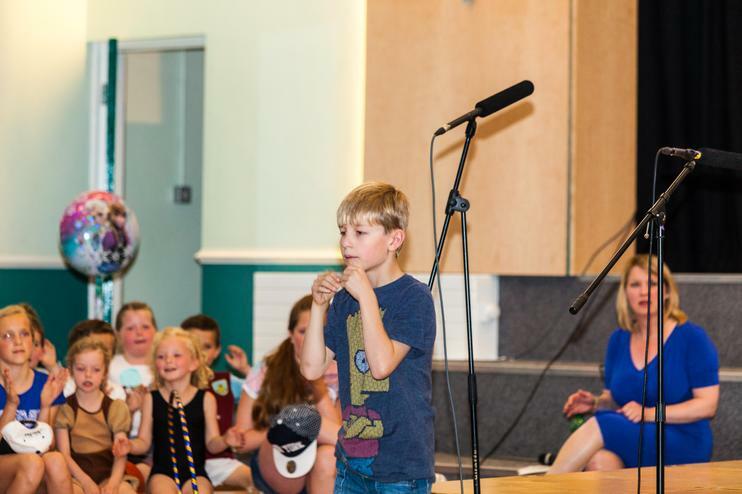 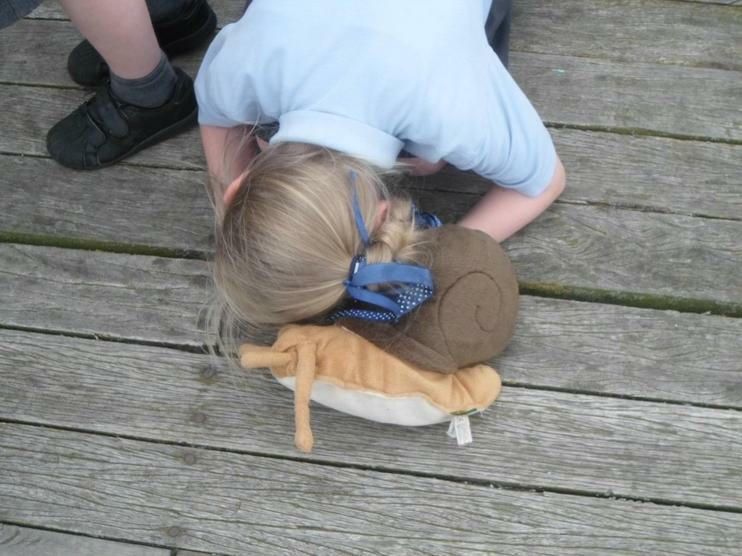 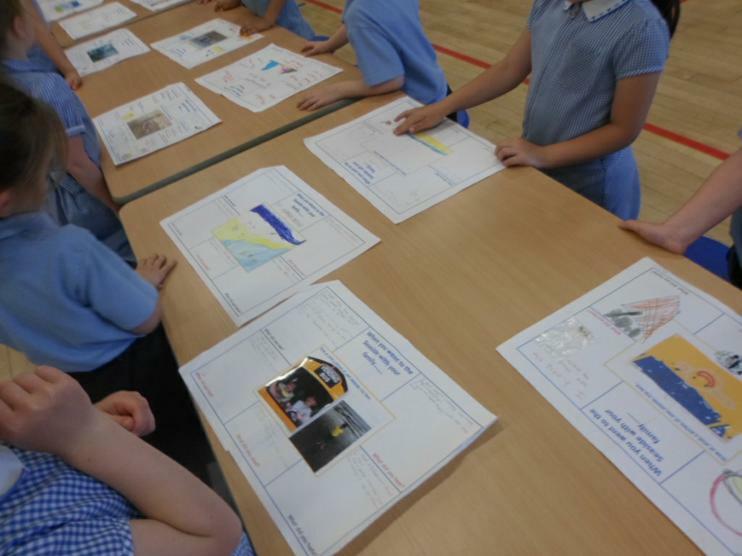 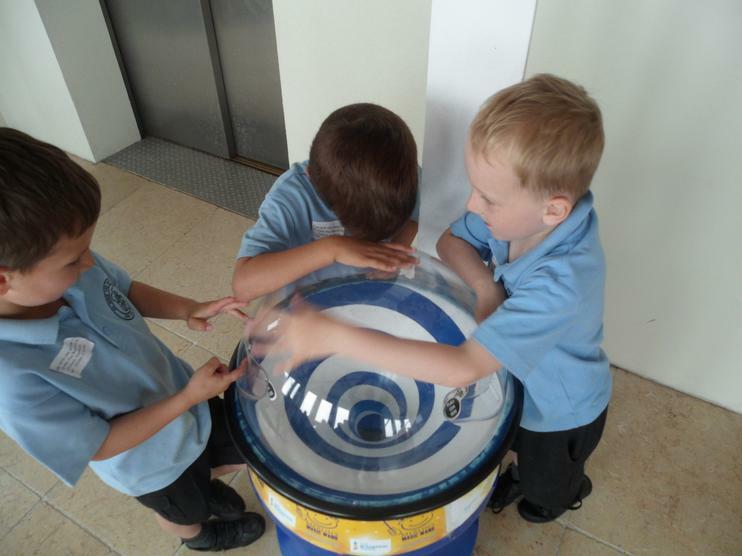 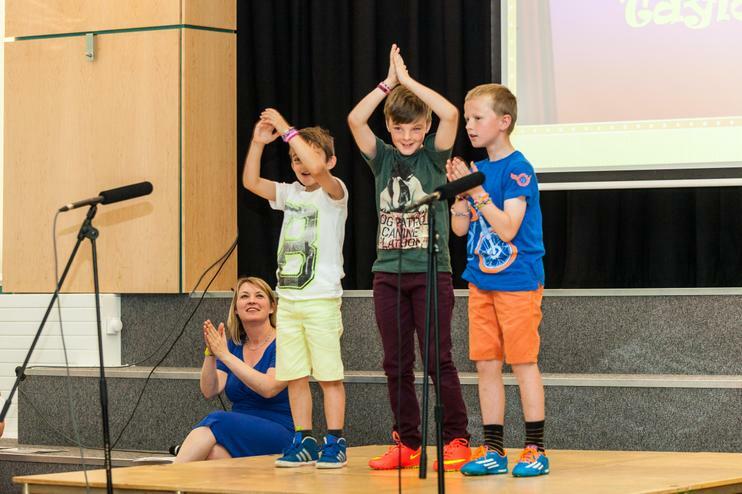 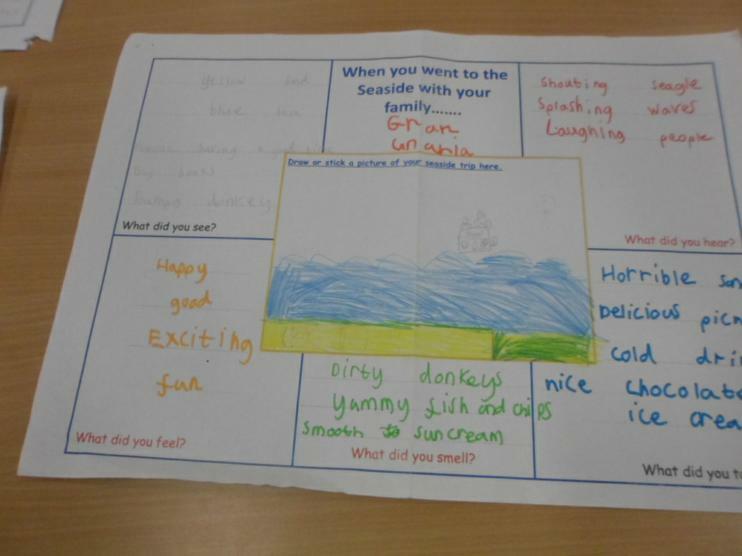 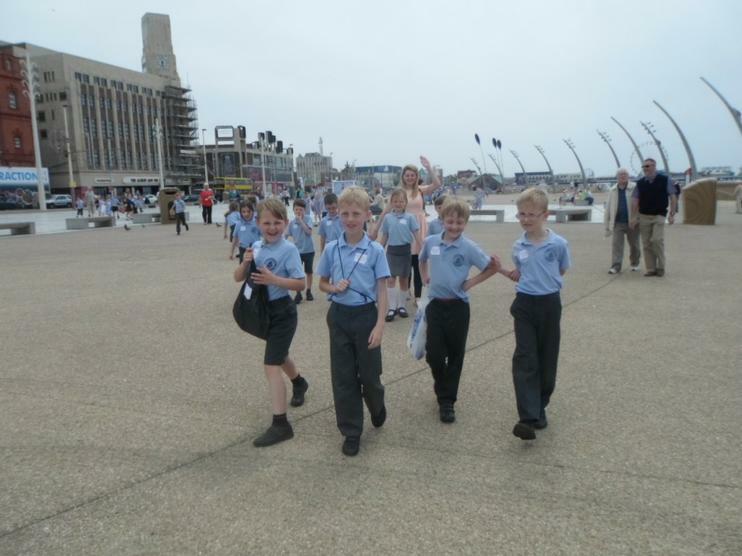 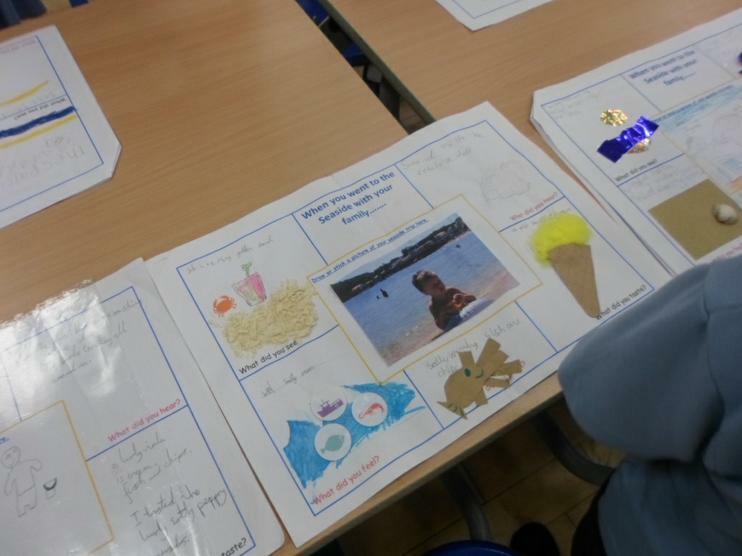 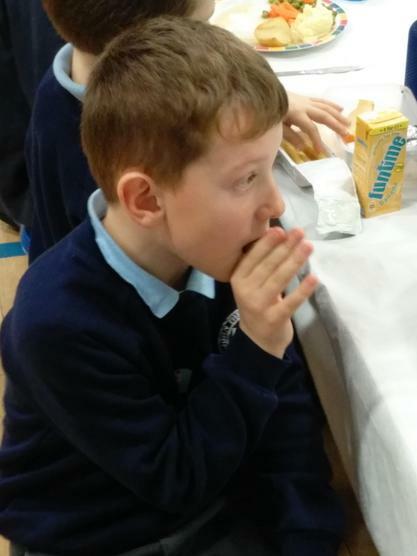 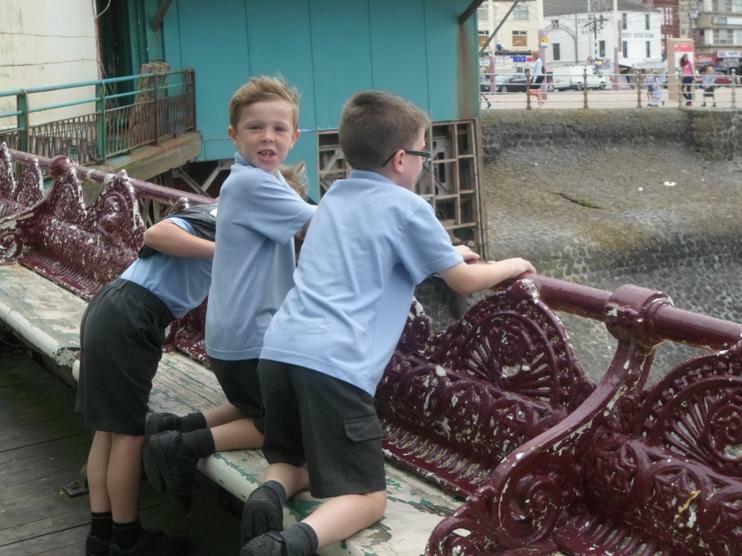 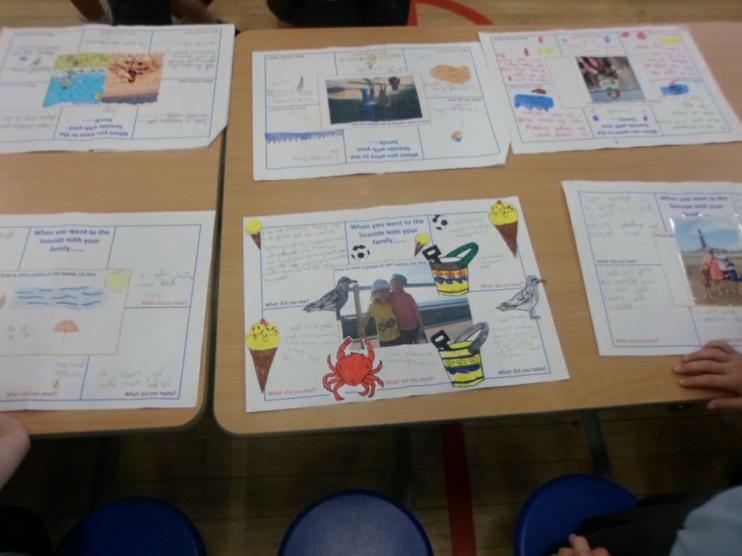 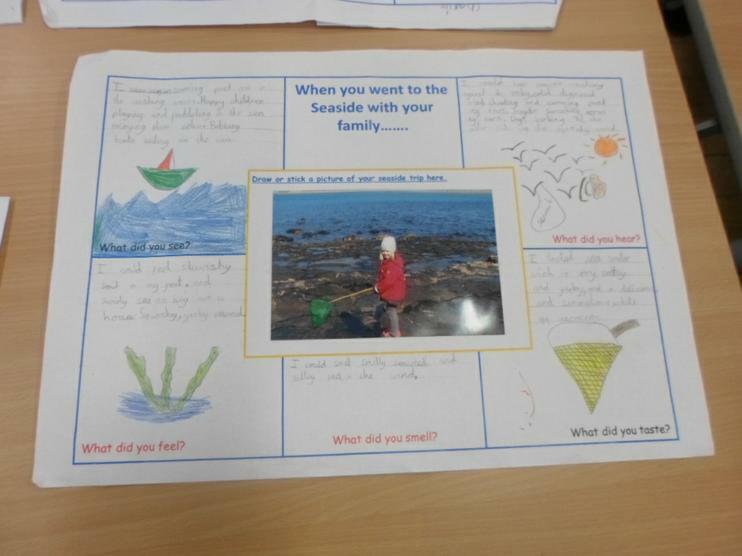 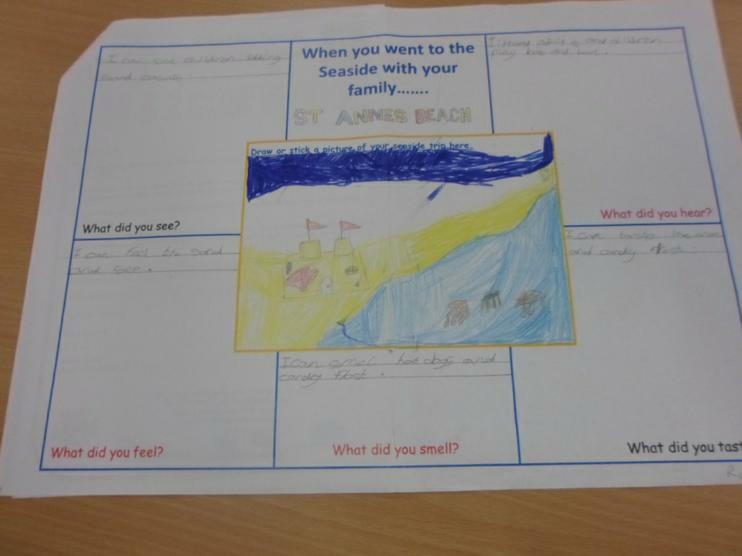 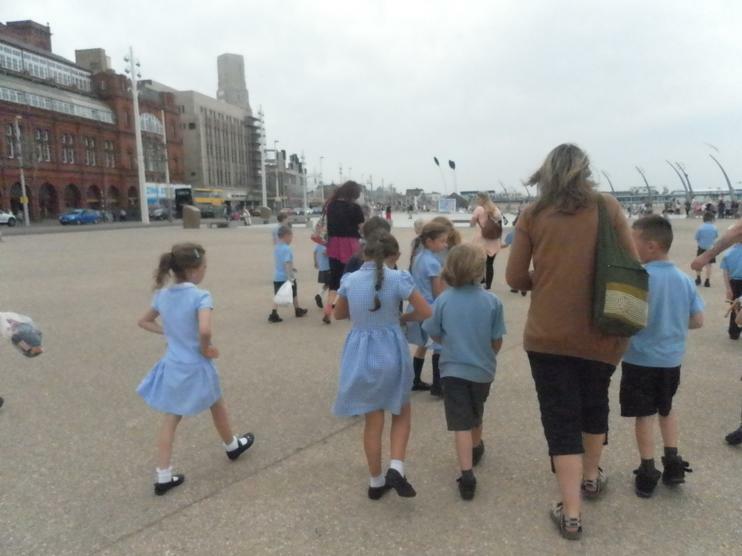 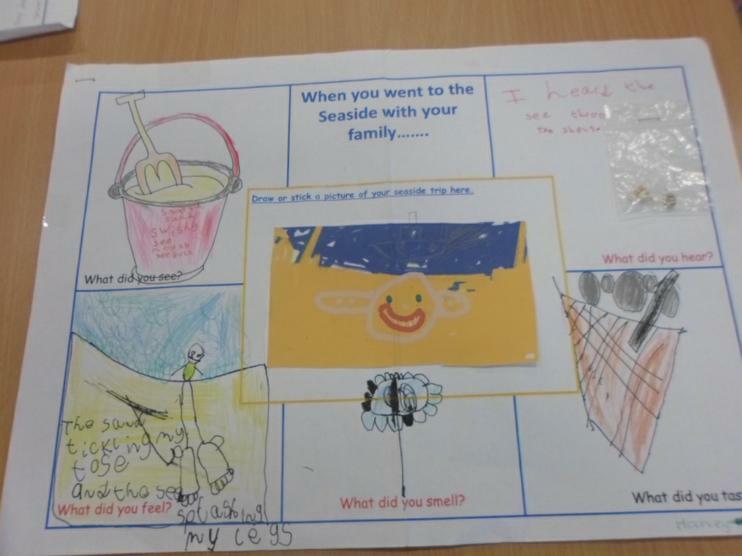 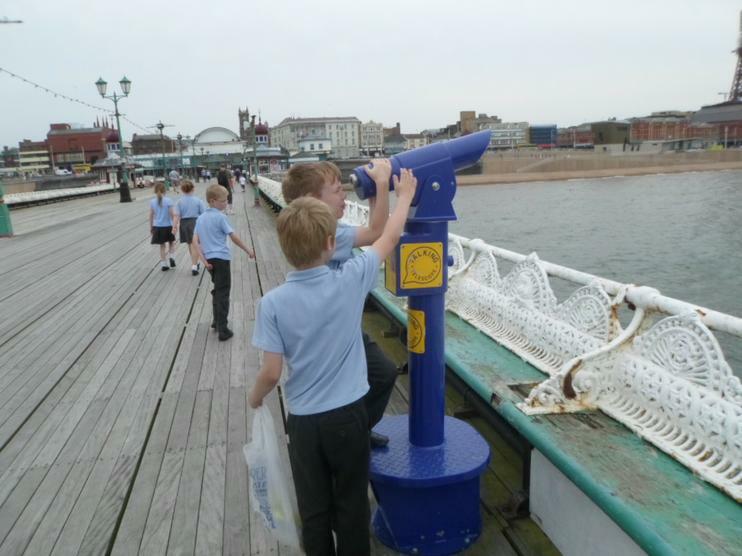 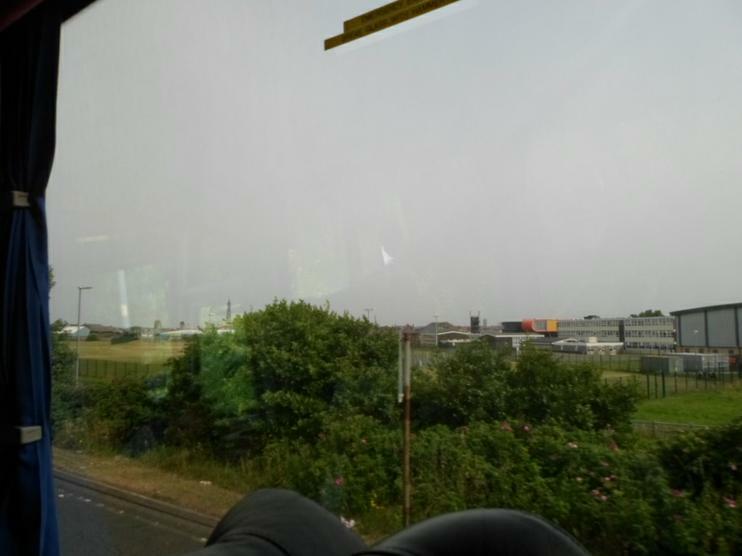 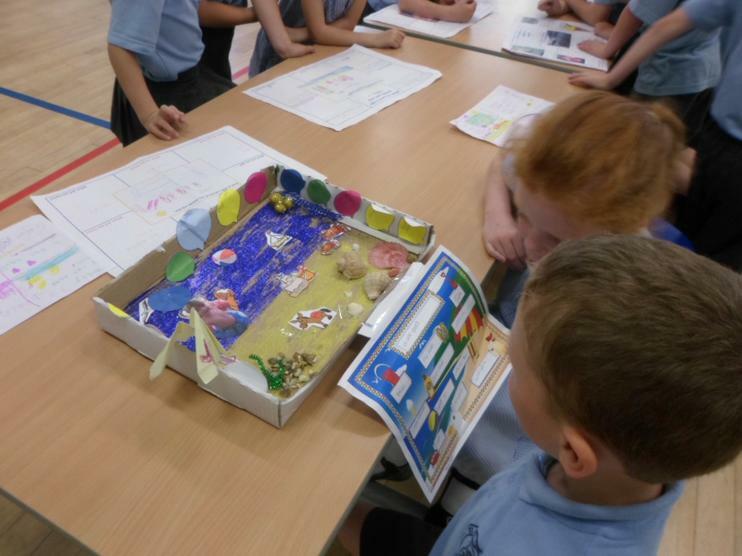 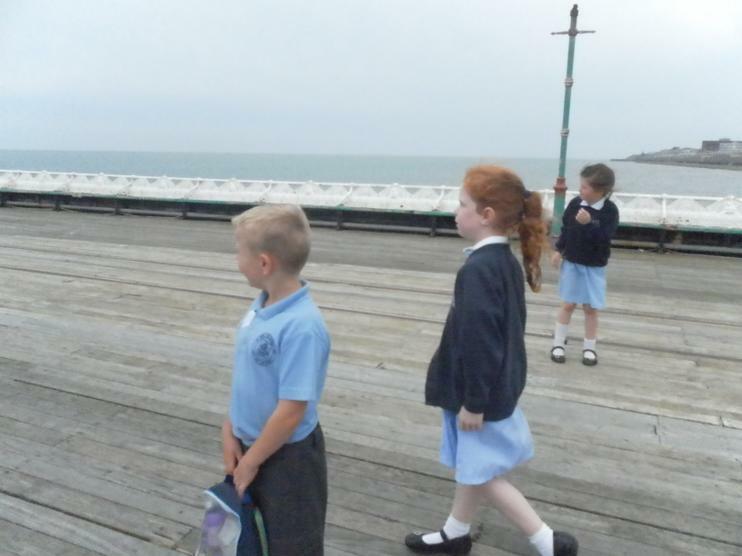 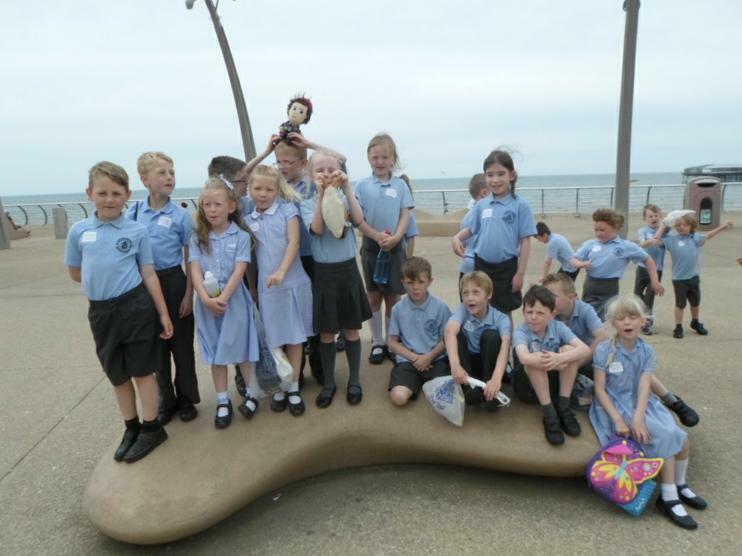 The main reason the winners were chosen was for their descriptive language and for using their senses to describe the seaside they had visited. 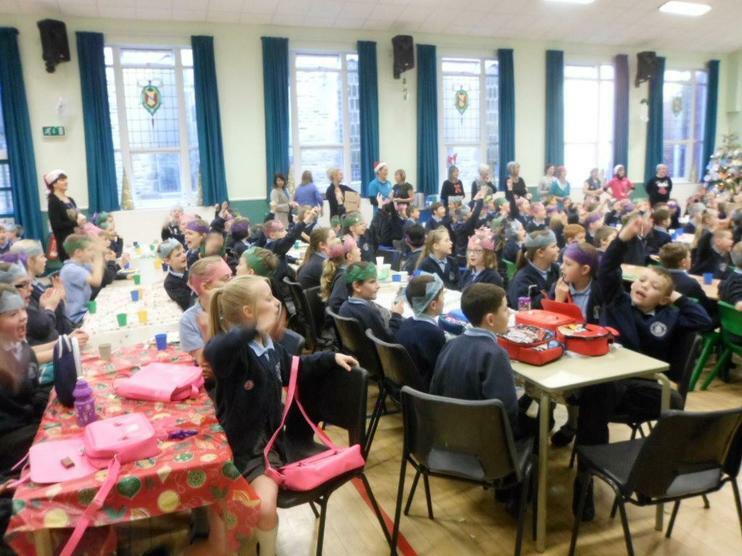 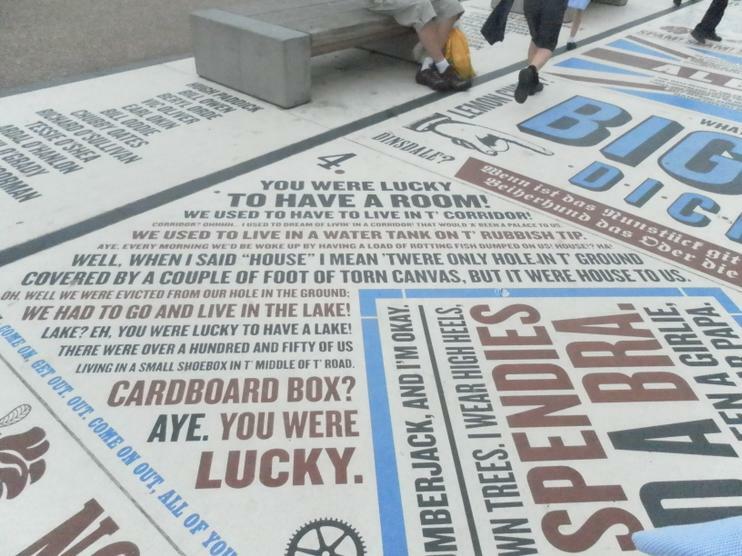 Well done to everyone who entered. 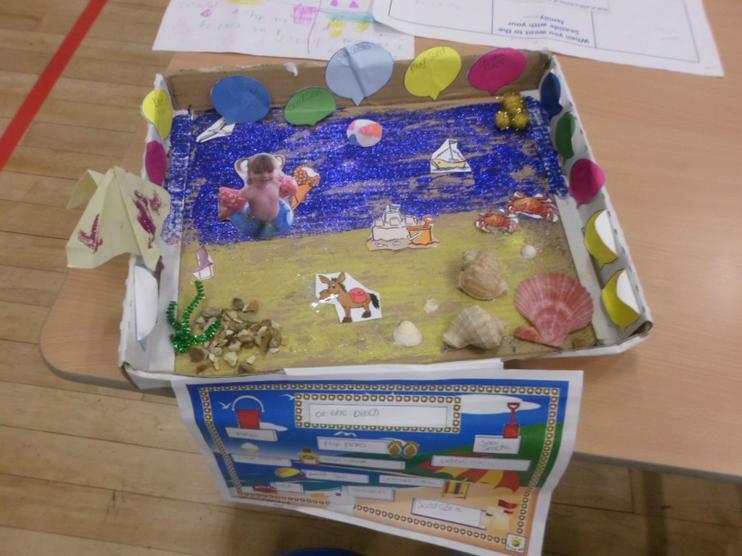 Just some of the fabulous homework projects that were brought in. 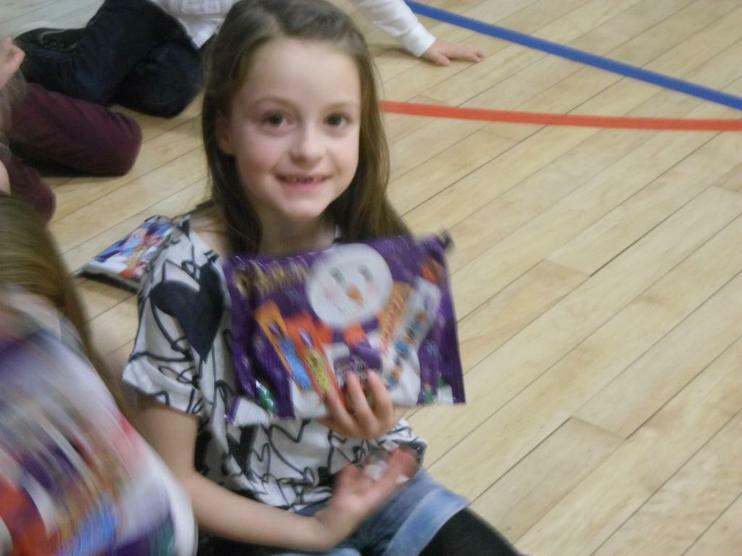 Well done to everyone who entered. 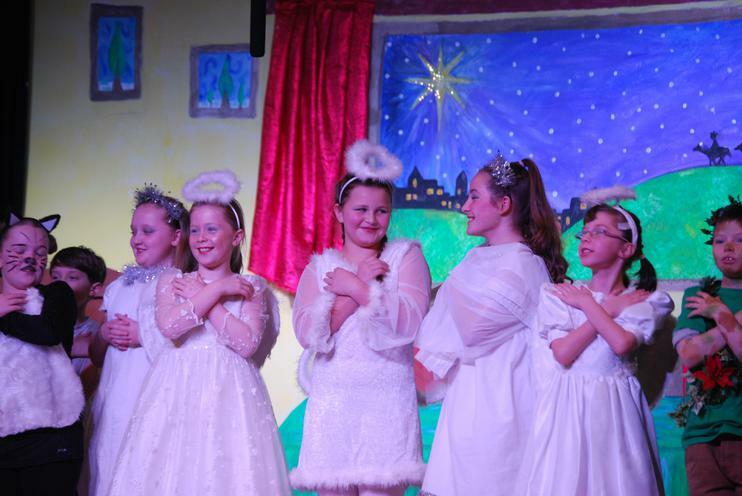 The talent this year at St. John's has been amazing. 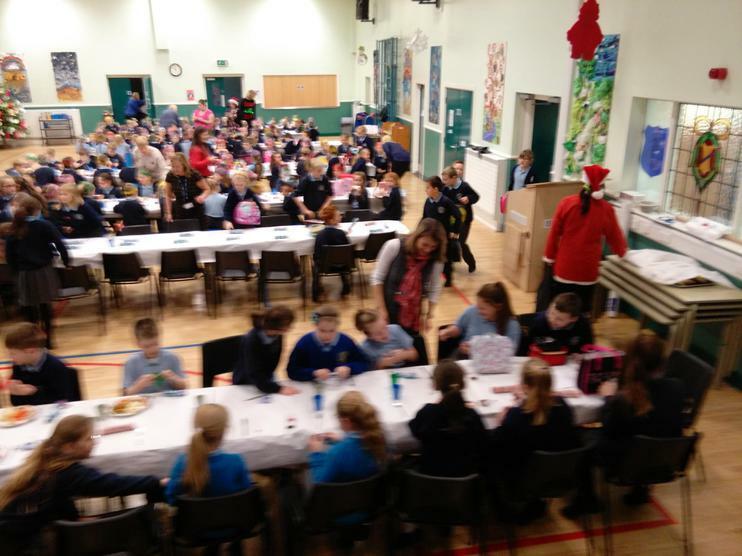 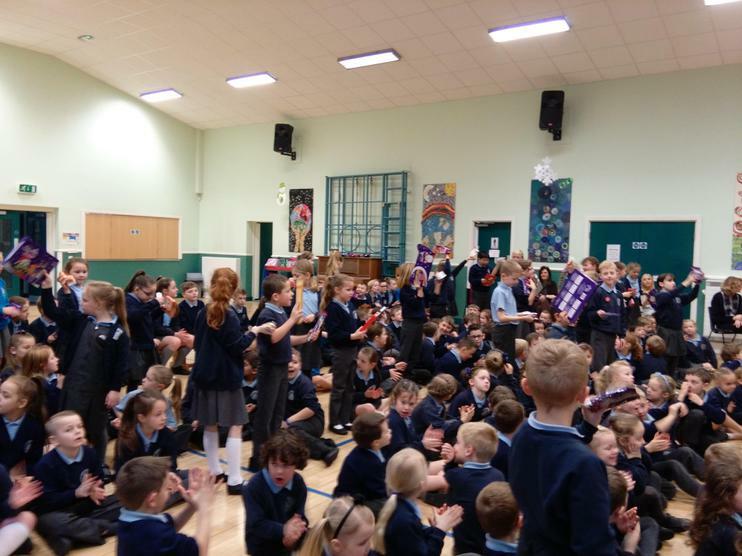 Well done to all who took part and congratulations to the children who won. 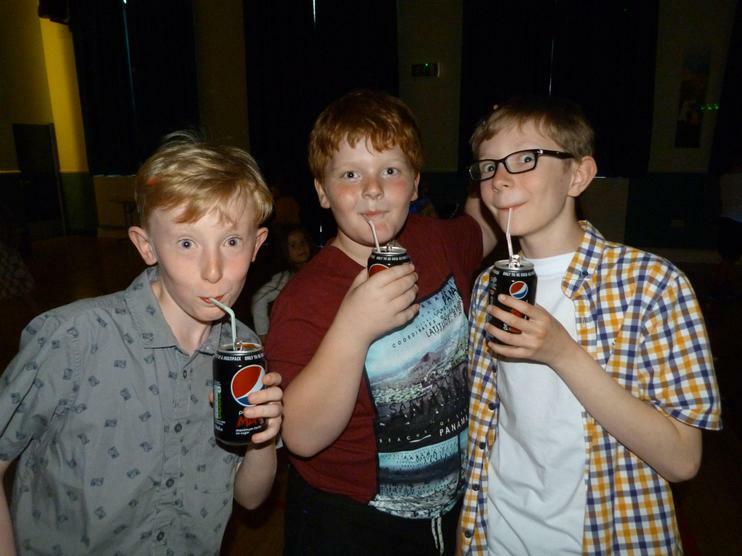 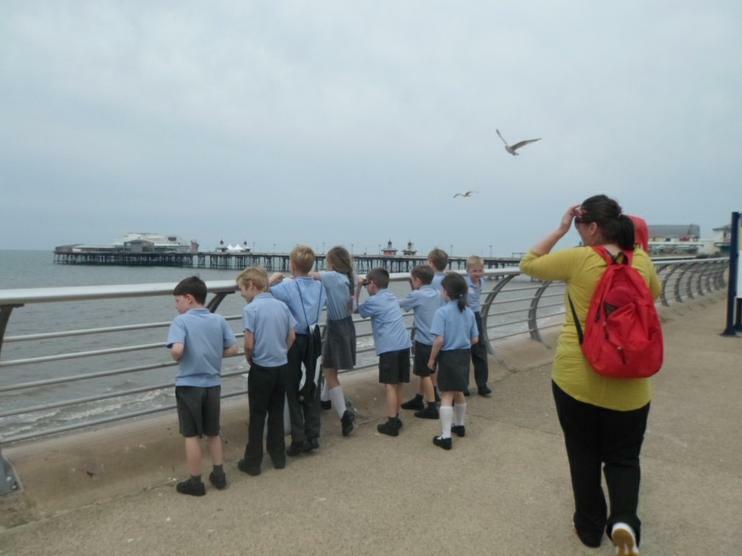 A special thank you to Mr. Burton who has taken some amazing photographs and allowed us to use them on our school website. 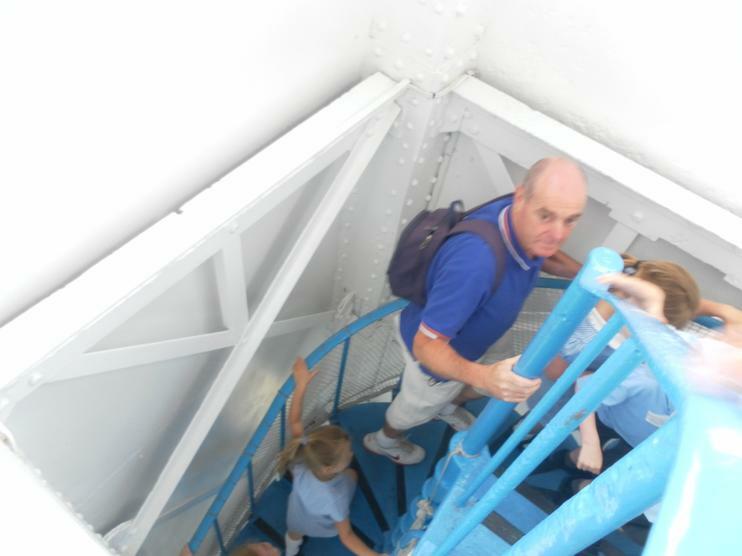 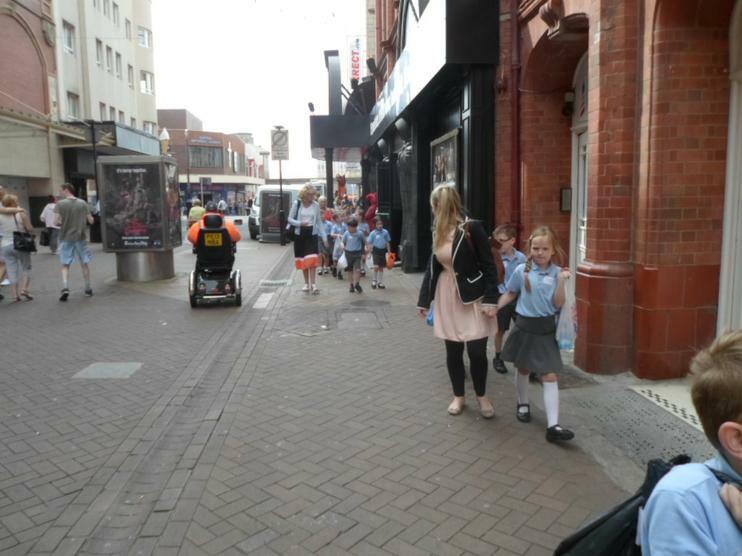 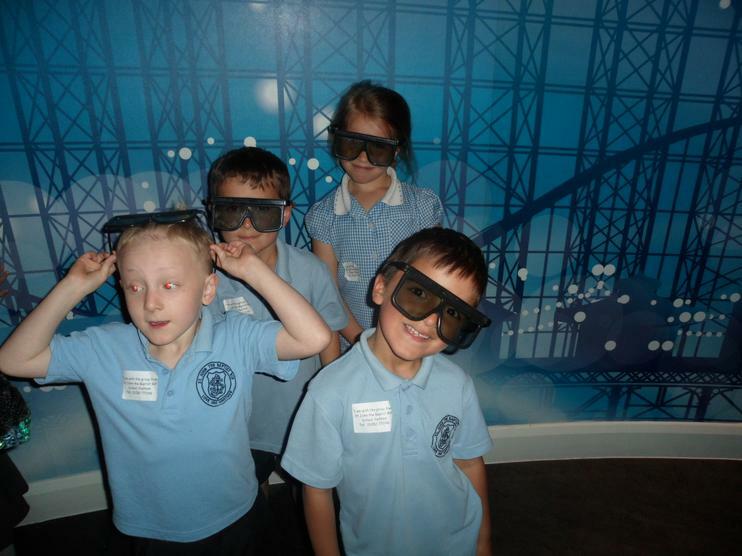 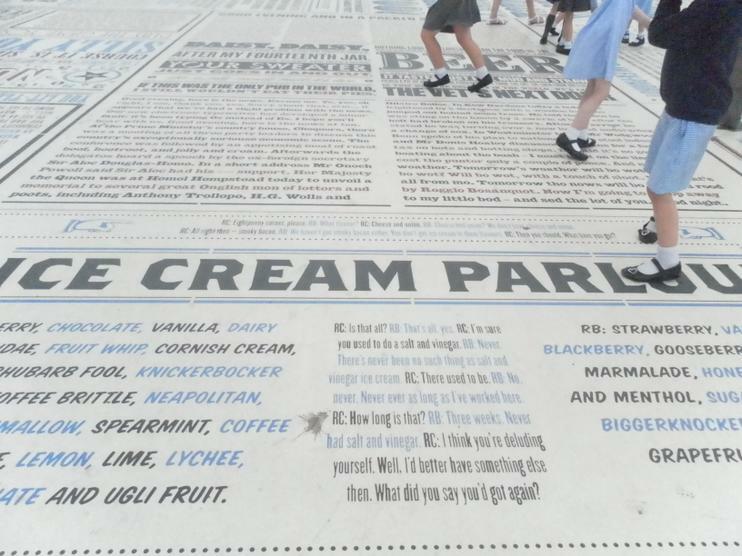 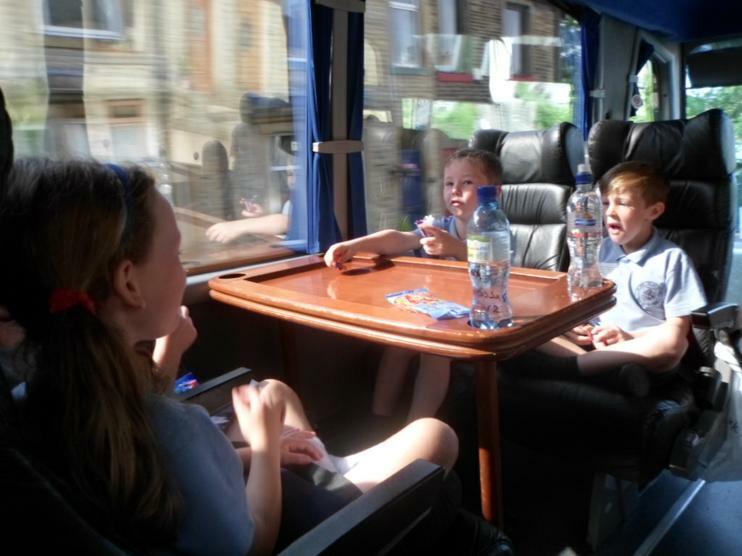 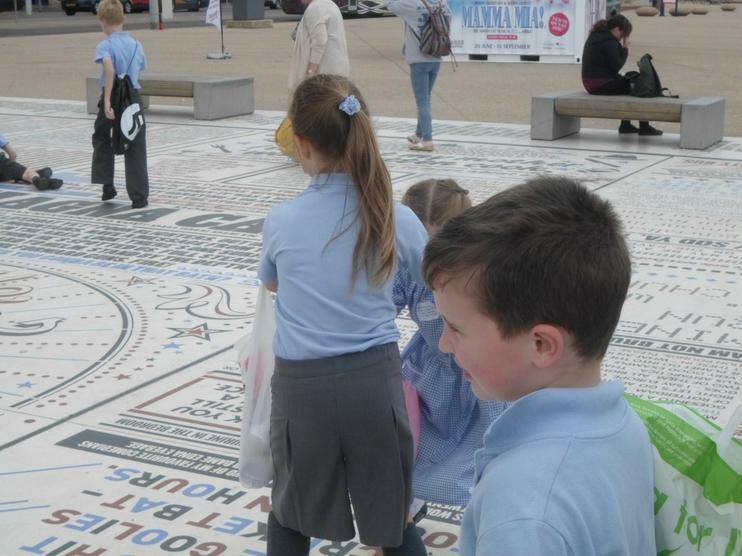 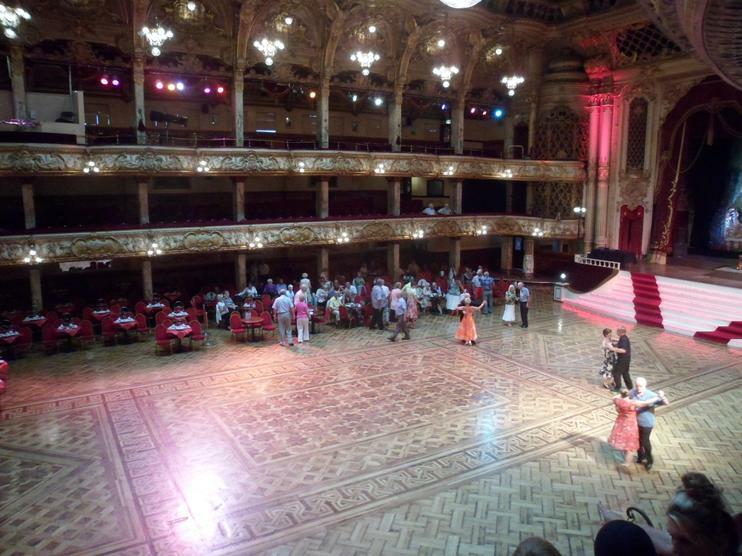 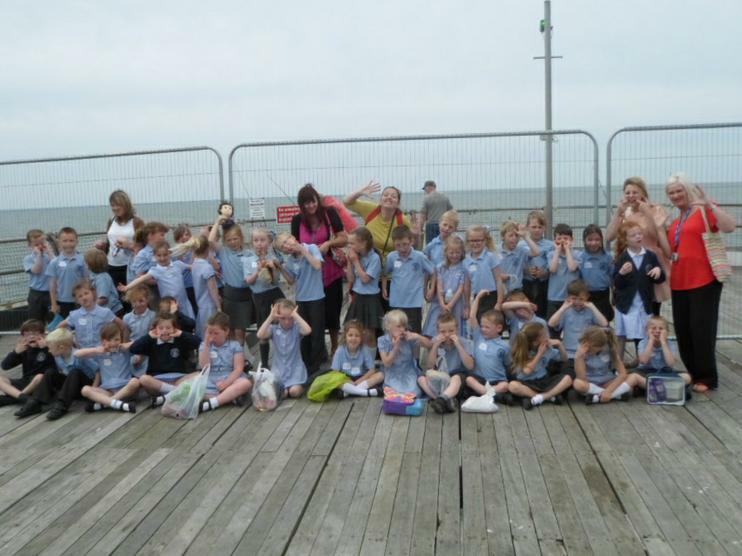 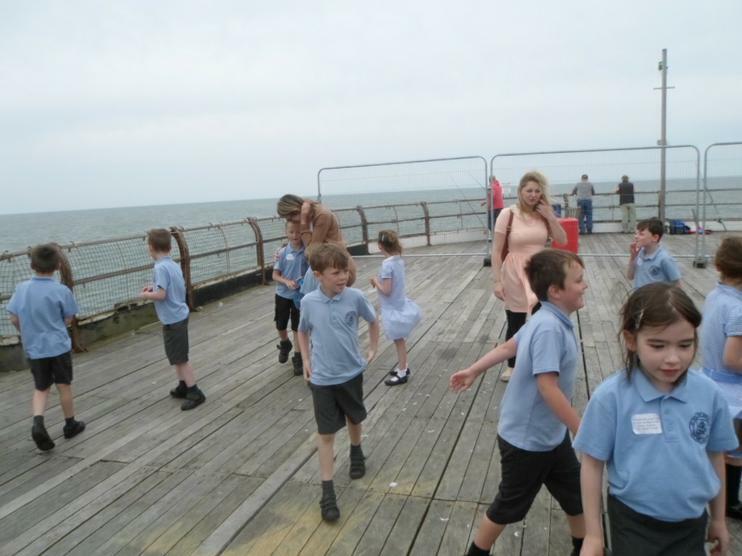 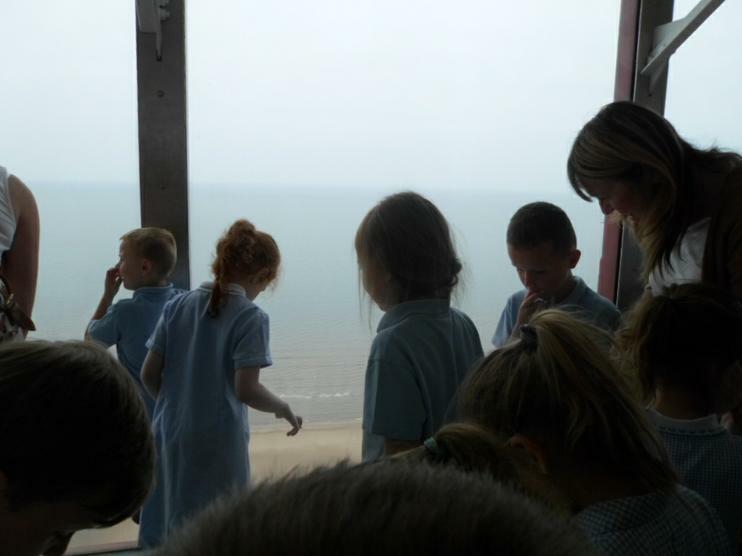 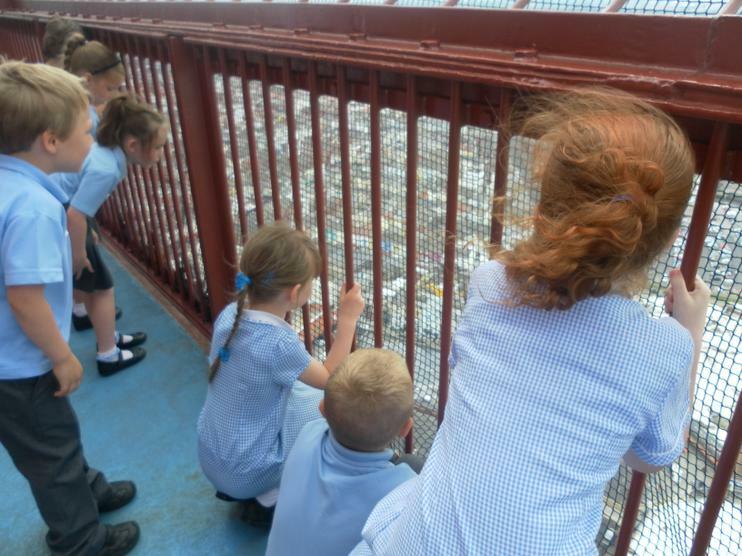 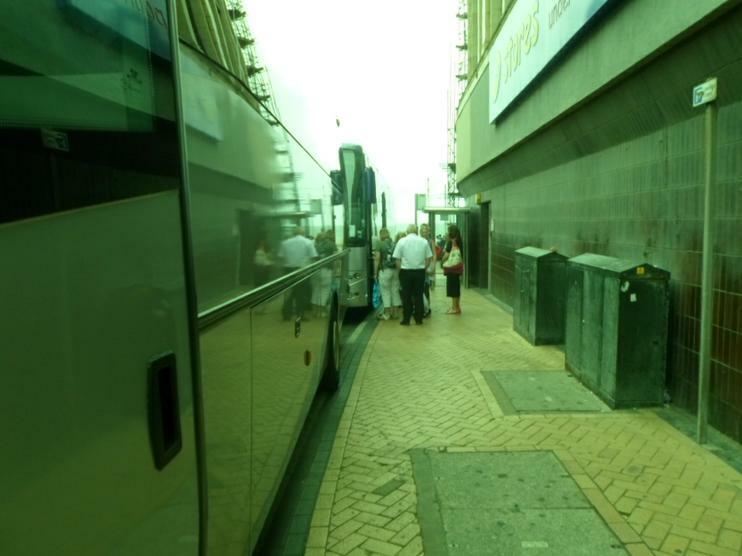 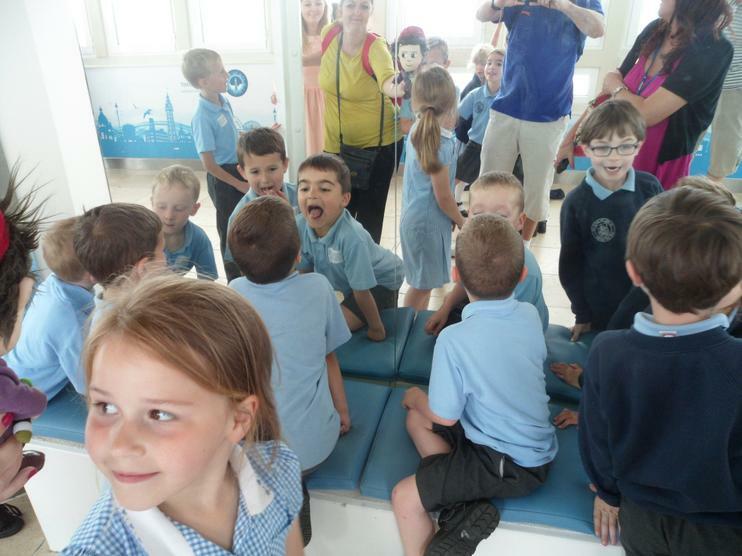 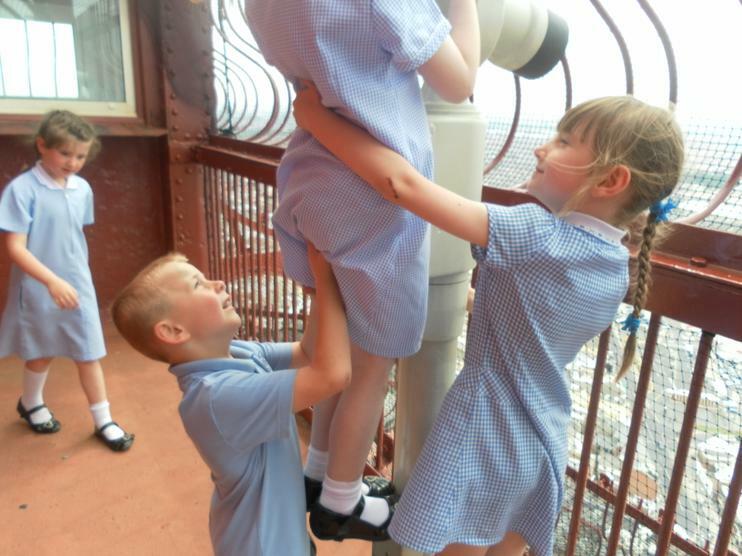 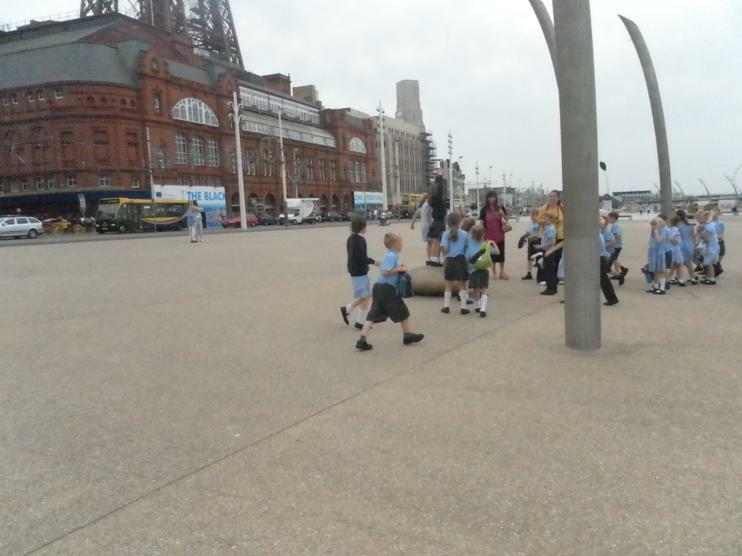 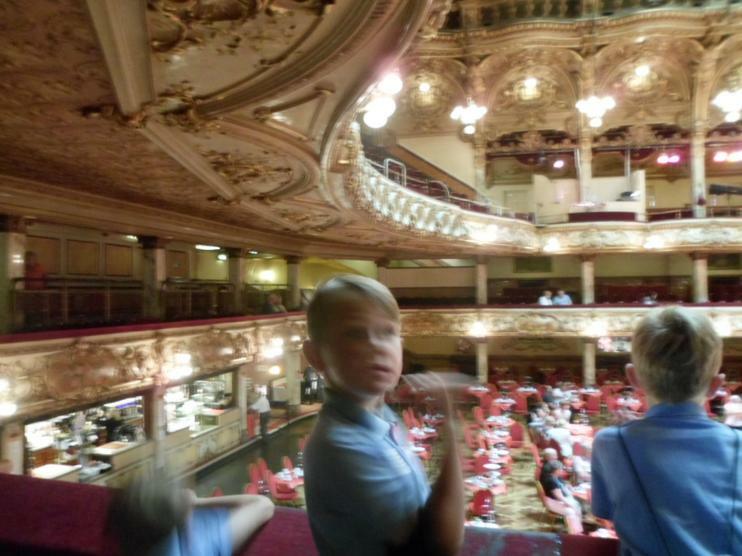 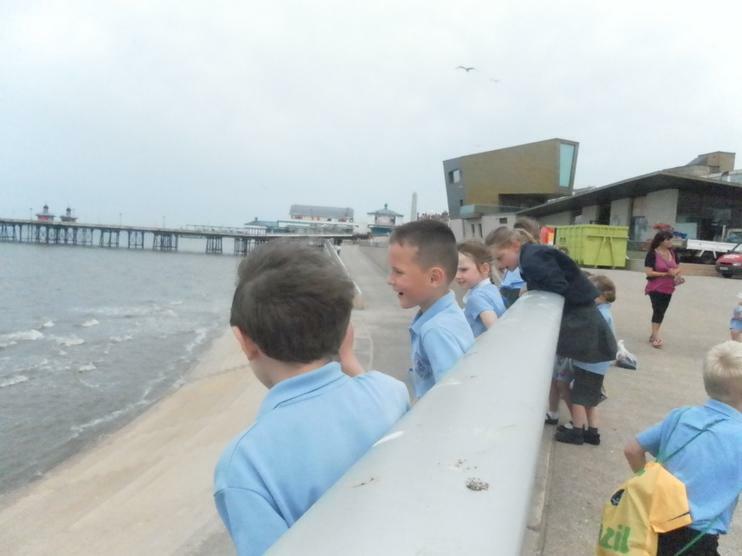 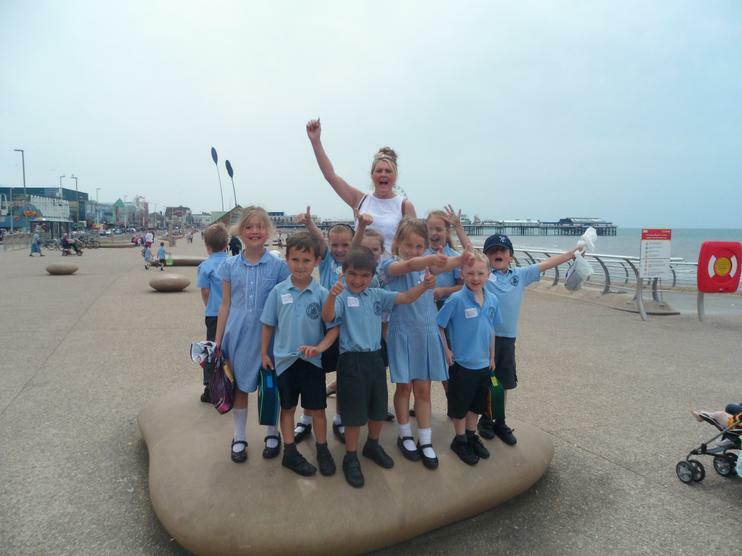 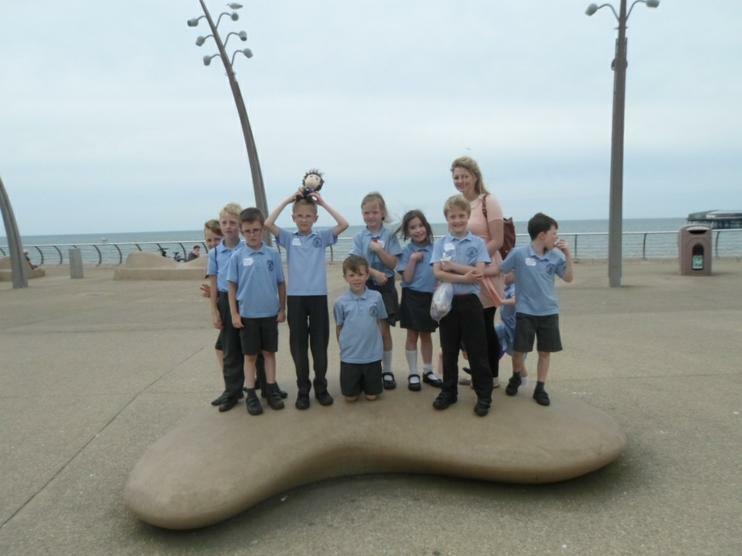 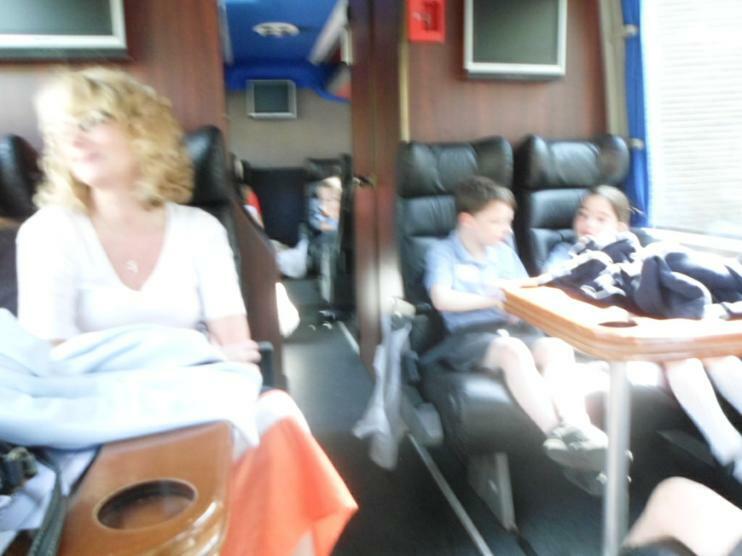 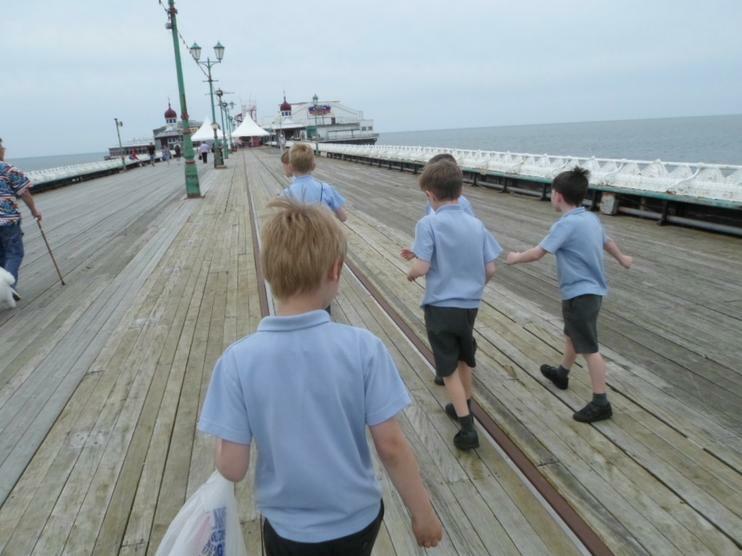 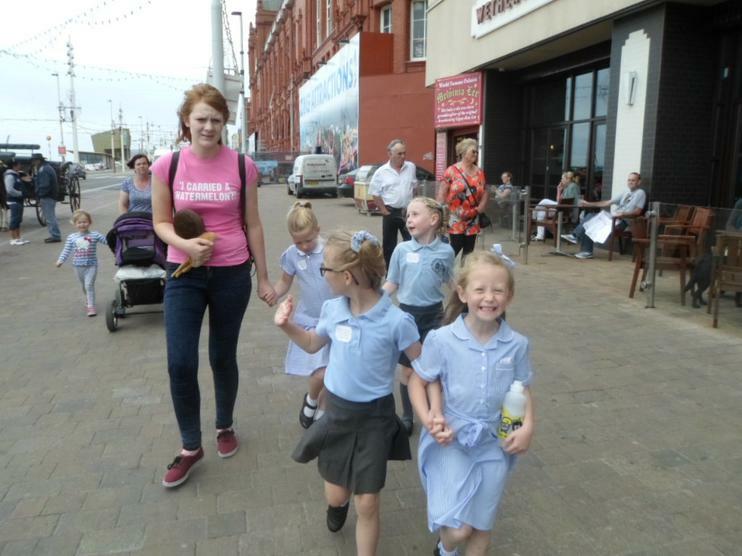 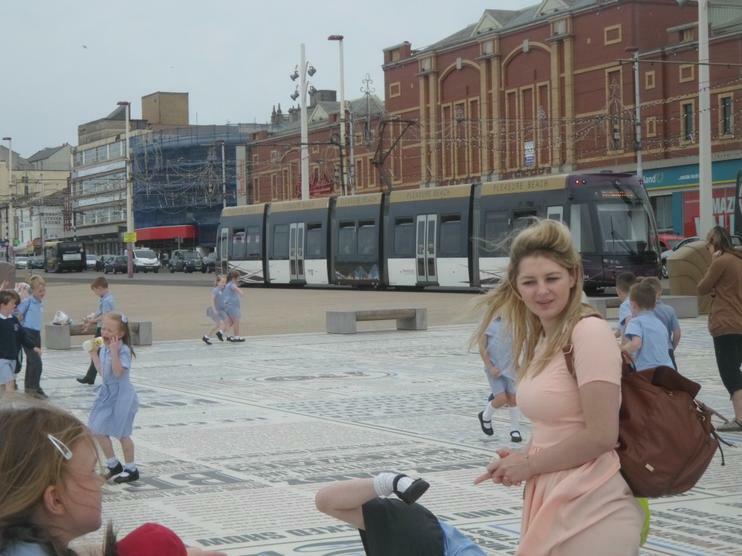 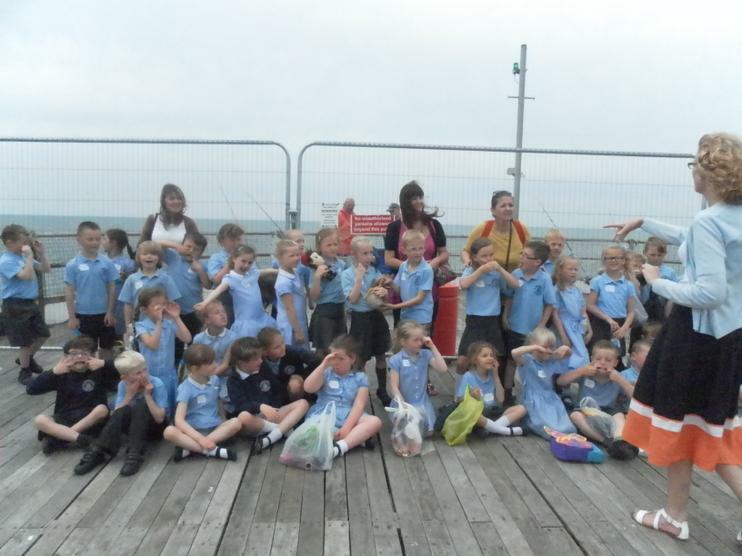 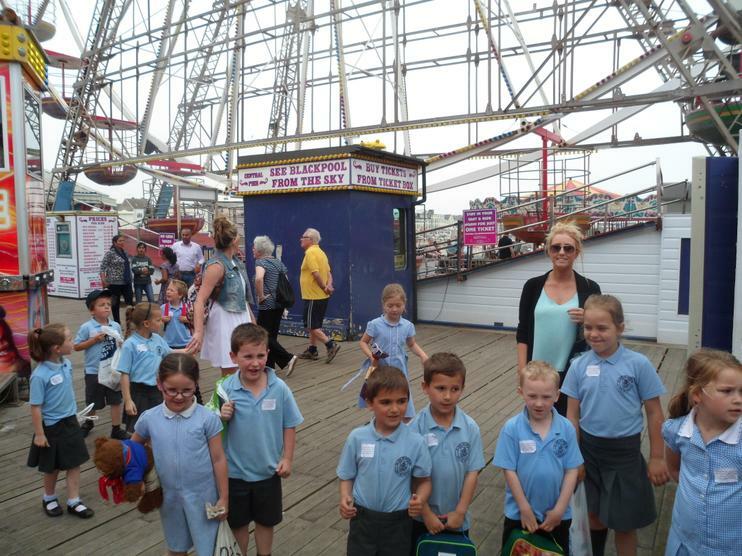 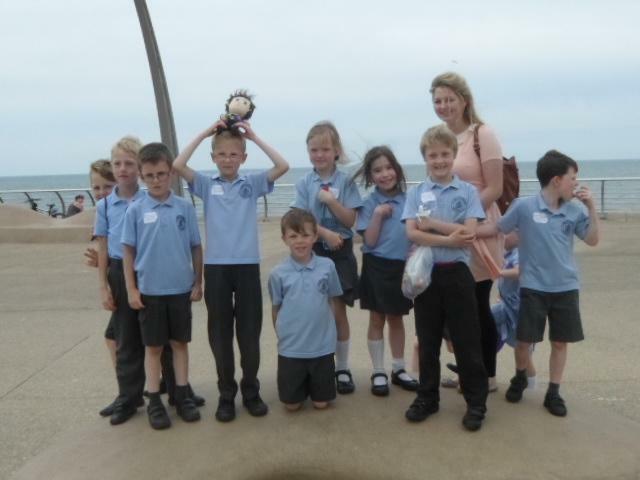 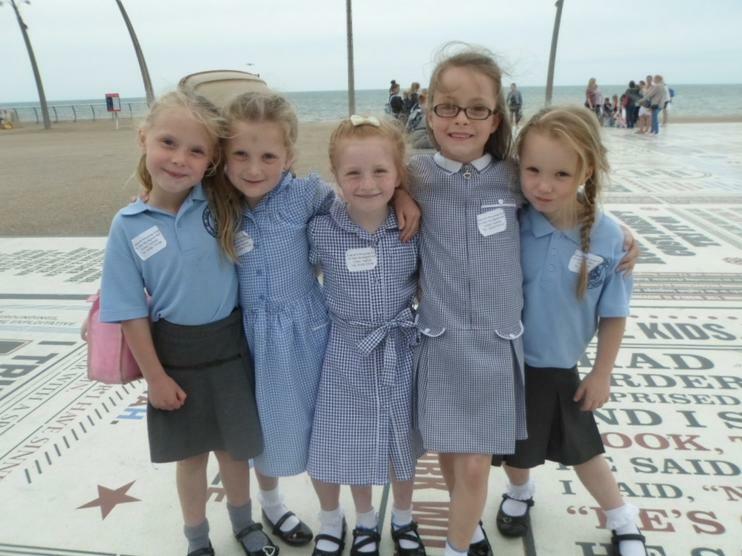 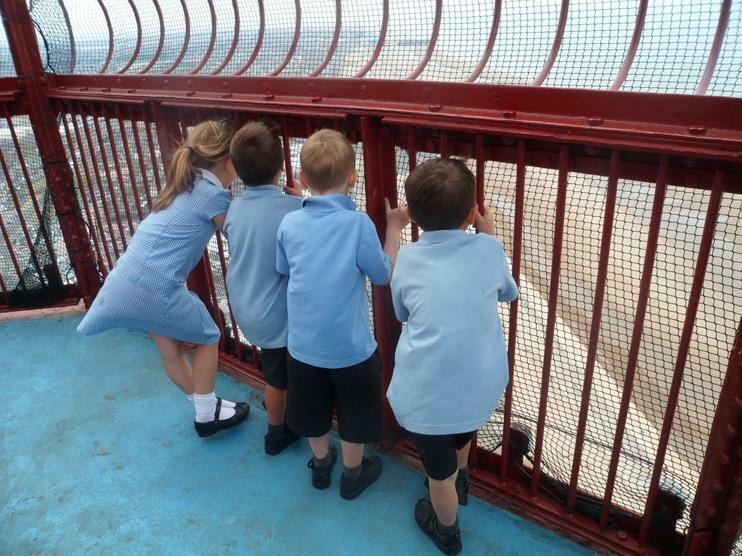 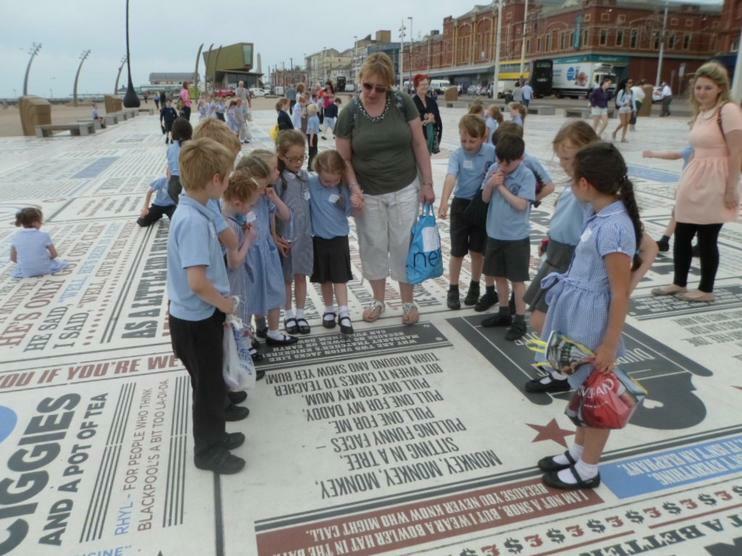 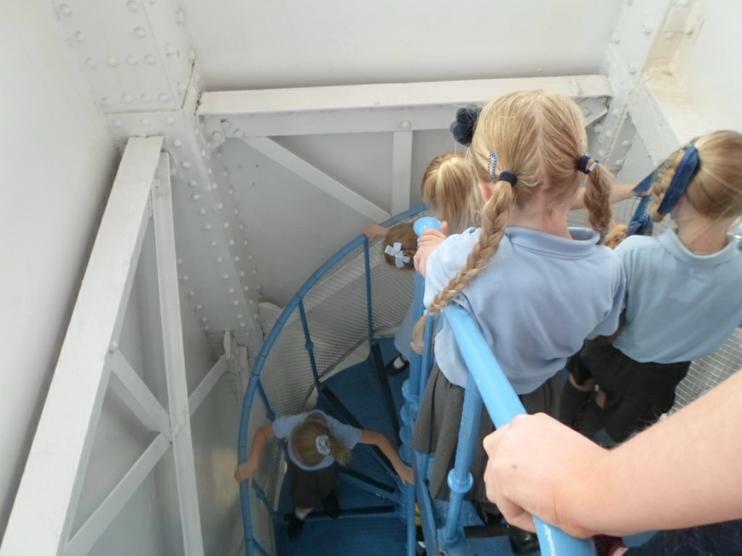 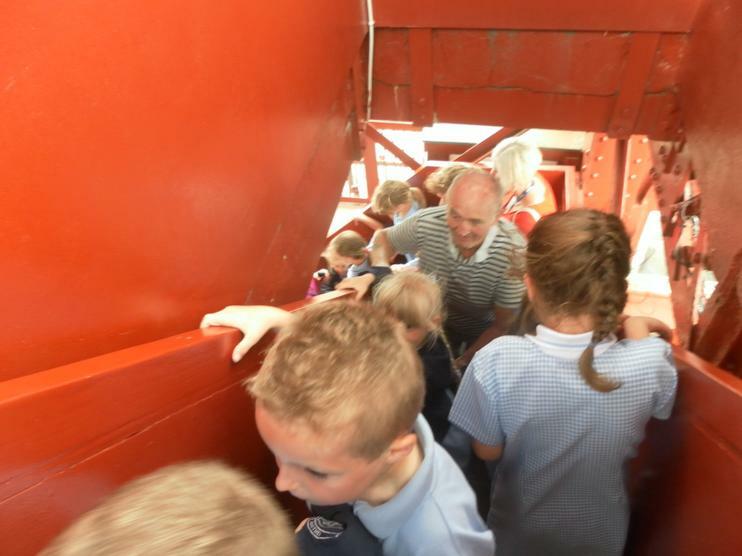 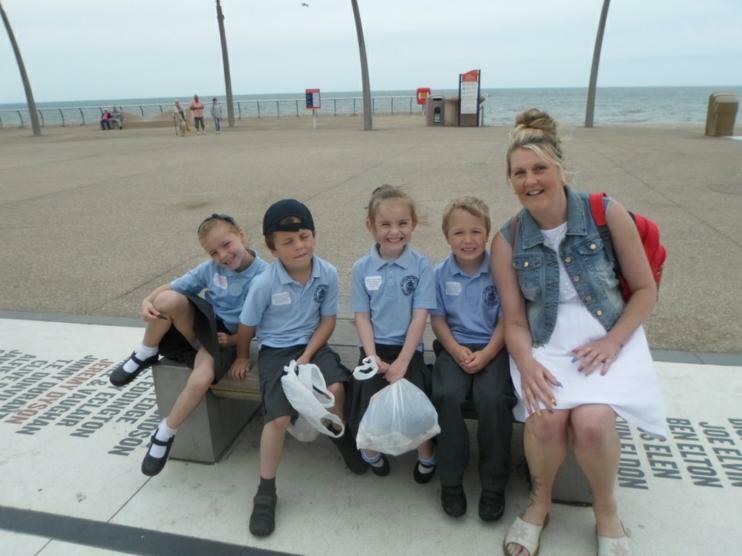 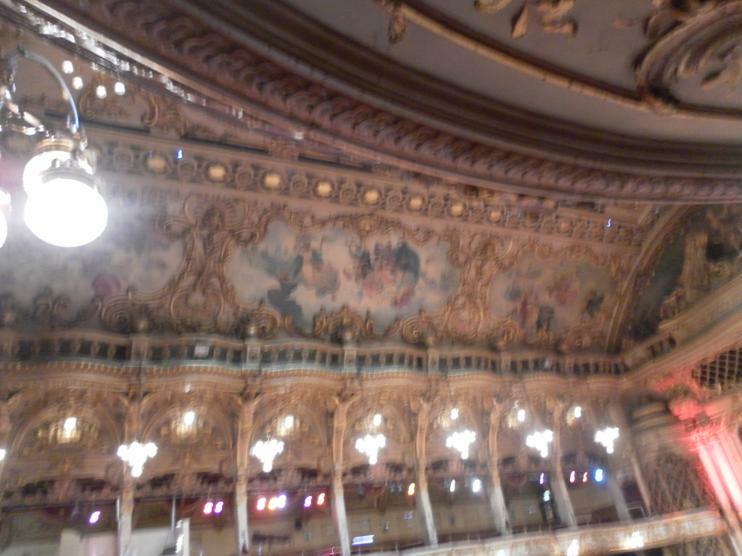 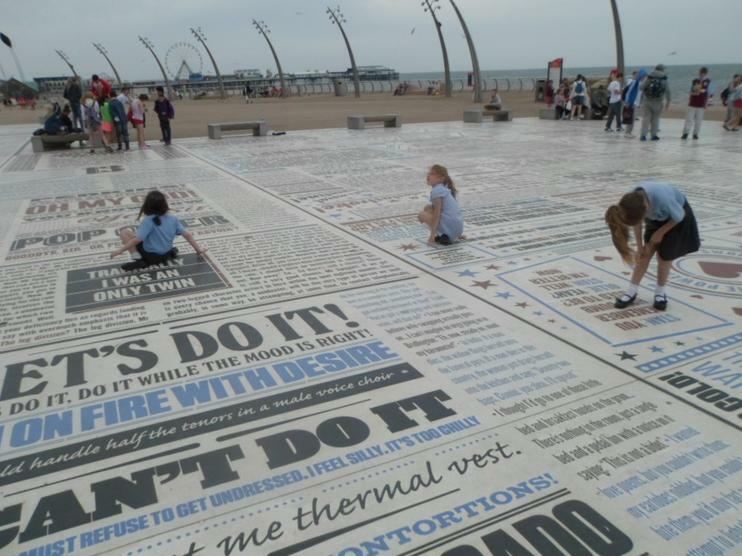 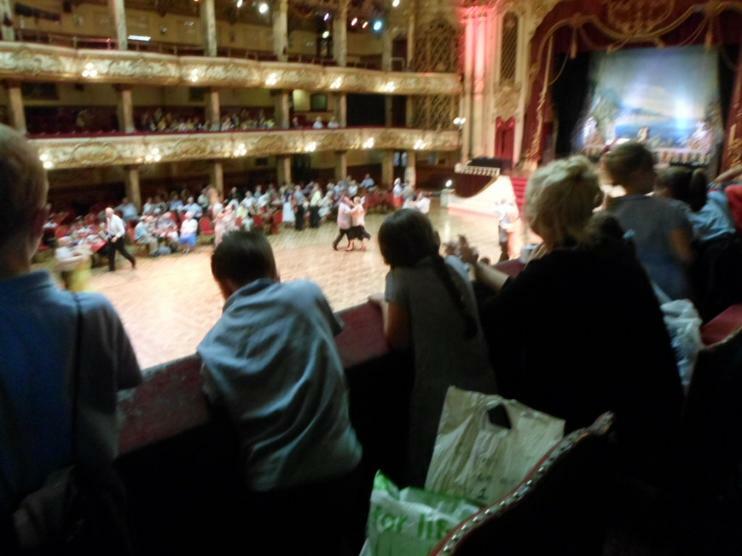 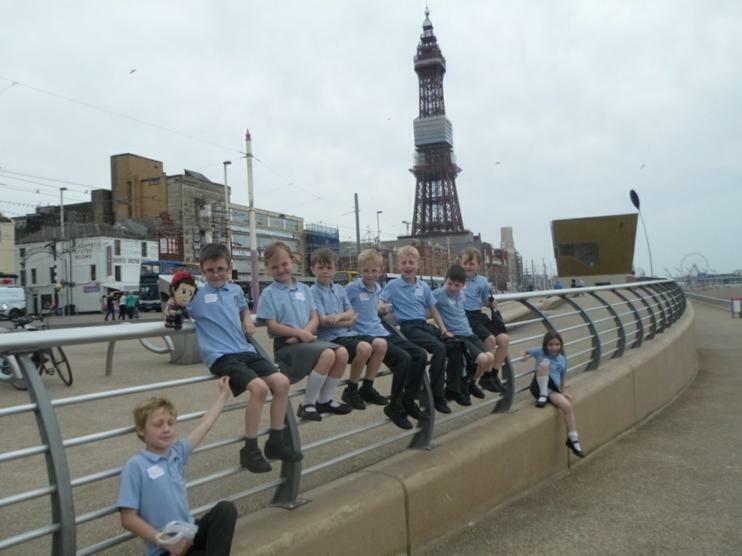 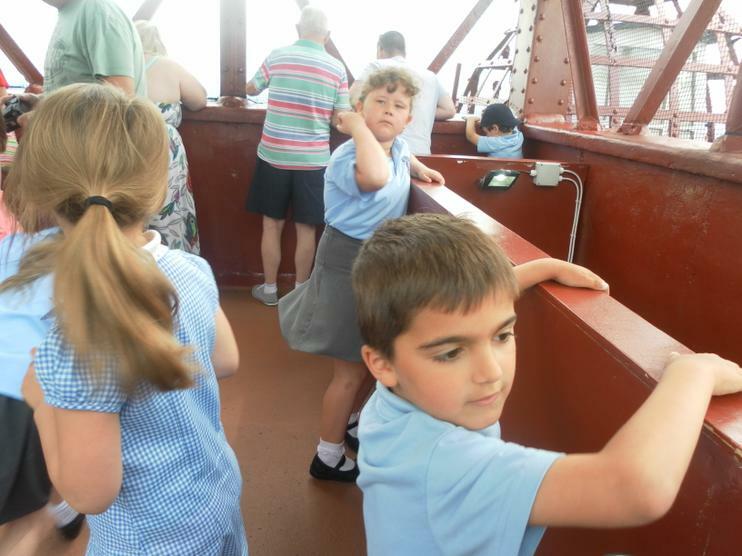 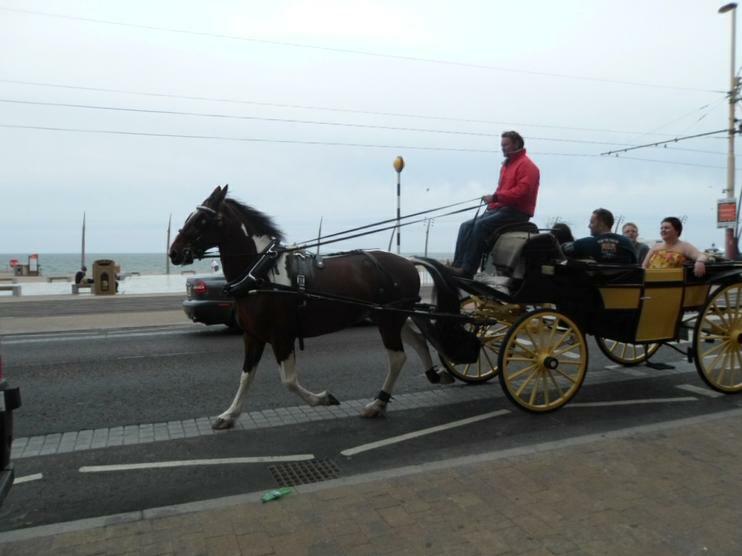 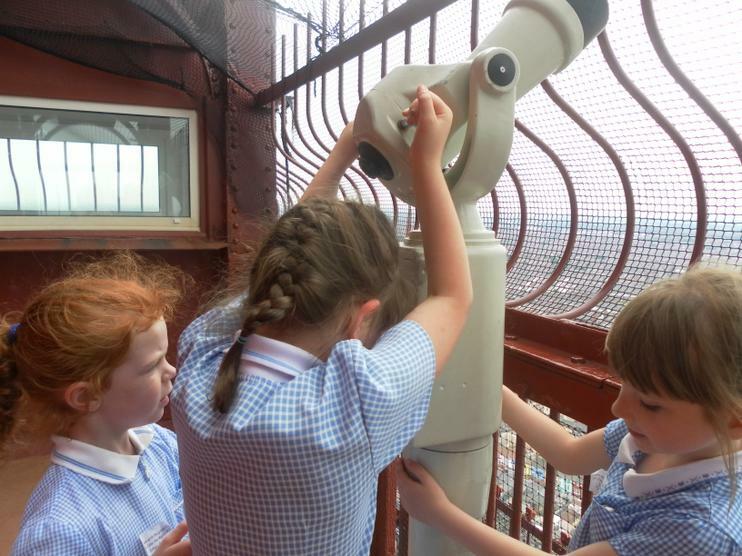 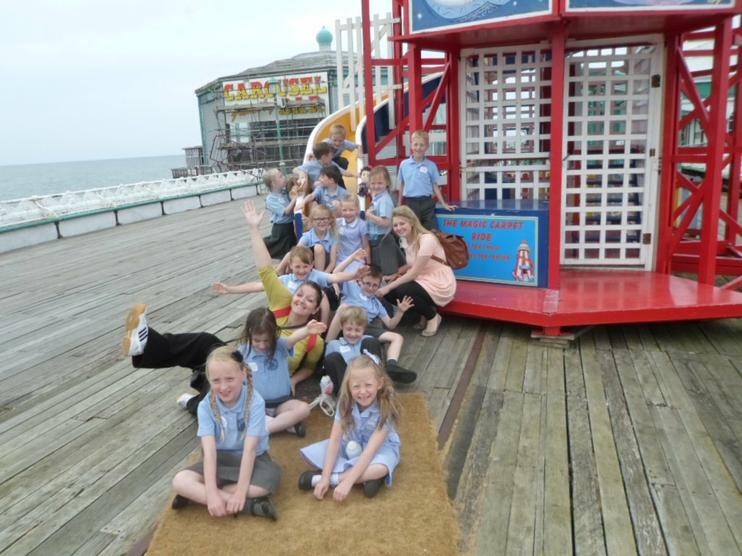 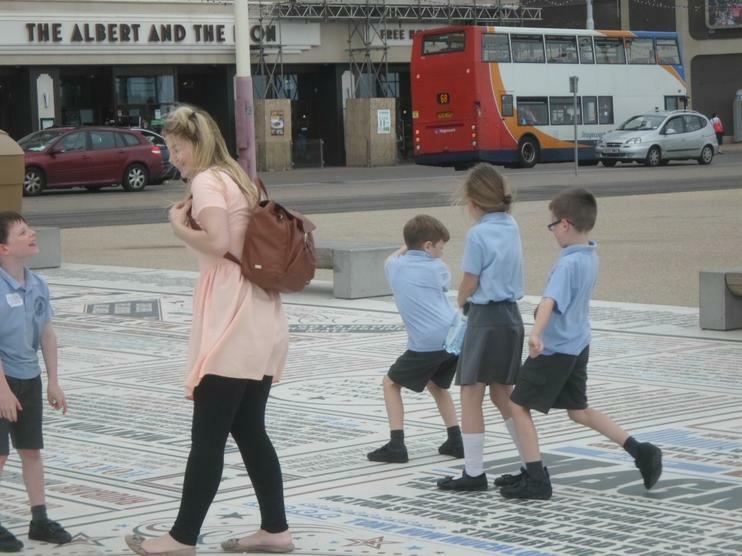 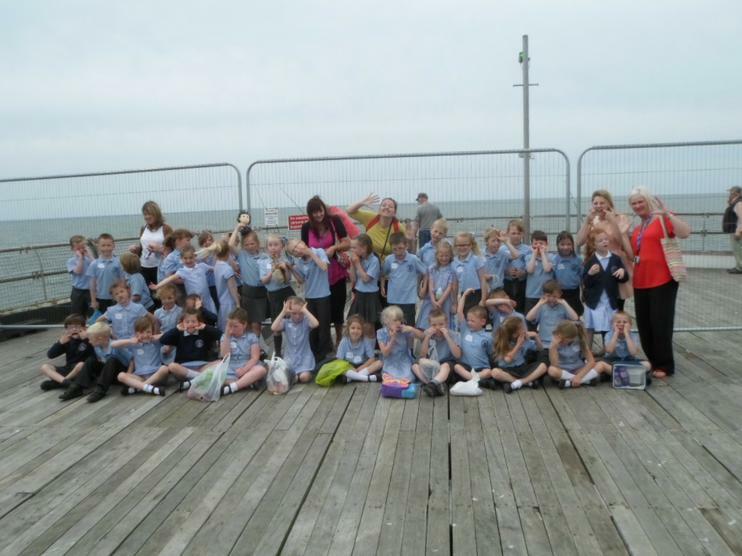 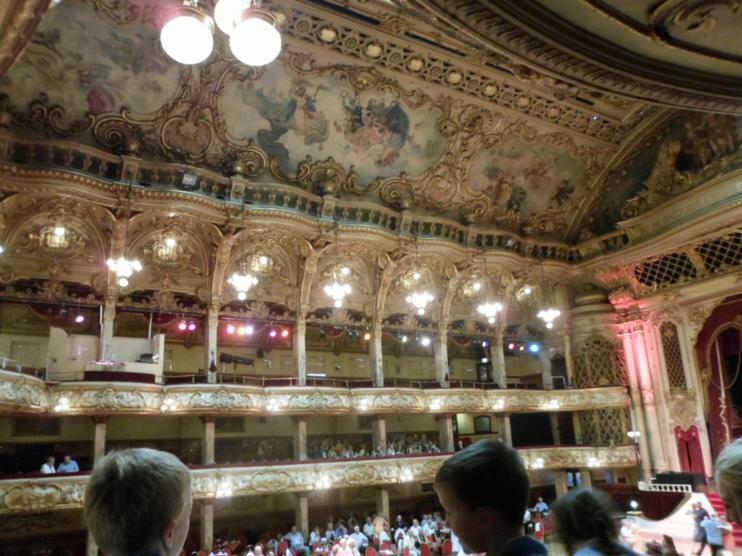 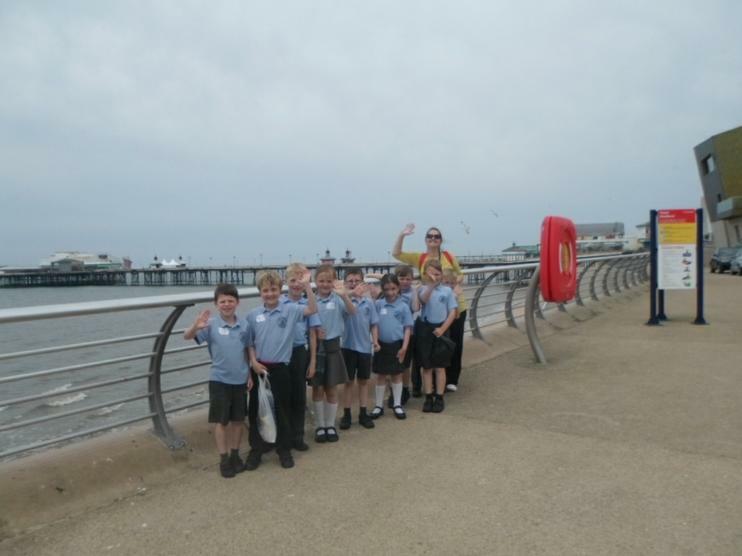 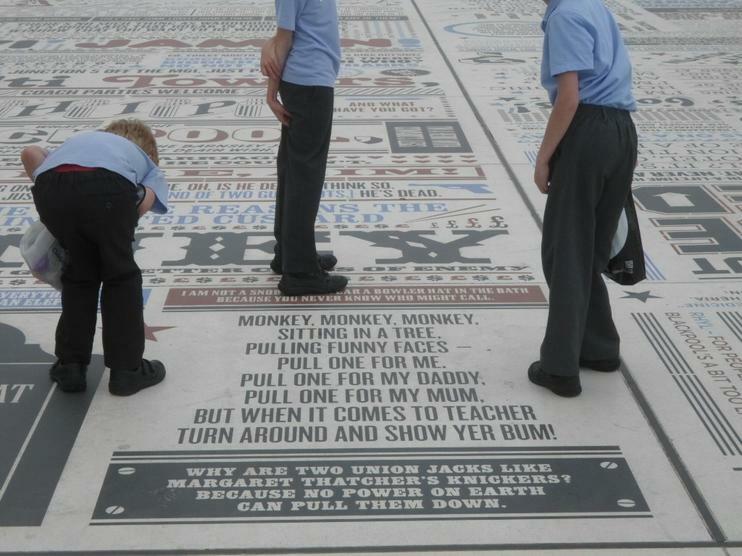 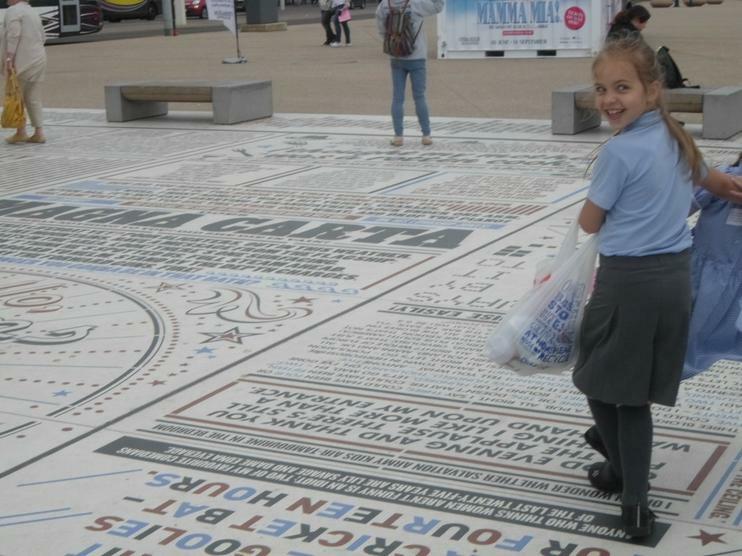 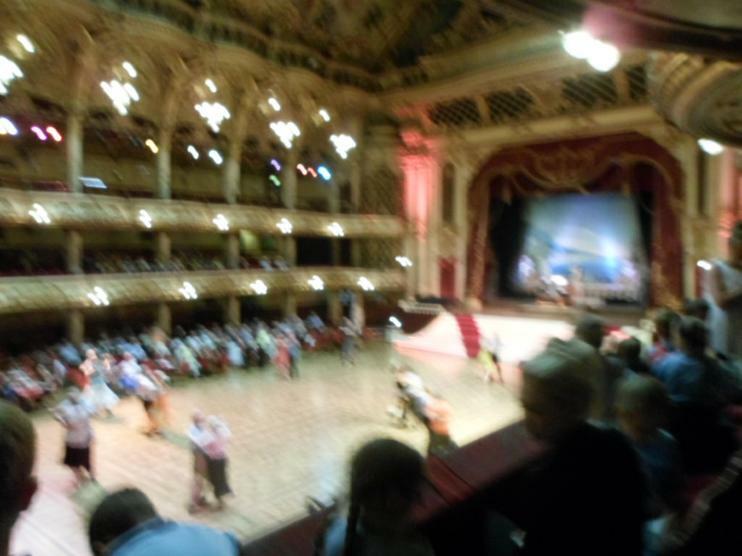 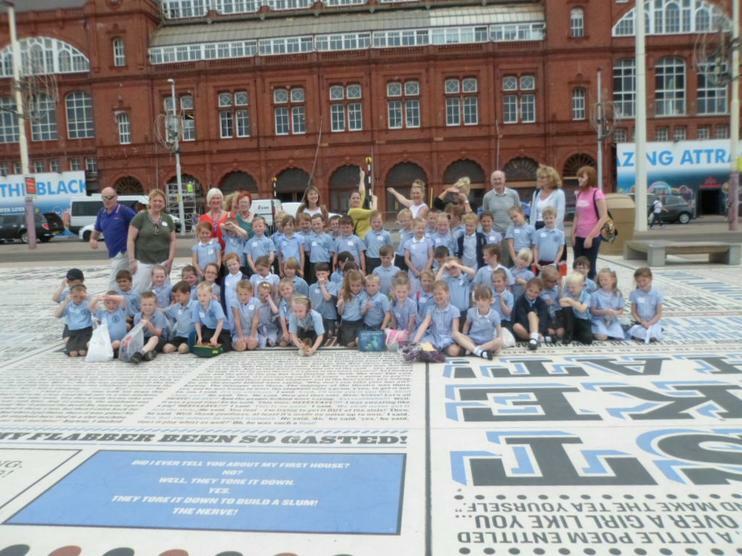 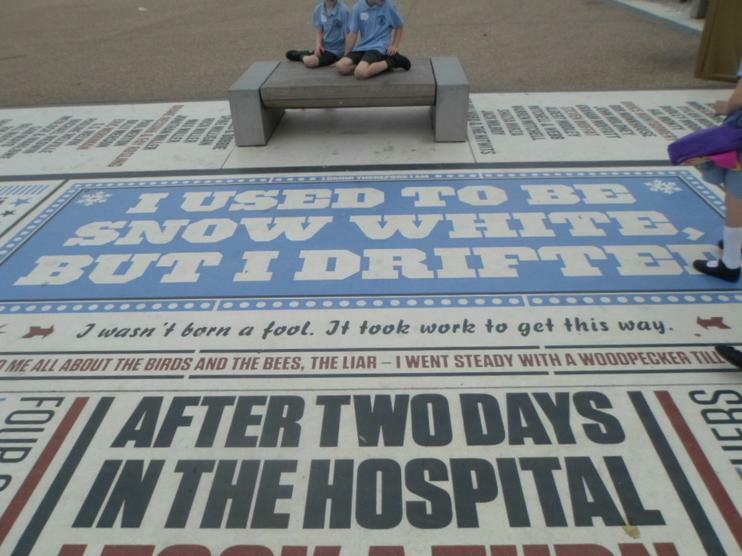 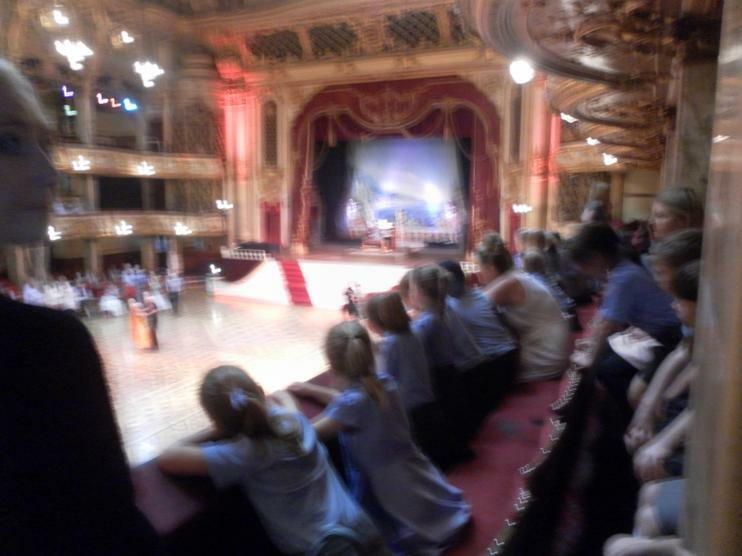 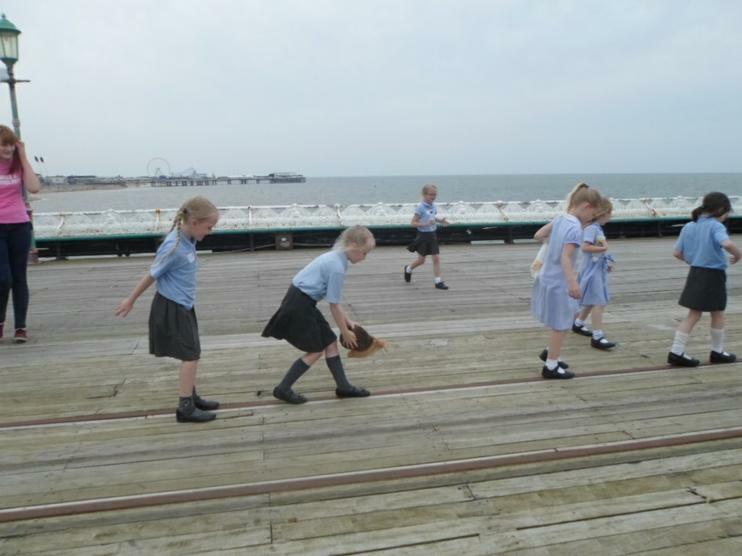 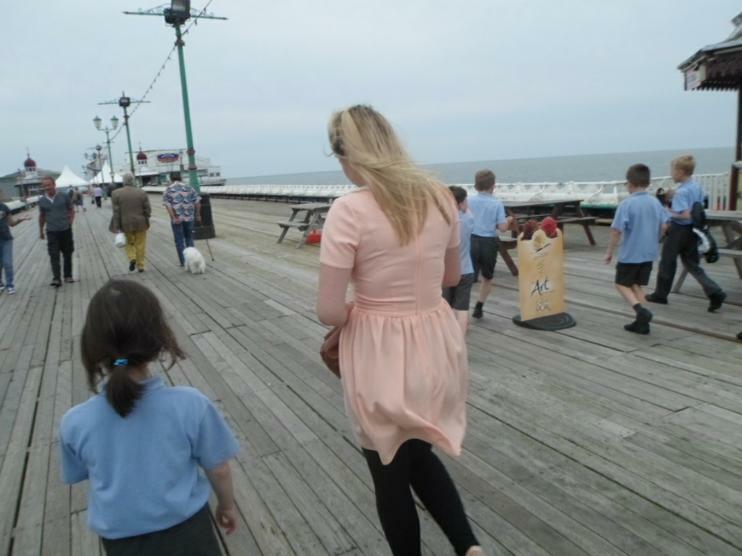 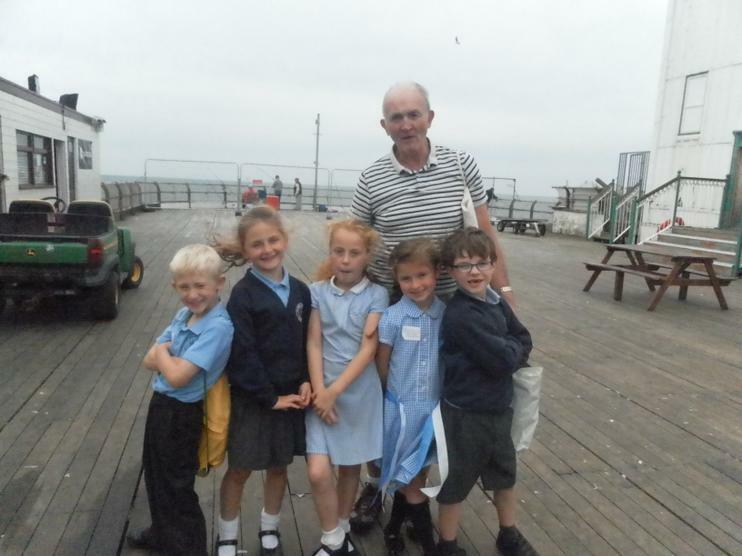 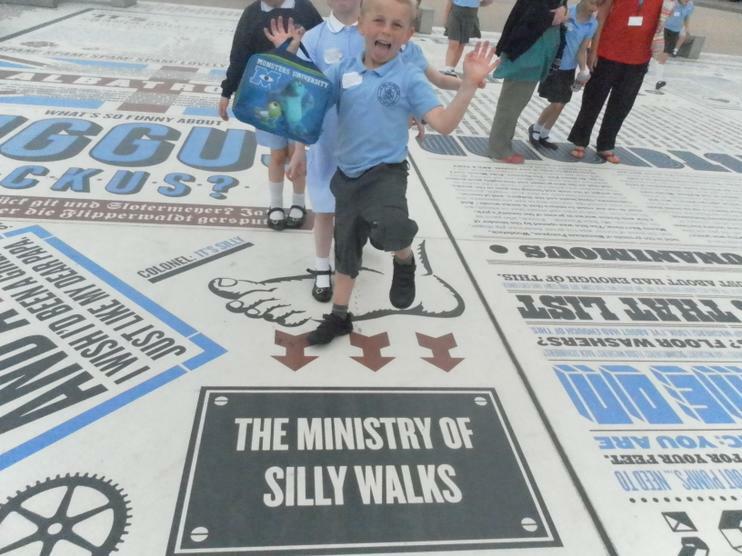 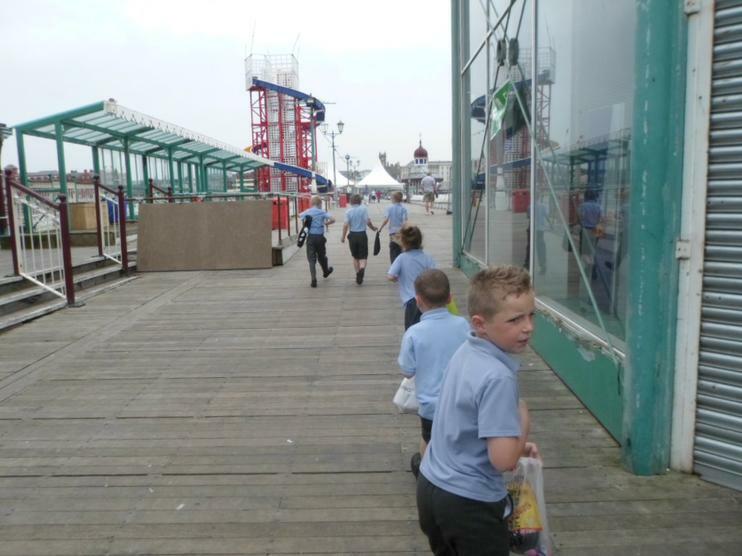 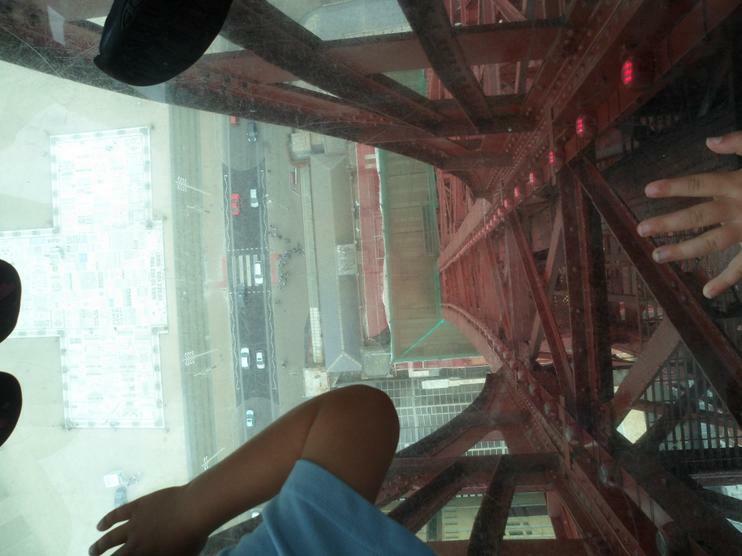 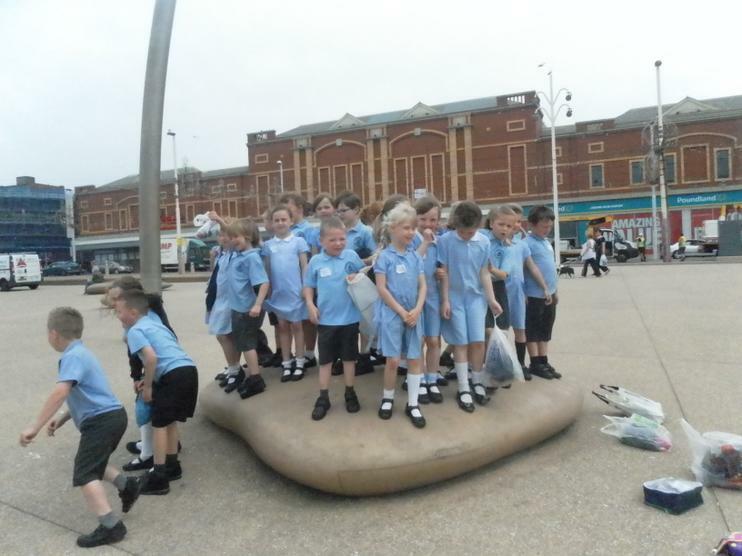 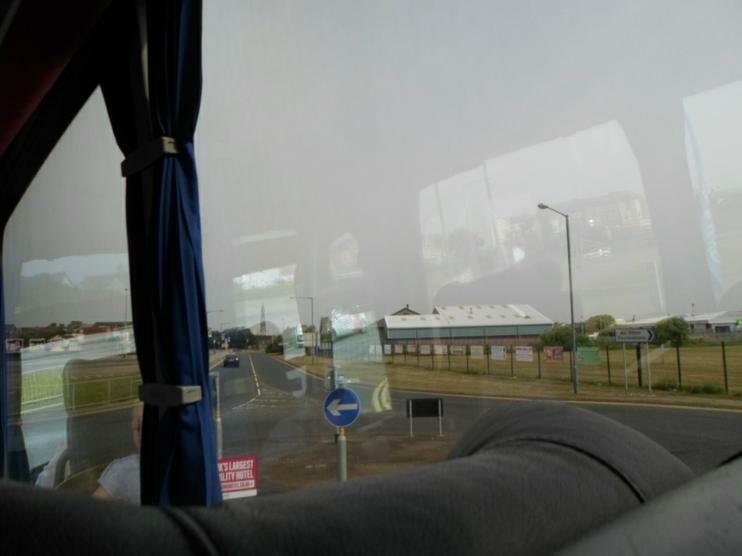 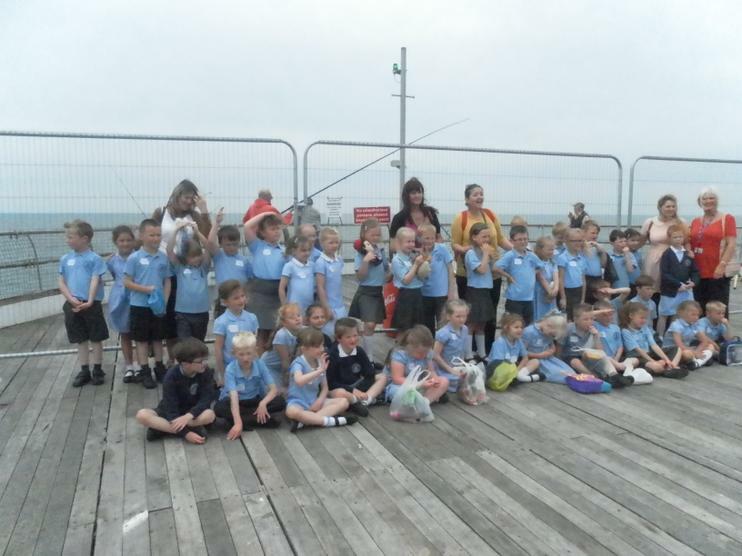 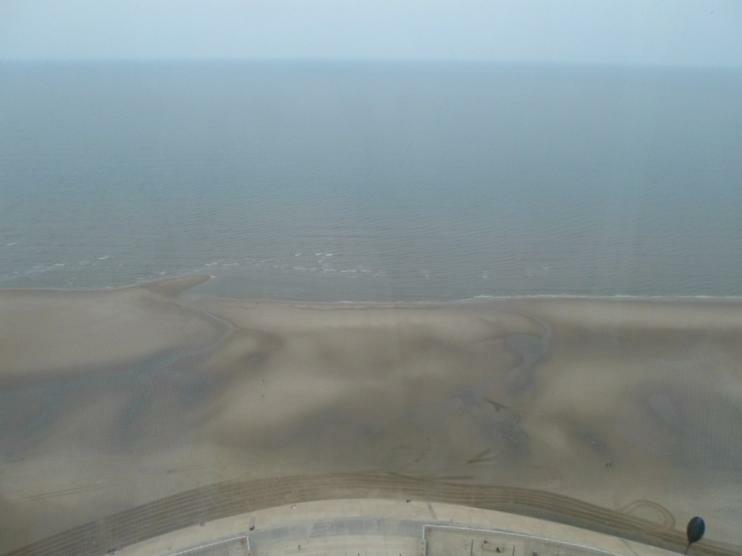 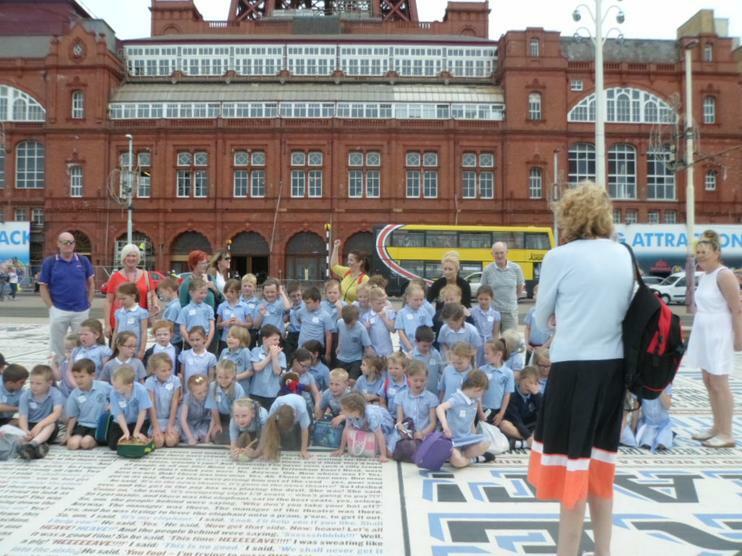 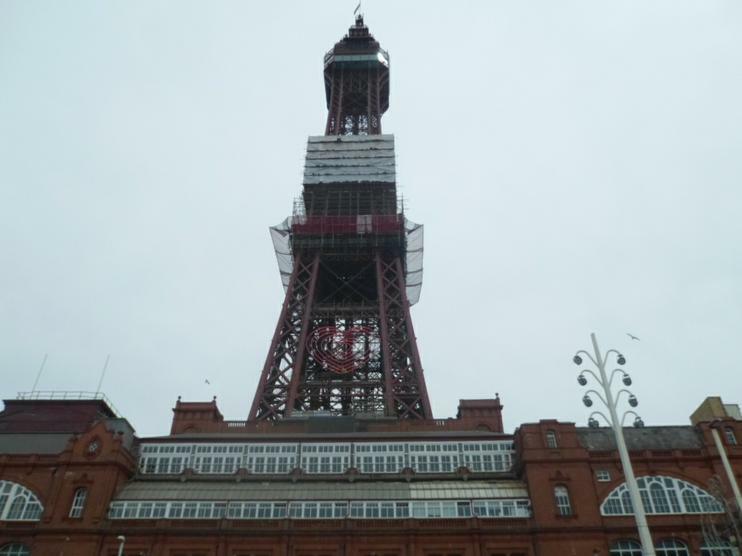 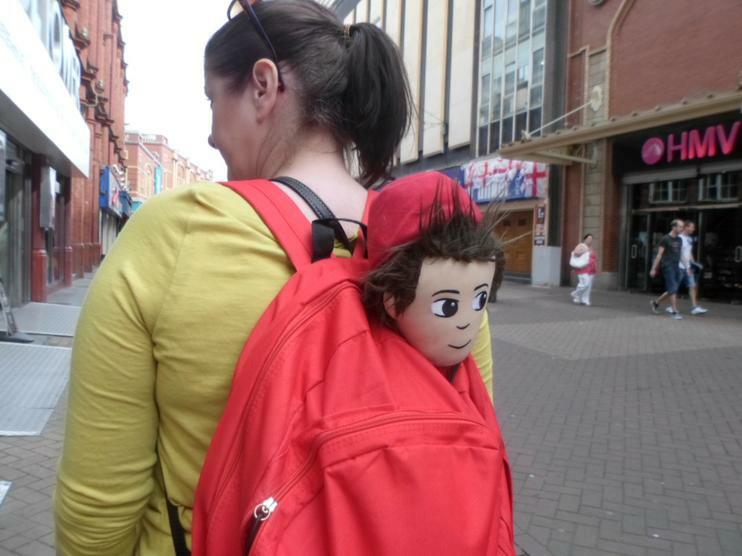 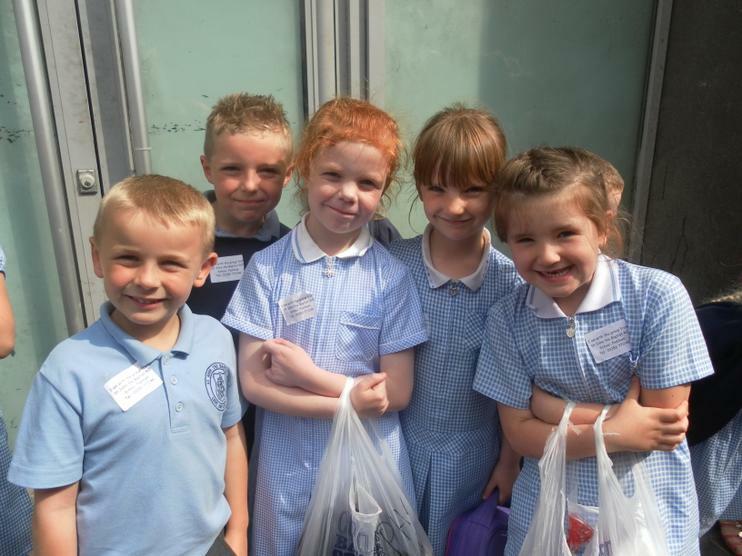 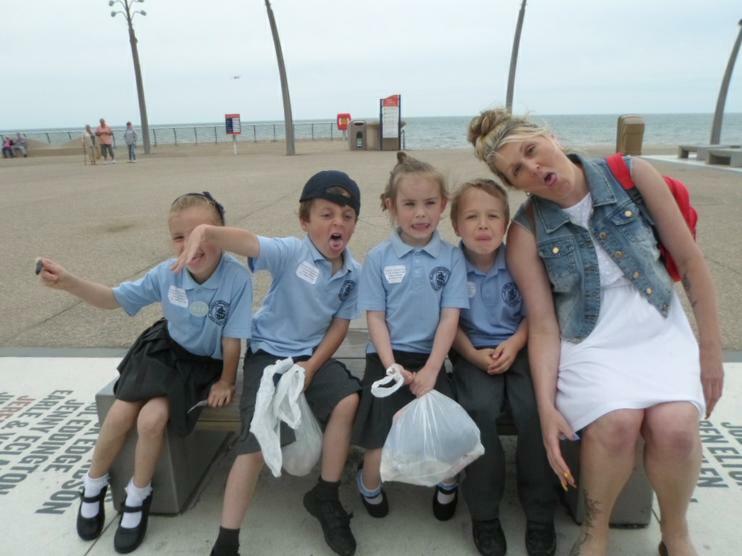 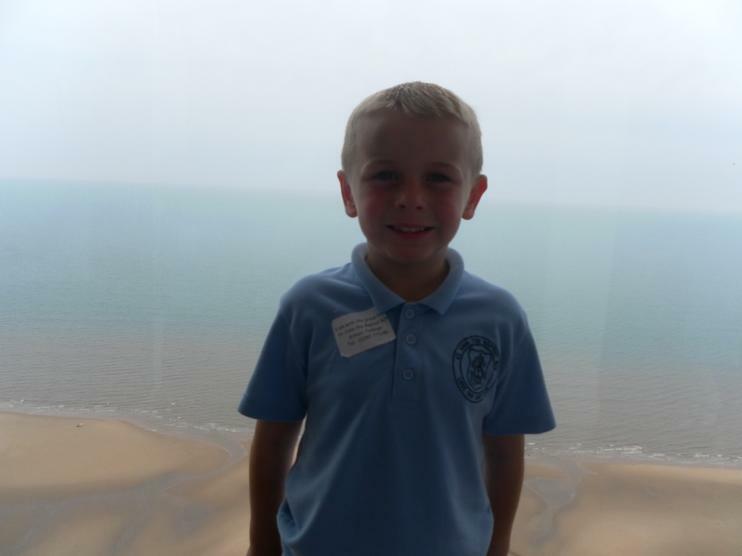 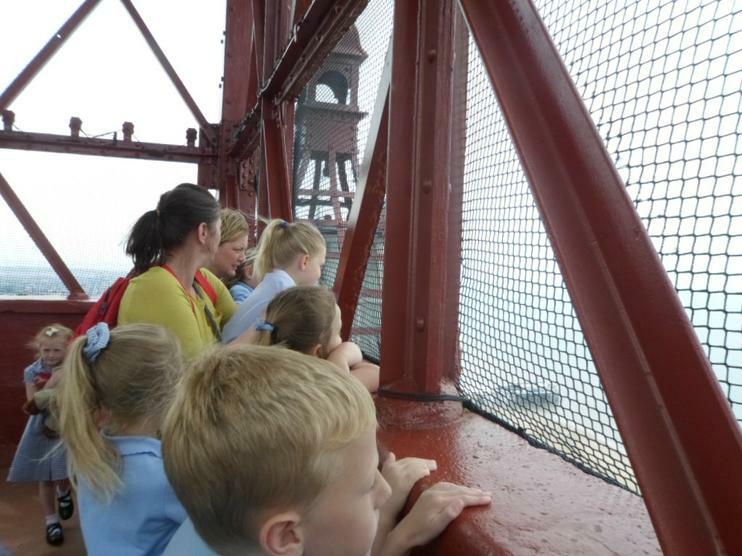 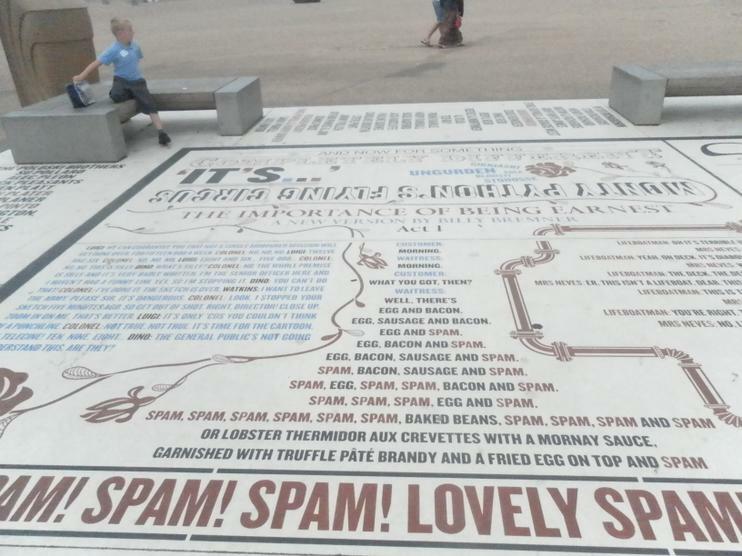 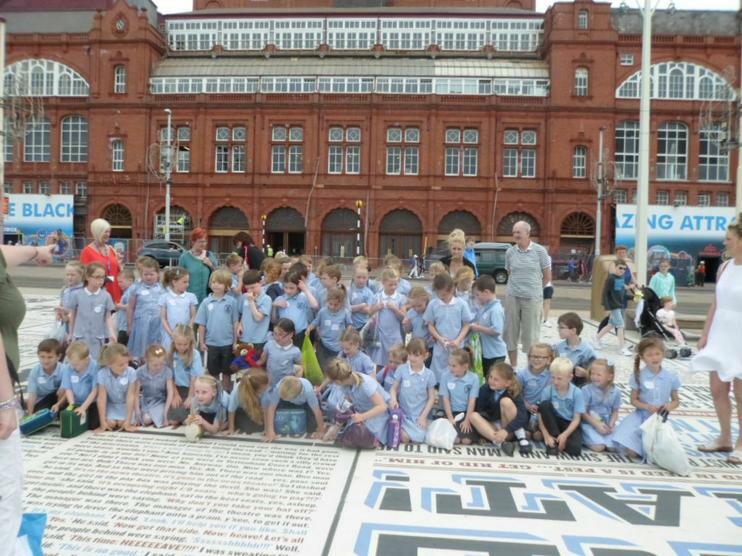 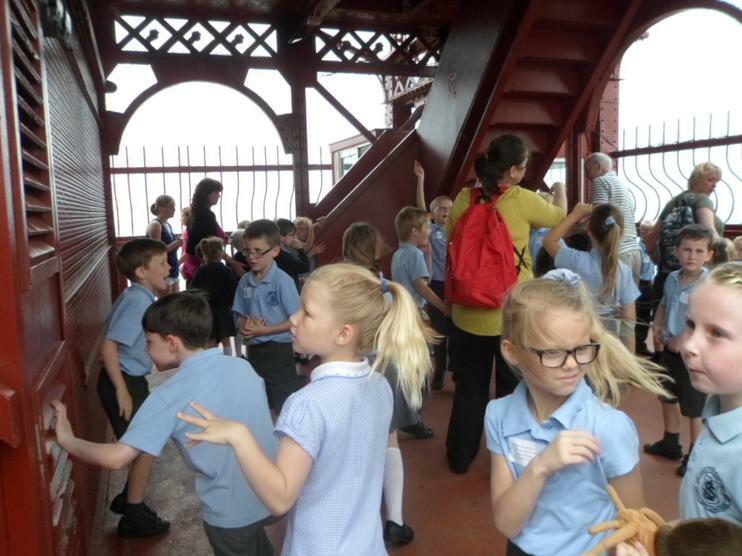 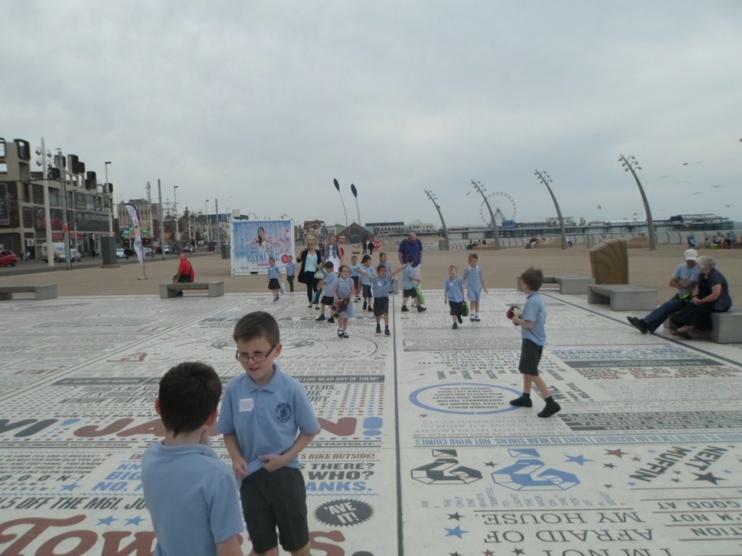 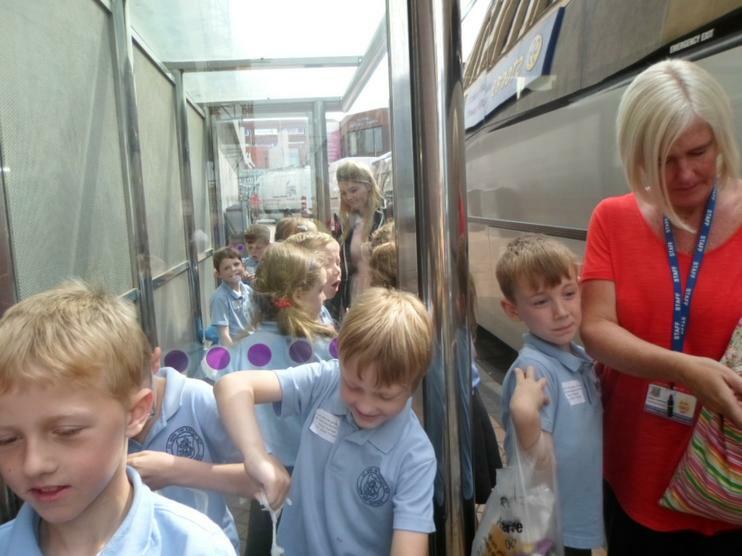 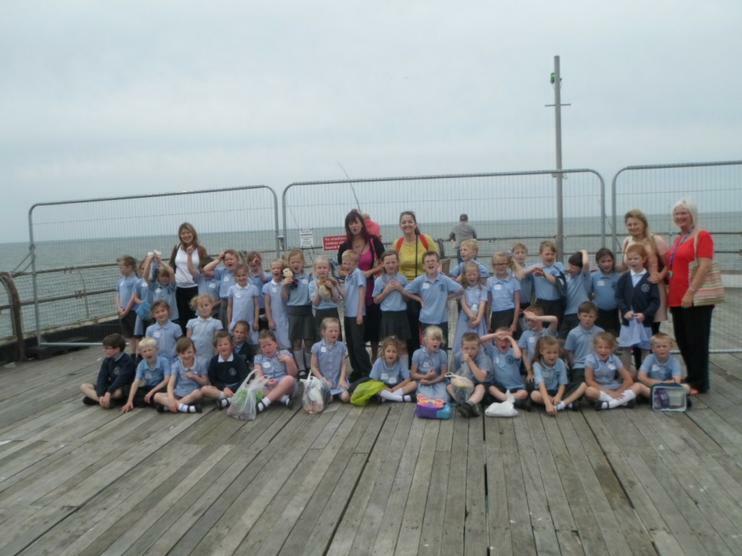 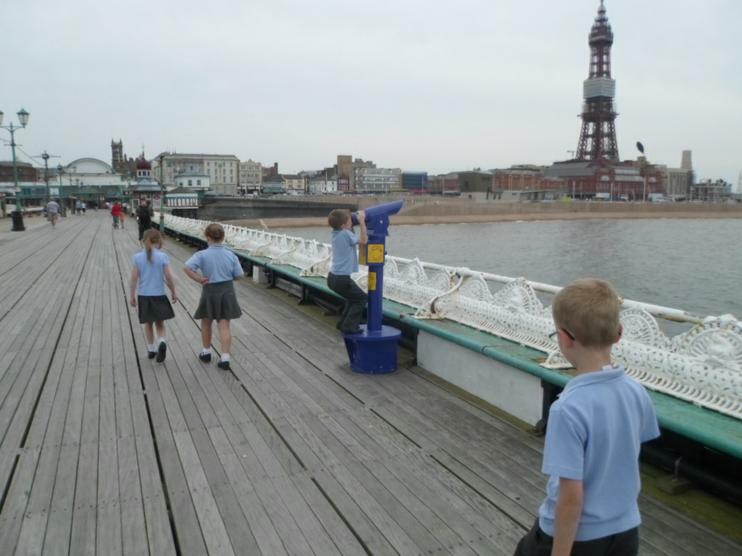 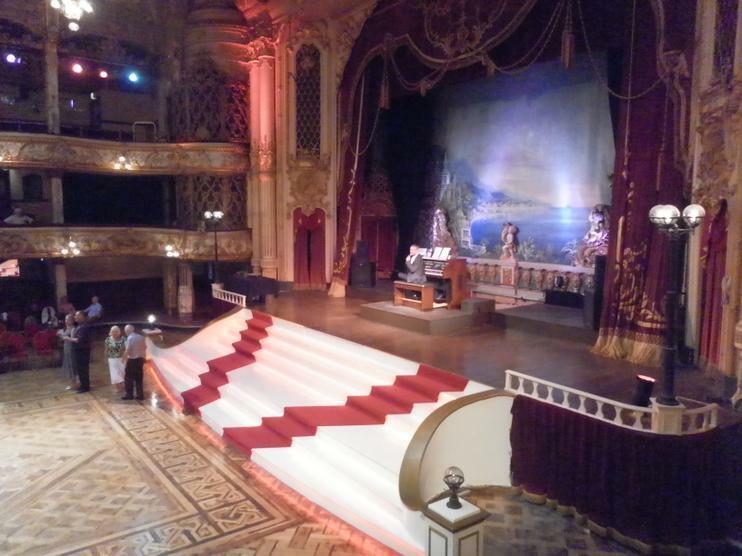 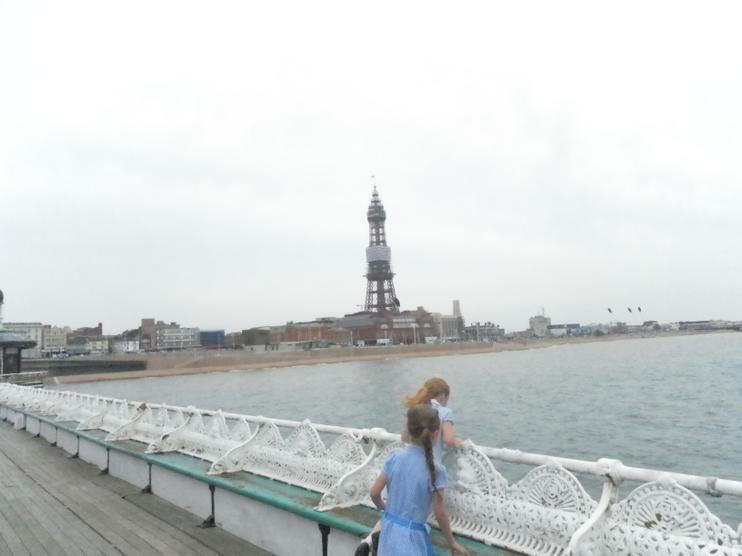 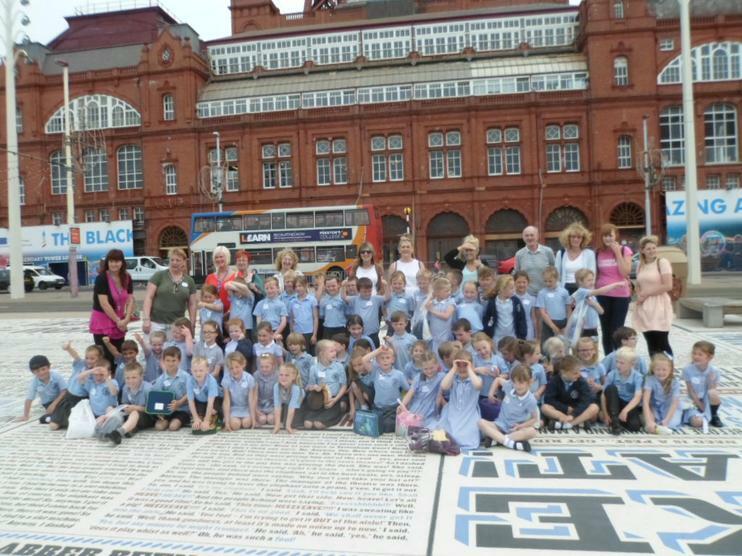 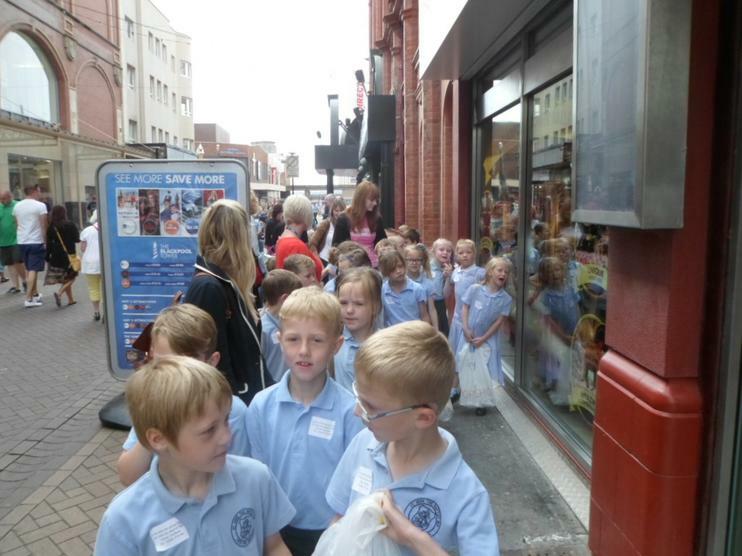 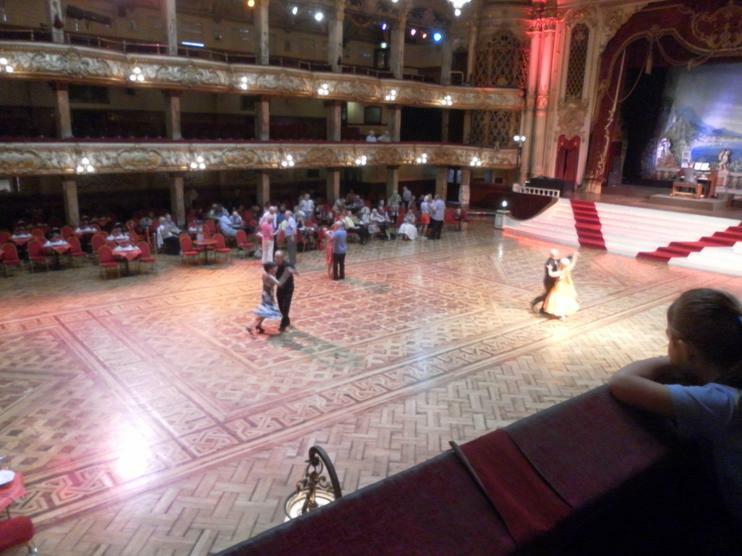 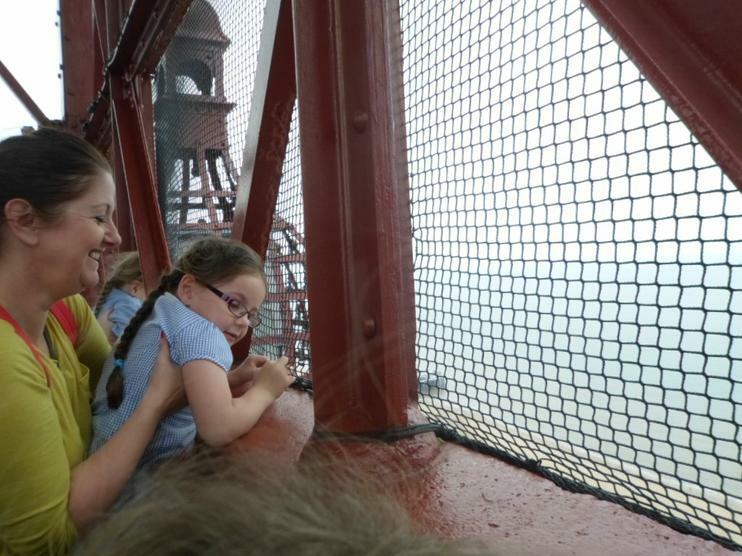 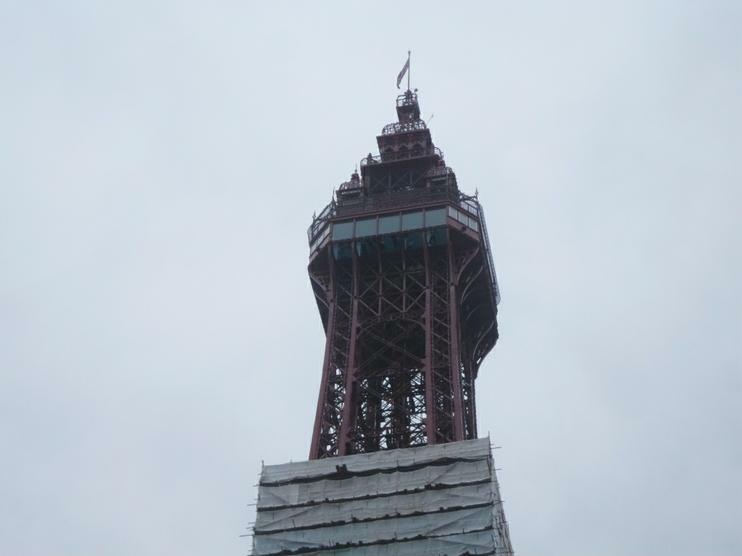 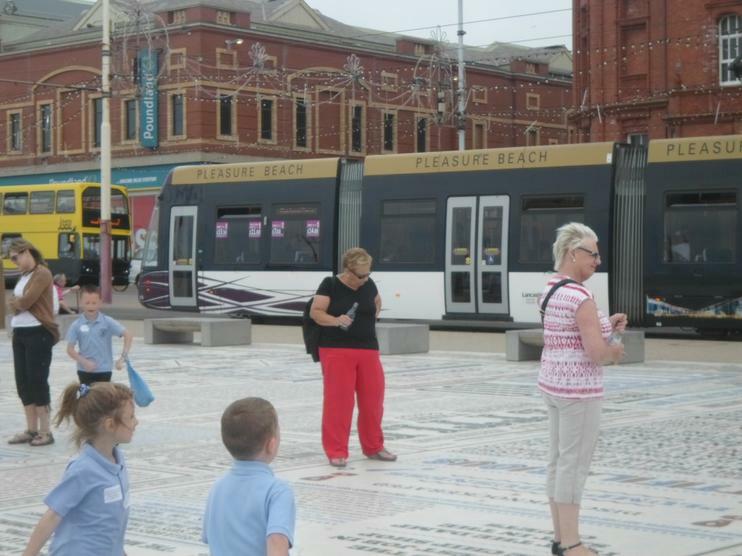 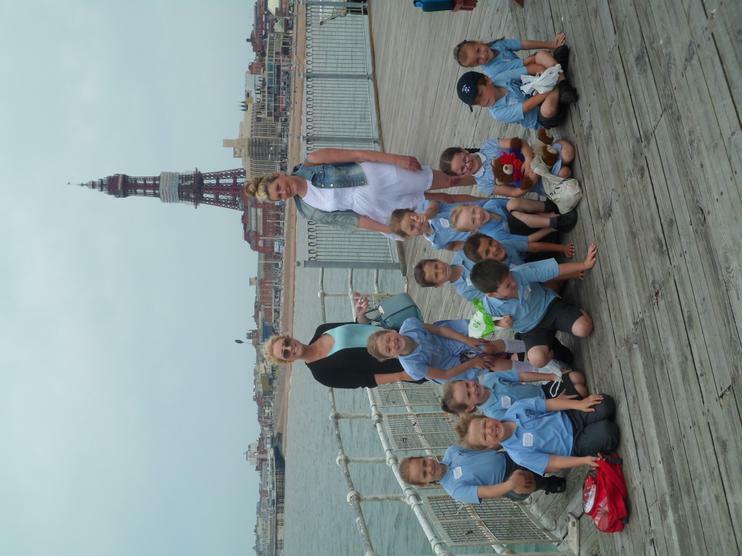 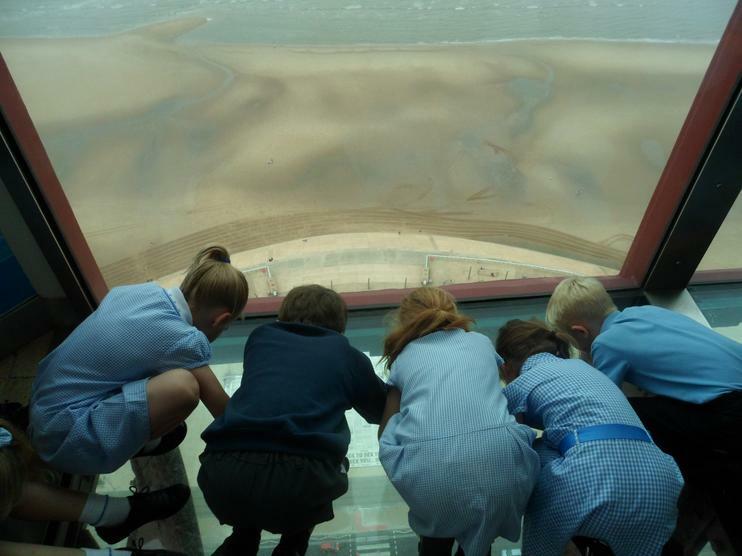 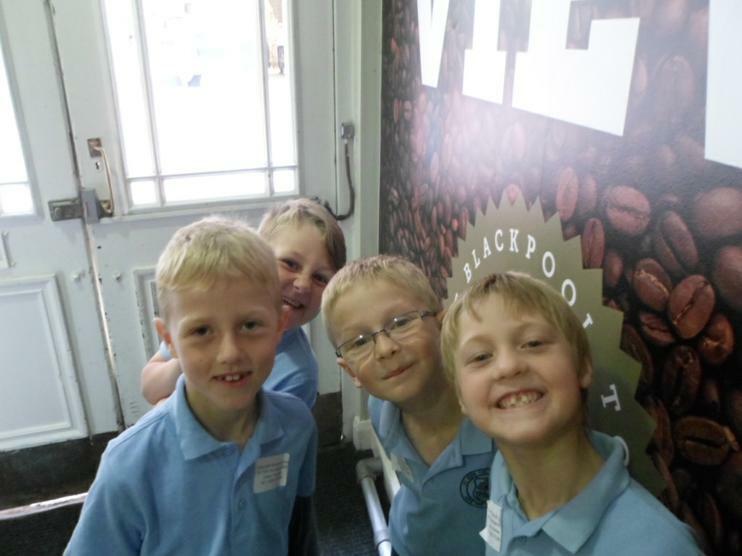 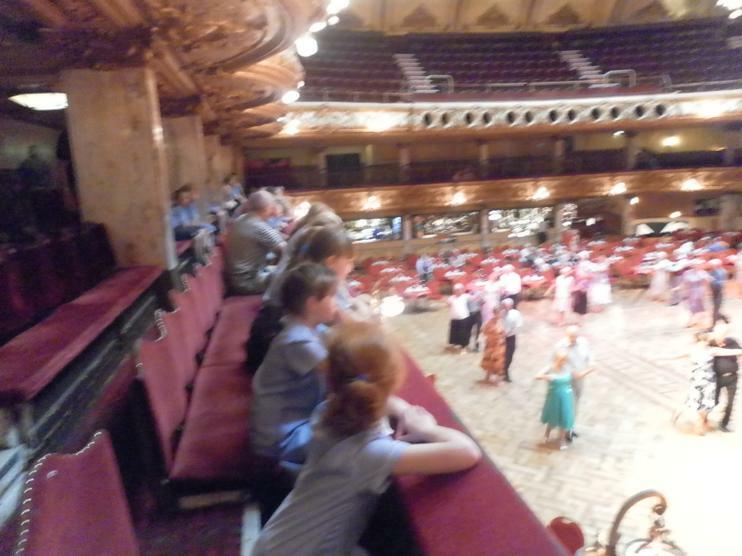 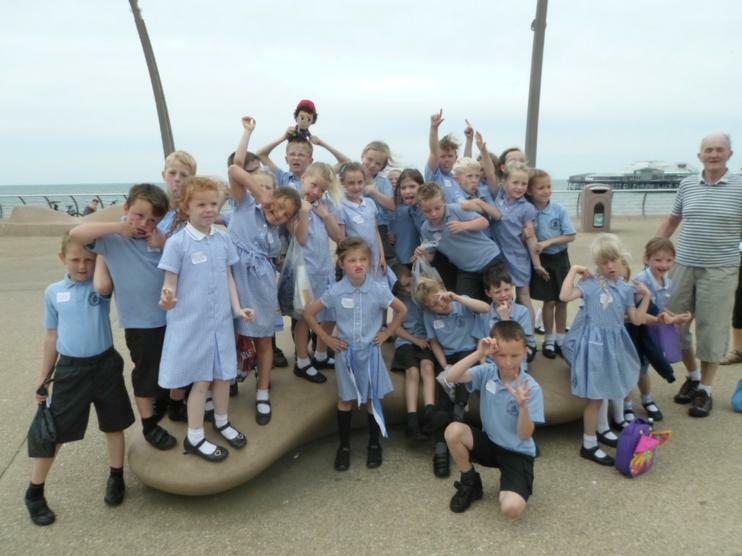 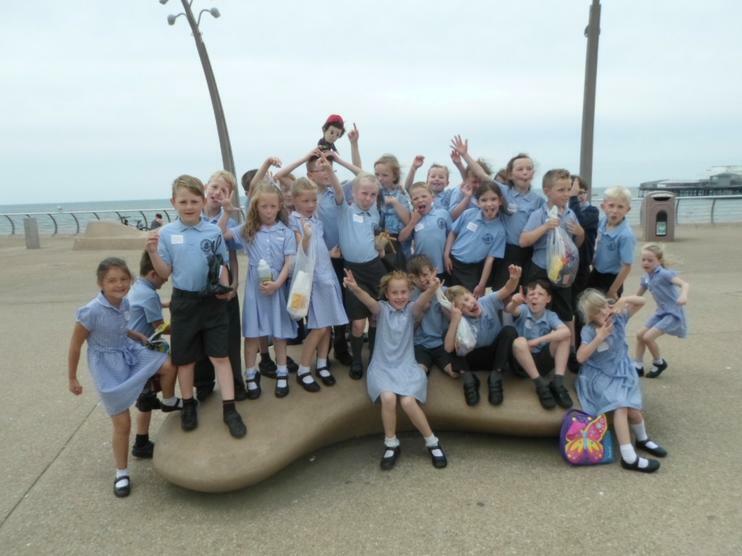 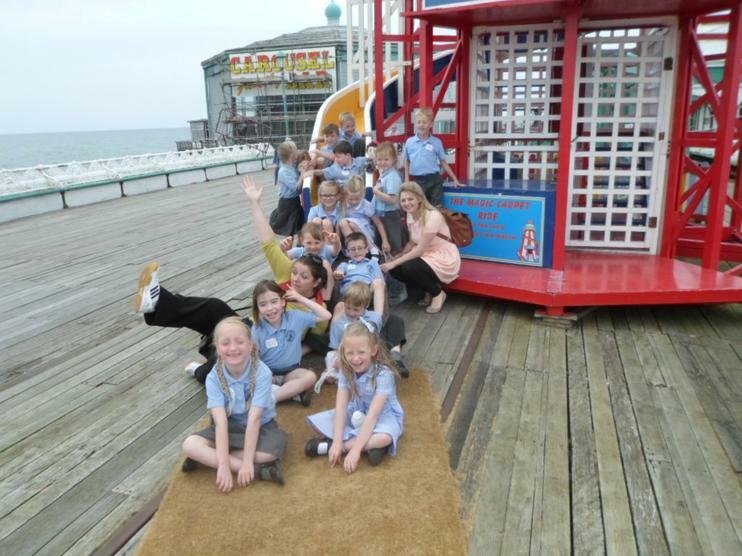 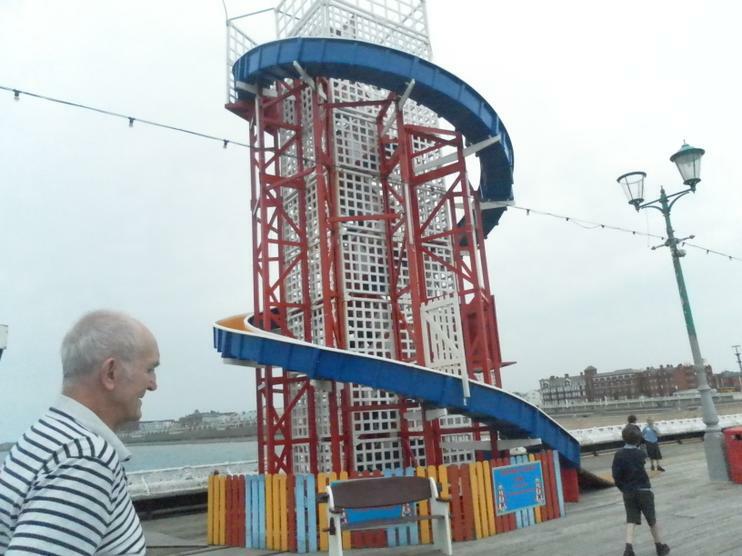 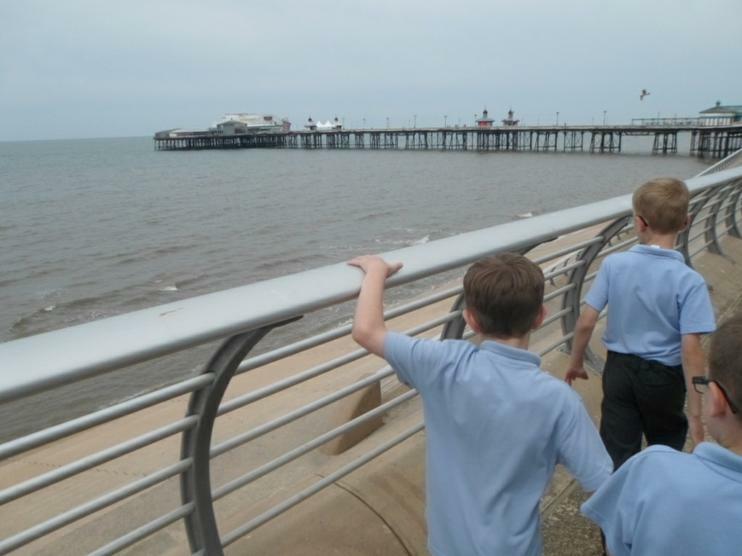 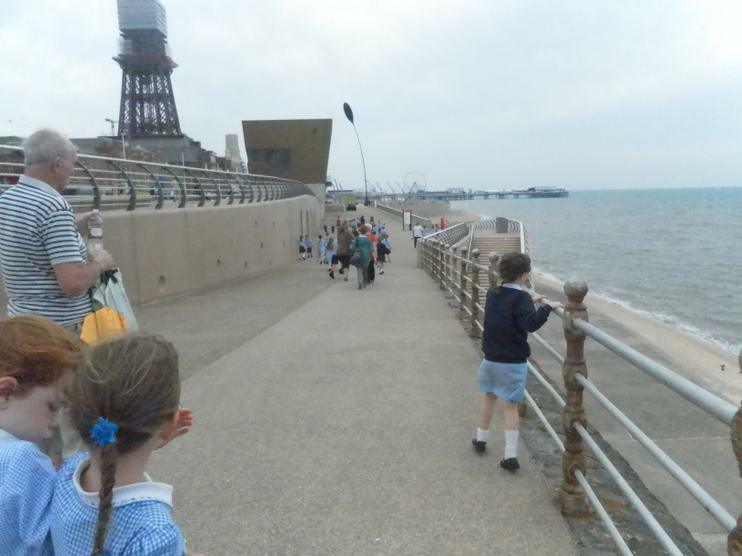 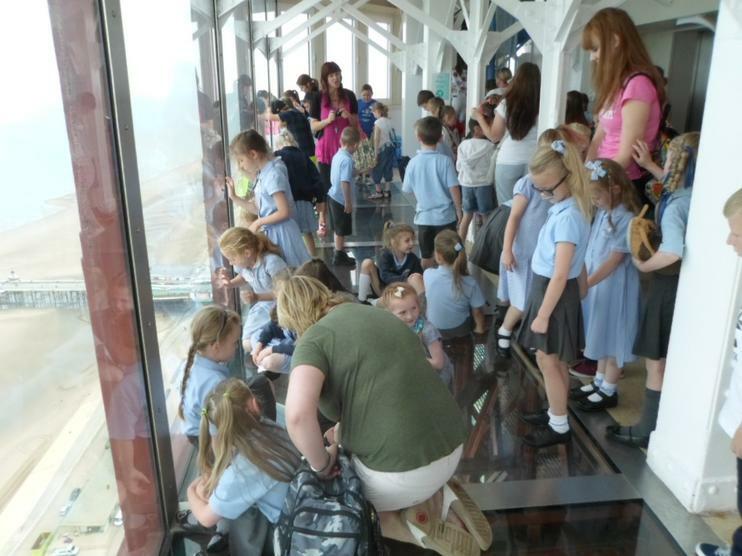 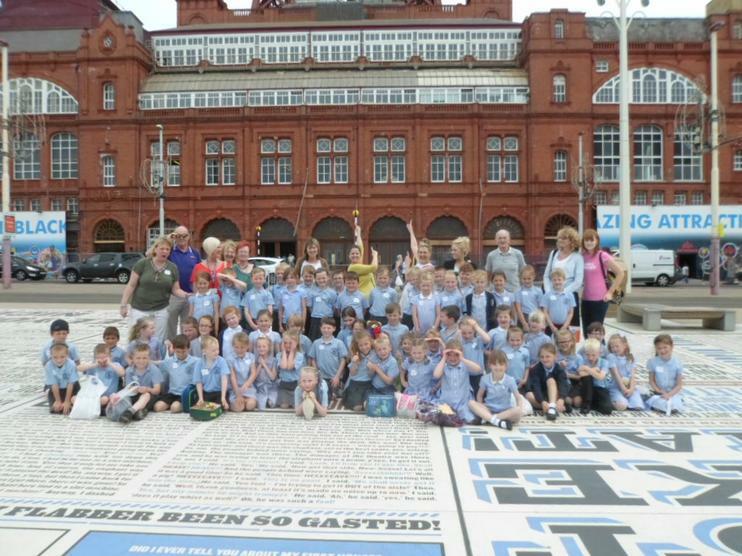 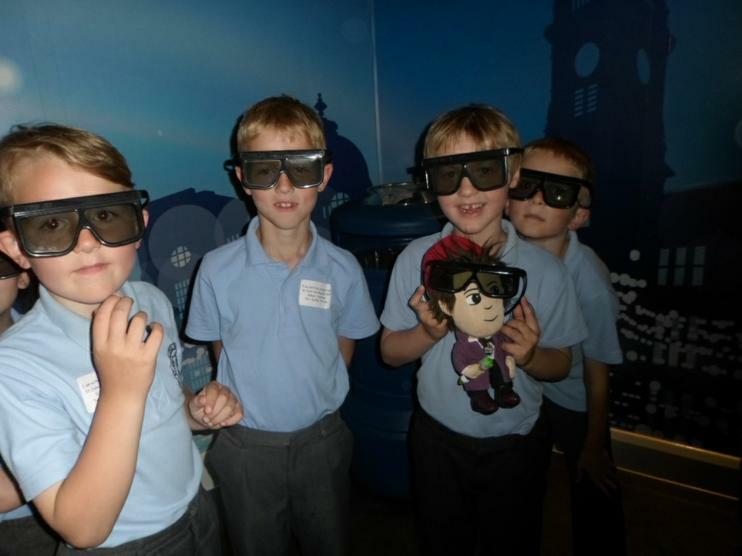 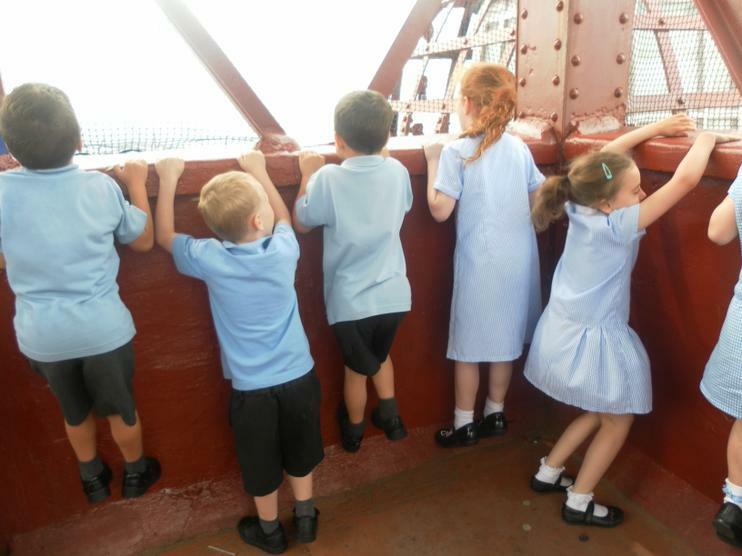 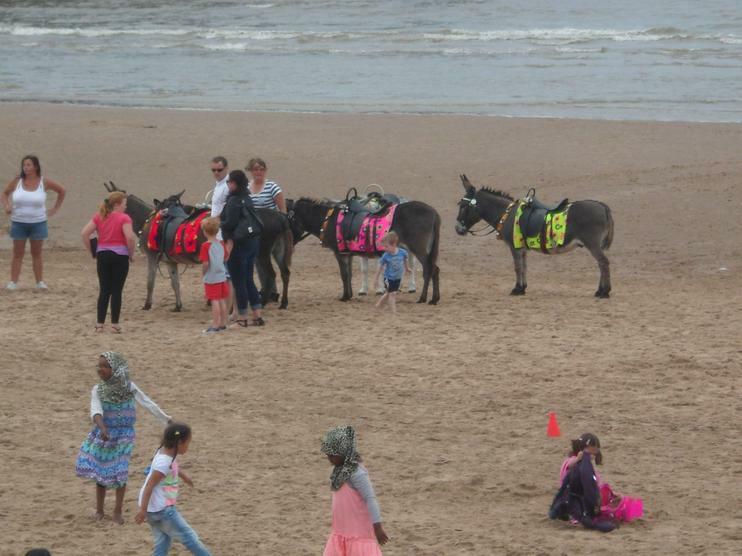 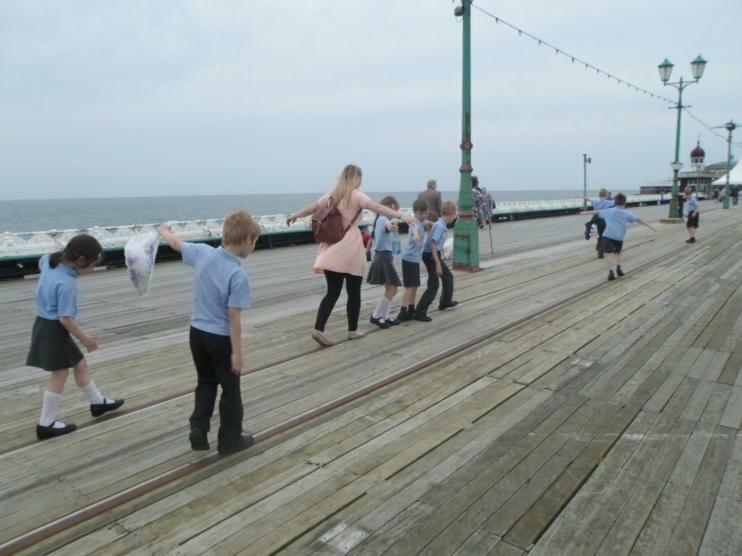 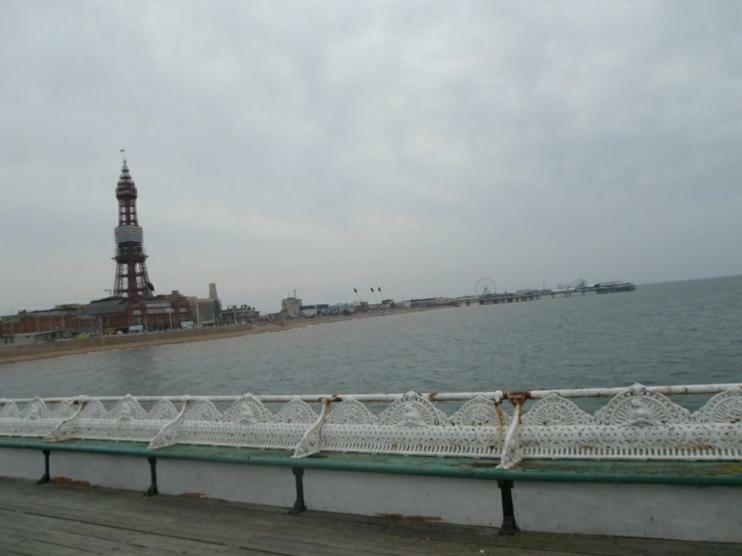 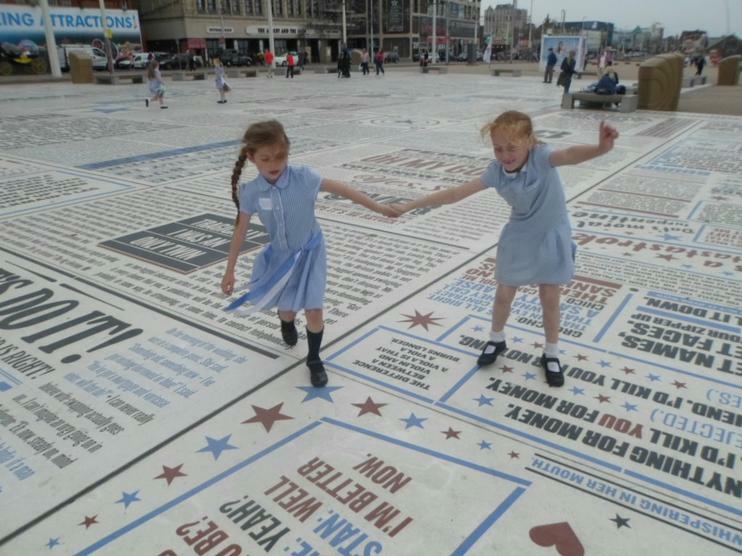 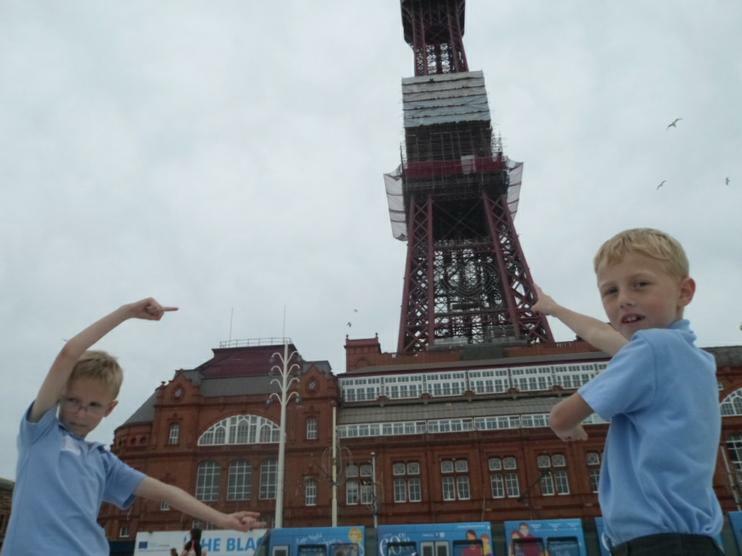 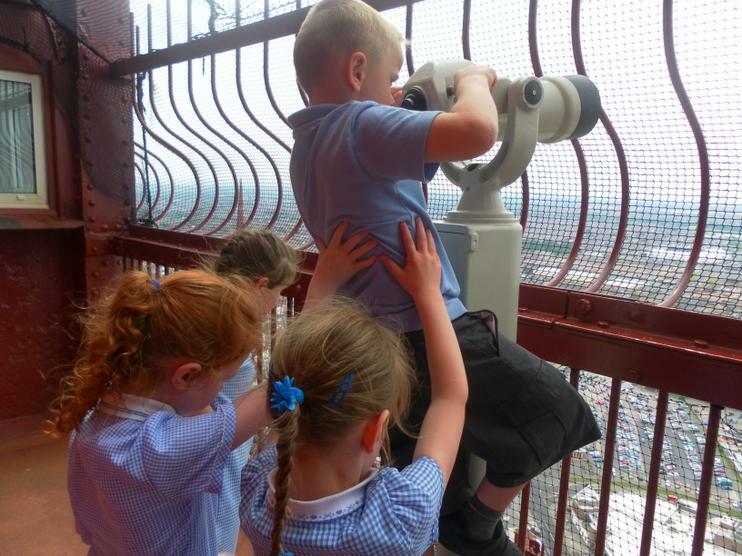 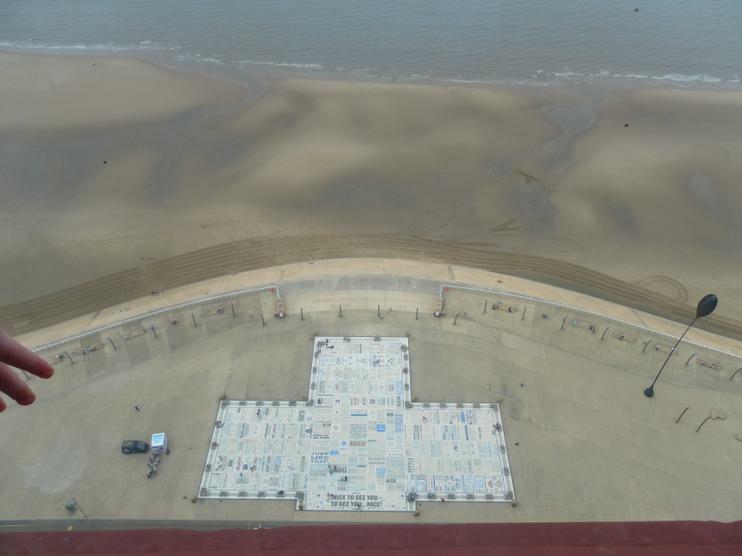 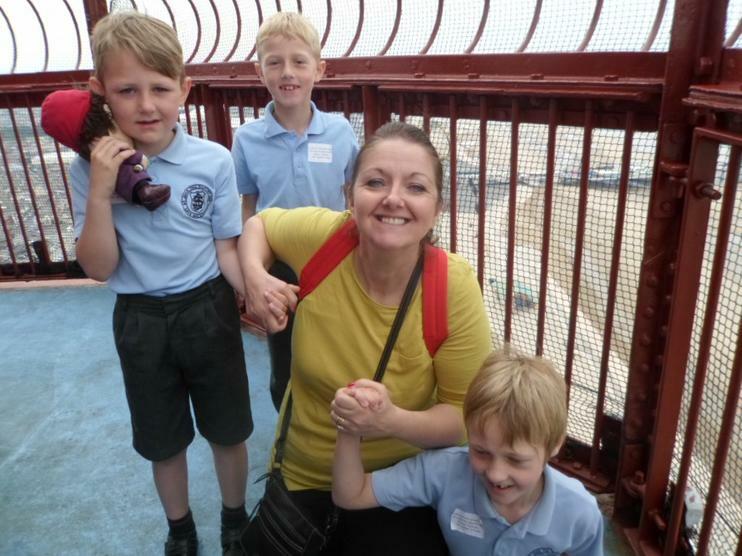 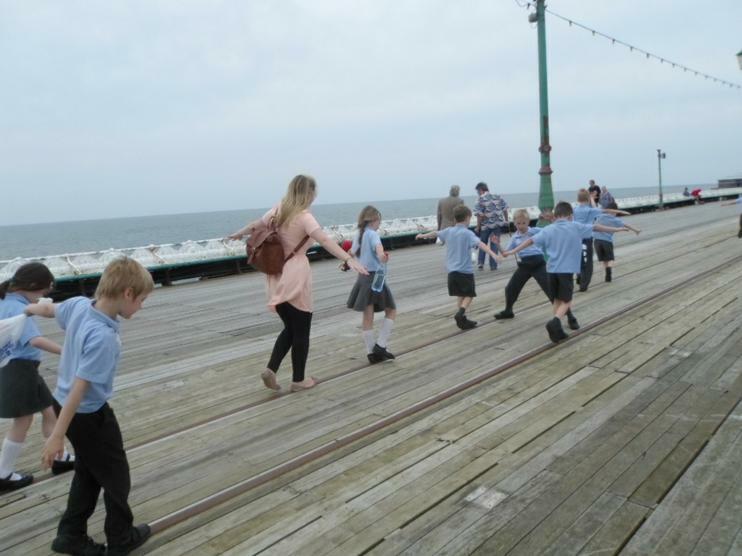 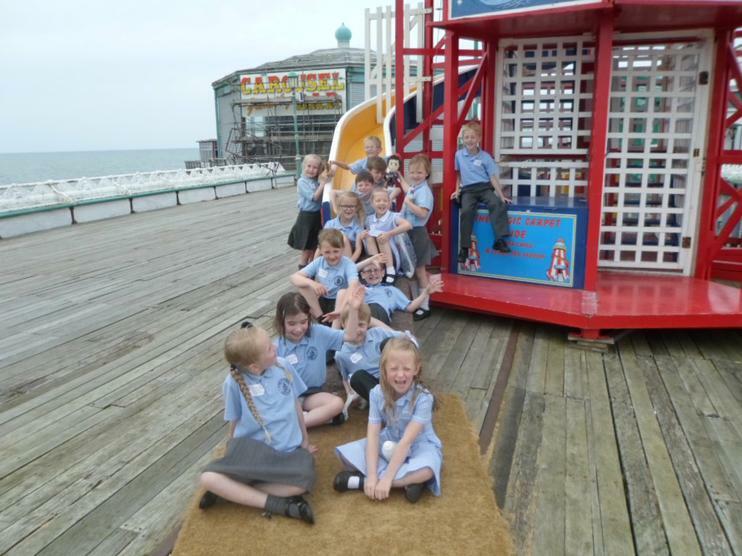 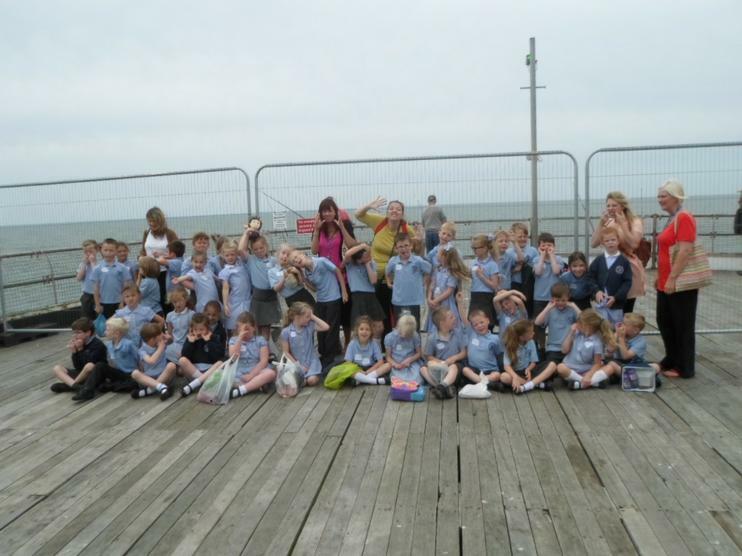 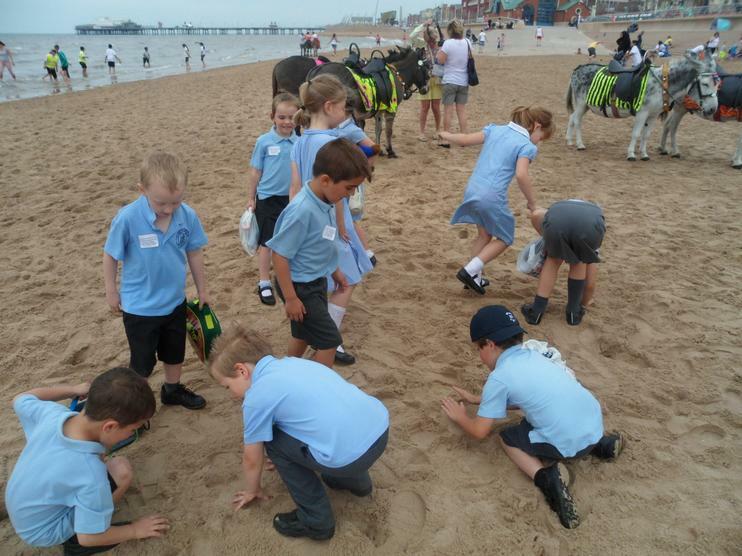 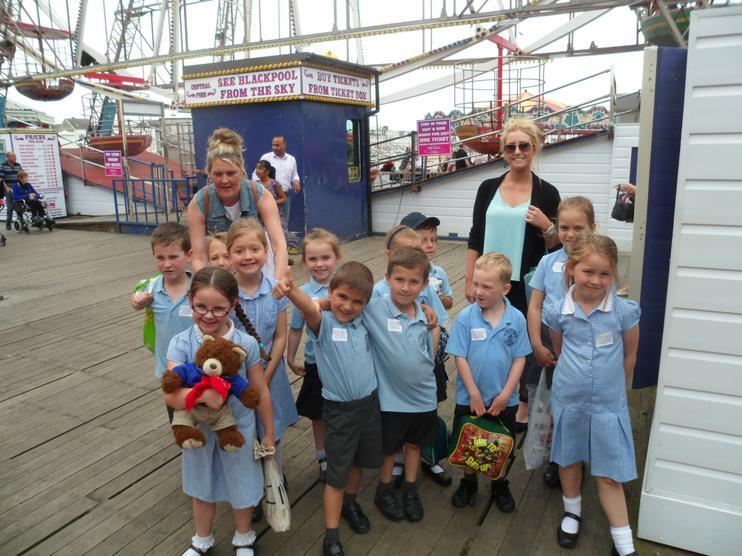 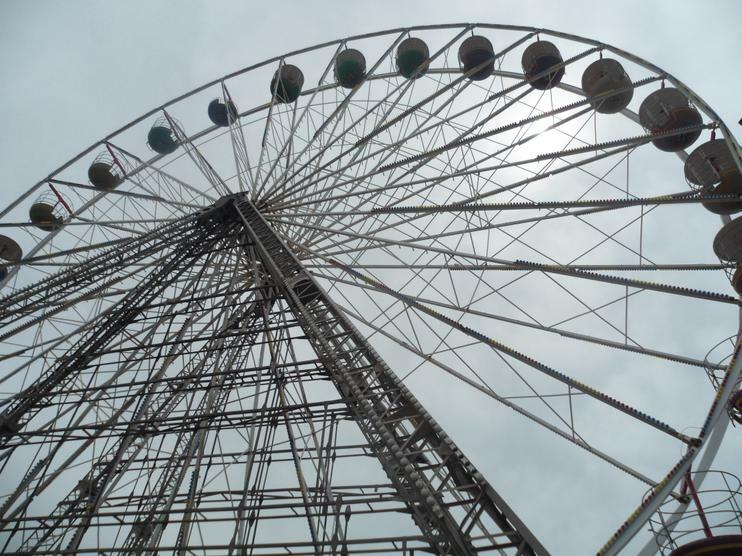 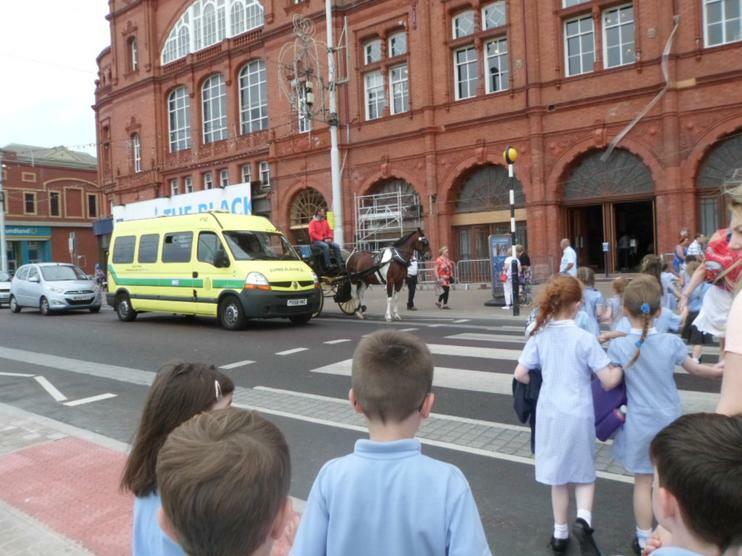 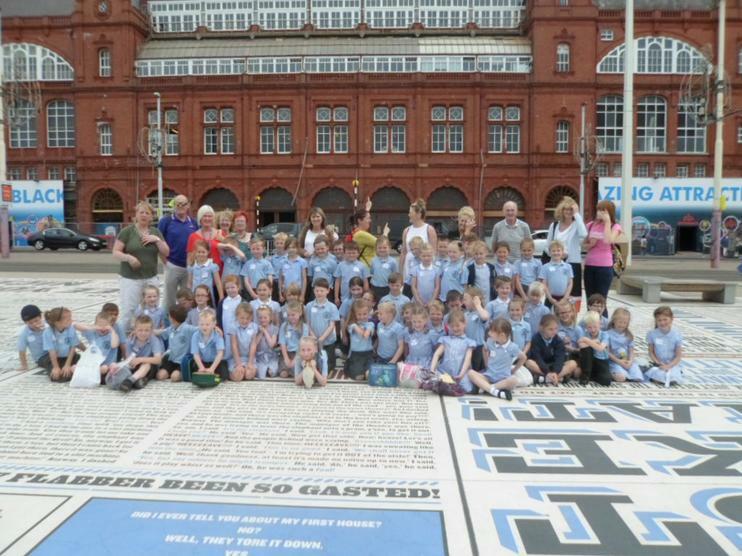 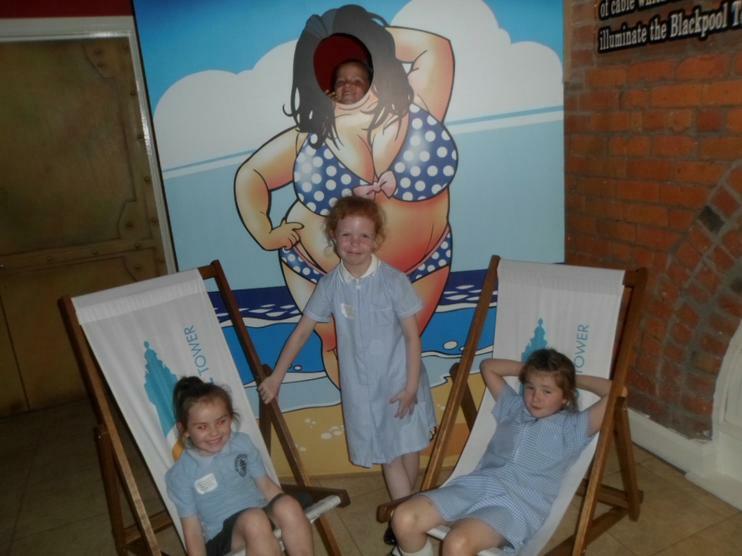 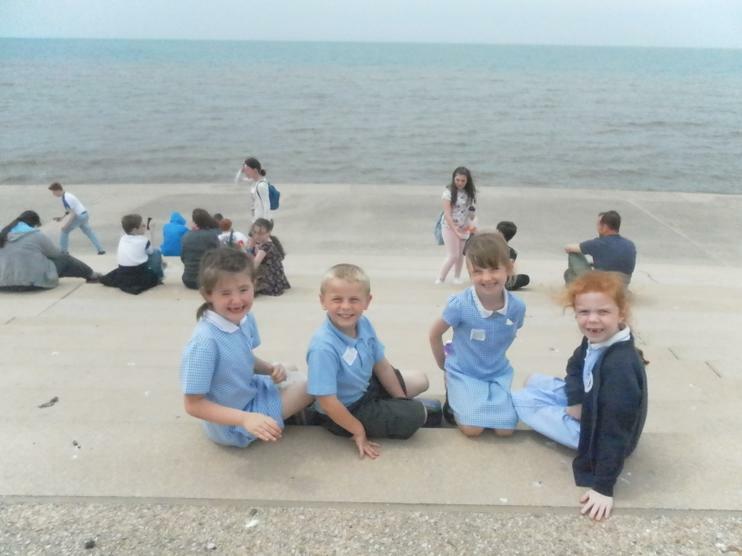 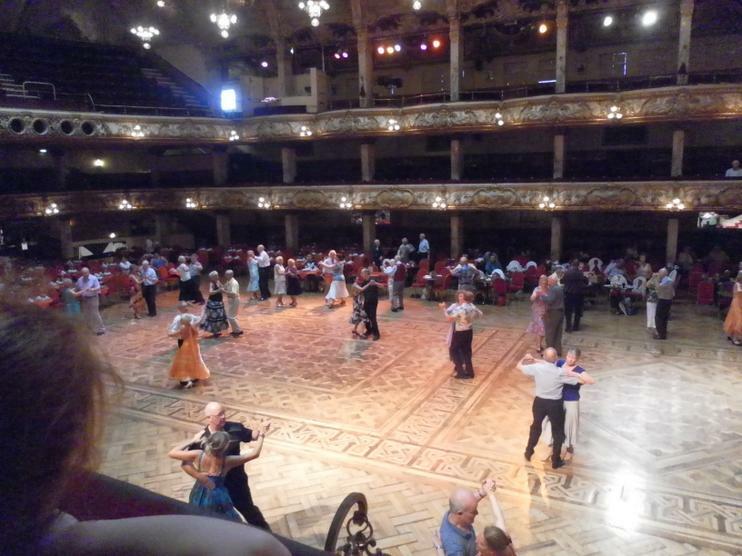 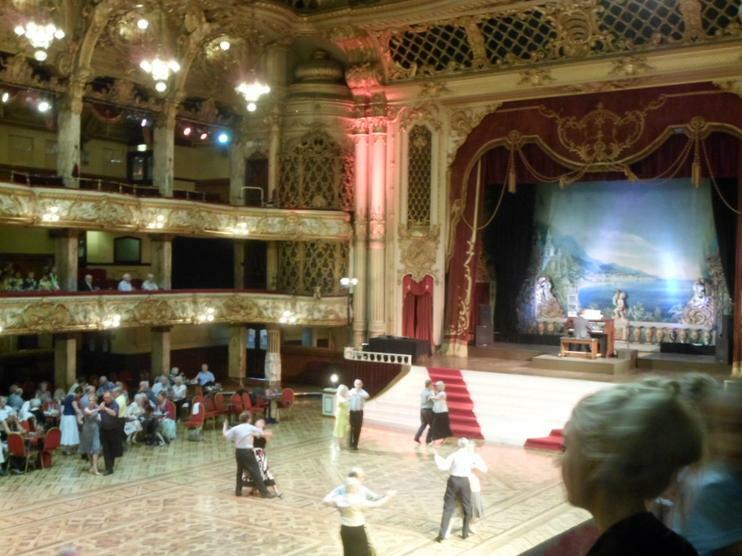 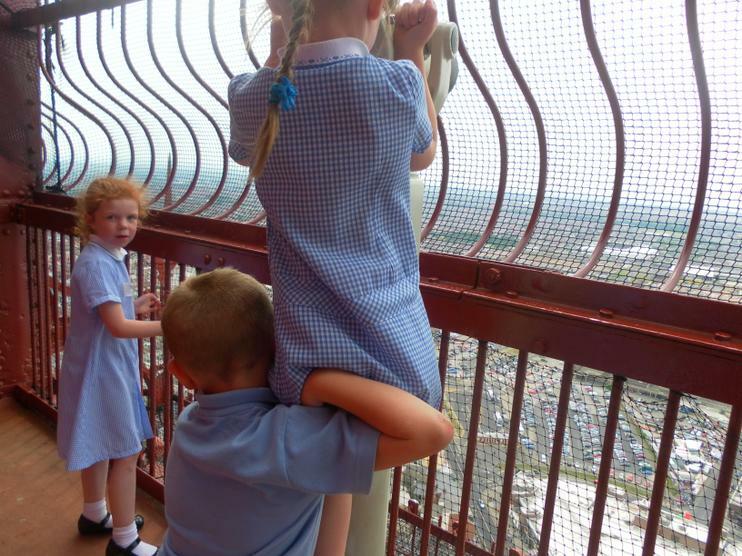 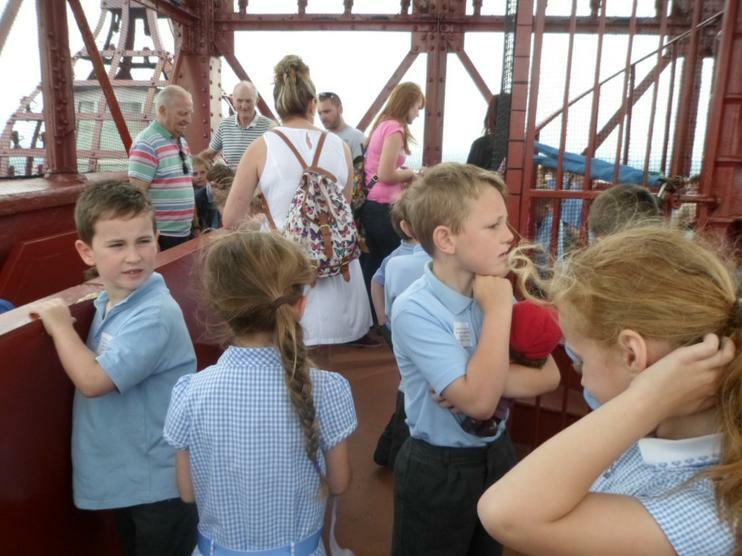 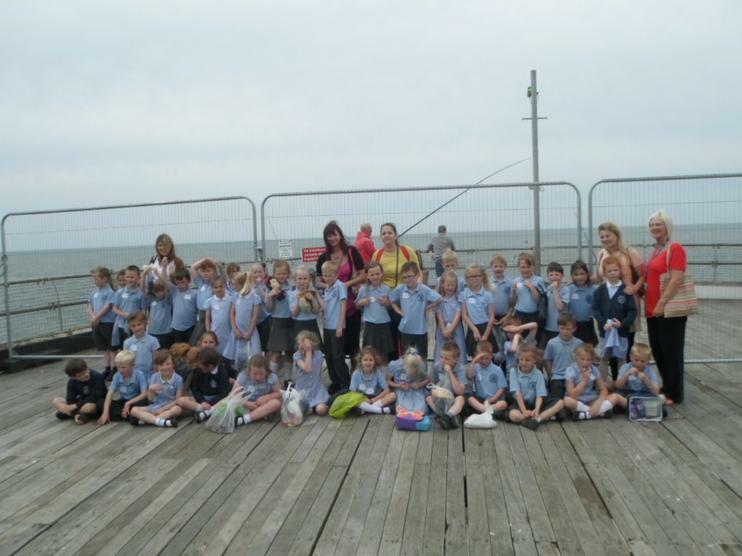 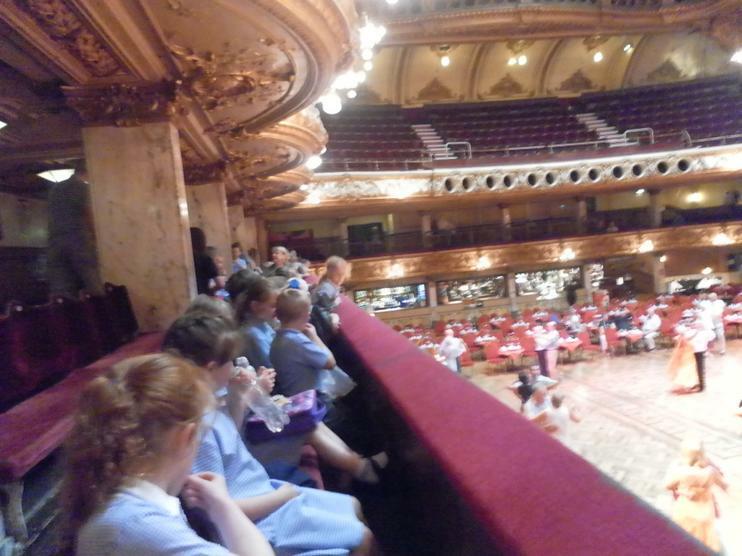 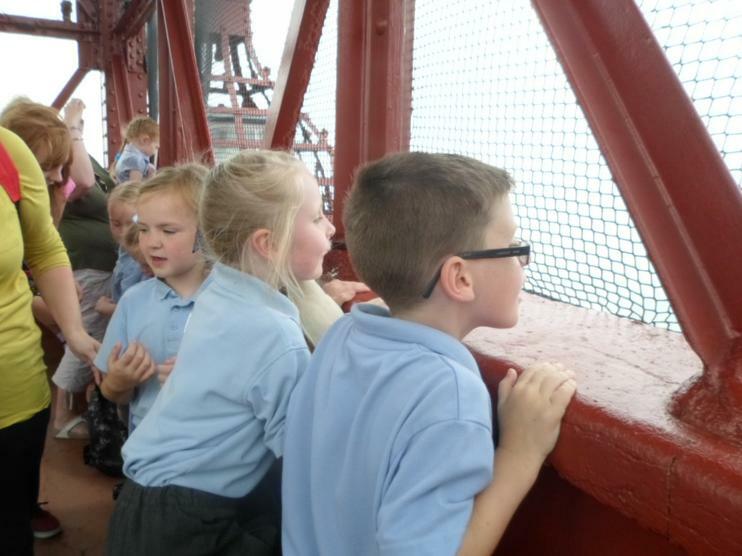 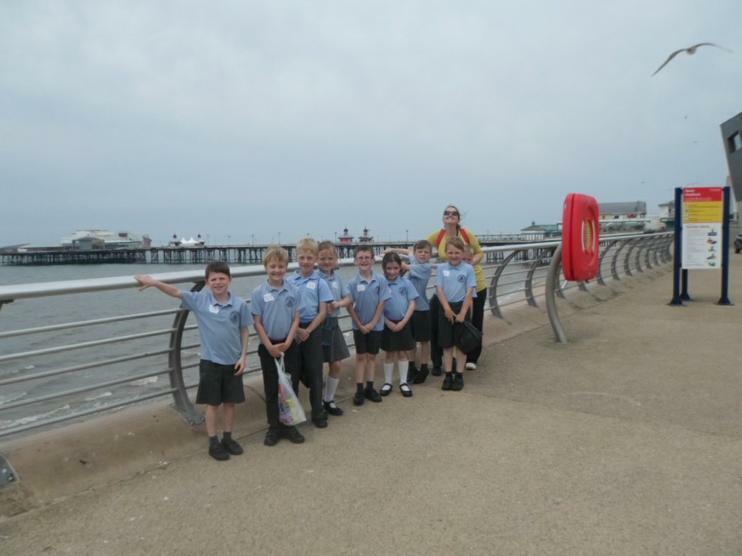 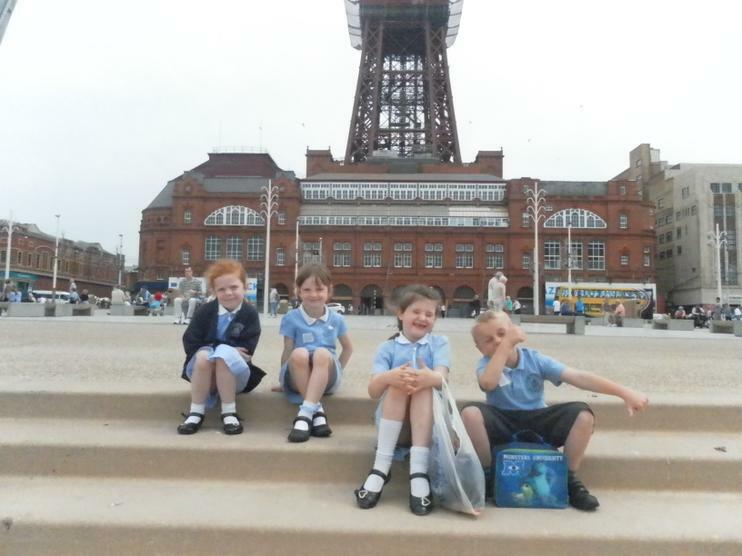 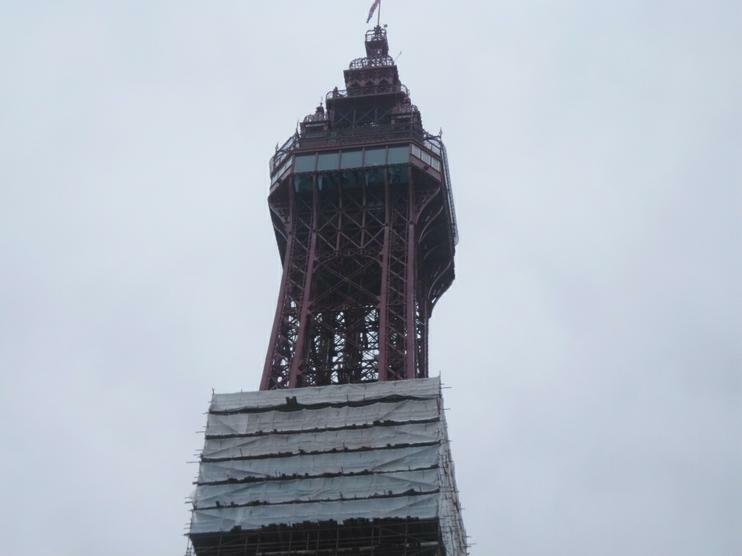 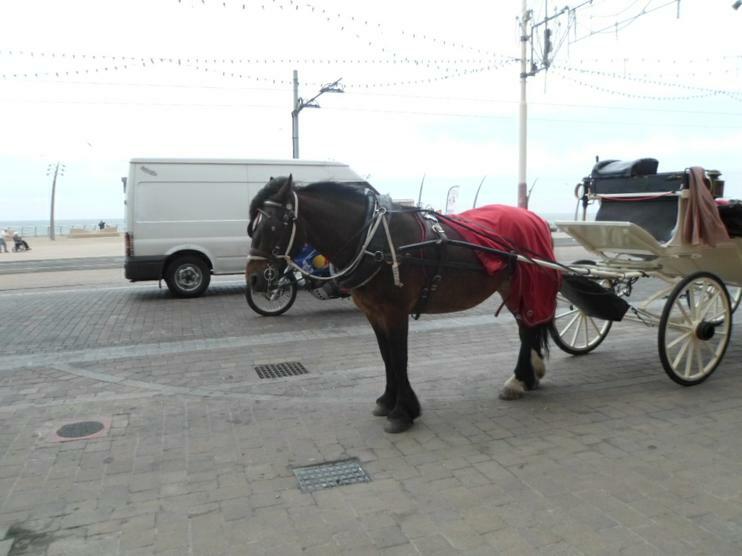 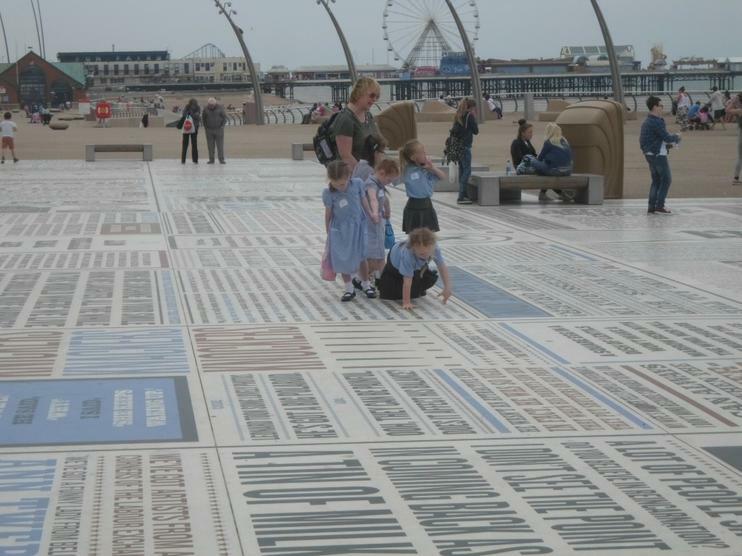 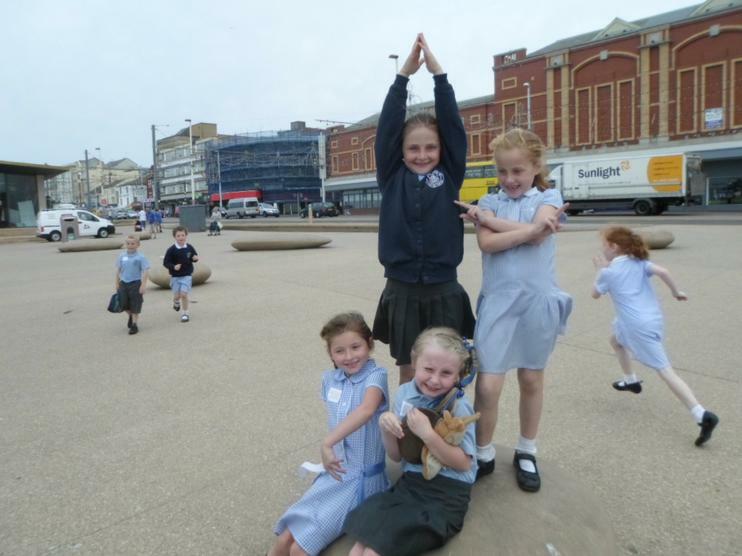 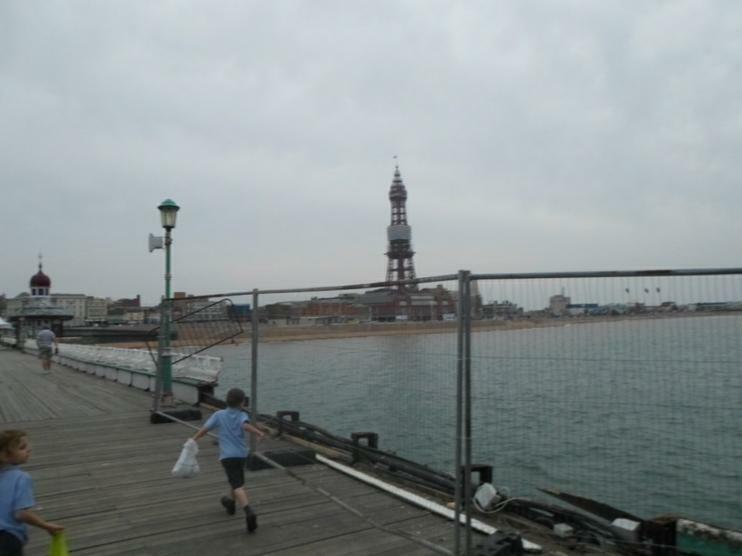 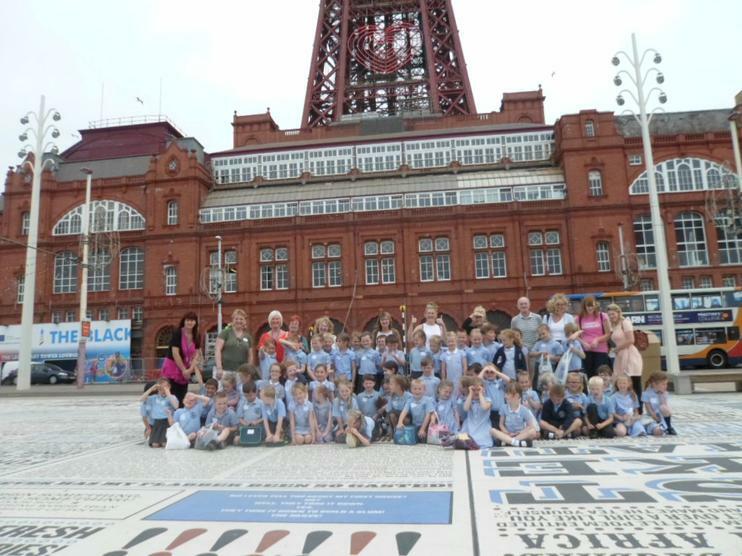 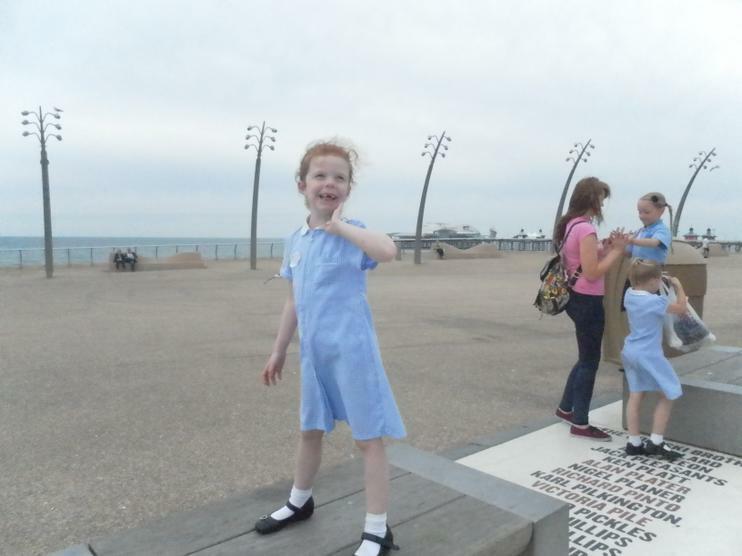 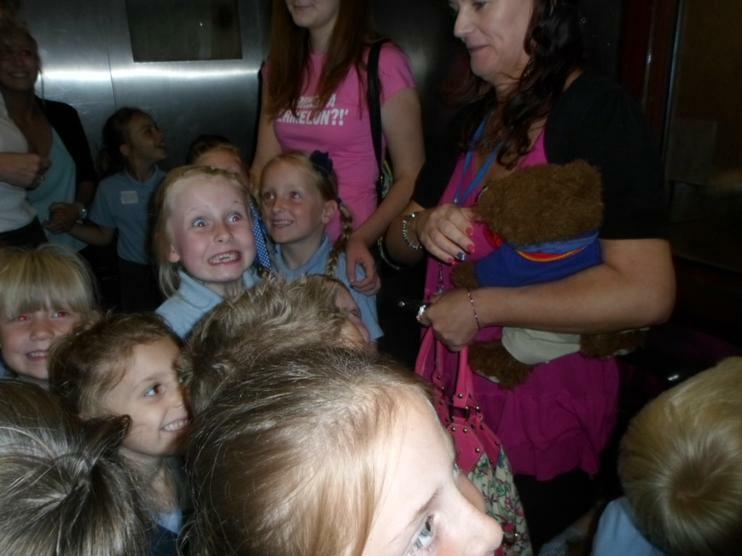 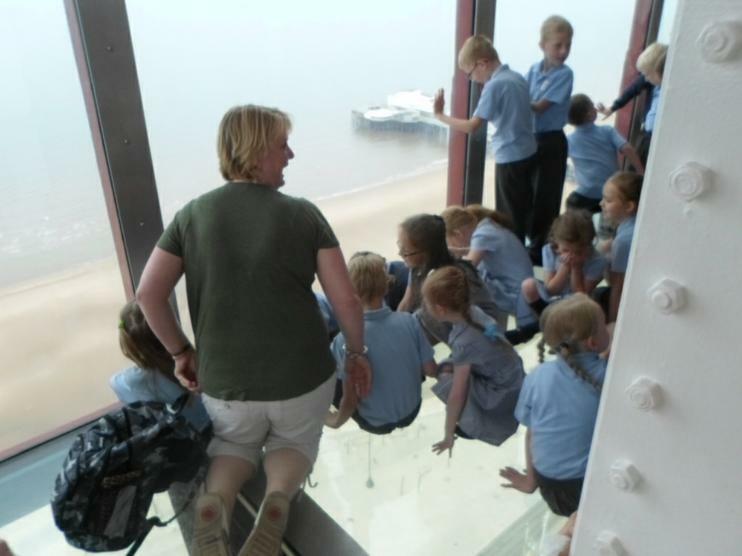 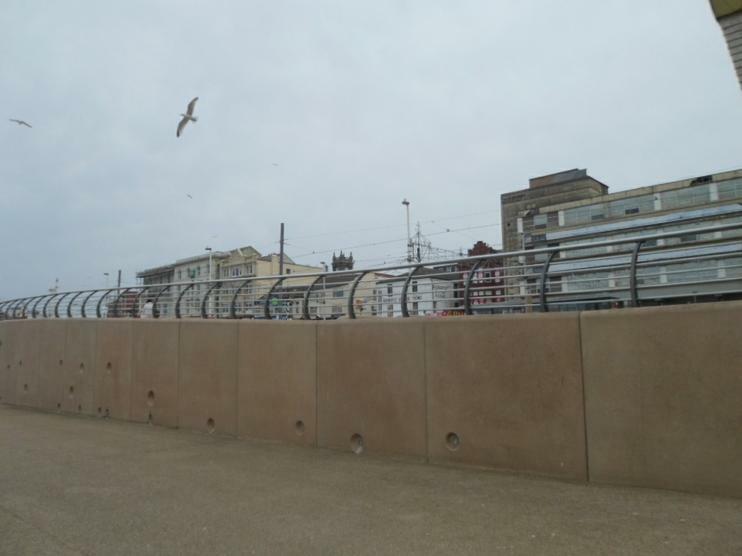 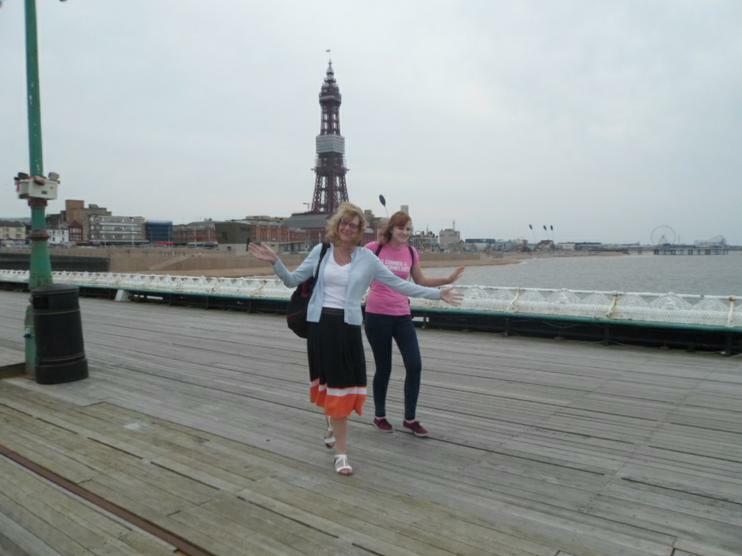 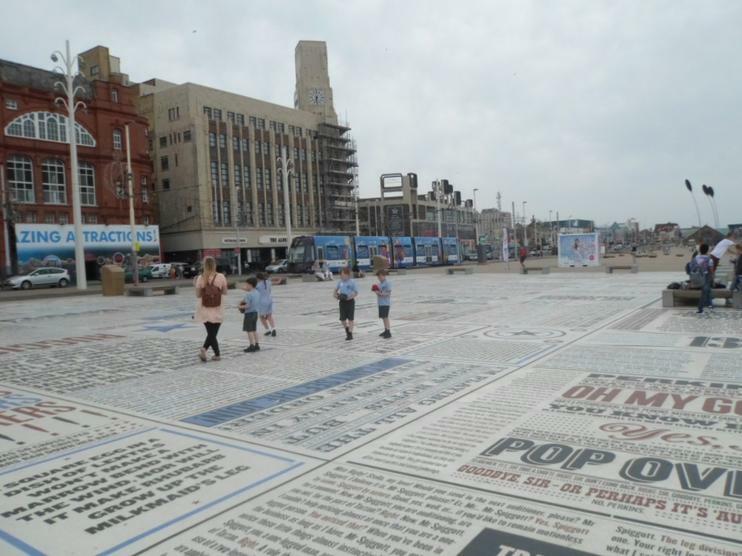 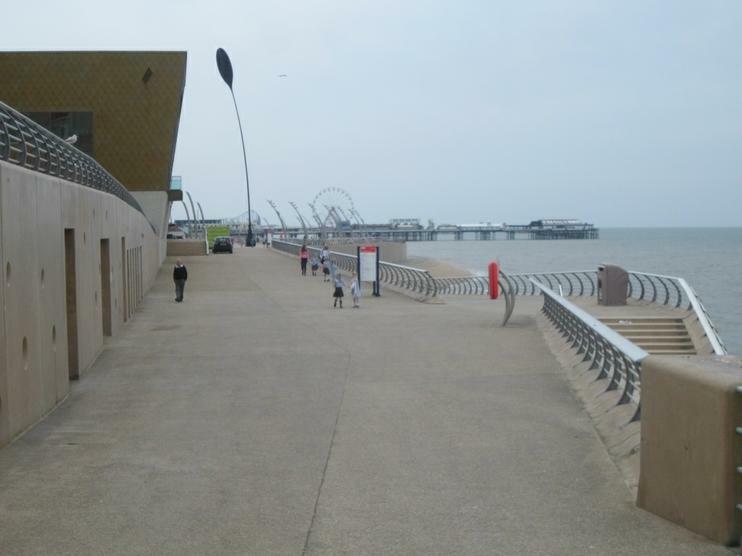 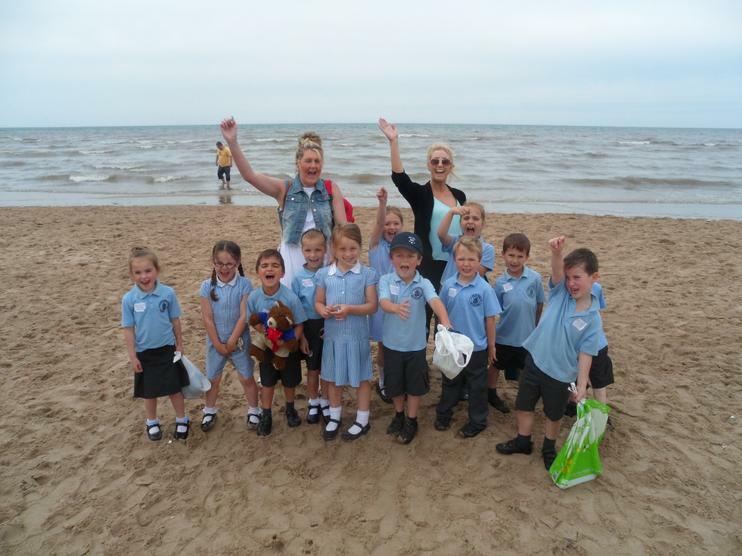 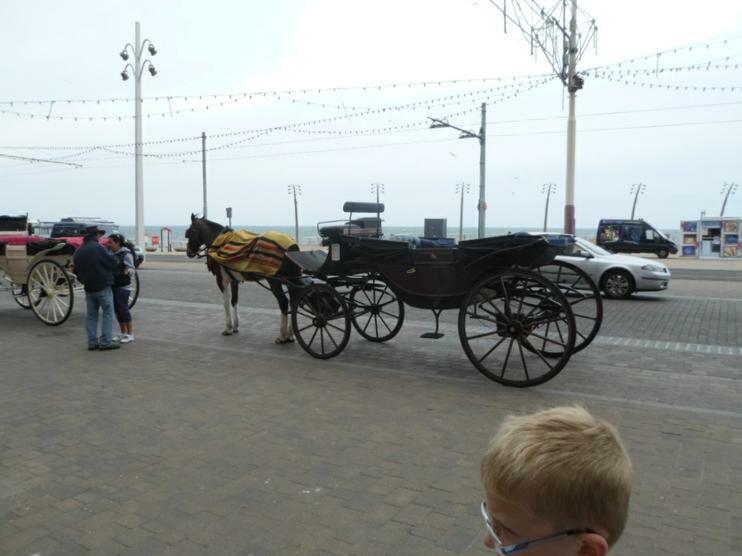 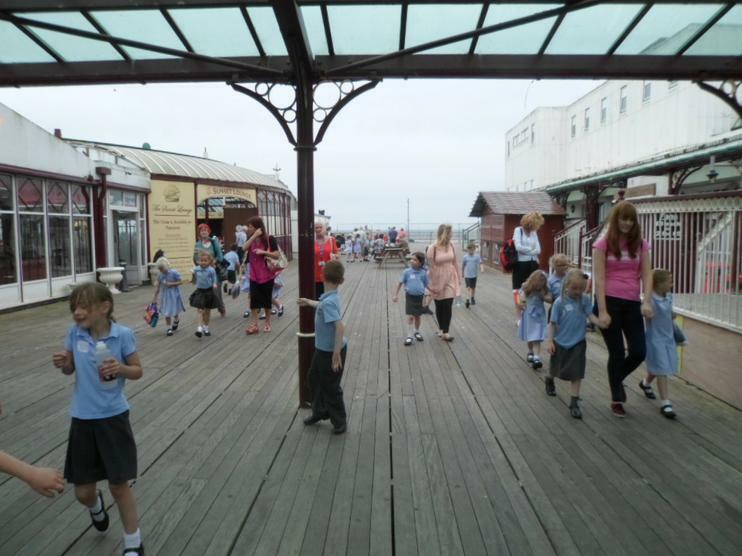 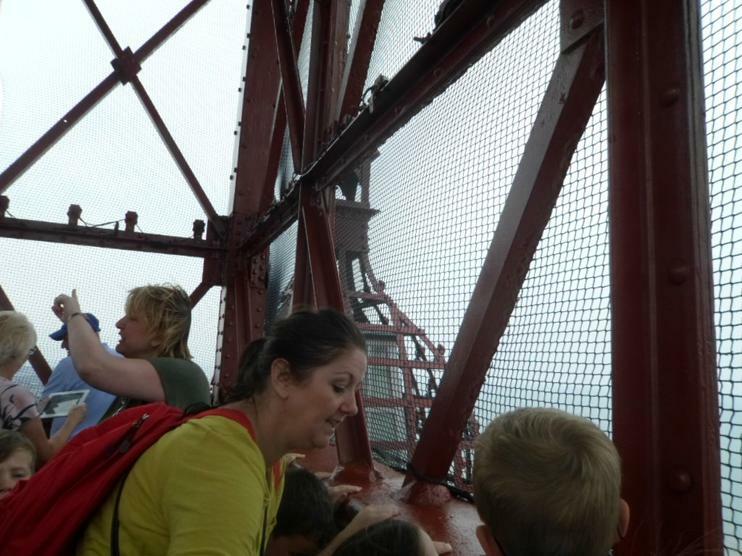 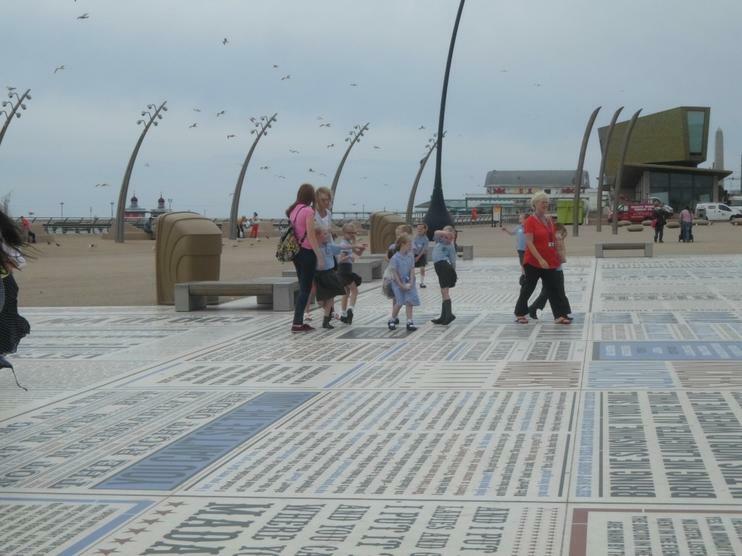 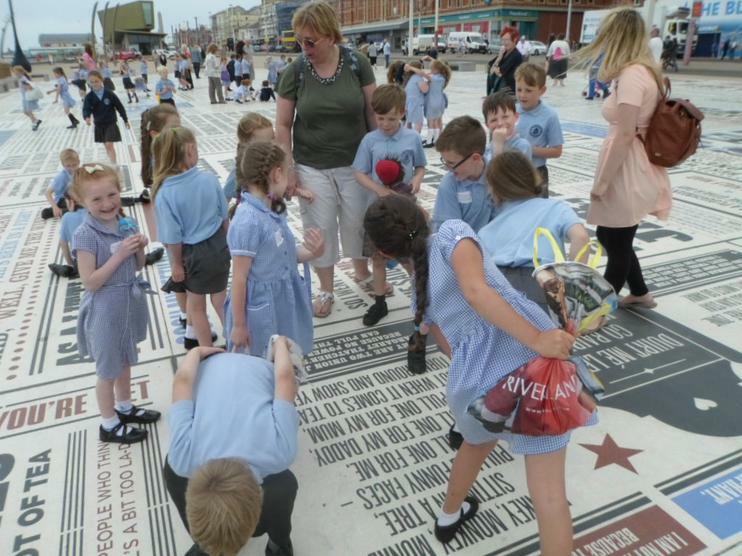 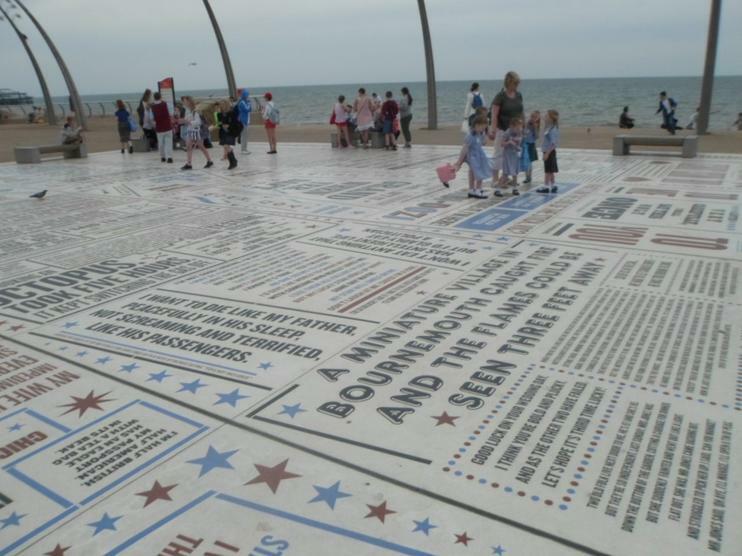 Years 1 and 2 had a fantastic time in Blackpool. 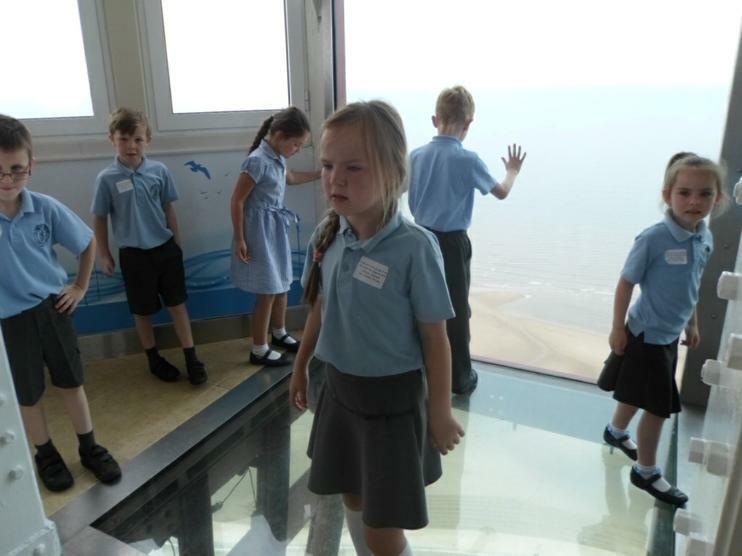 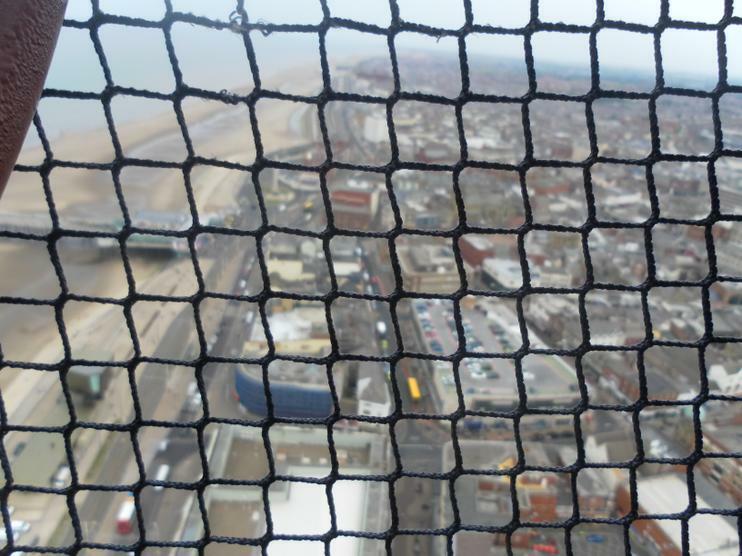 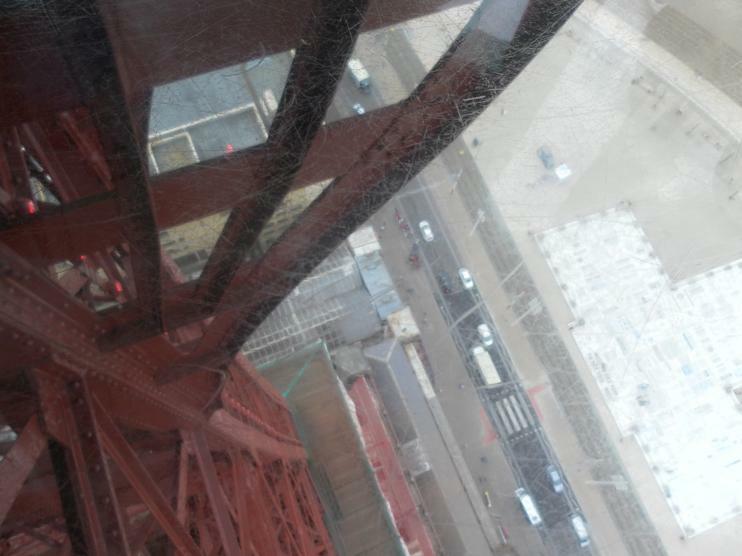 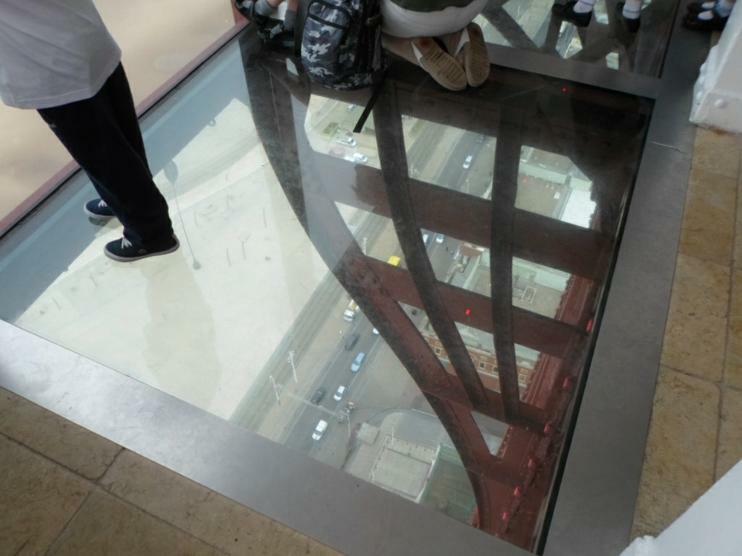 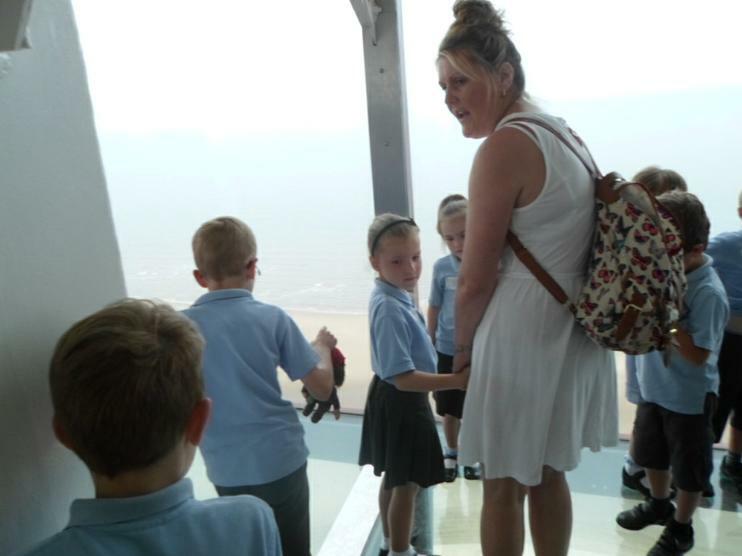 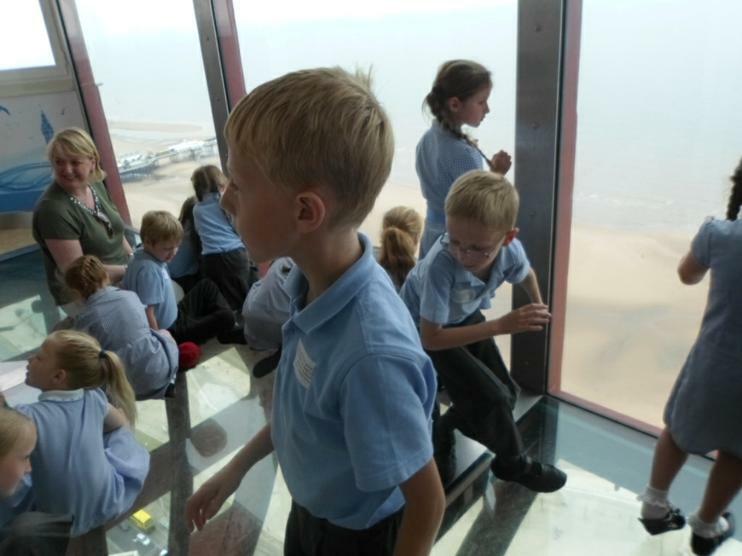 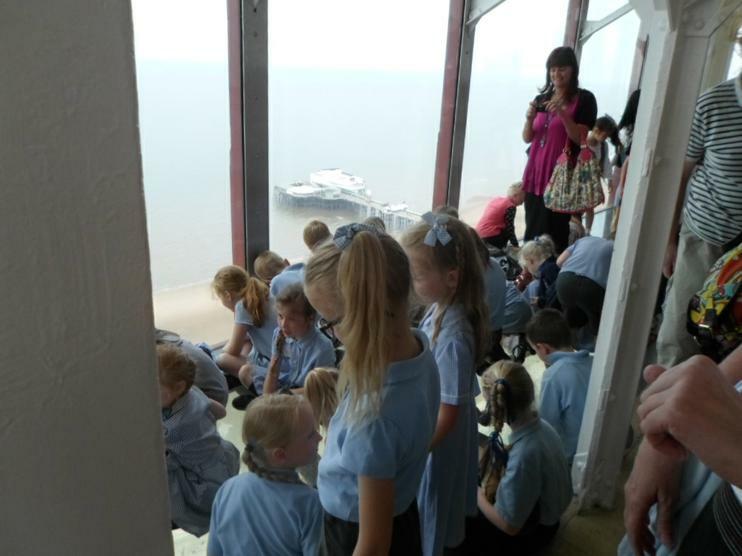 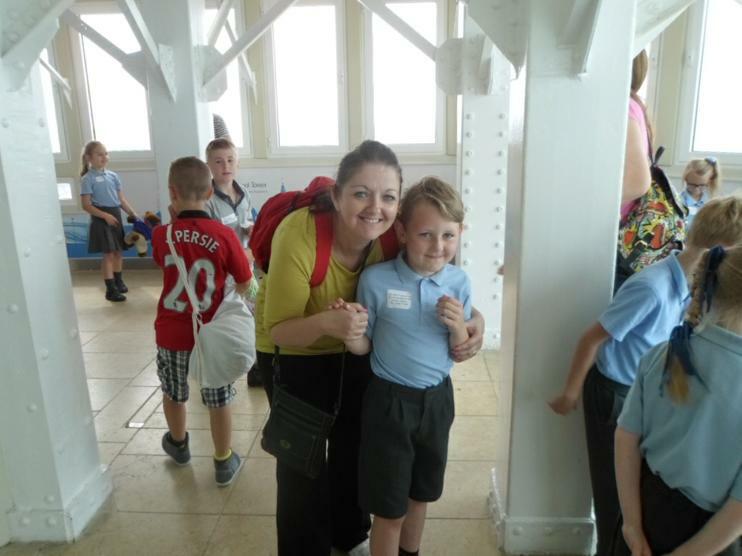 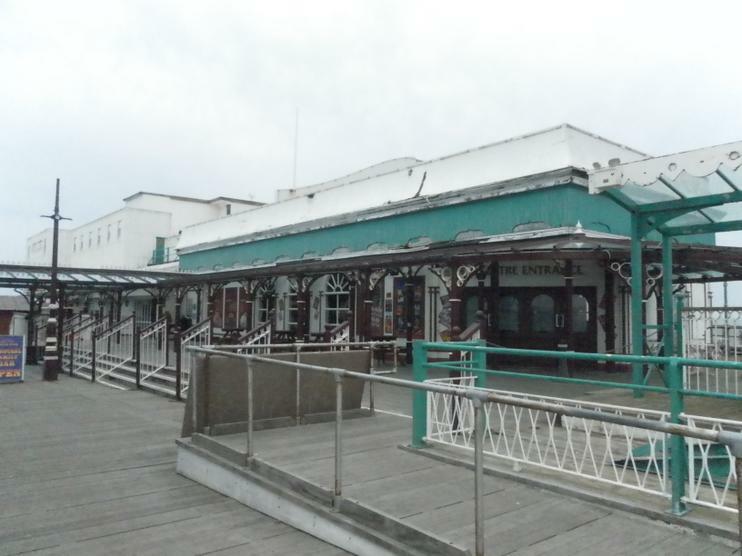 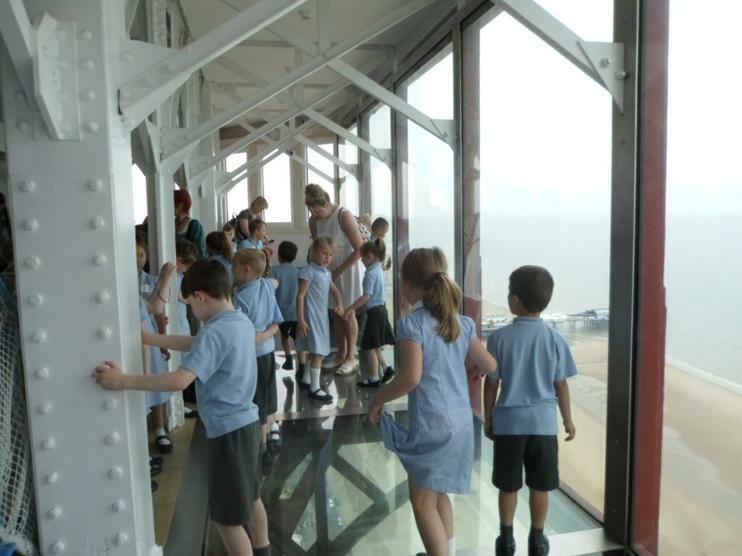 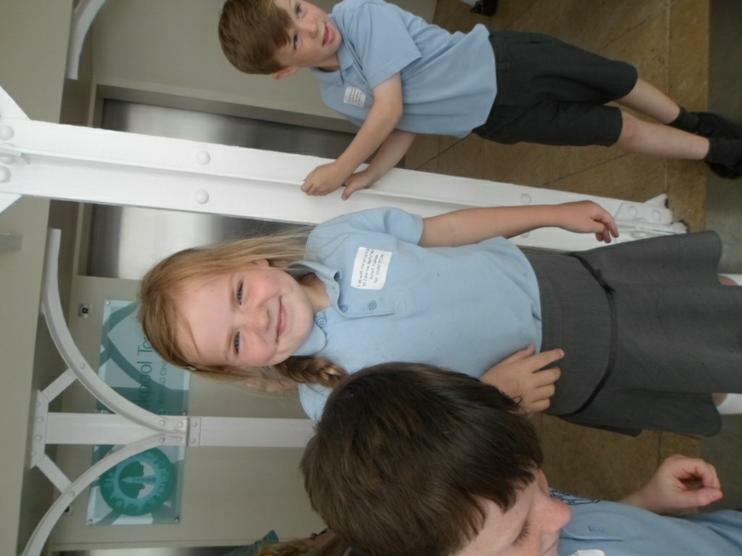 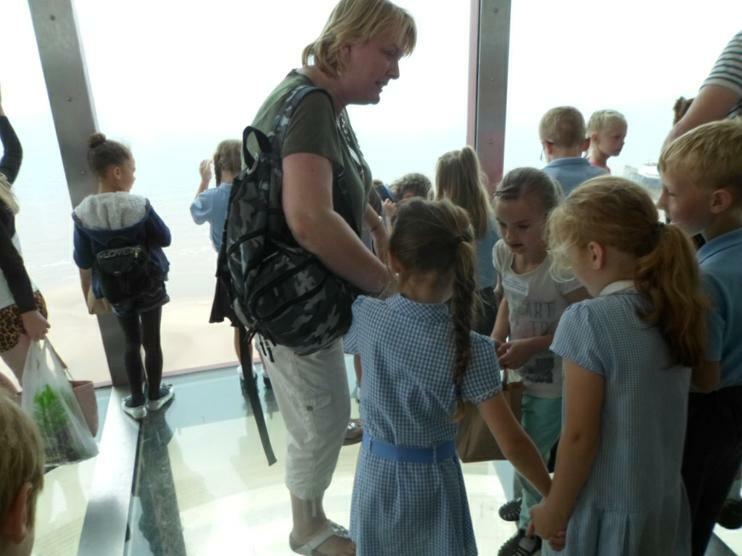 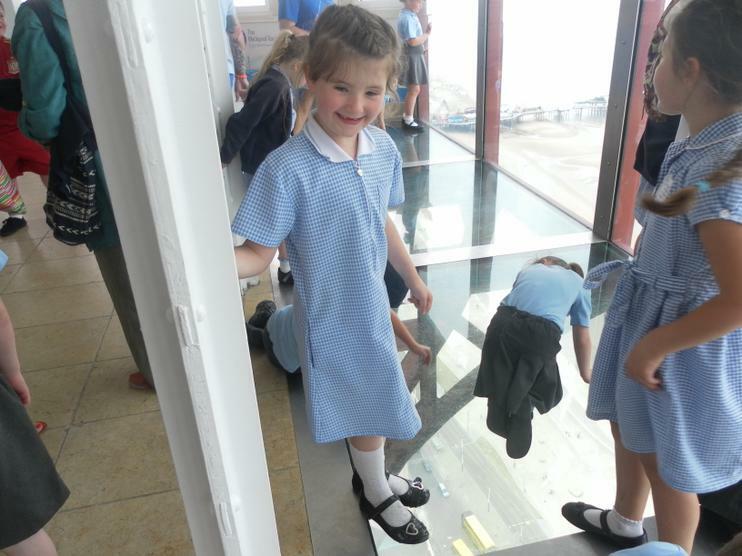 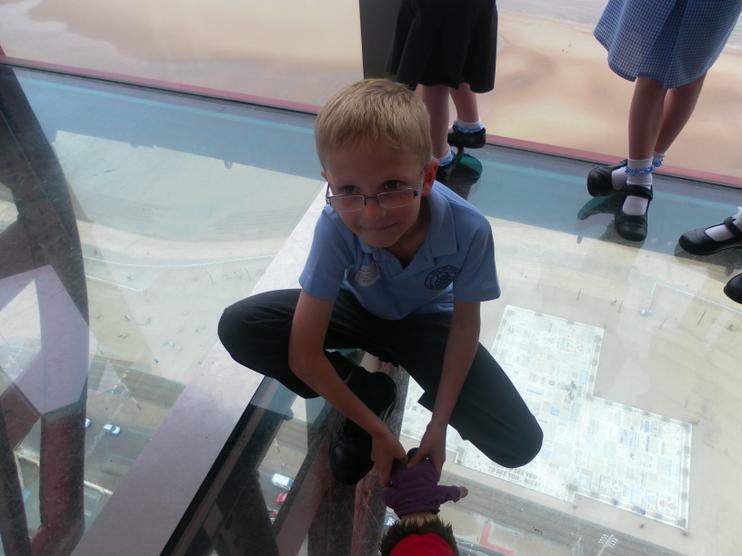 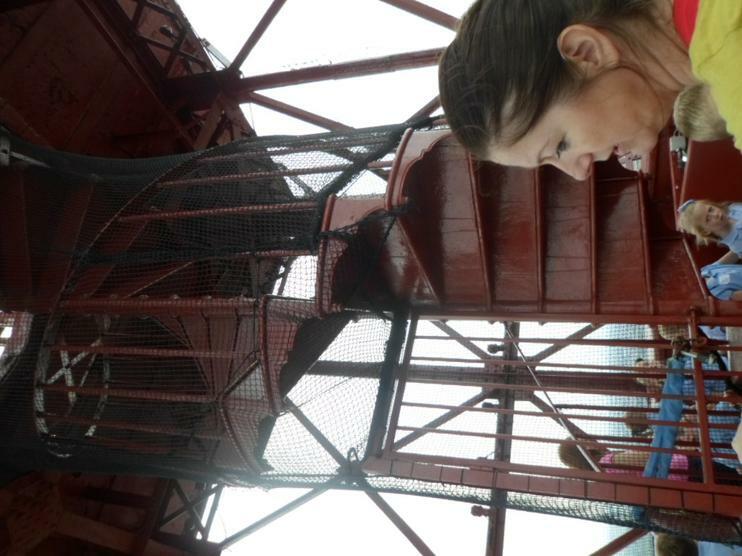 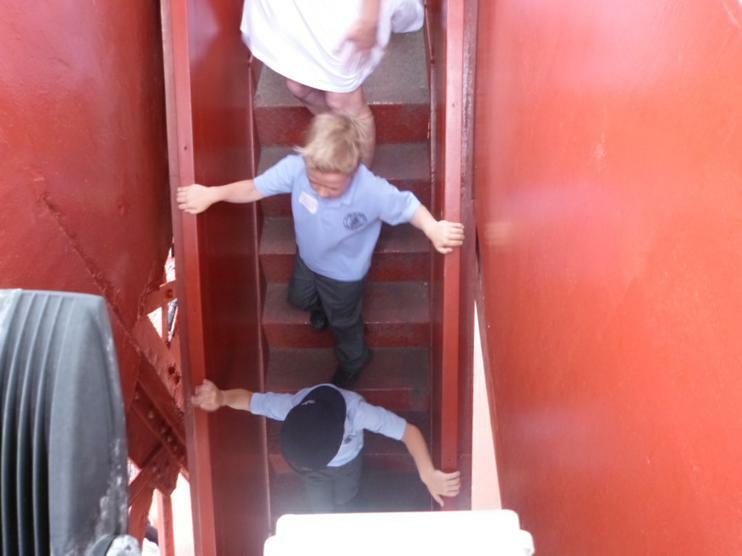 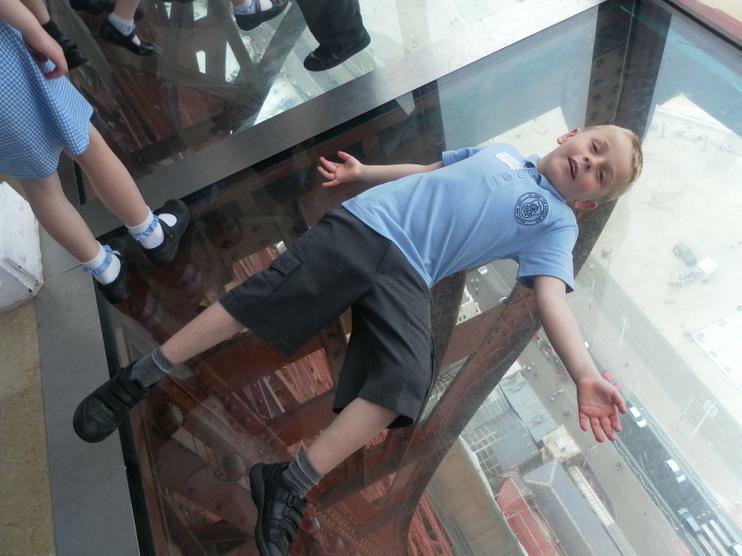 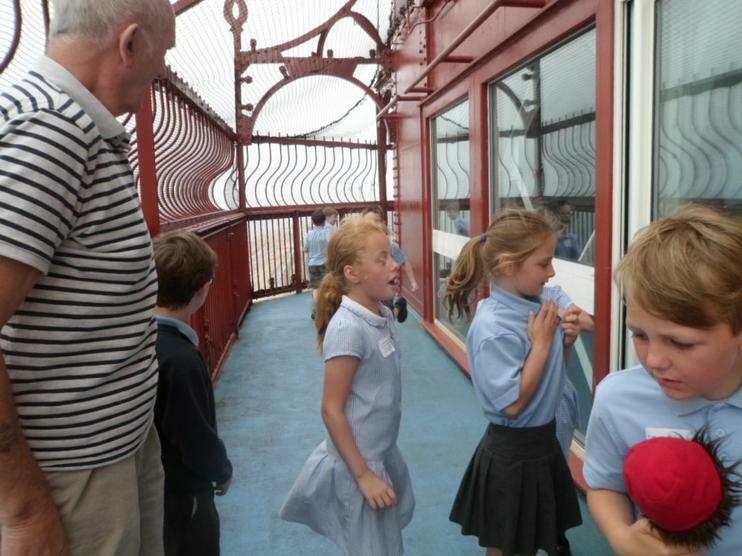 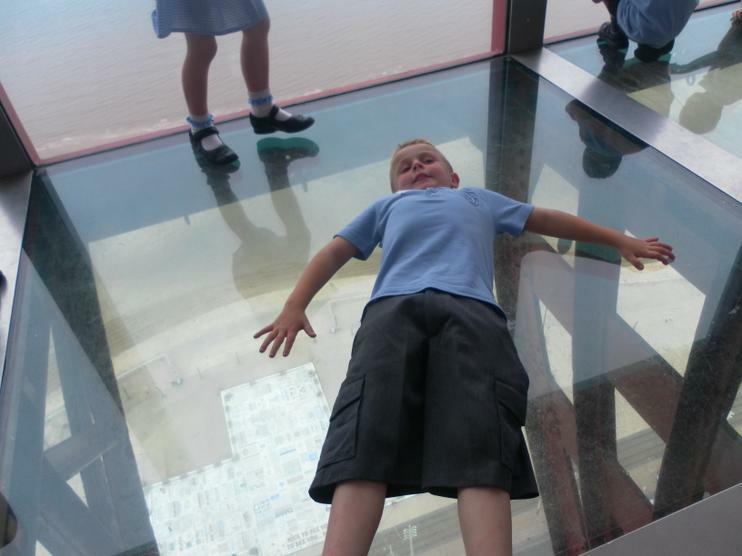 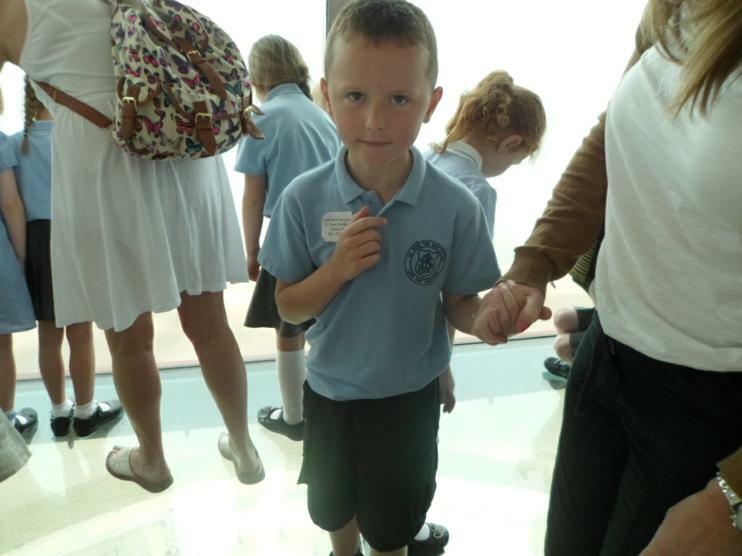 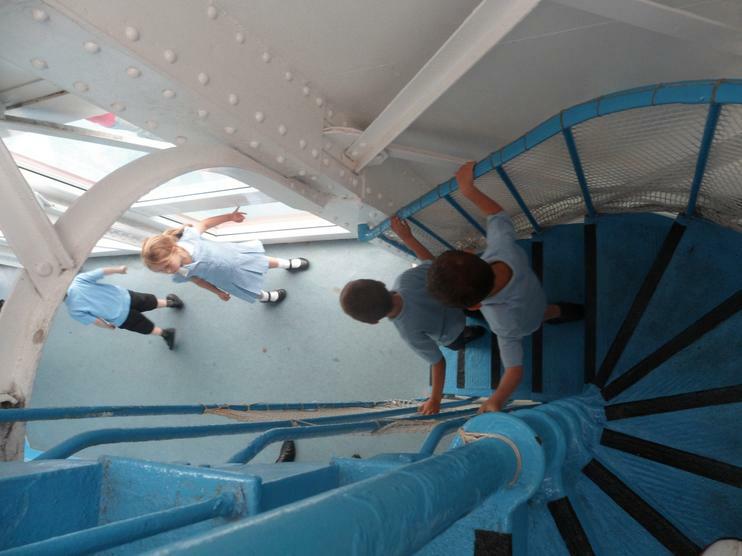 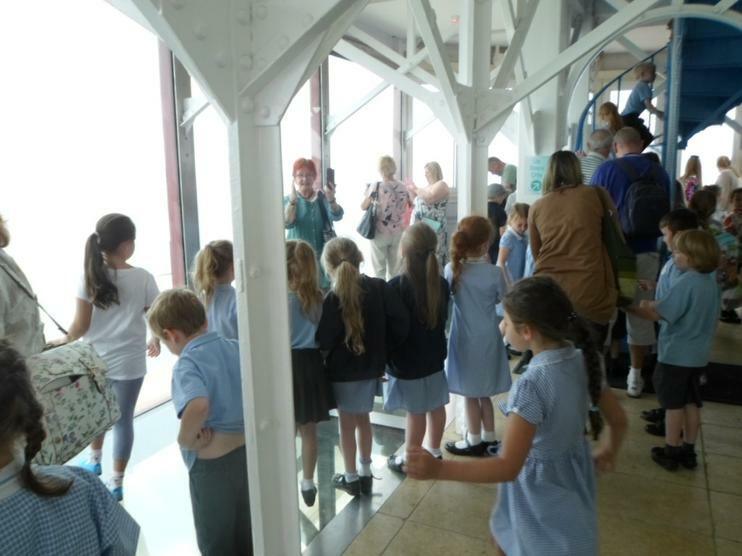 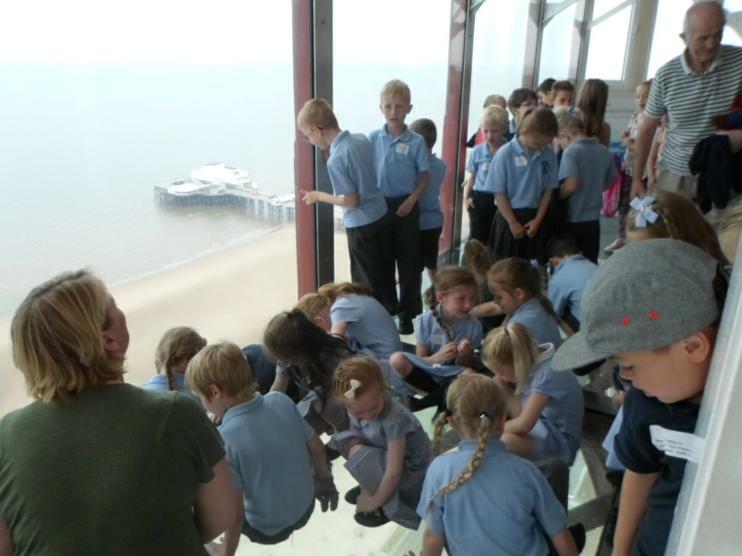 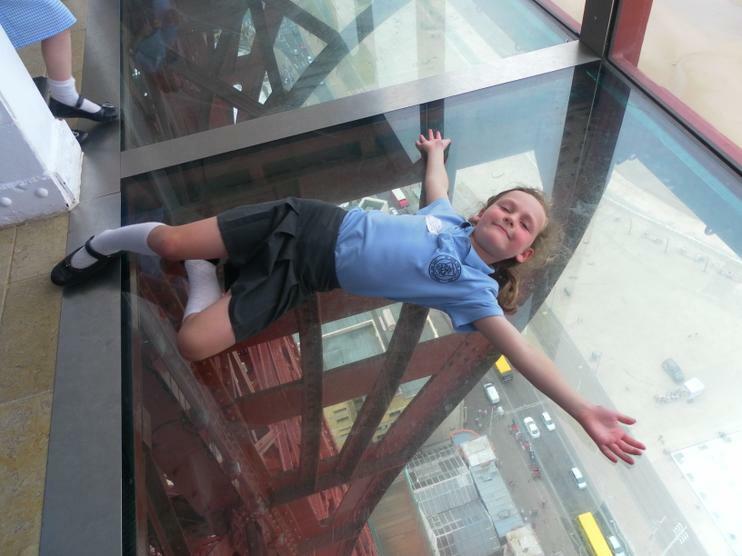 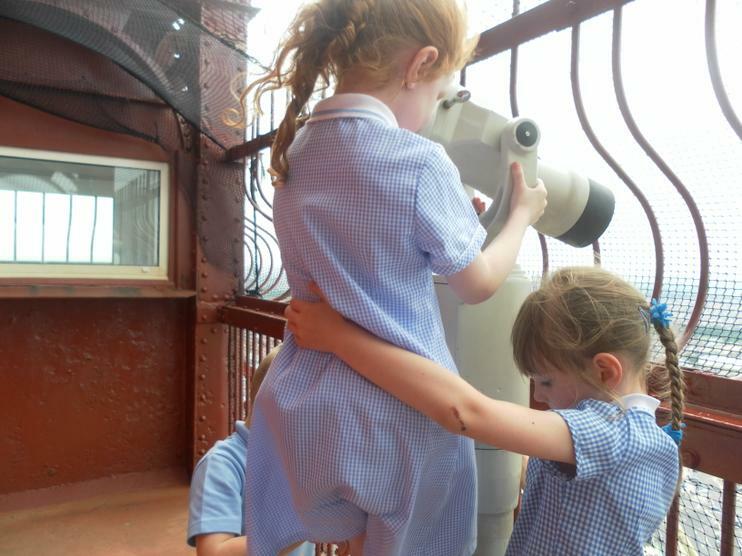 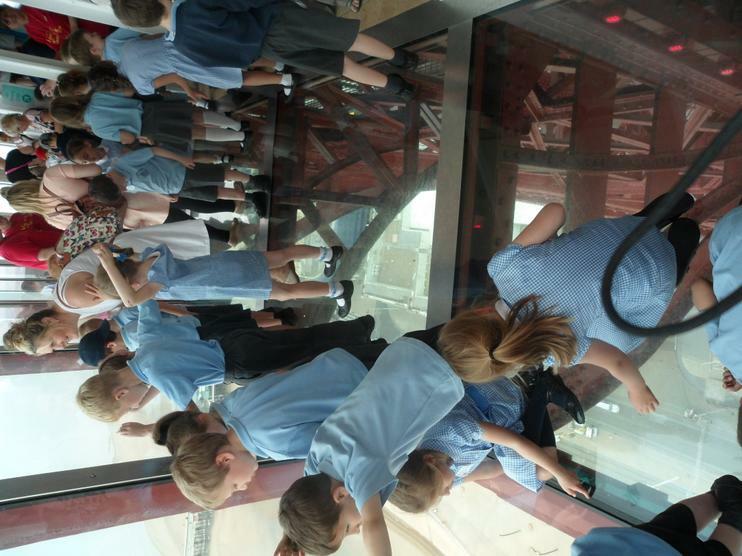 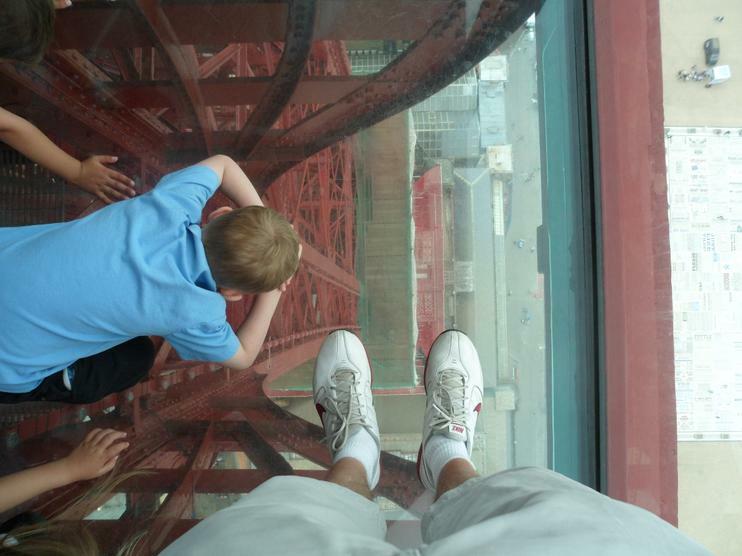 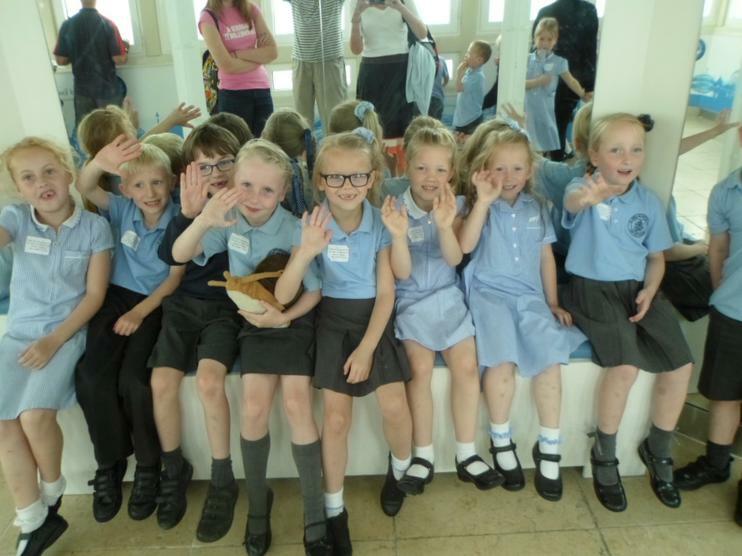 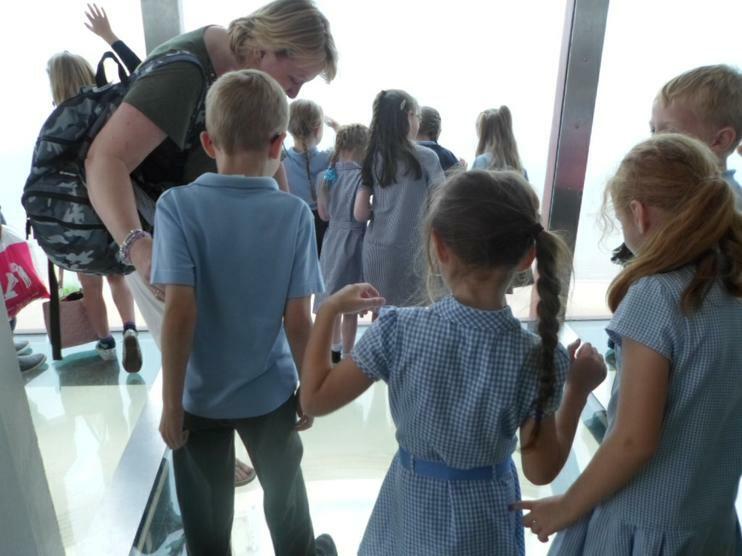 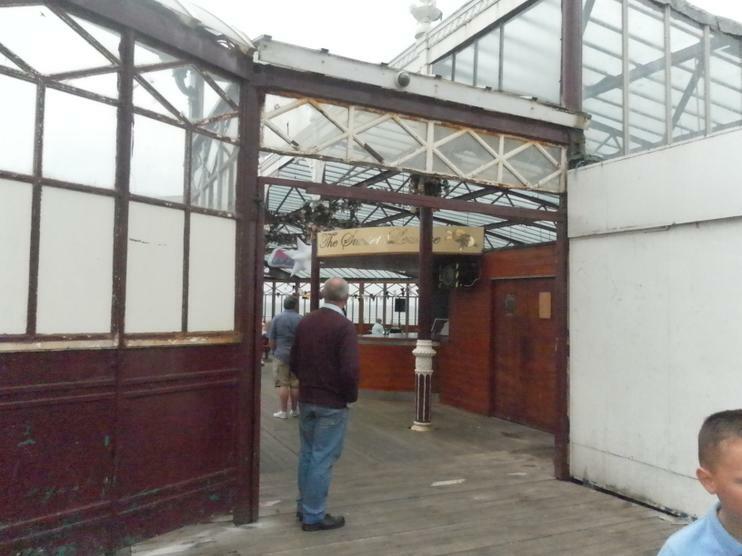 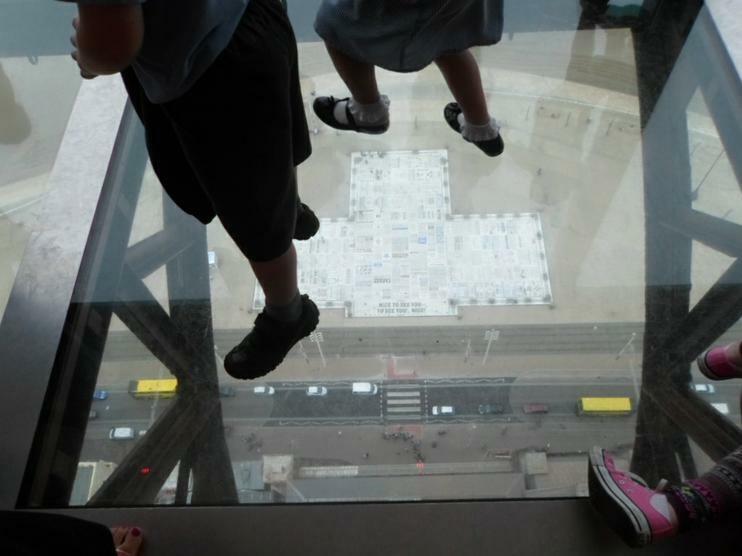 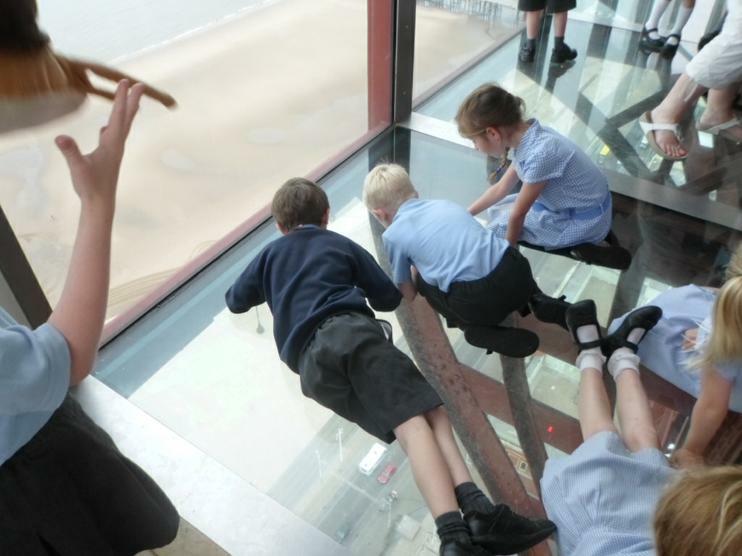 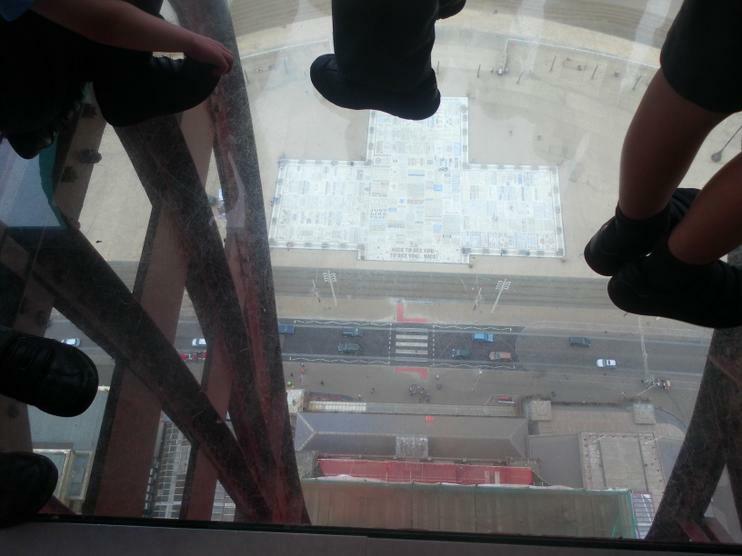 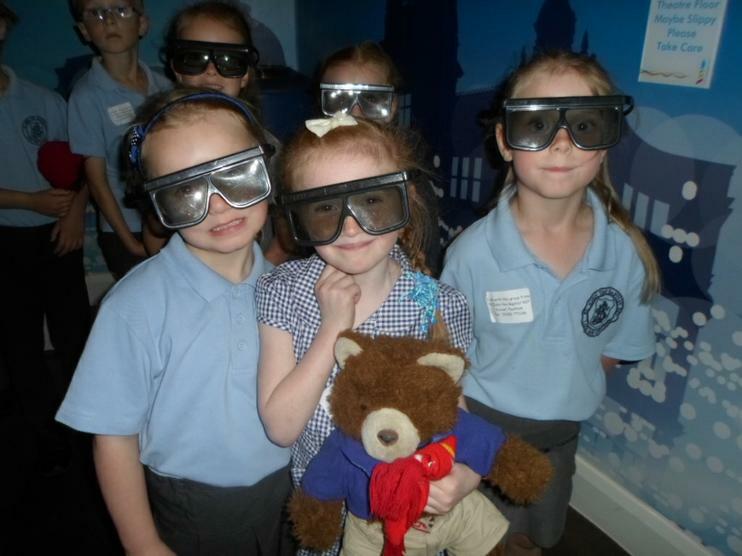 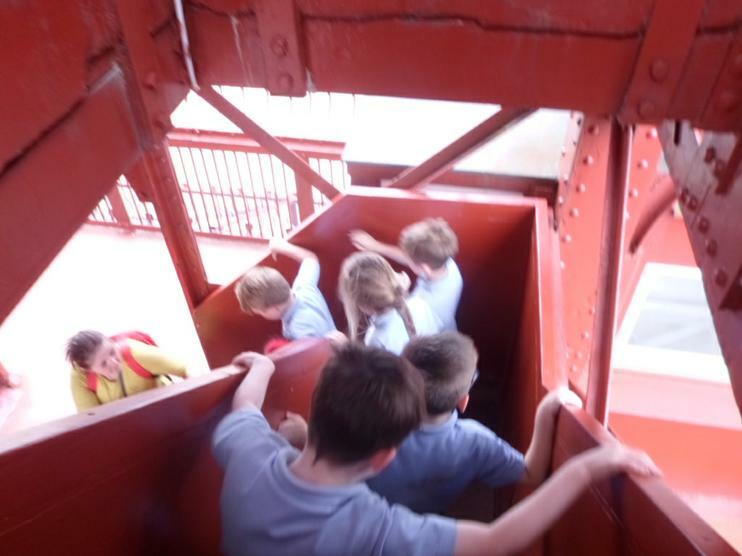 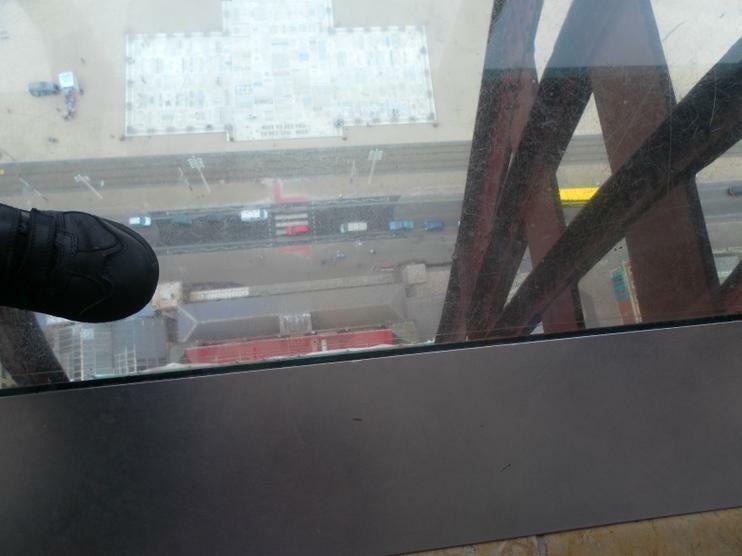 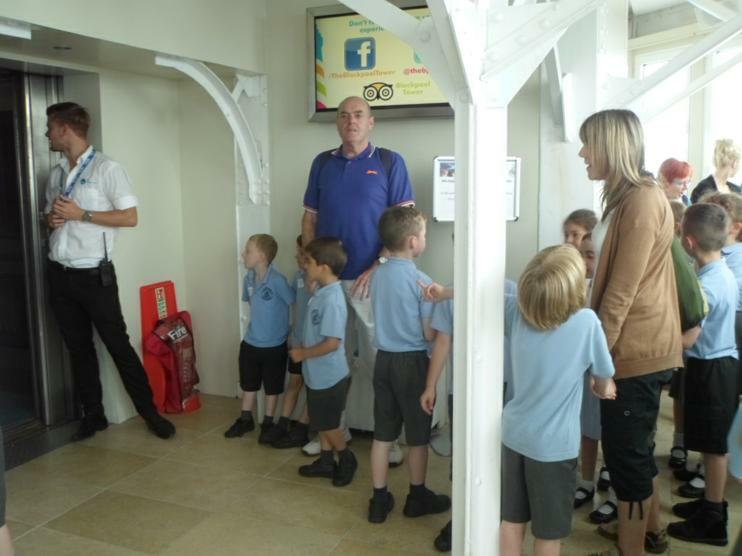 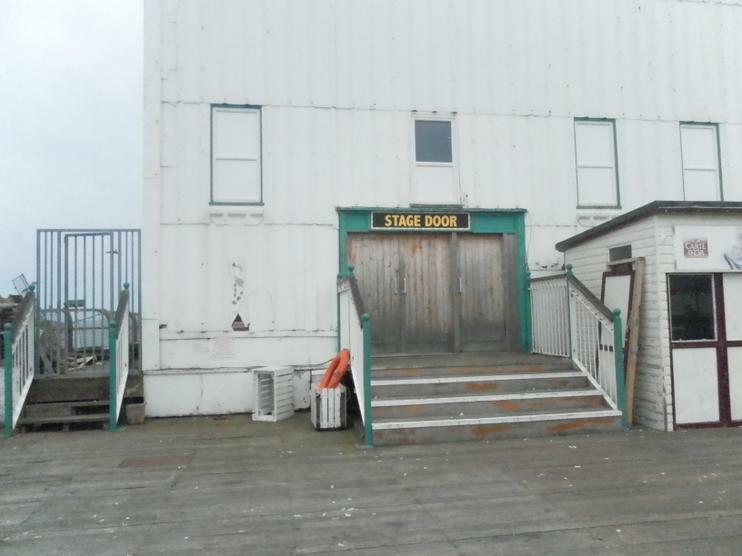 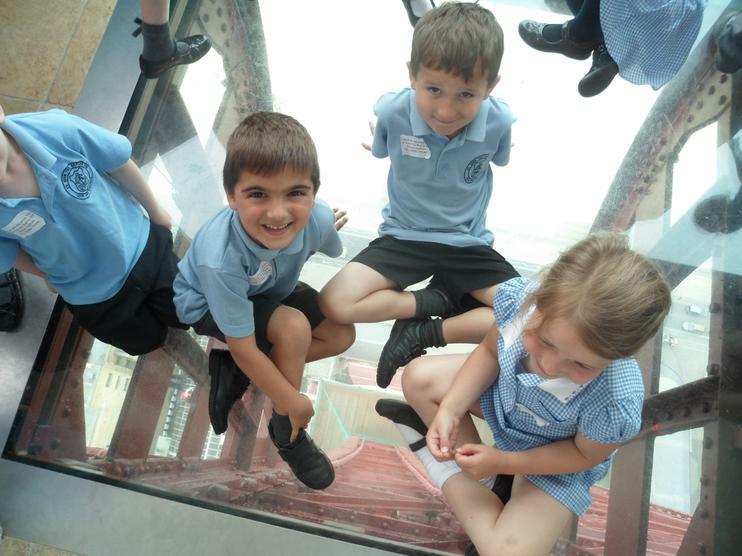 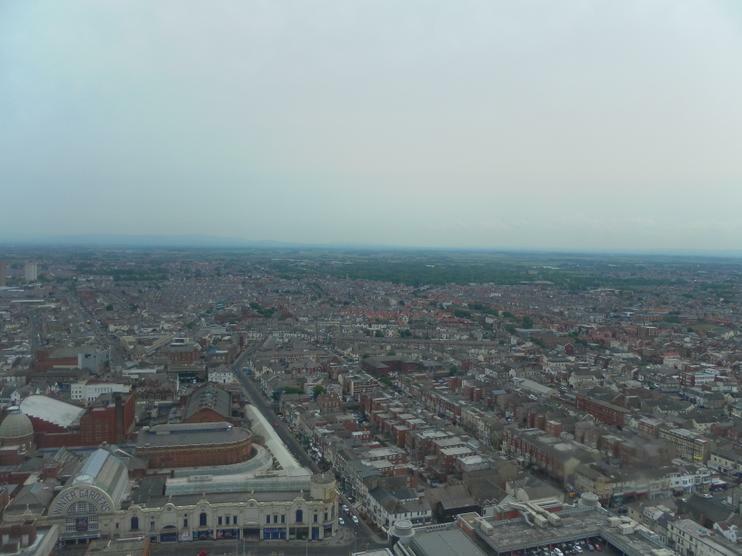 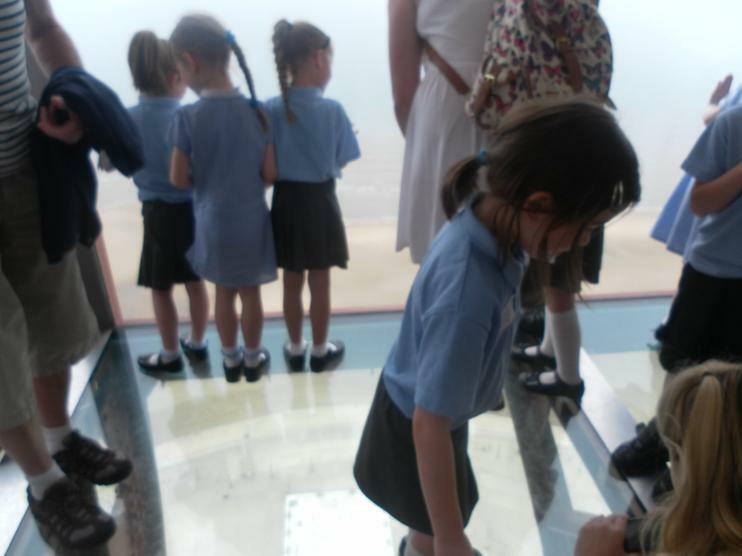 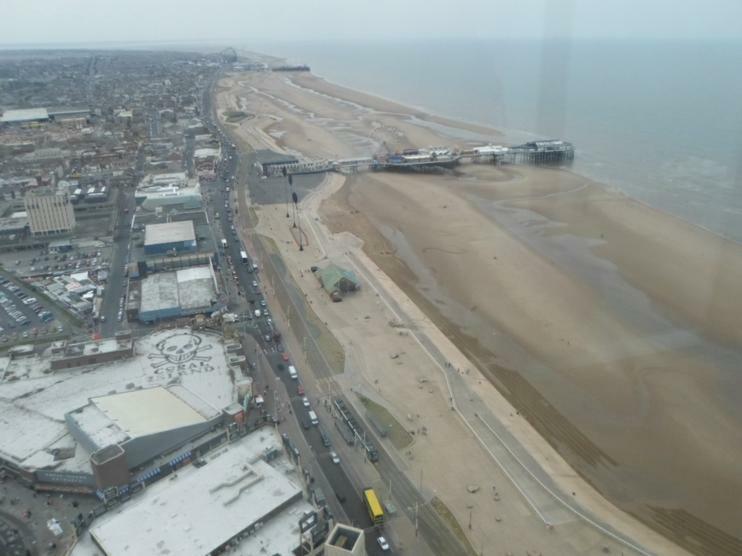 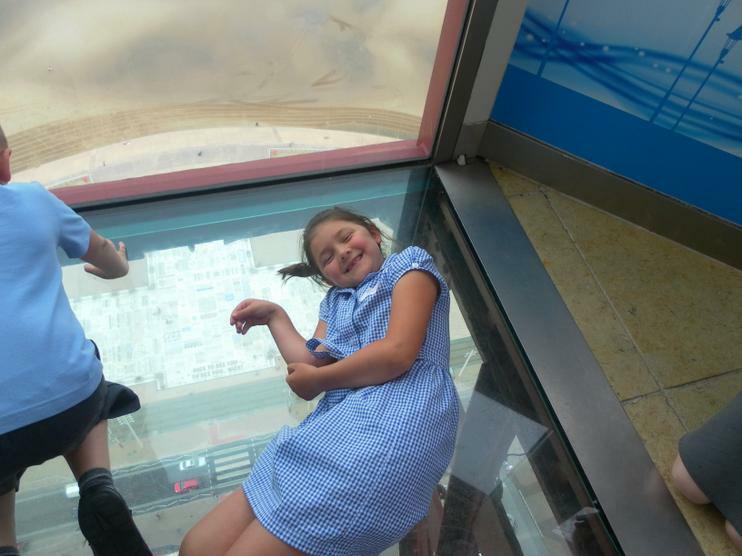 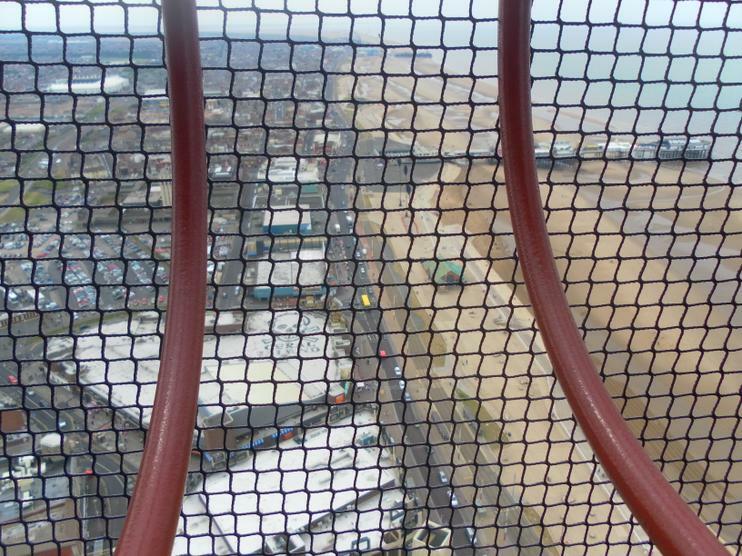 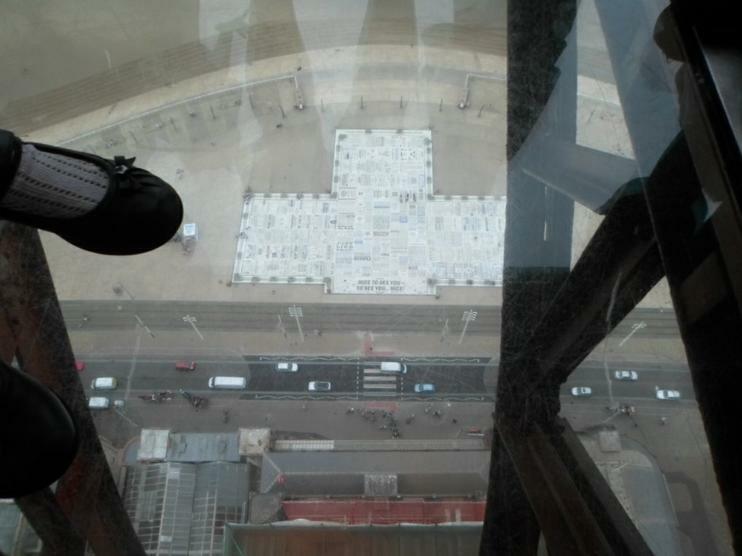 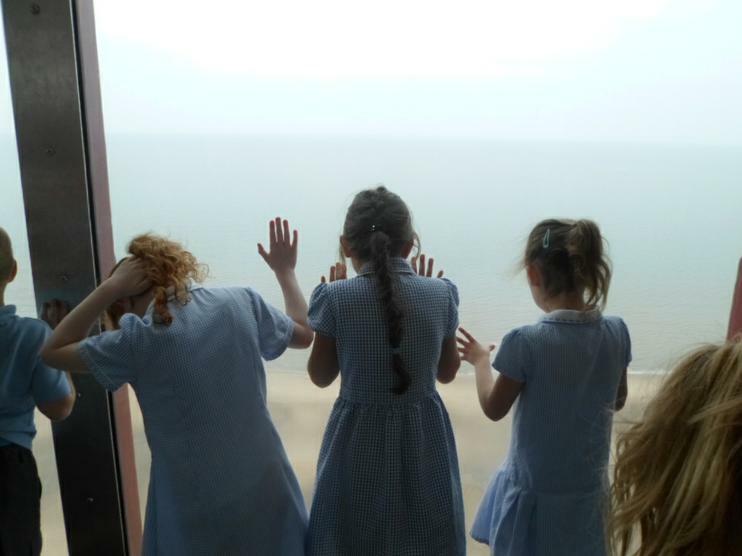 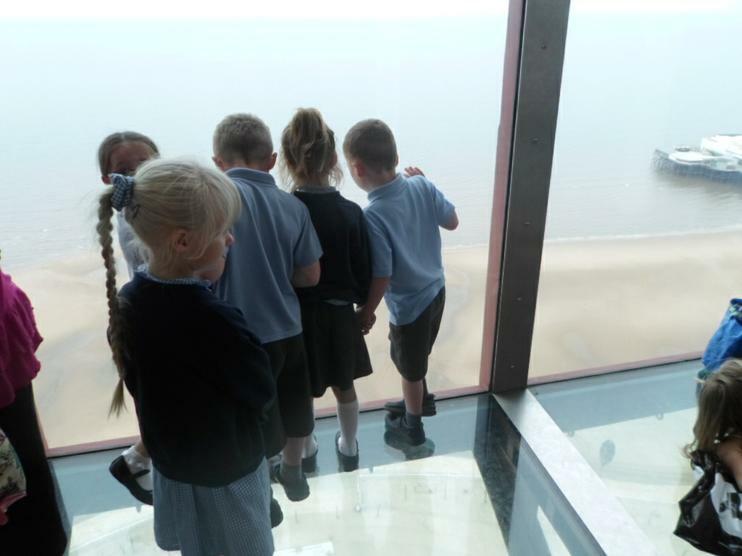 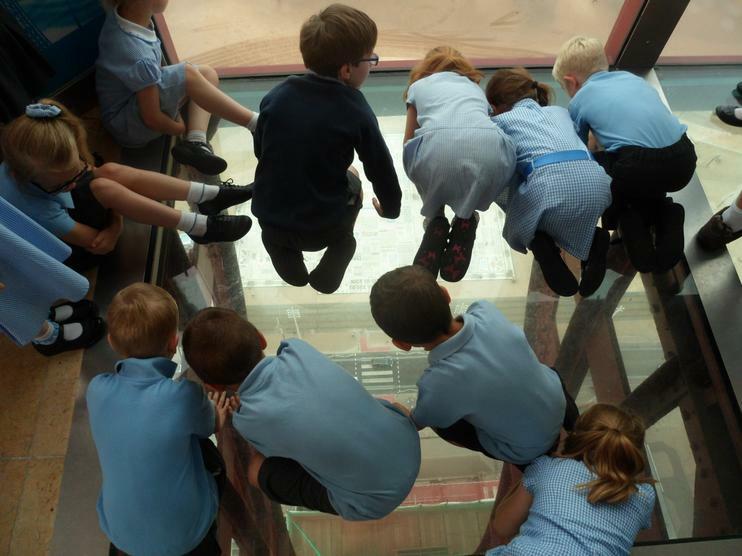 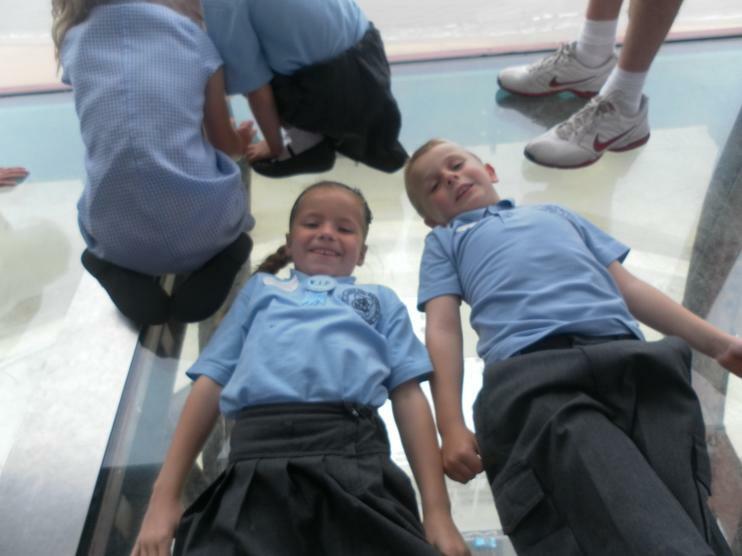 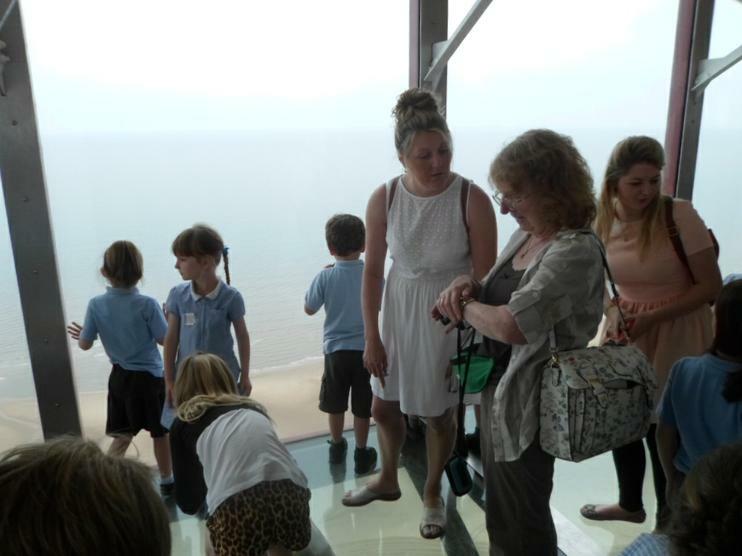 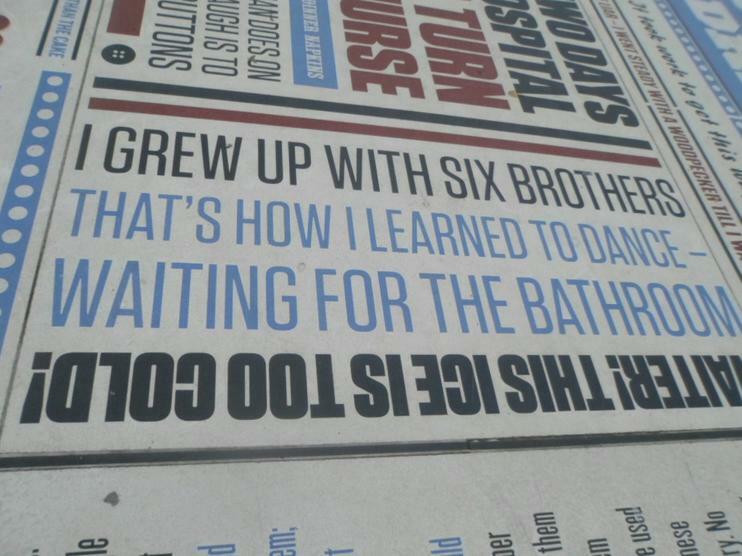 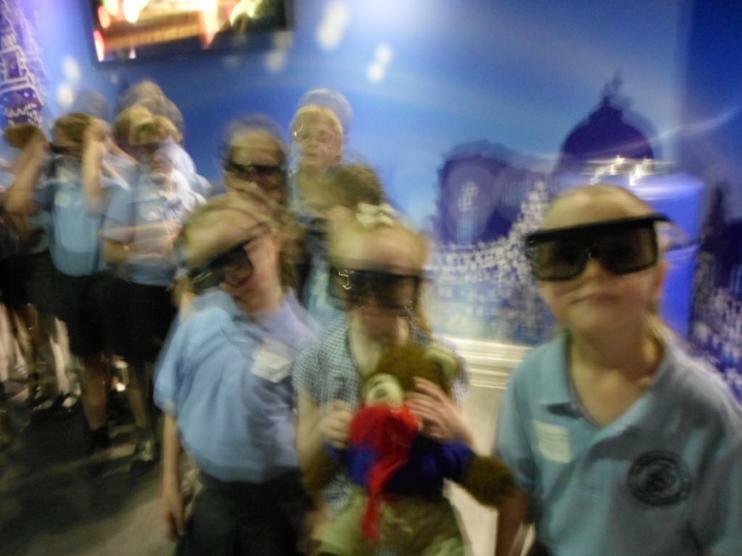 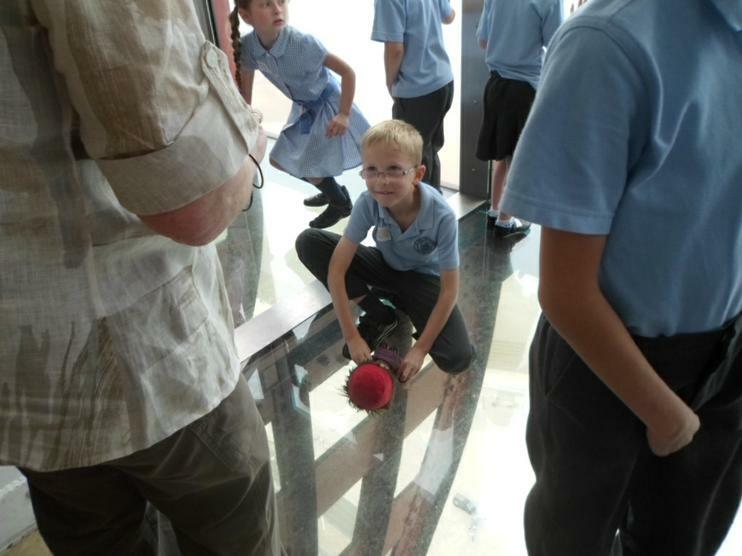 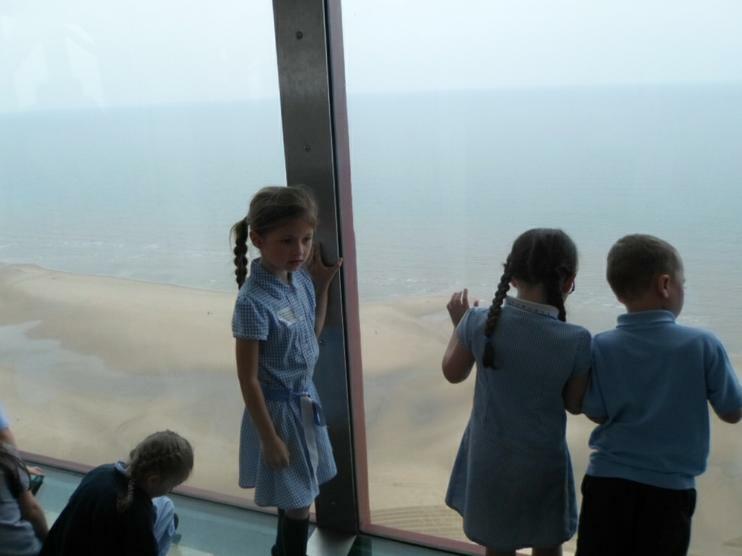 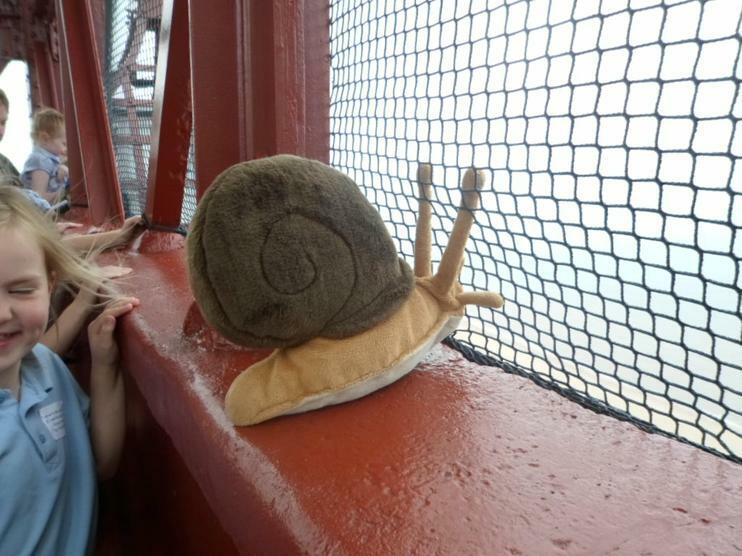 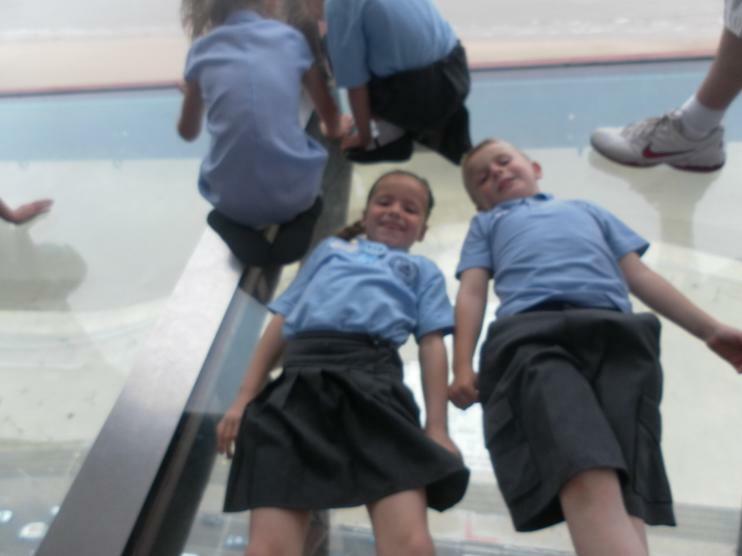 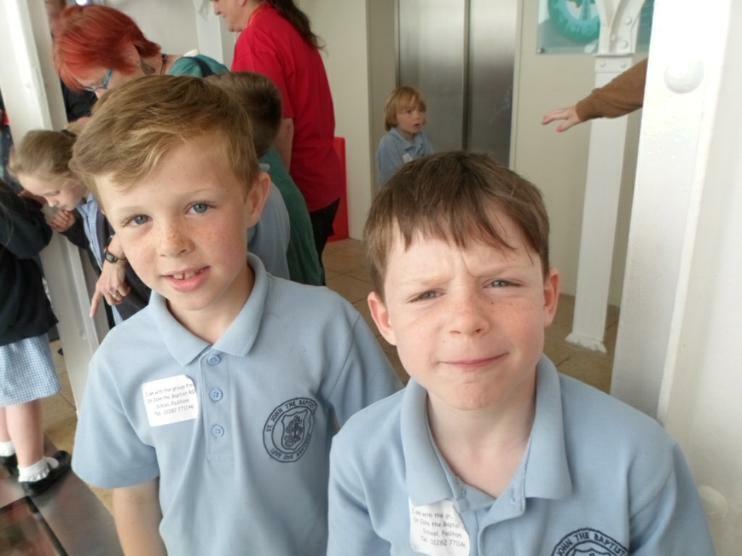 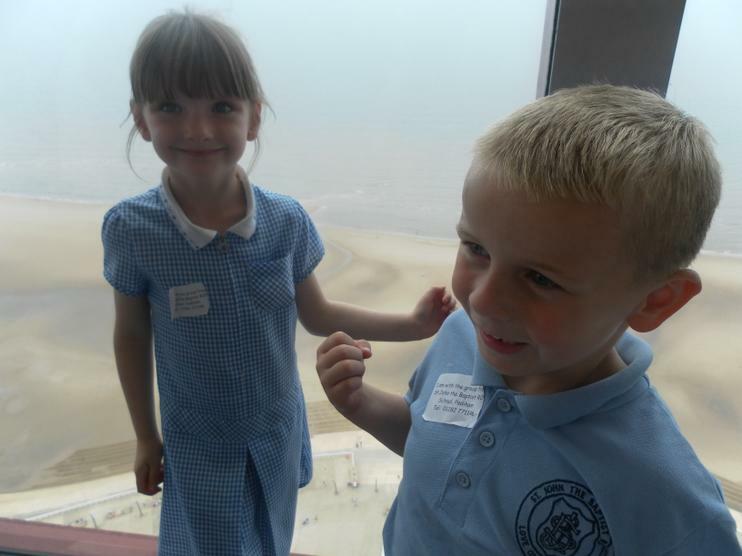 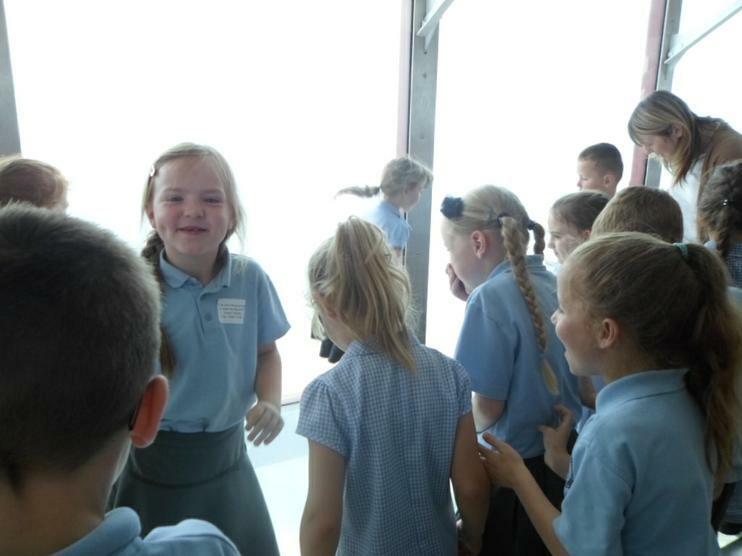 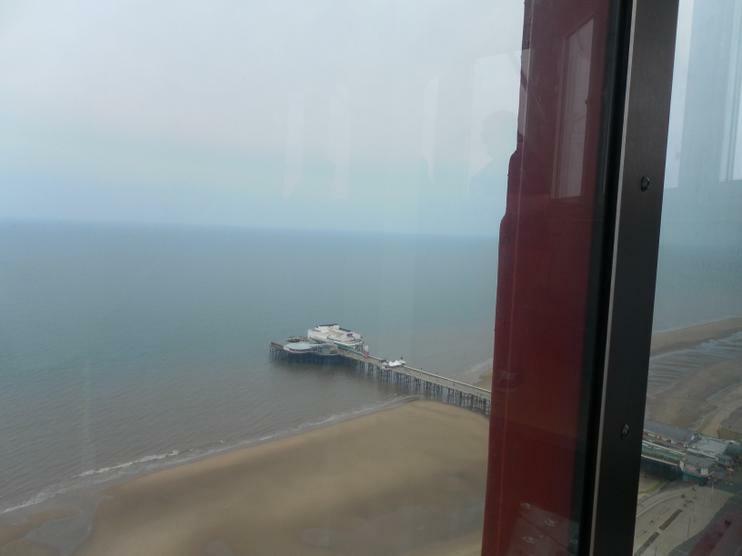 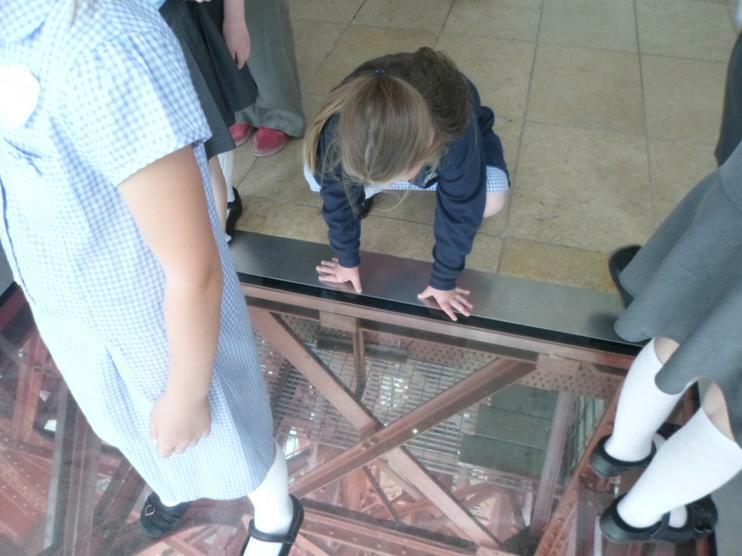 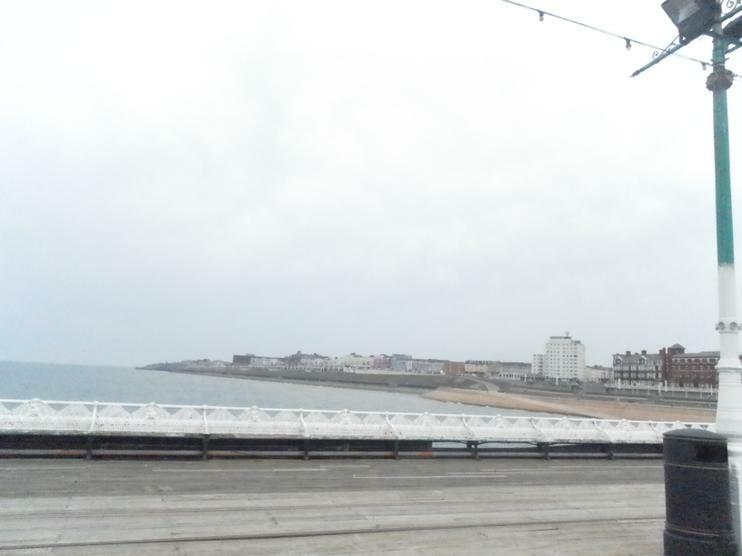 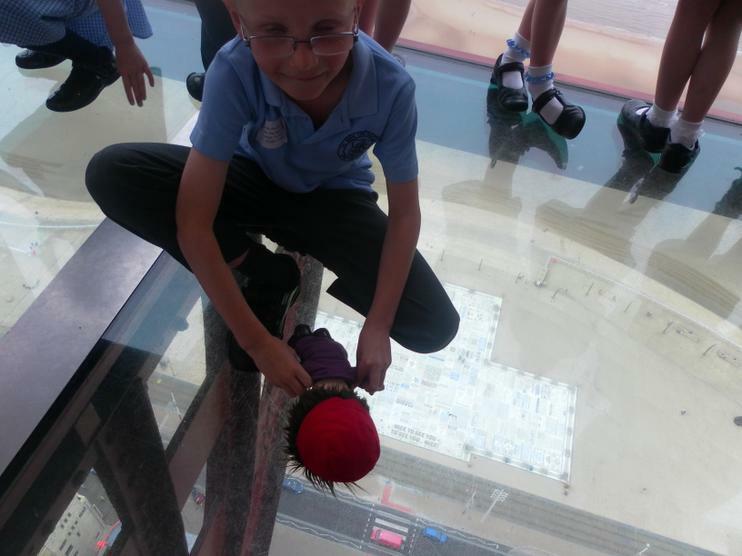 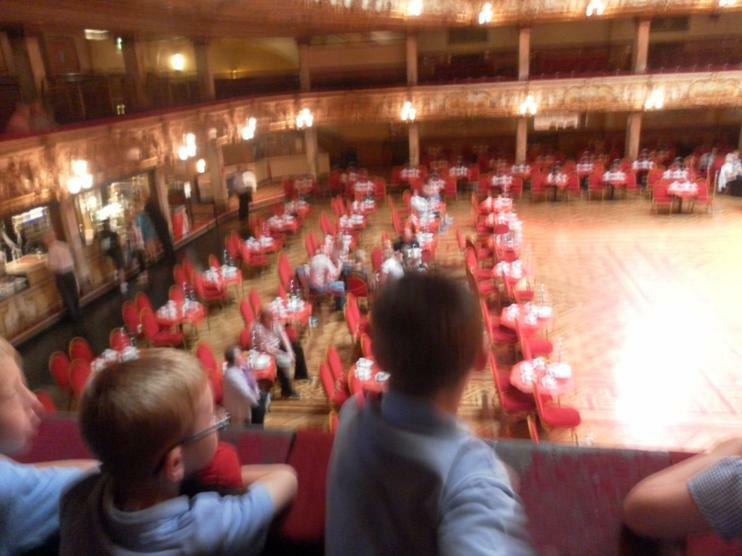 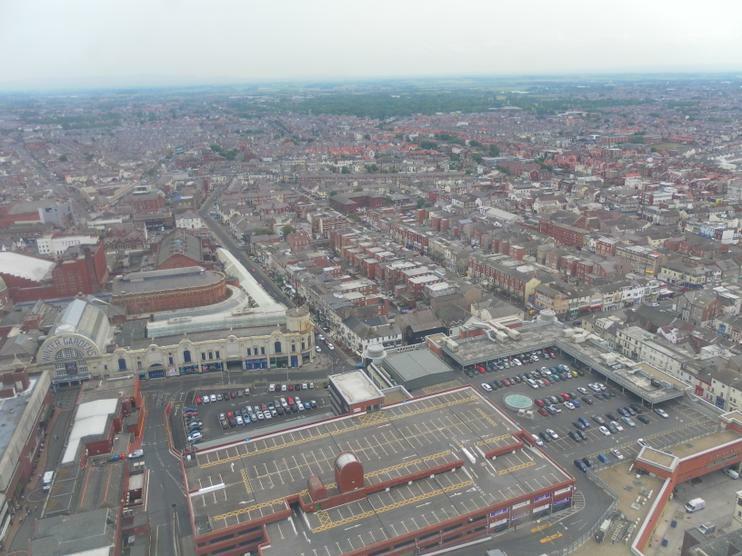 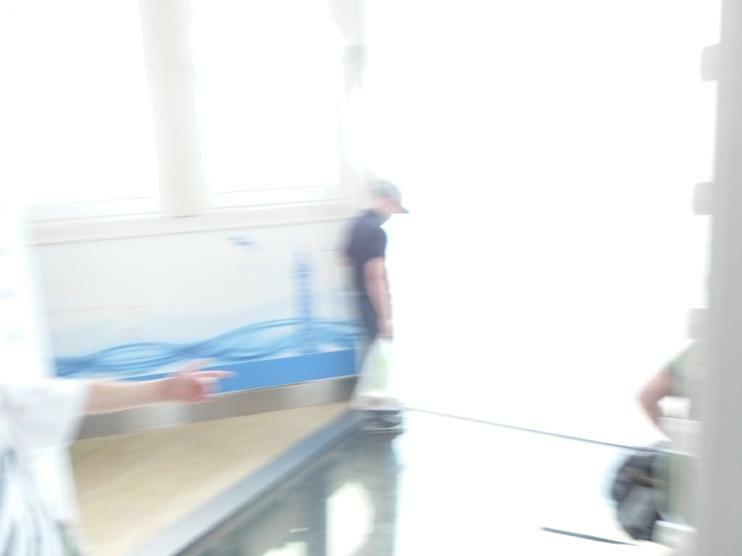 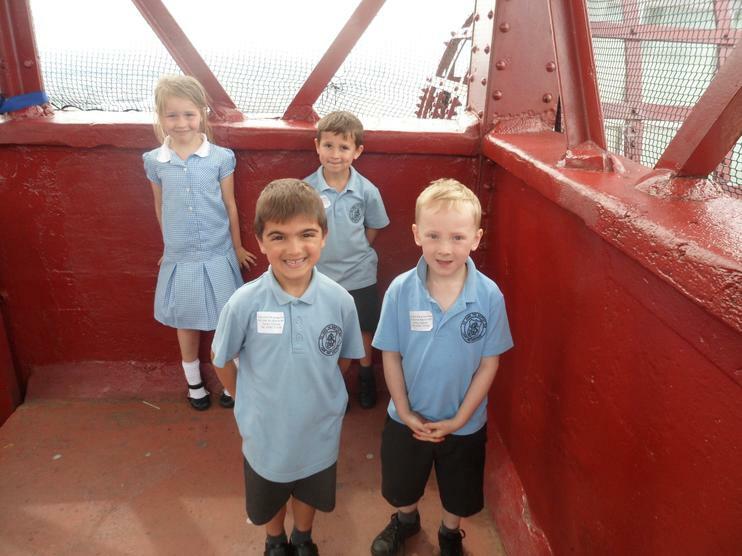 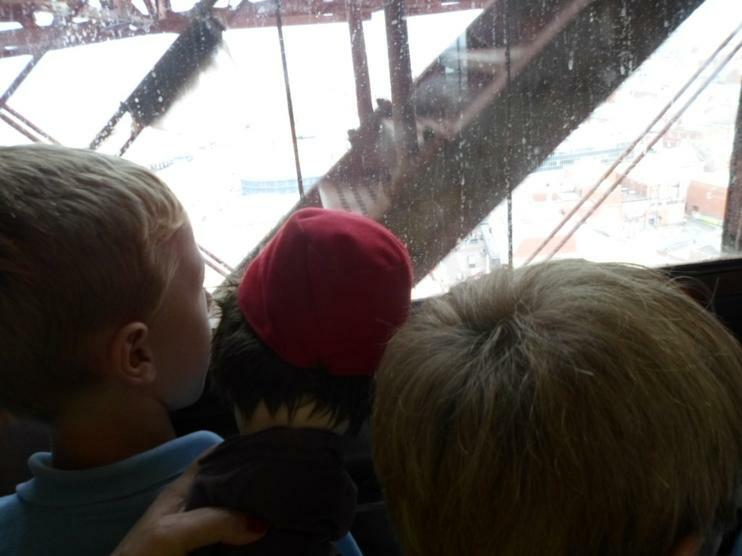 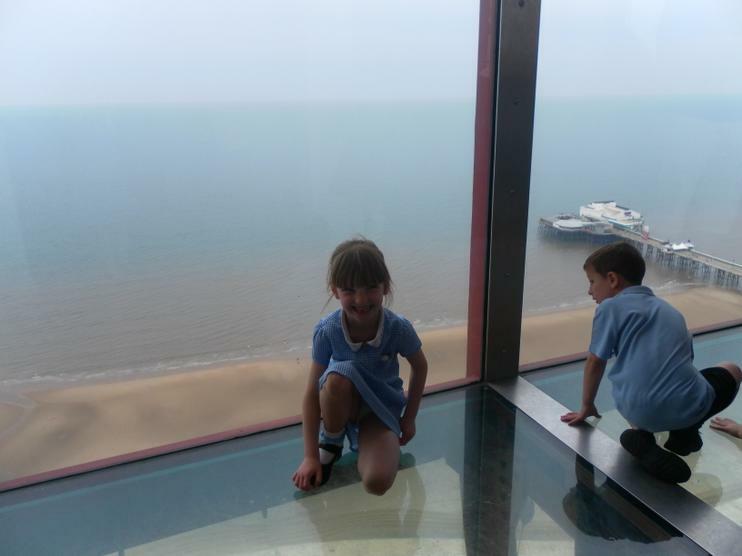 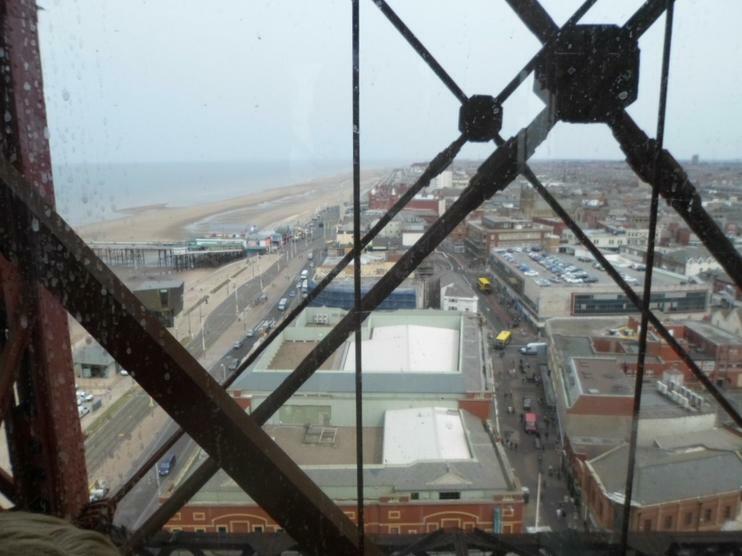 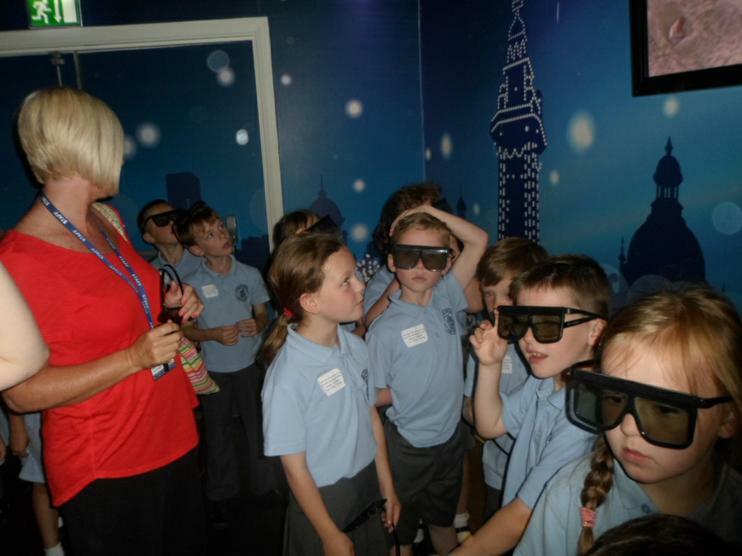 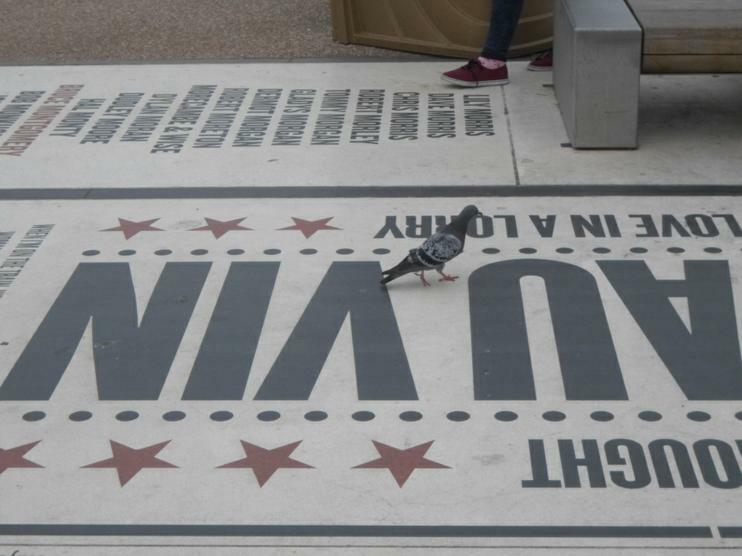 They went to the top of the tower and stood on the glass floor, got wet in the 4D cinema experience, watched some fabulous ballroom dancing whilst they ate their lunch and had a walk on the promenade. 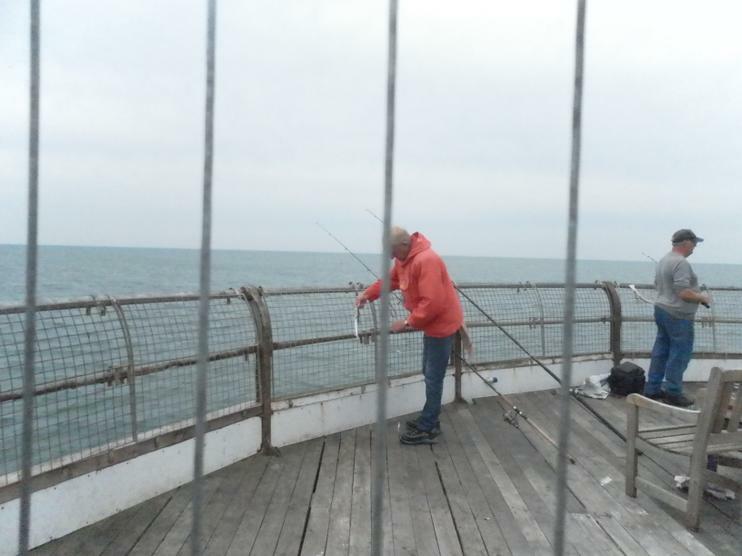 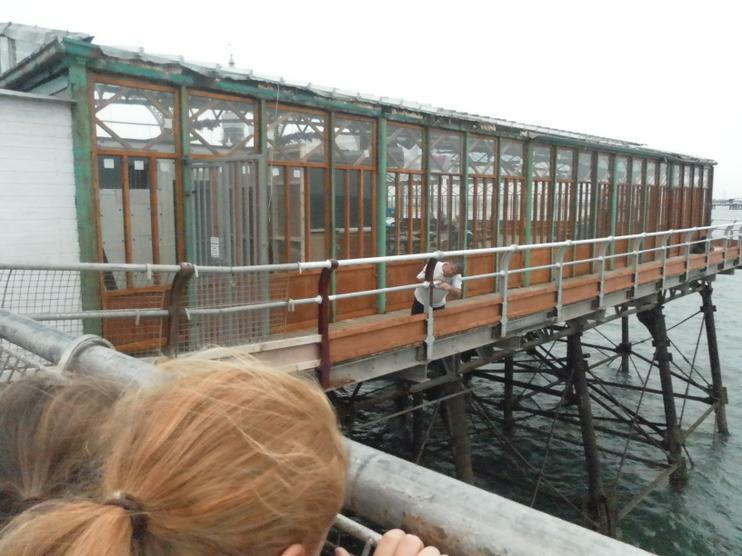 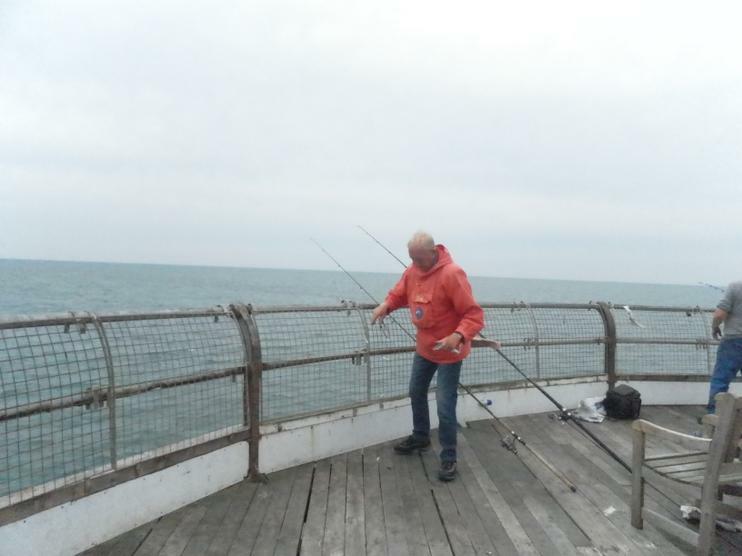 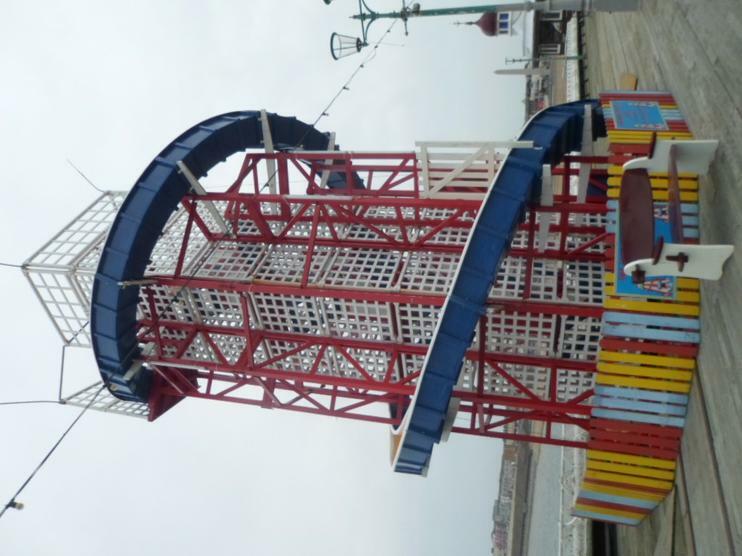 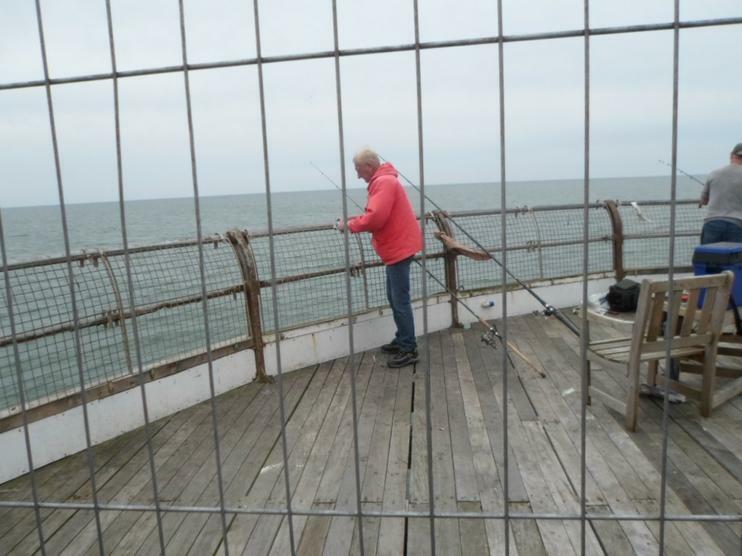 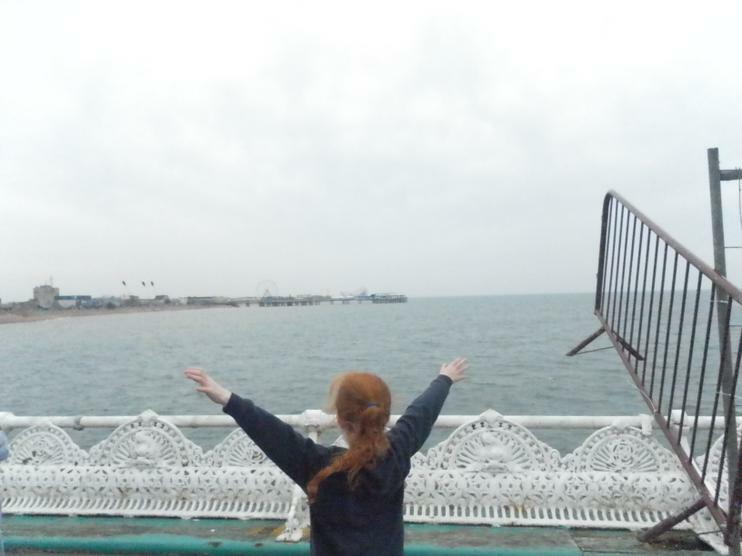 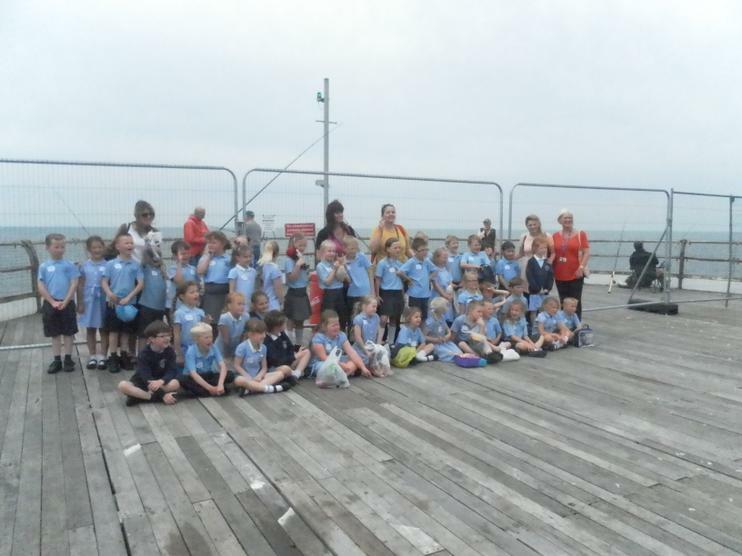 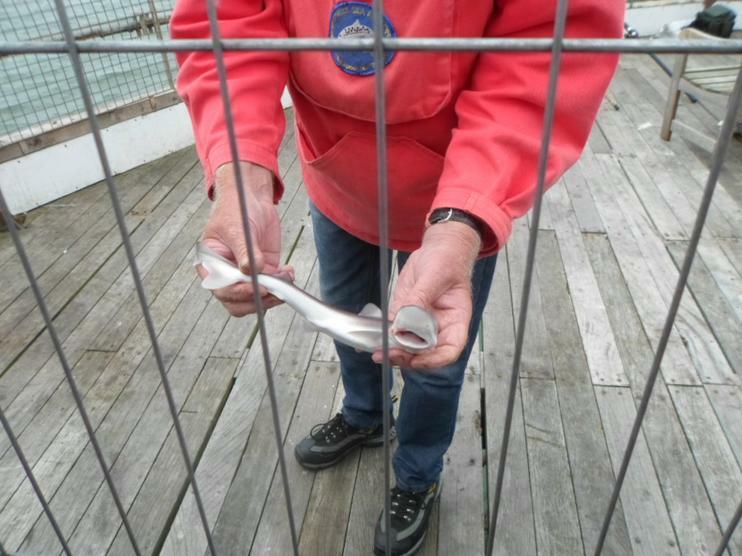 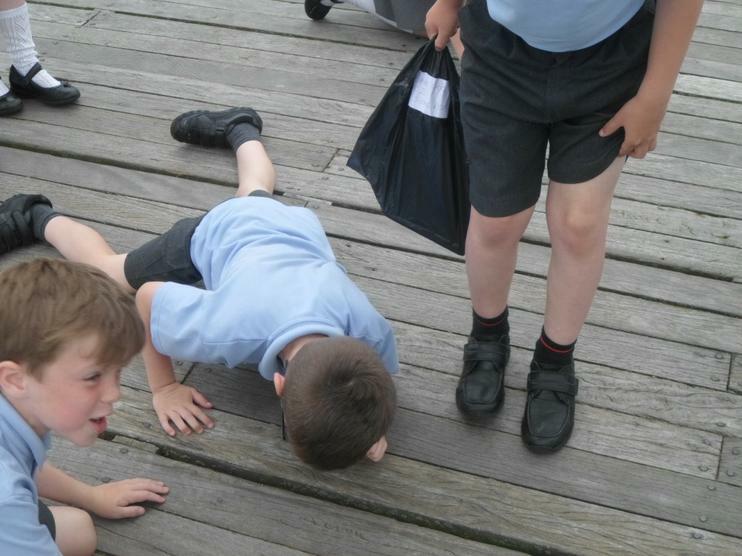 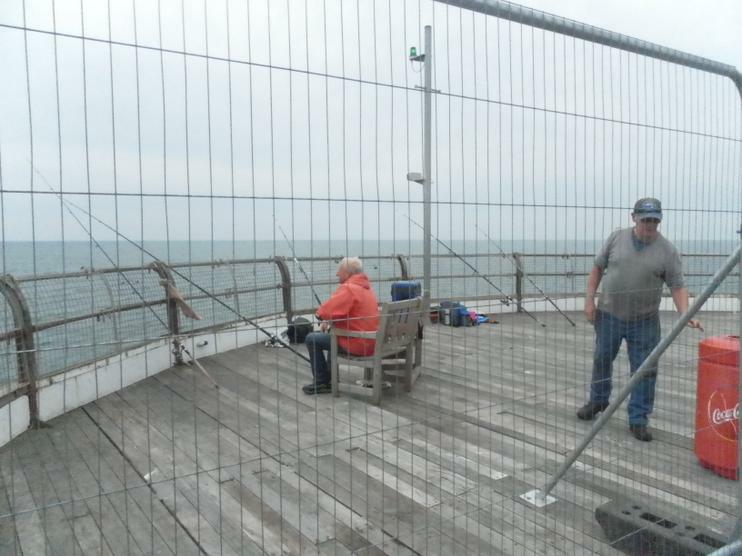 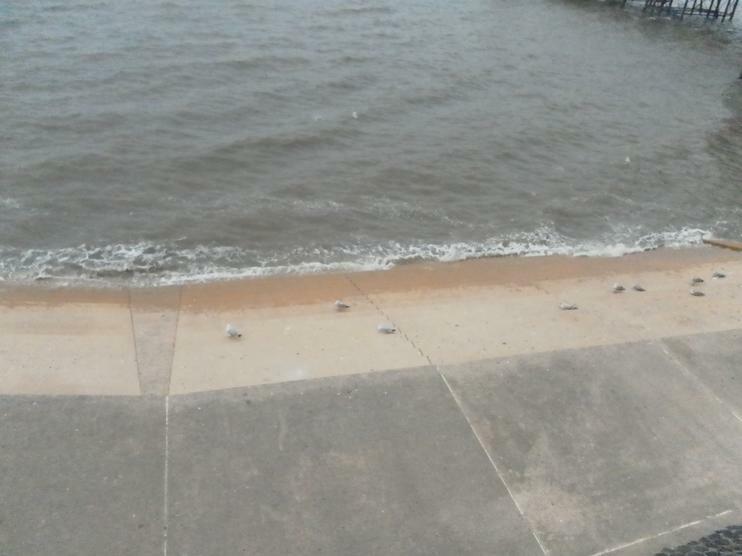 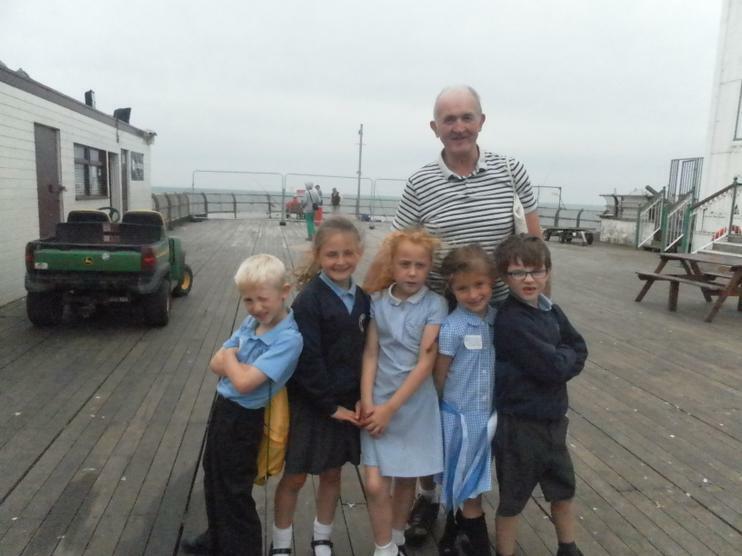 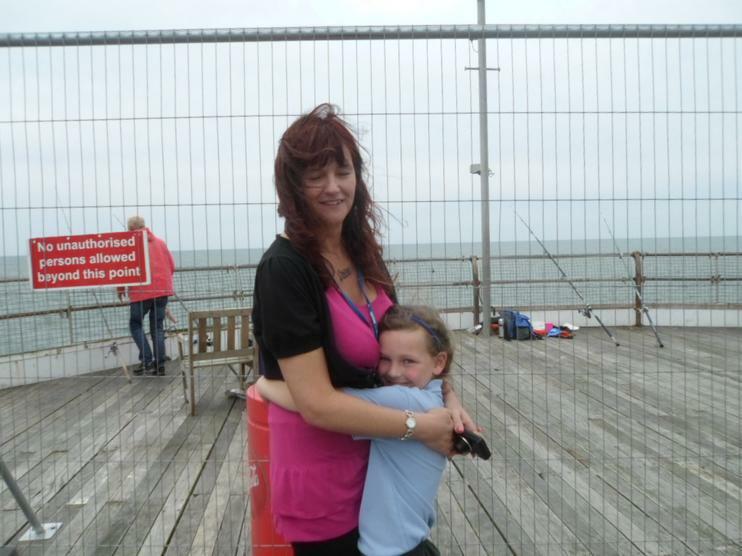 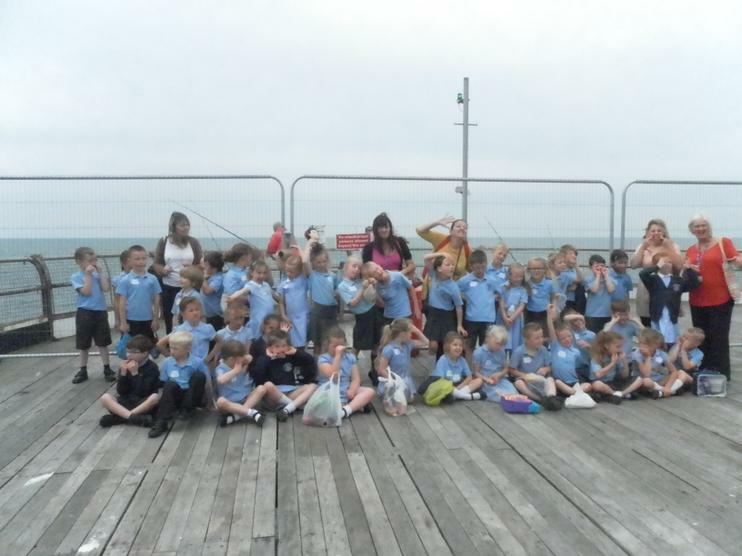 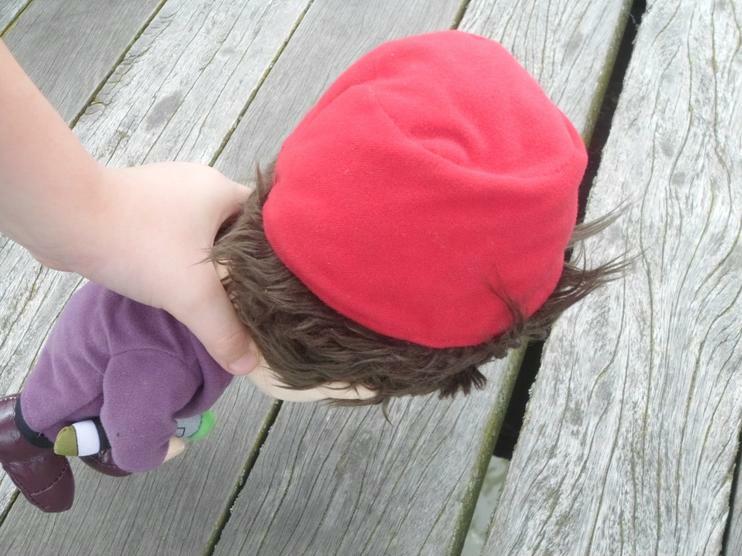 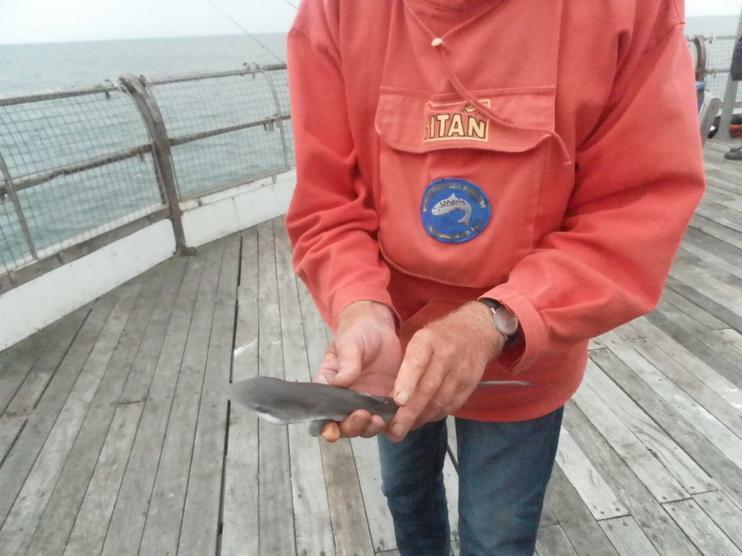 Some children went on the pier and saw a fisherman catch a baby shark! 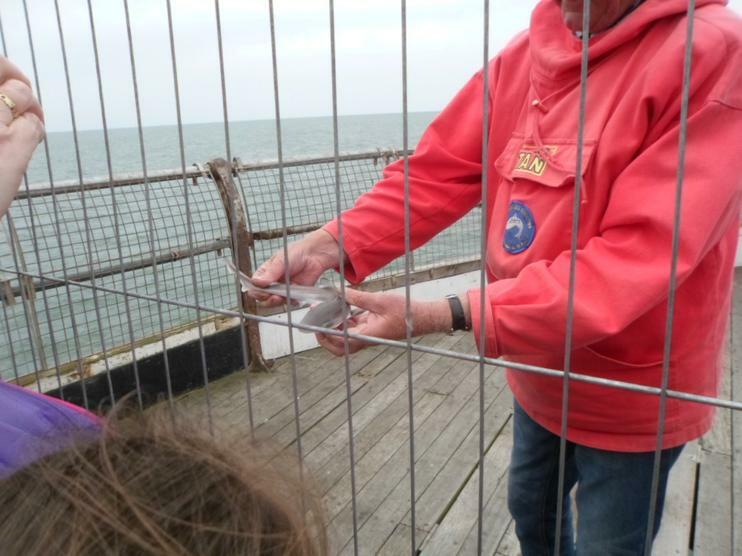 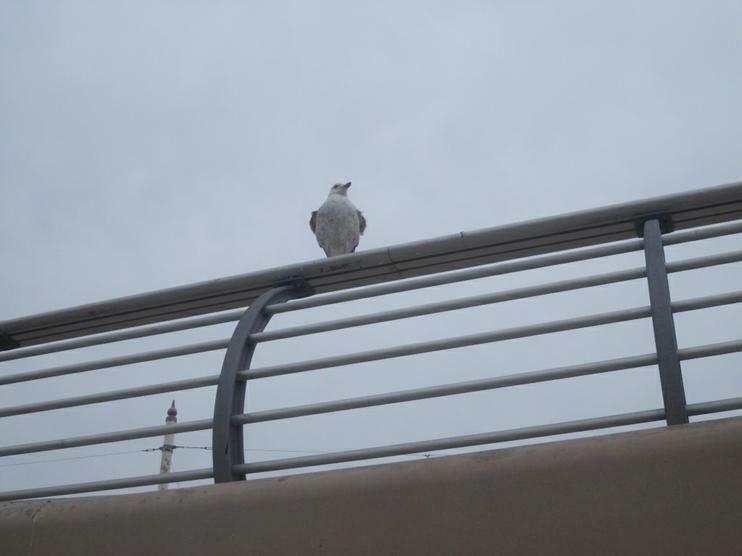 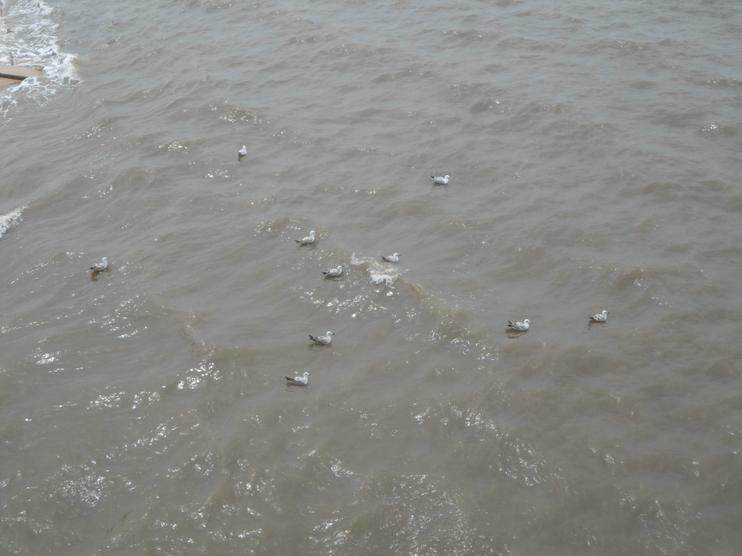 Thankfully, he released it into the water to be back with its family. 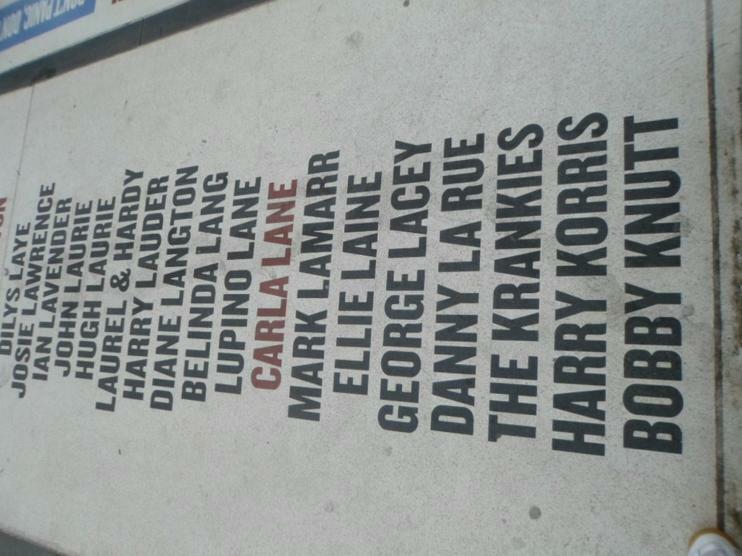 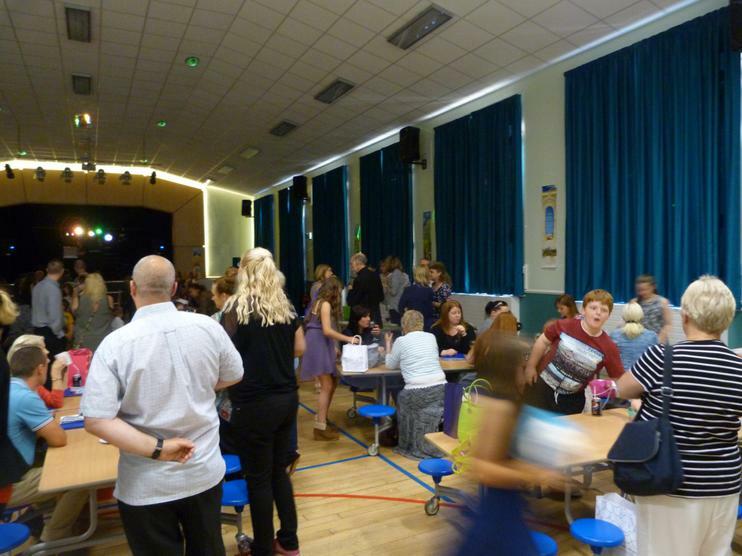 A big thank you to all the people who helped on the day. 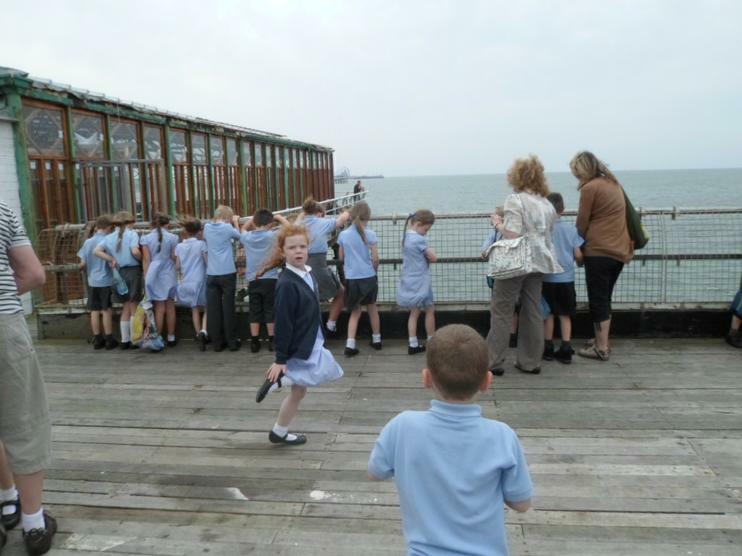 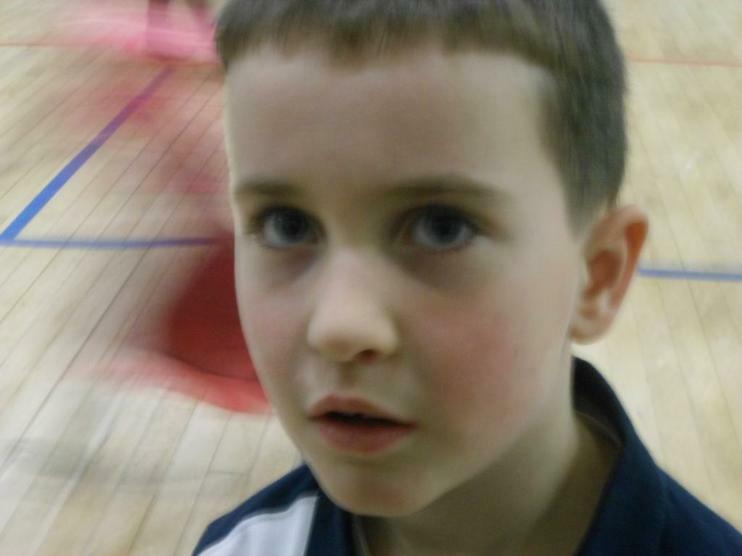 Take a look at the photos. 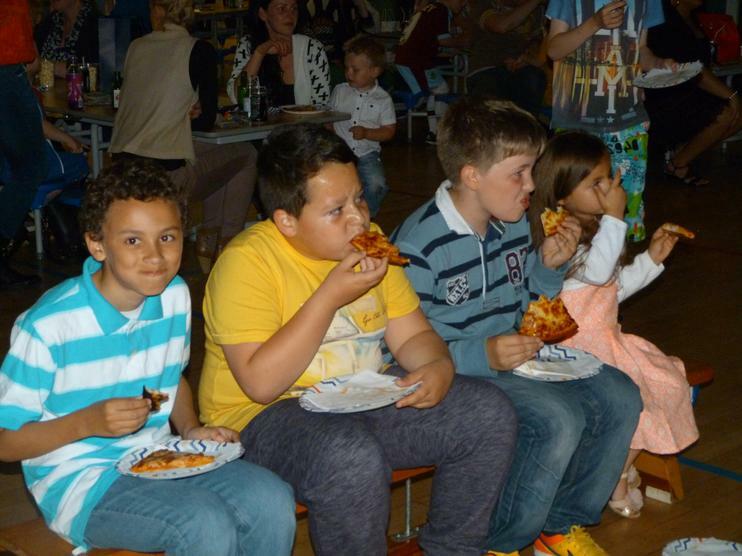 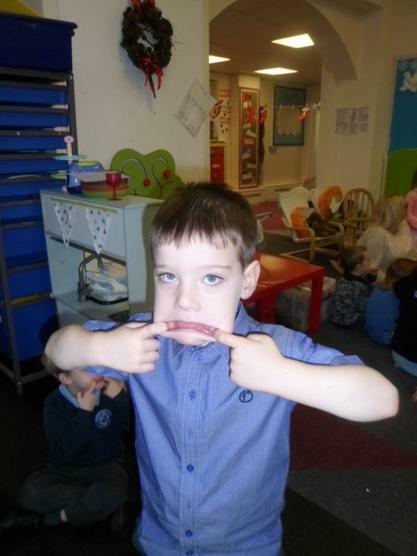 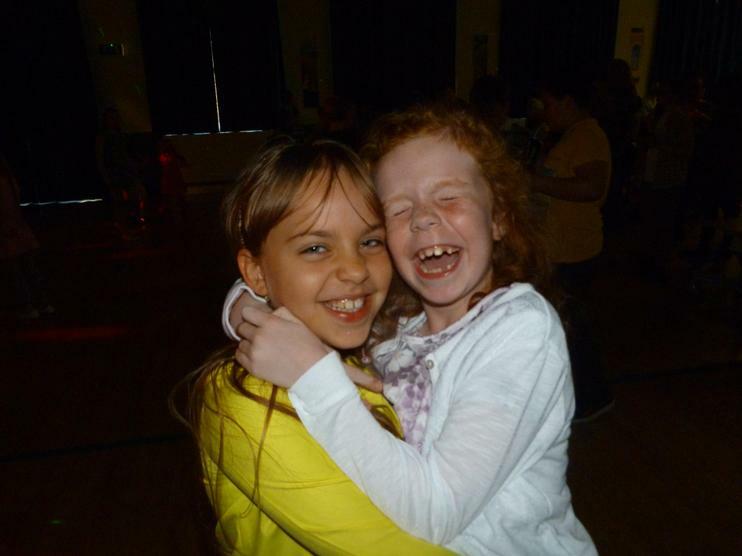 We hope you see all the fun the children had in them...including all the funny faces we were pulling! 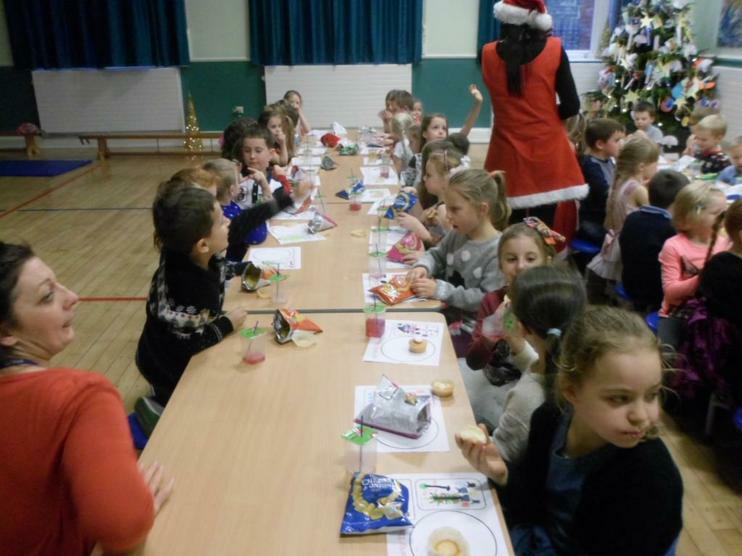 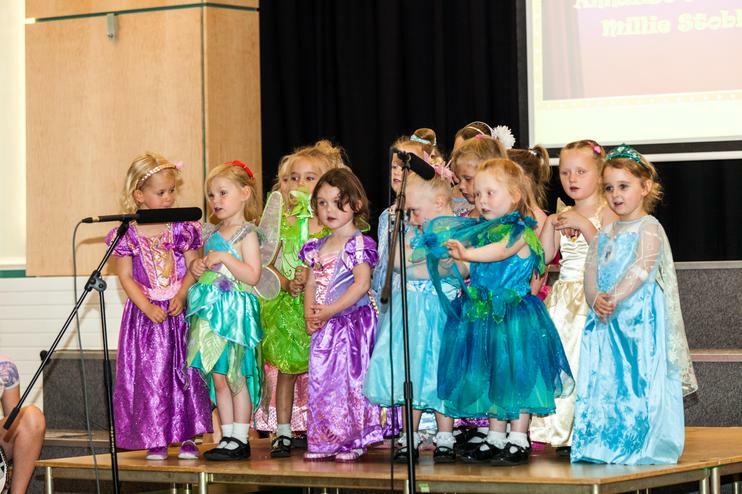 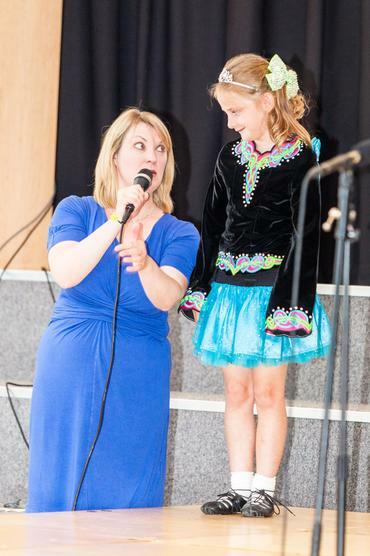 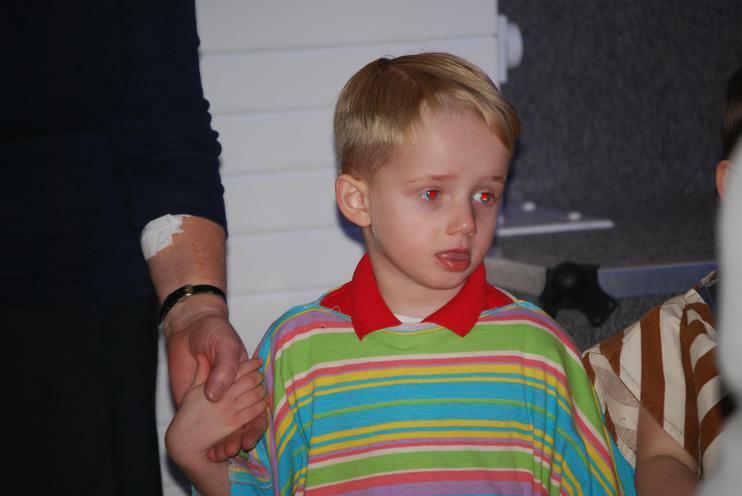 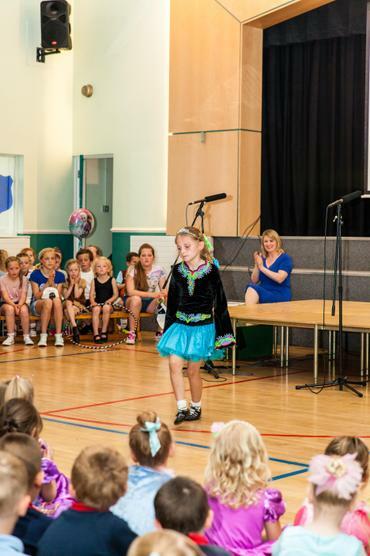 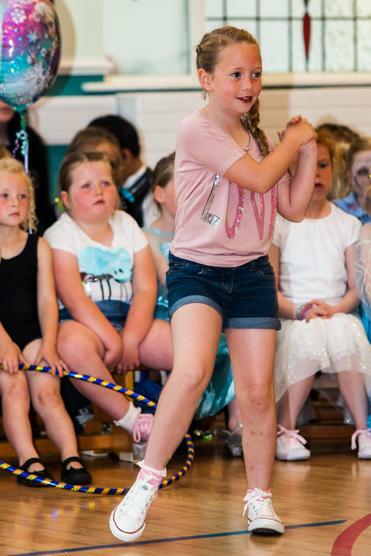 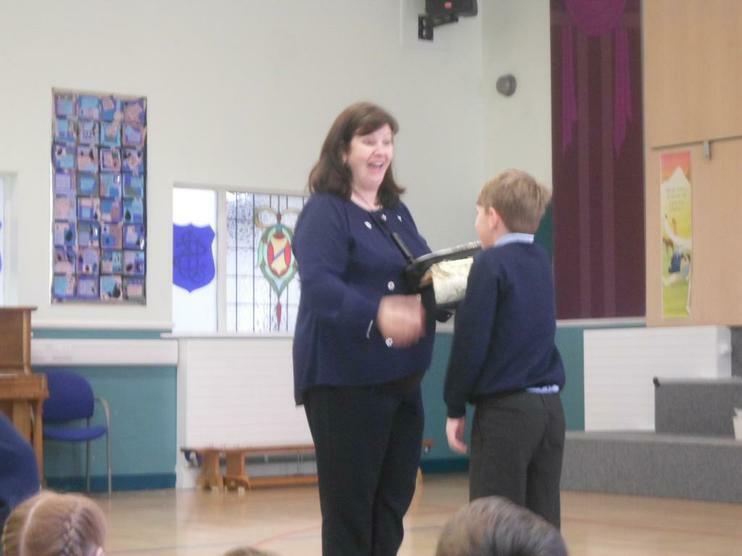 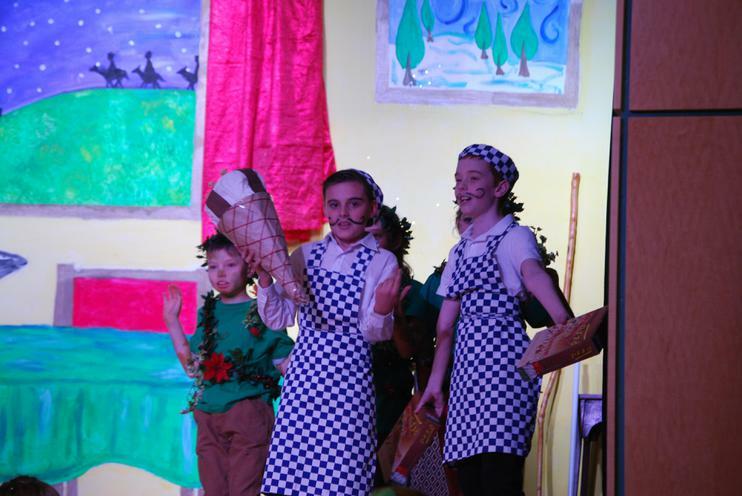 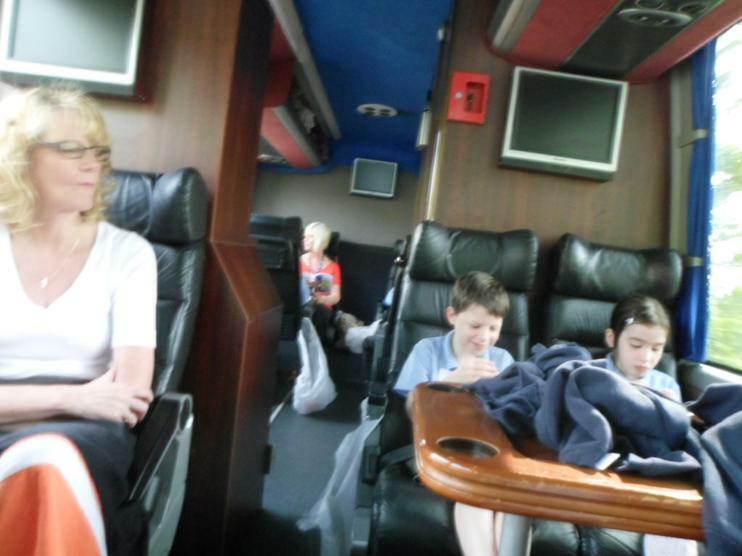 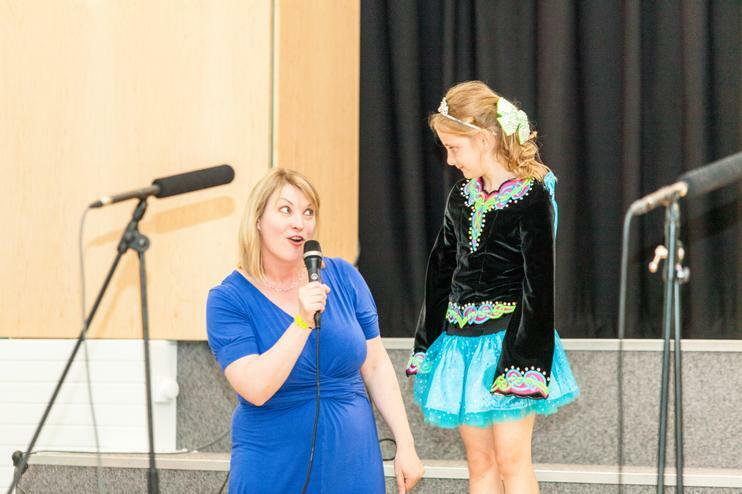 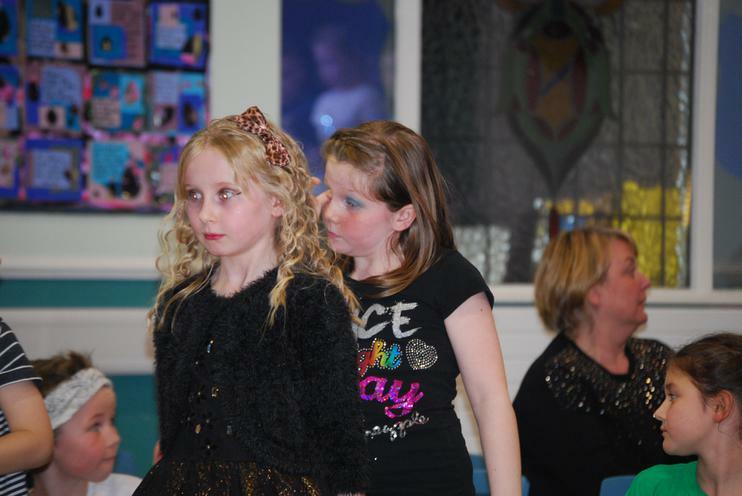 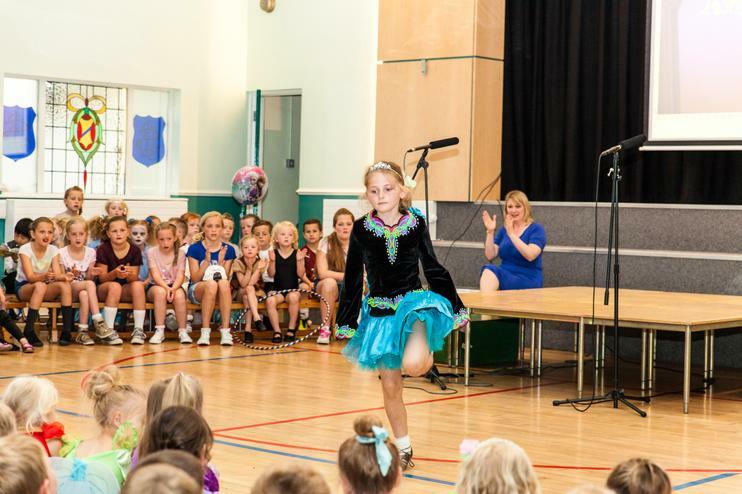 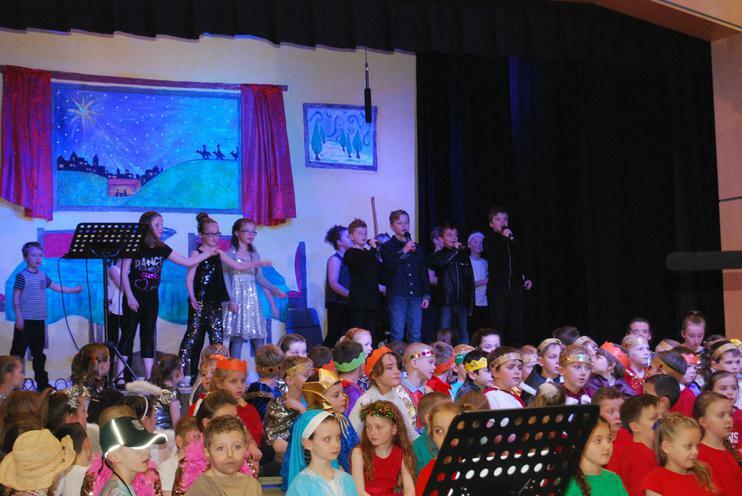 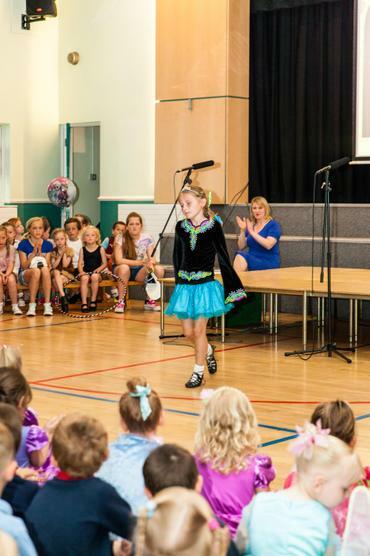 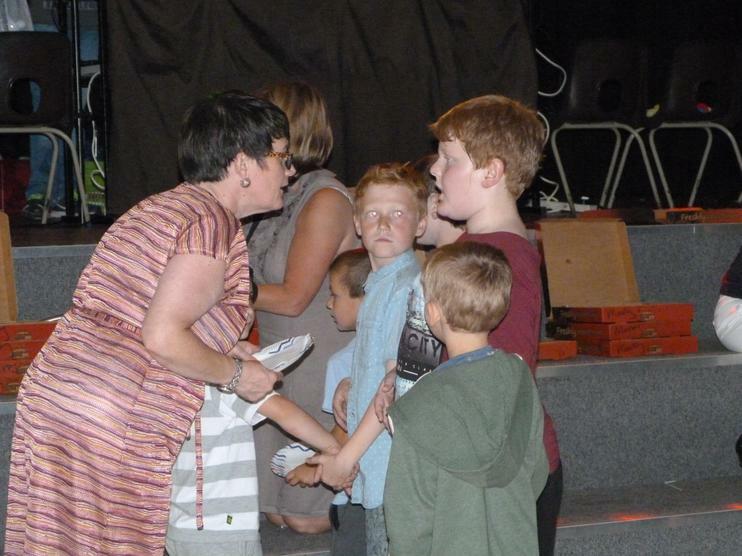 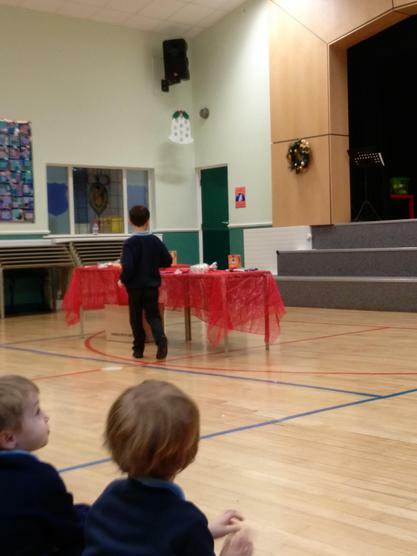 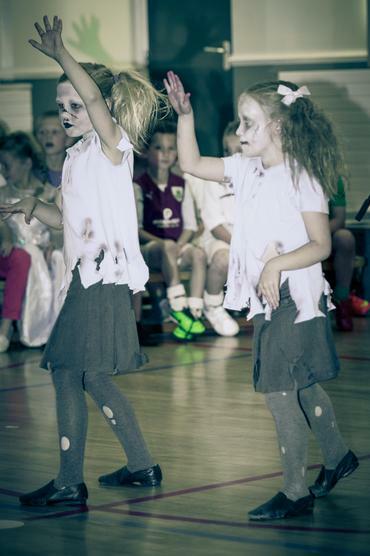 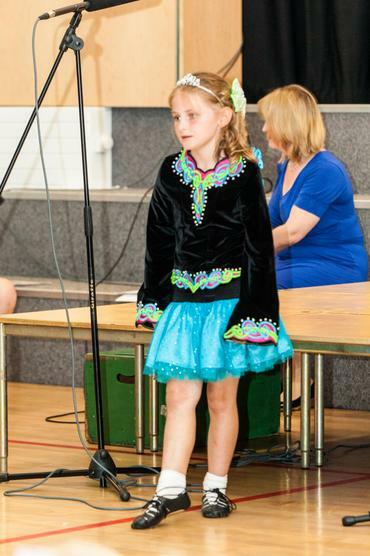 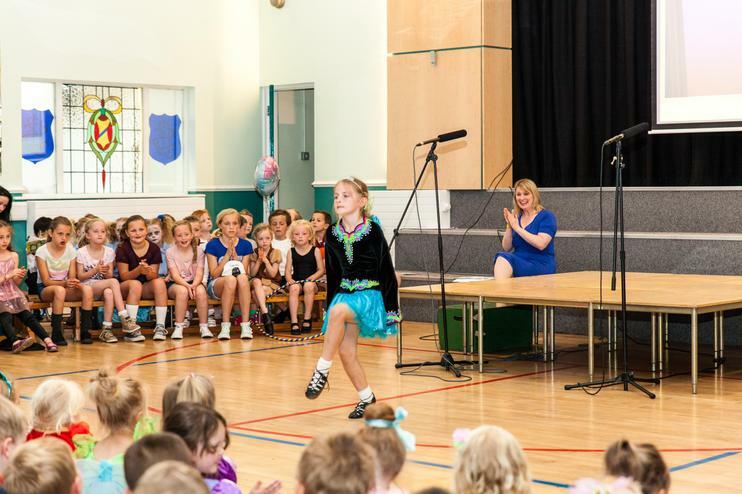 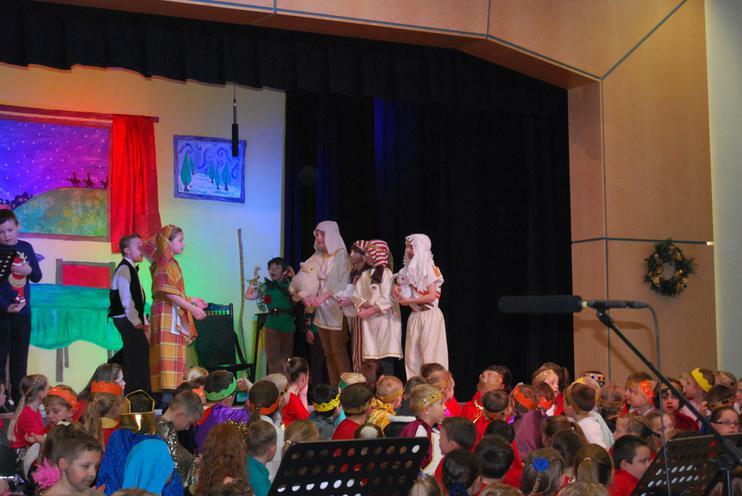 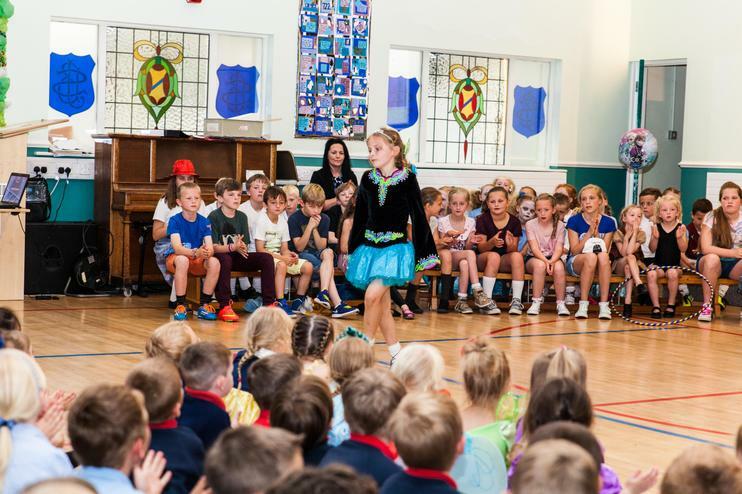 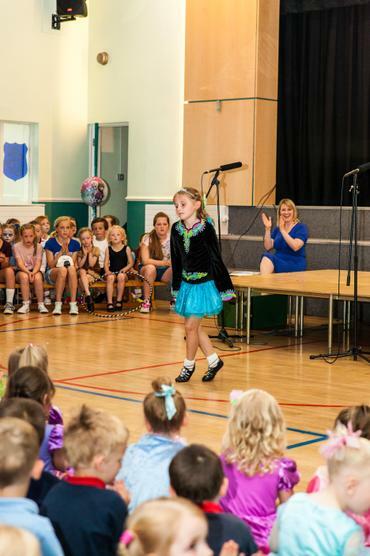 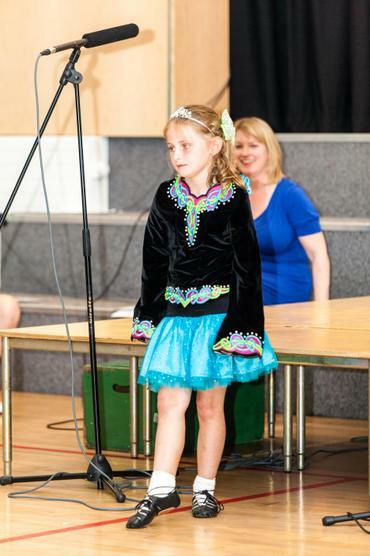 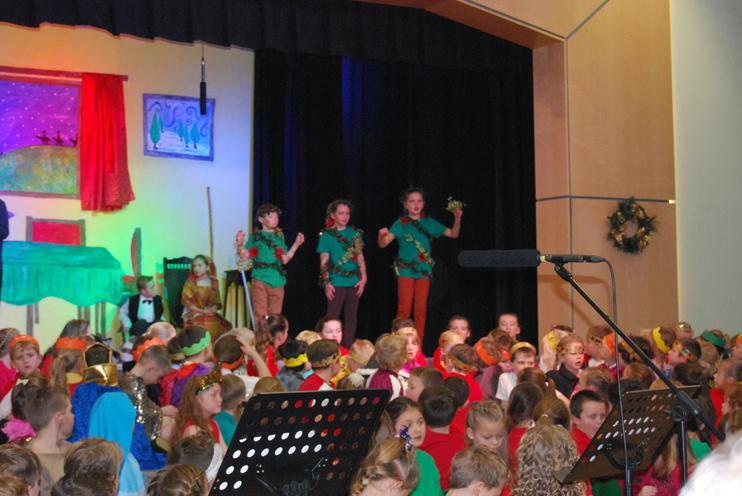 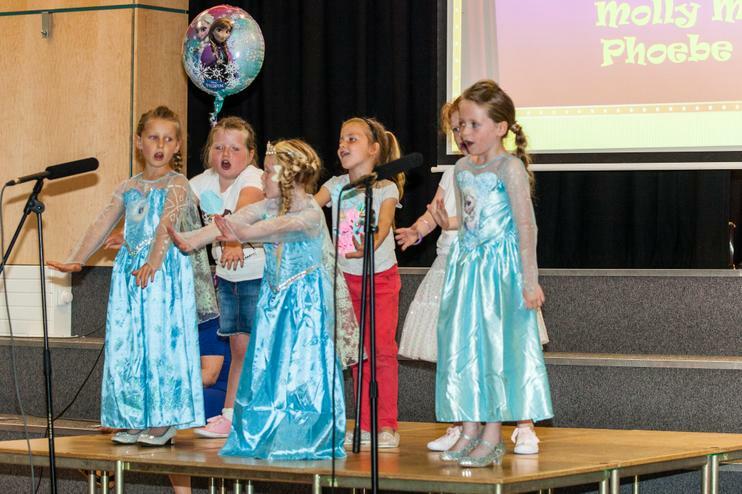 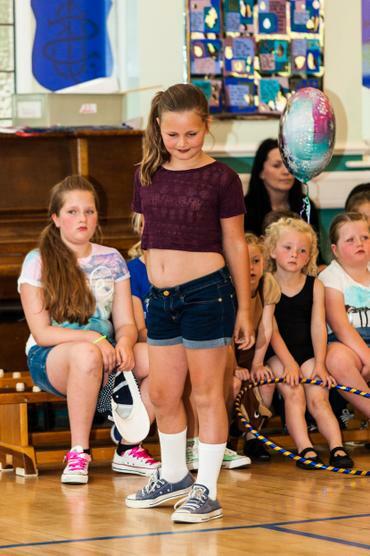 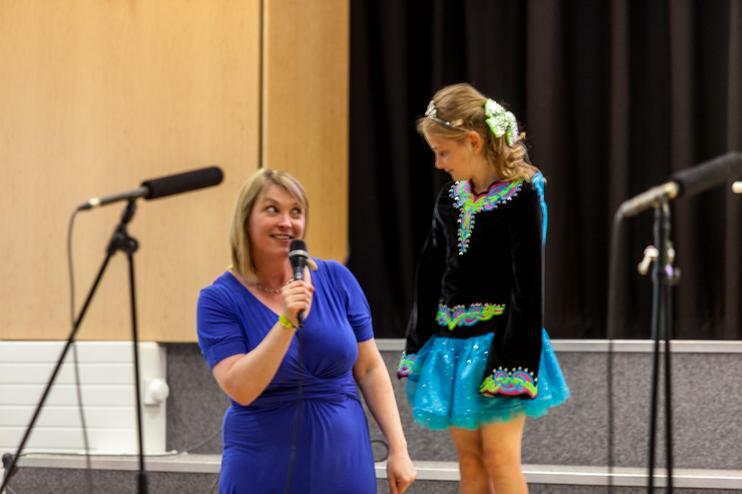 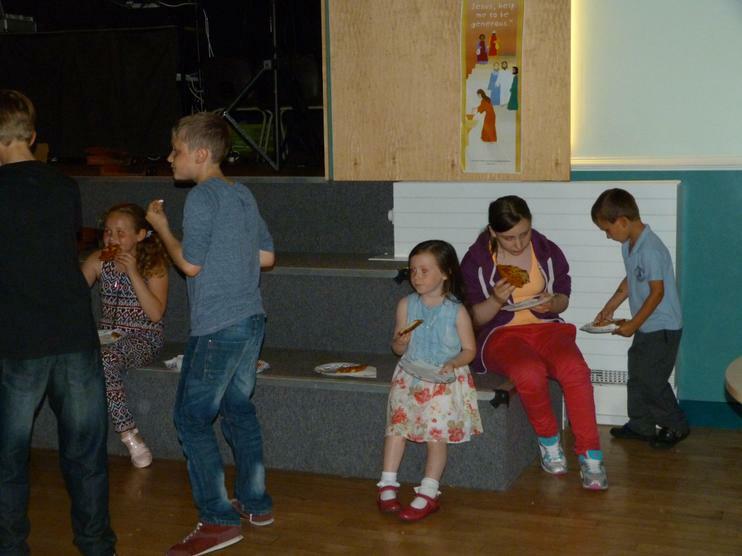 As always, the children were a credit to themselves, the school and their families. 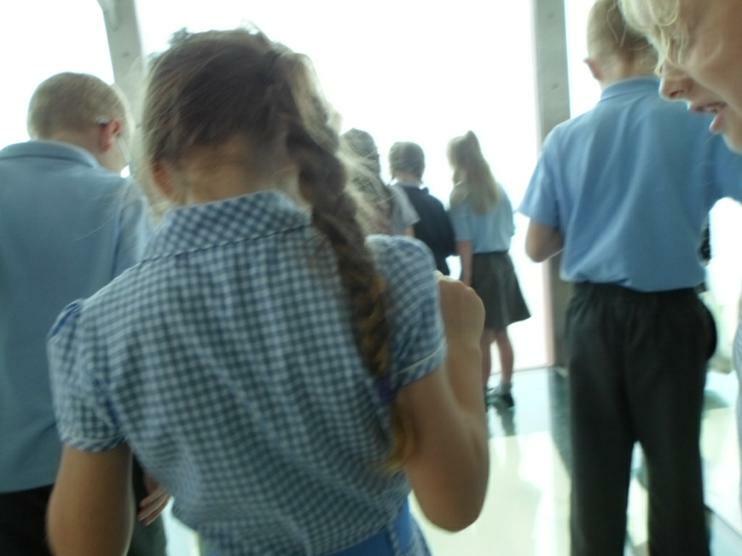 Year 2 have been looking at the work of Terry Frost. 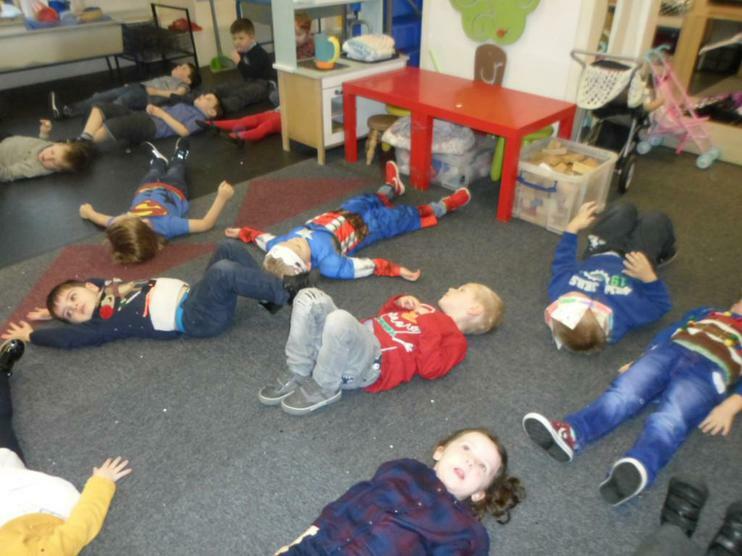 He was an artist famous for his abstract art. 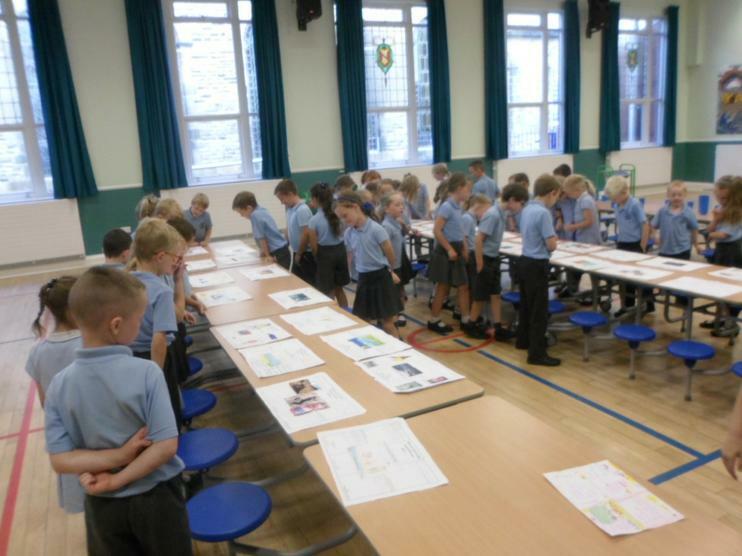 We were extremely lucky in Years 2 and 3 today as we were entrusted with 3 signed prints by Terry Frost. 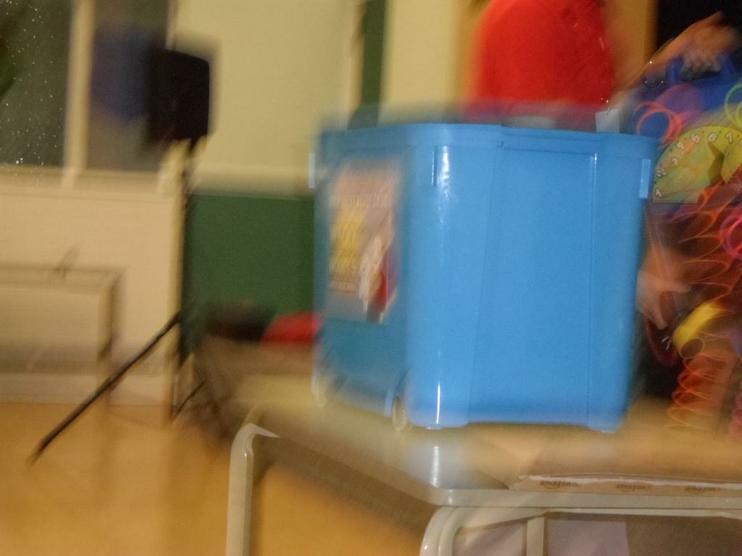 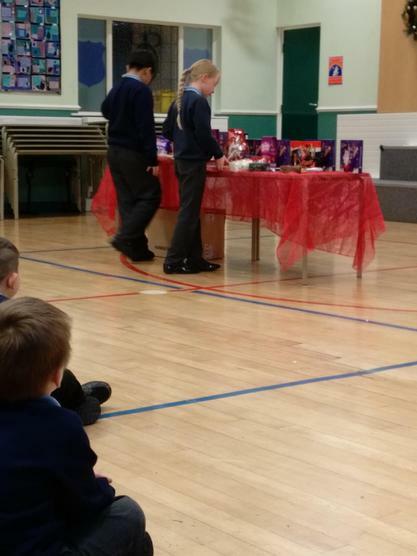 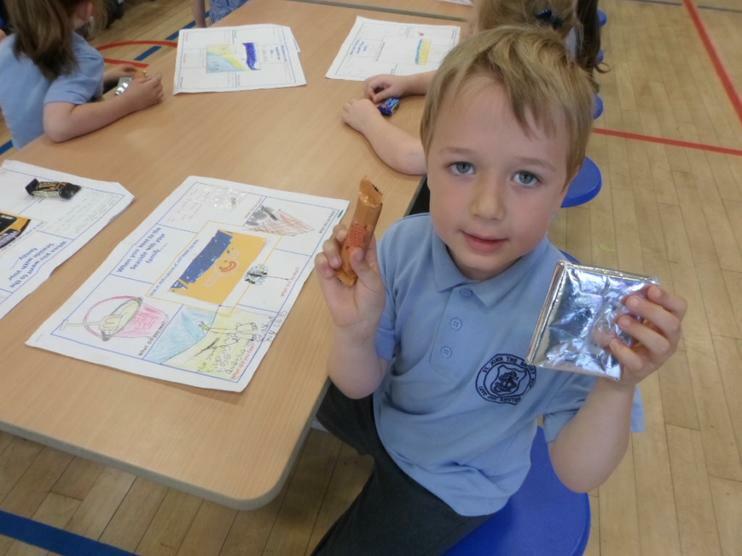 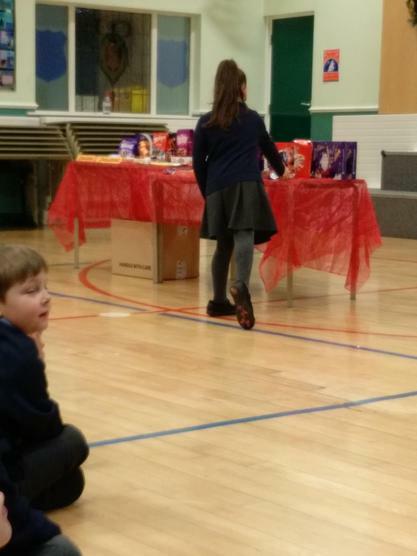 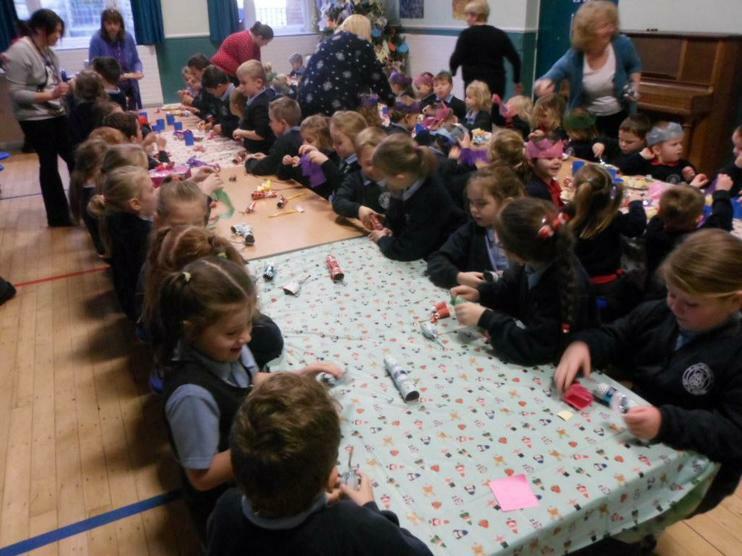 The children had great fun guessing how much they would sell for. 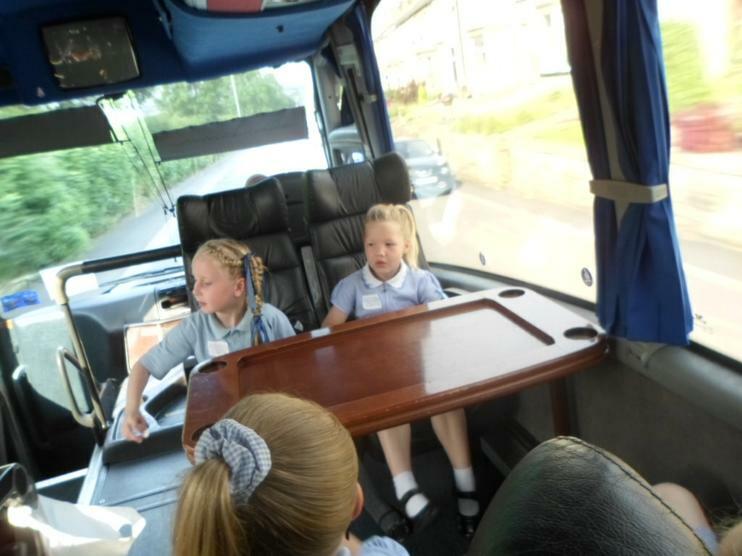 Mrs McKeating assured us that there wasn't enough money in school fund to buy them! 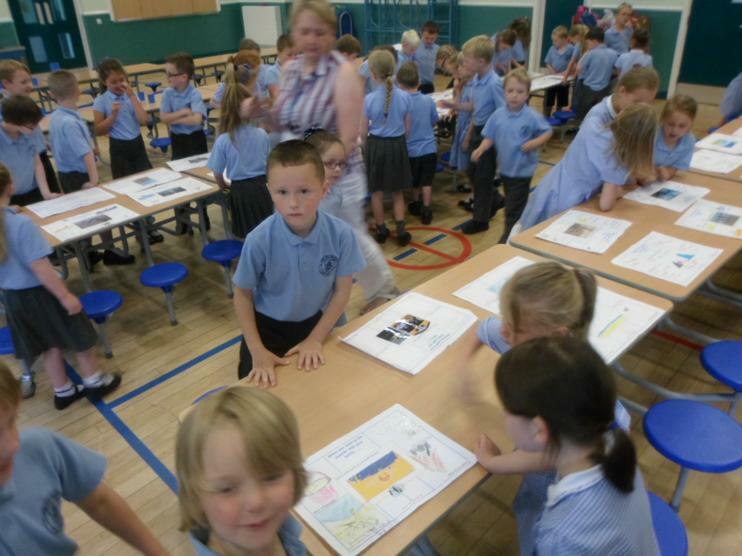 We also looked at a special book with all the works of Terry Frost. This book was special as not only had it been signed by the author, Dominic Kemp, but it had been signed by Terry Frost's Grandson, Anthony Frost! 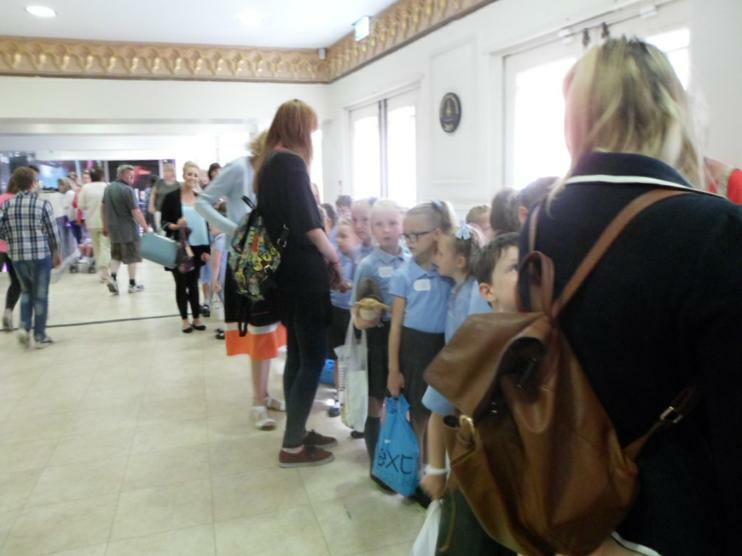 We would like to say a huge thank you to Mr Tony Hartley of Stoops Gallery for loaning us the prints (and to Miss Hartley for getting them to school in one piece in her car!). 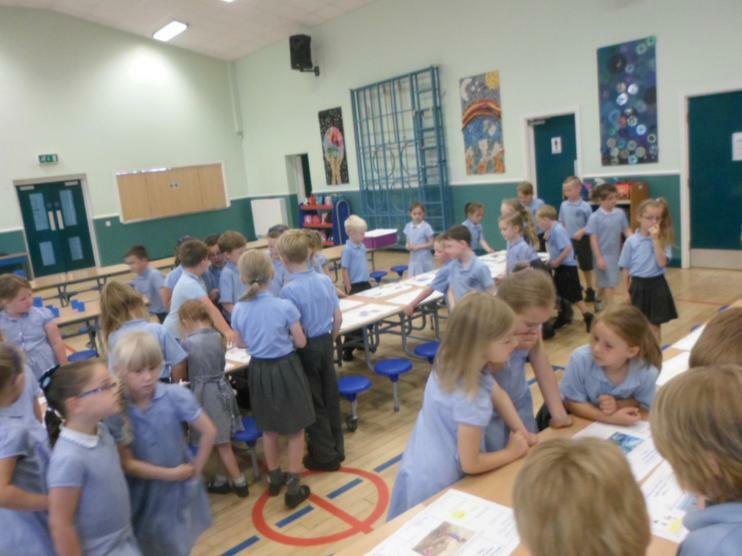 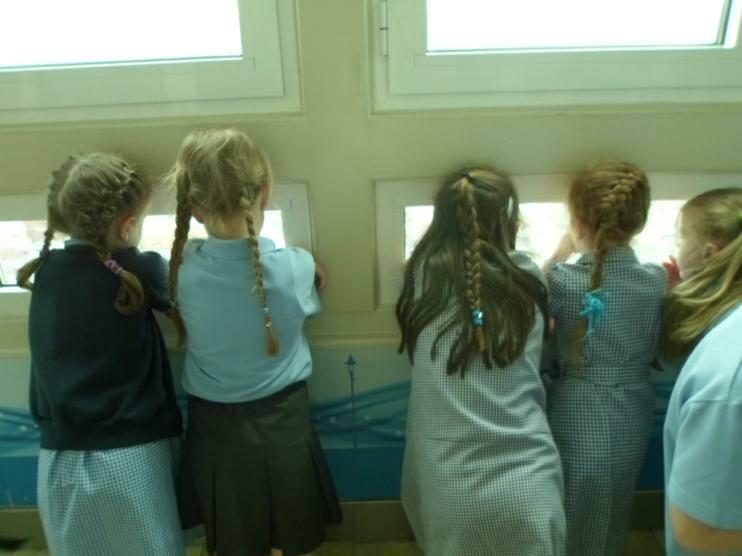 It was a great experience for the children to be able to see the artwork in their classroom. 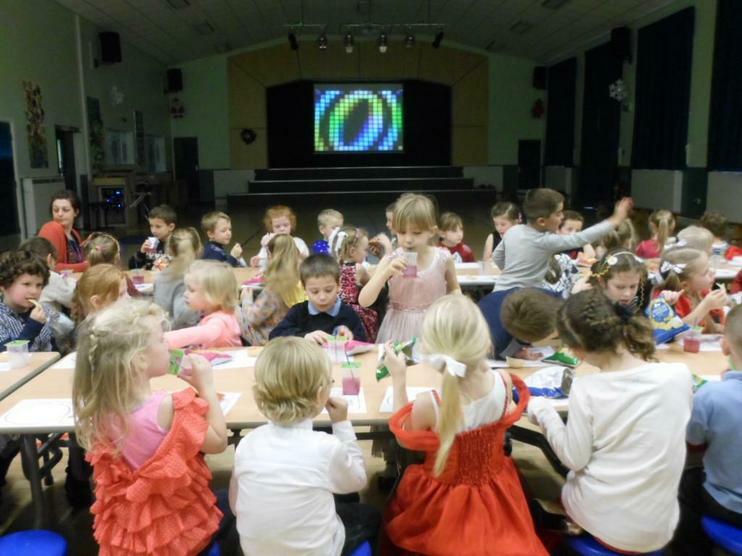 However, Mrs Carlile is adamant that the art work produced by Year 2 should sell for a lot more than the Terry Frosts. 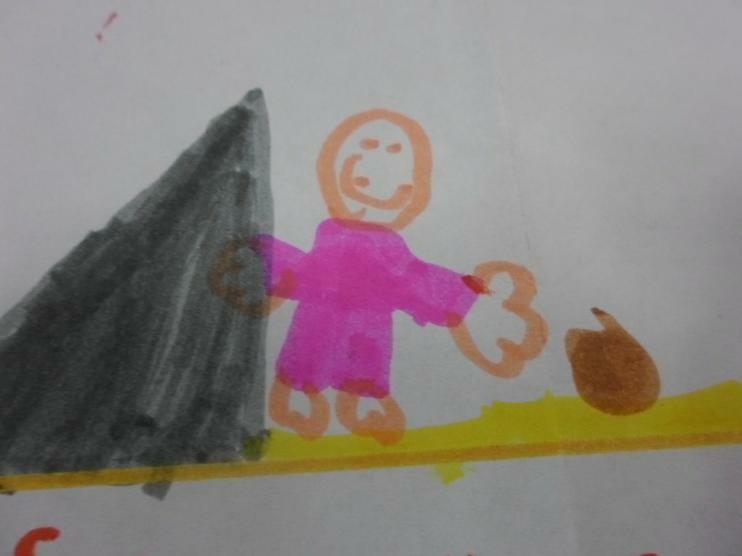 So Mr. Hartley, if you are interested in buying some original, one off pieces of art by some 6 and 7 year old budding artists, we can help you! 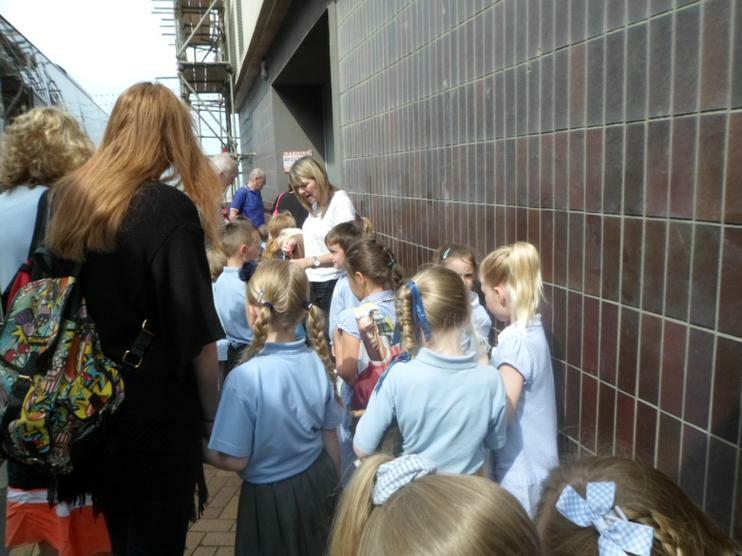 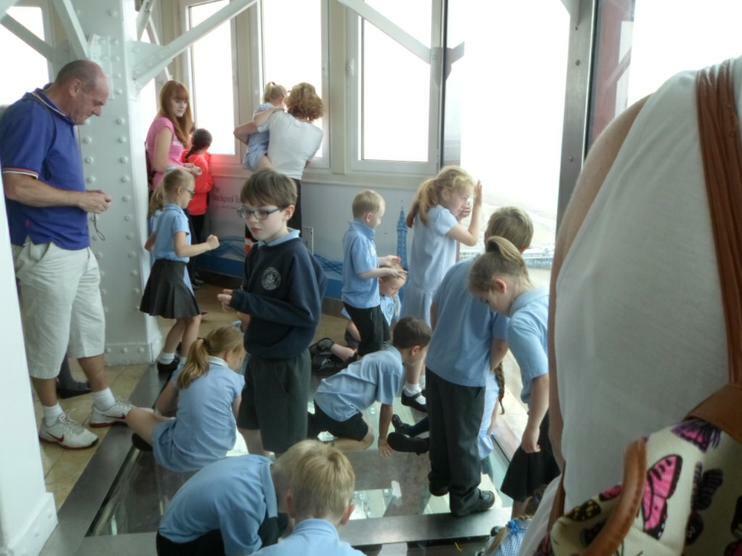 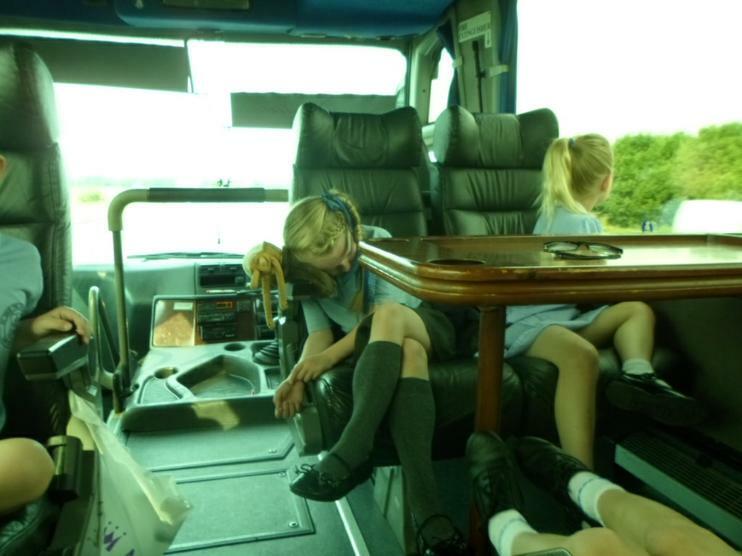 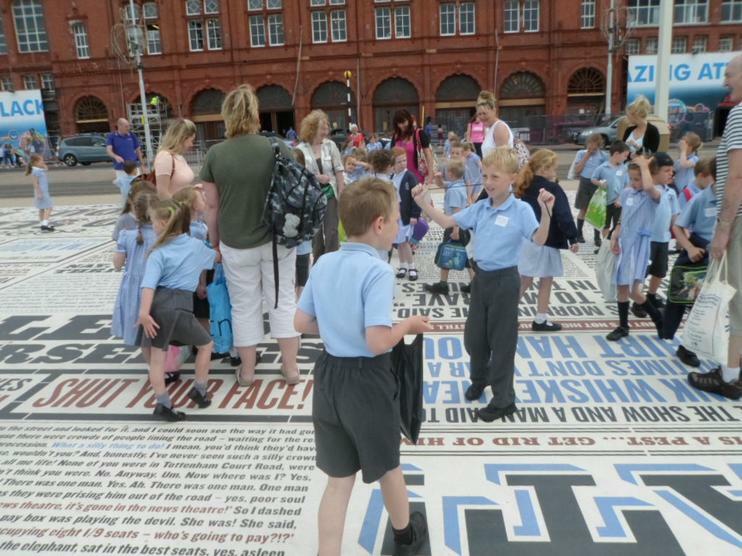 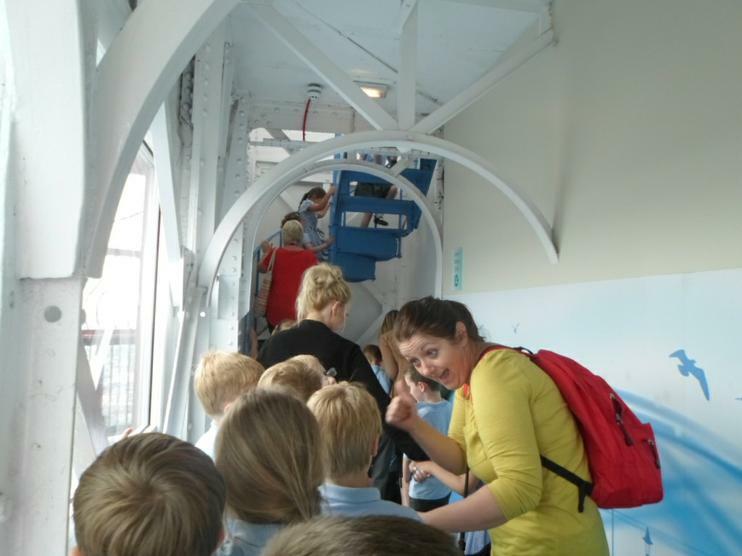 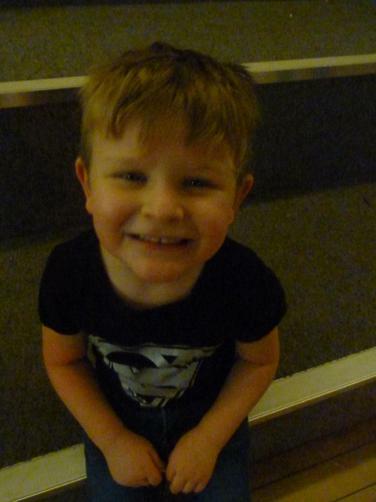 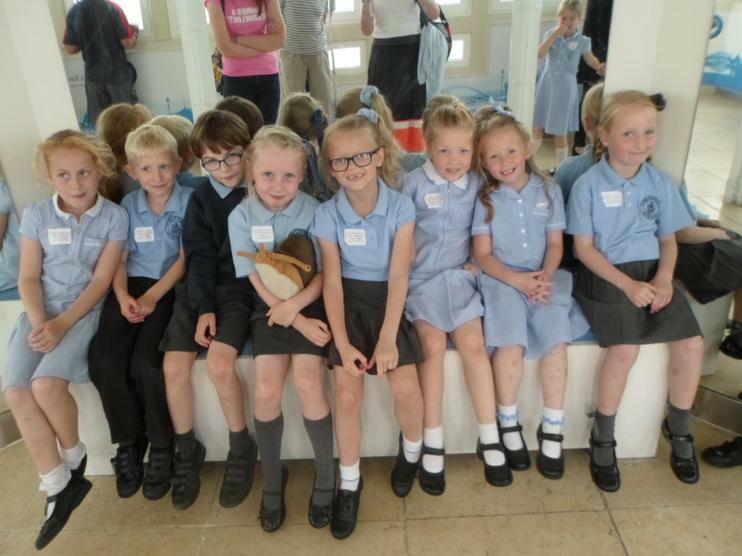 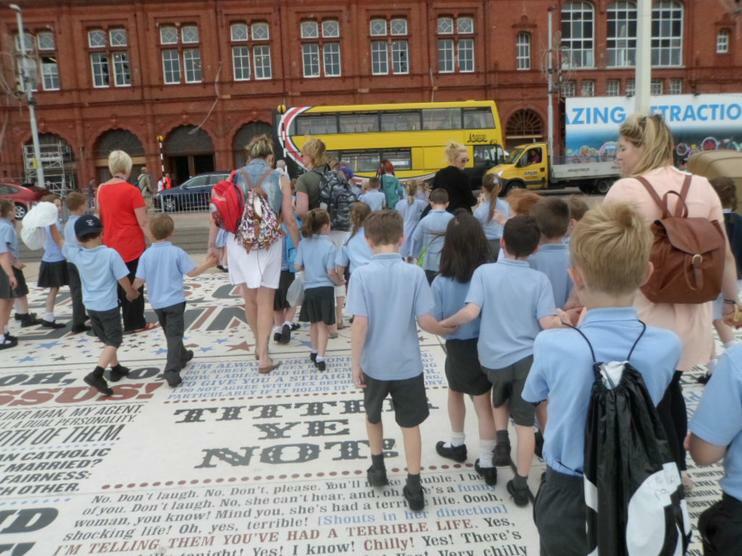 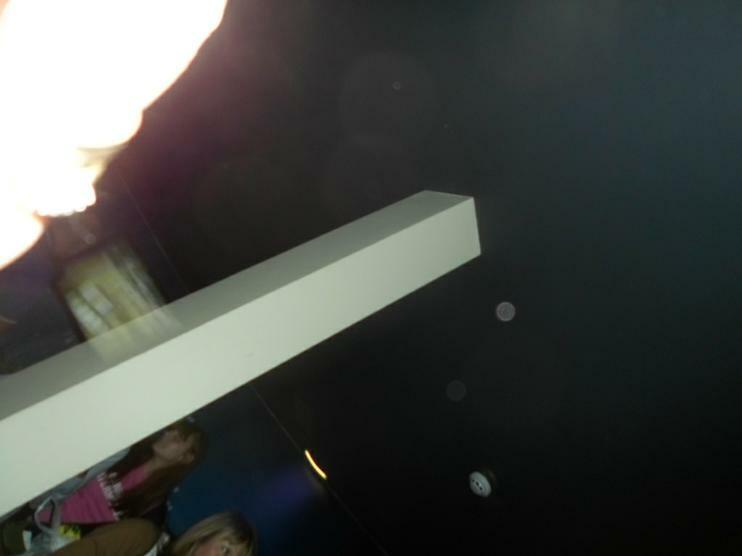 Or alternatively, we could organise a school trip to your gallery? 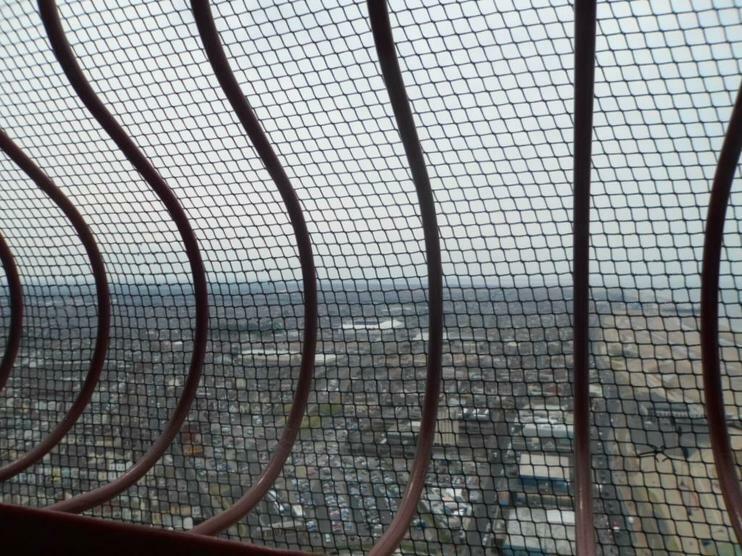 We also looked on Mr Hartley's website www.stoopsgallery.co.uk and found lots of other abstract artist's work such as Sandra Blow. 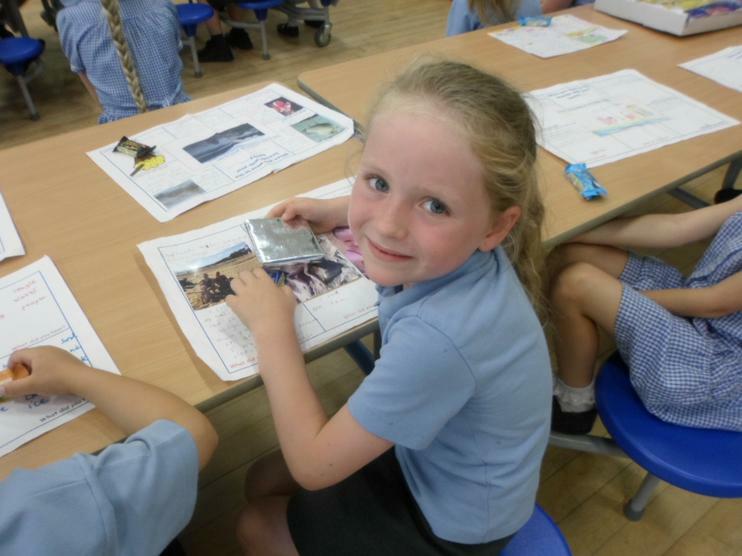 Click on the link below to see the work Year 2 have produced which was inspired by the work of Terry Frost. 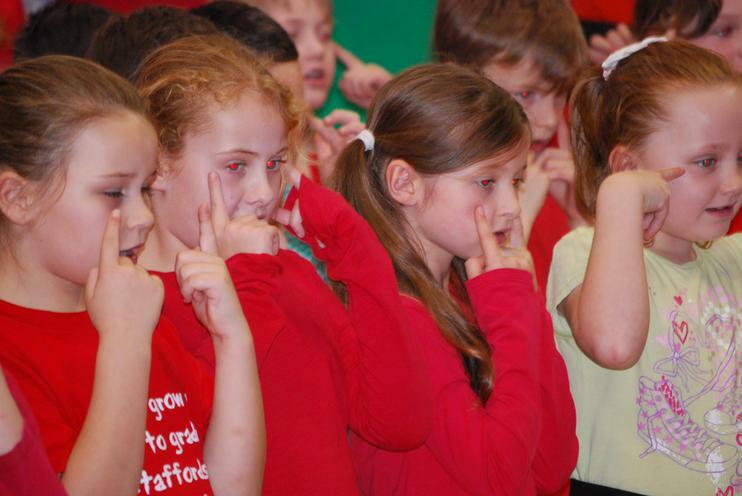 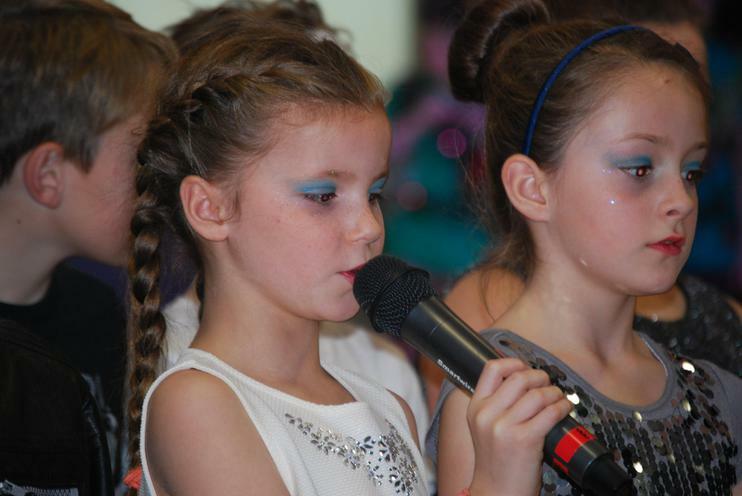 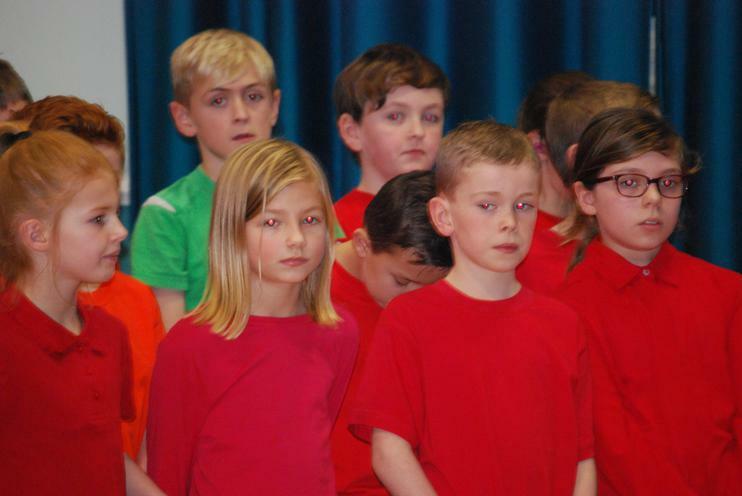 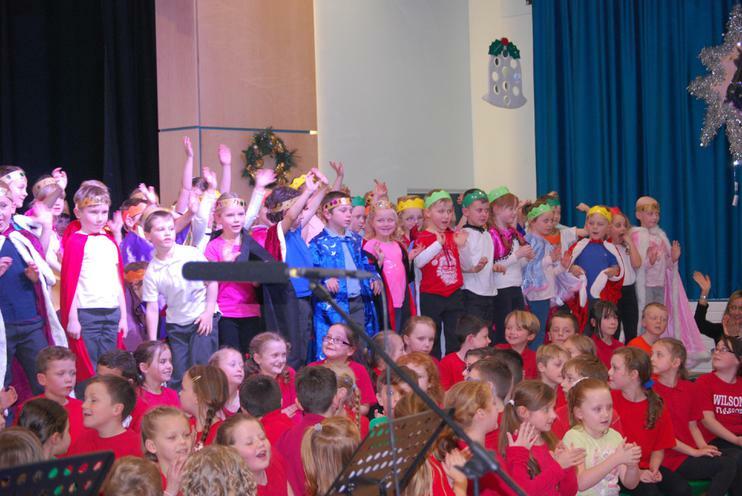 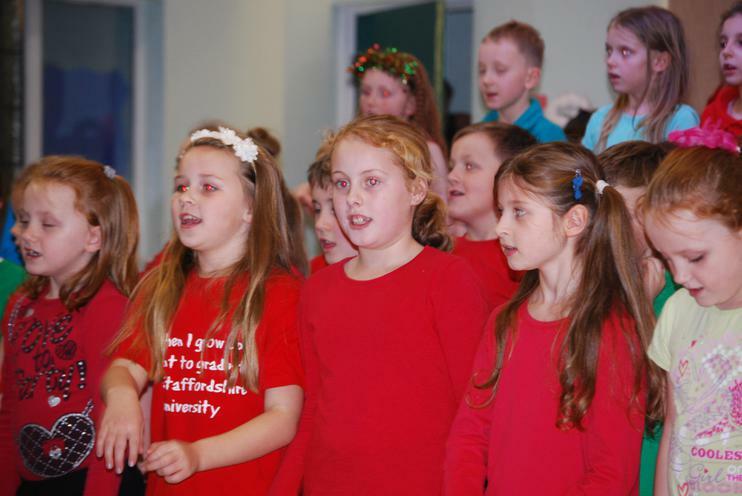 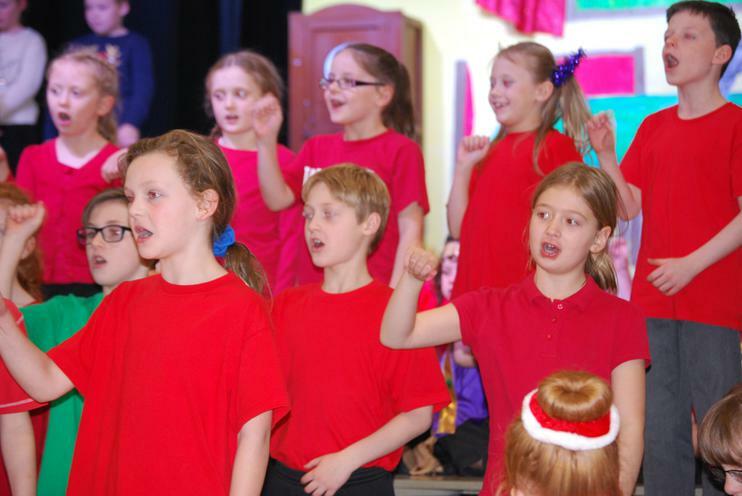 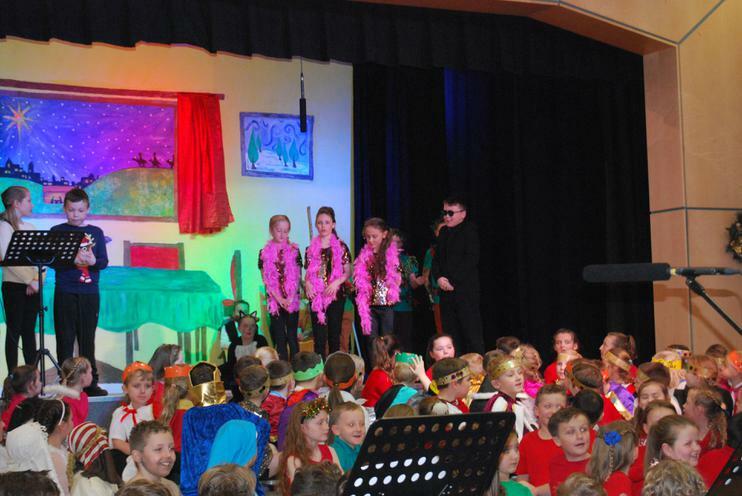 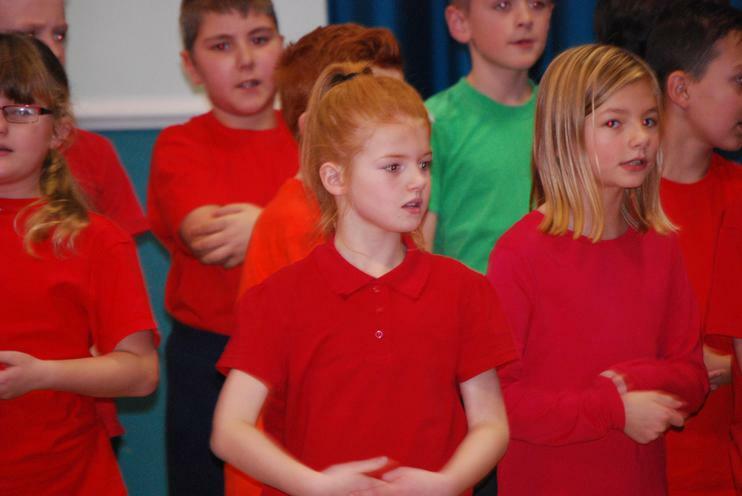 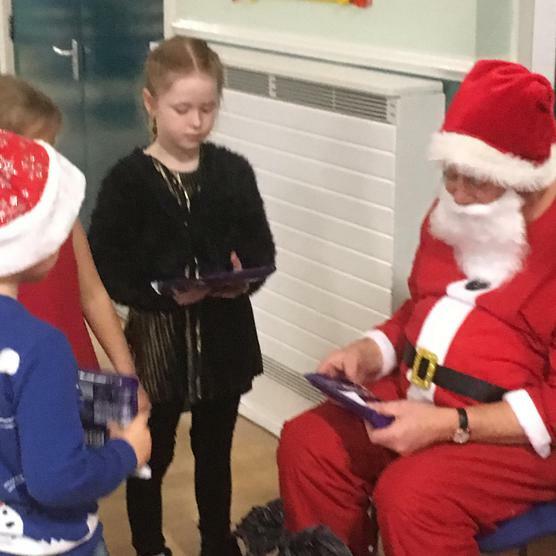 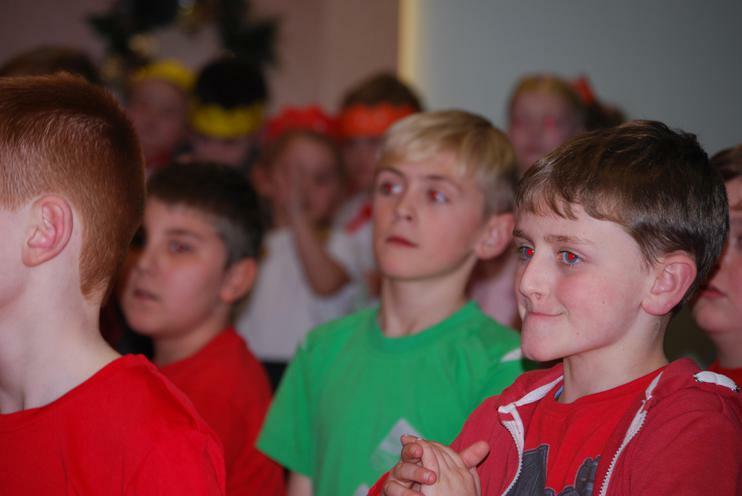 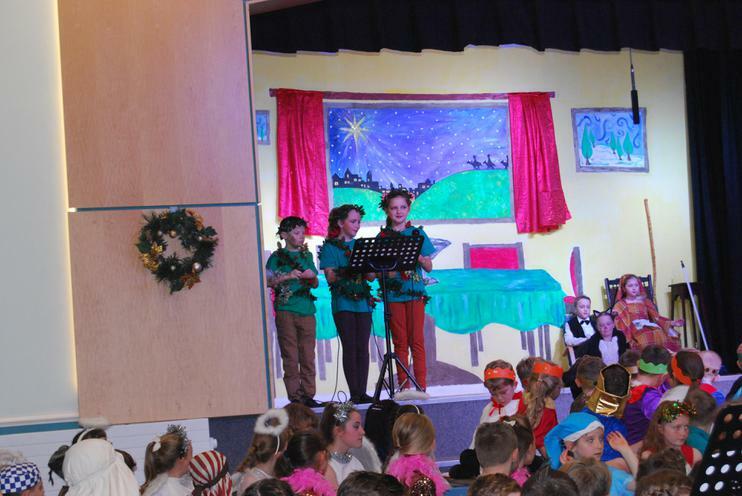 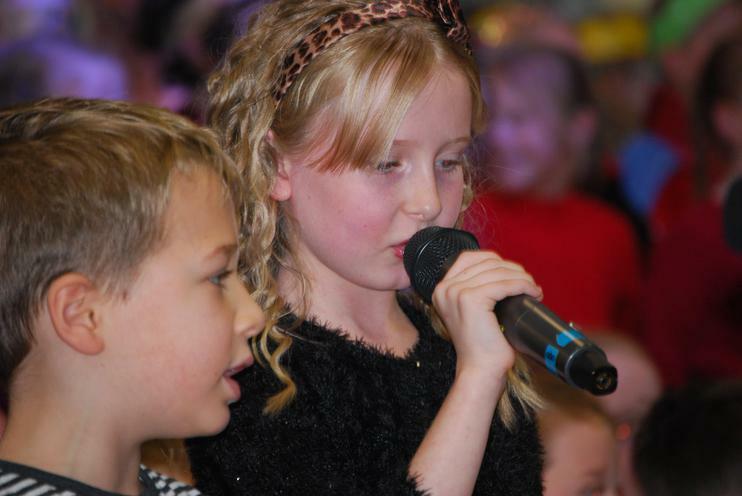 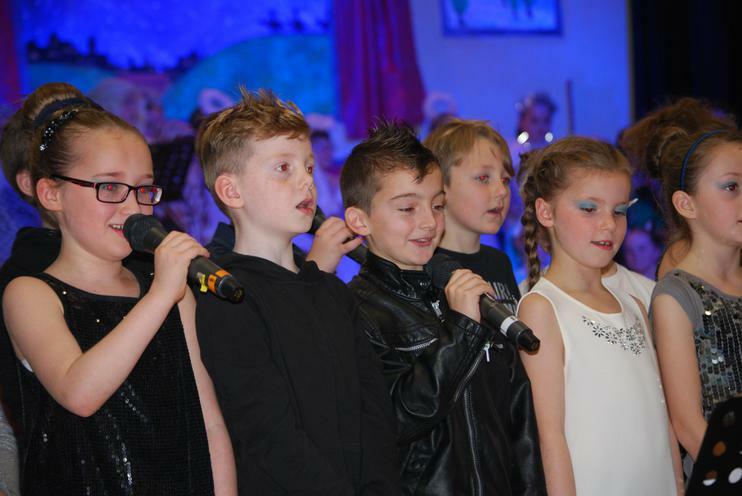 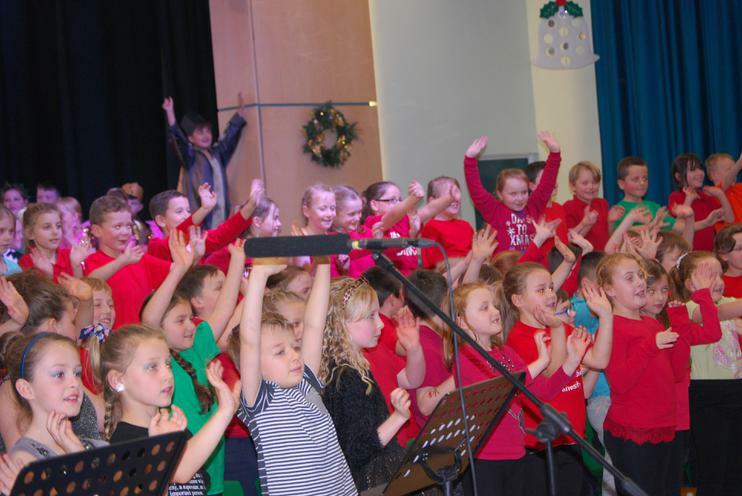 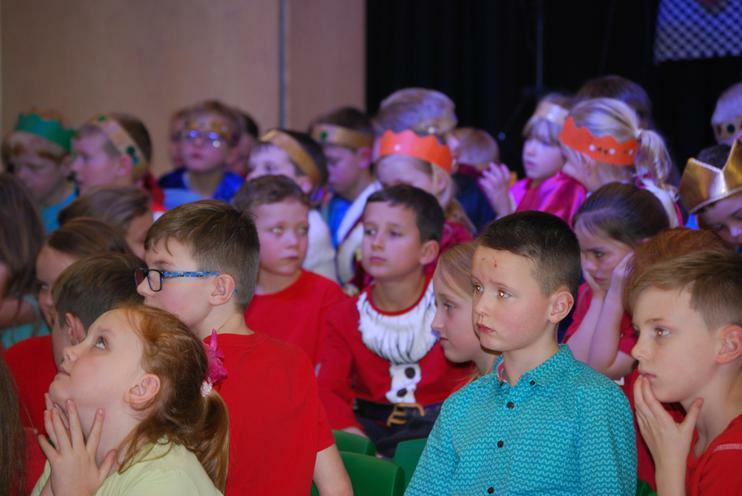 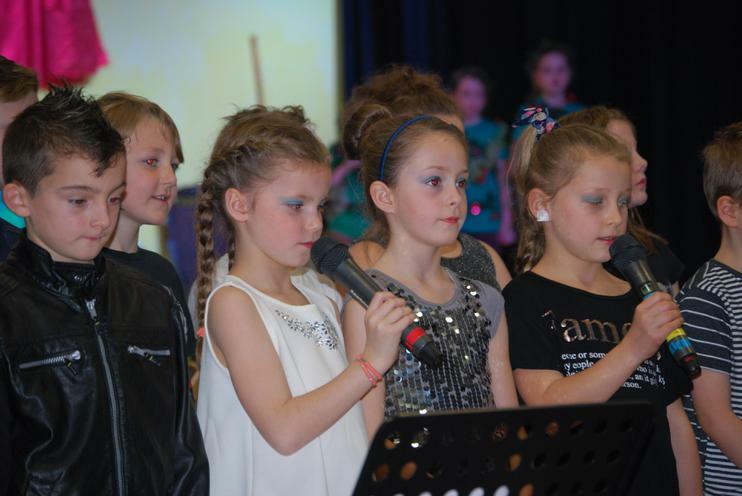 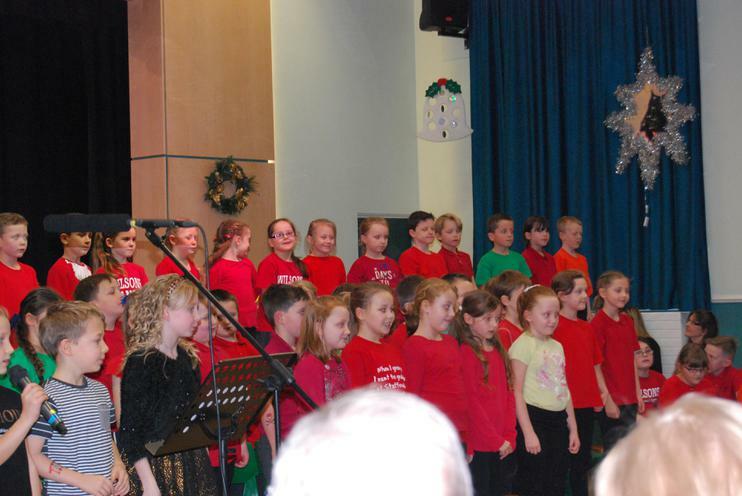 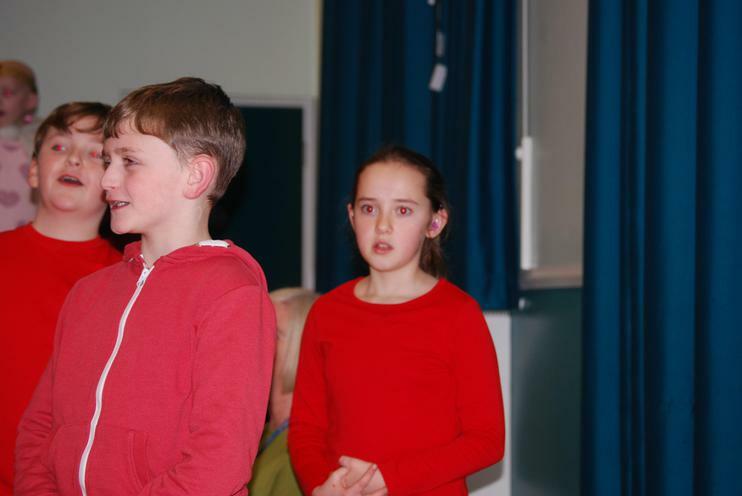 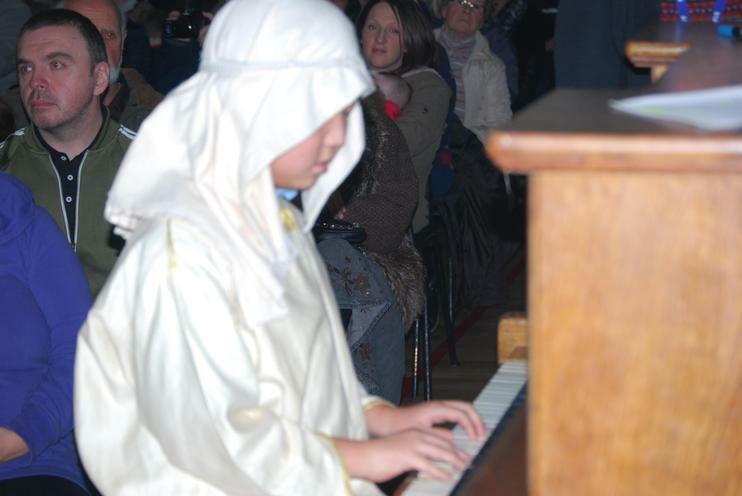 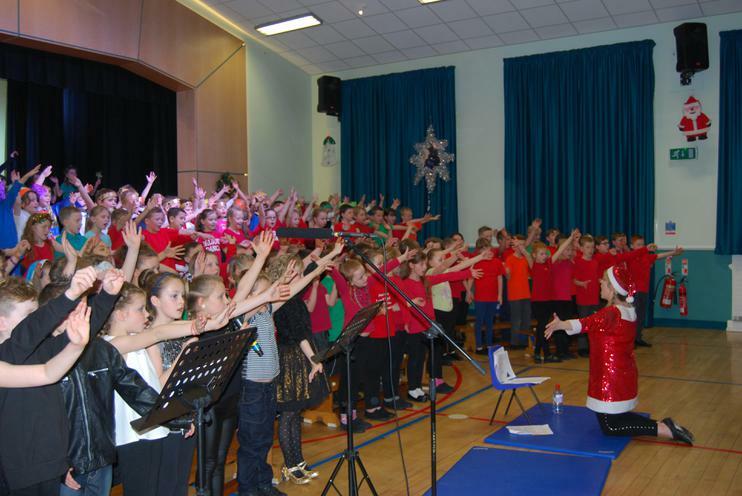 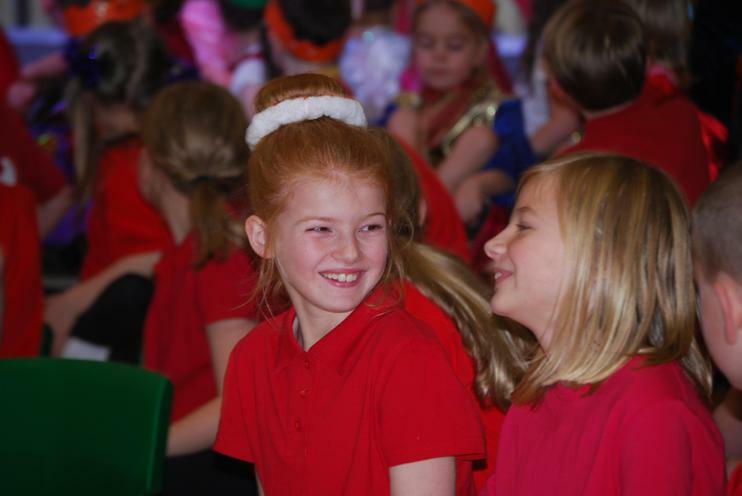 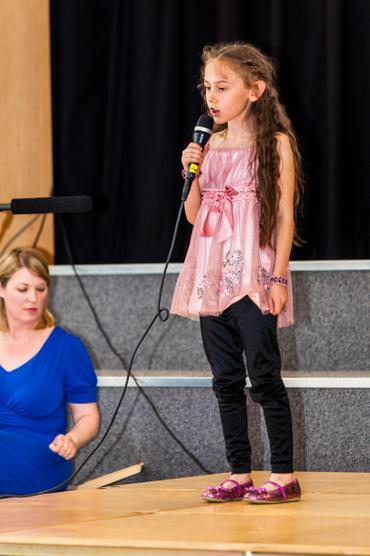 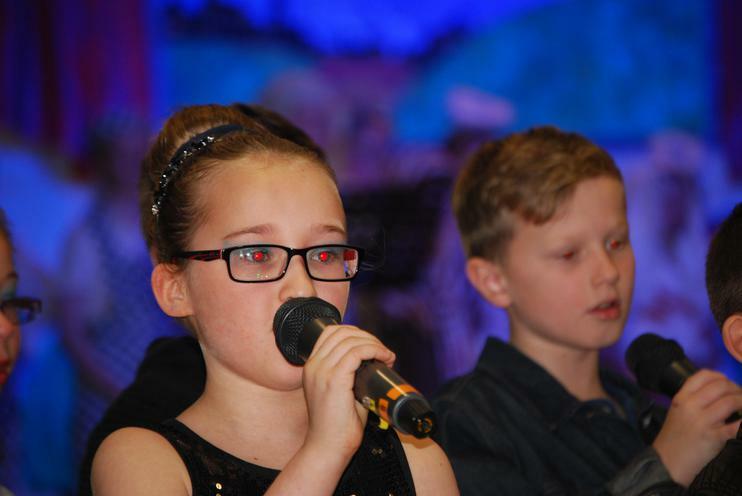 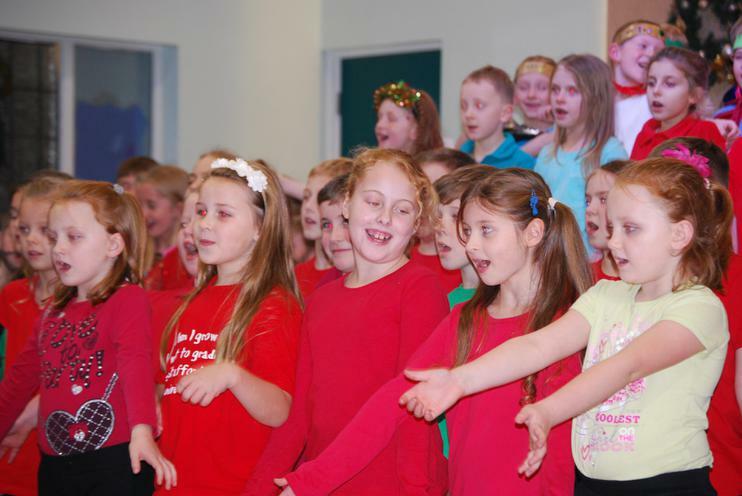 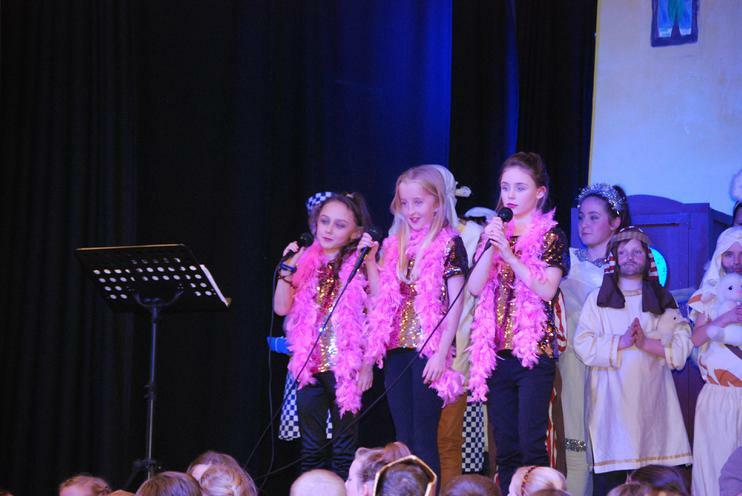 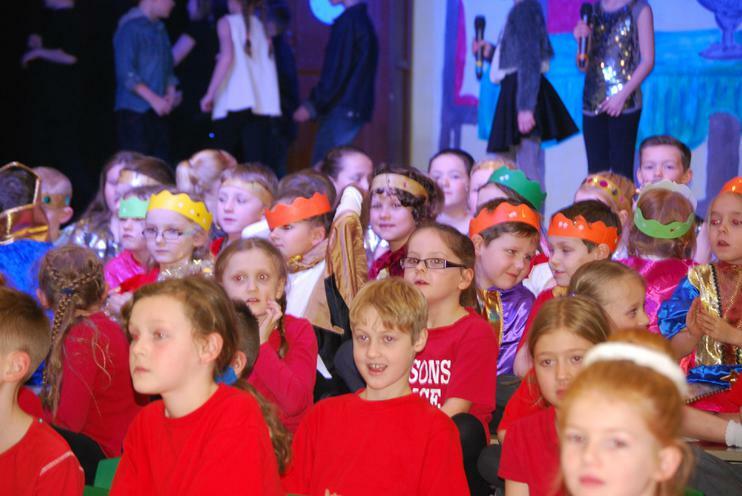 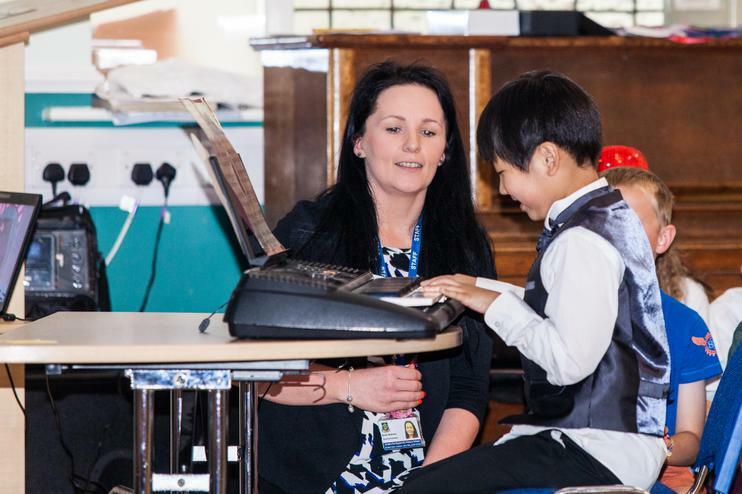 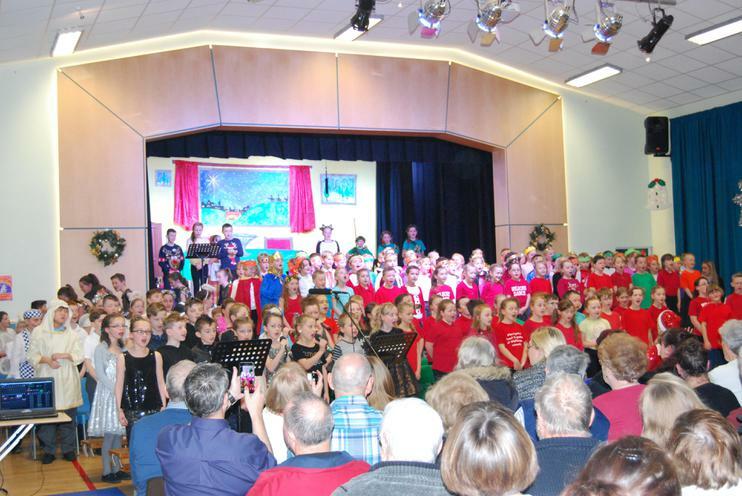 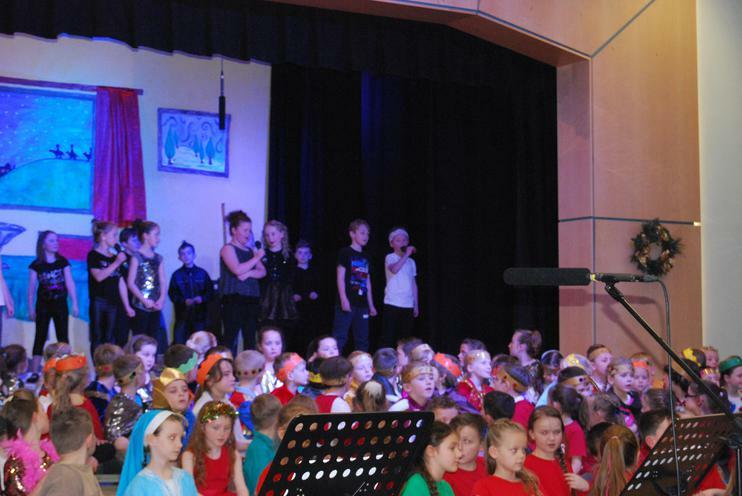 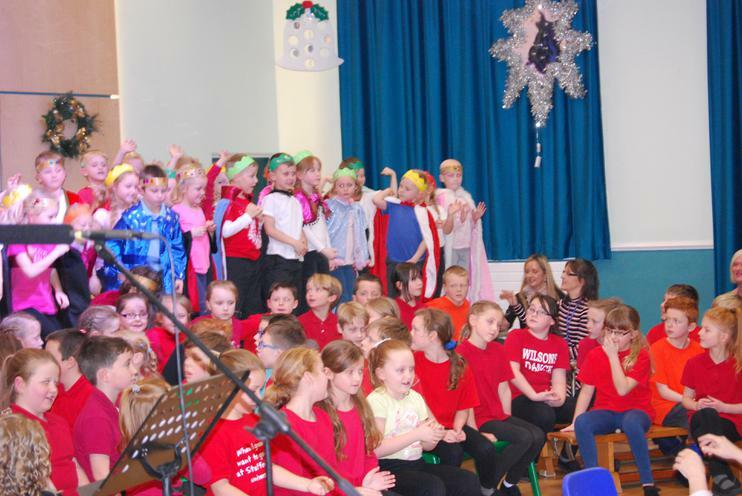 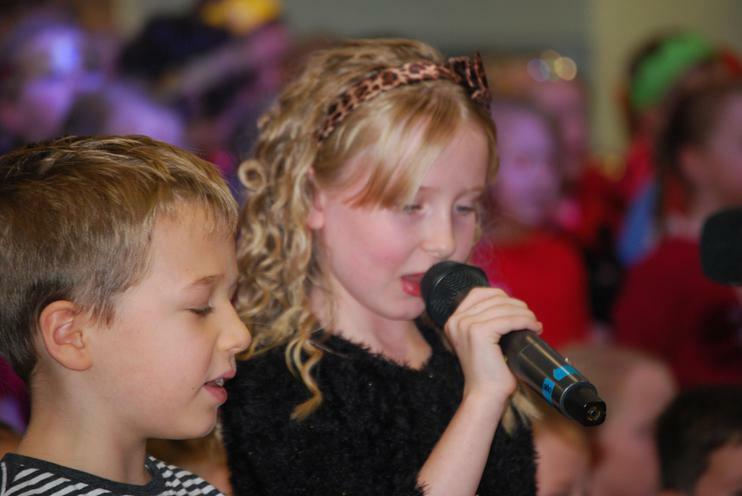 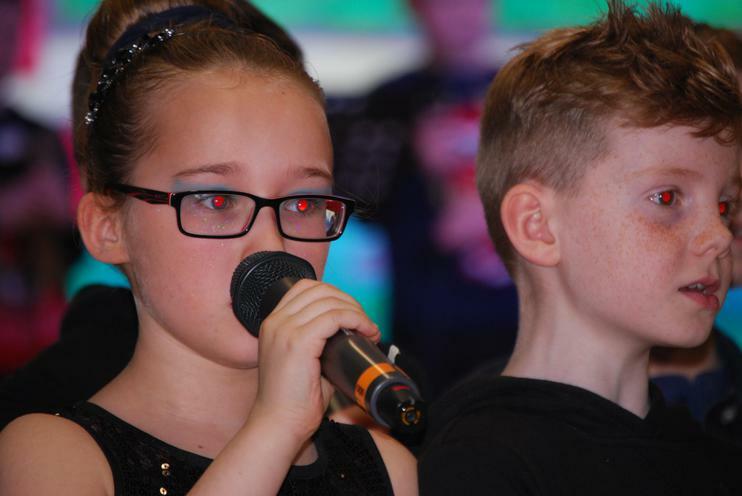 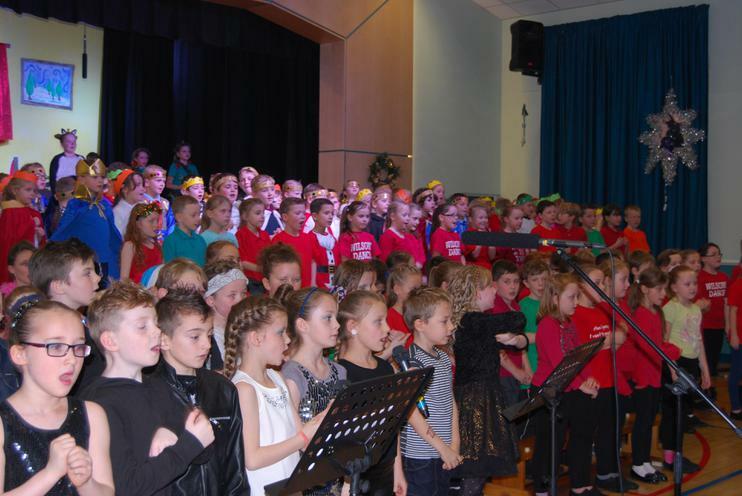 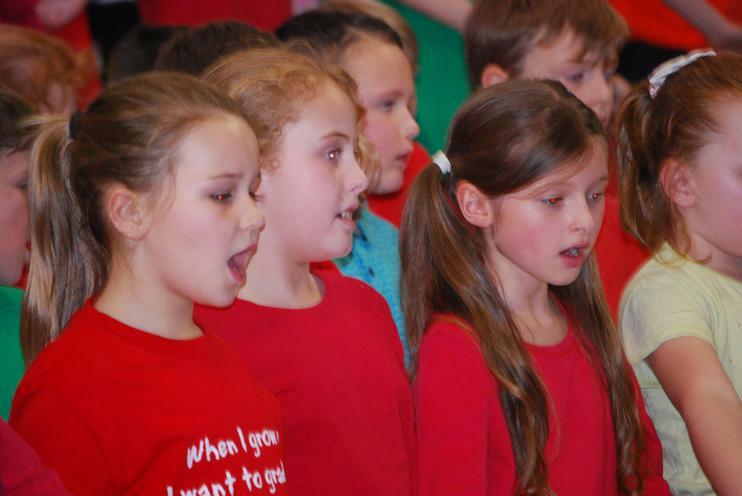 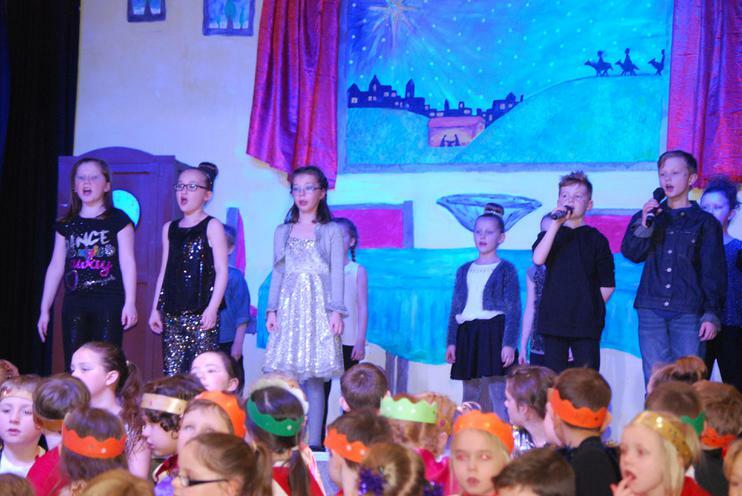 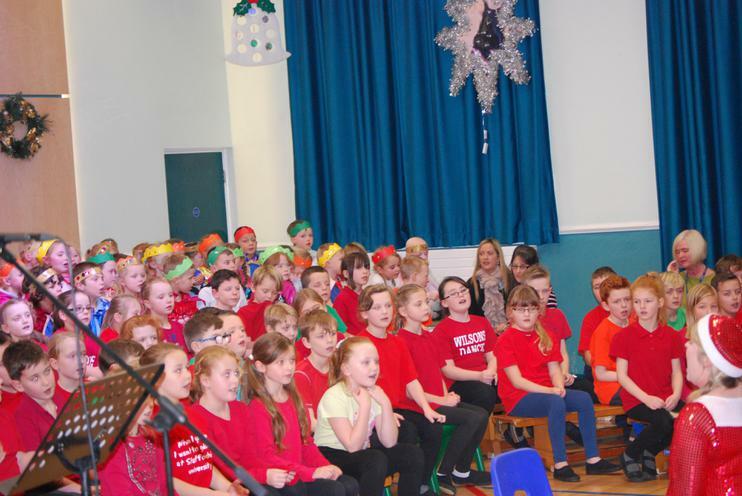 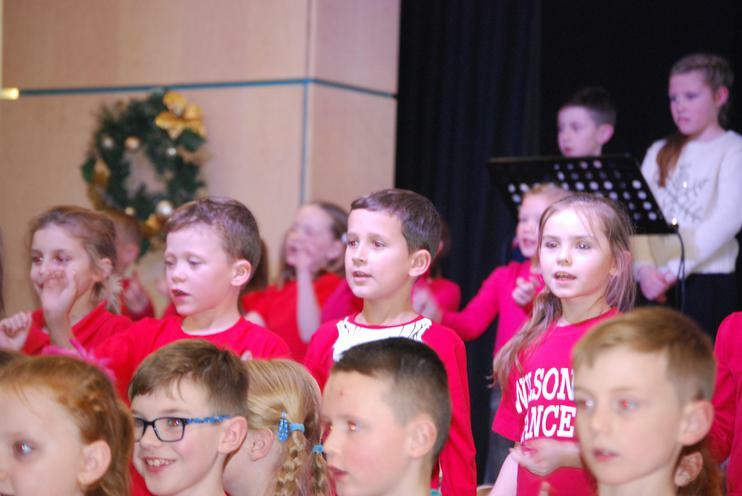 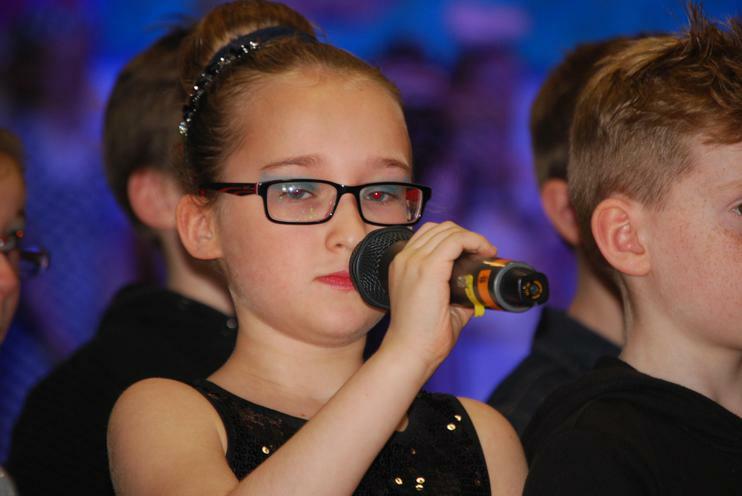 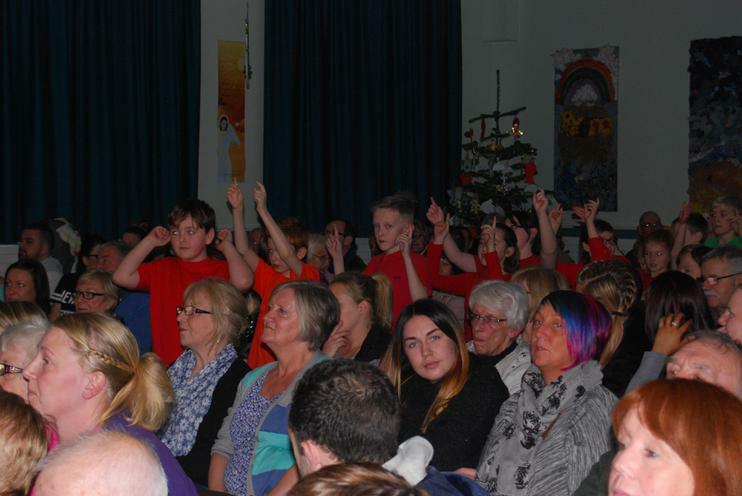 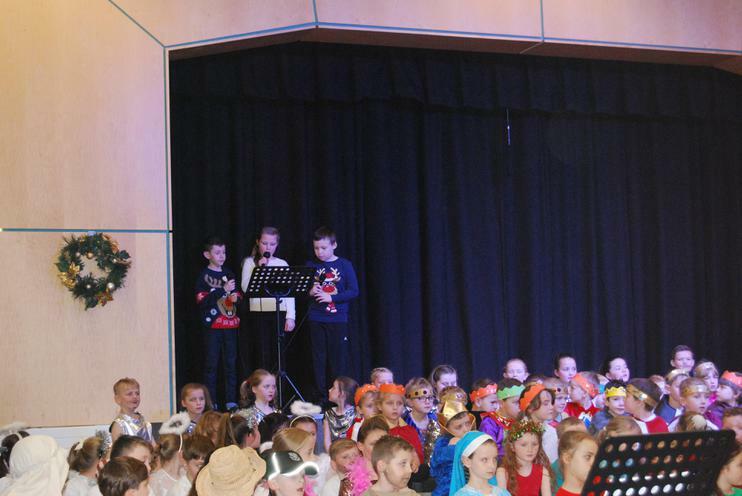 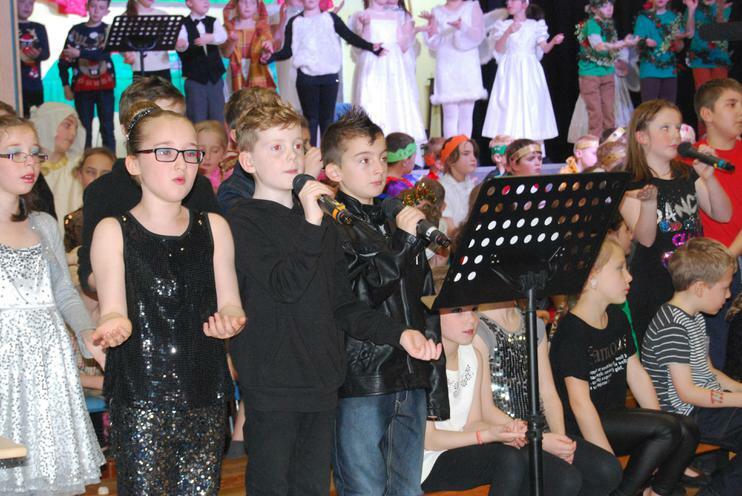 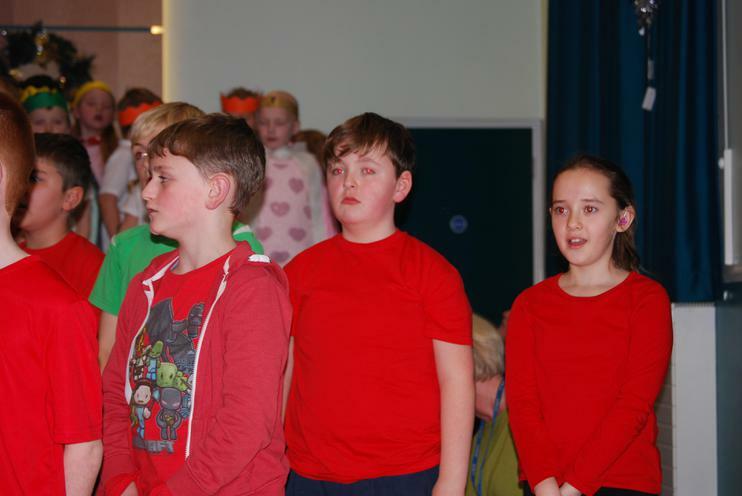 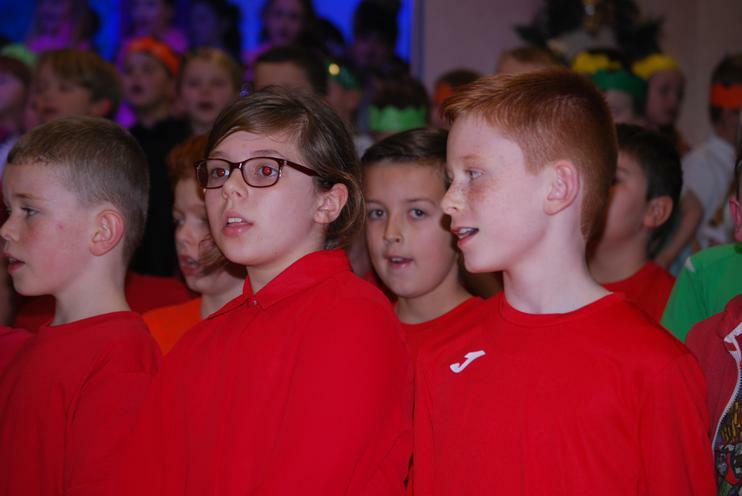 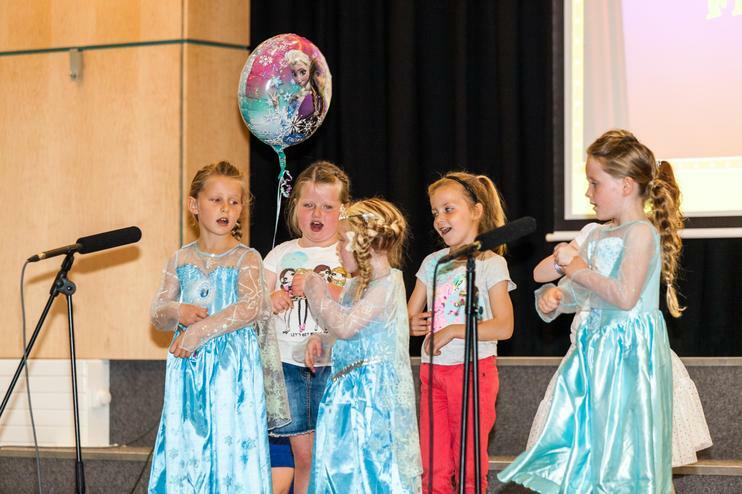 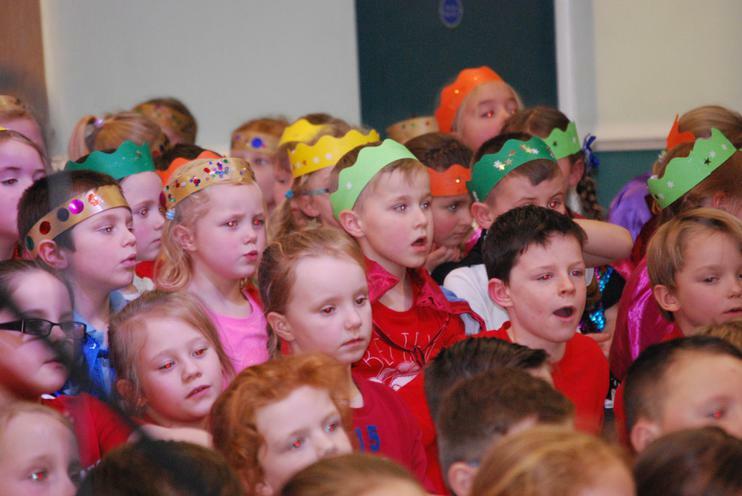 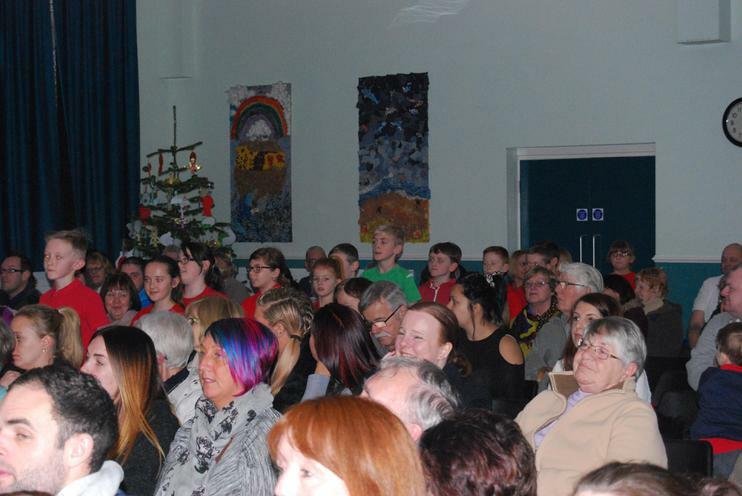 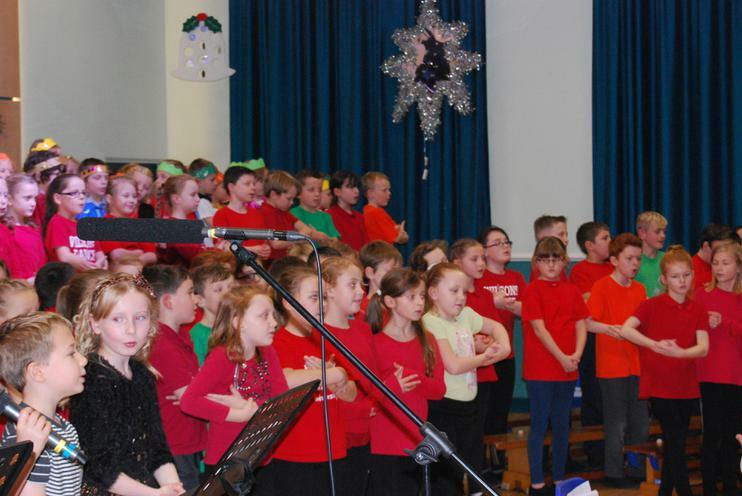 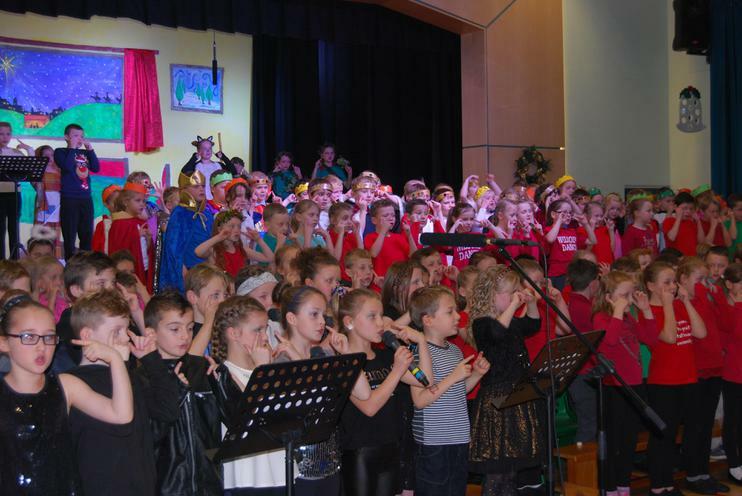 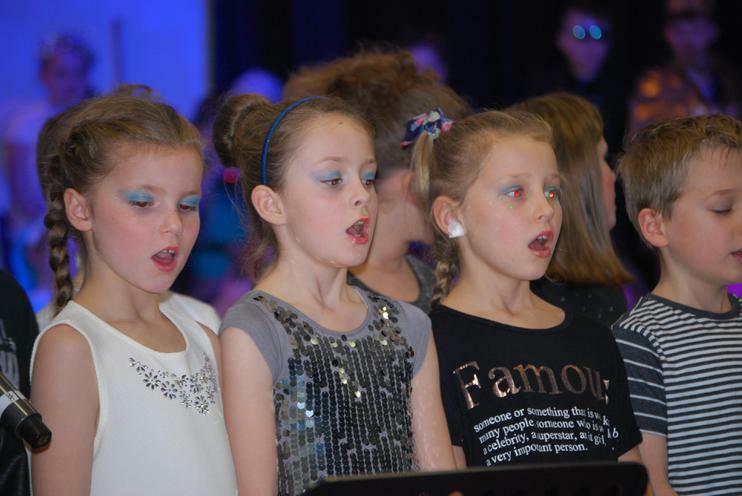 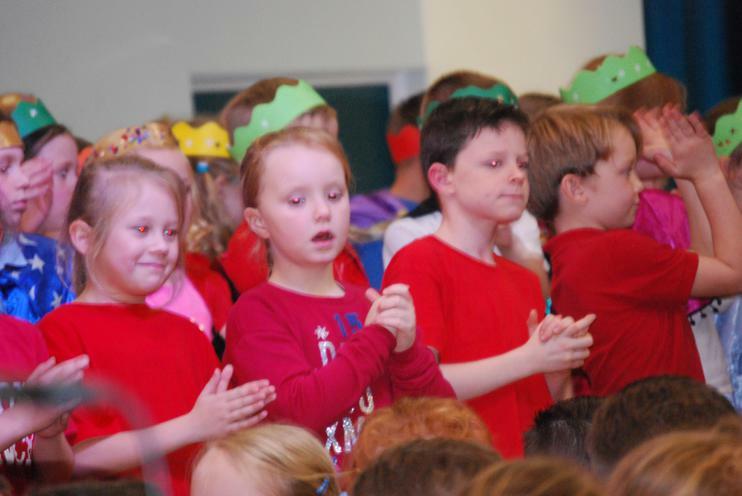 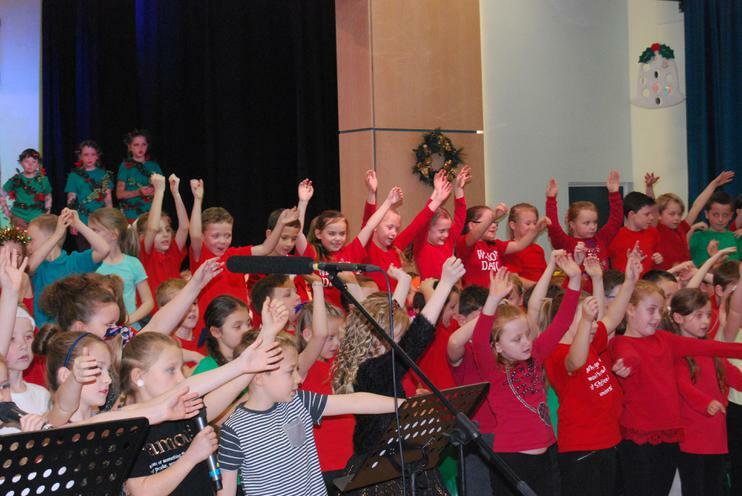 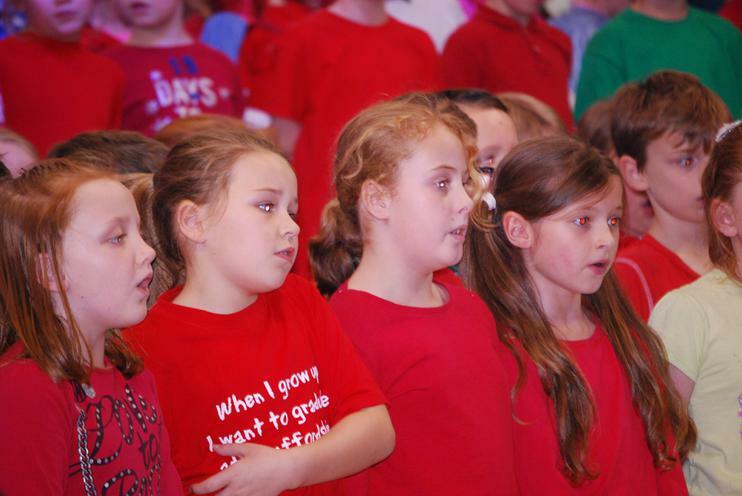 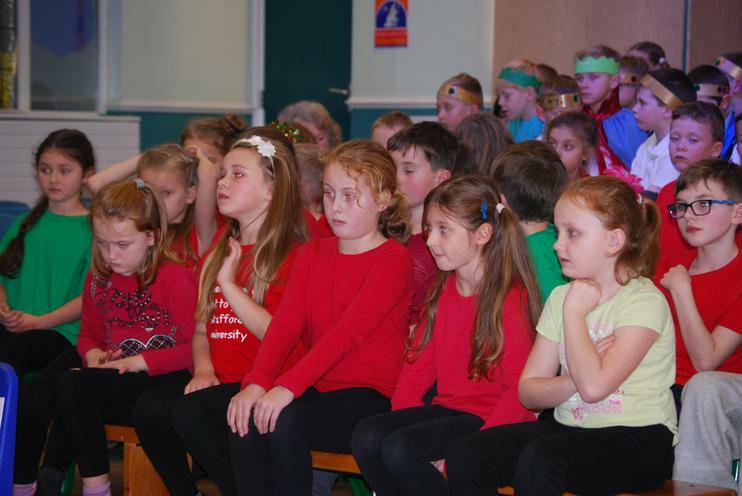 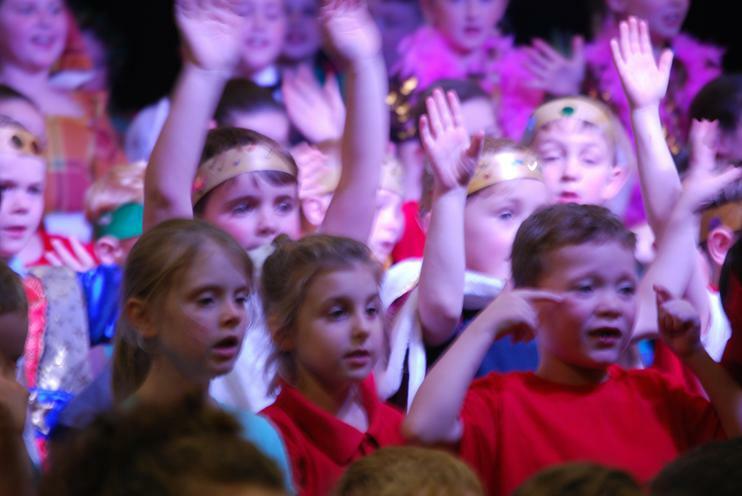 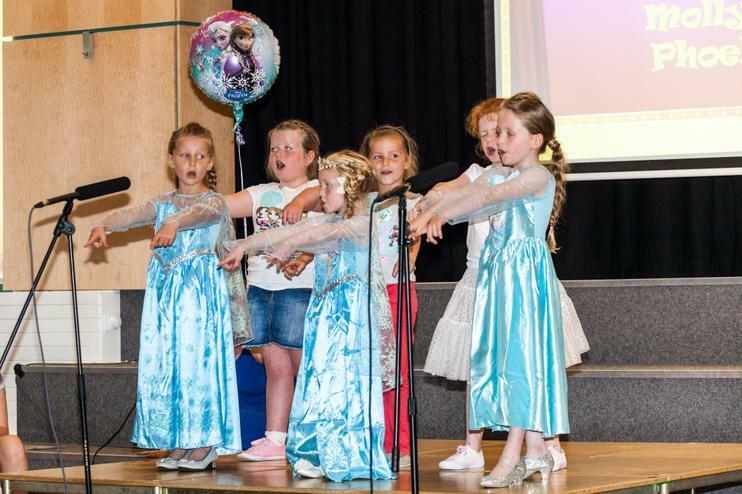 On Thursday 5th December KS2 children in Y4 and Y5 along with members of the choir and the children who have private music lessons, delighted the school and parents with a Festive Musical Extravaganza. 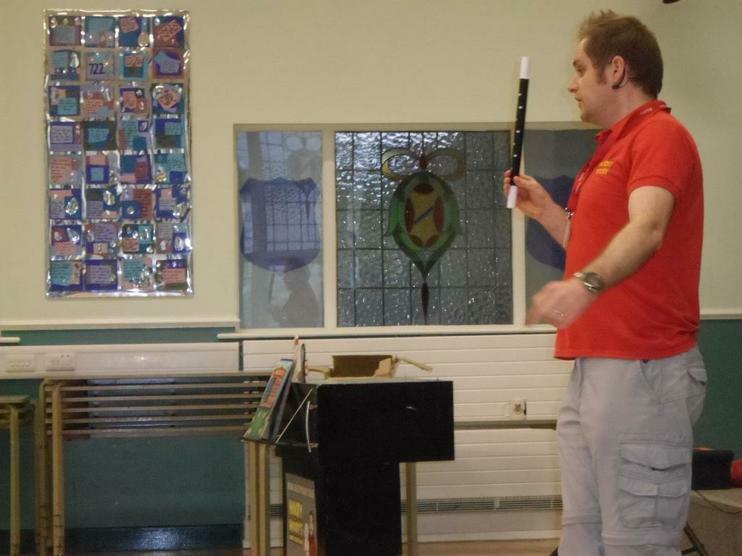 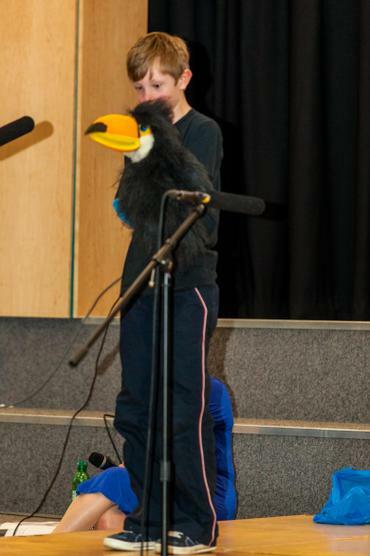 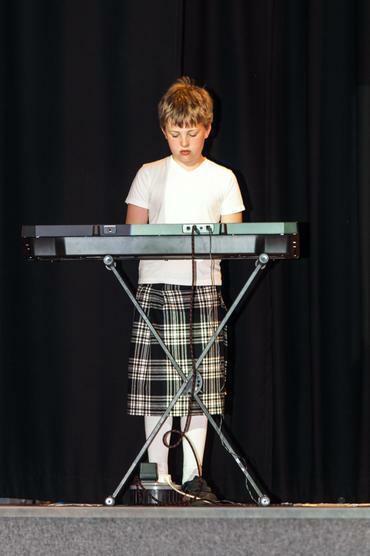 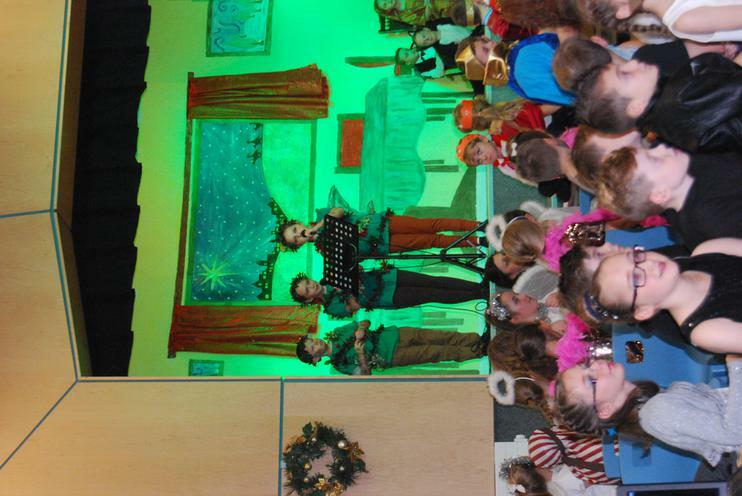 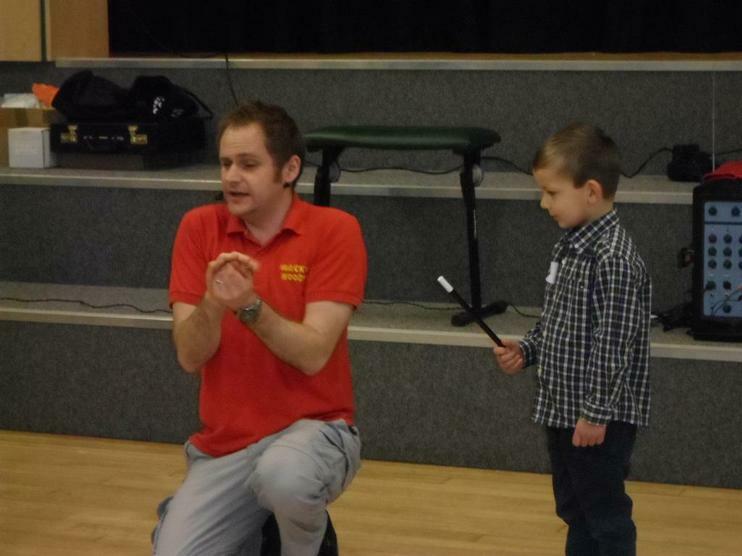 We were entertained with singing and music played on flutes, guitars, glockenspiels and a range of brass instruments. 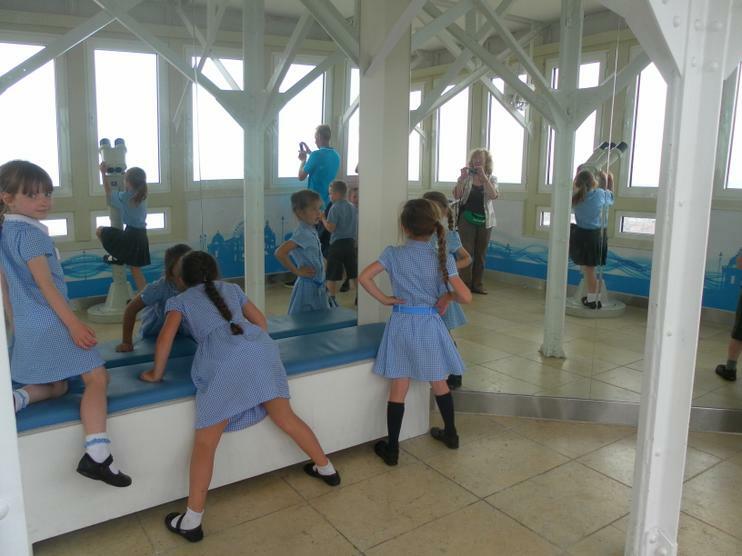 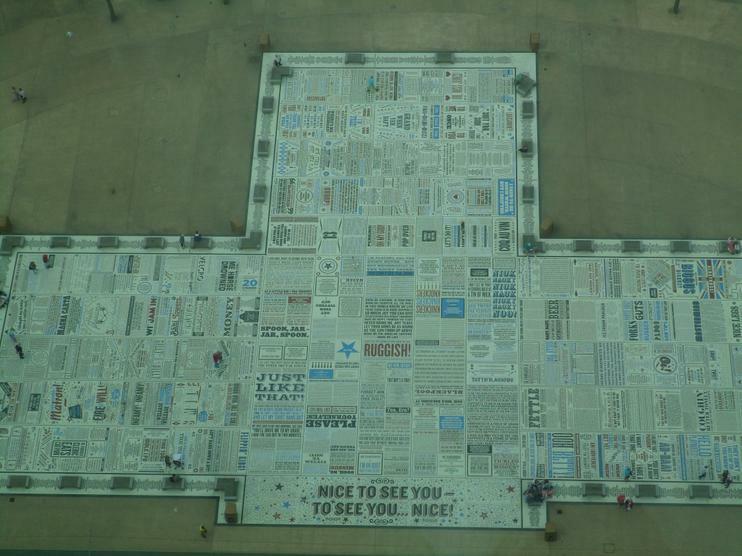 Take a look at some of the photos and videos. 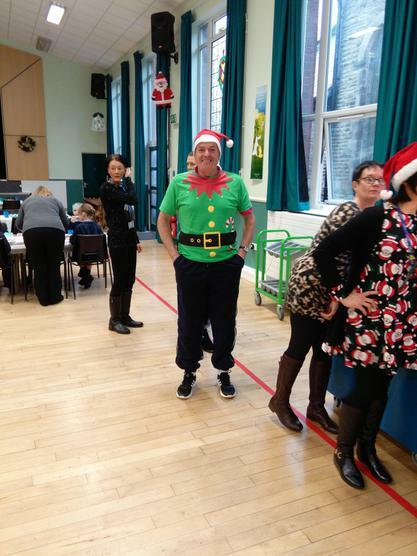 A big thanks to Mr Bell for organising it. 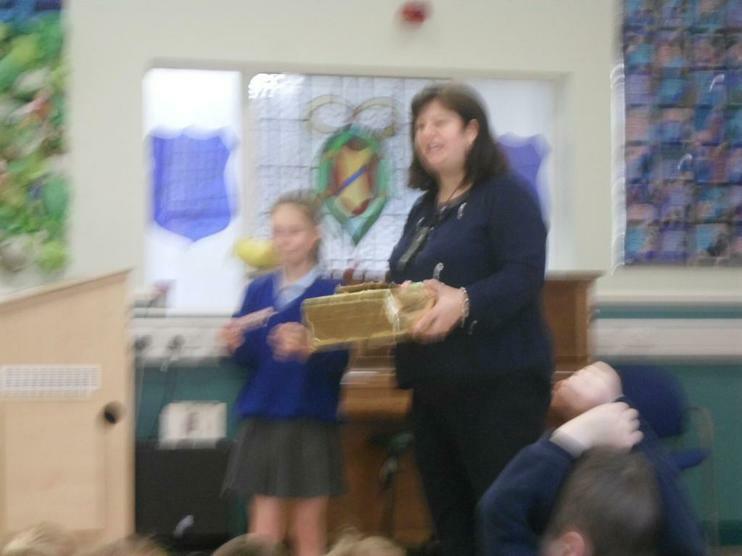 The winner of 'Guess how many sweets are in a jar' was Thomas in Year 5 who guessed correctly at 248 sweets. 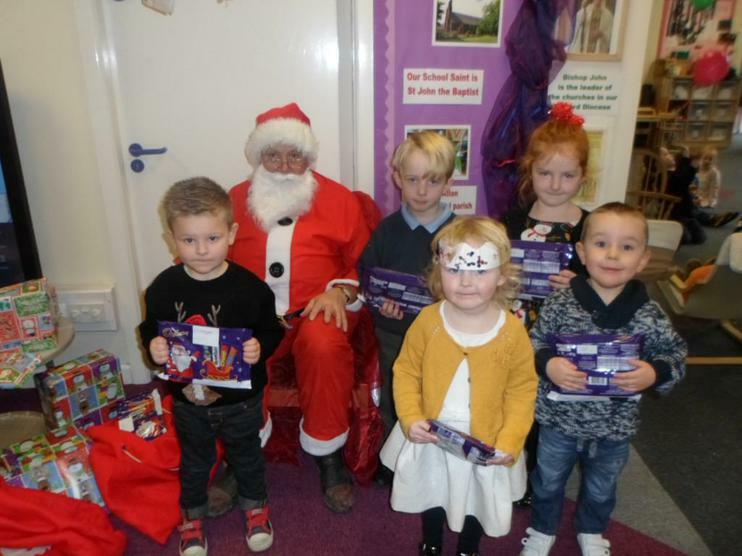 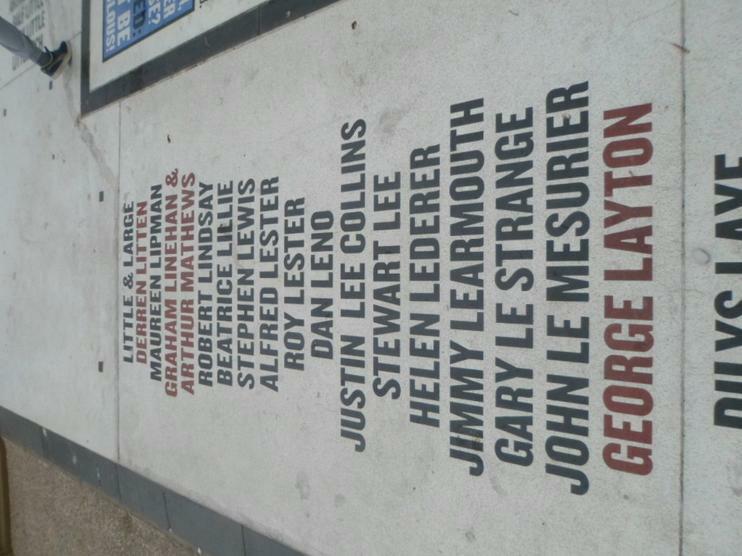 Well done to all our lucky winners. 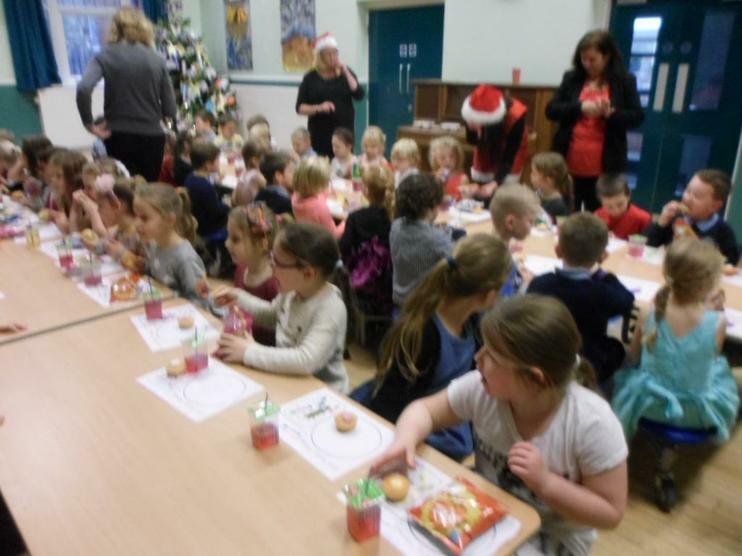 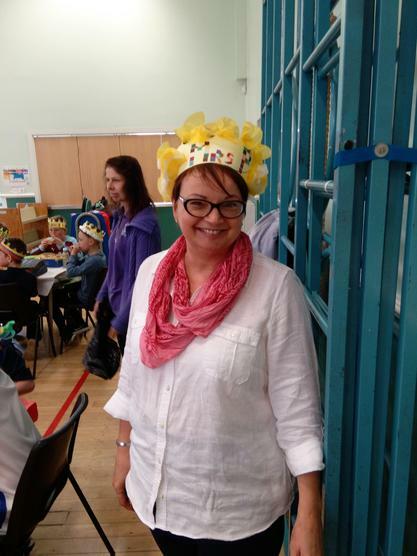 A big thanks to all the staff who have given up their time to bake and work with the children decorating the buns and to all the parents who helped serve the refreshments. 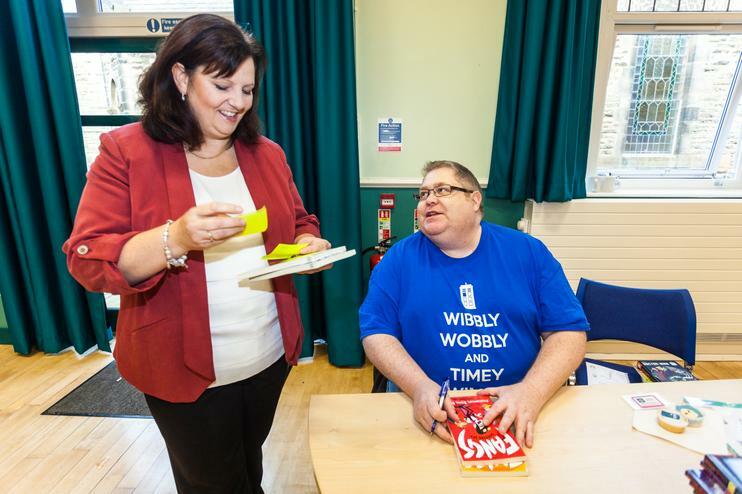 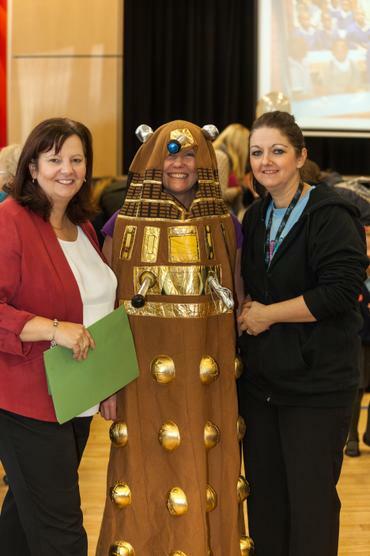 A massive thank you to the very talented Mrs Bracken for baking such an amazing Doctor Who cake for a raffle prize. 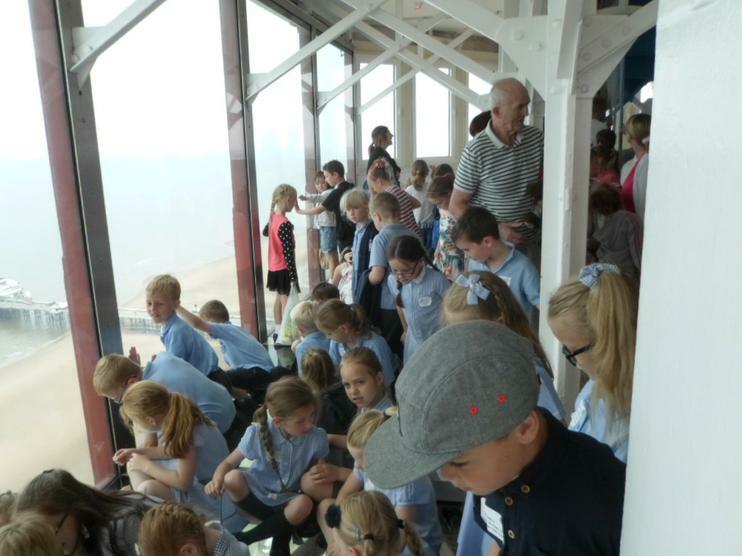 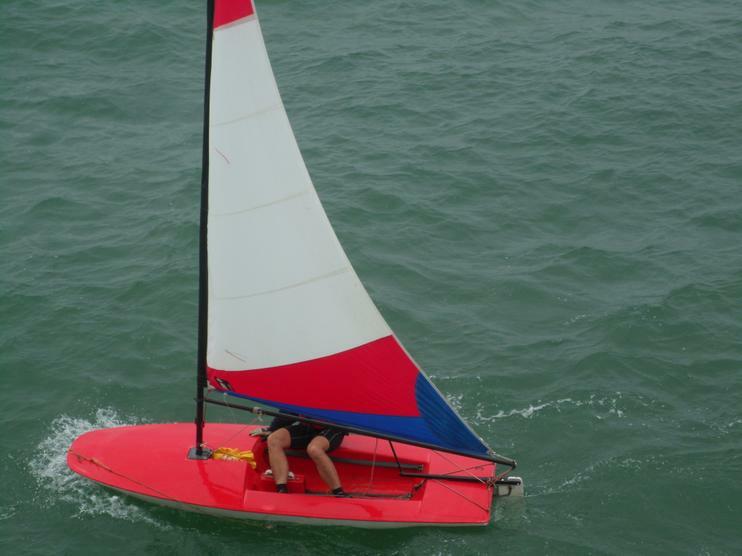 Also, a big thank you to Mr. Burton for taking photographs on the day..watch this space! 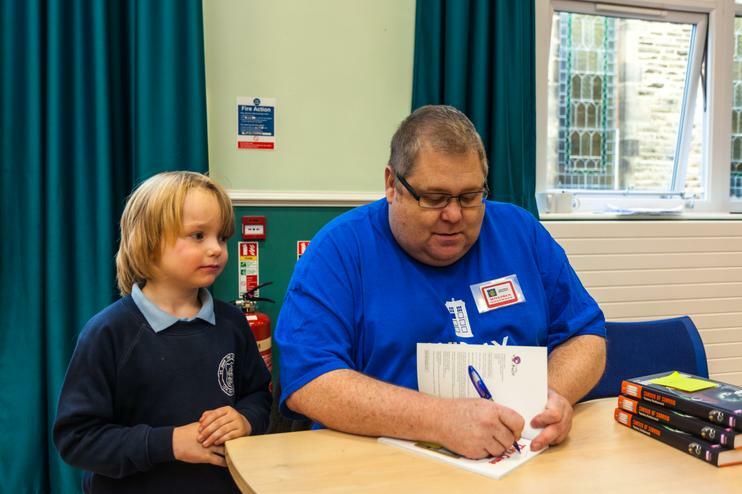 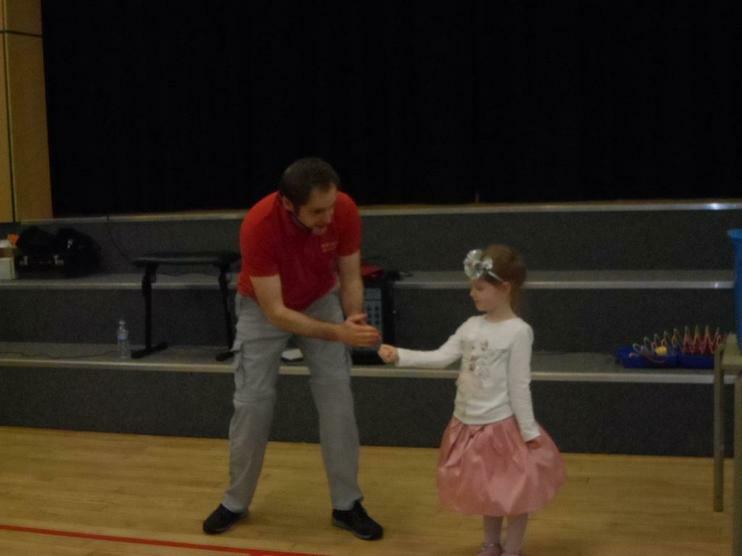 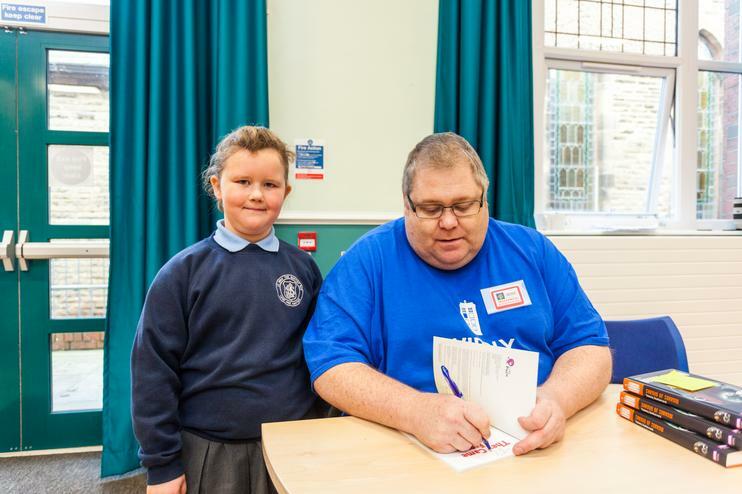 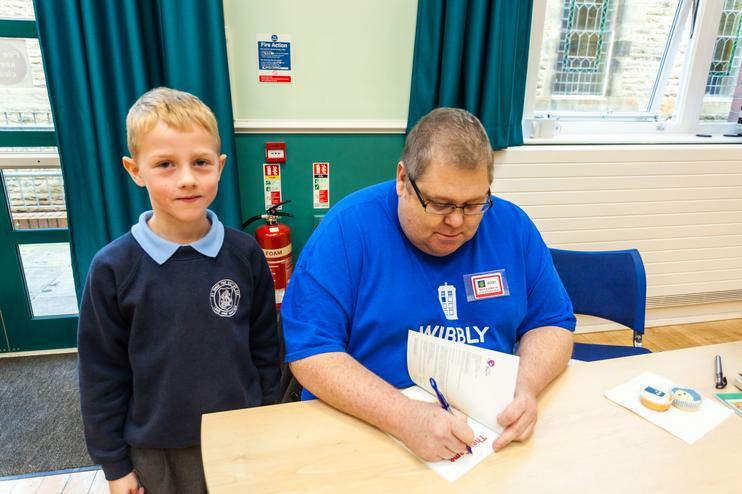 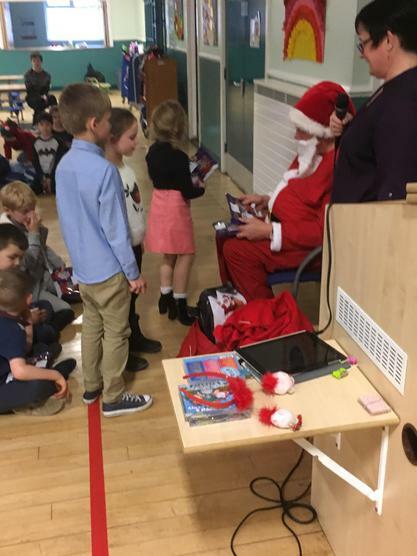 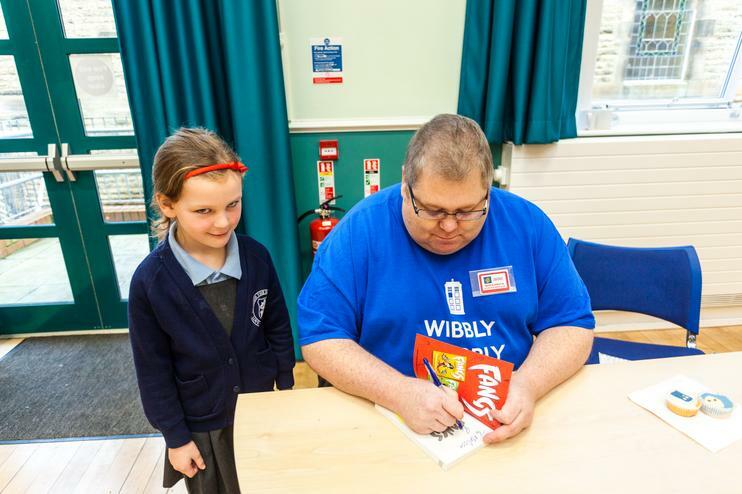 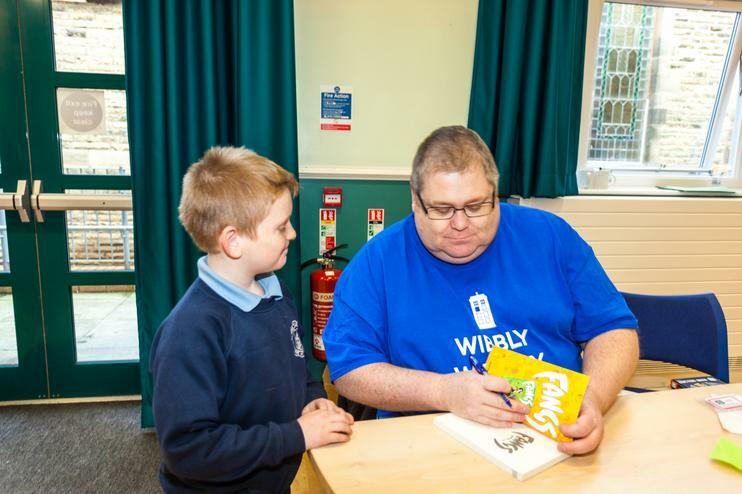 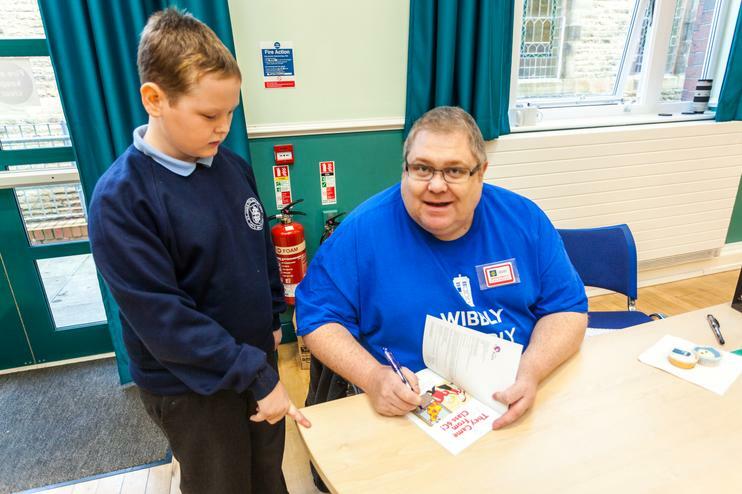 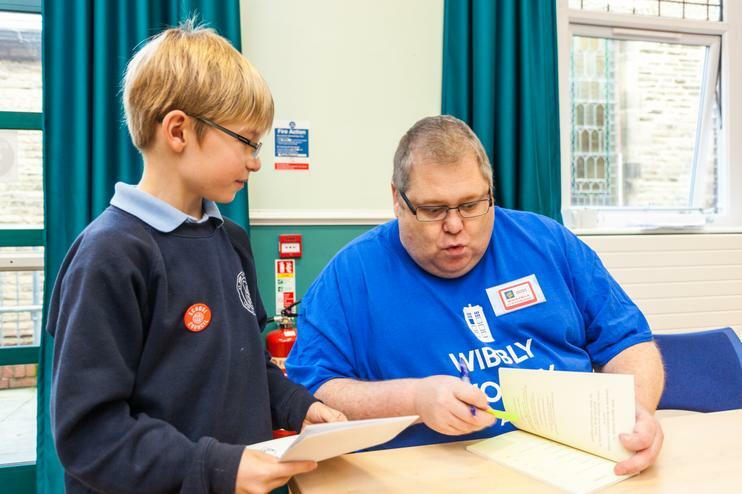 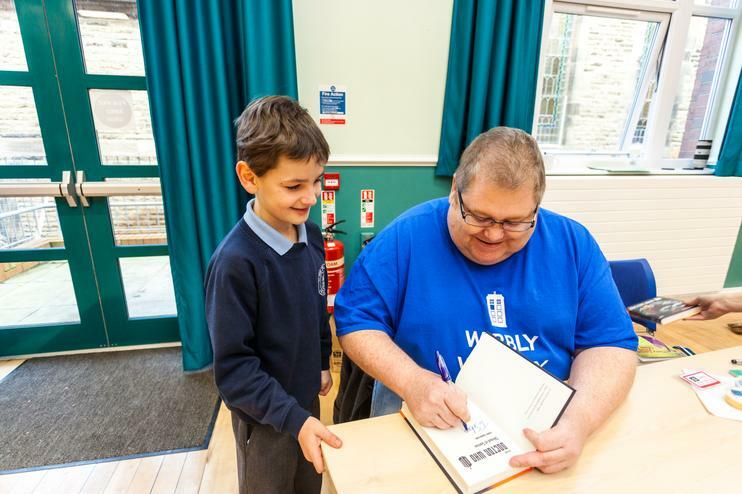 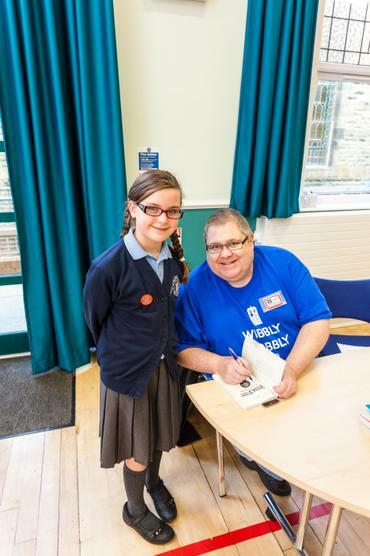 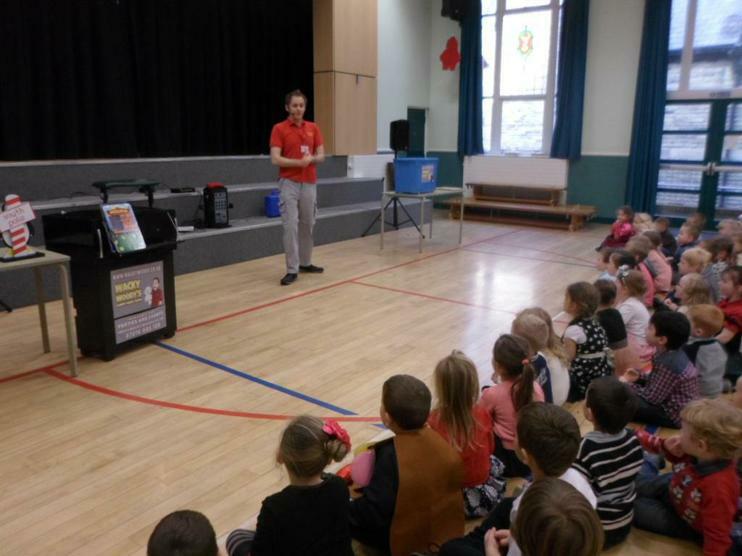 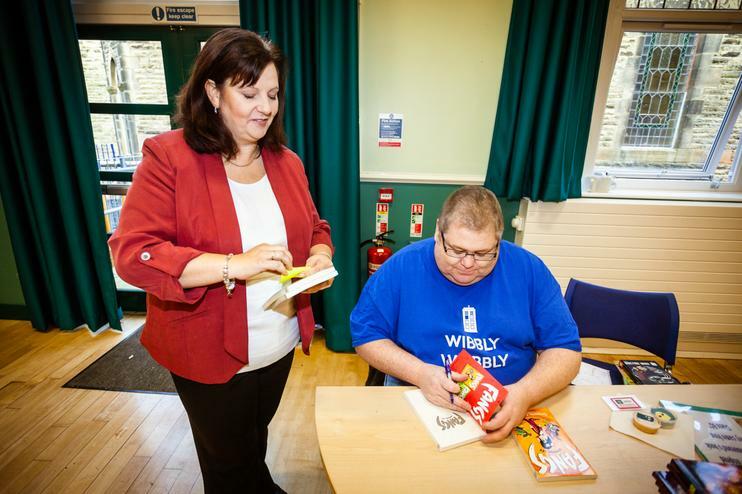 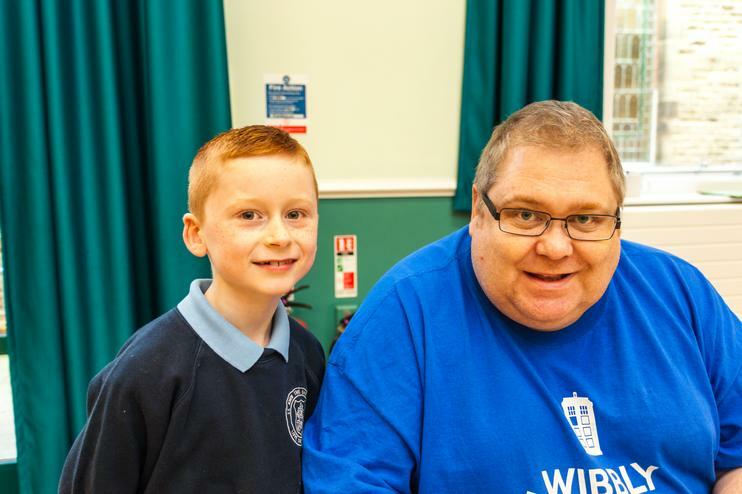 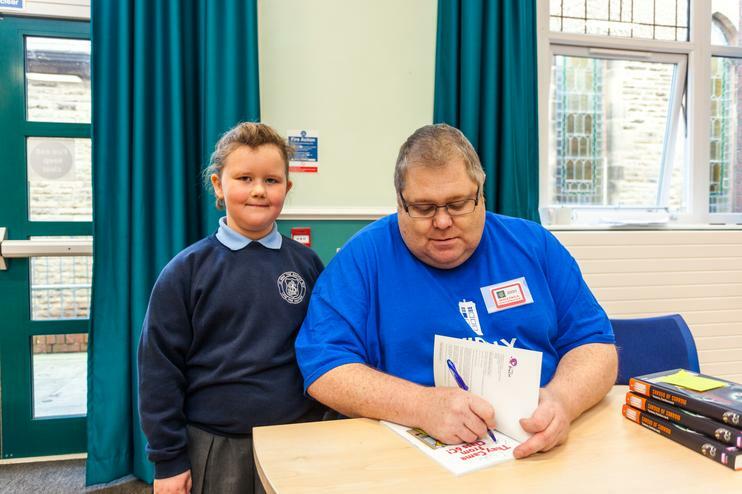 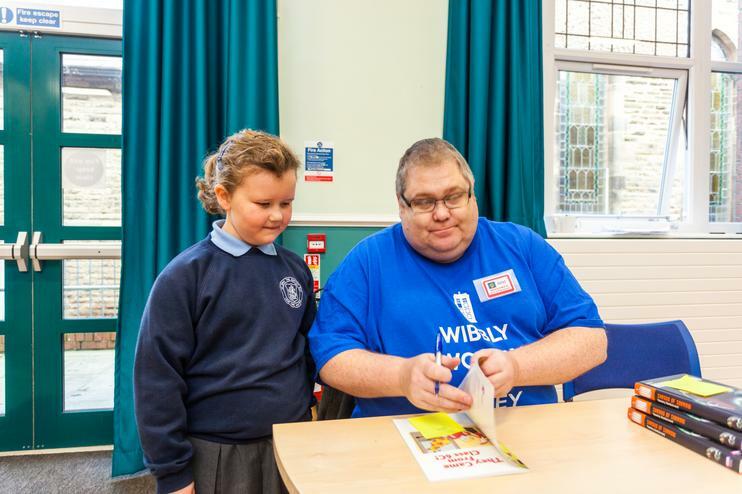 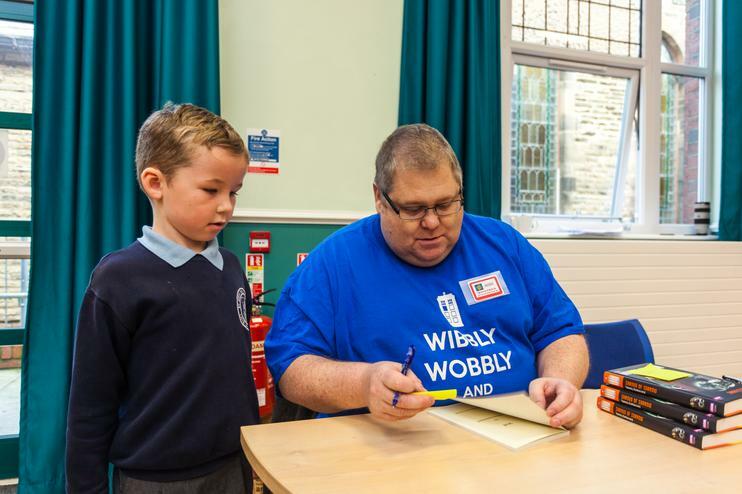 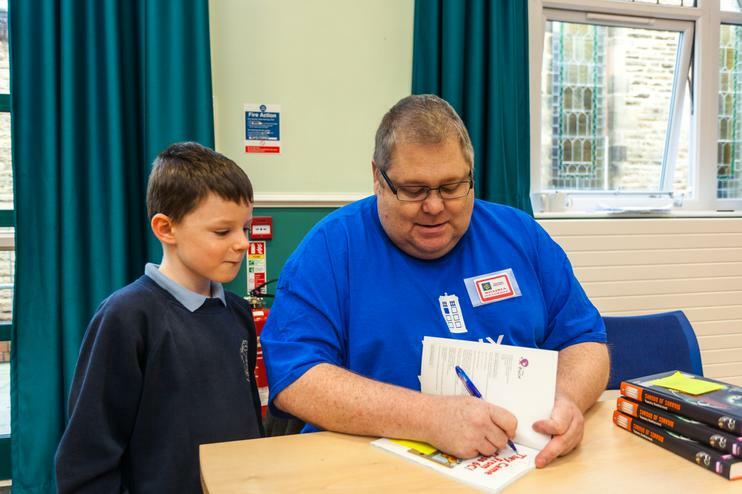 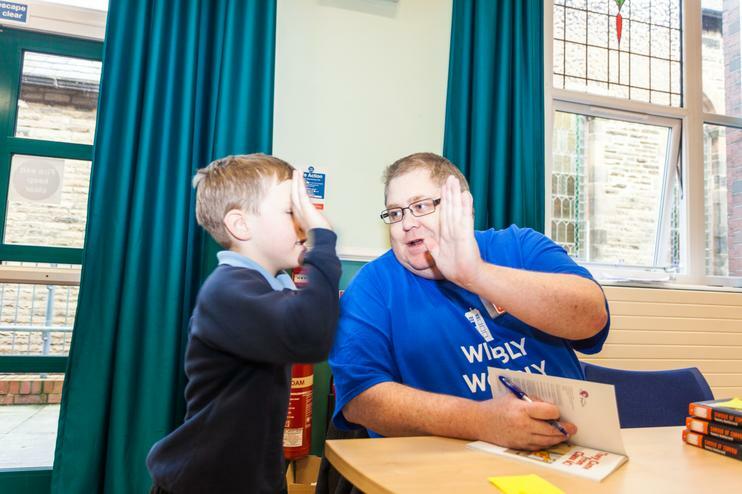 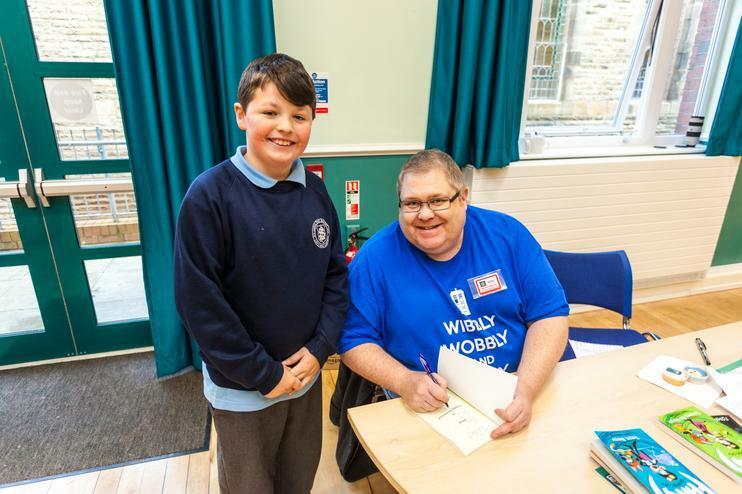 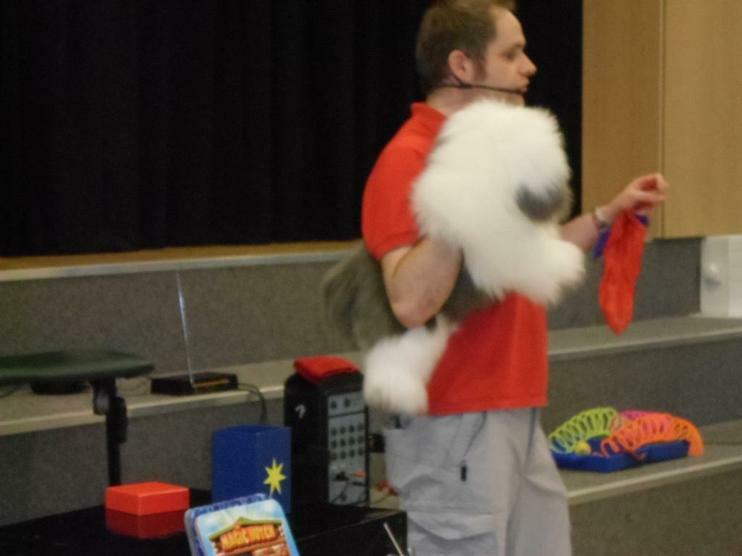 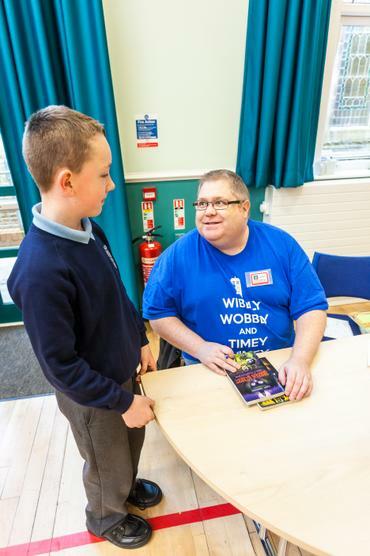 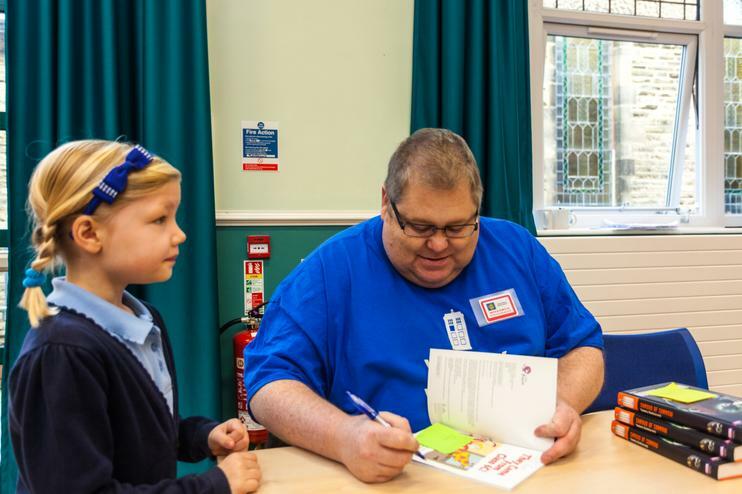 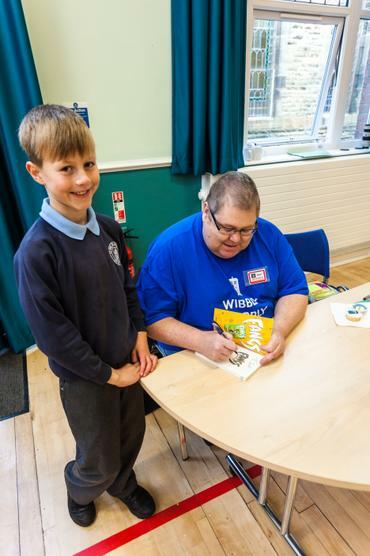 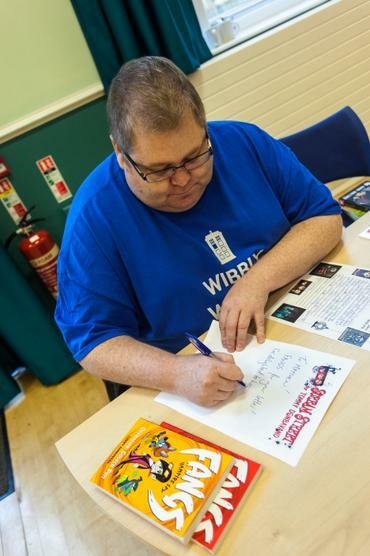 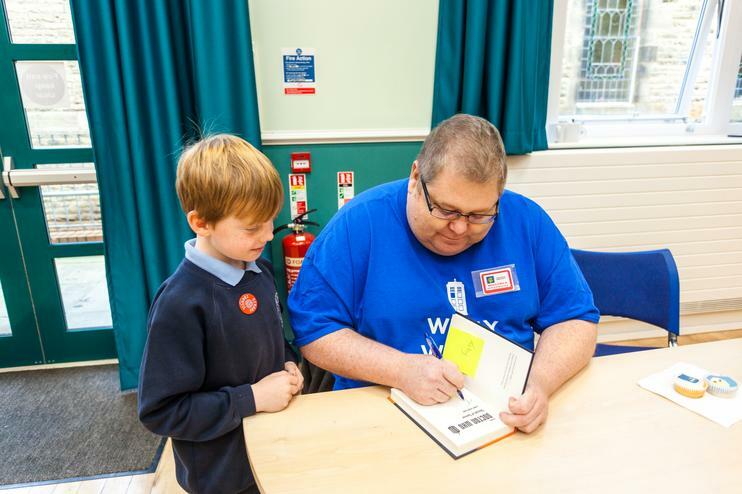 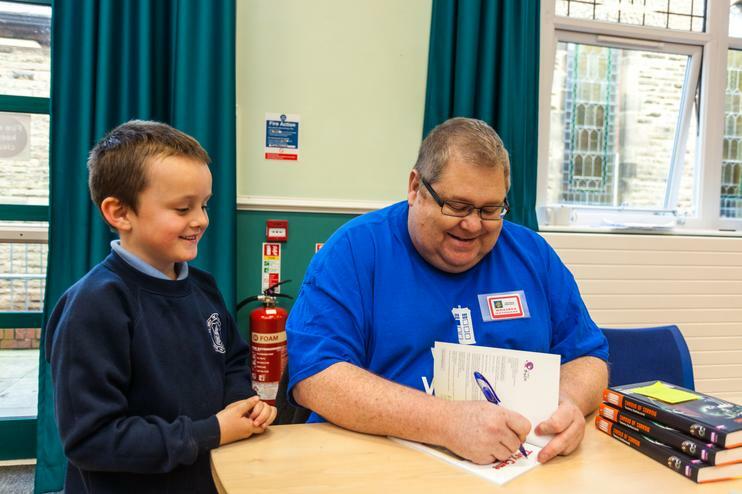 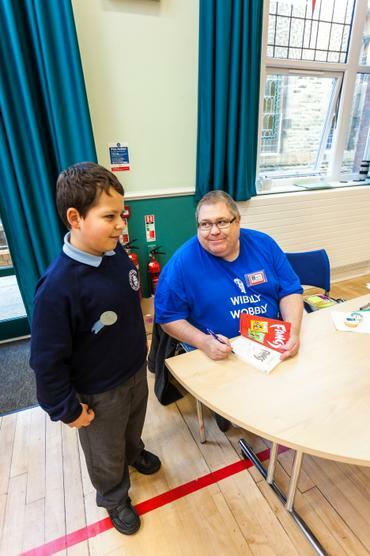 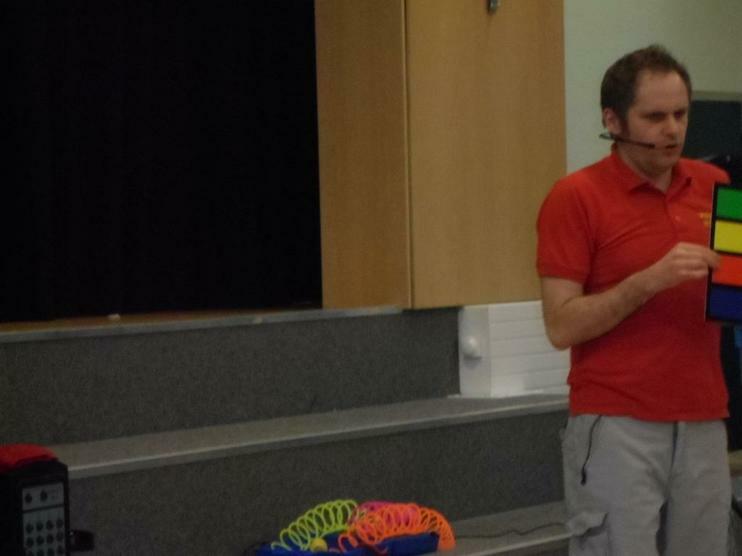 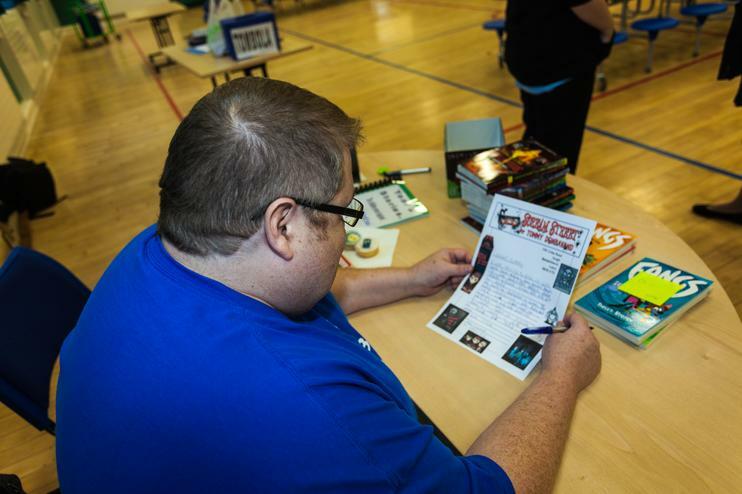 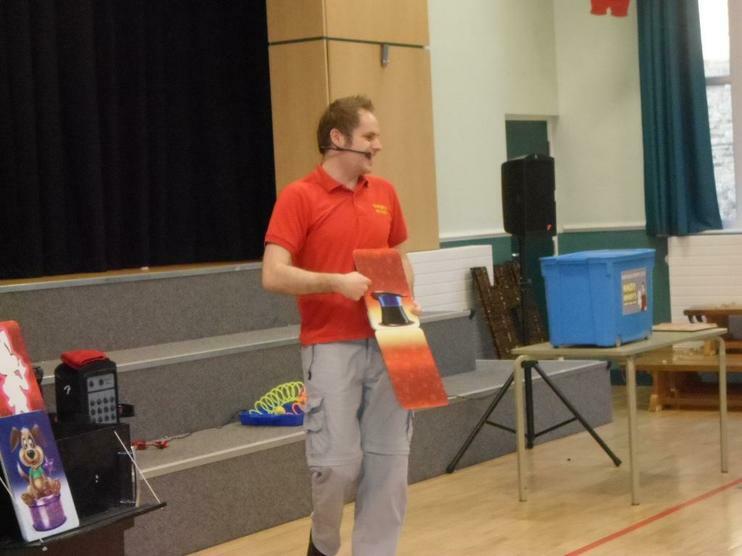 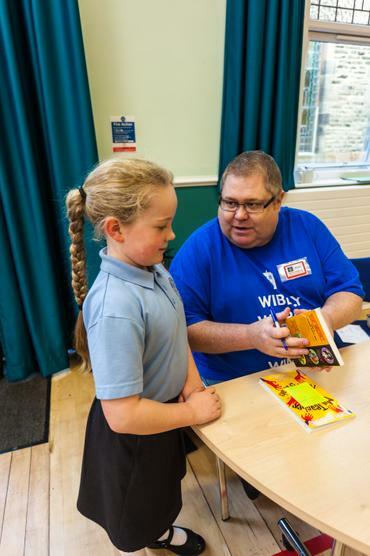 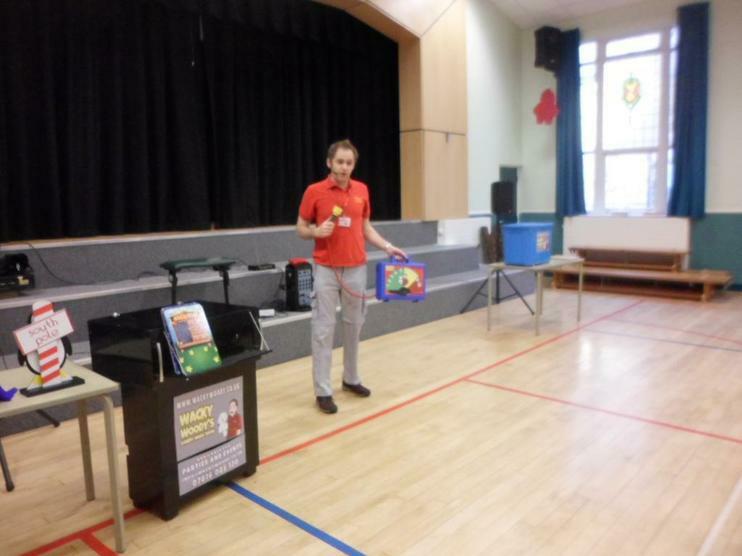 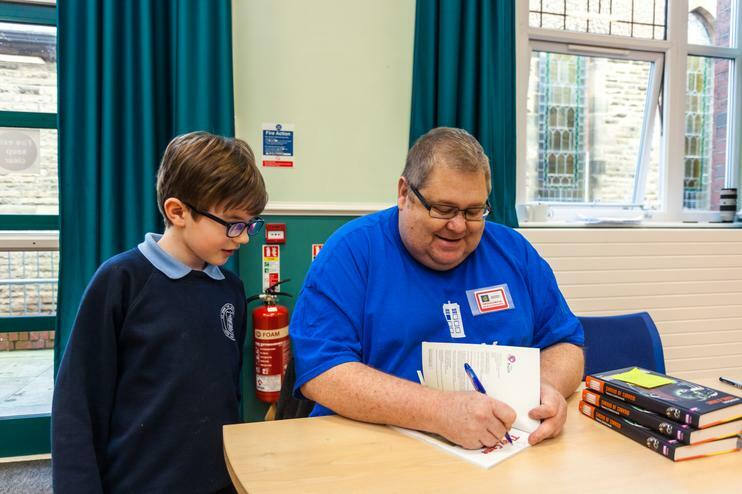 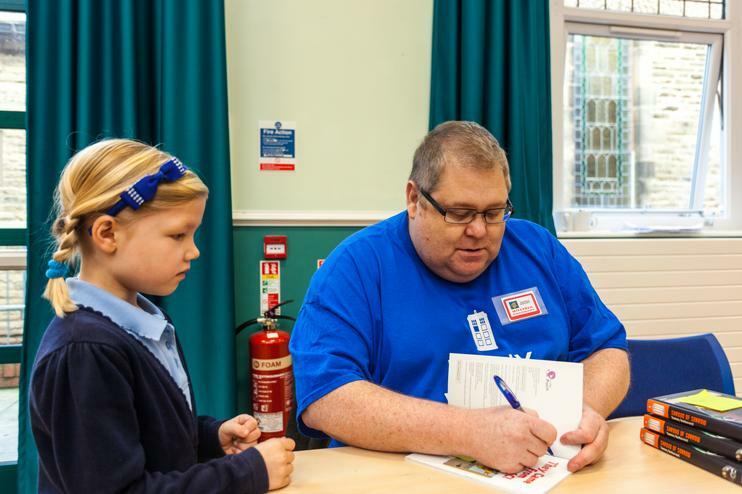 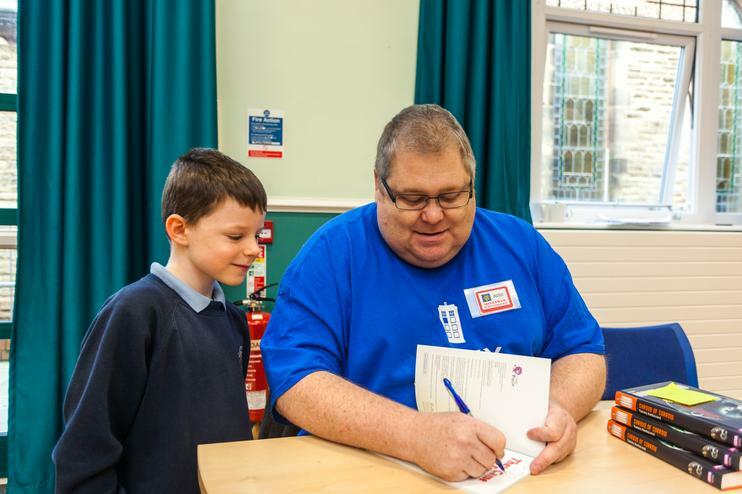 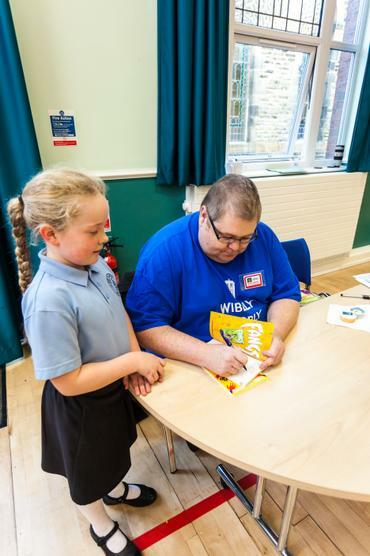 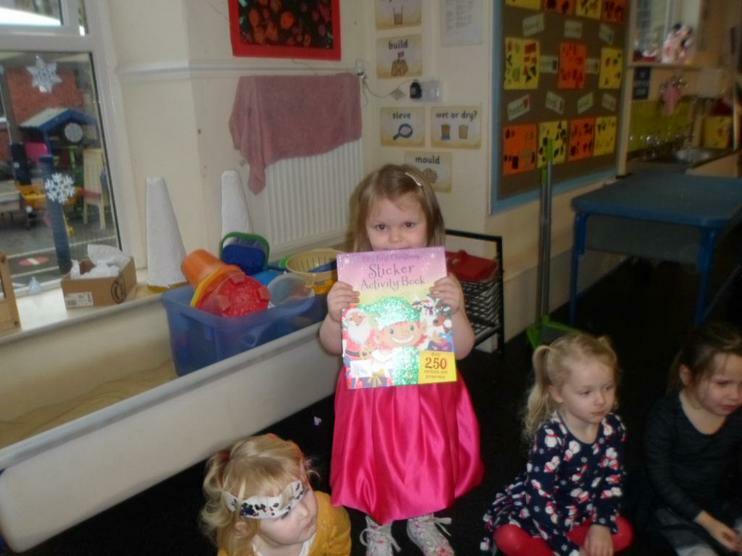 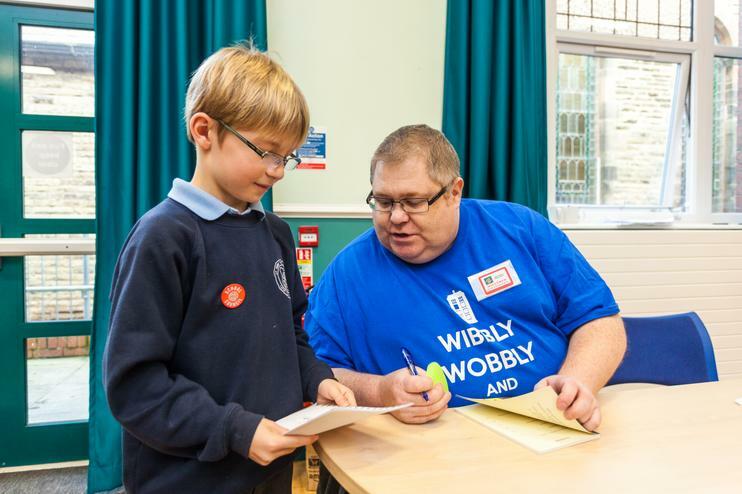 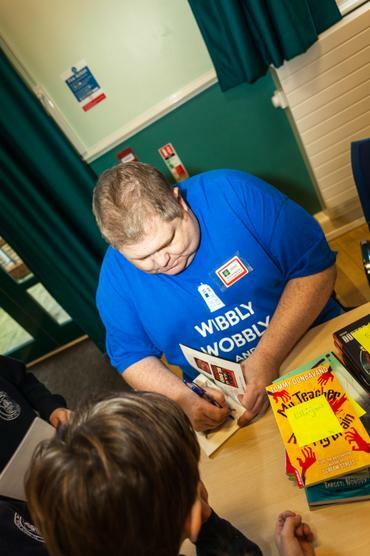 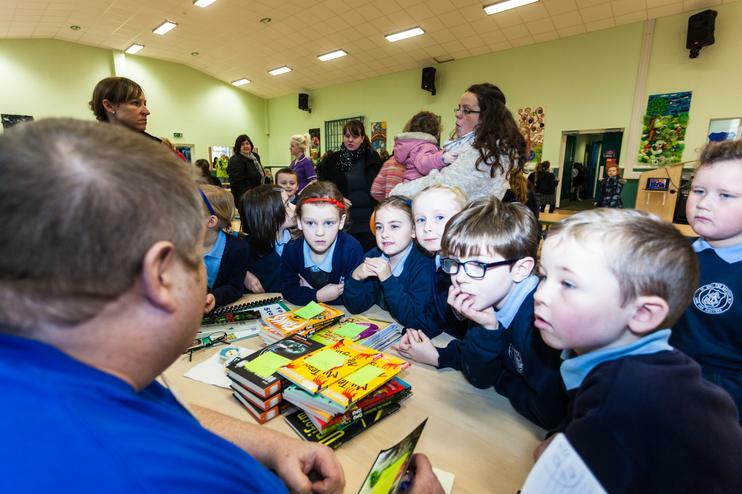 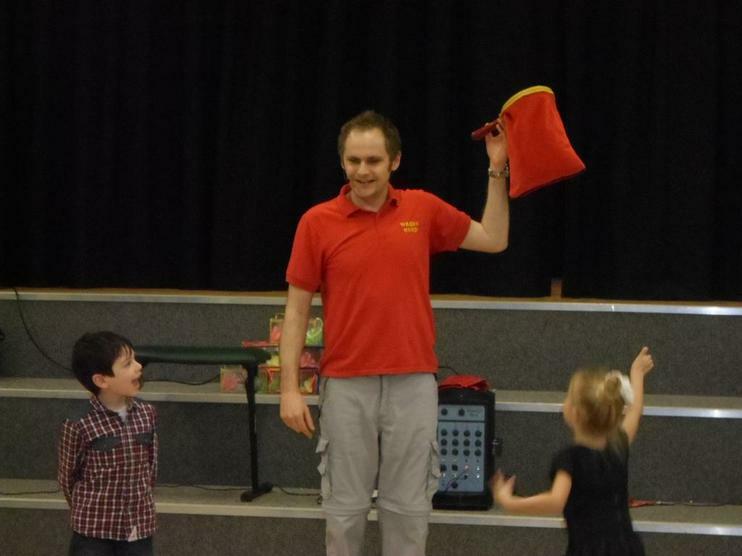 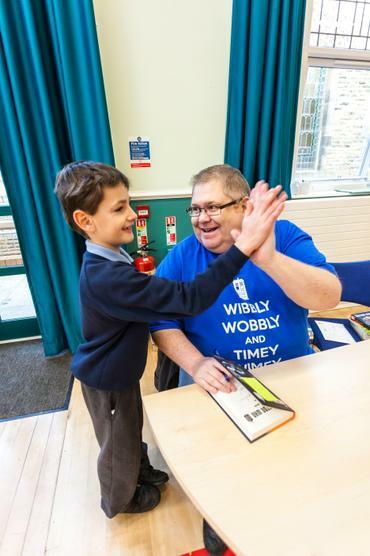 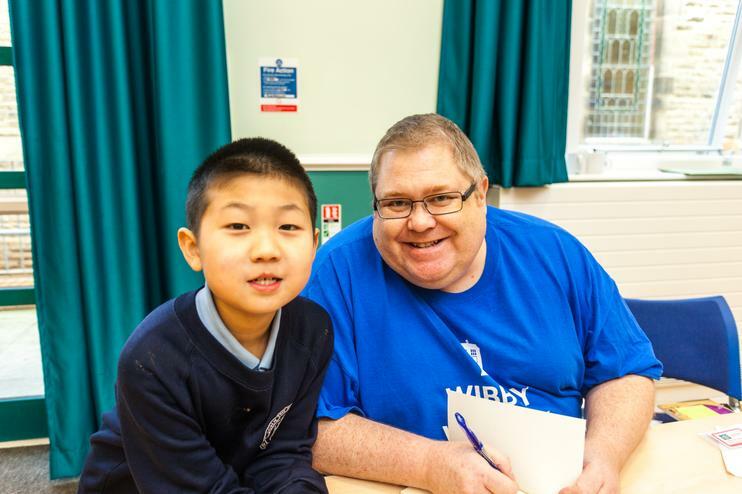 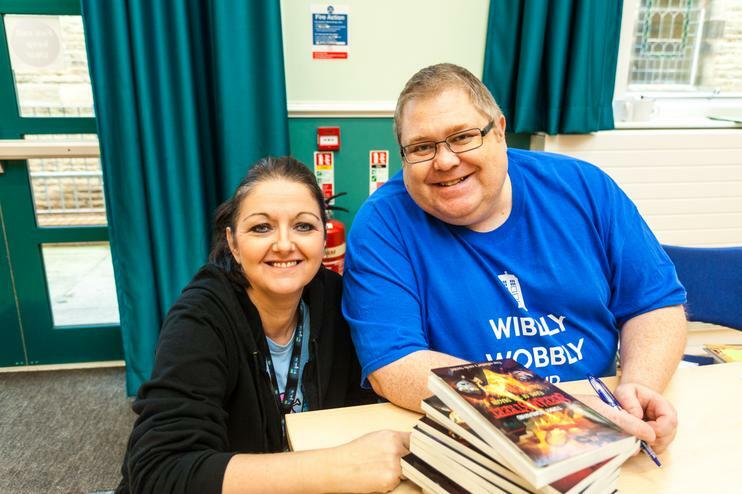 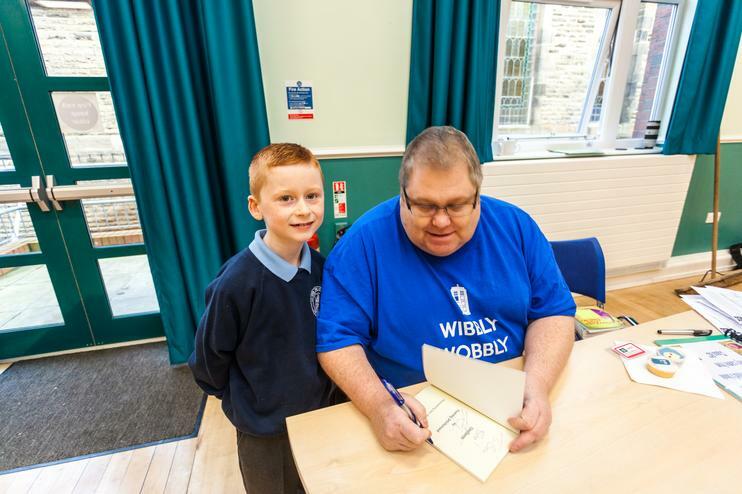 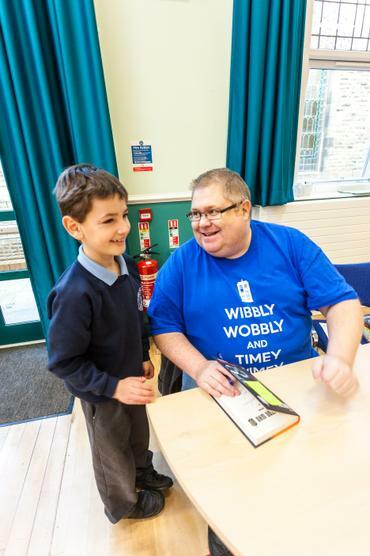 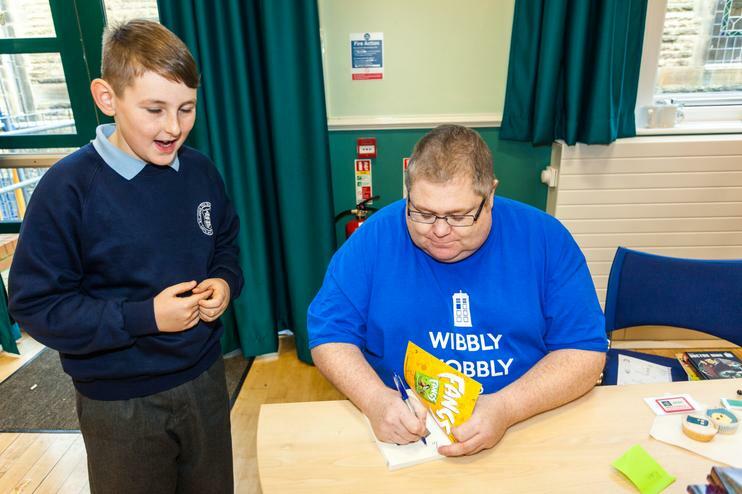 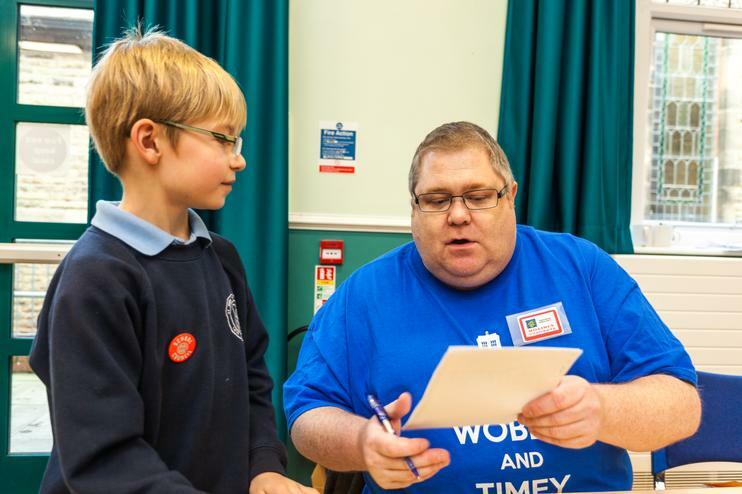 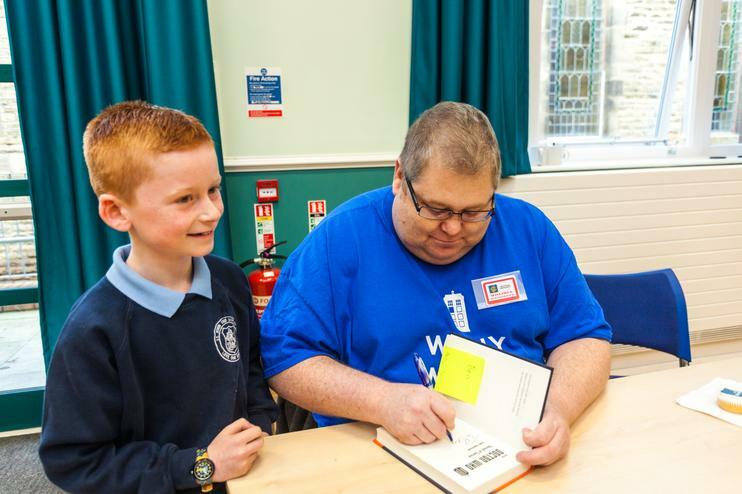 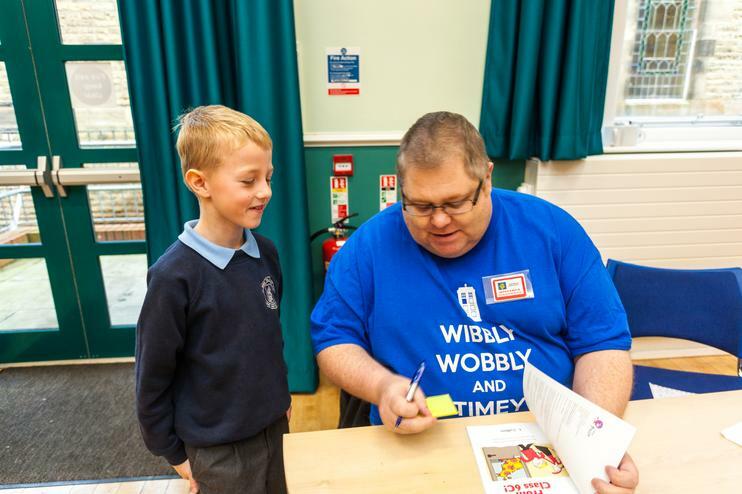 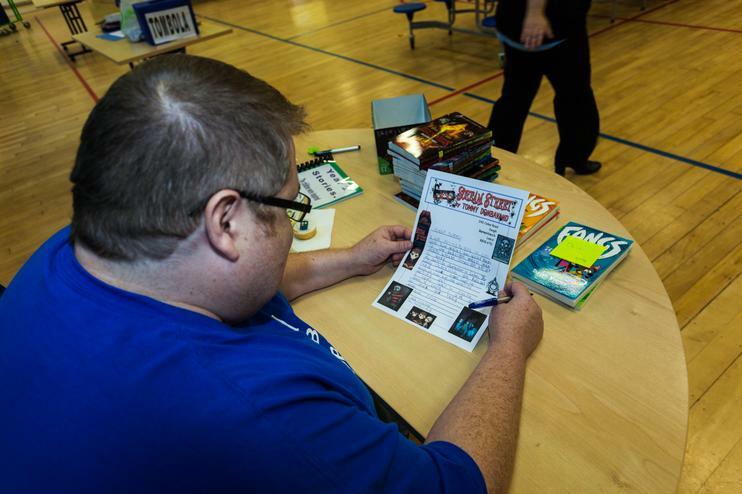 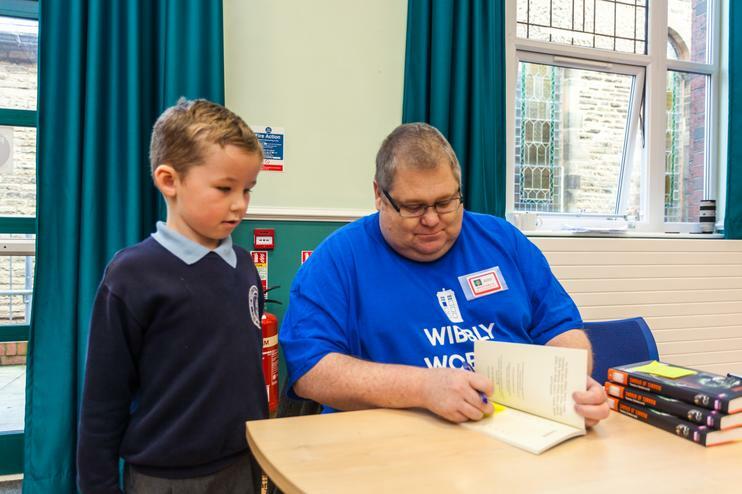 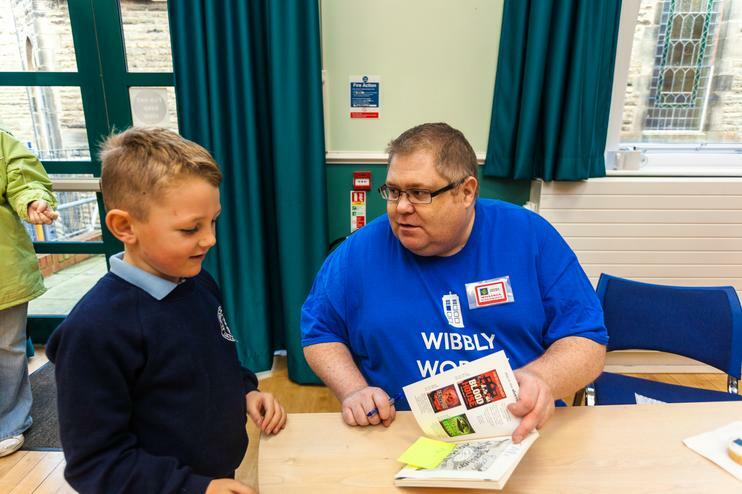 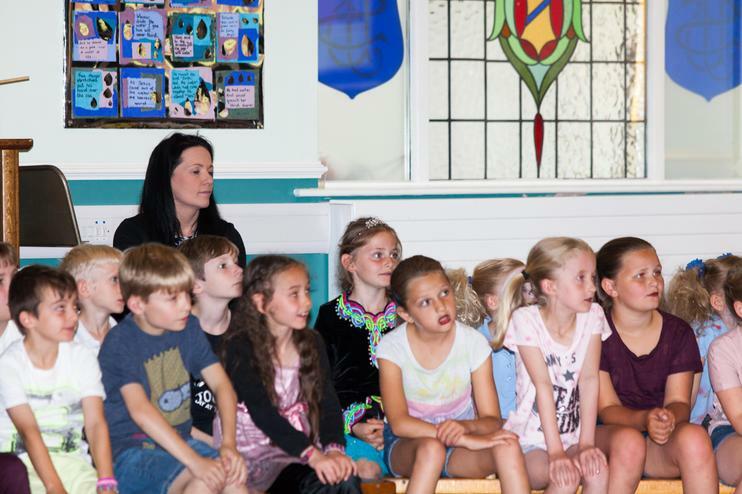 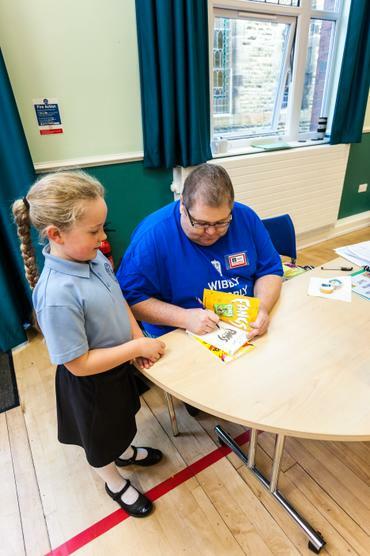 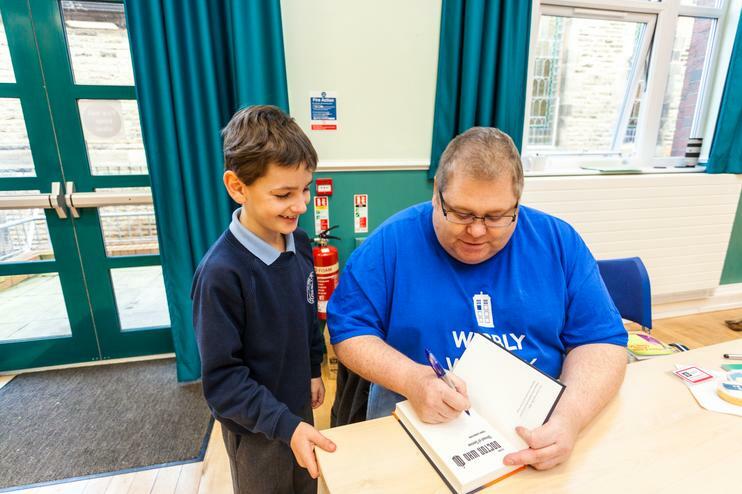 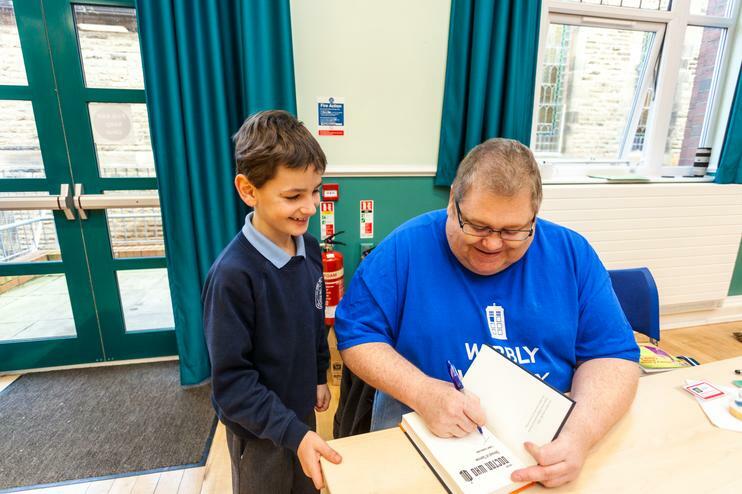 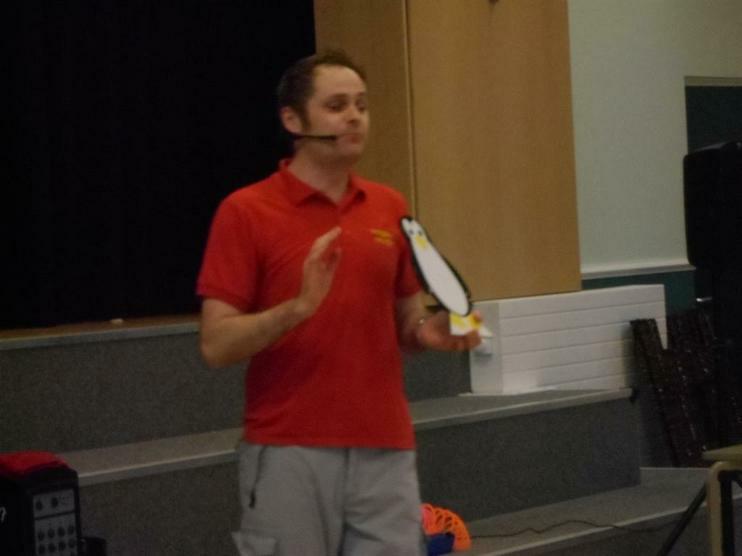 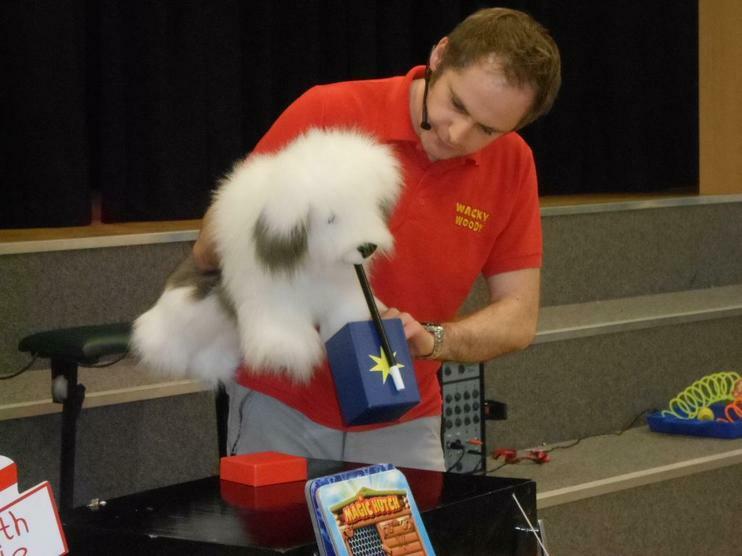 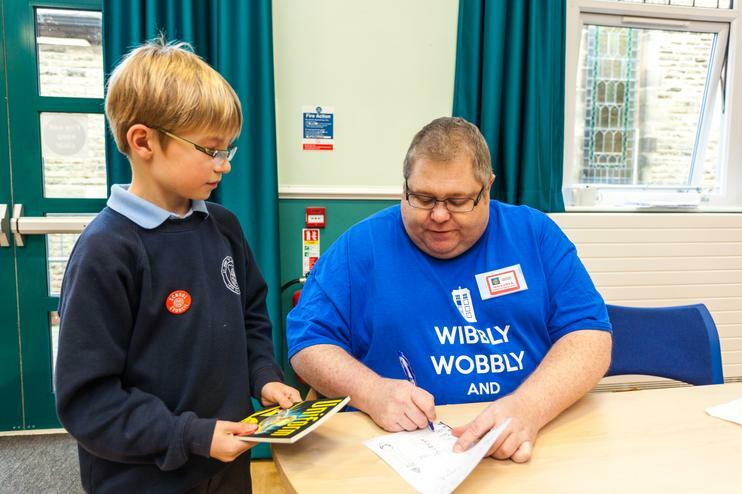 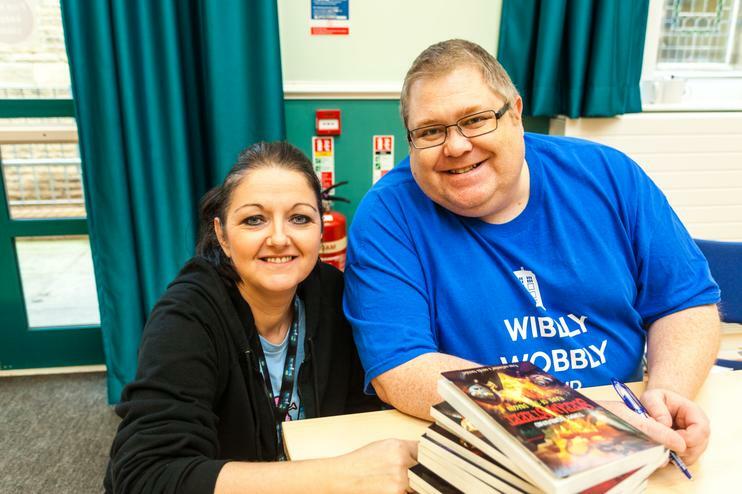 Finally, a big thank you to Tommy Donbavand and his wife, Kirsty, for coming to spend his precious time with us and sign his books that the children had pre-ordered. 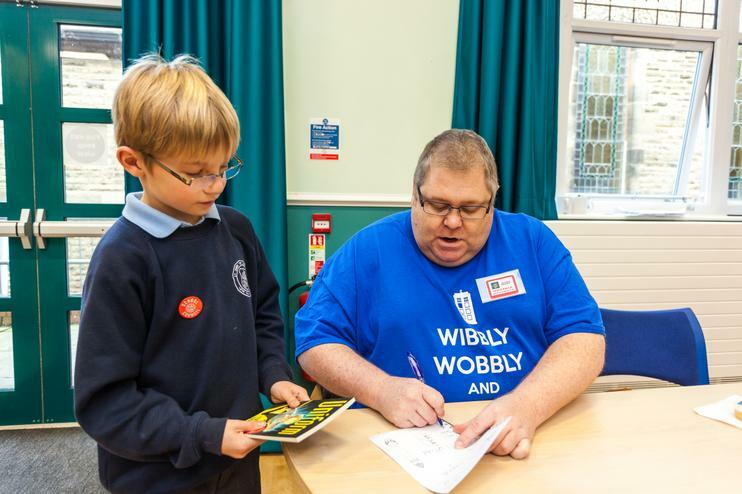 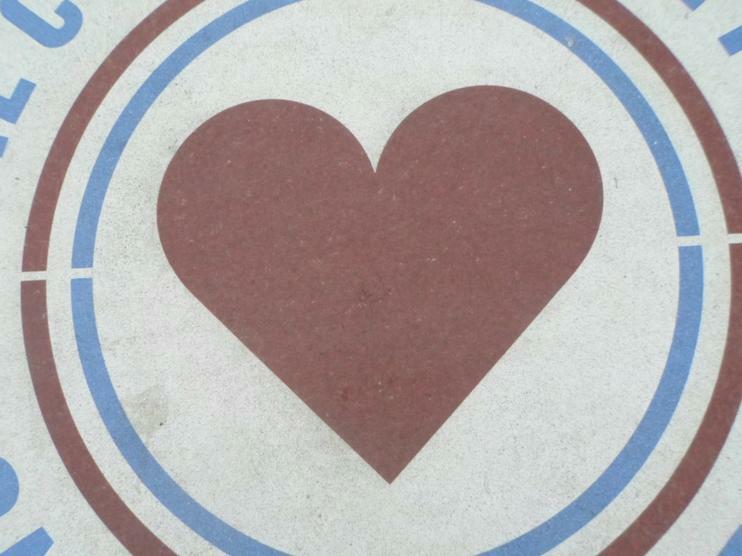 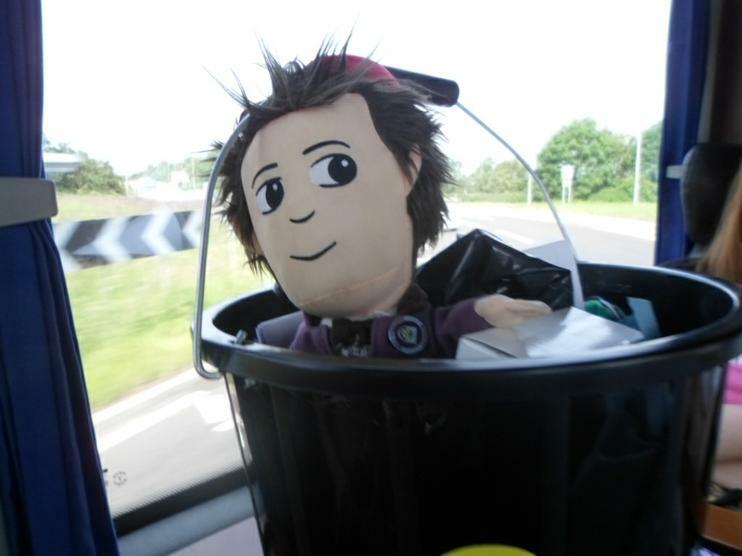 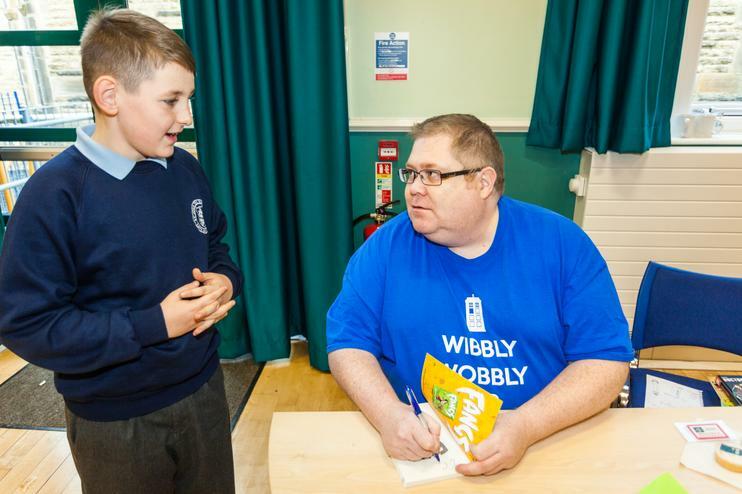 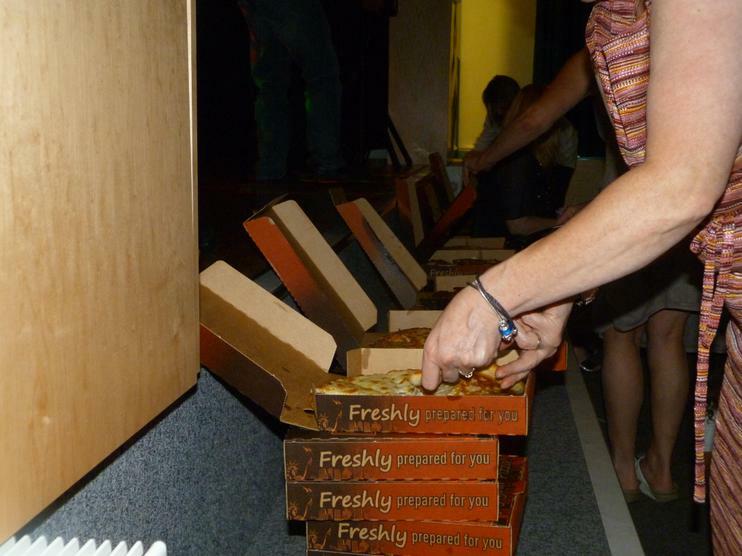 Thank you everyone for joining us to celebrate the 50th Doctor Who Anniversary in such a charitable way. 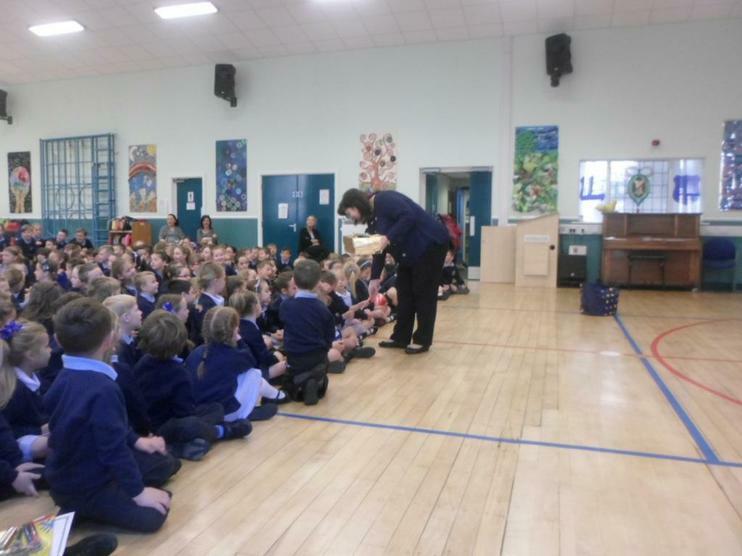 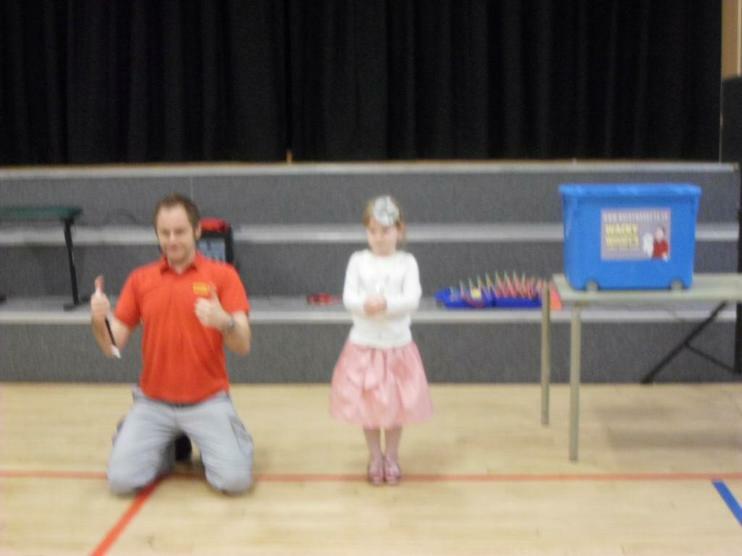 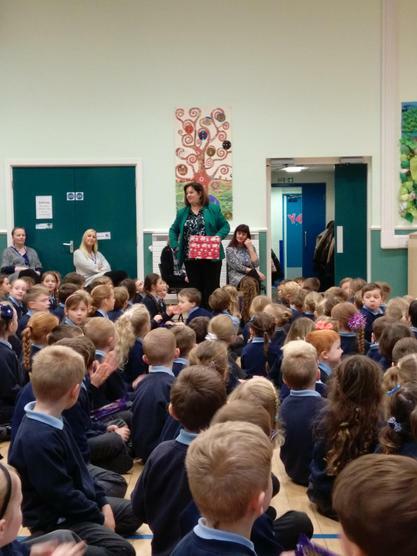 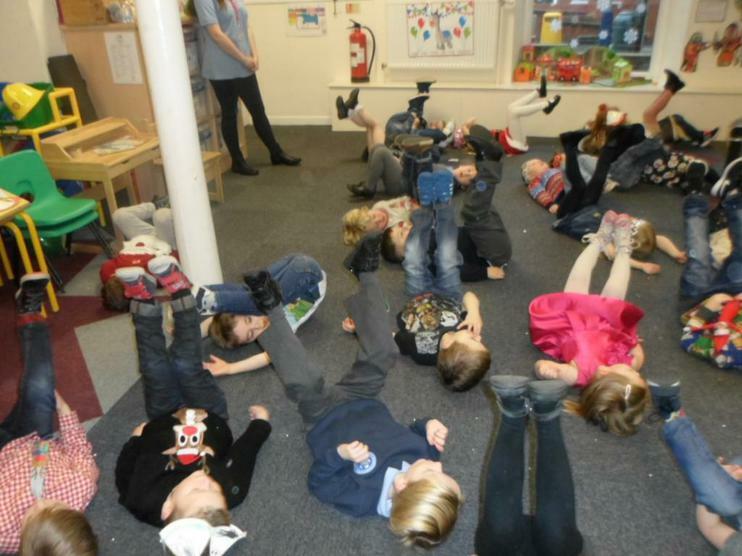 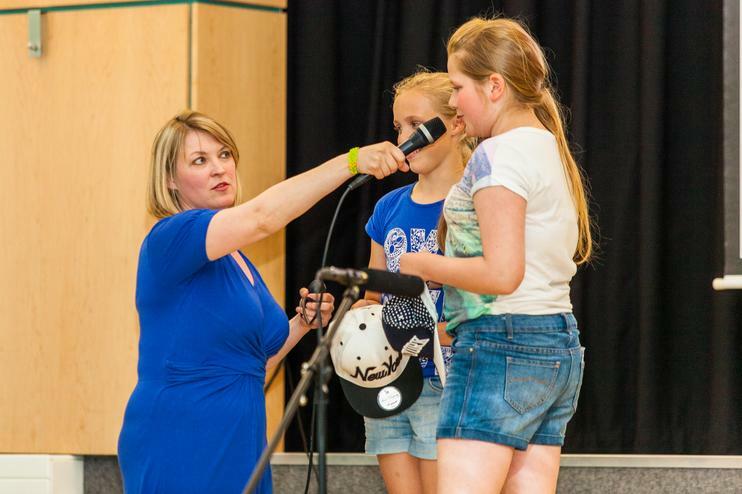 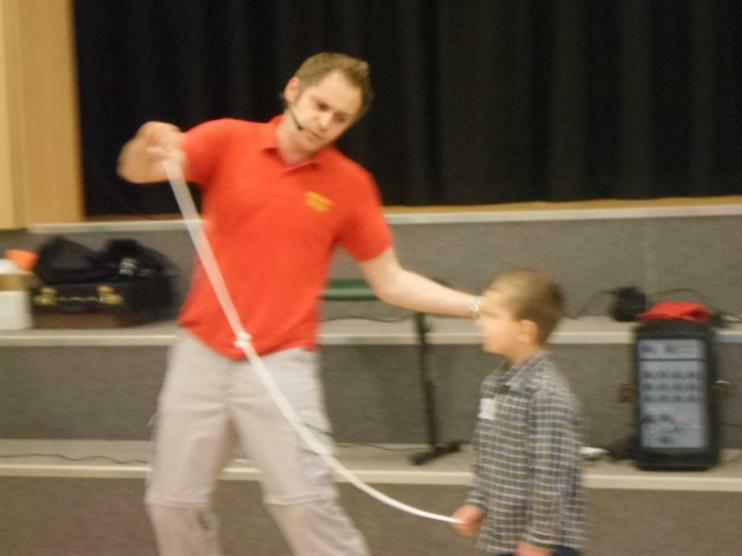 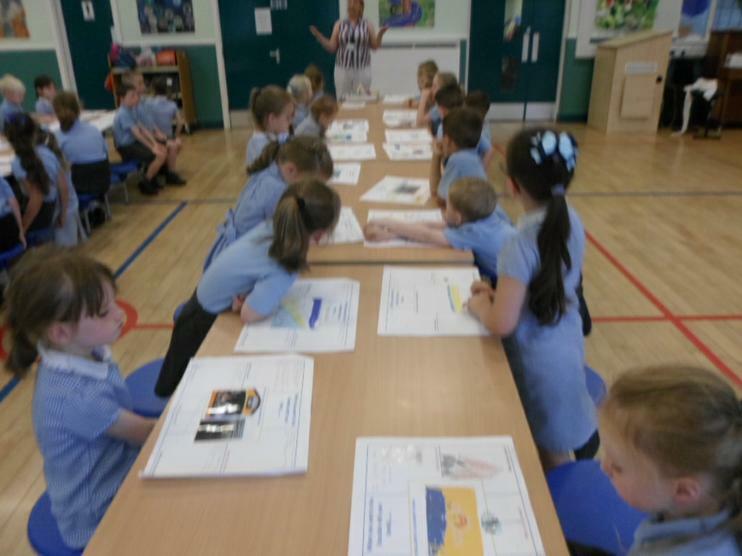 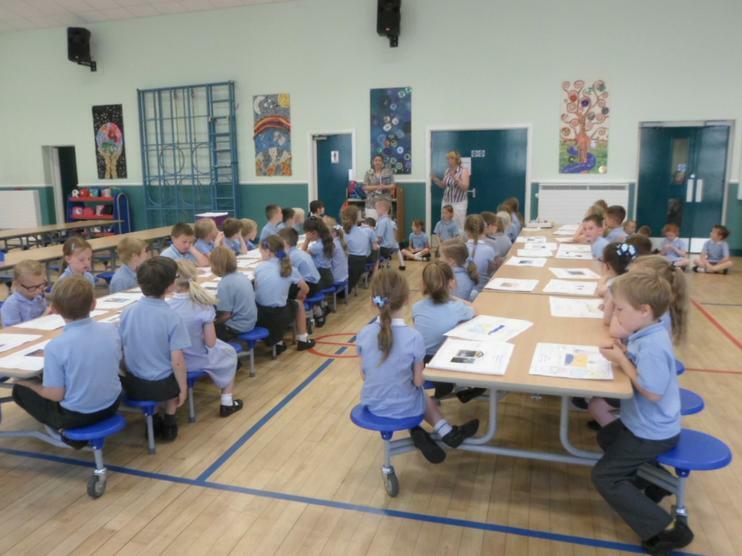 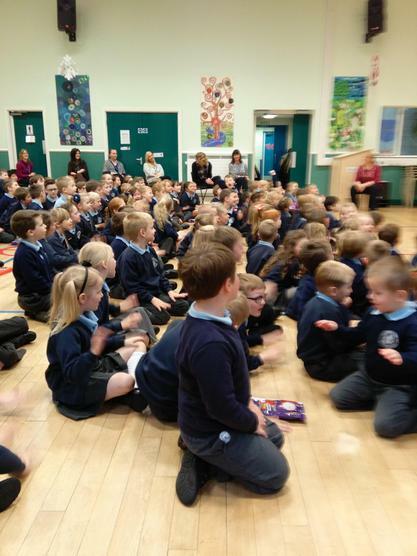 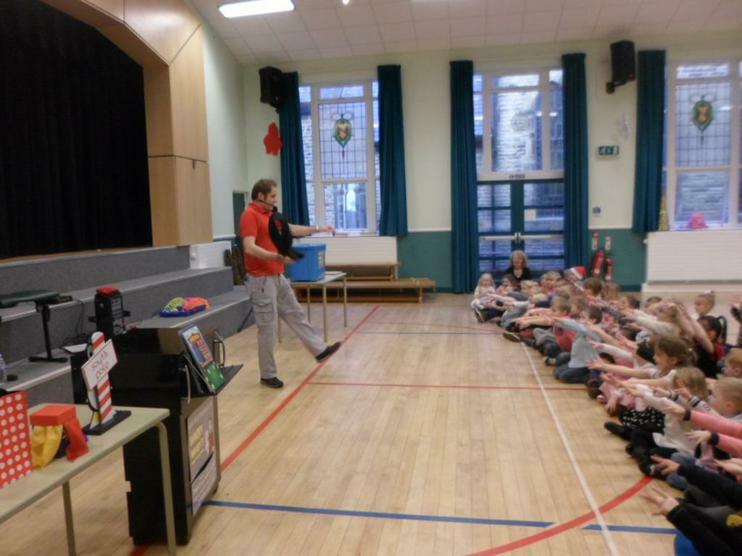 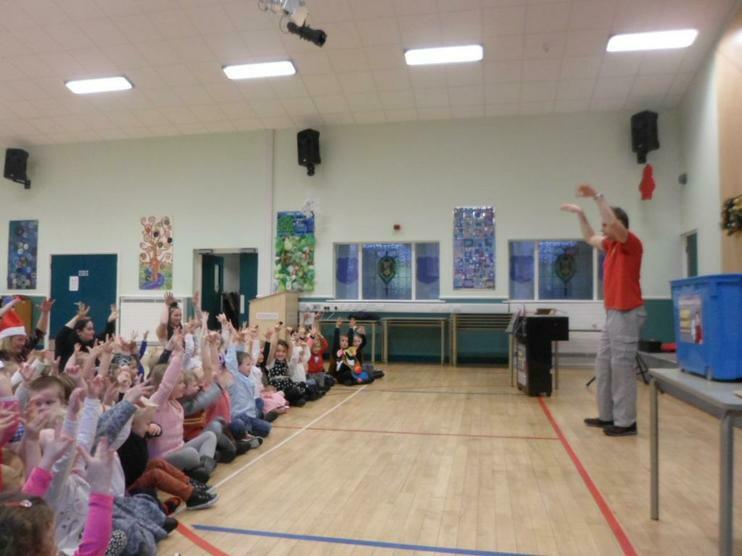 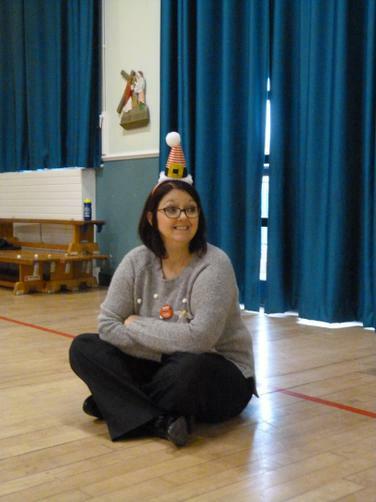 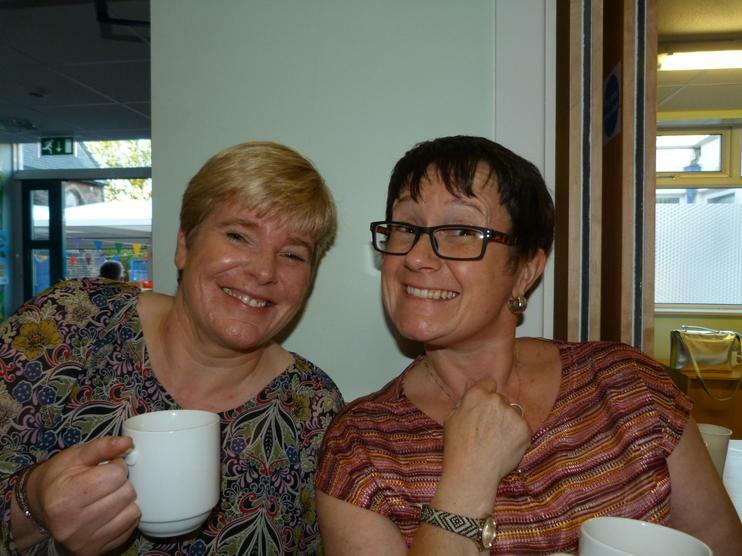 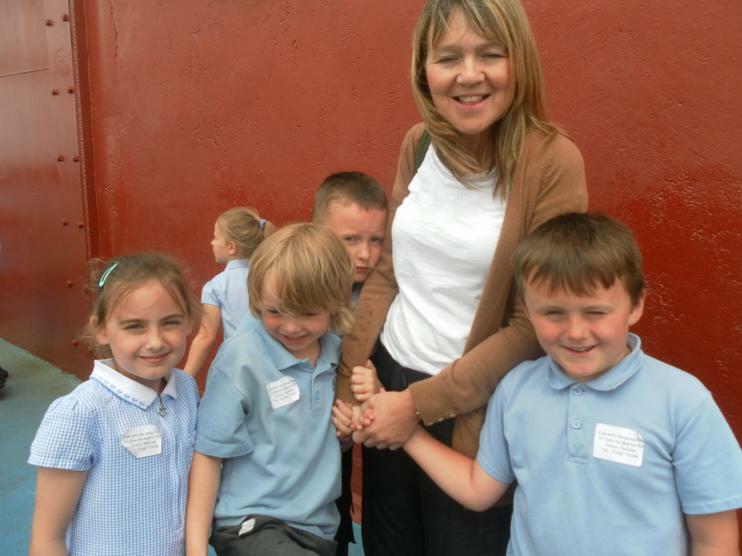 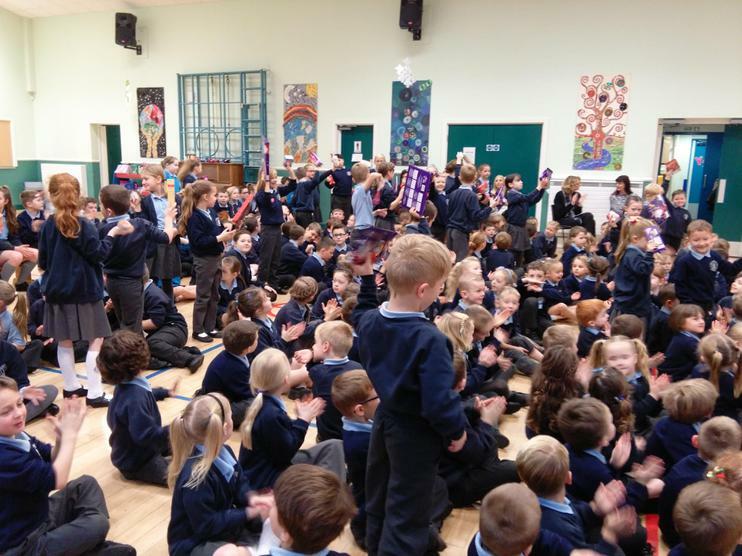 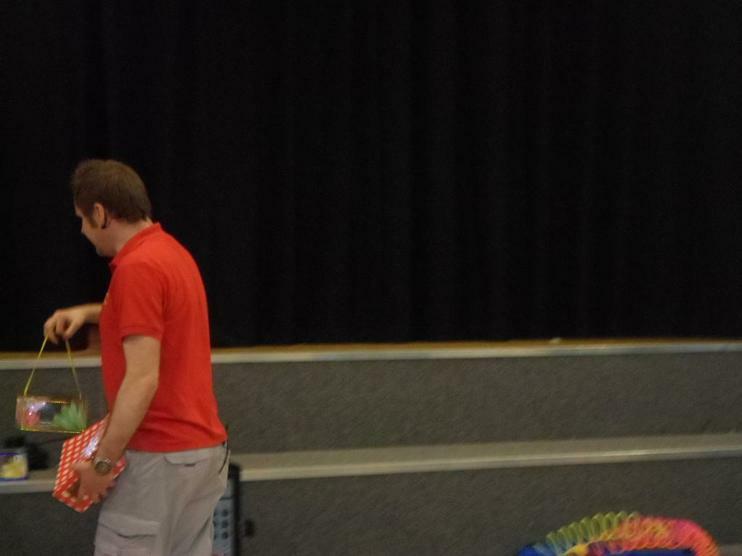 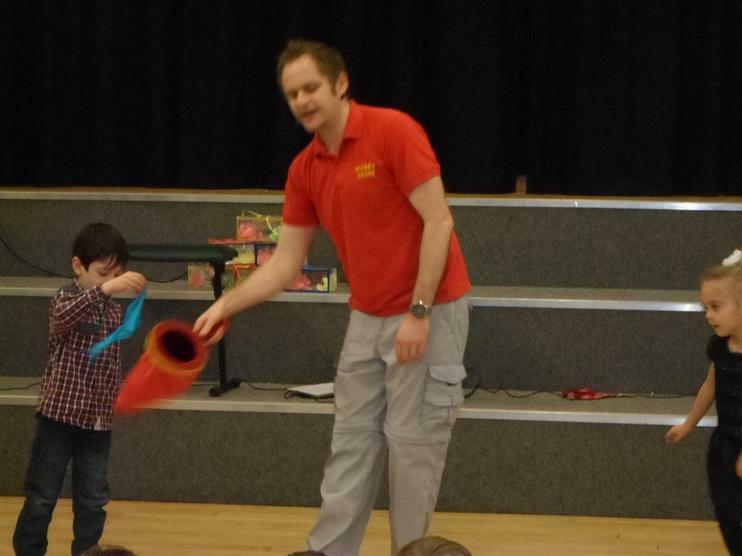 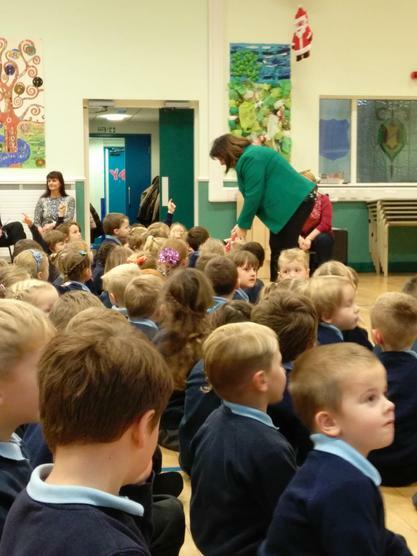 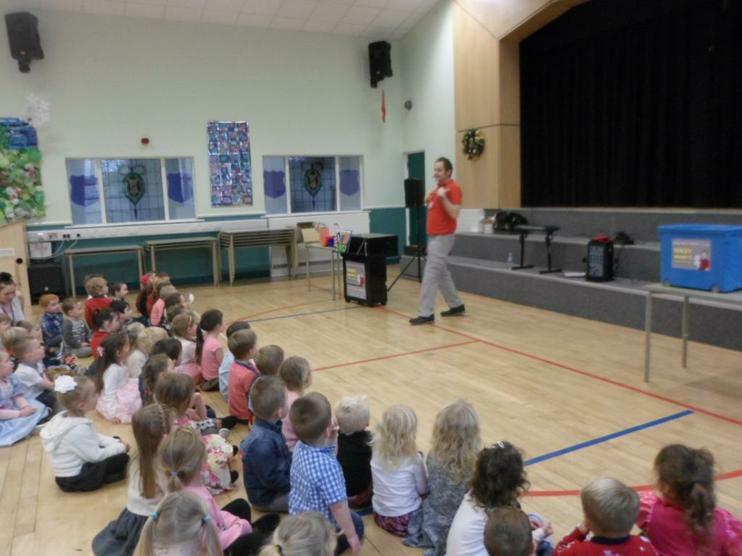 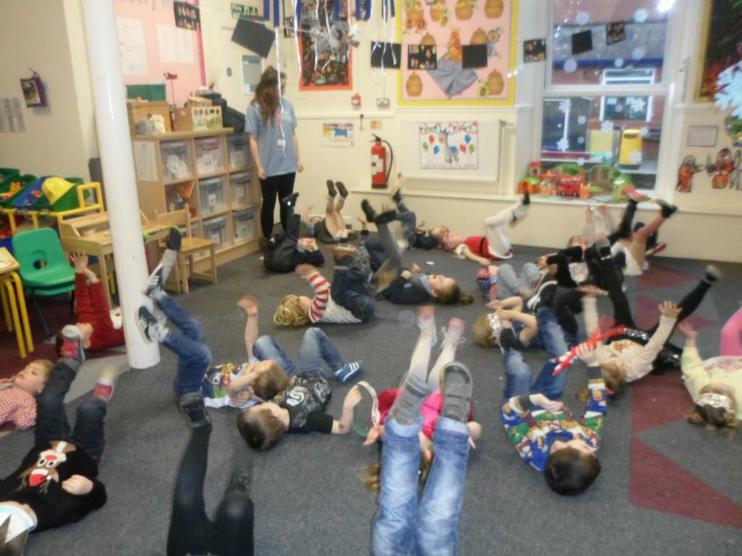 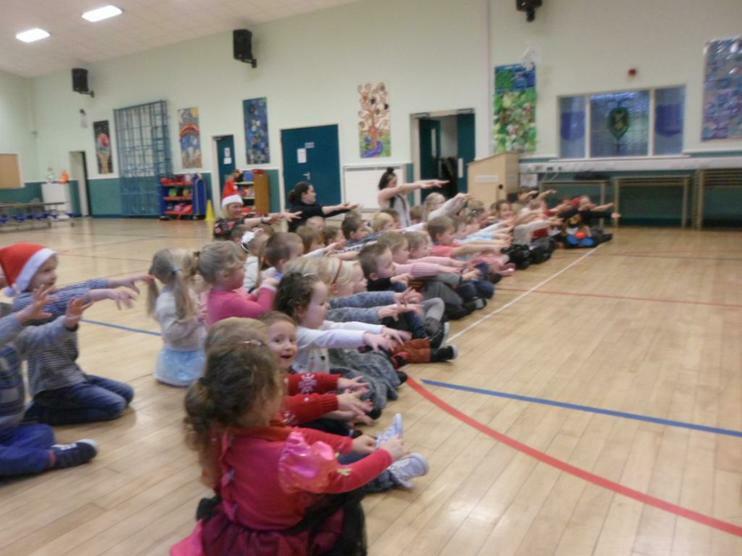 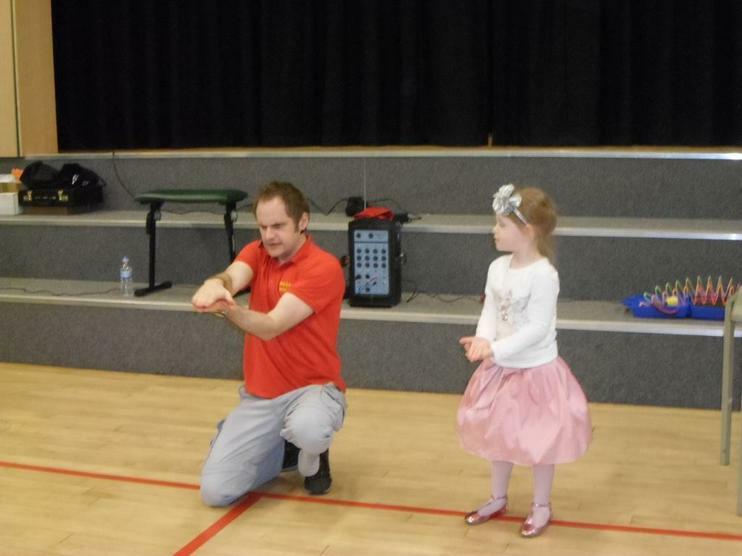 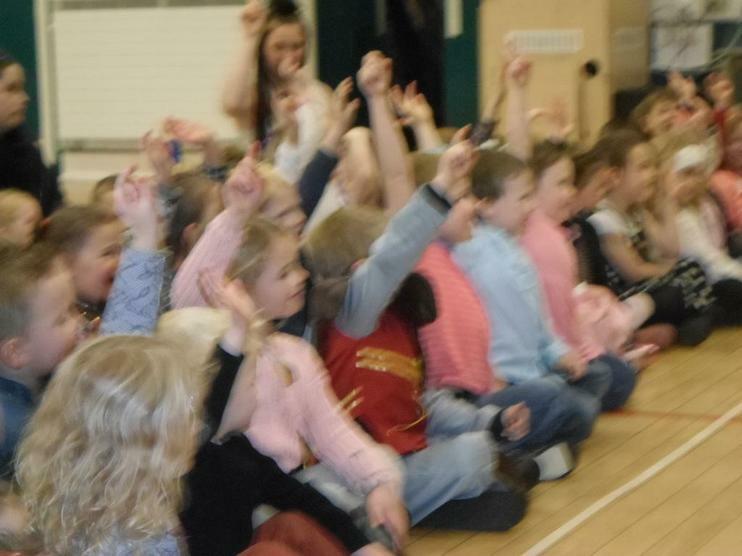 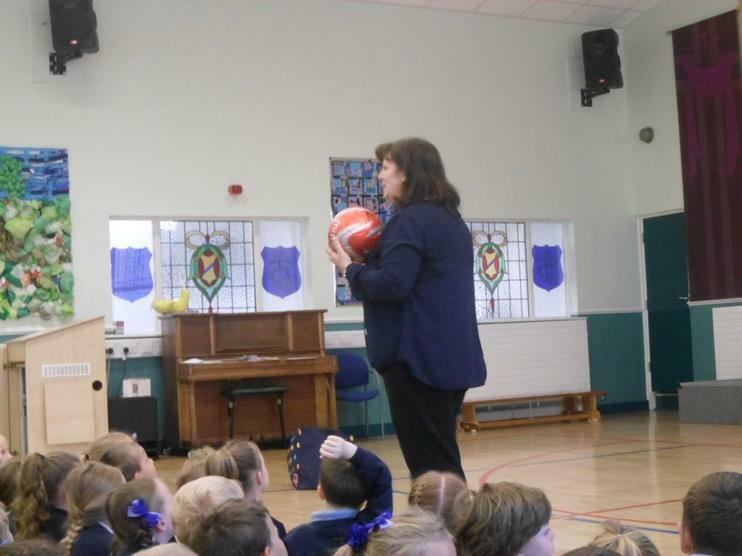 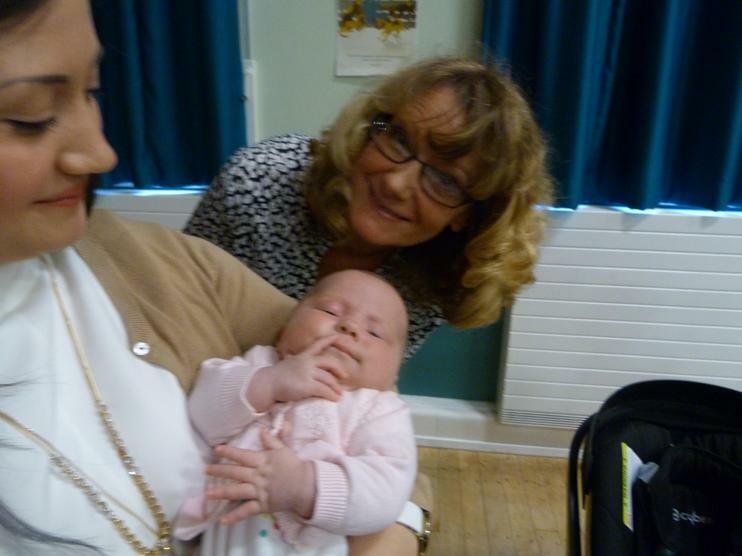 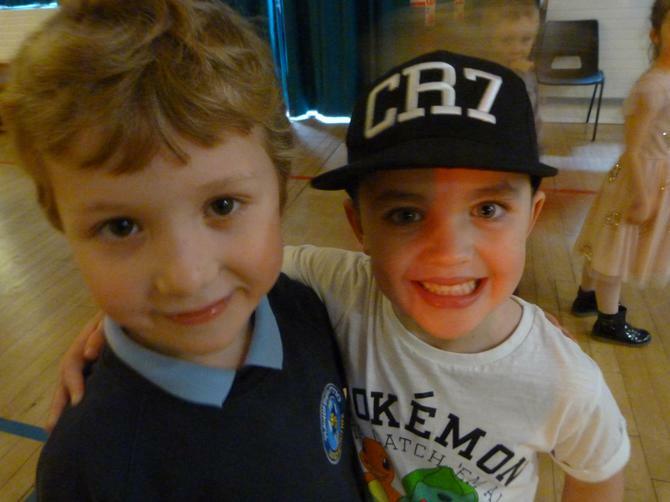 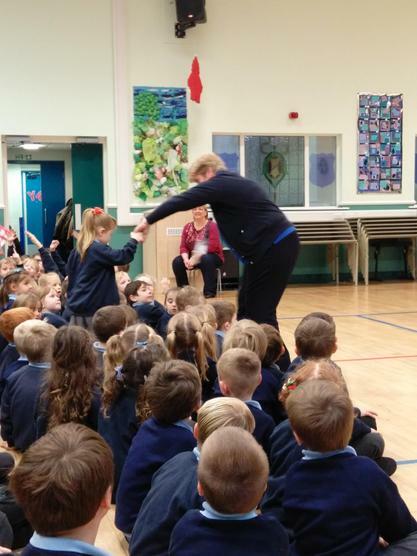 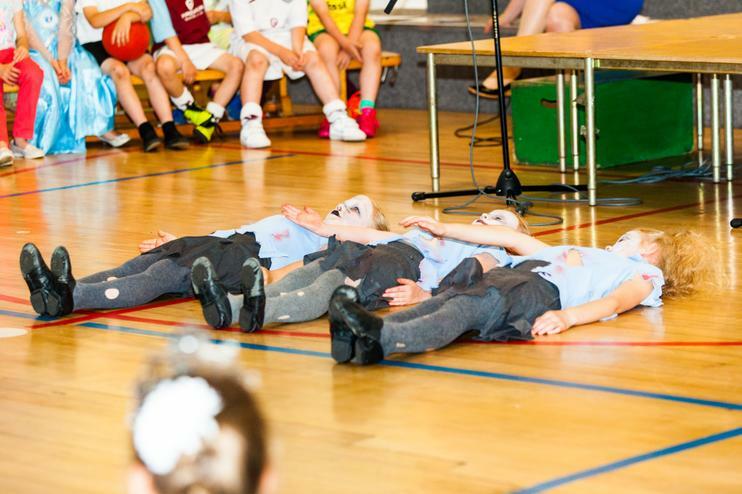 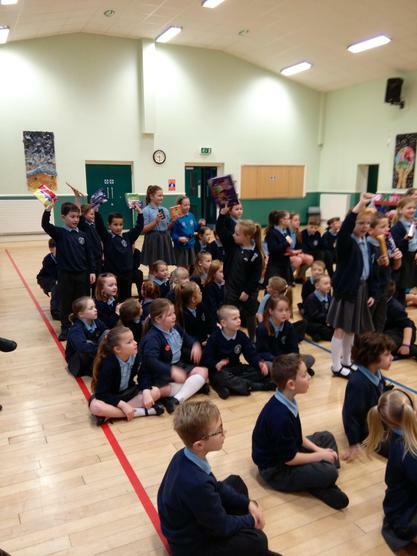 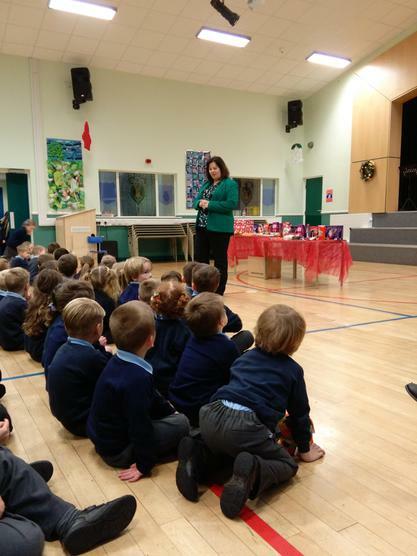 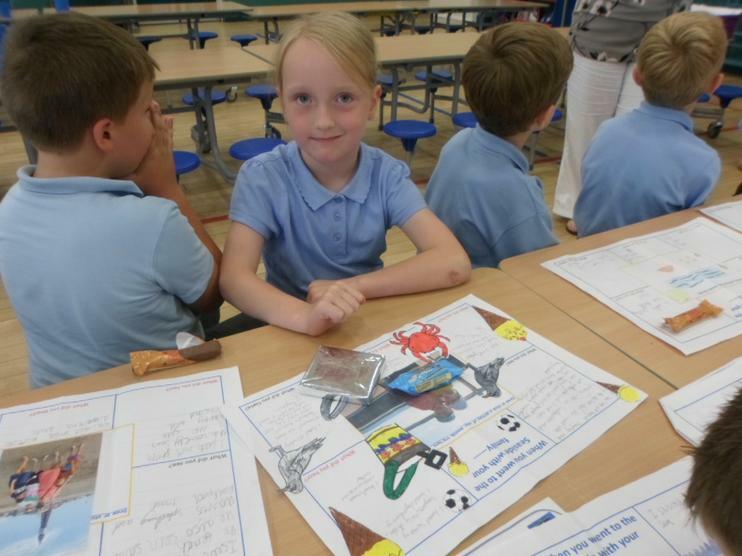 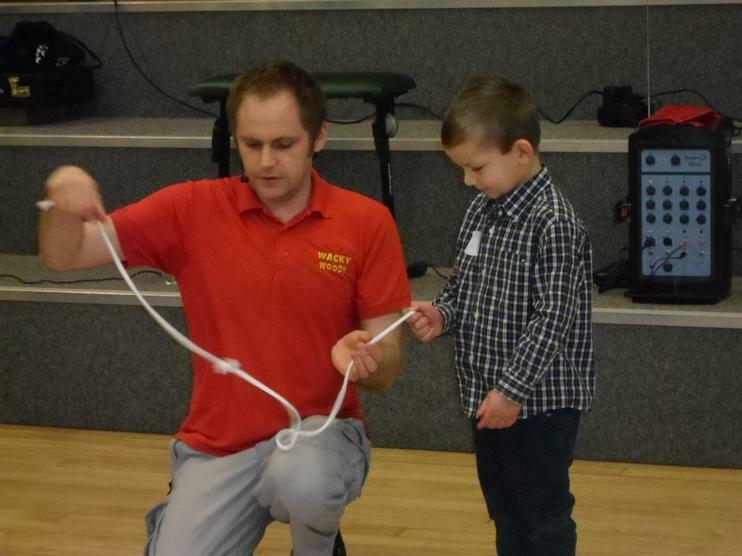 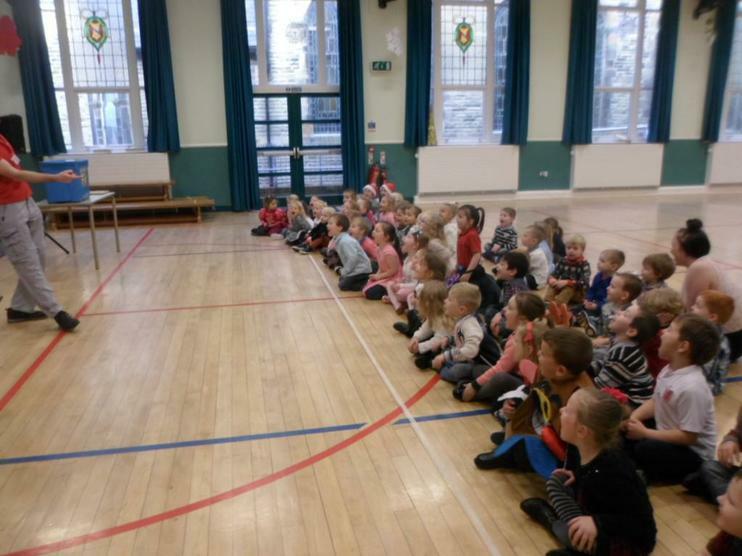 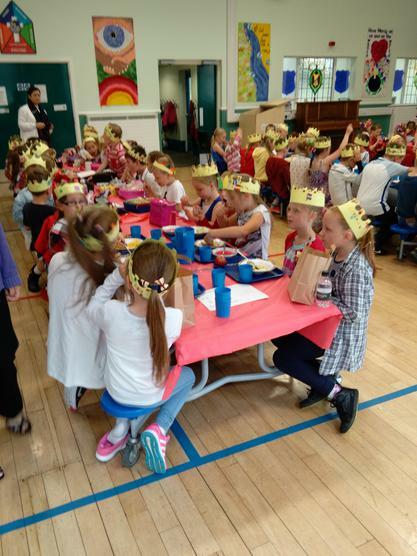 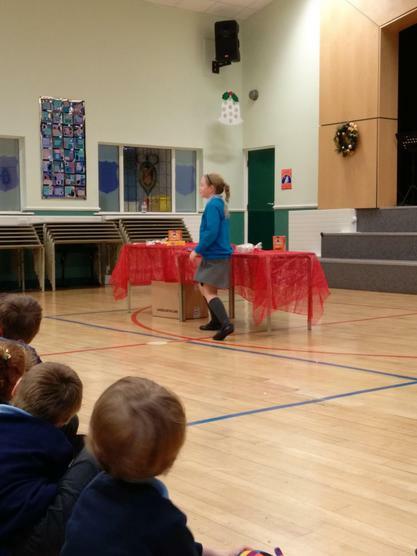 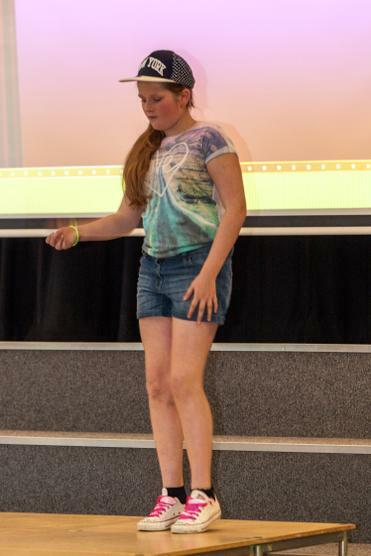 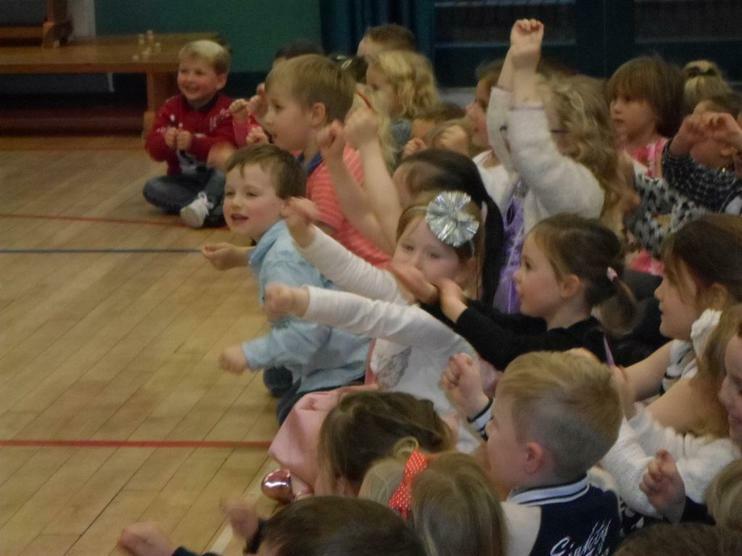 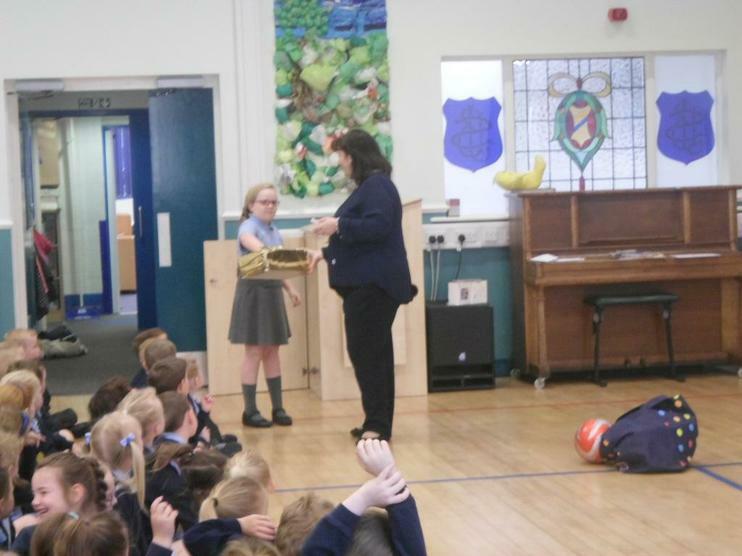 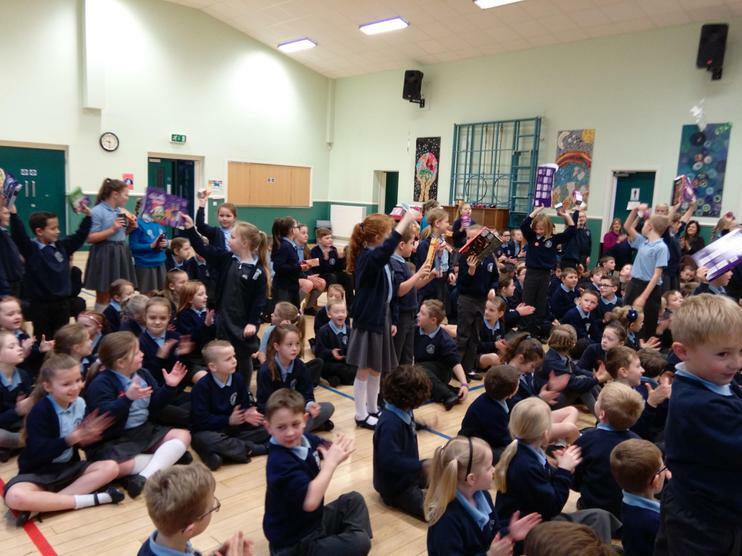 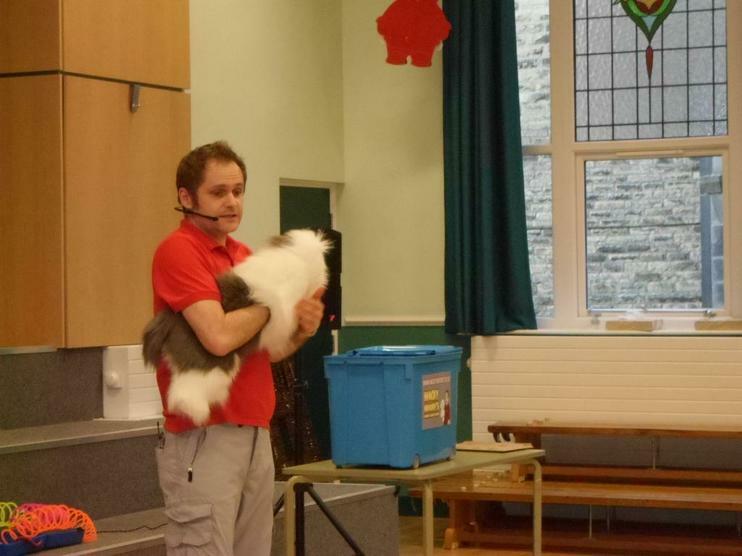 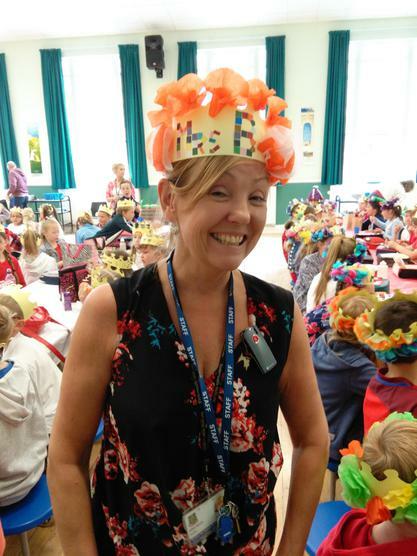 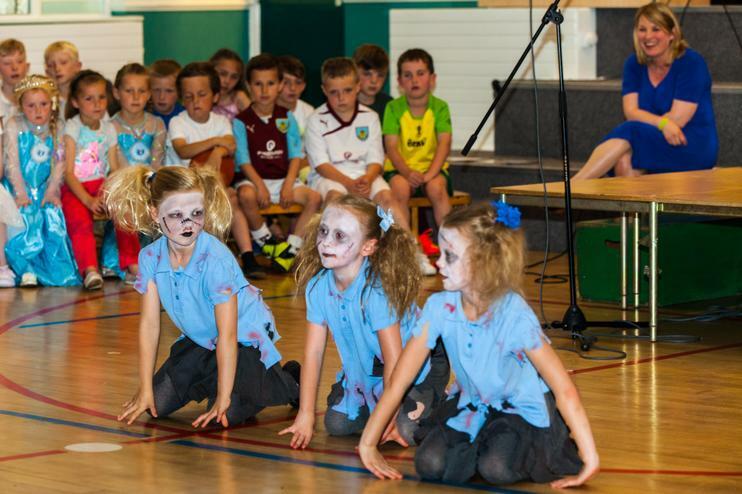 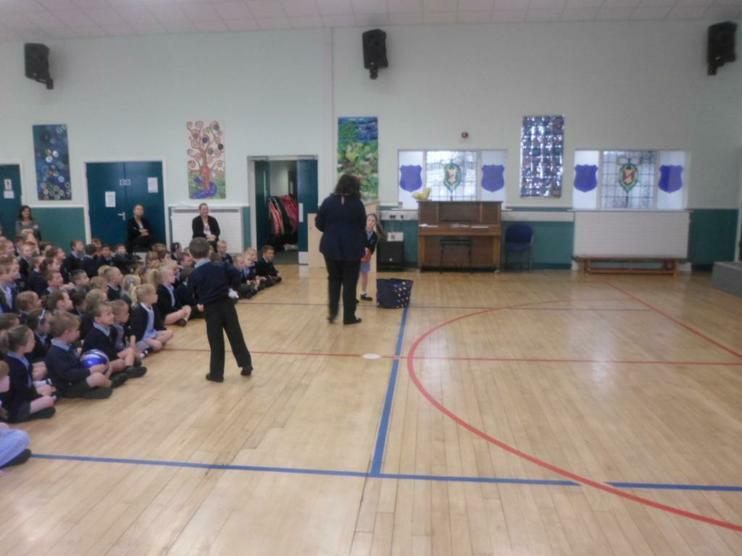 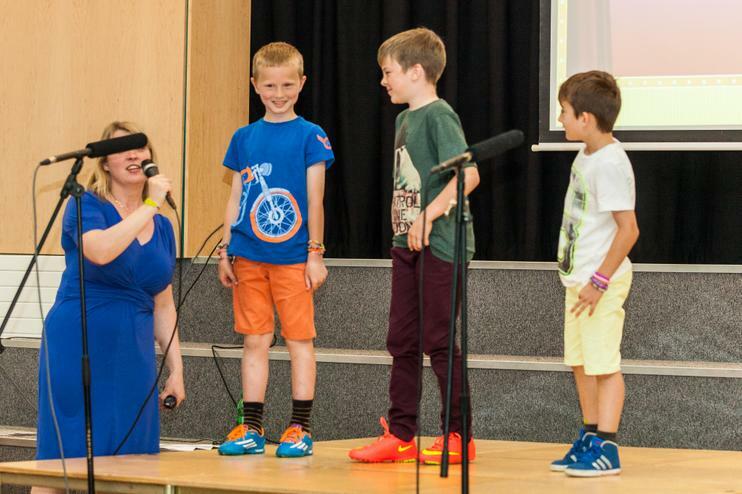 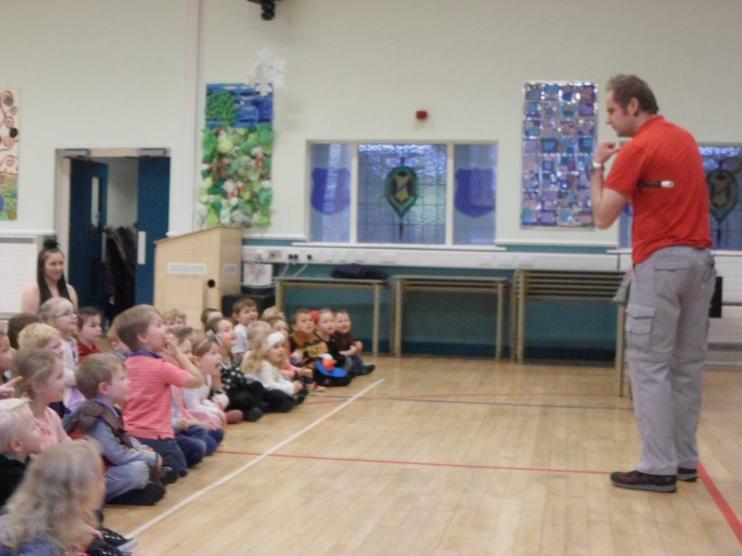 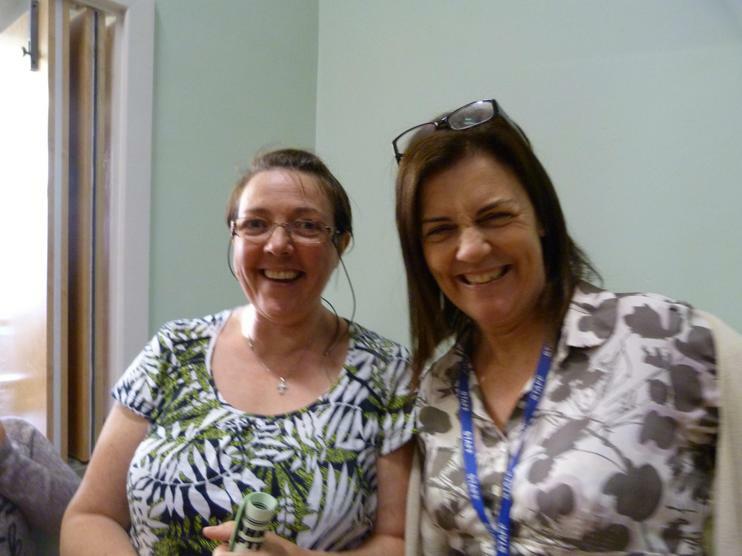 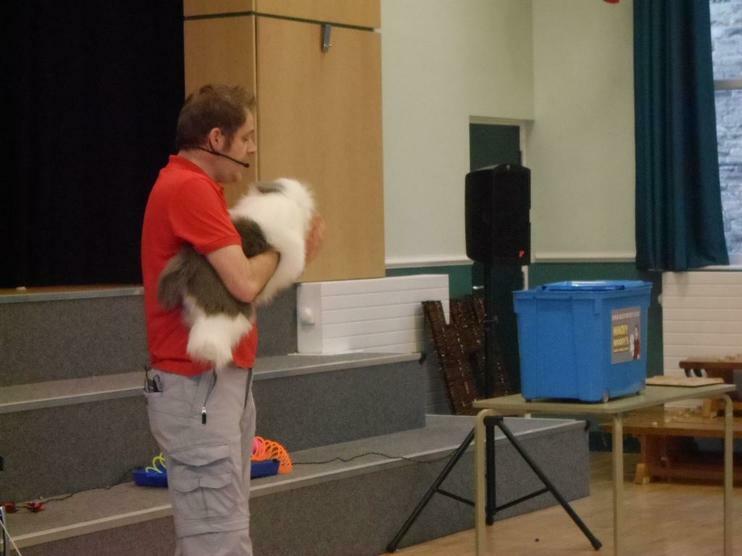 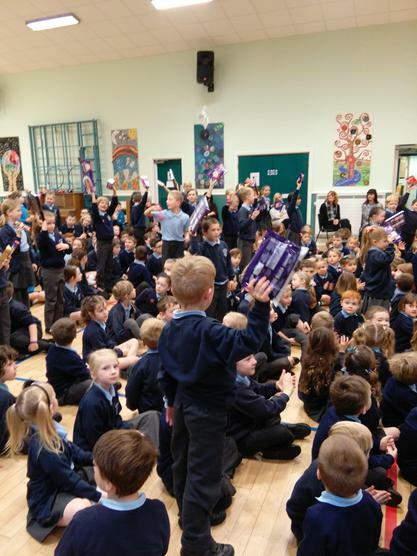 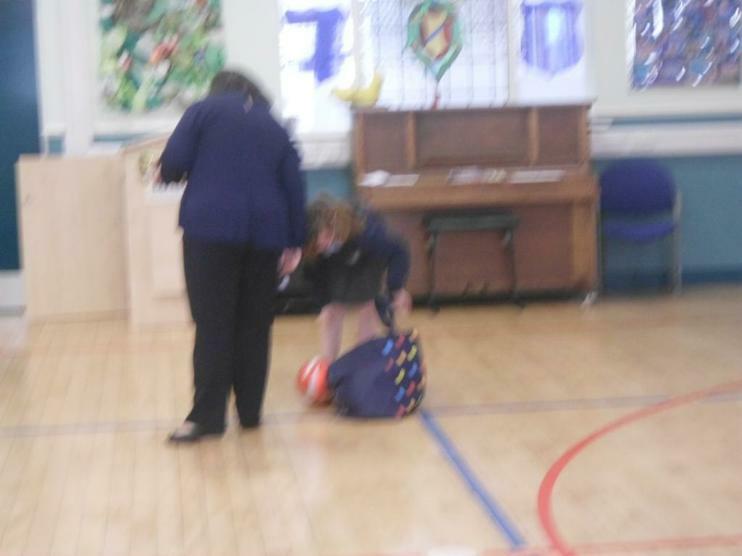 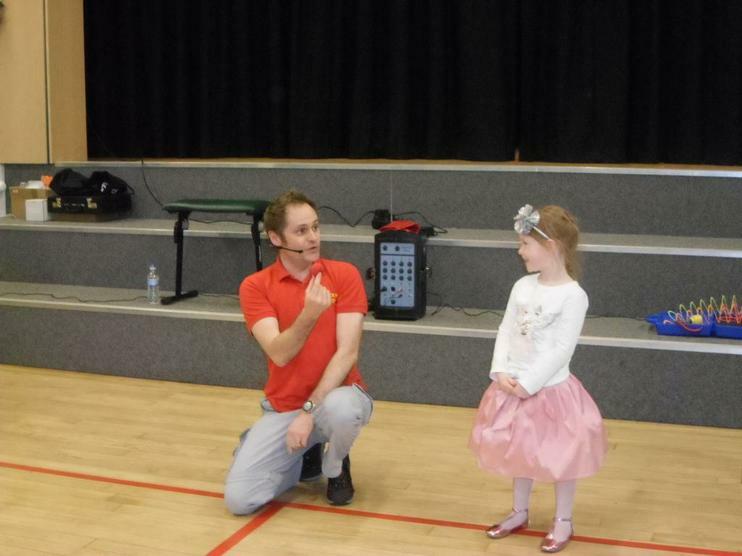 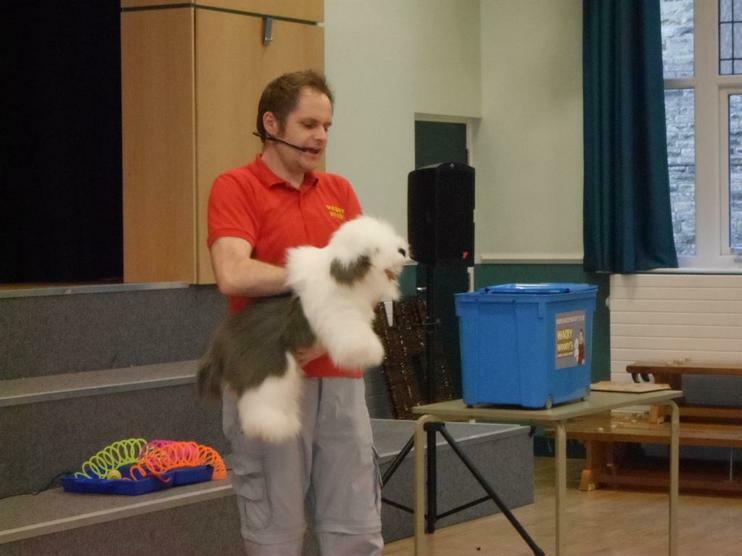 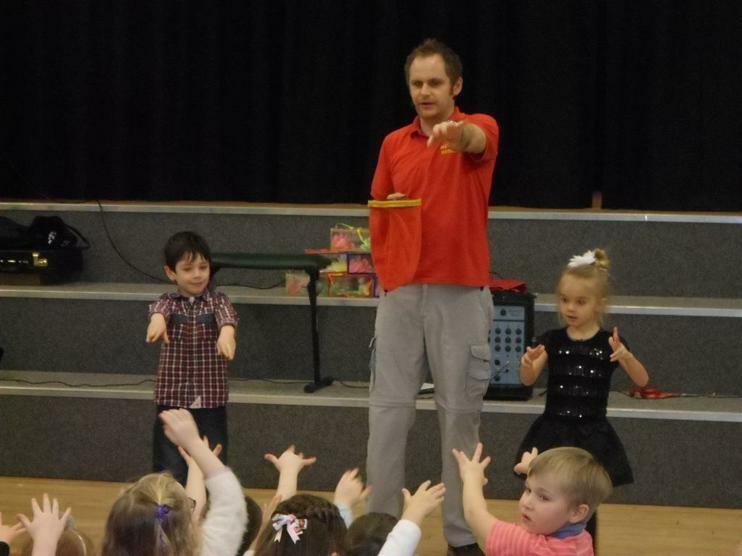 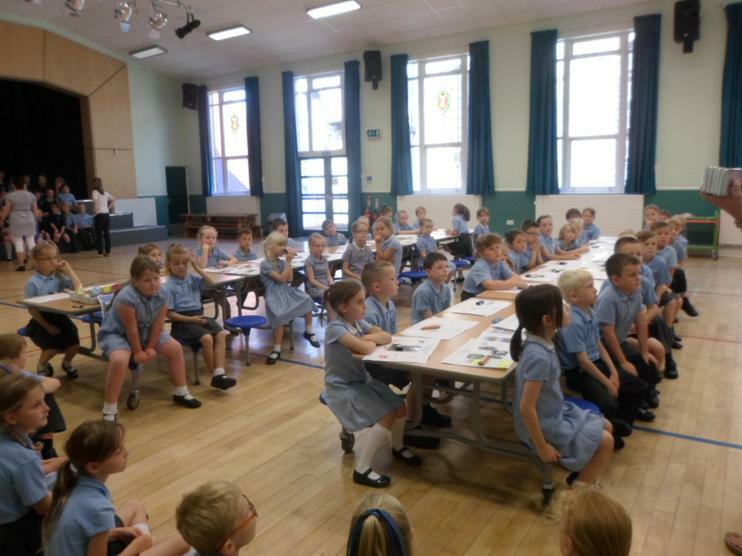 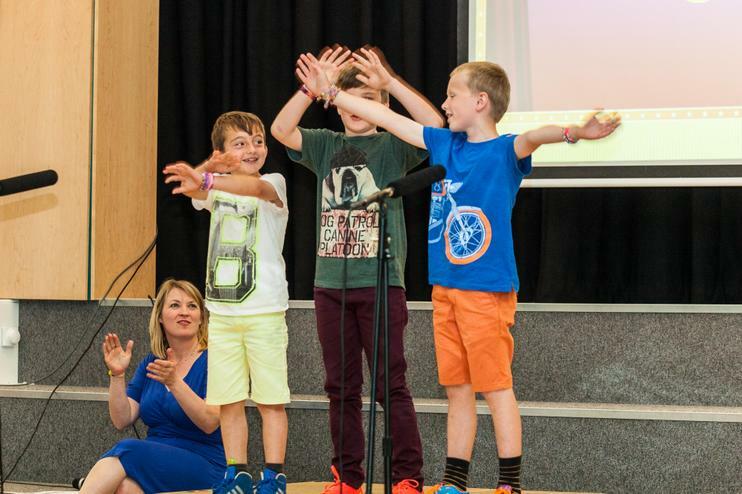 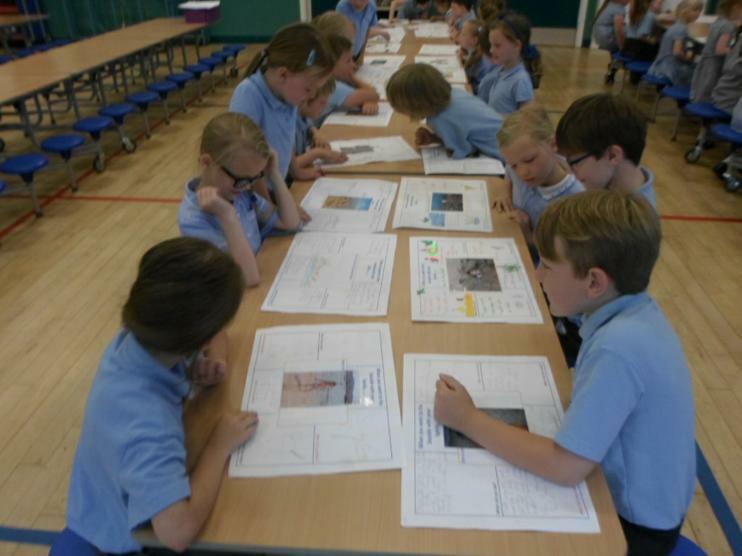 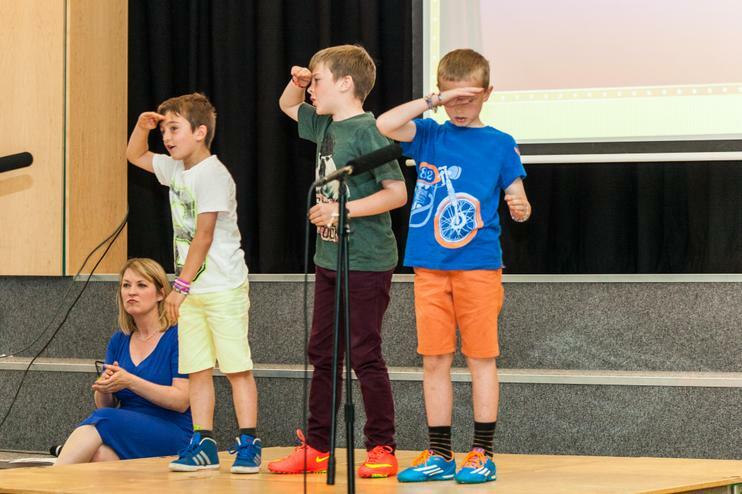 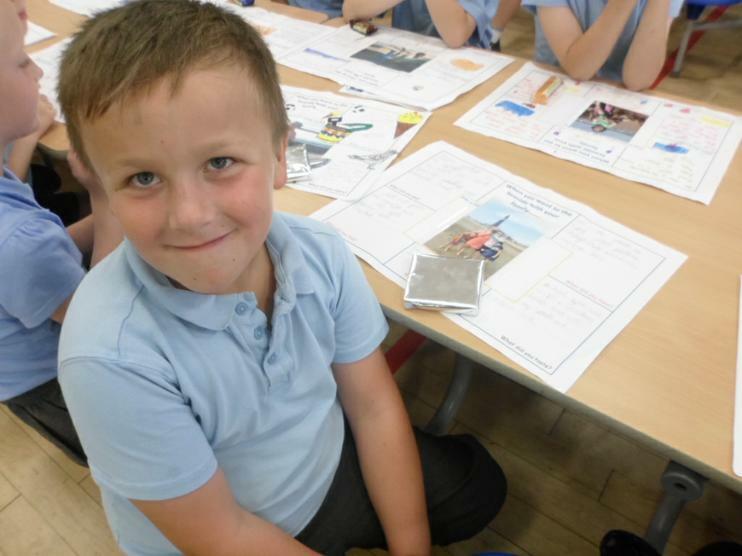 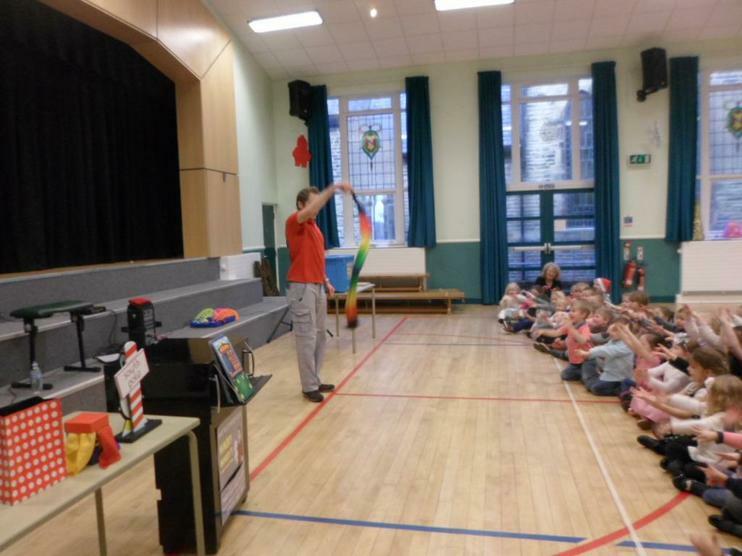 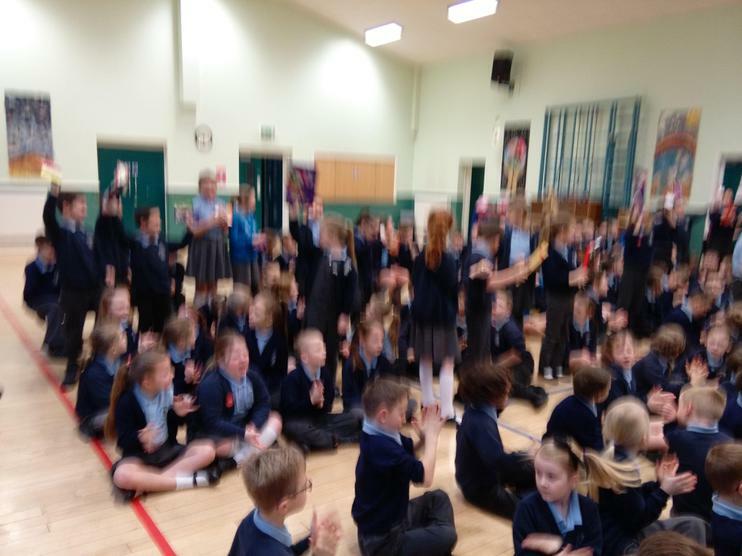 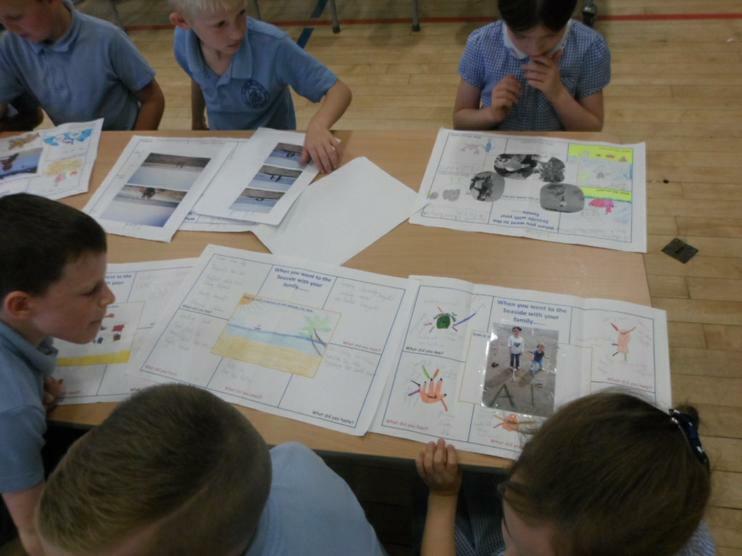 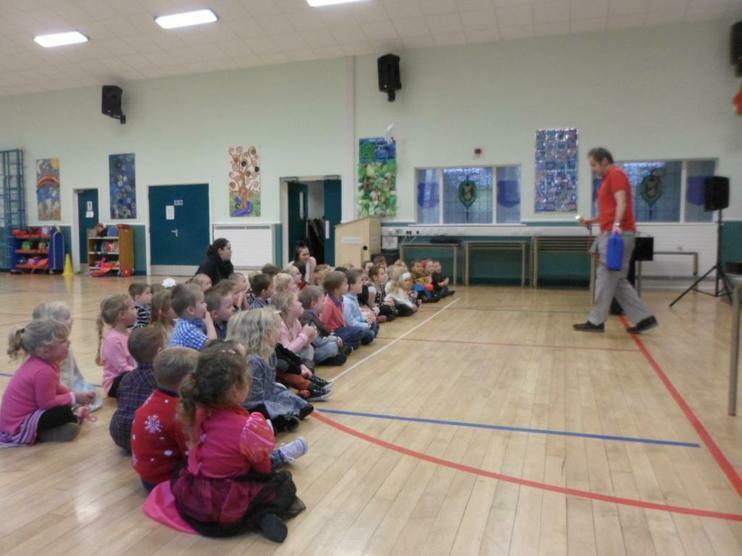 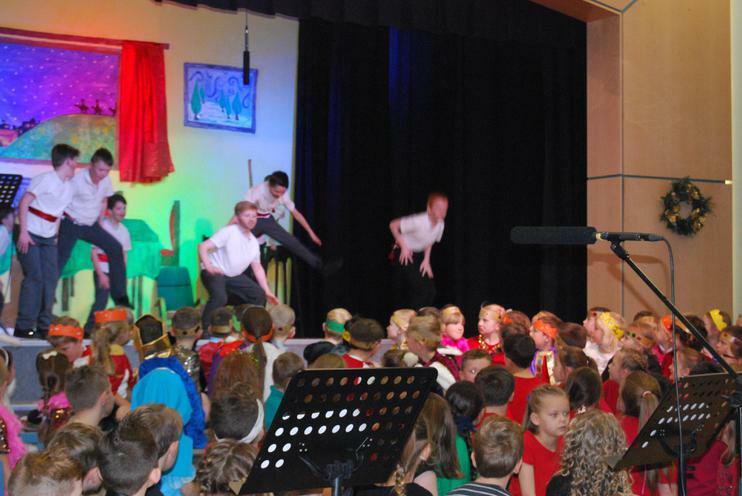 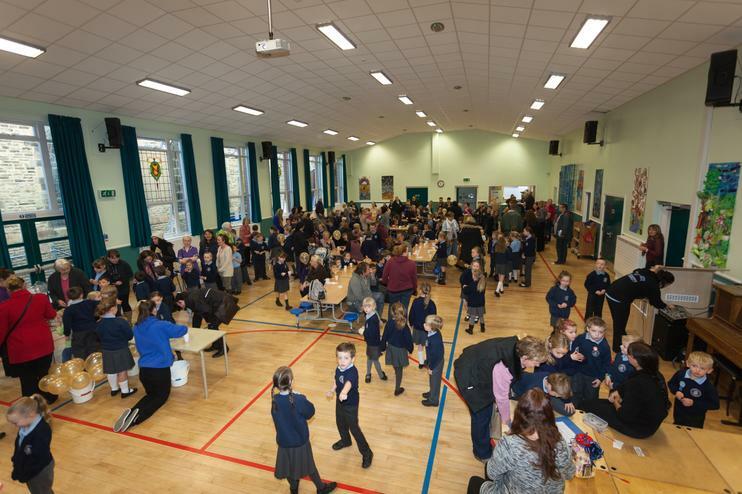 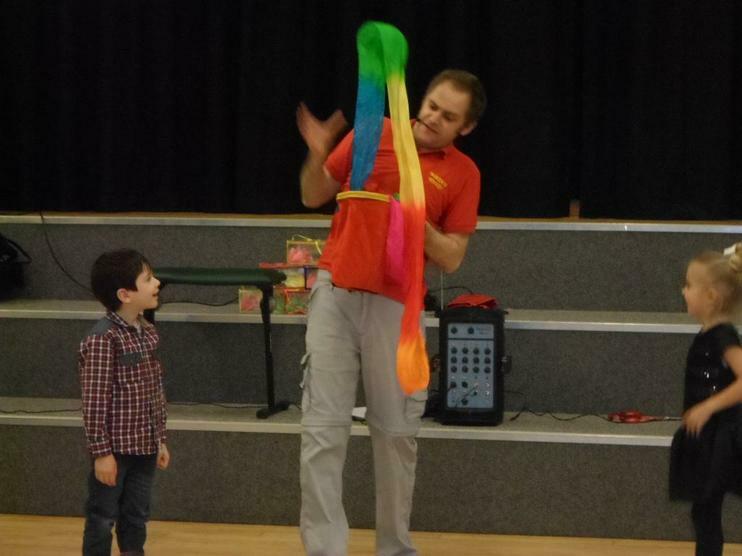 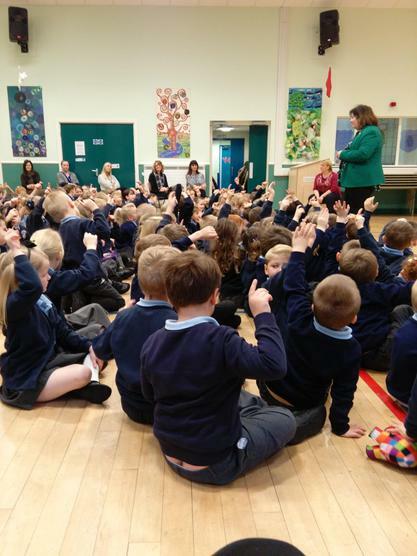 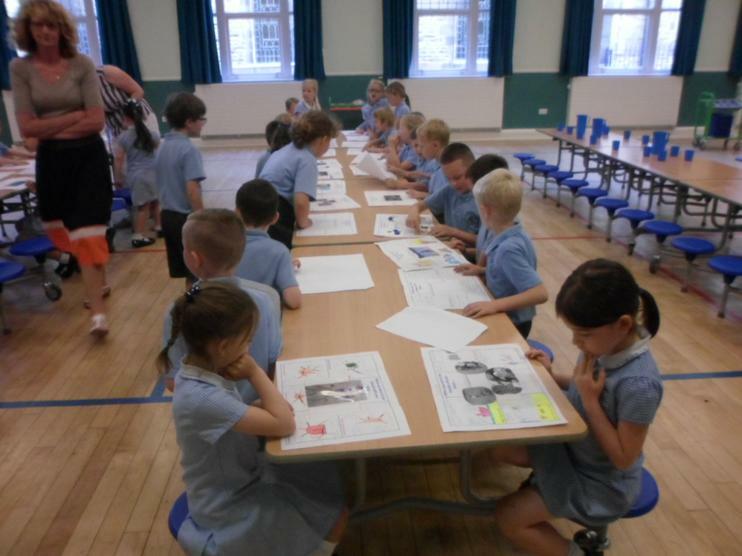 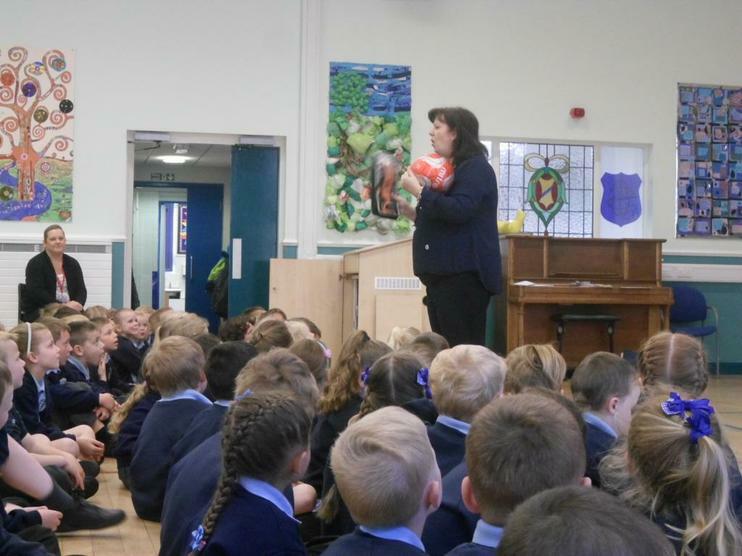 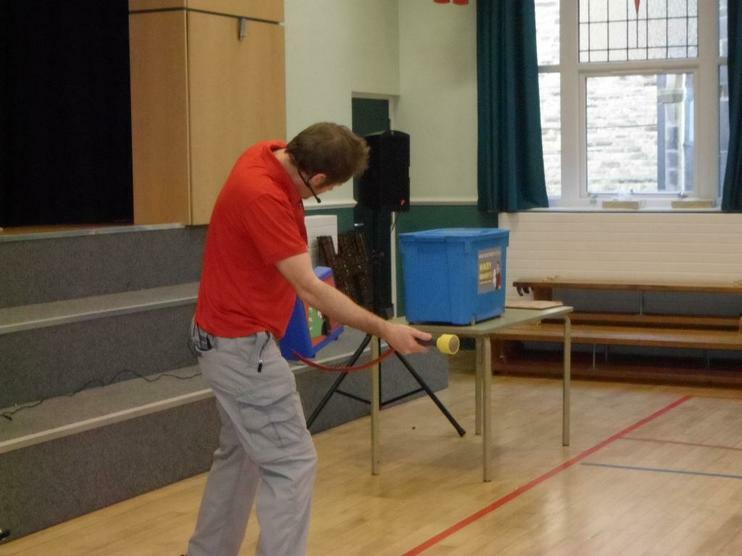 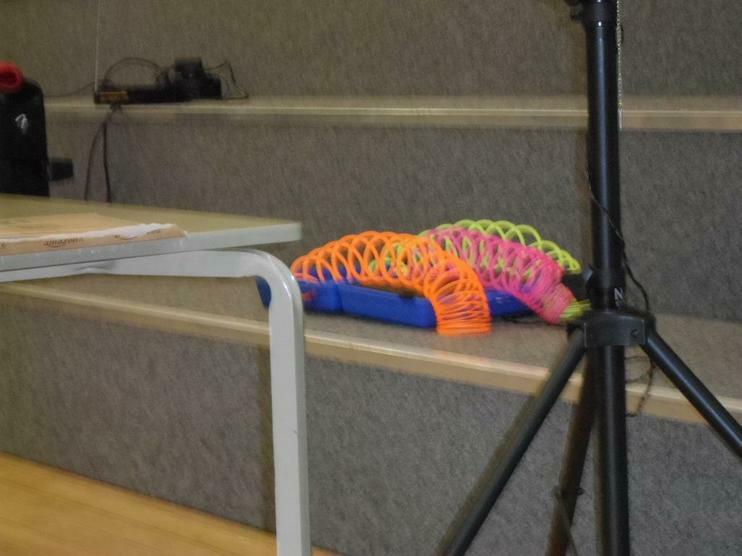 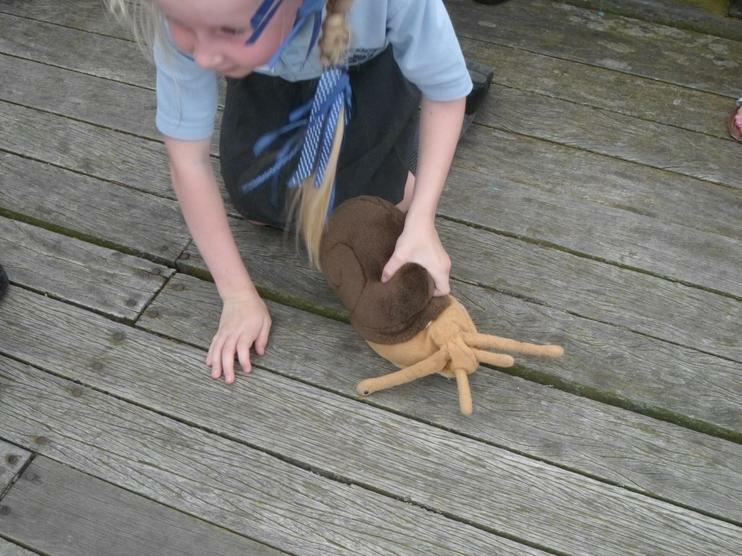 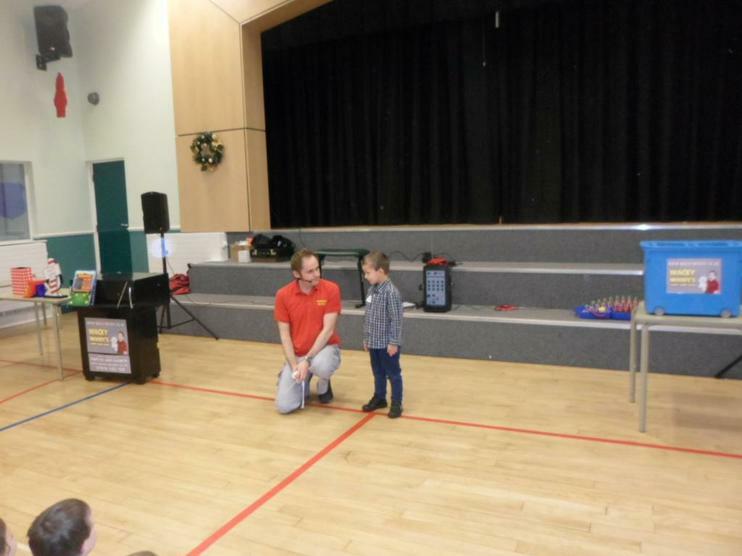 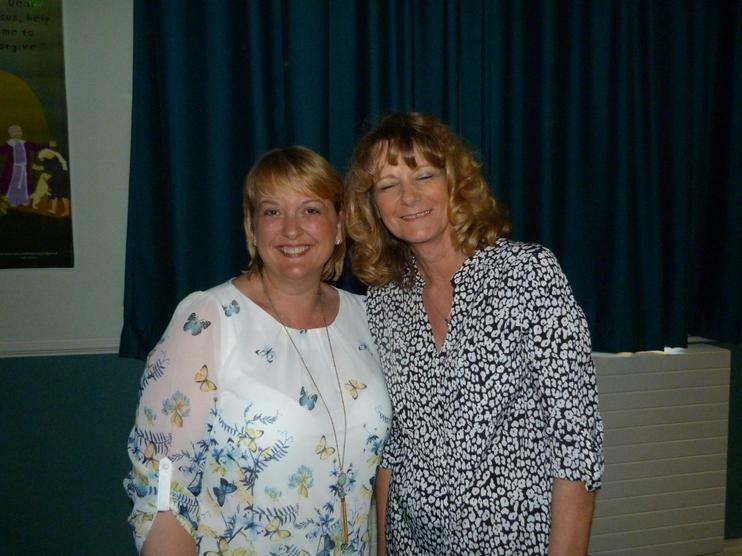 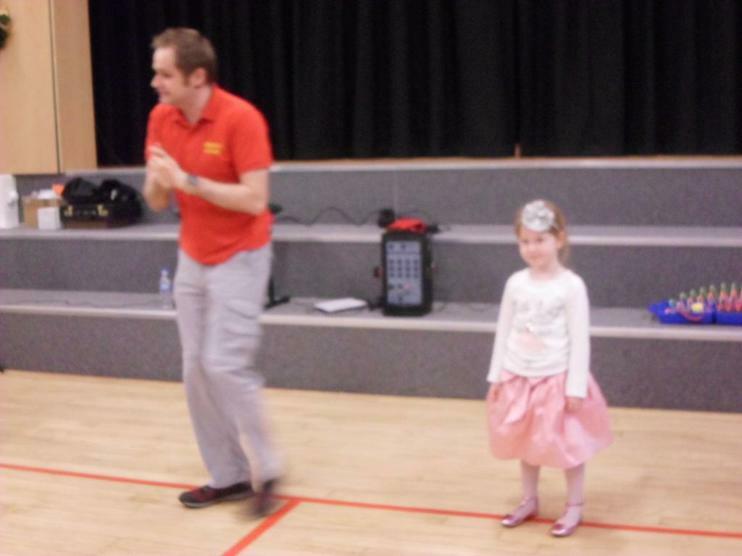 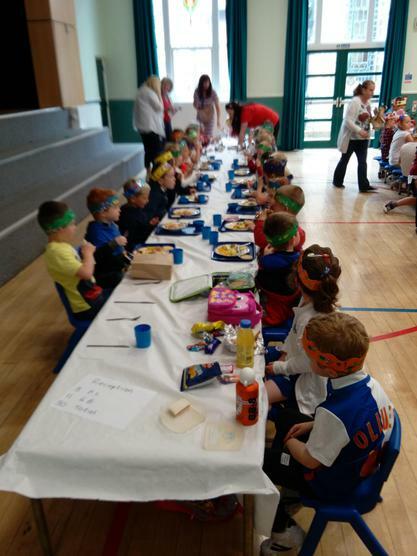 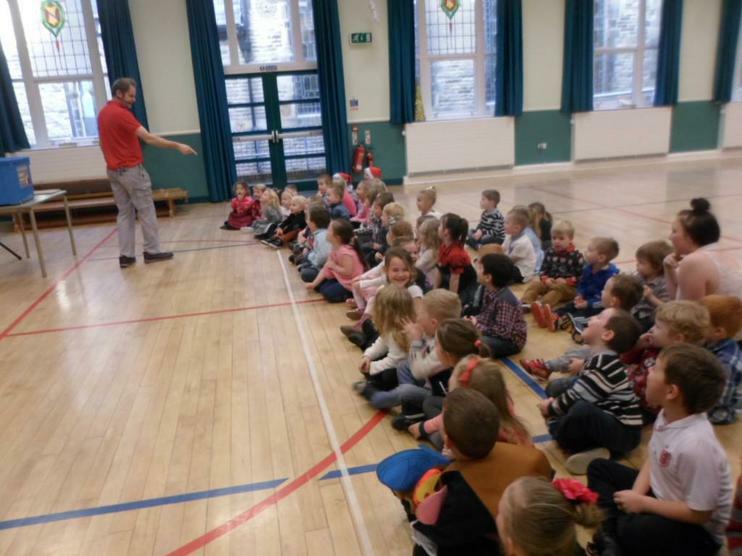 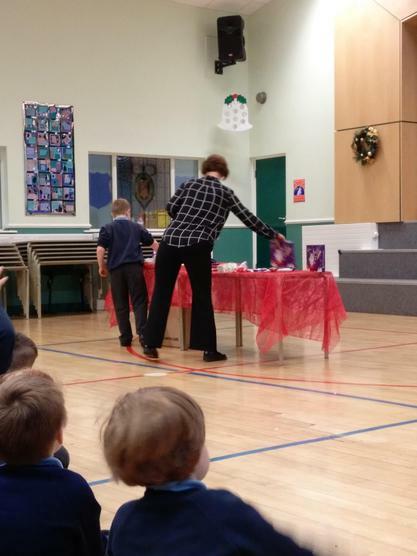 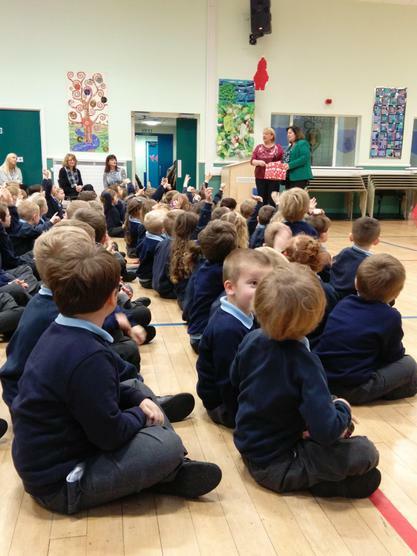 Today, the whole school took part in a Super Learning Day organised by Mrs. Jones. 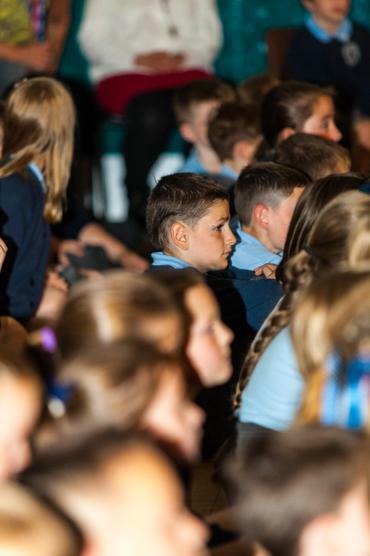 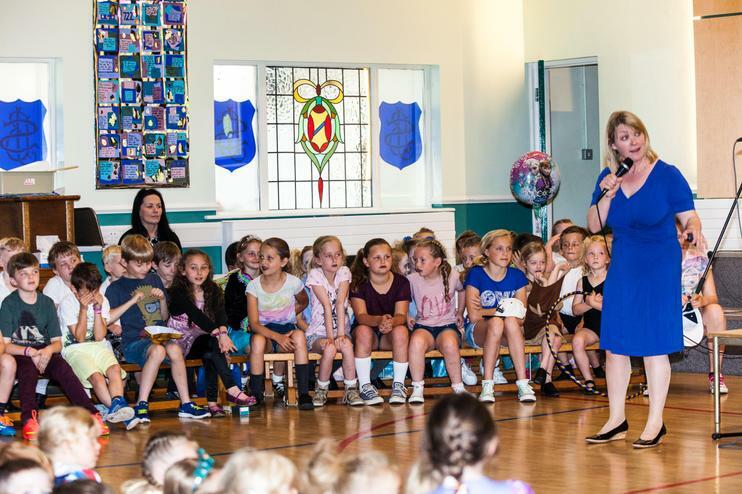 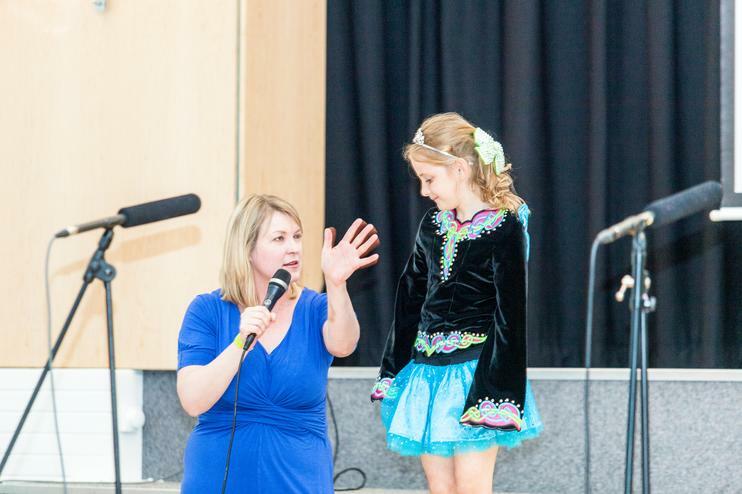 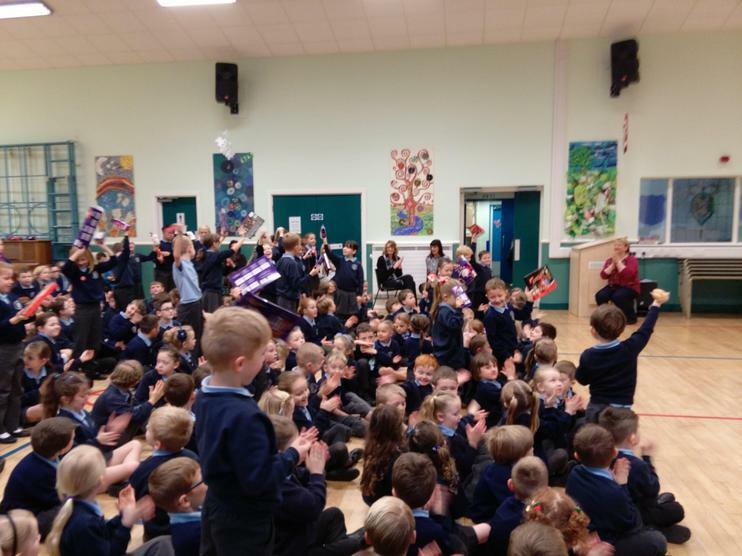 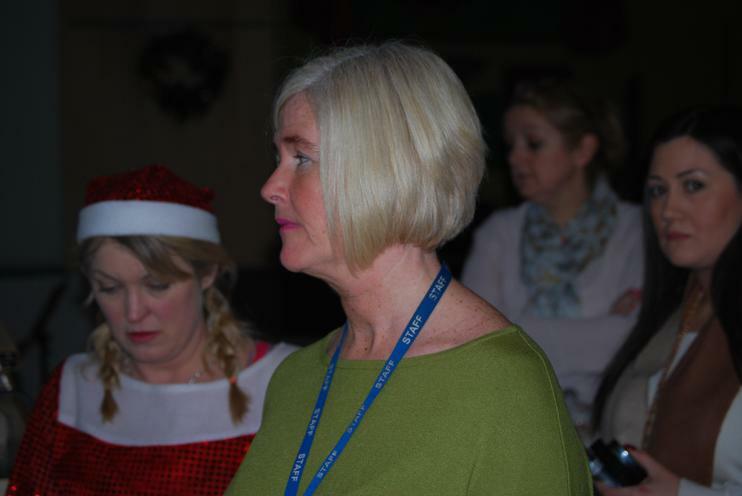 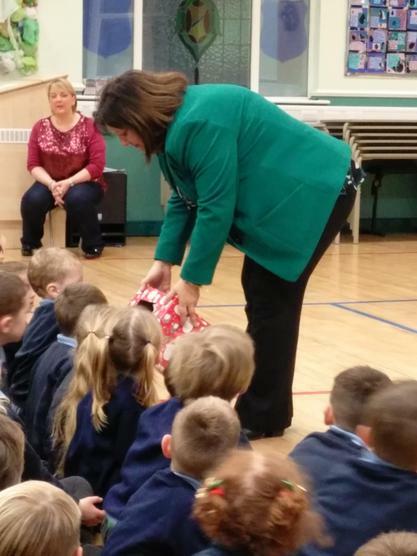 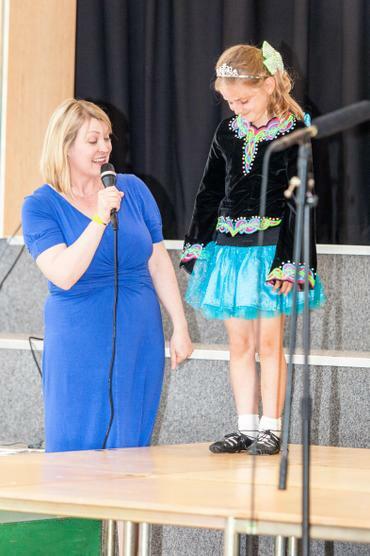 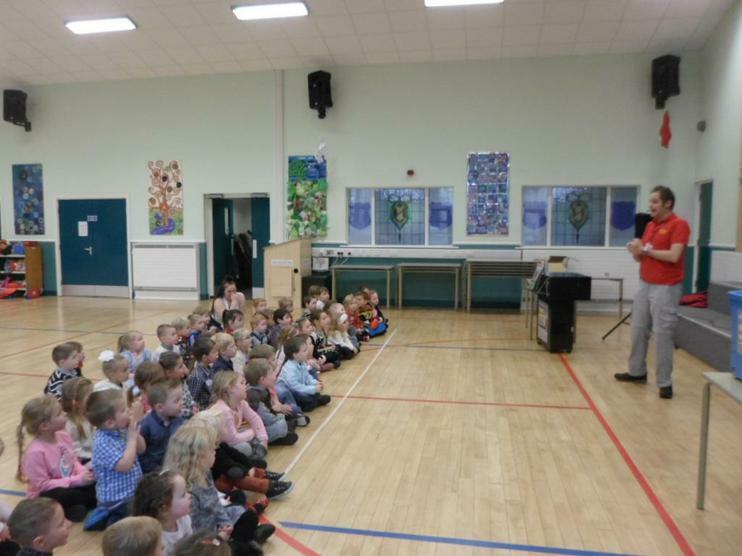 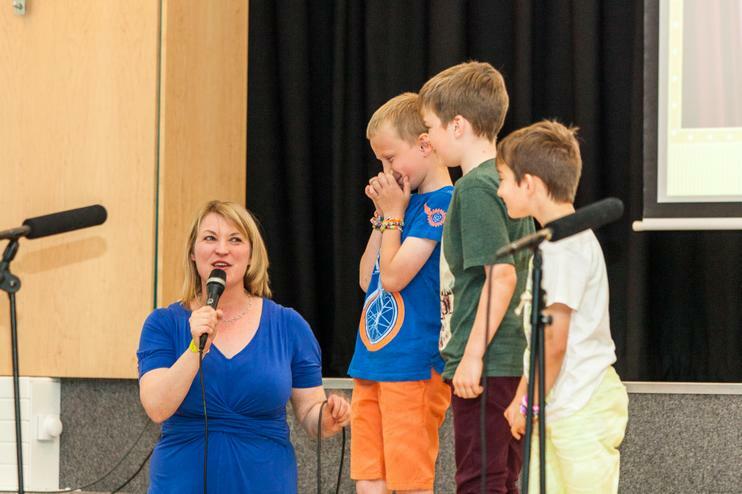 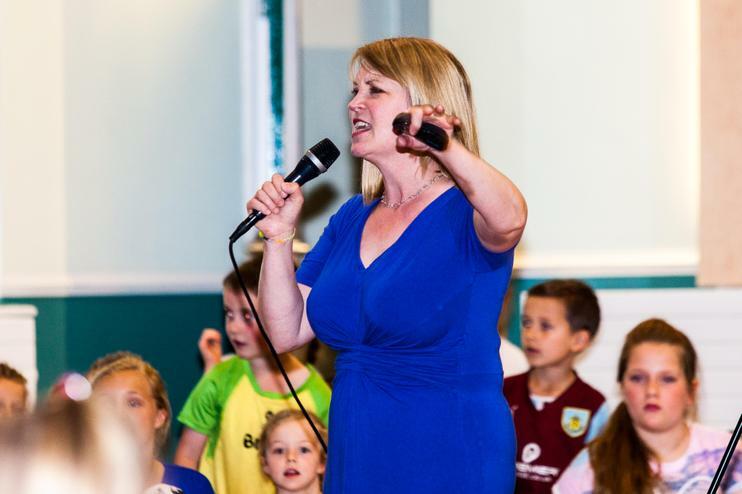 The focus was MUSIC and the day begin with a whole school assembly where the children were treated to some live music played by Mrs McKeating on the guitar and Mrs Jones on the violin. 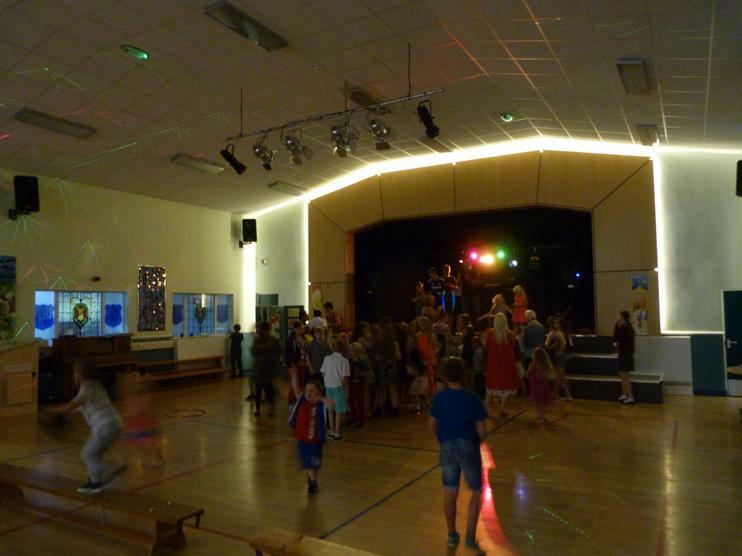 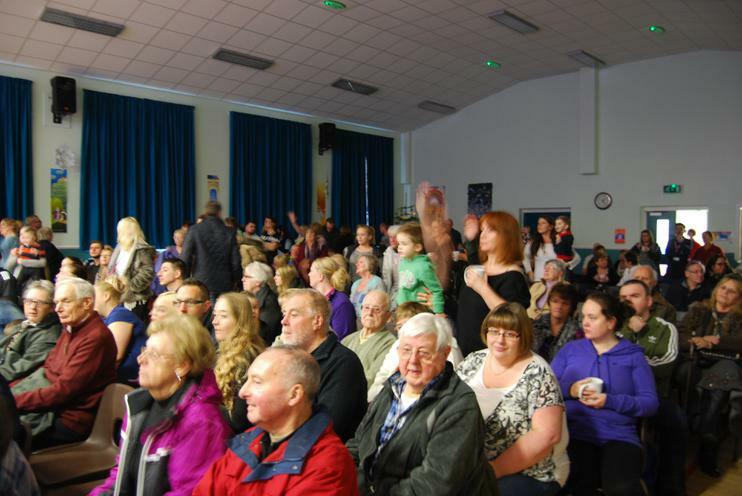 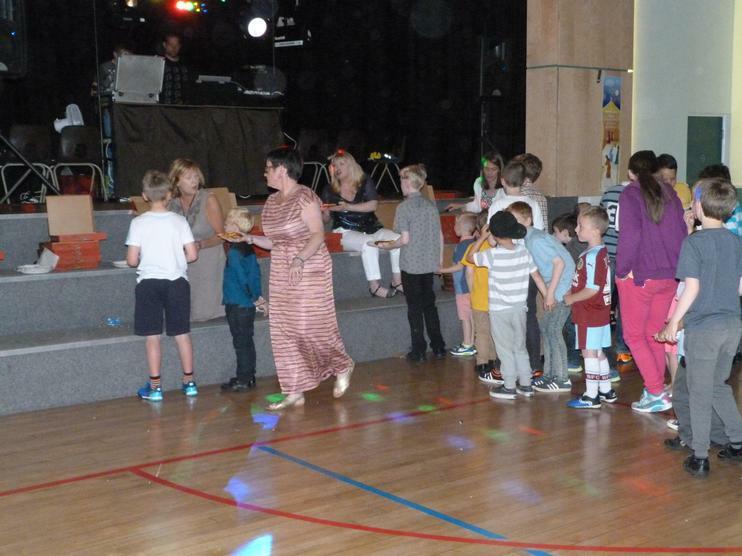 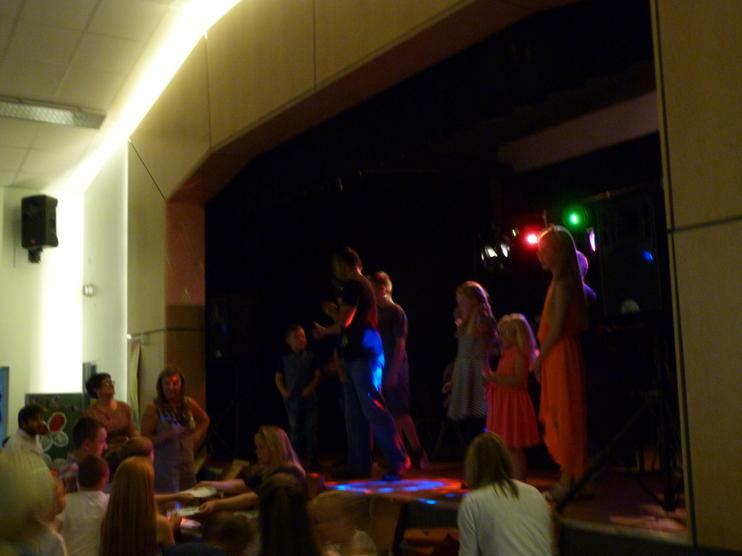 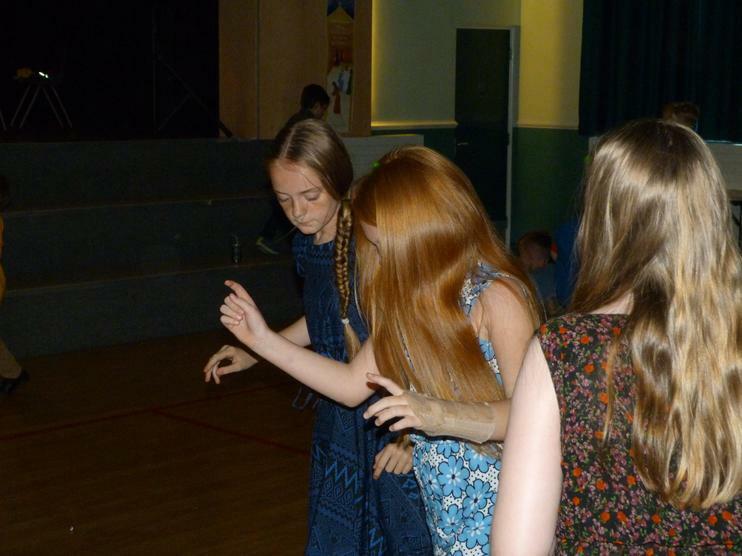 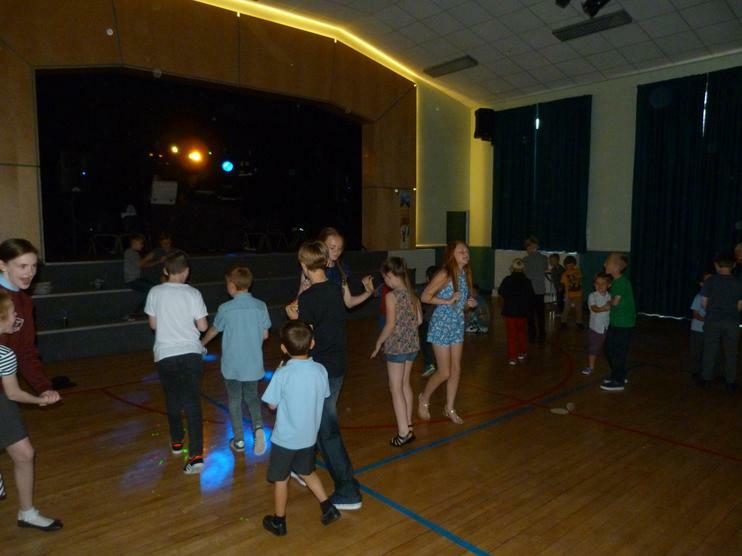 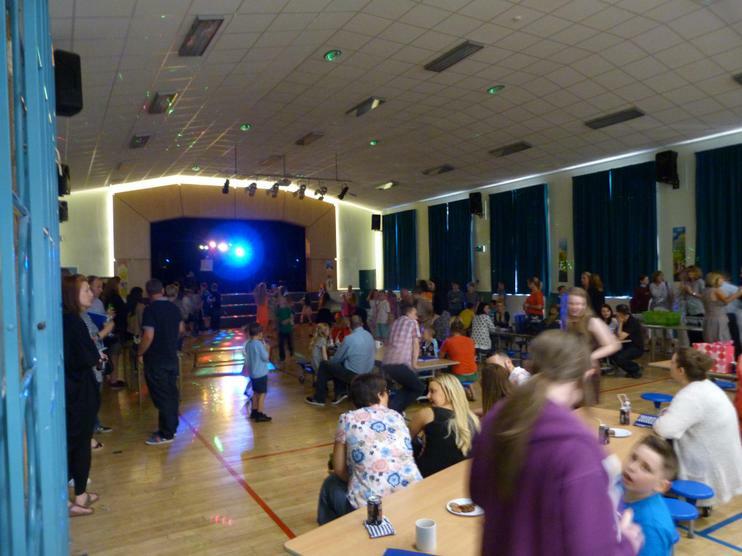 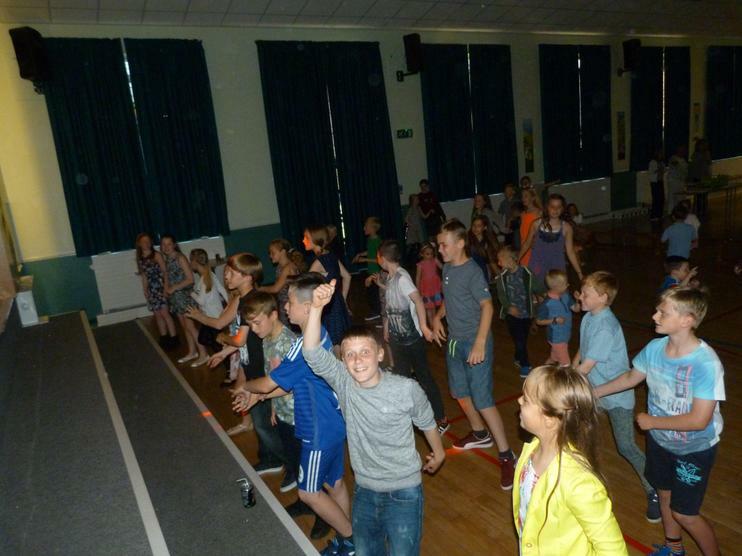 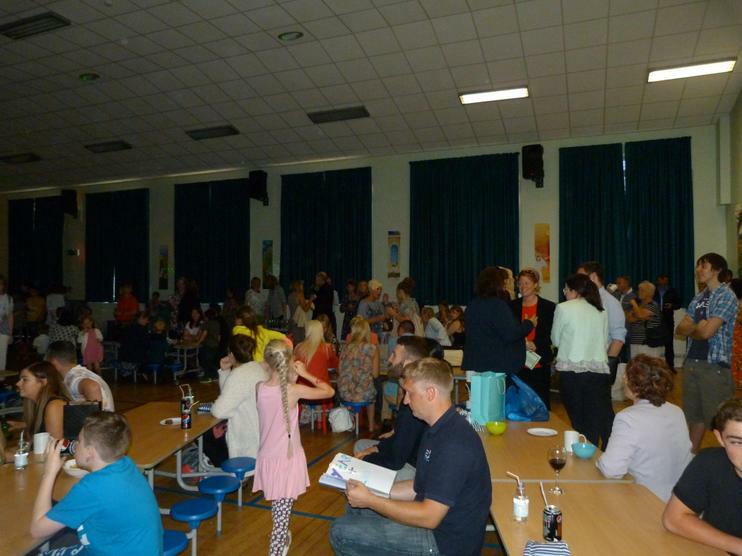 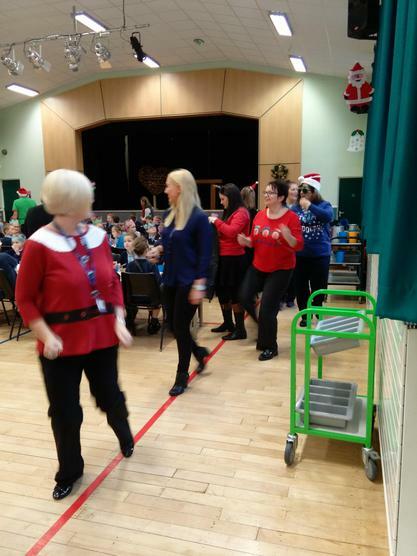 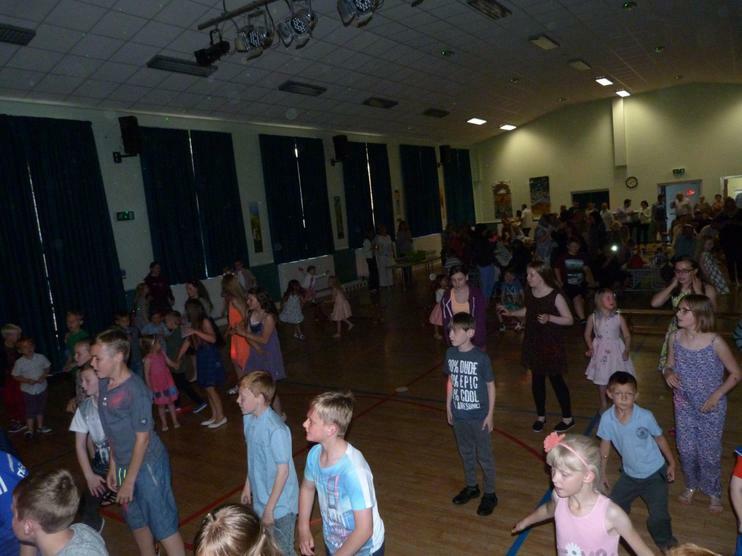 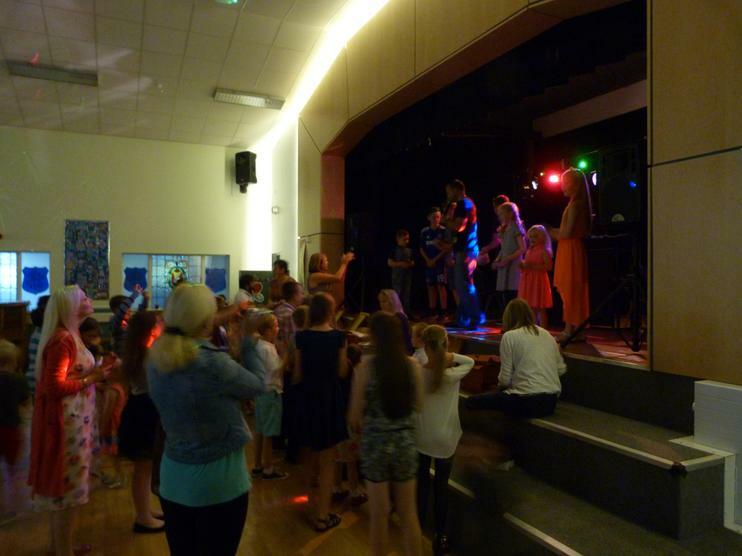 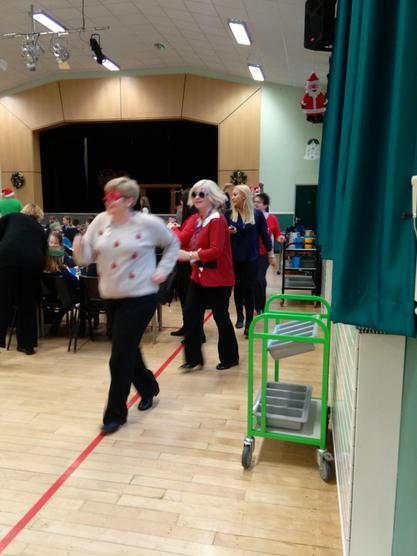 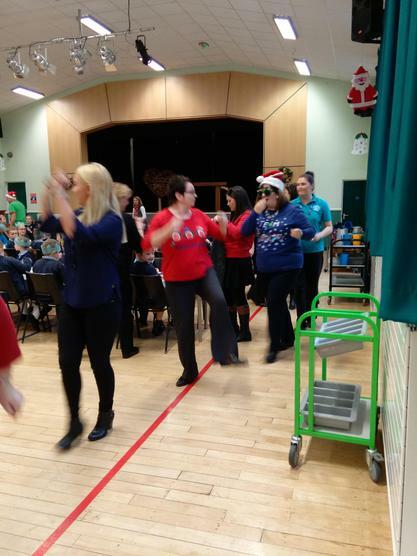 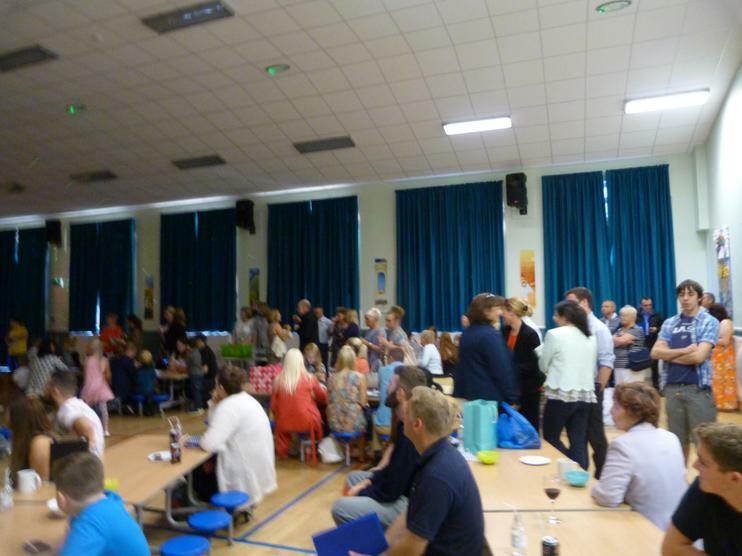 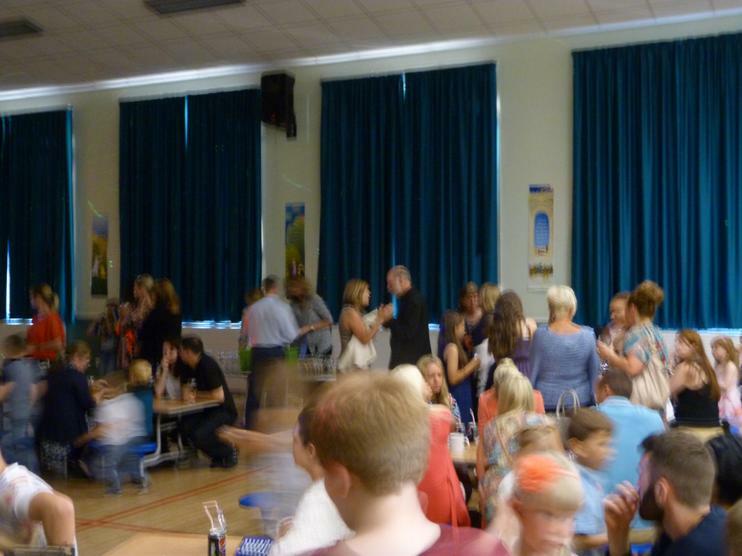 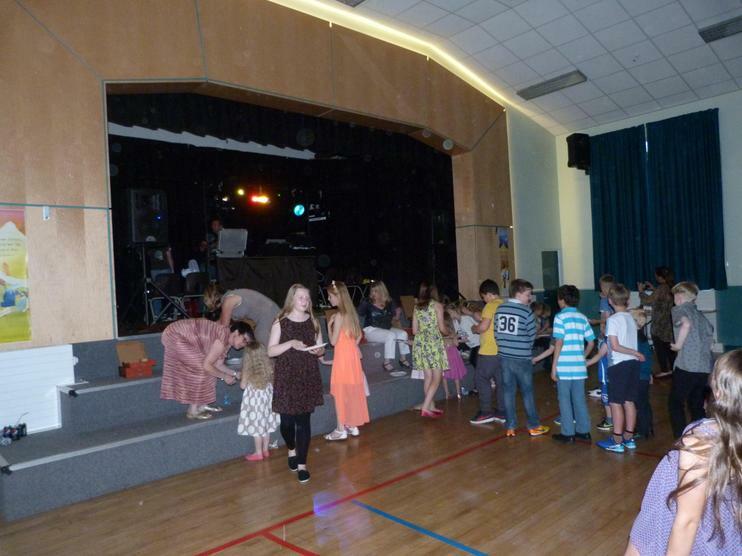 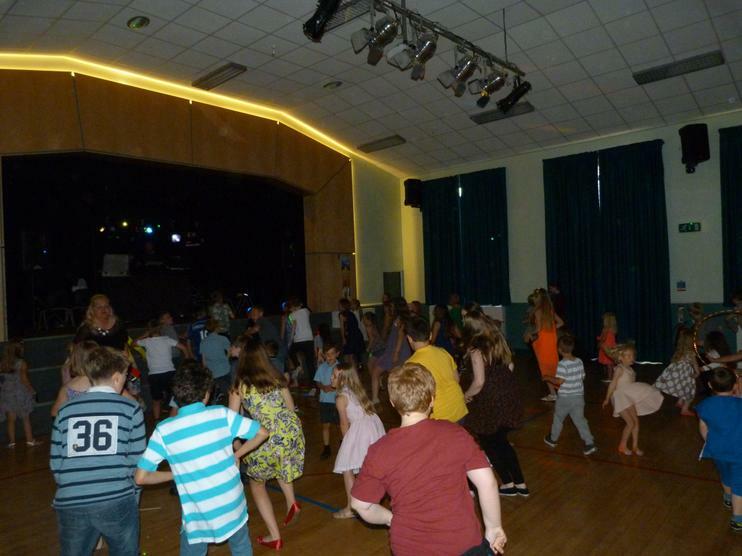 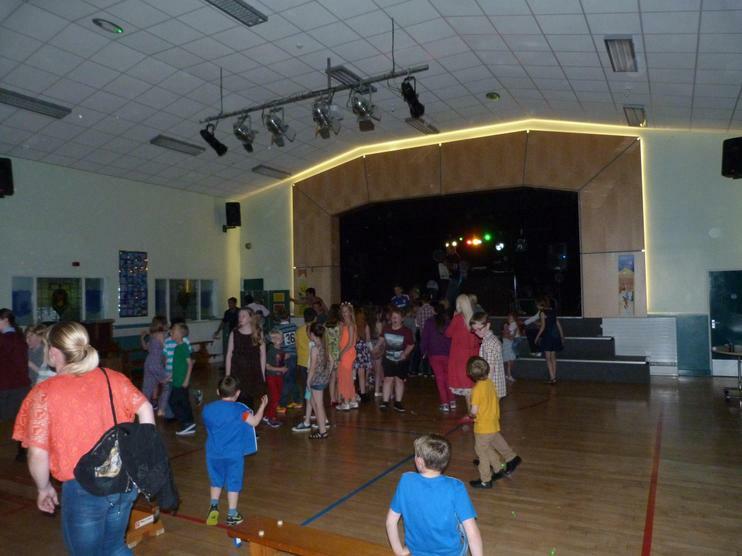 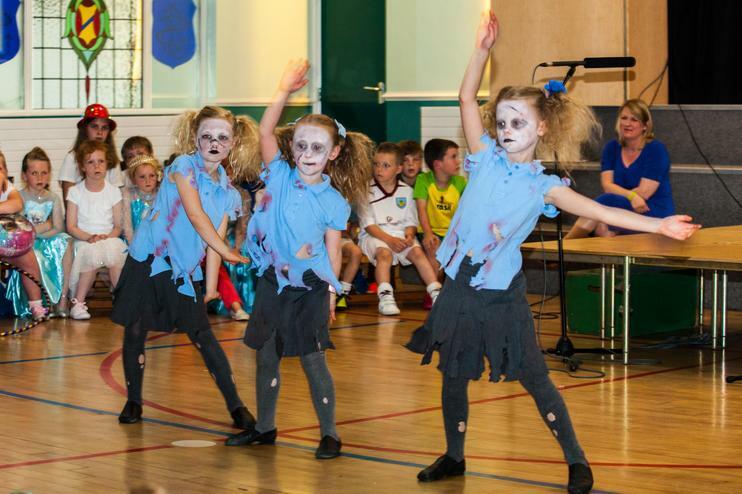 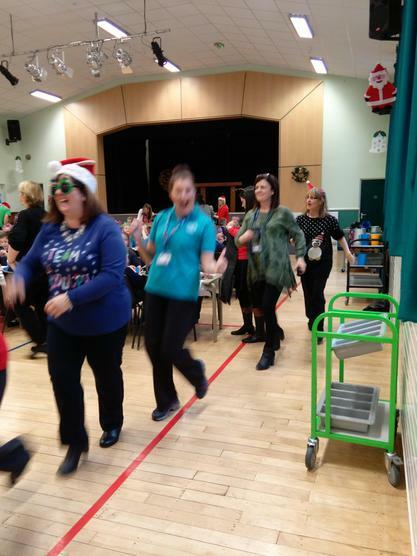 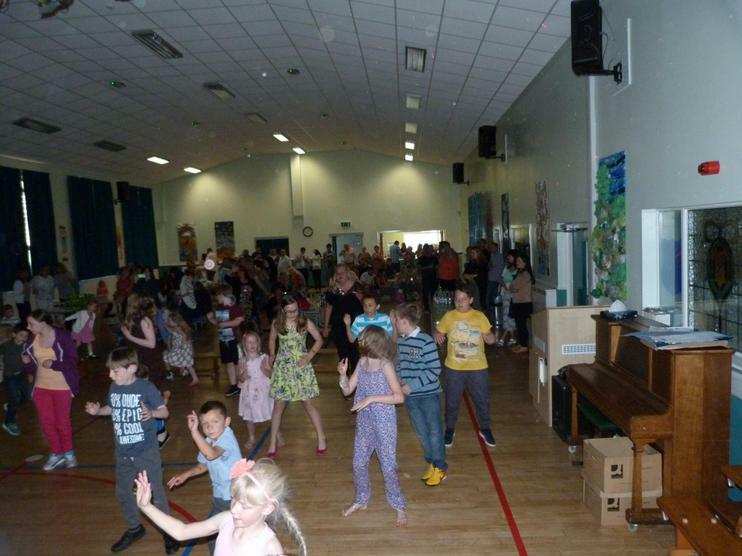 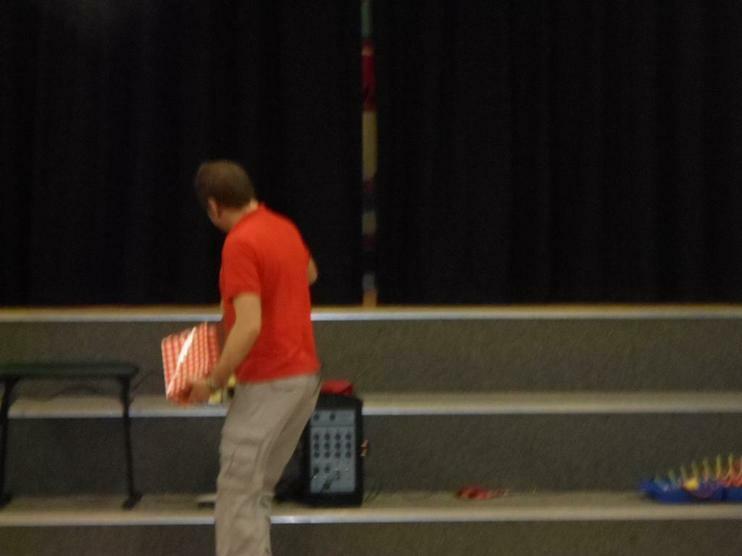 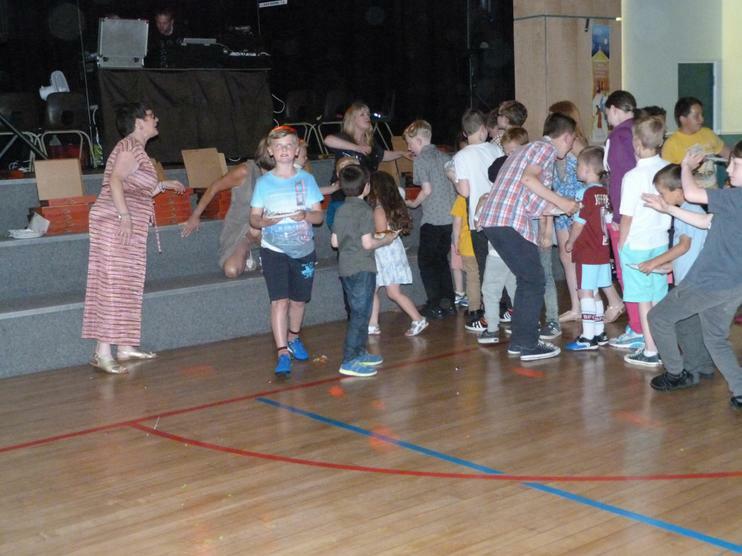 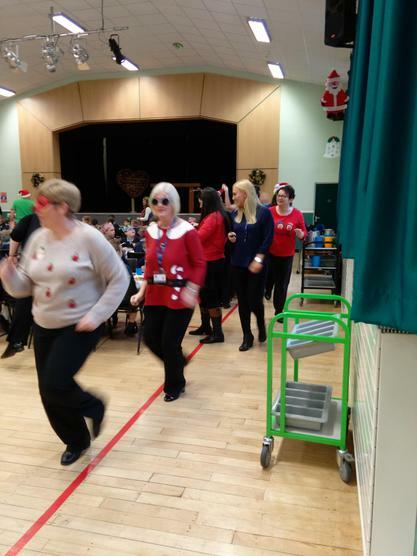 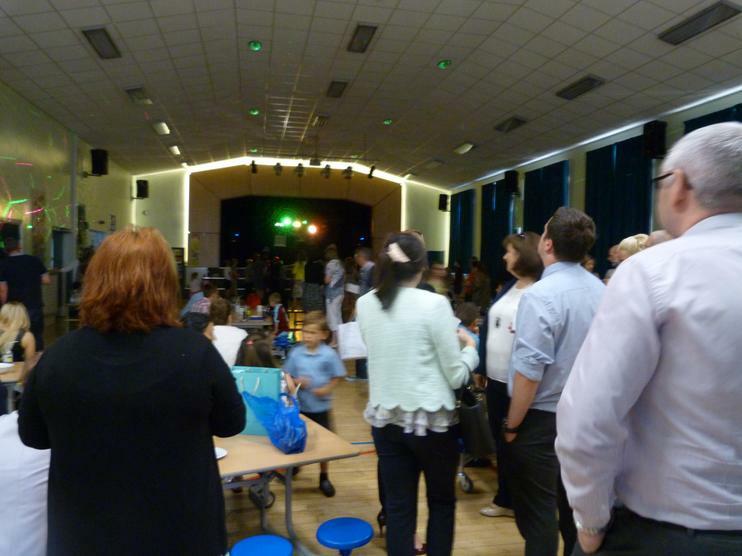 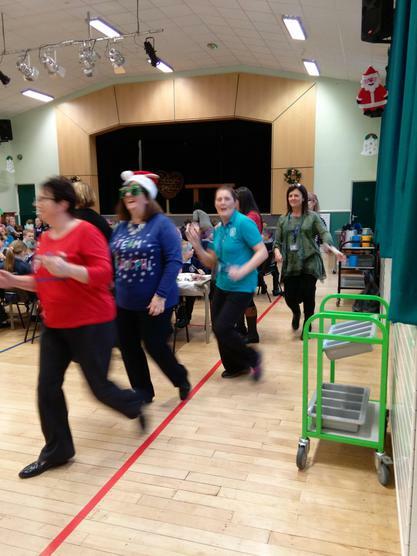 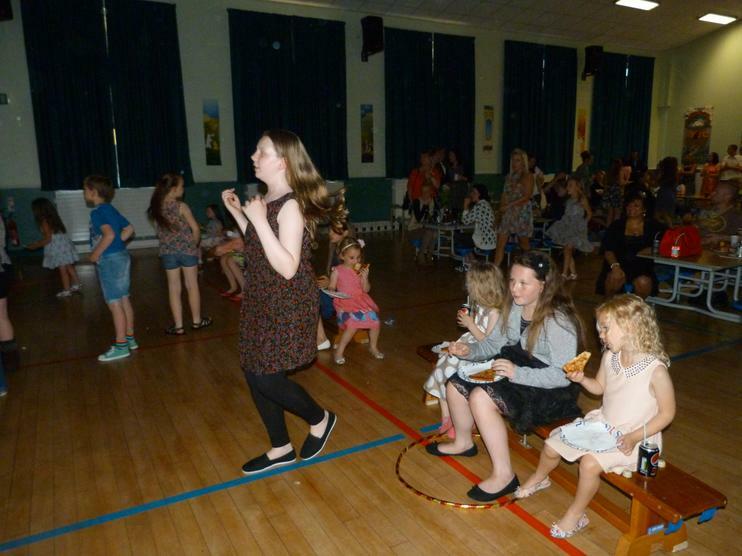 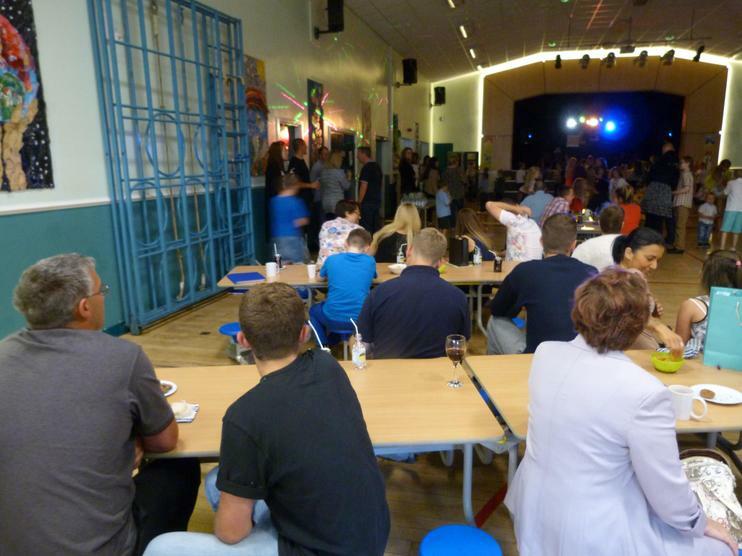 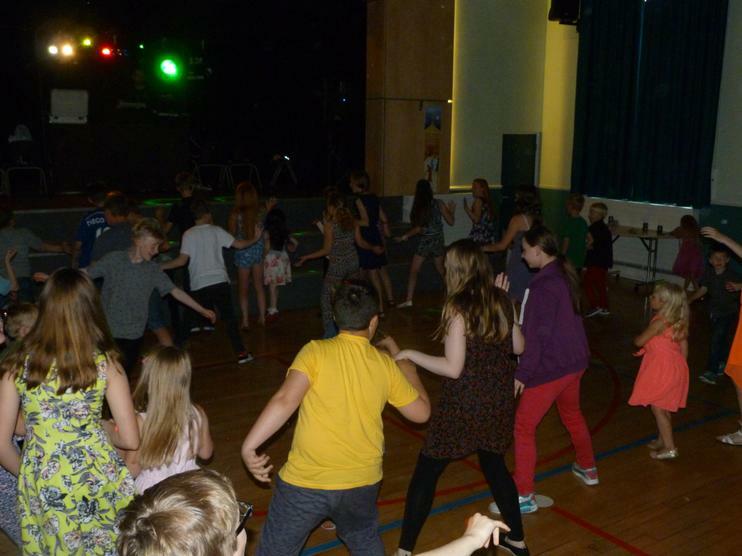 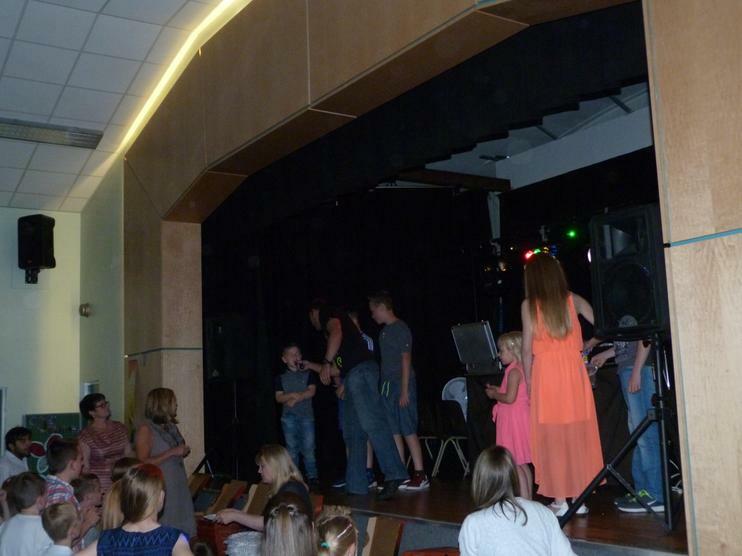 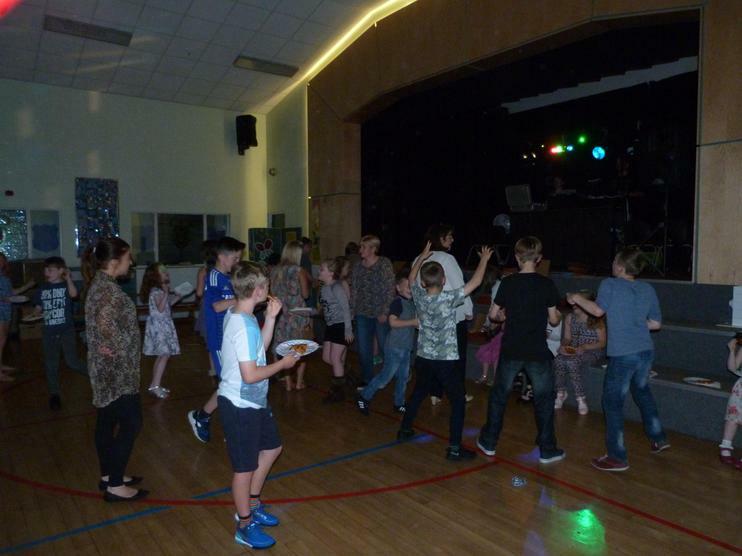 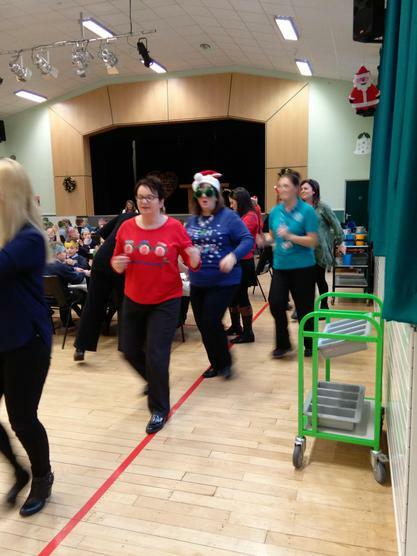 Then all the staff began a 'Flash Mob' in the hall with the whole school joining in to 'We will Rock You'. 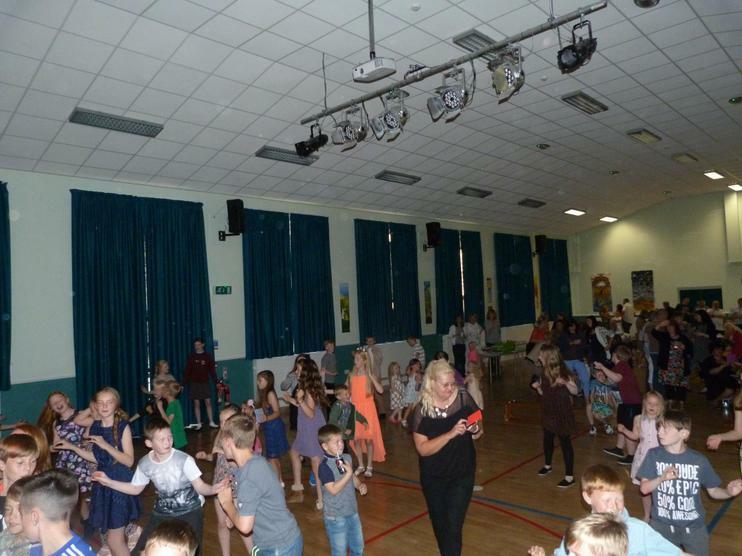 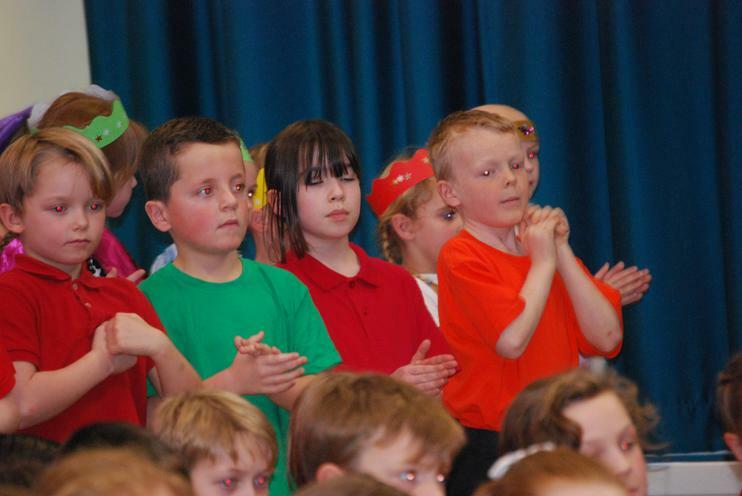 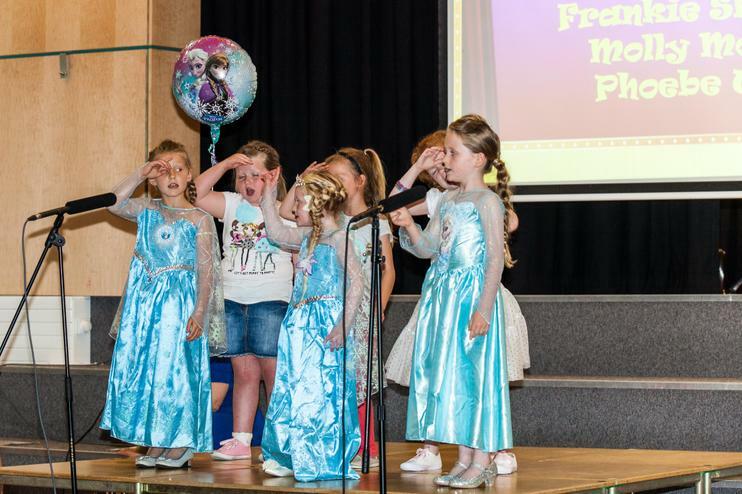 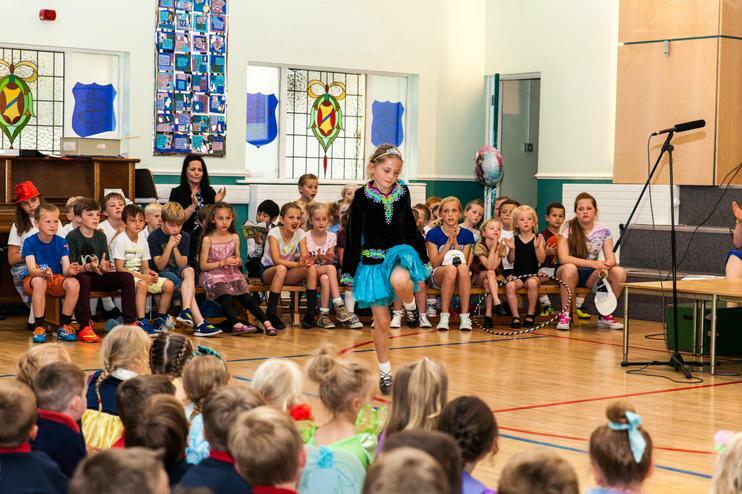 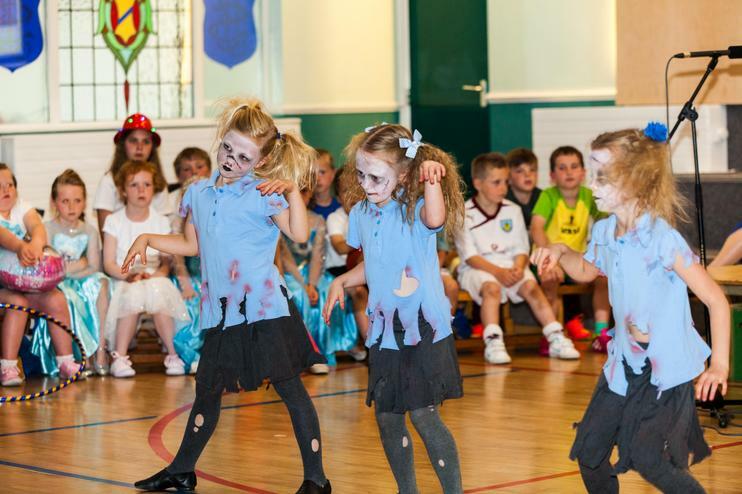 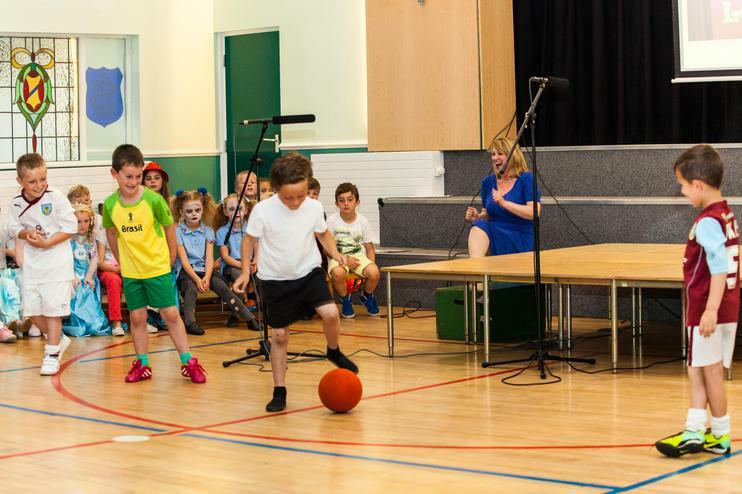 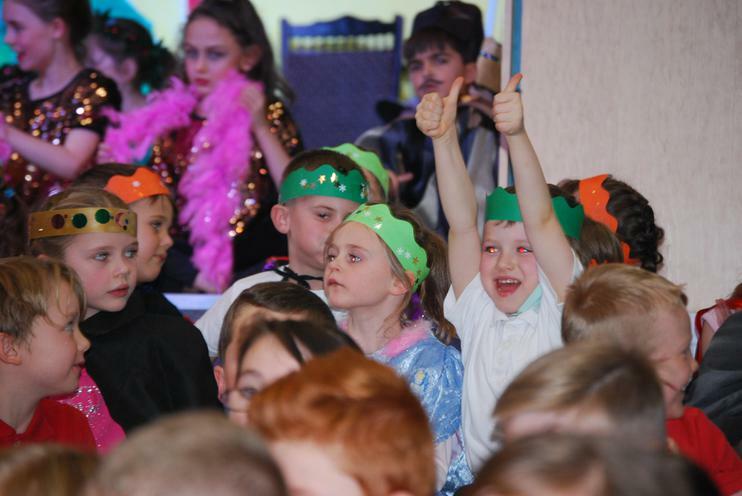 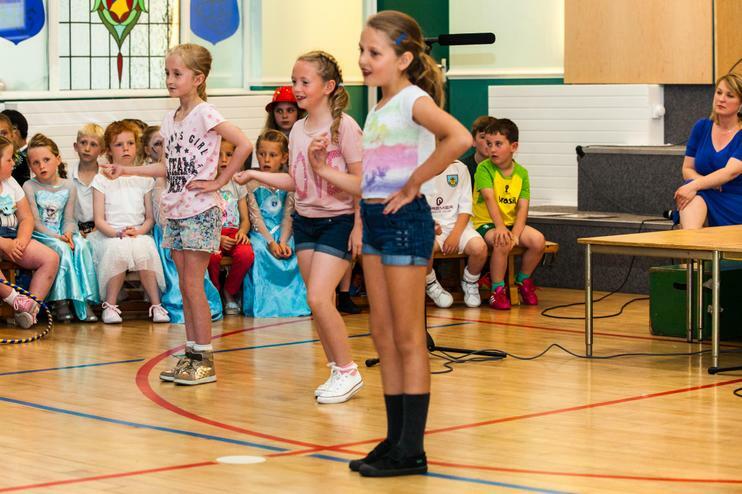 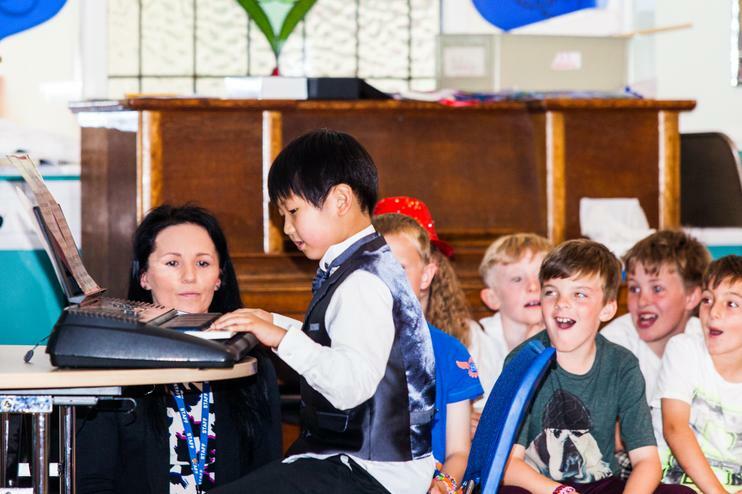 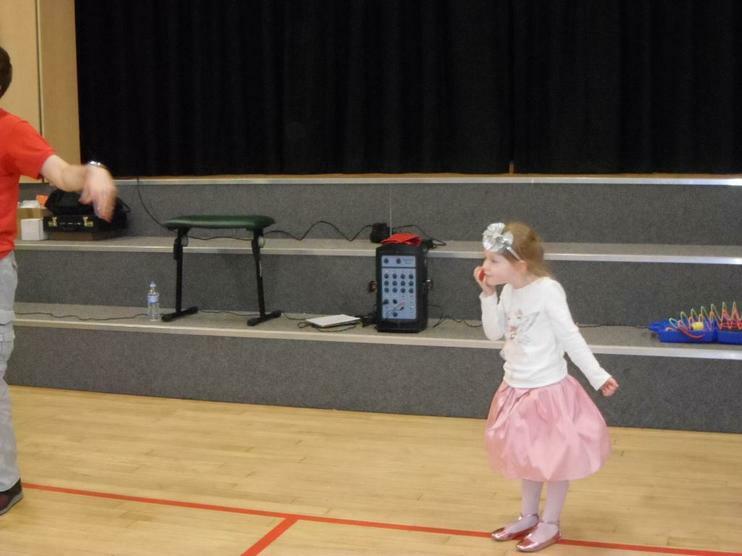 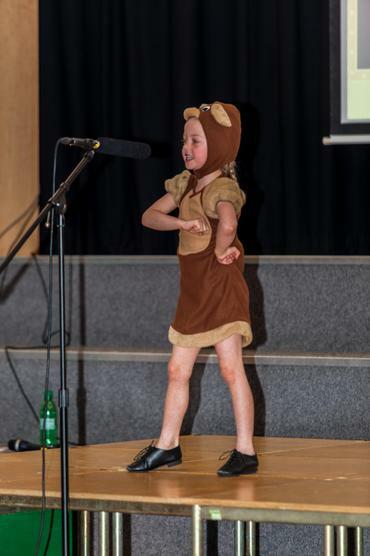 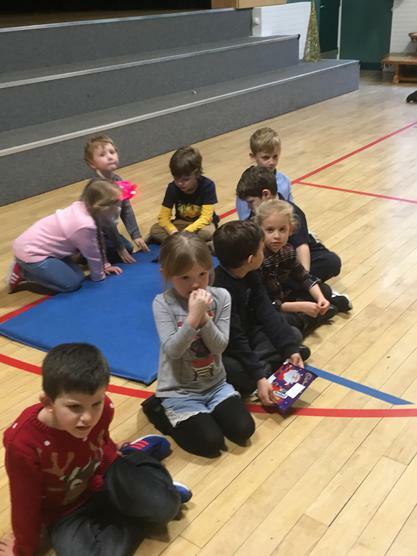 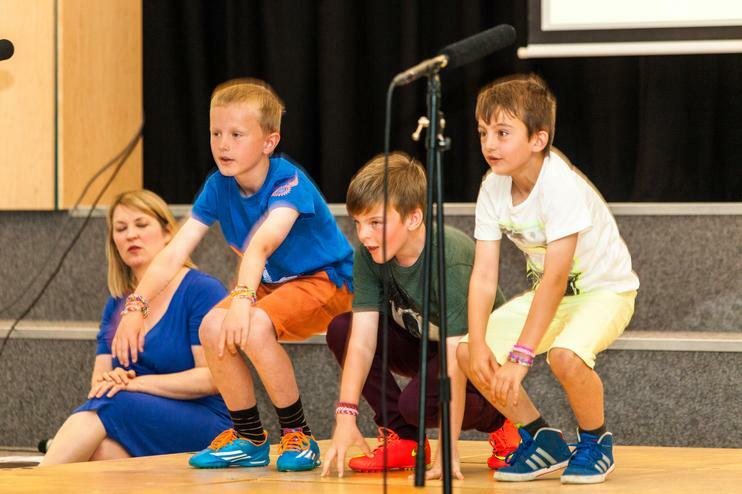 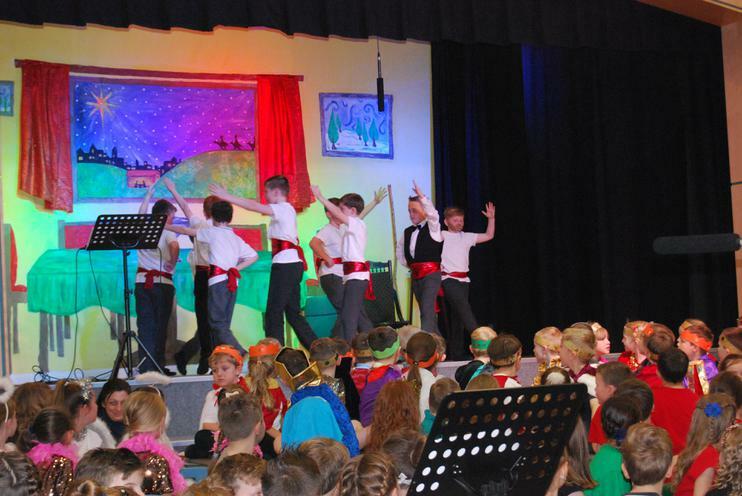 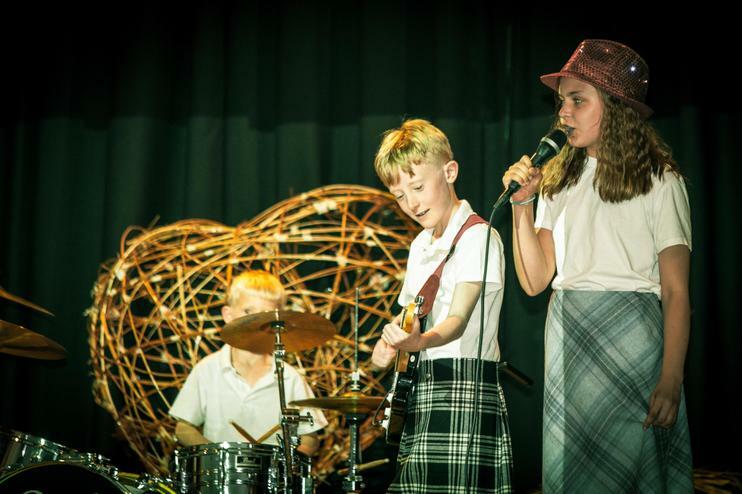 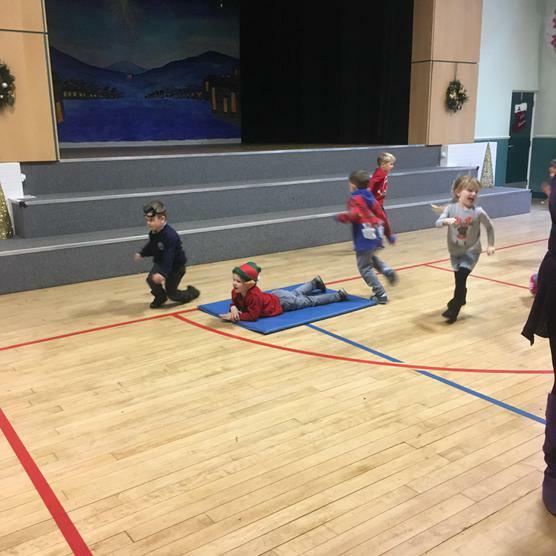 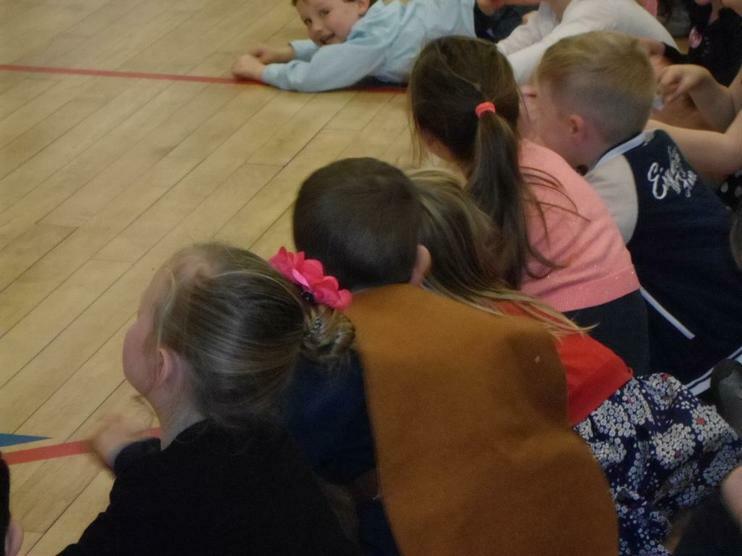 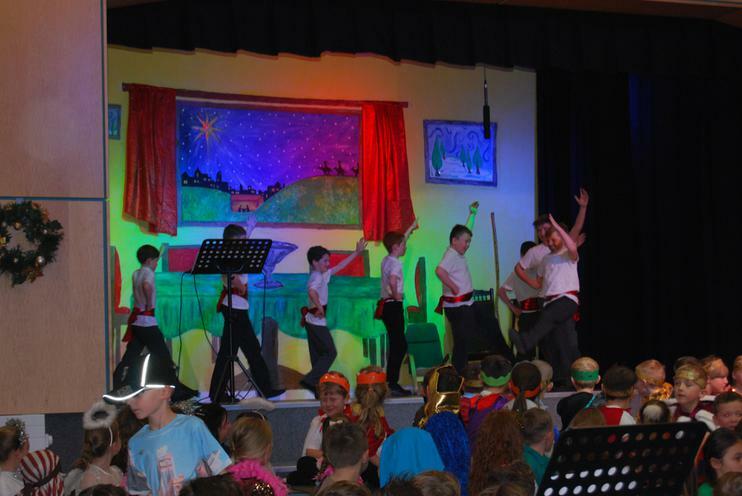 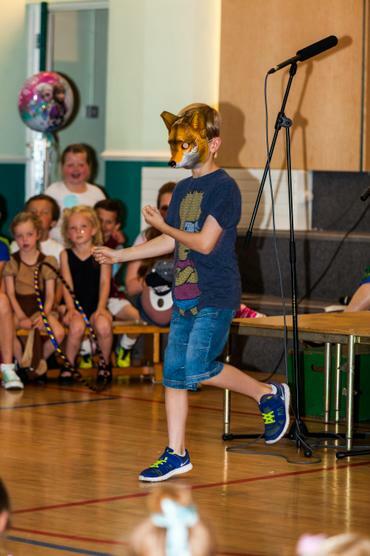 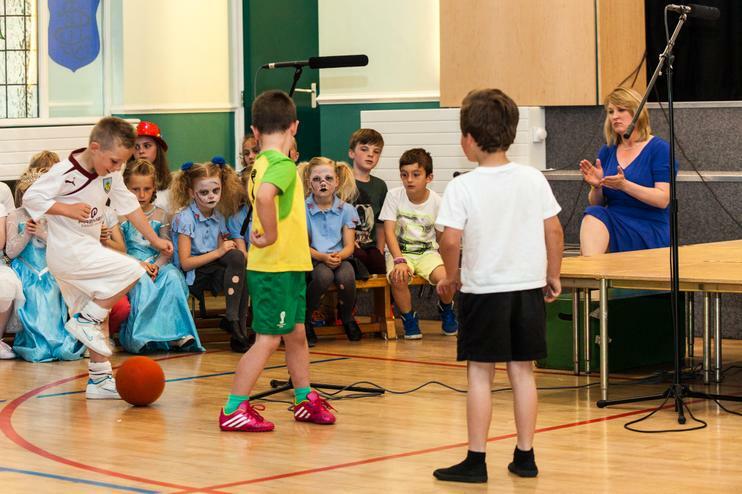 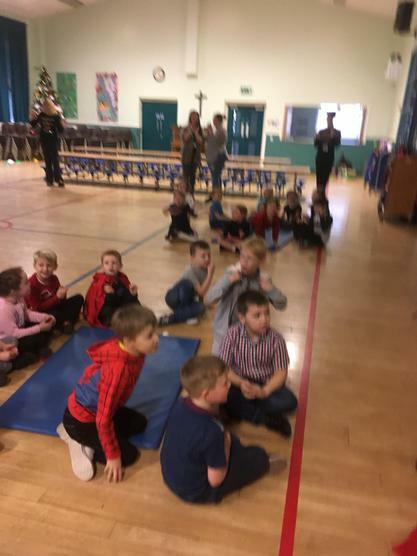 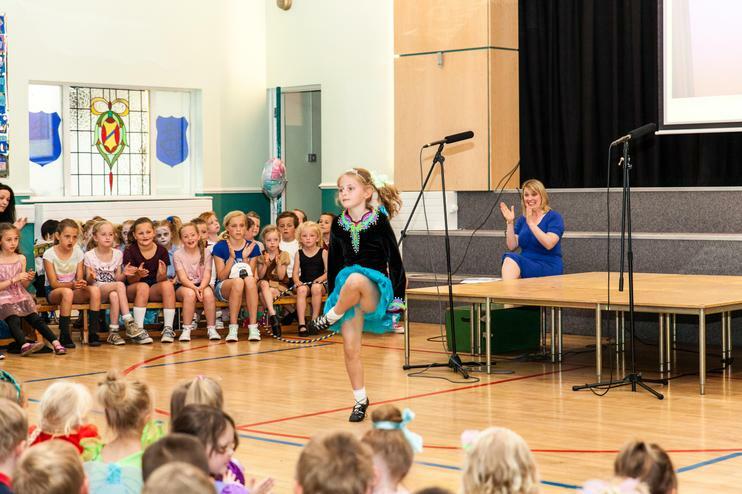 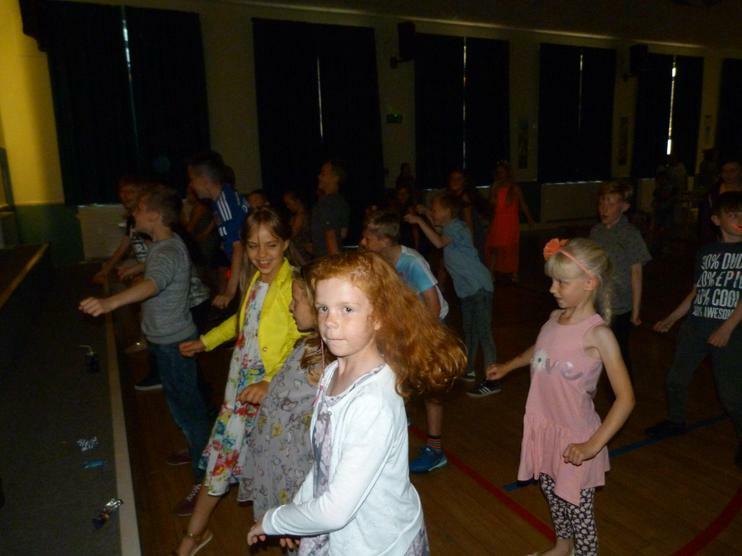 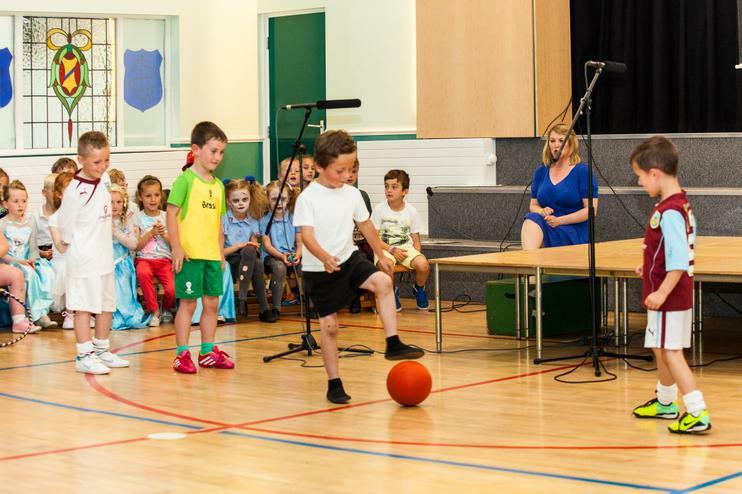 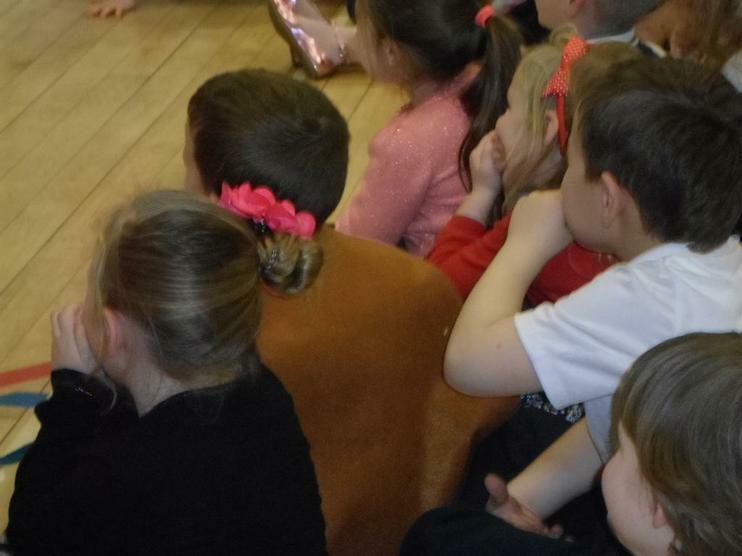 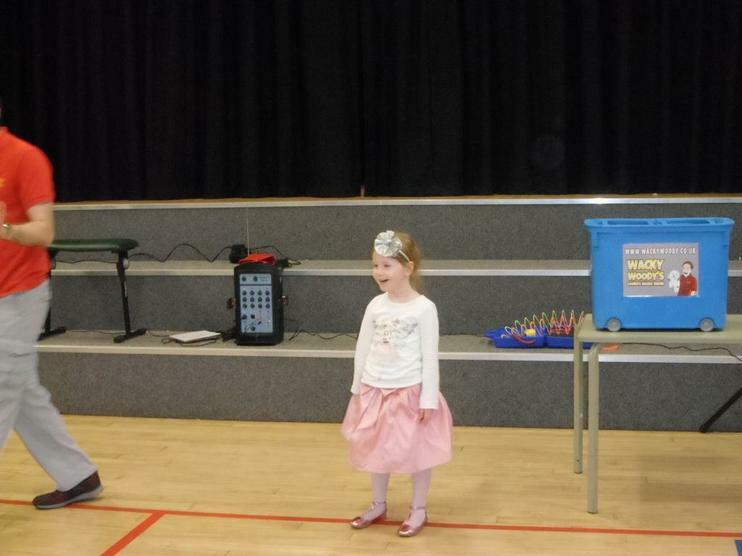 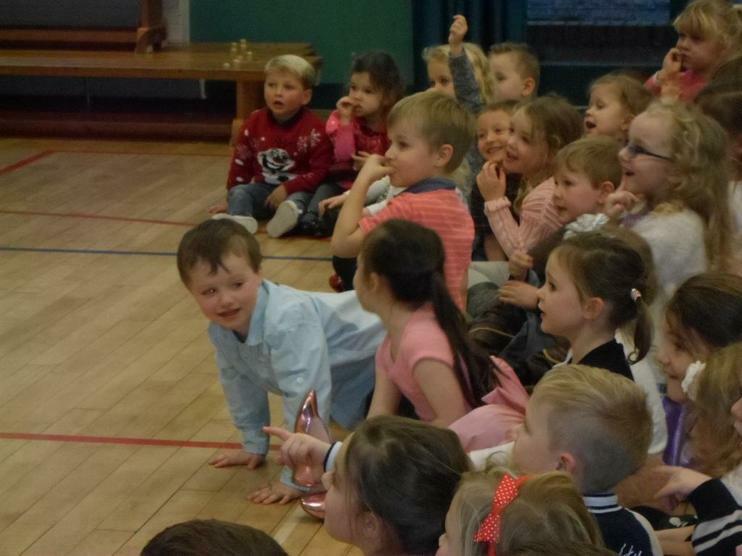 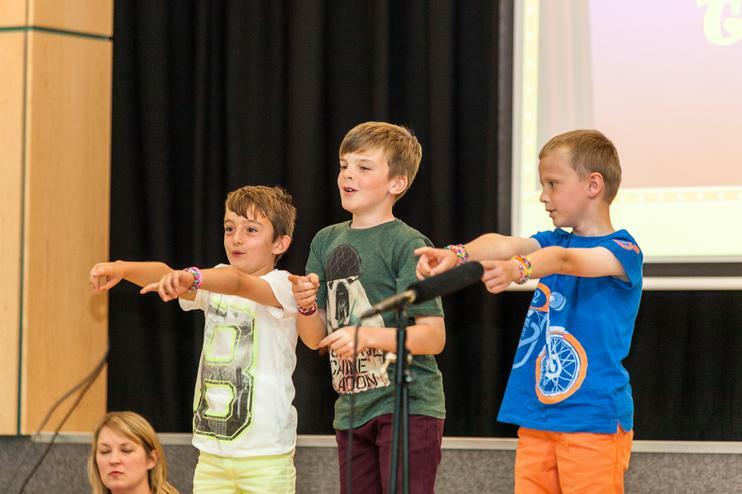 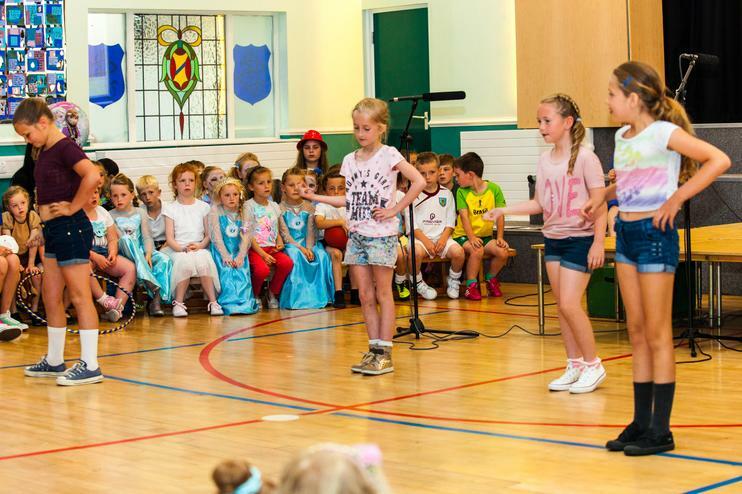 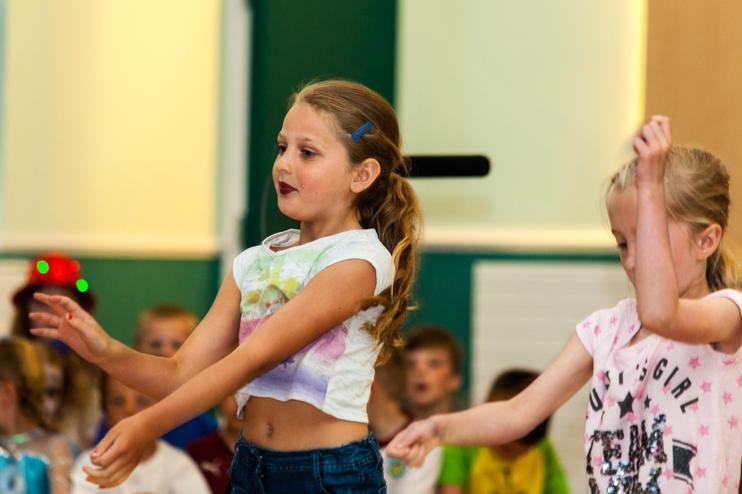 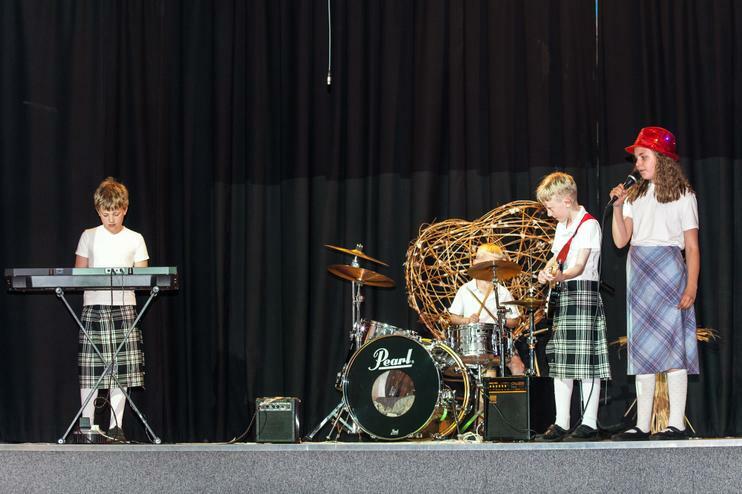 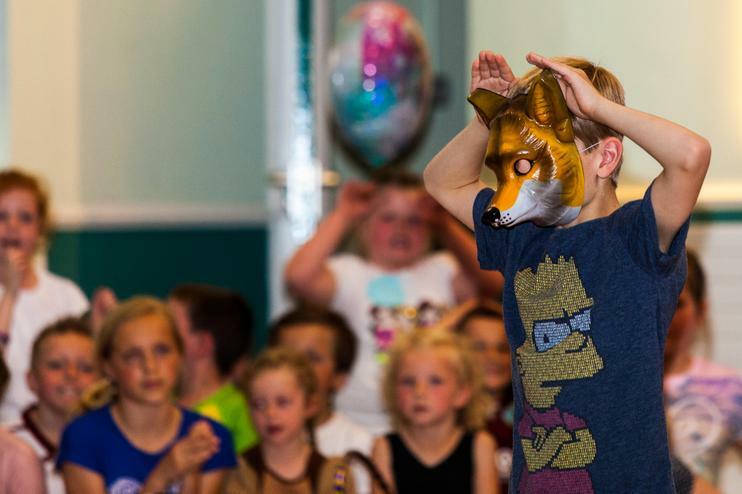 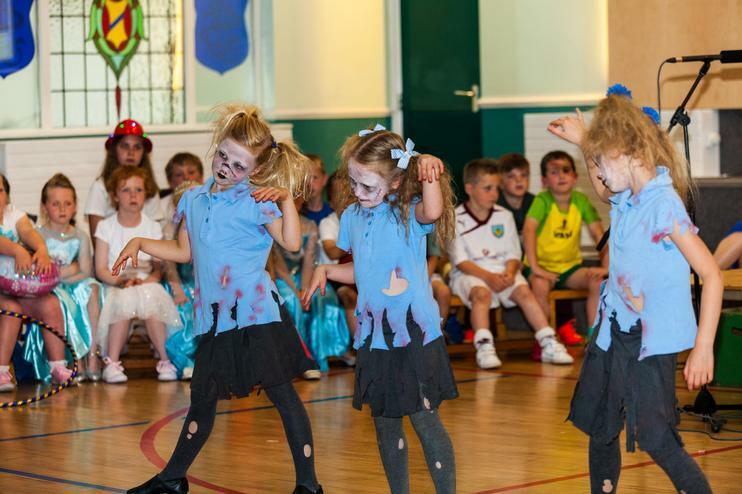 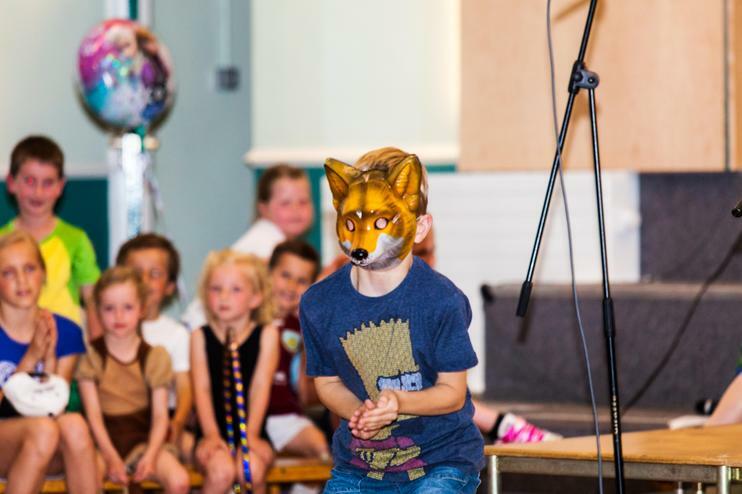 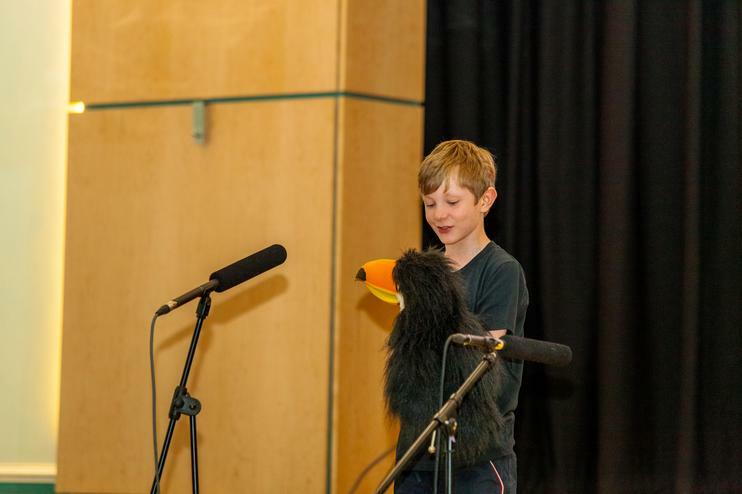 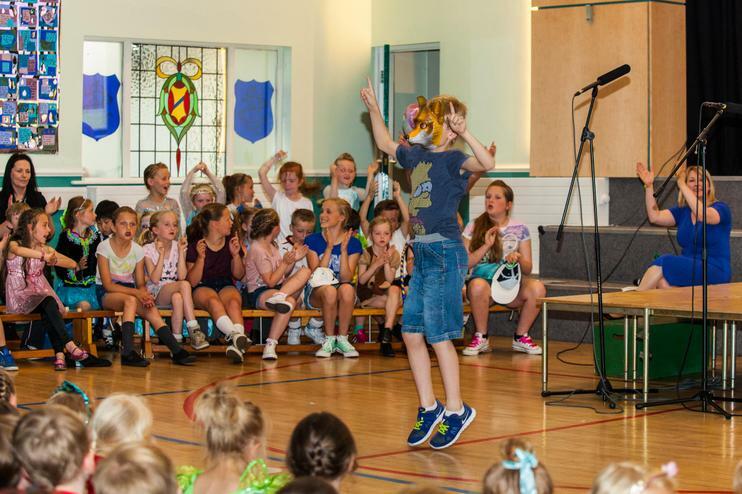 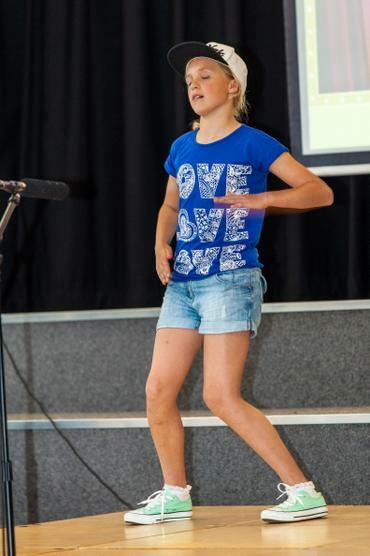 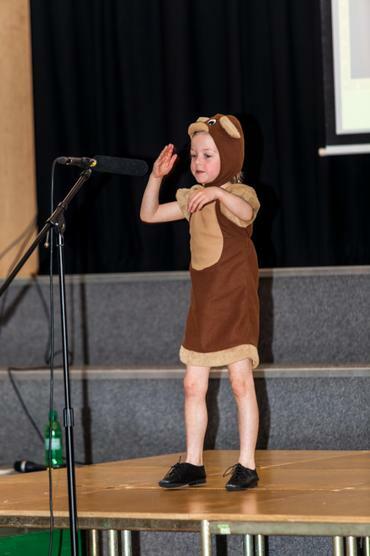 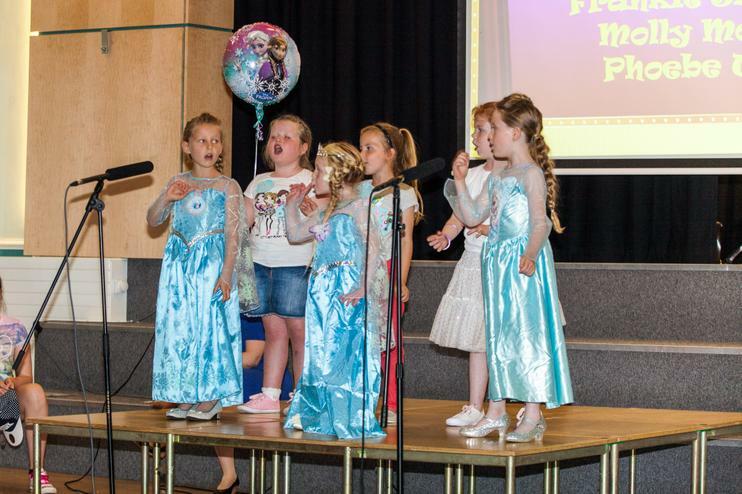 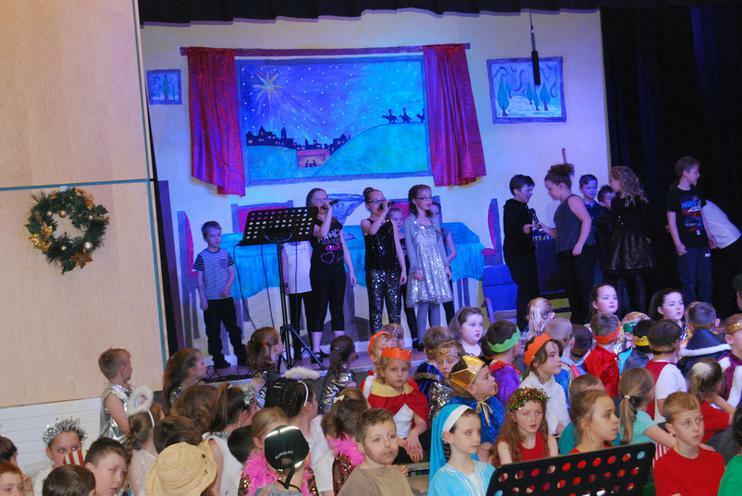 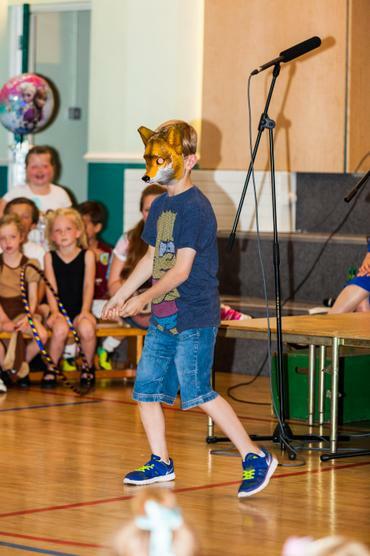 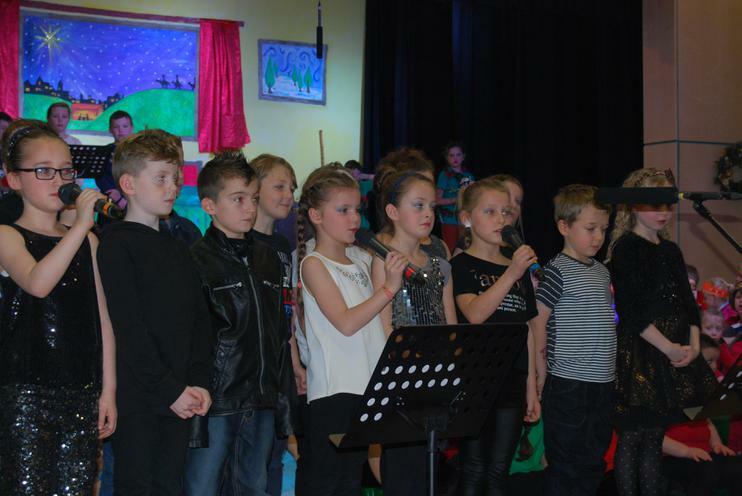 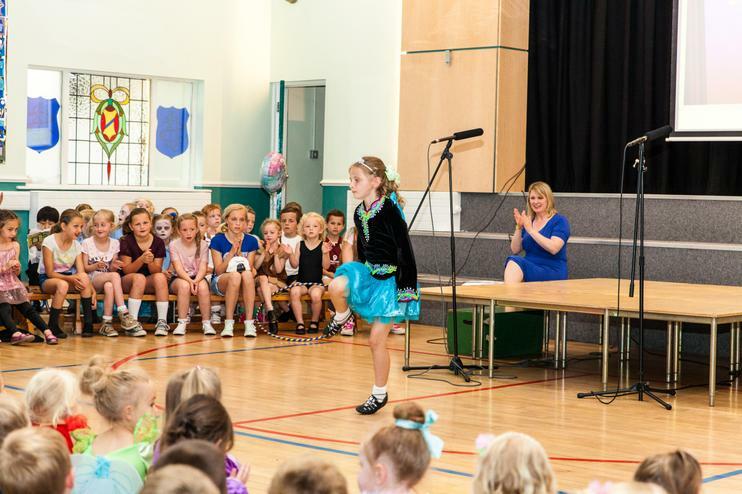 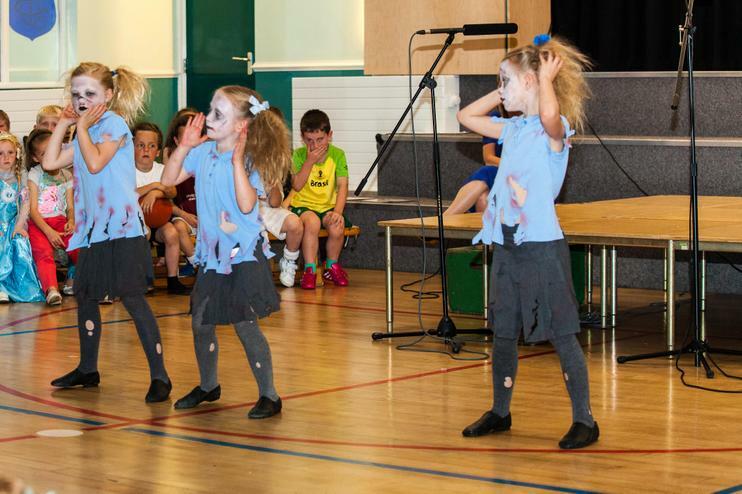 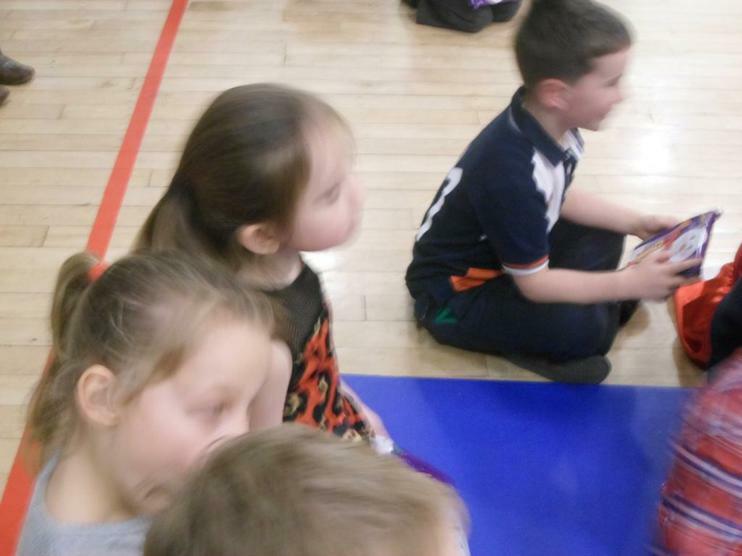 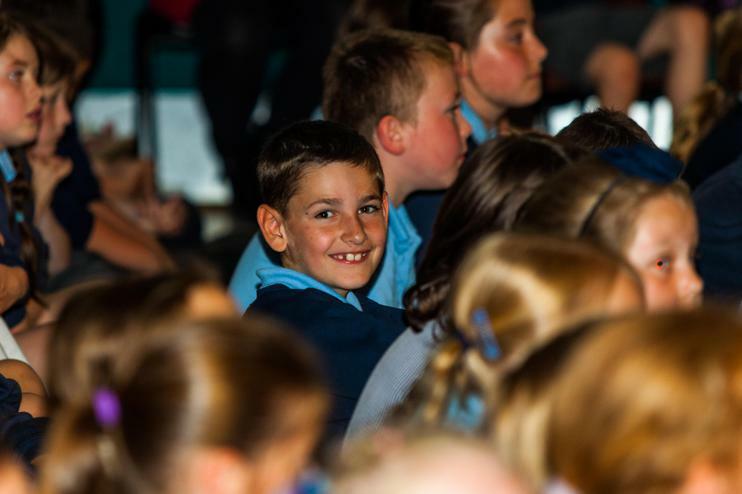 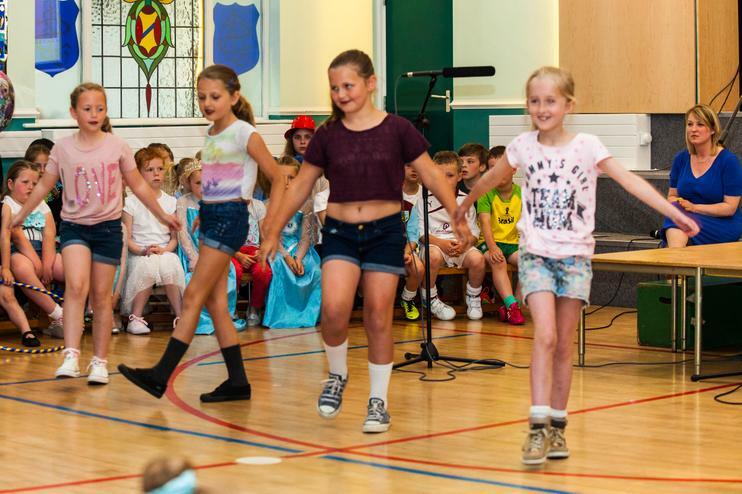 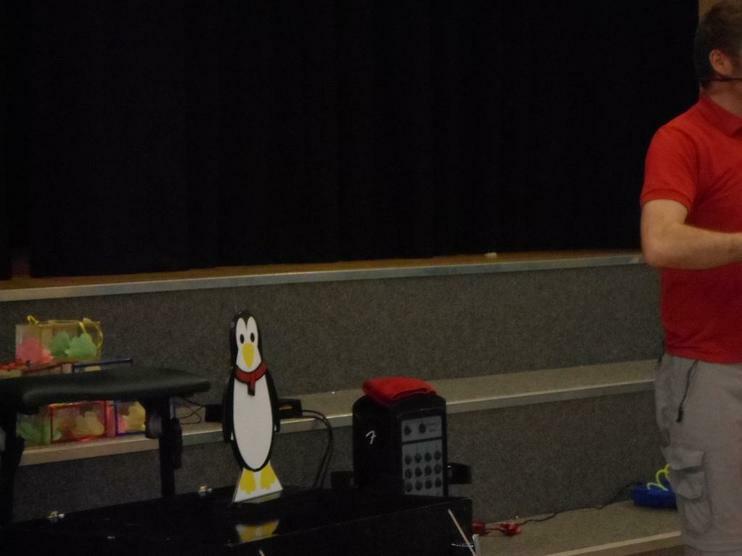 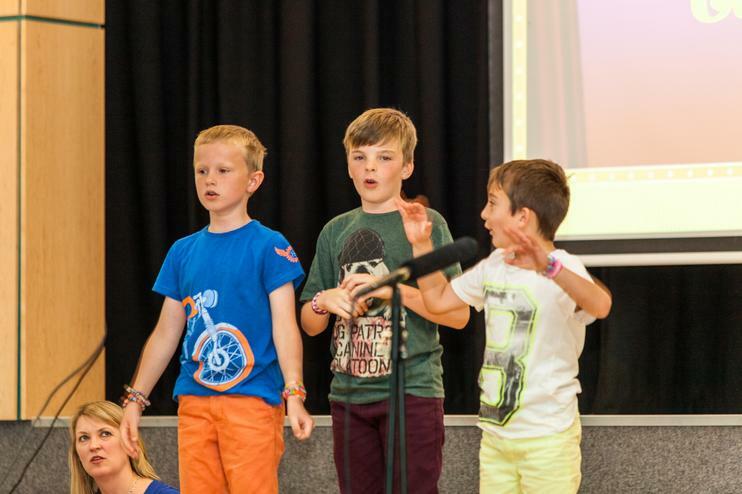 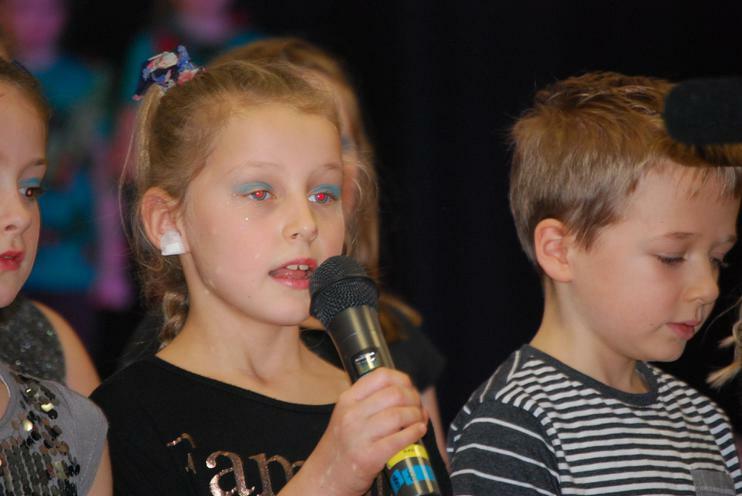 All the children experienced activities based on a music theme such as quizzes, kareoke, music and movement, playing instruments, using ICT to create music, rhythm, and singing our school mission statement to a tune familiar to the whole school, Jambo Bwana. 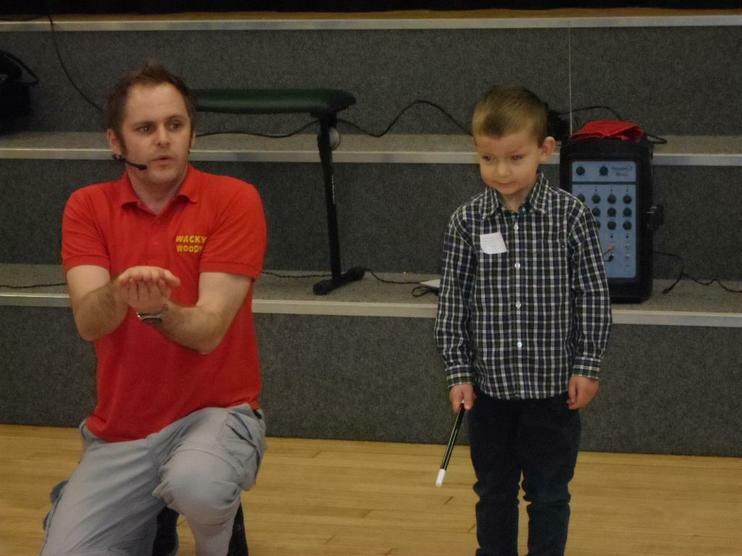 What an amazing end to a magical week at Hogwarts. 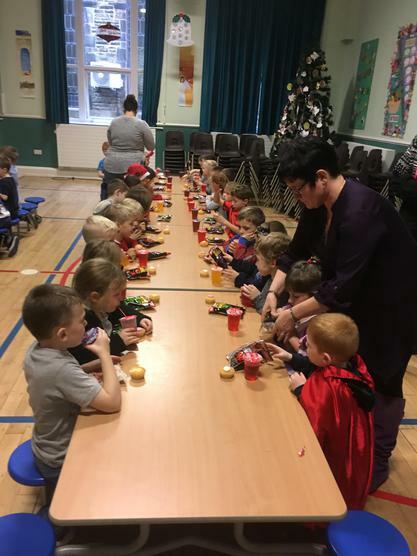 The children have been so busy in their lessons and their parents have been busy at home making sure their children had a cape each day and the pumpkins were outstanding! 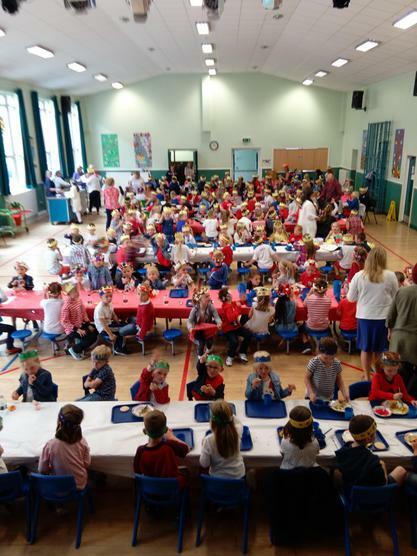 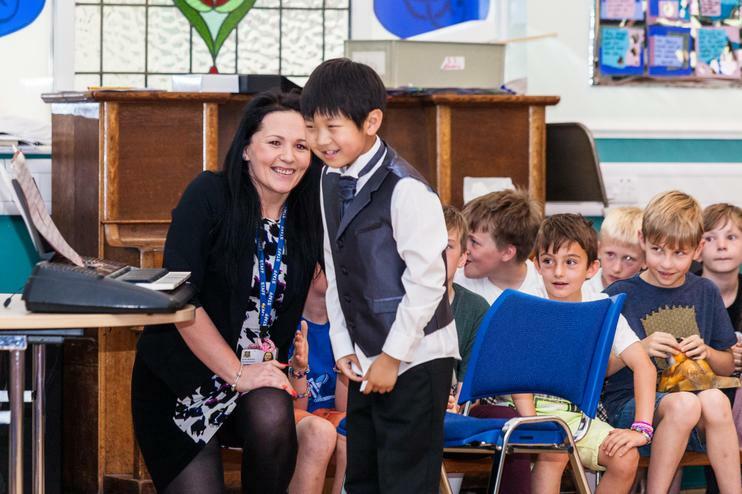 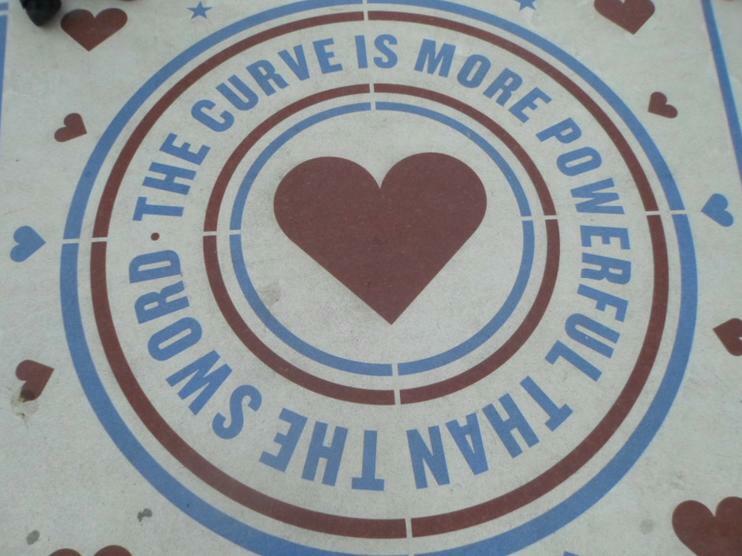 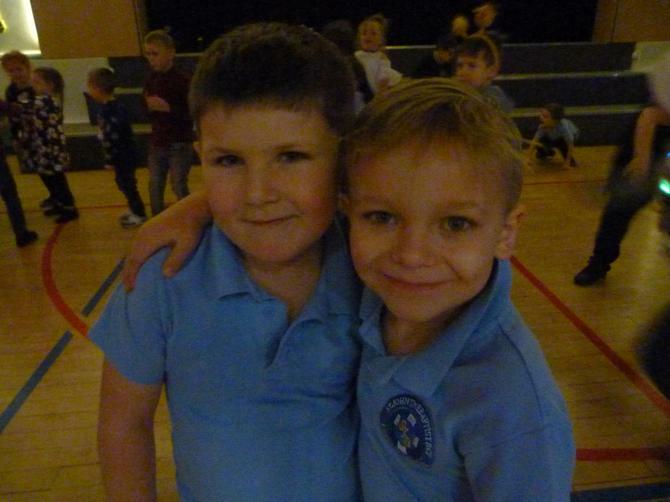 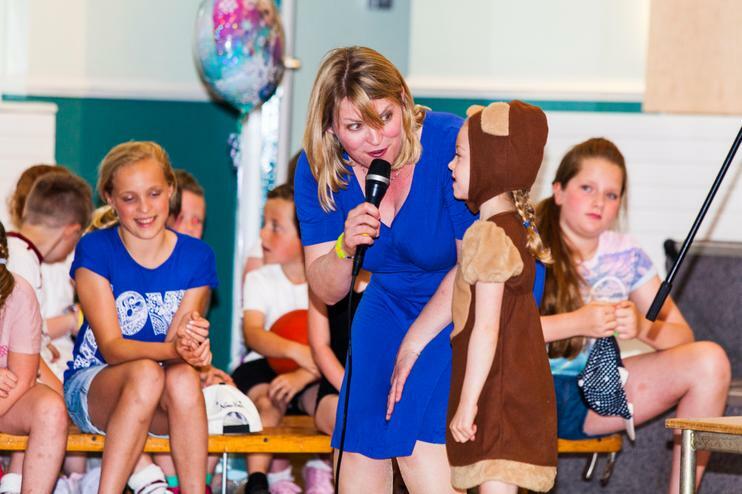 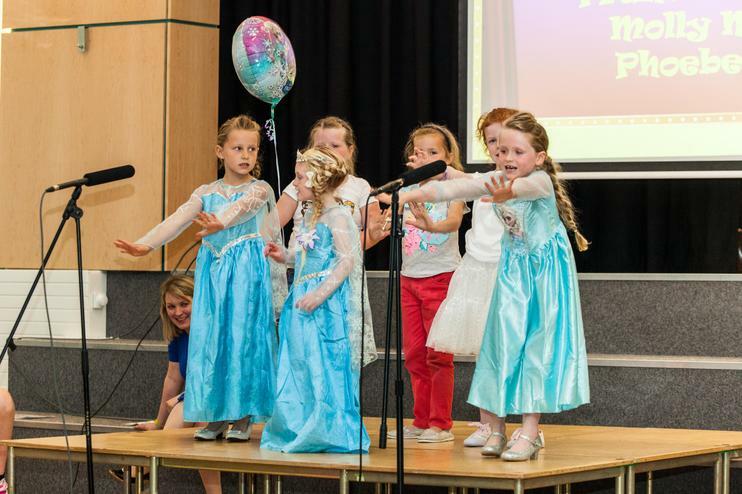 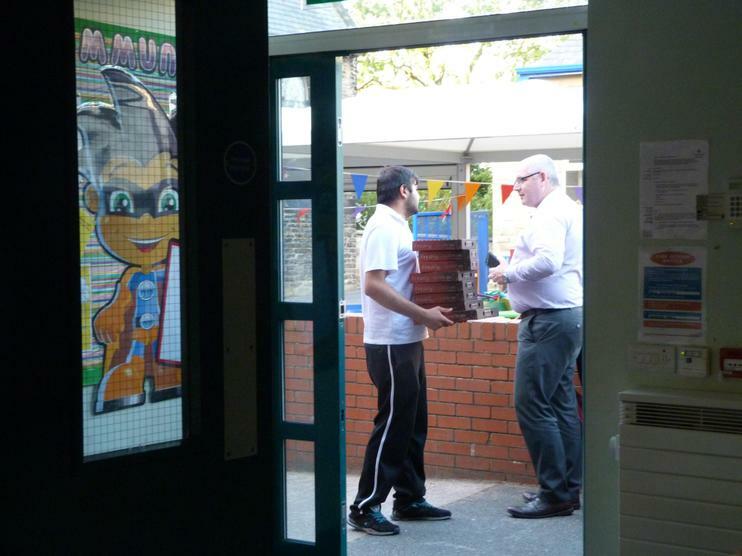 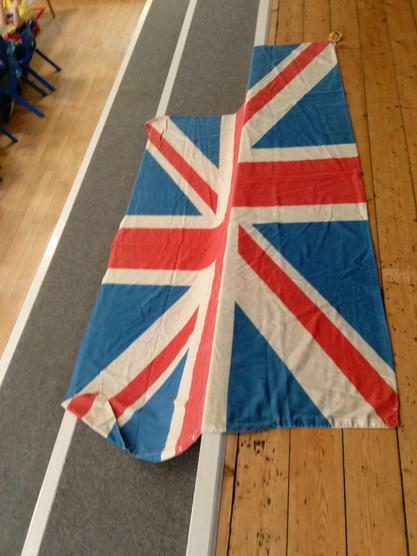 Thank you to everyone who has been involved in a very busy but very special week at school. 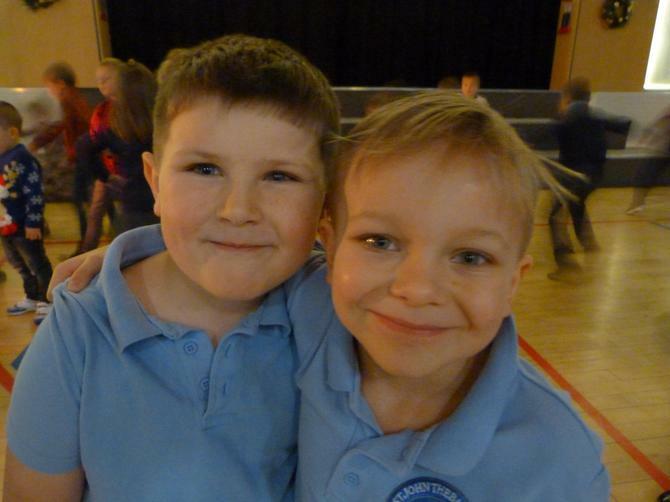 Don't forget to look on each individual class page to see what each class has been up to. 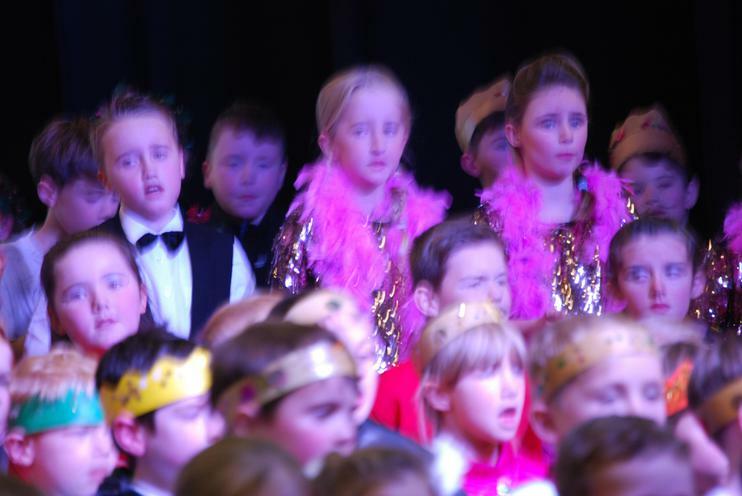 Here is a clip from the final song. 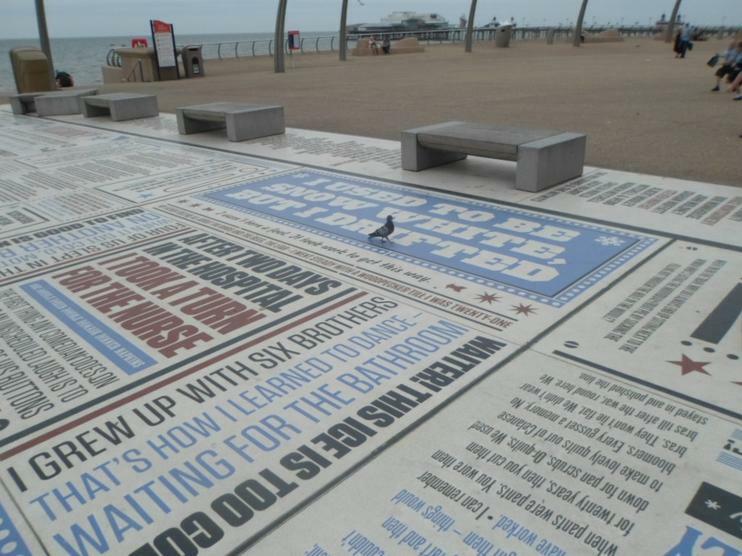 Harry Potter in 99 seconds...it just took us a bit longer! 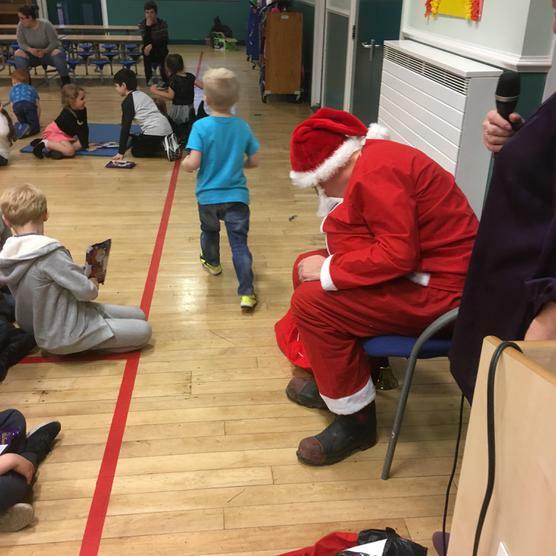 The final duel between good and bad.